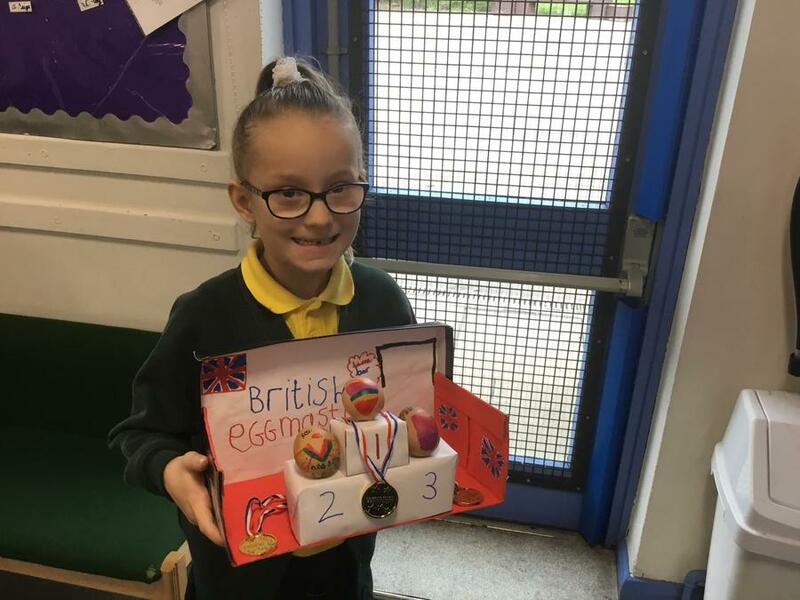 Friday 5th April 2019 - Egg factor entries. 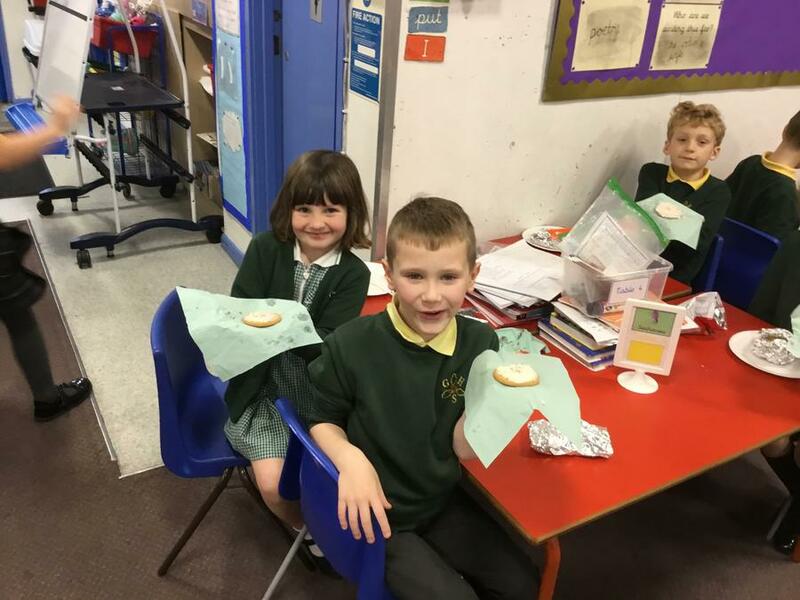 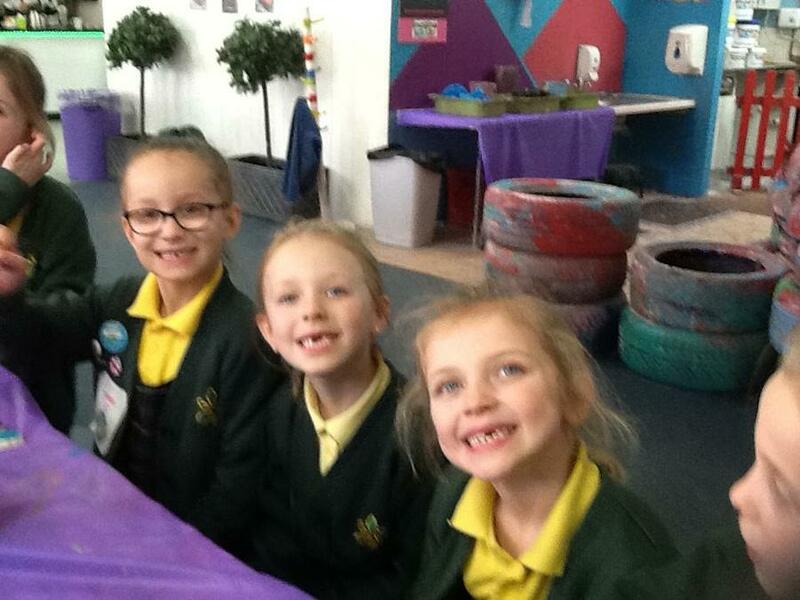 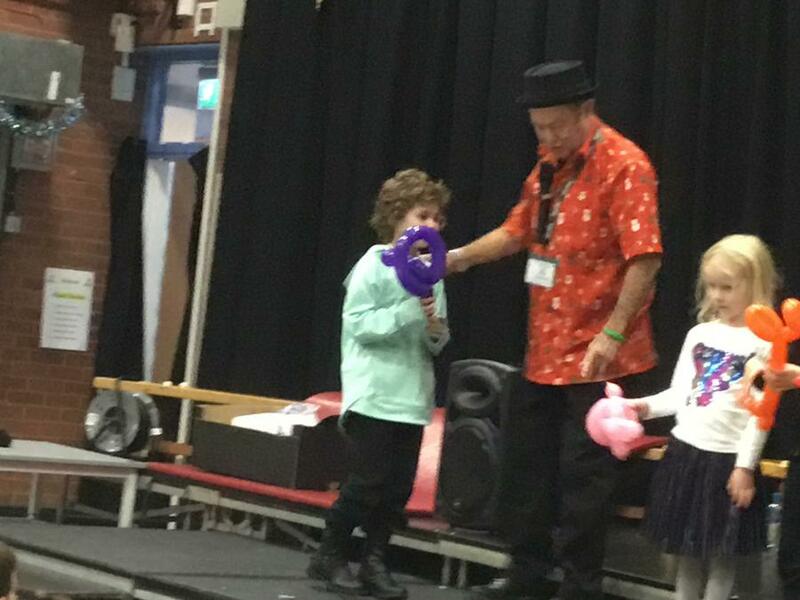 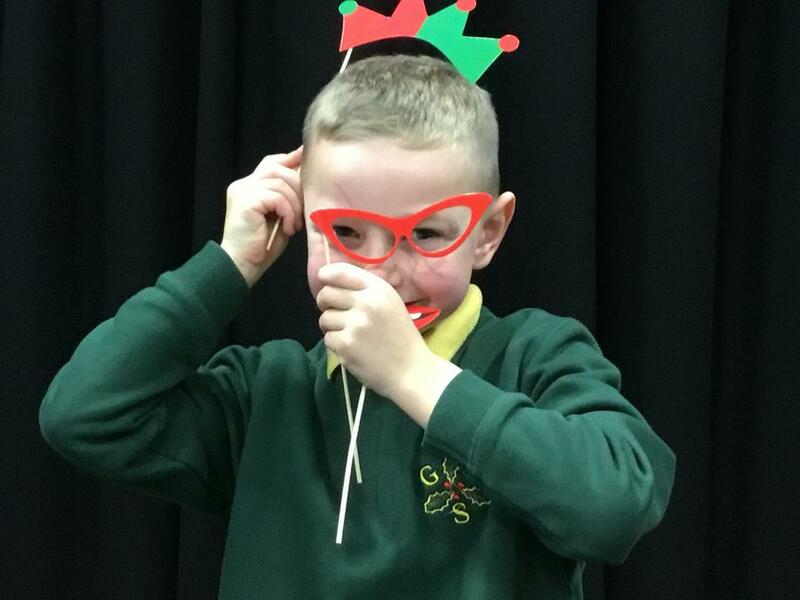 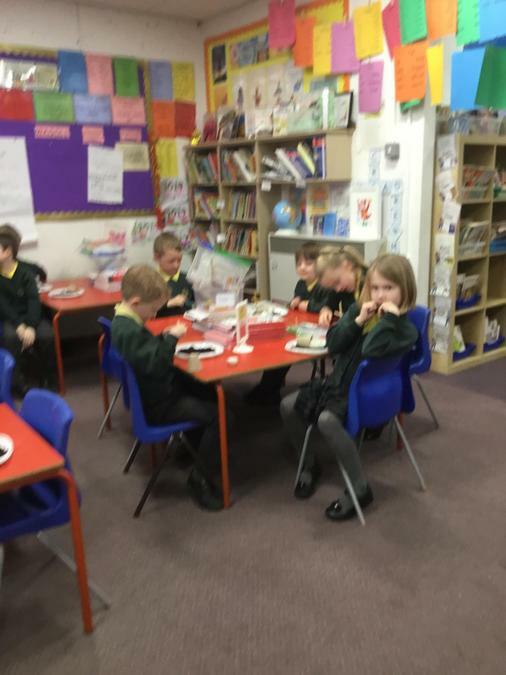 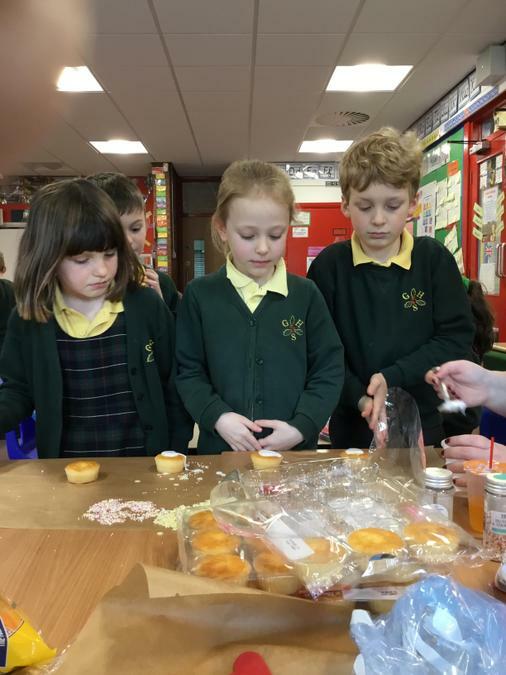 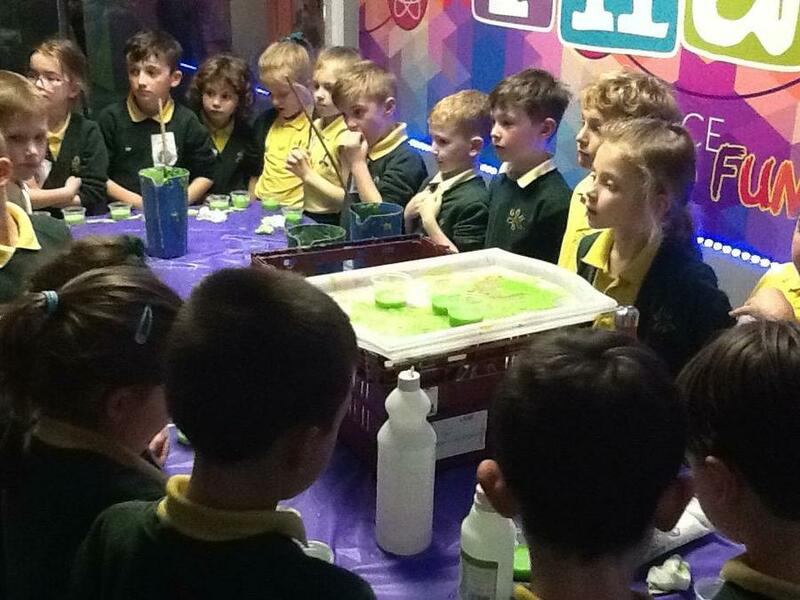 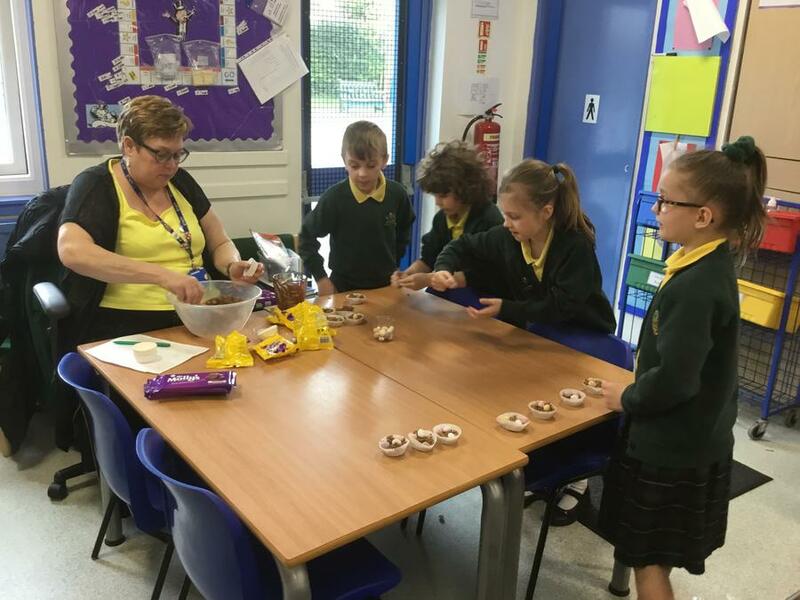 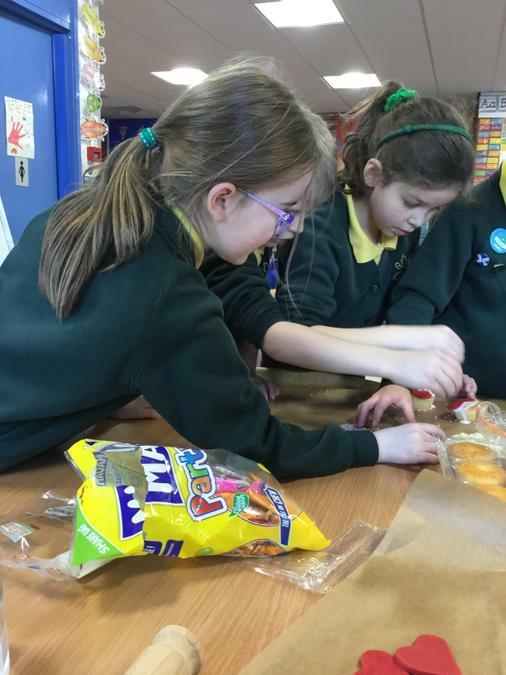 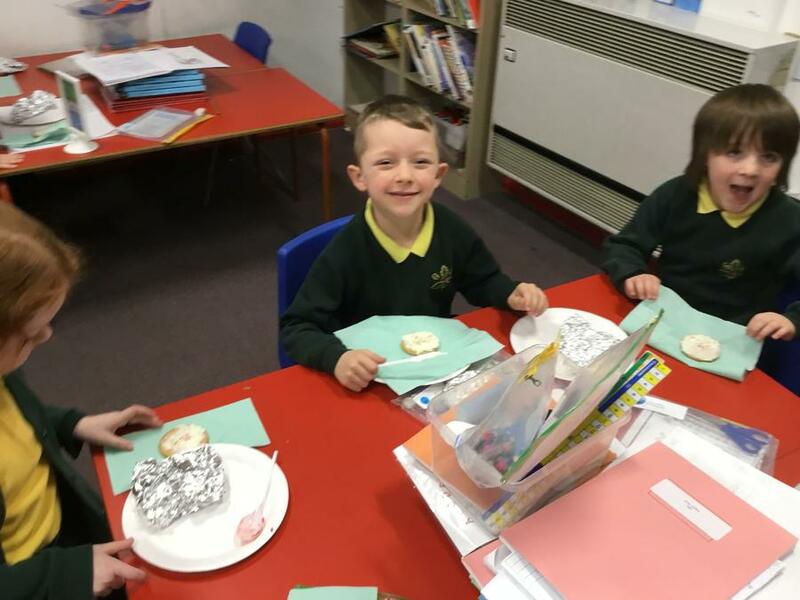 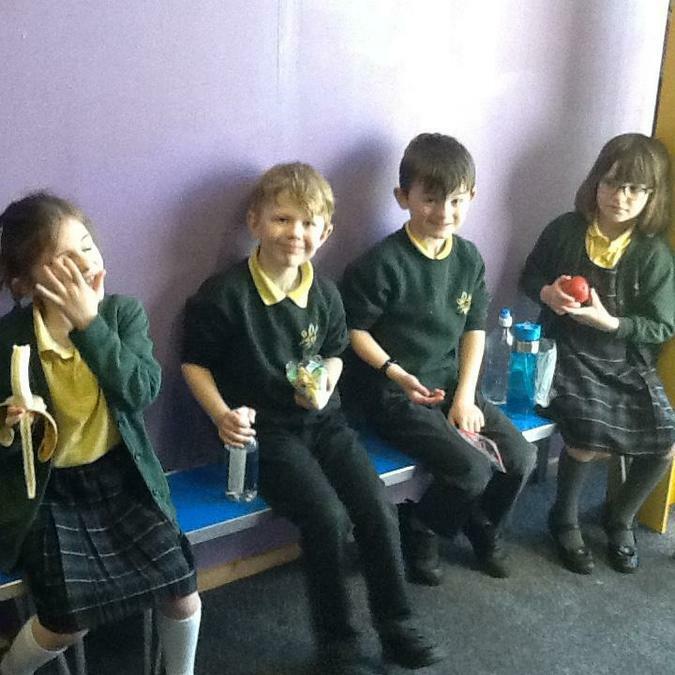 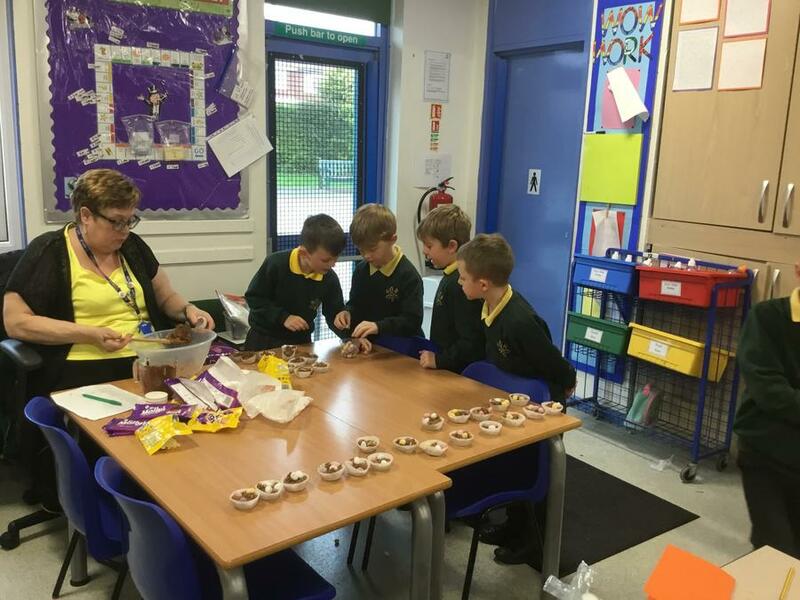 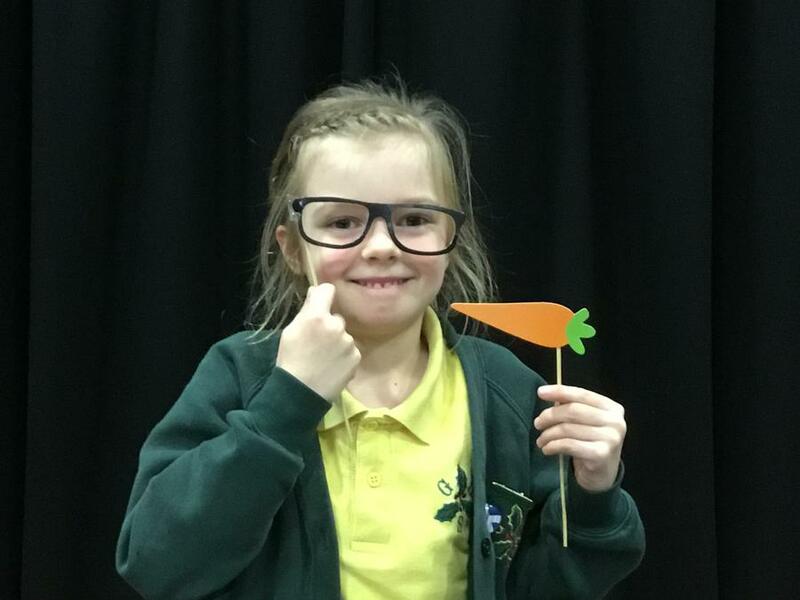 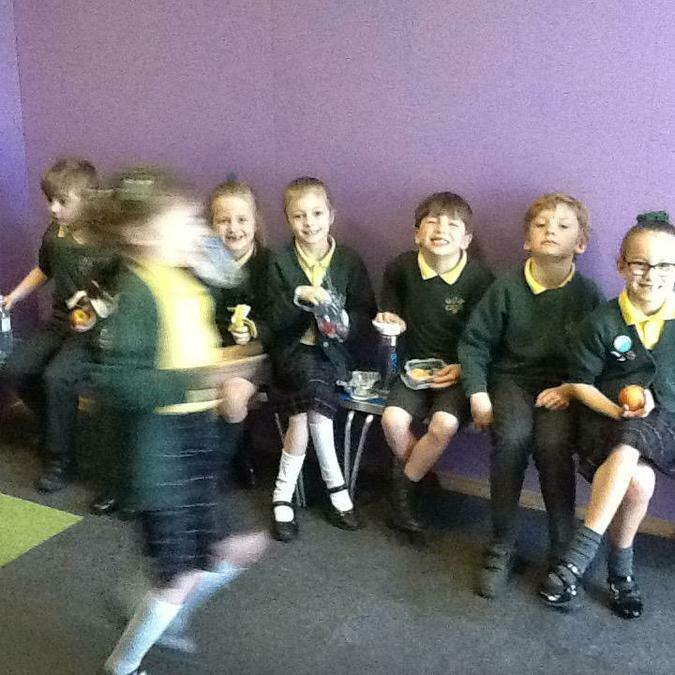 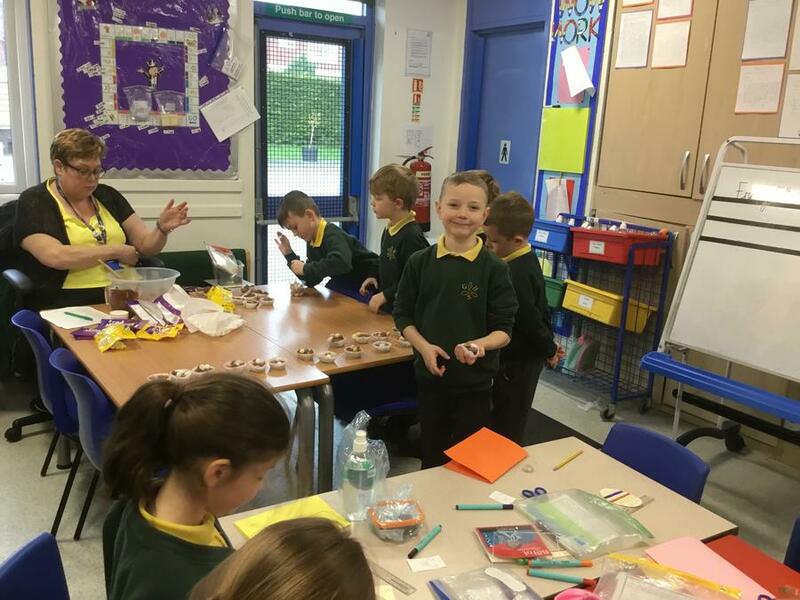 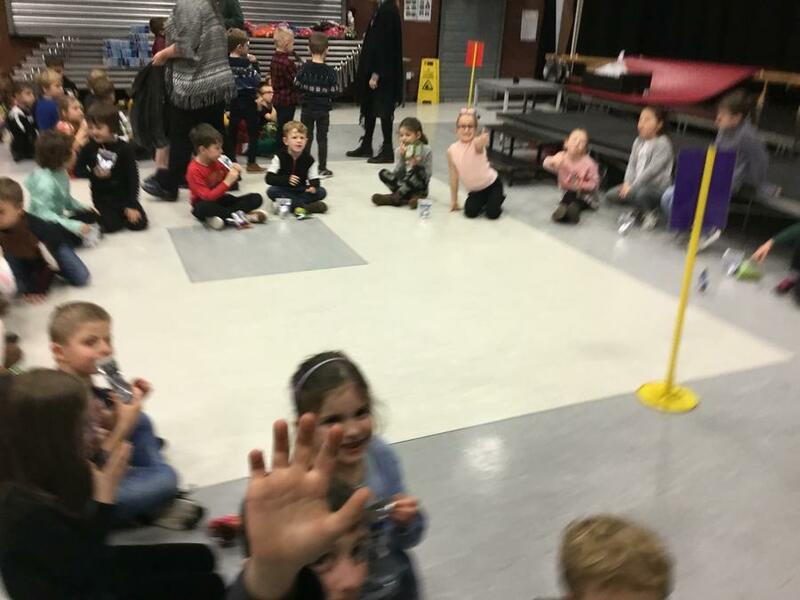 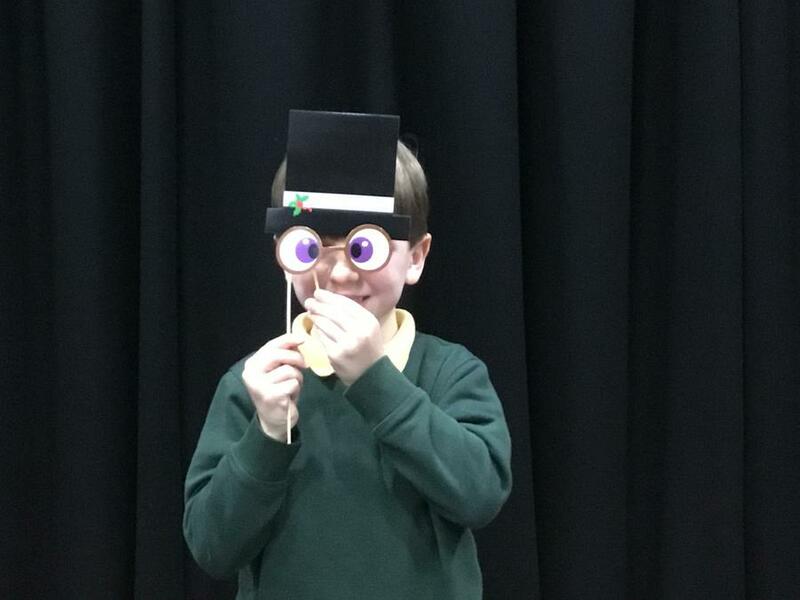 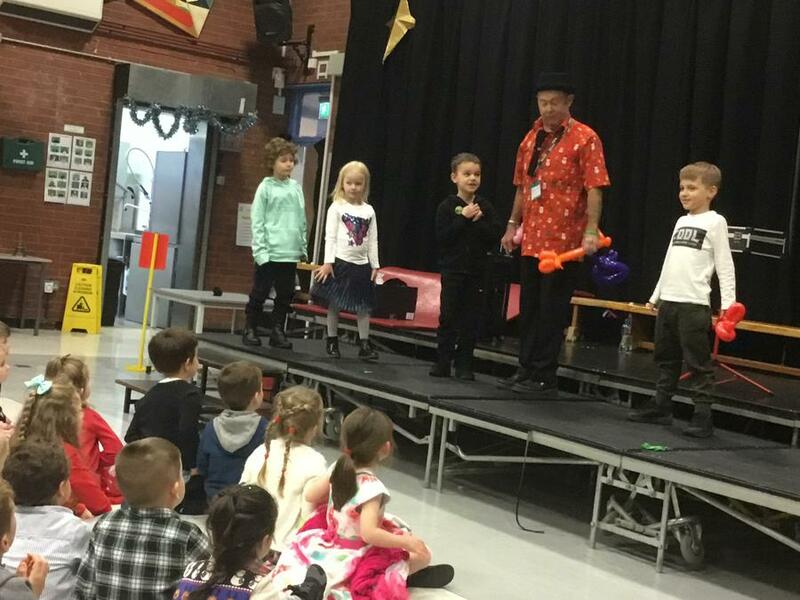 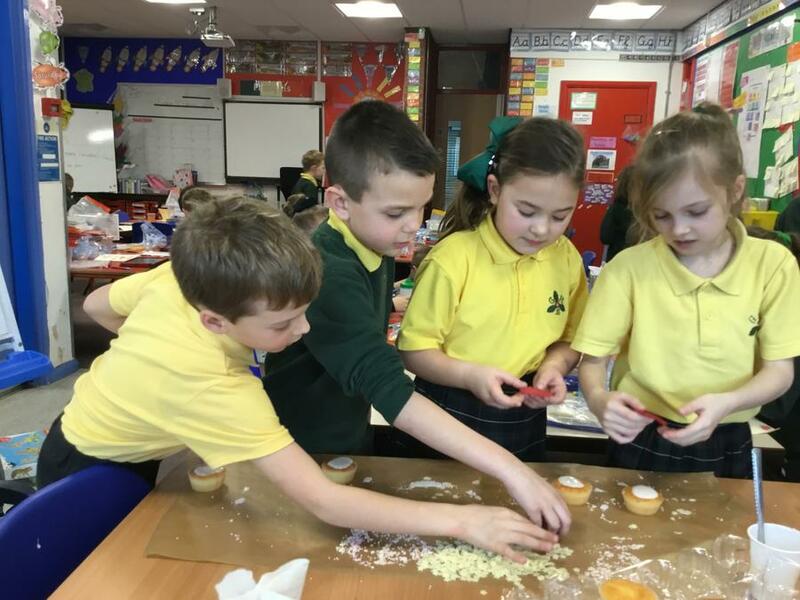 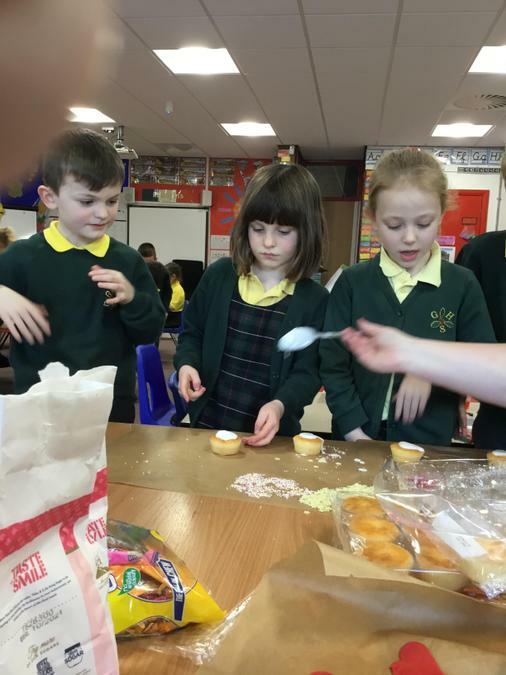 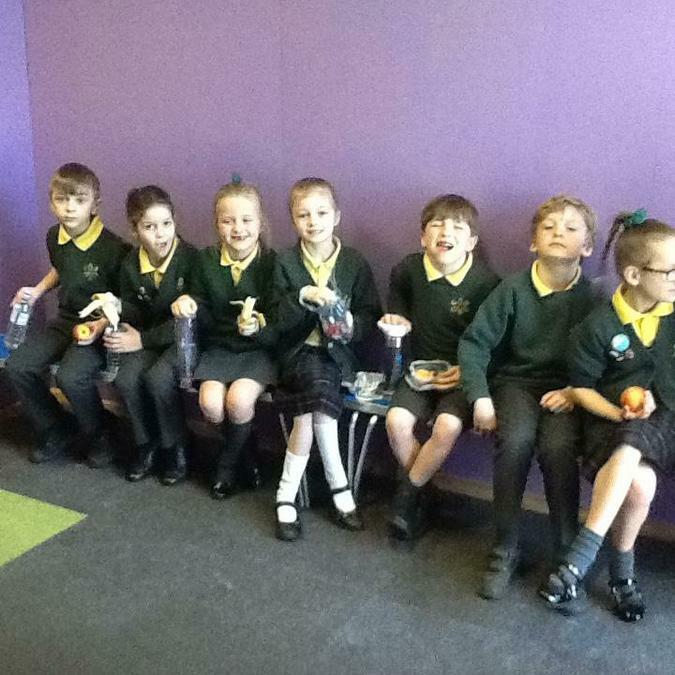 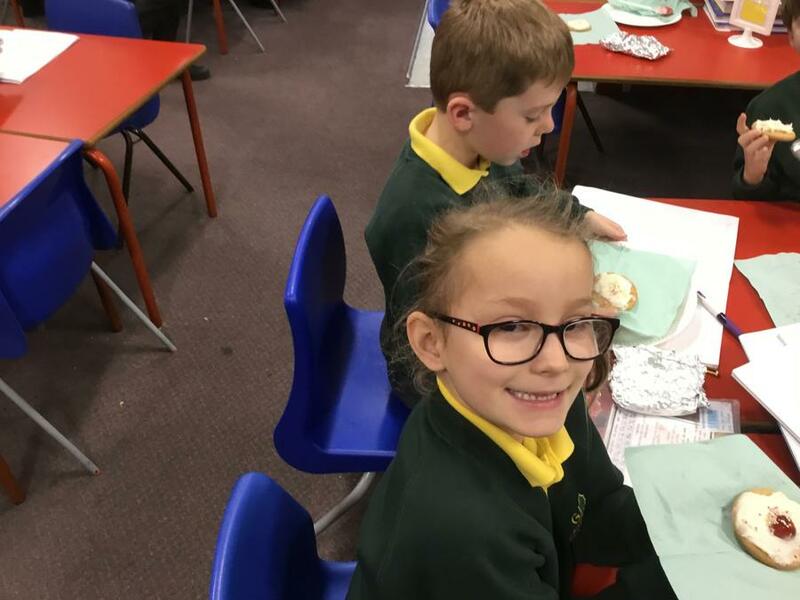 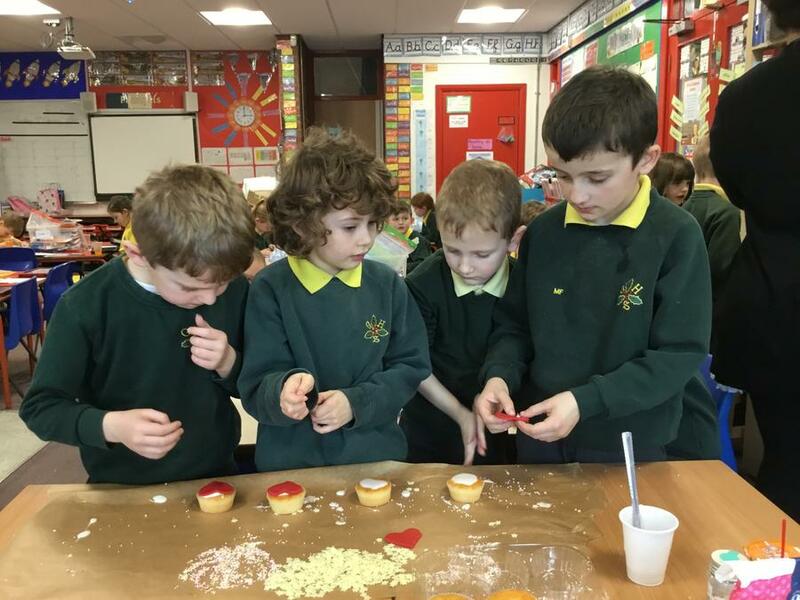 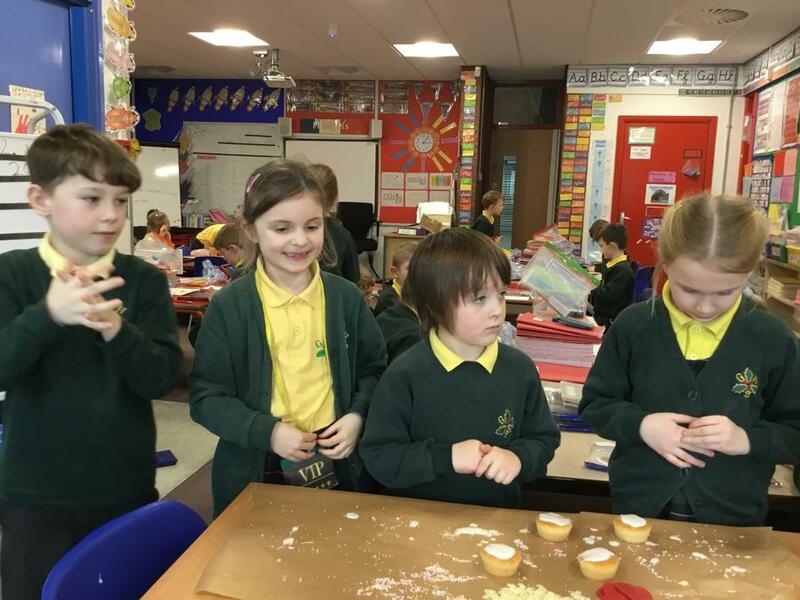 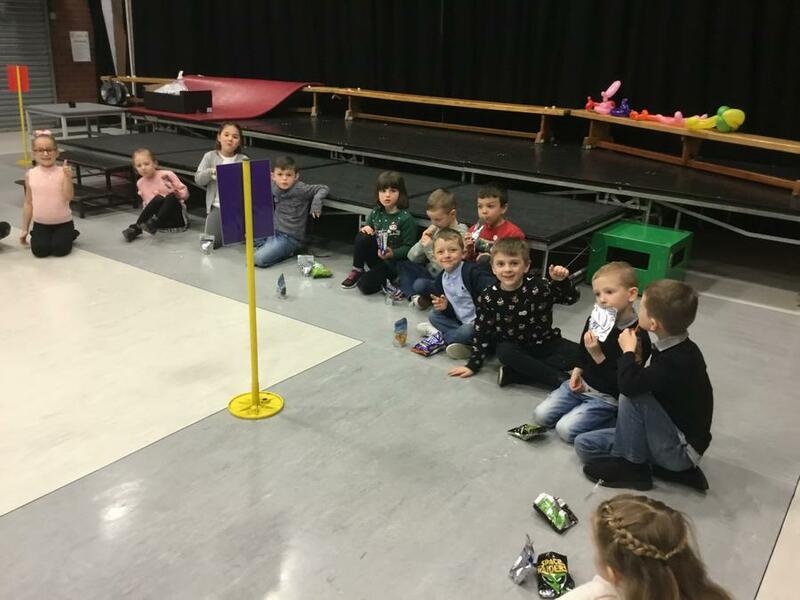 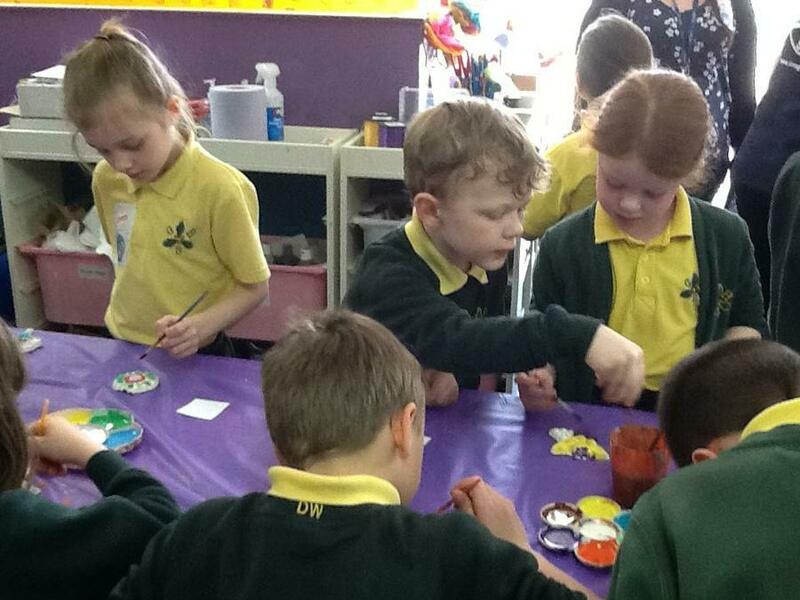 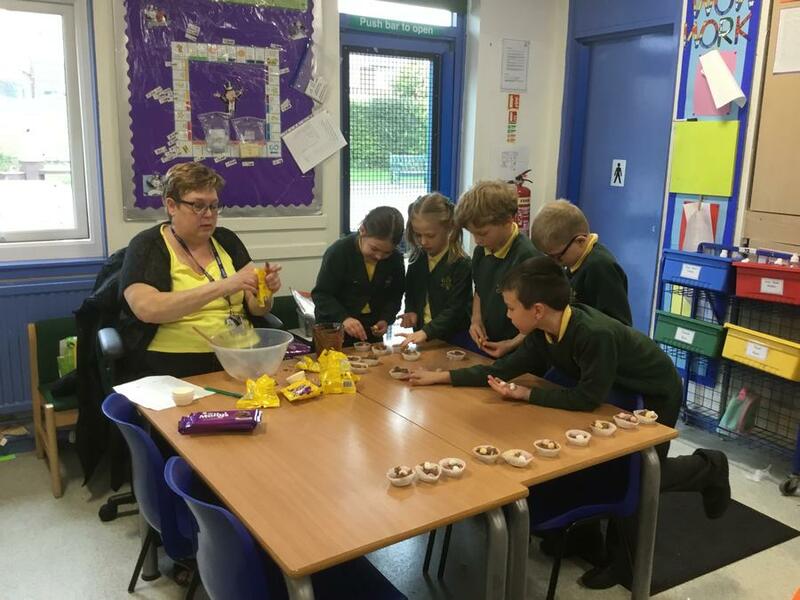 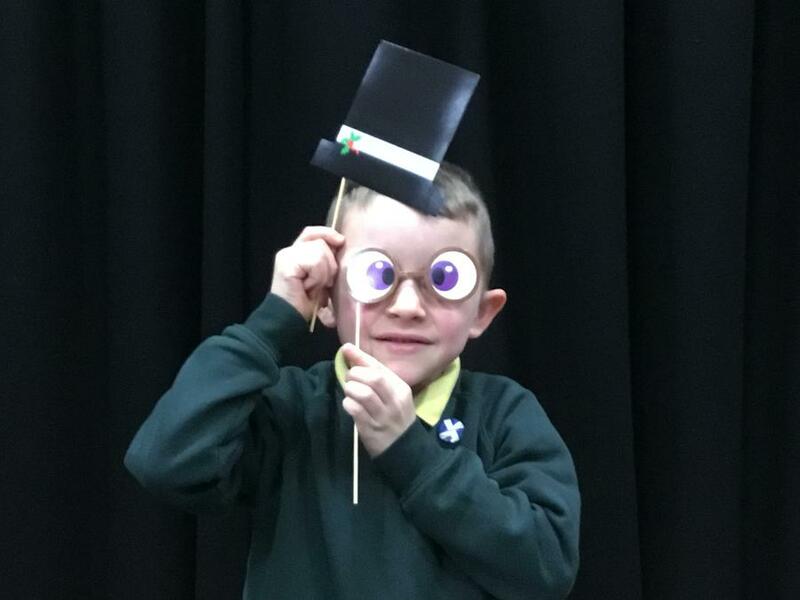 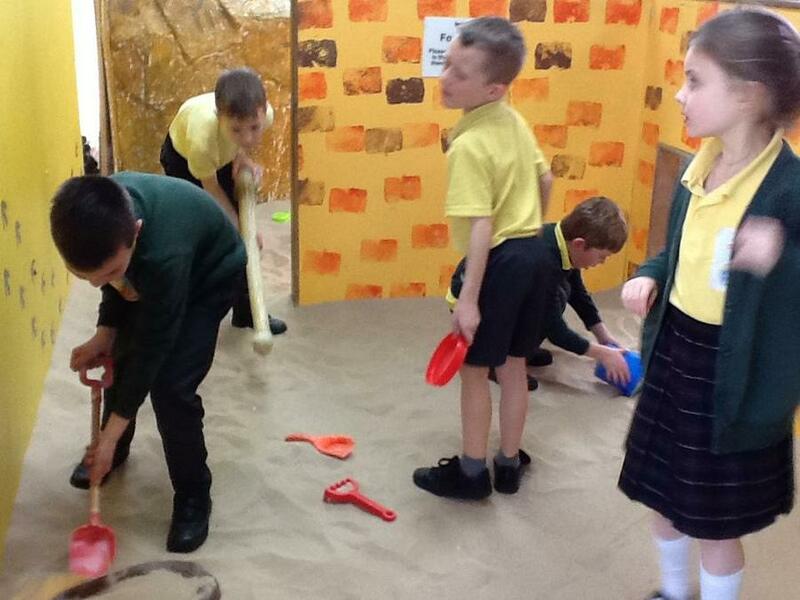 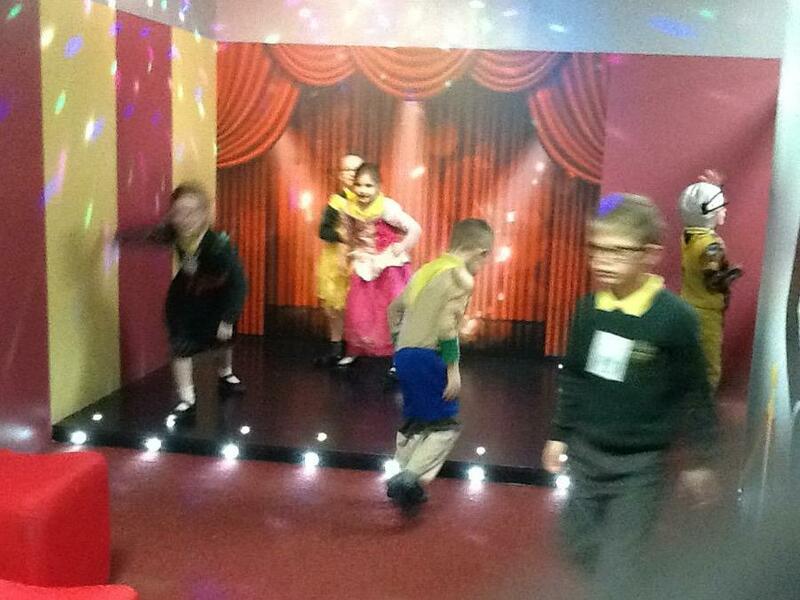 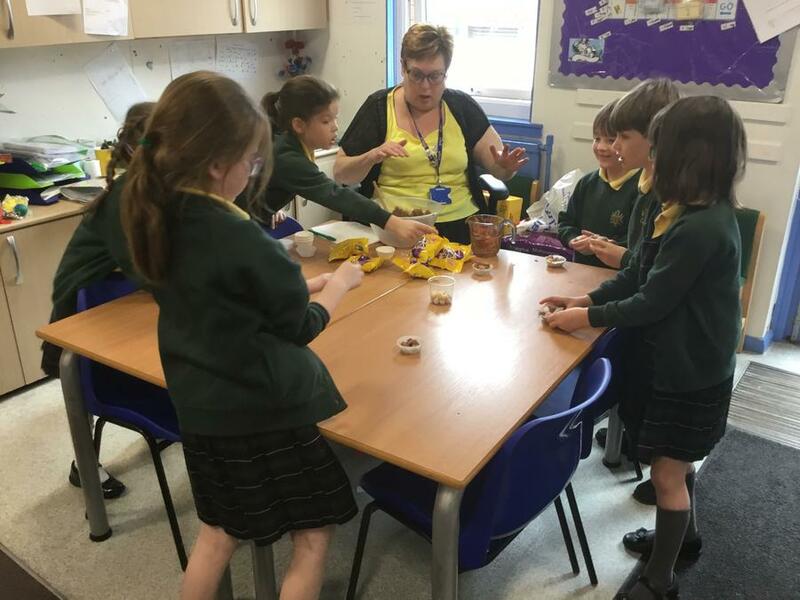 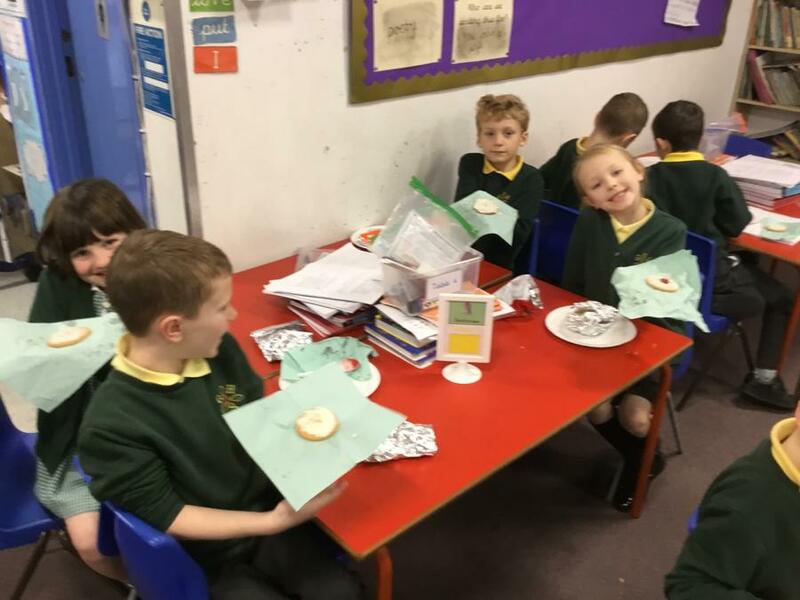 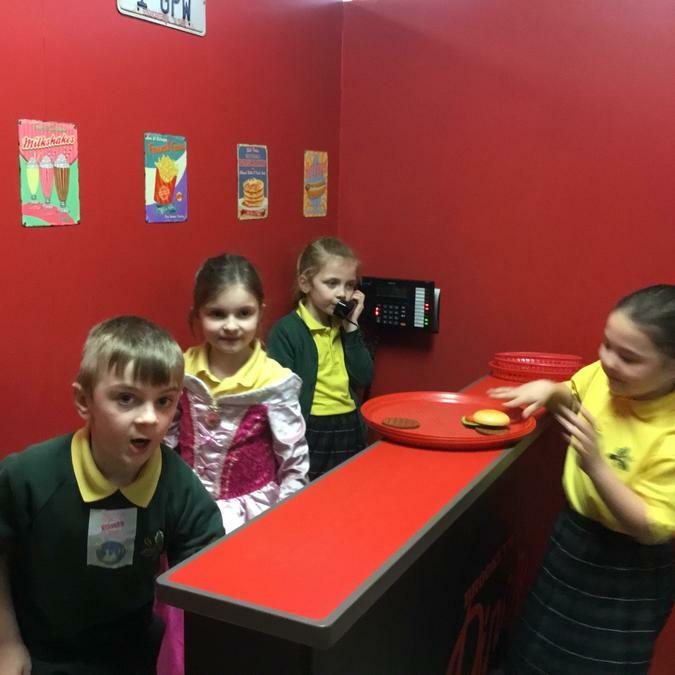 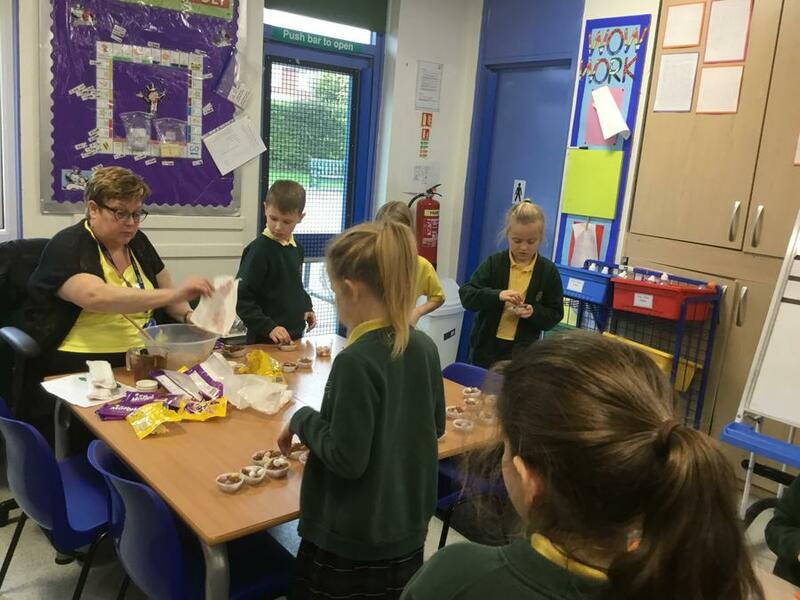 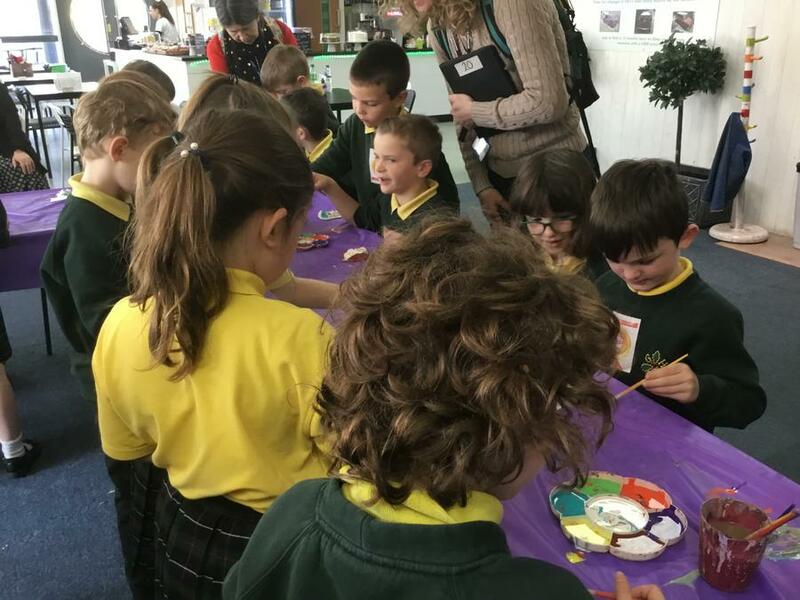 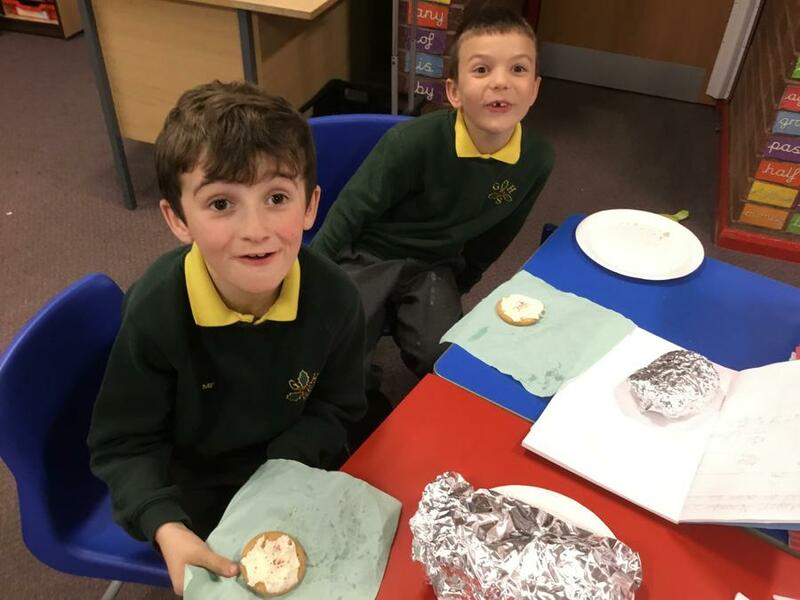 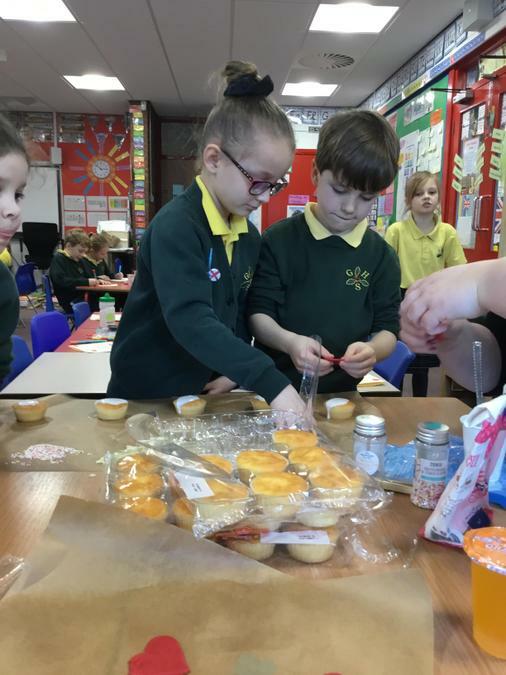 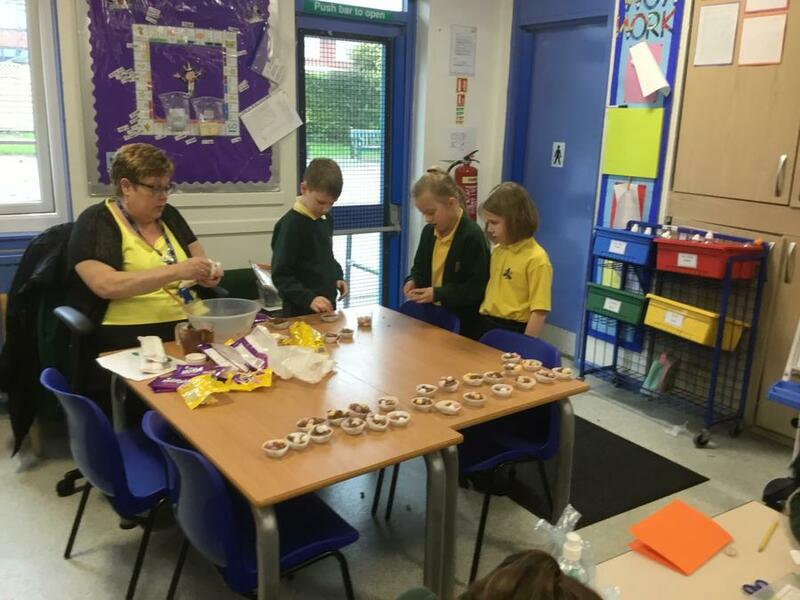 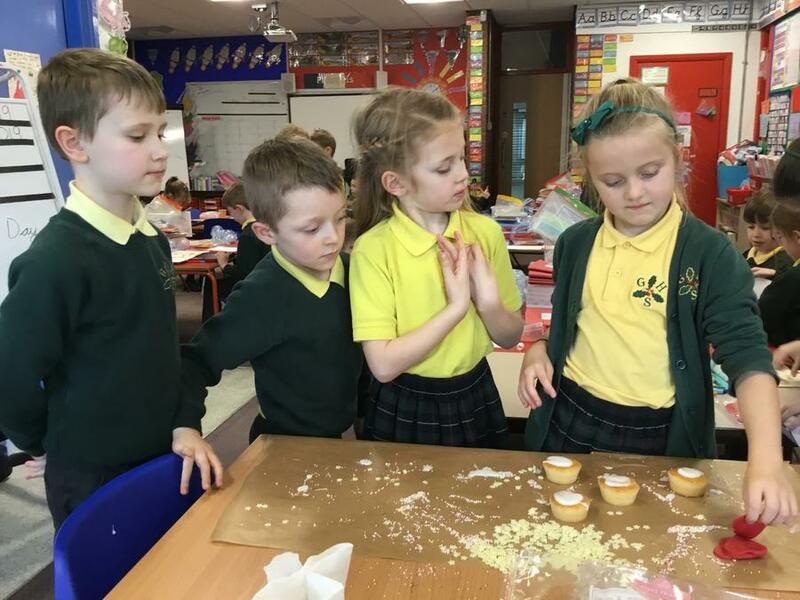 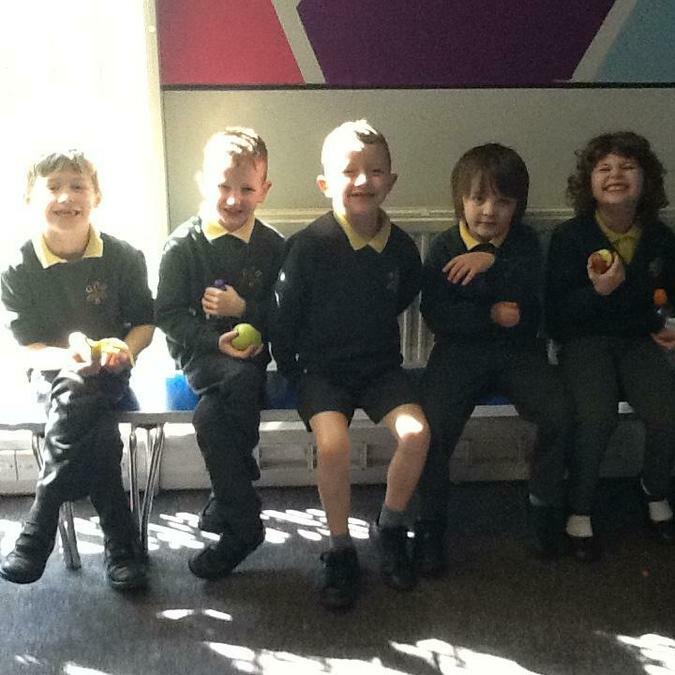 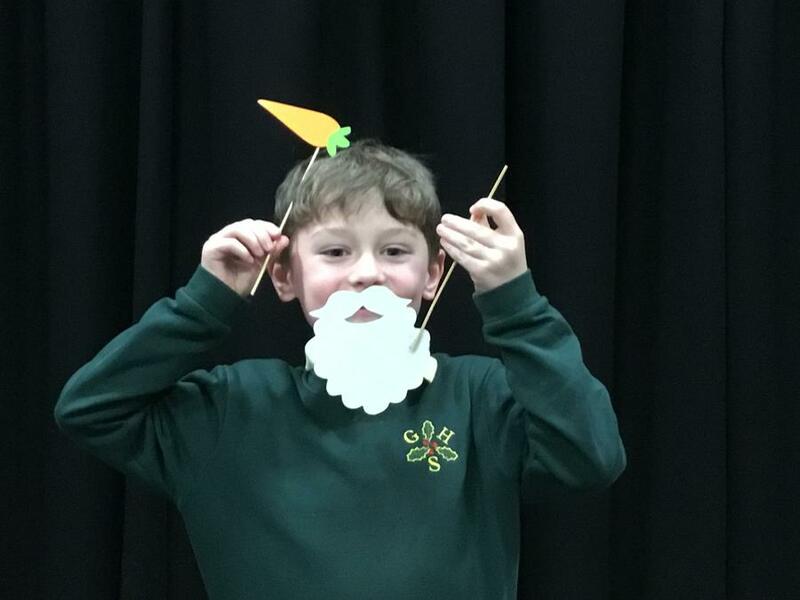 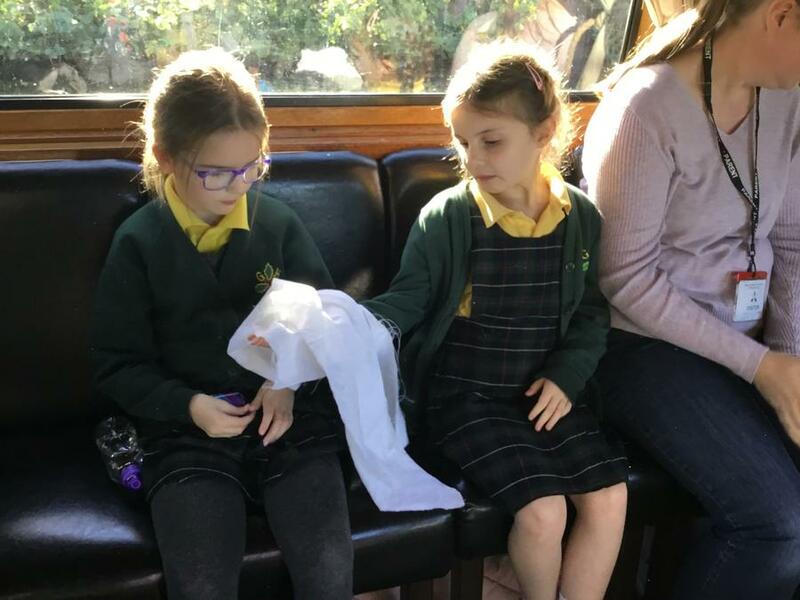 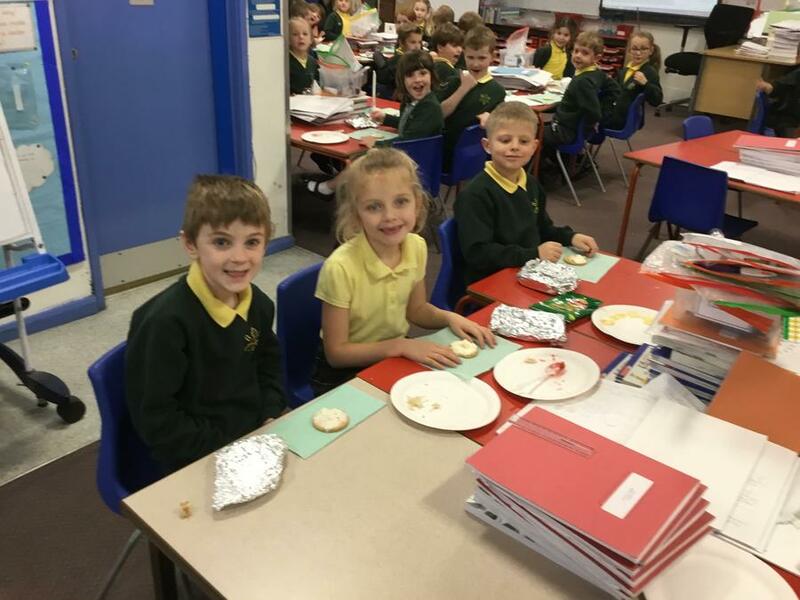 Thursday 4th April 2019 - Easter fun for our superclass party. 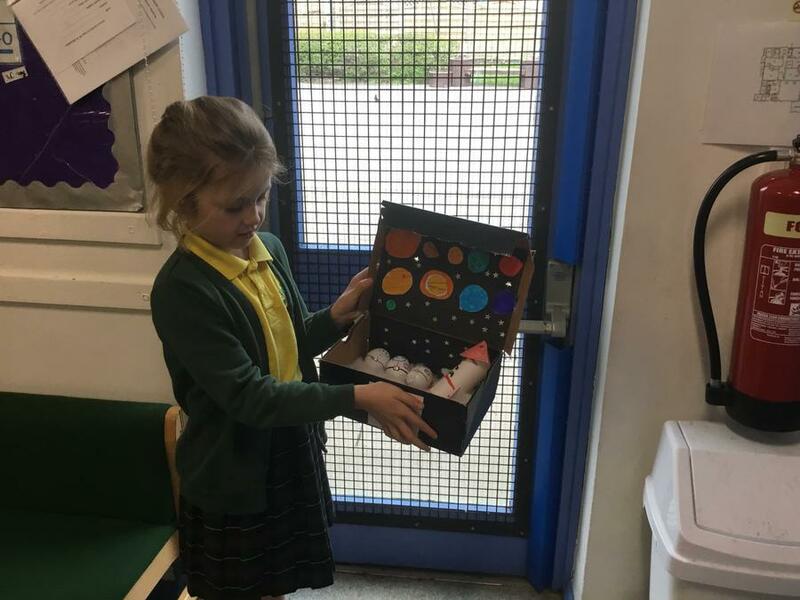 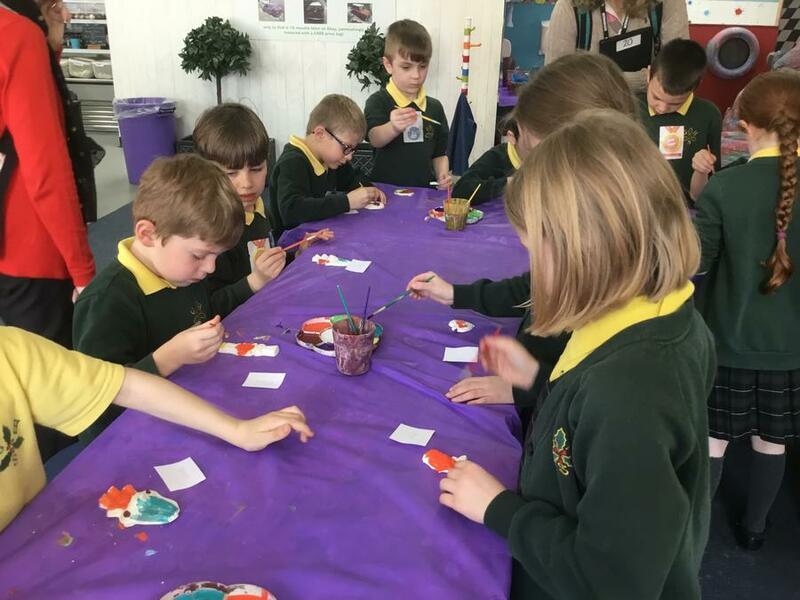 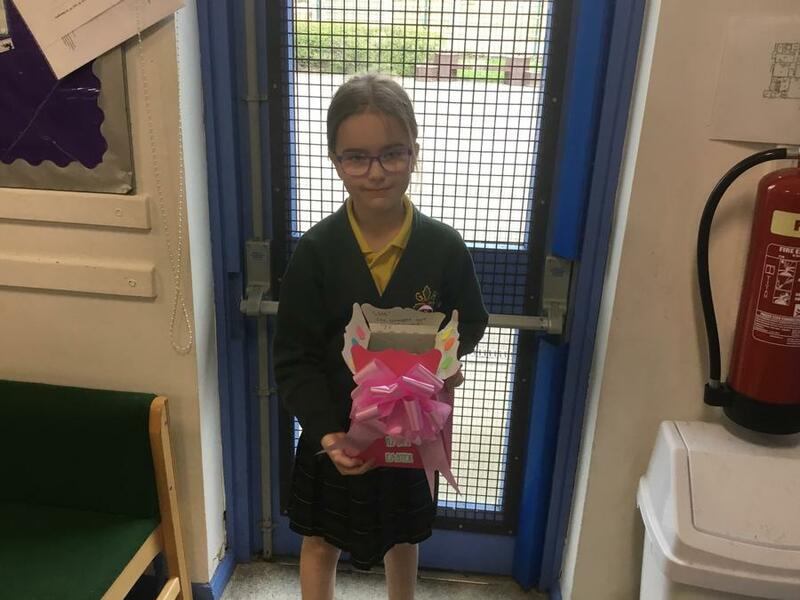 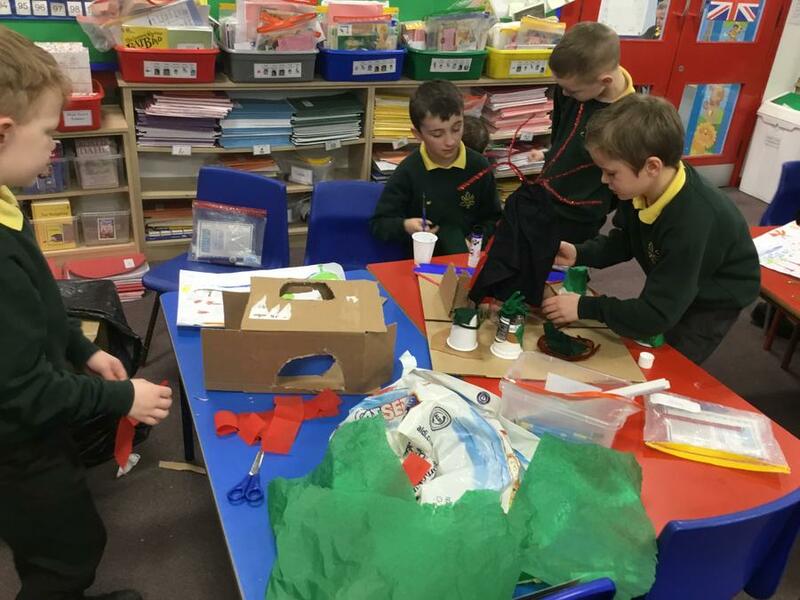 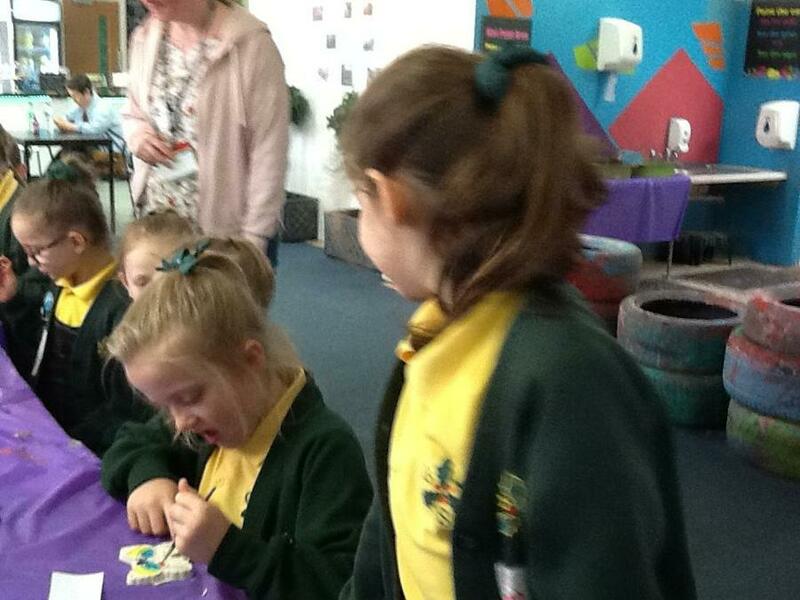 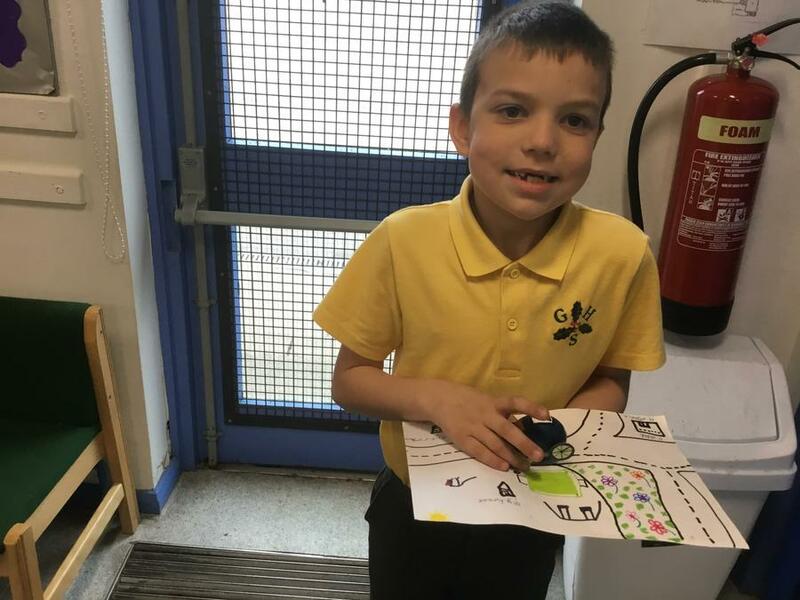 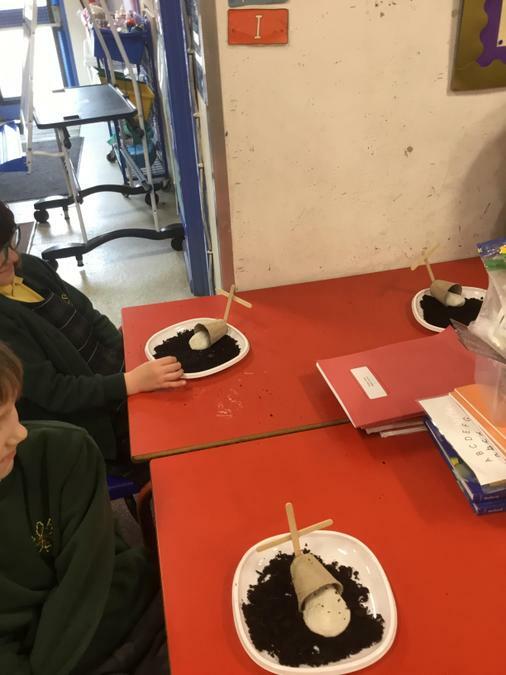 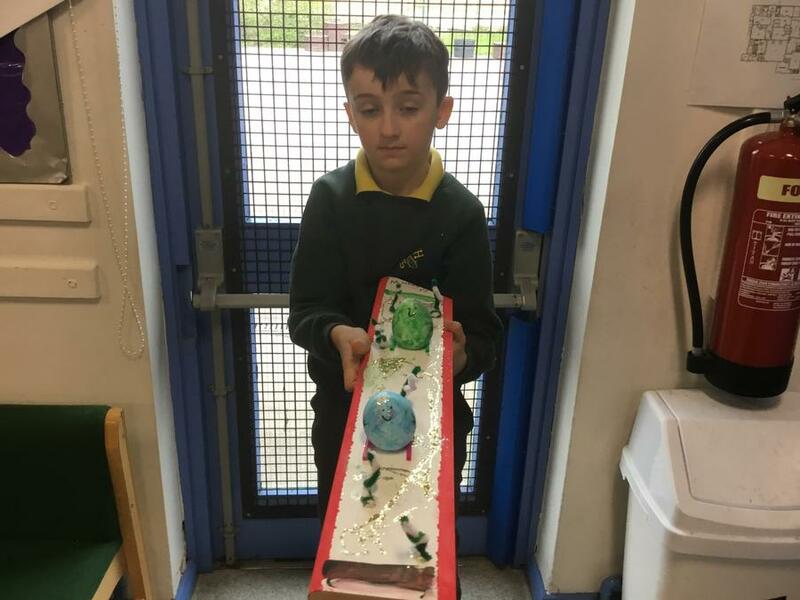 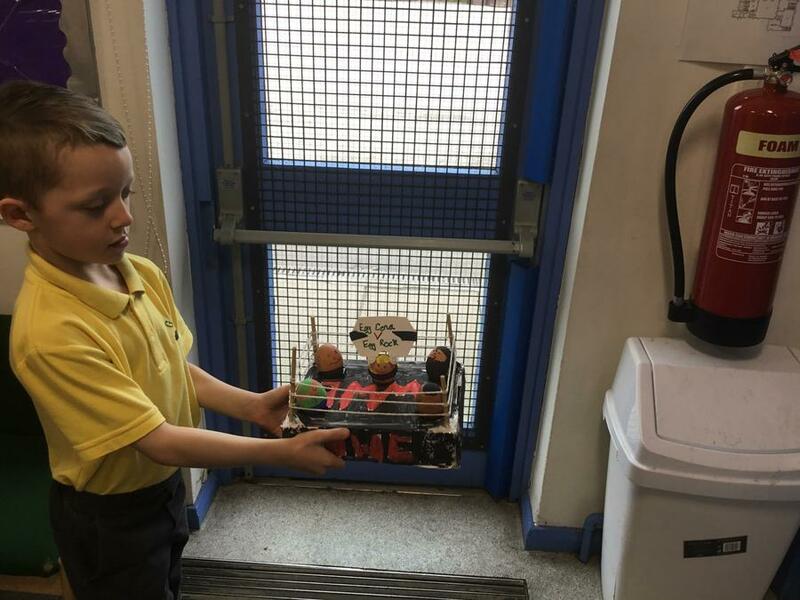 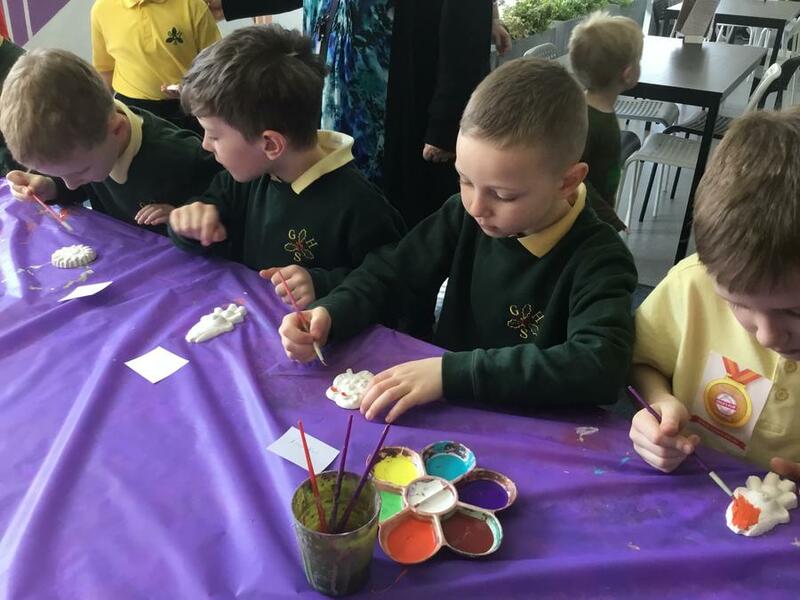 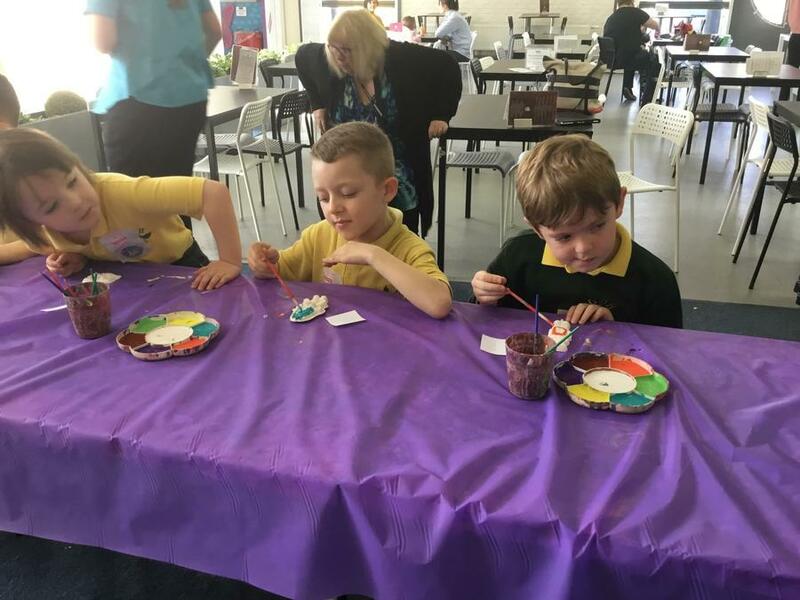 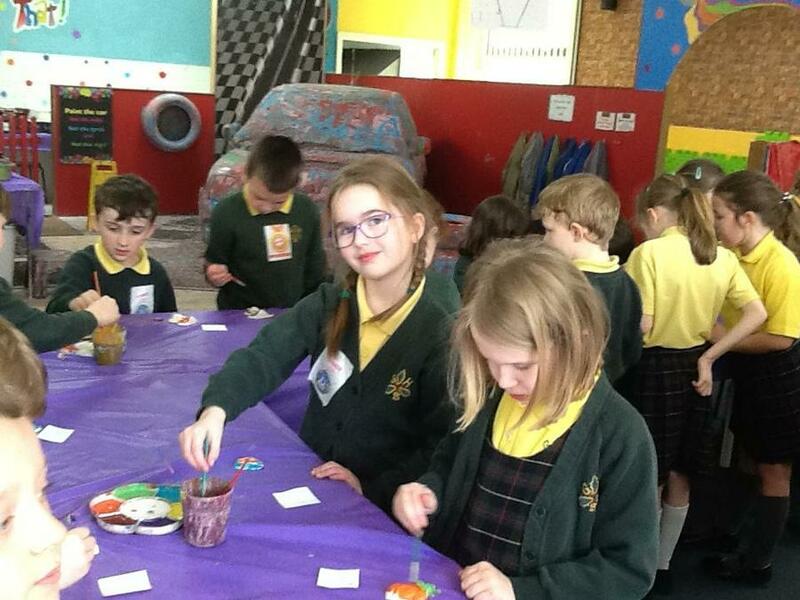 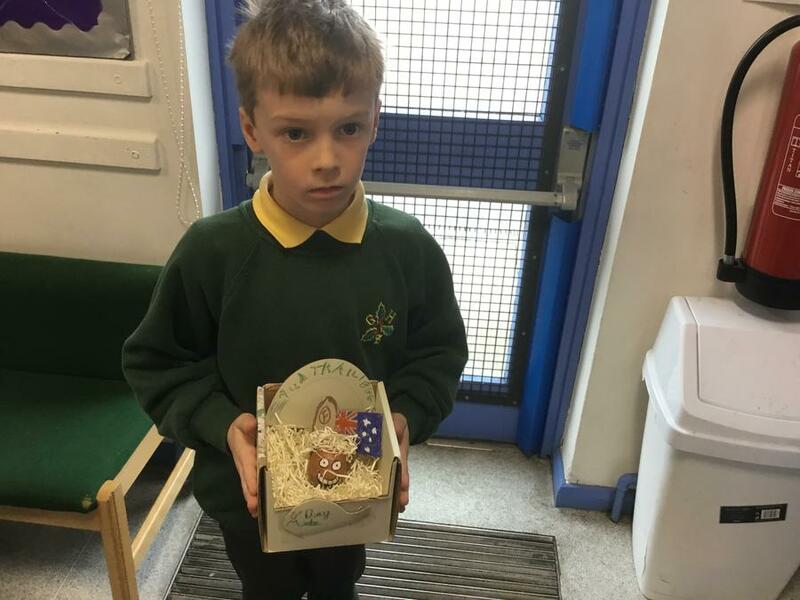 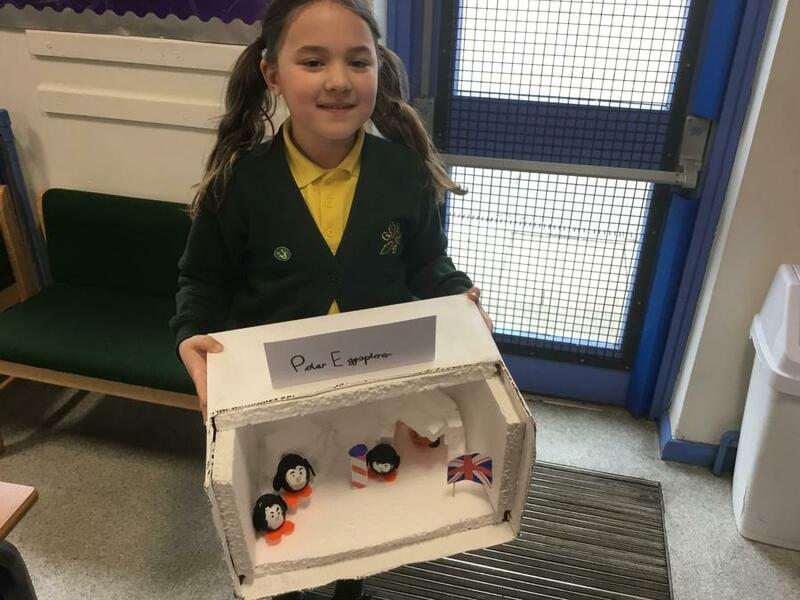 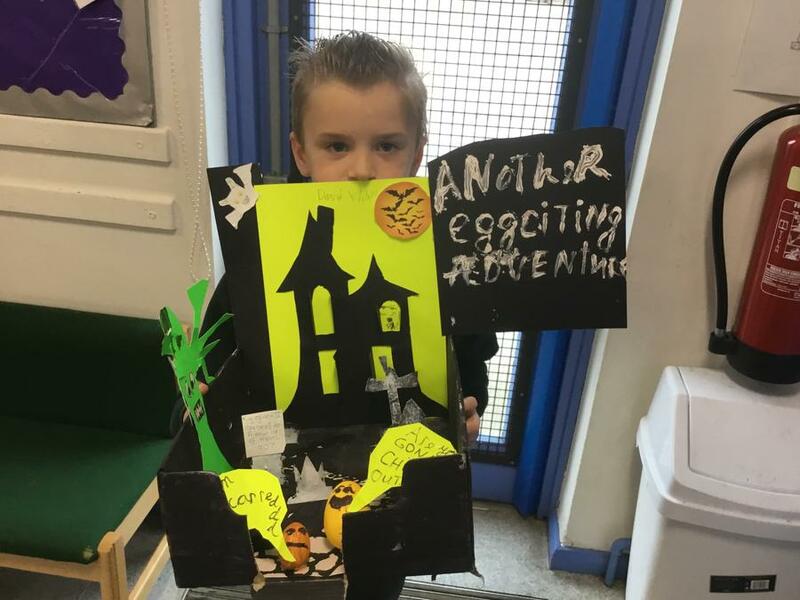 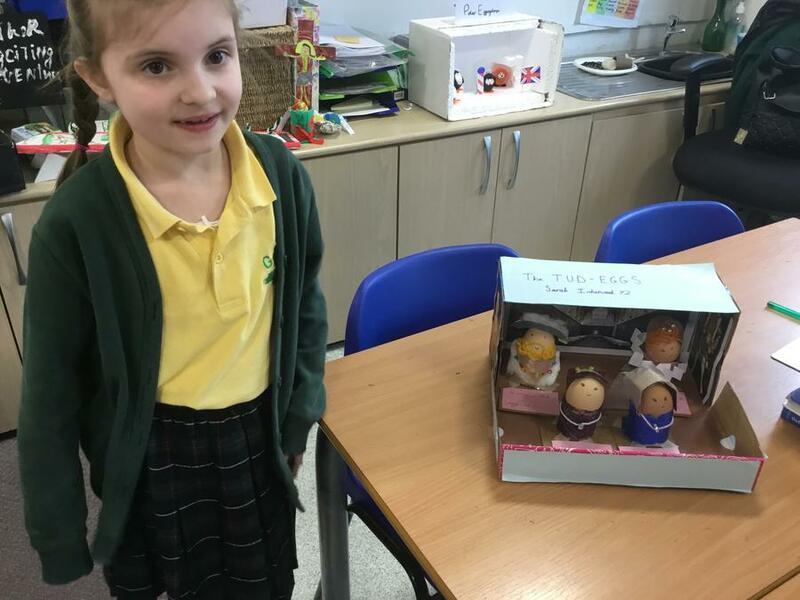 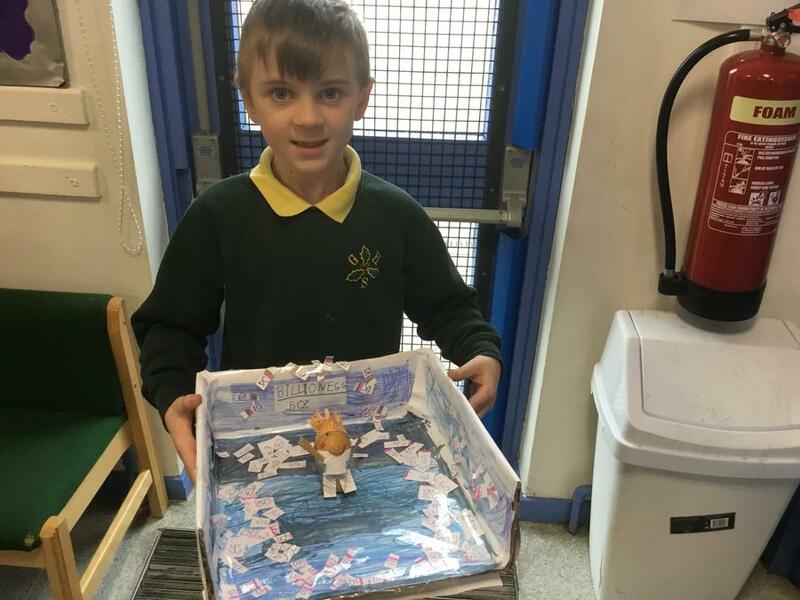 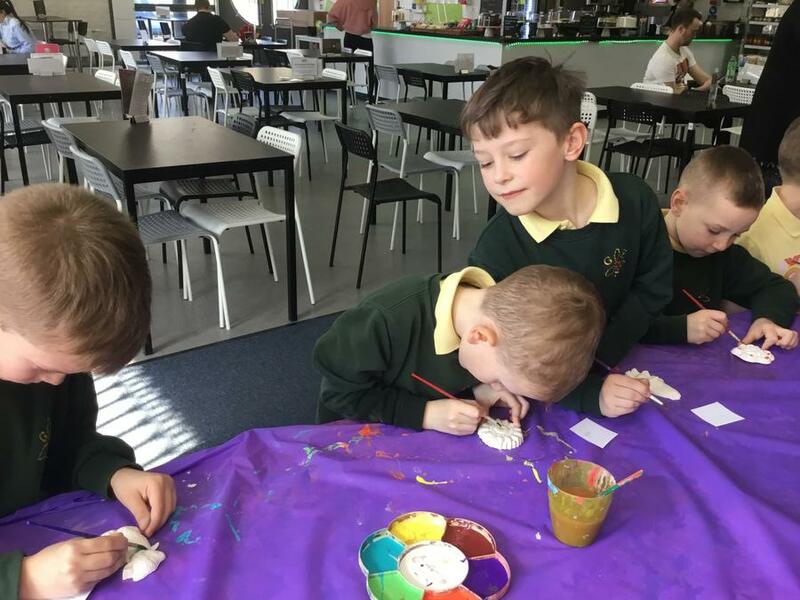 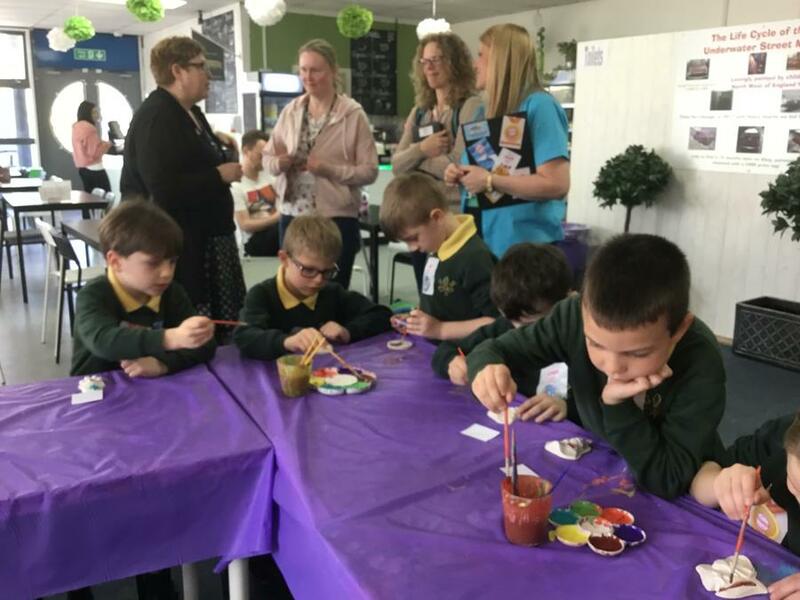 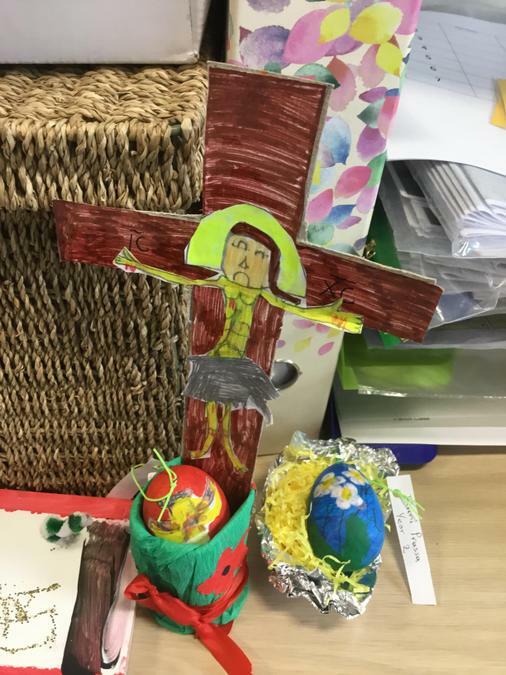 Tuesday 3rd April 2019 - We made Easter gardens. 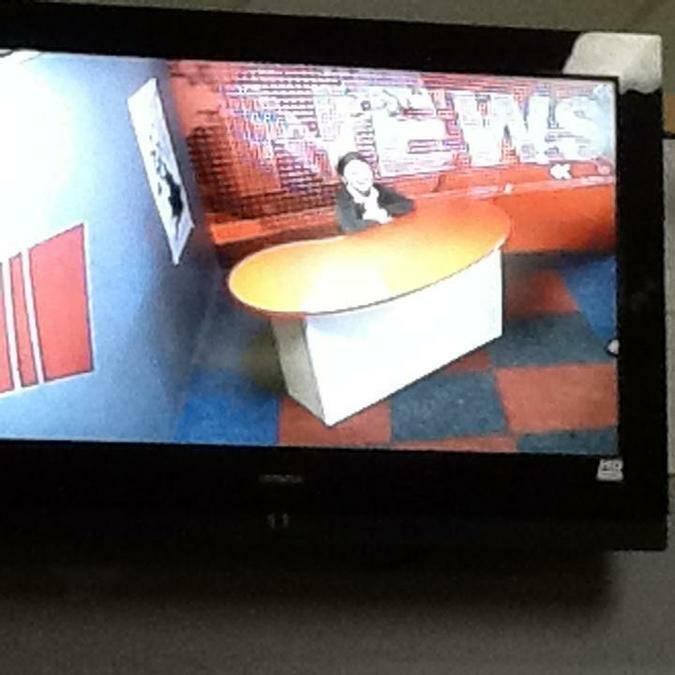 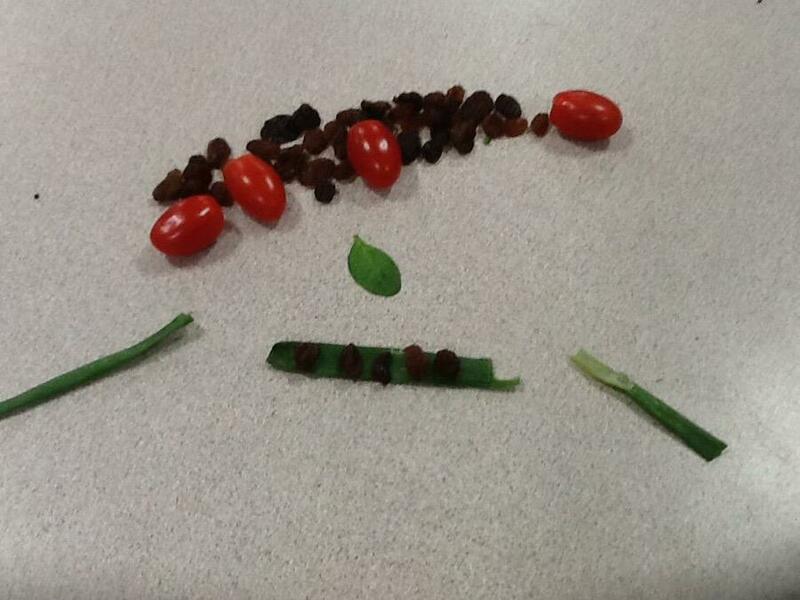 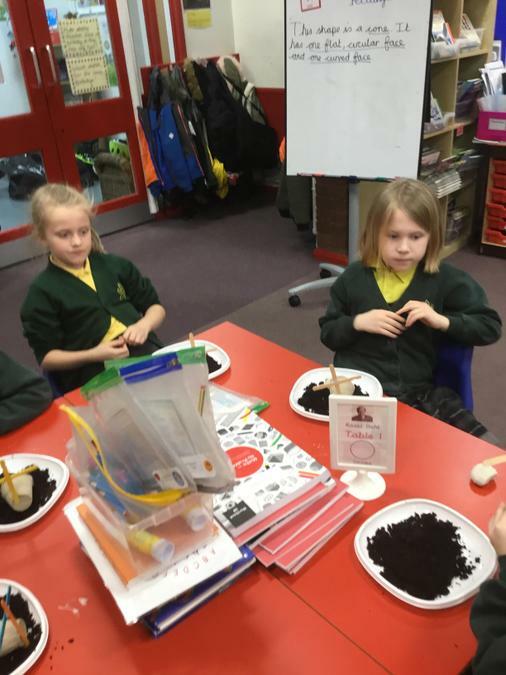 Soon our cress seeds will grow. 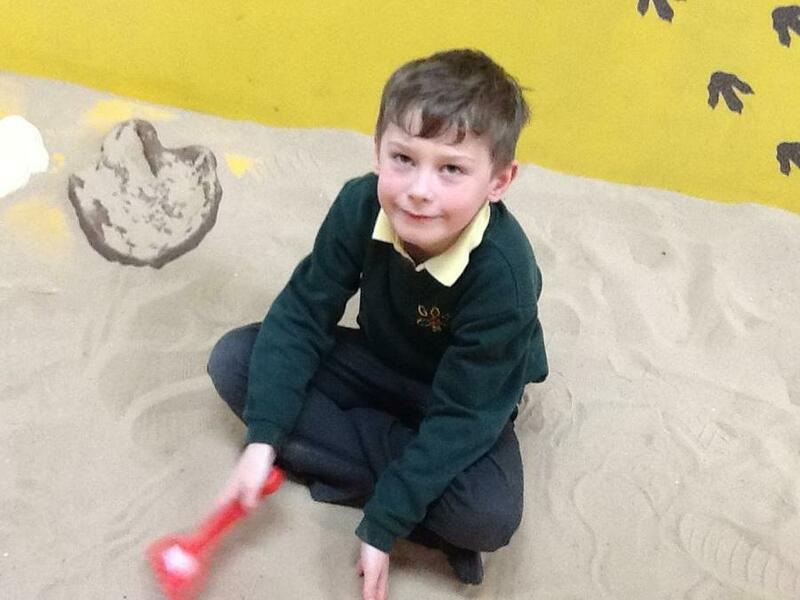 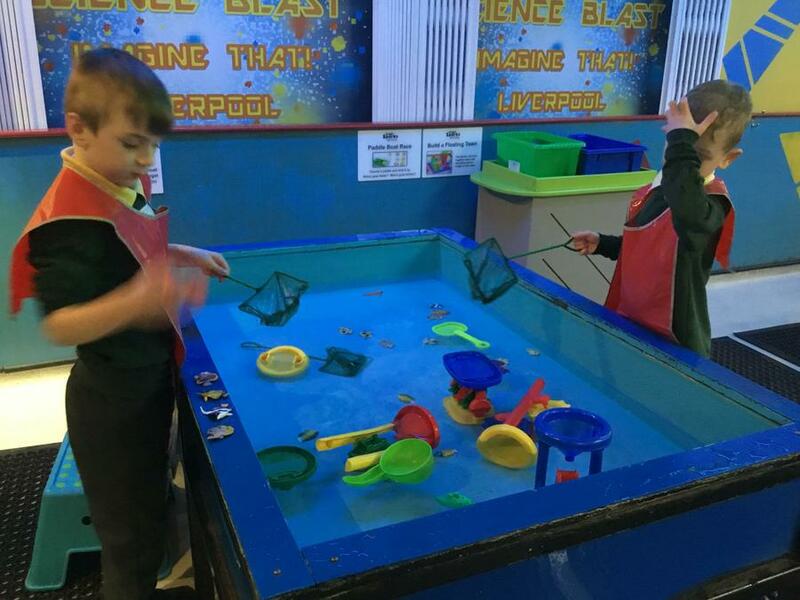 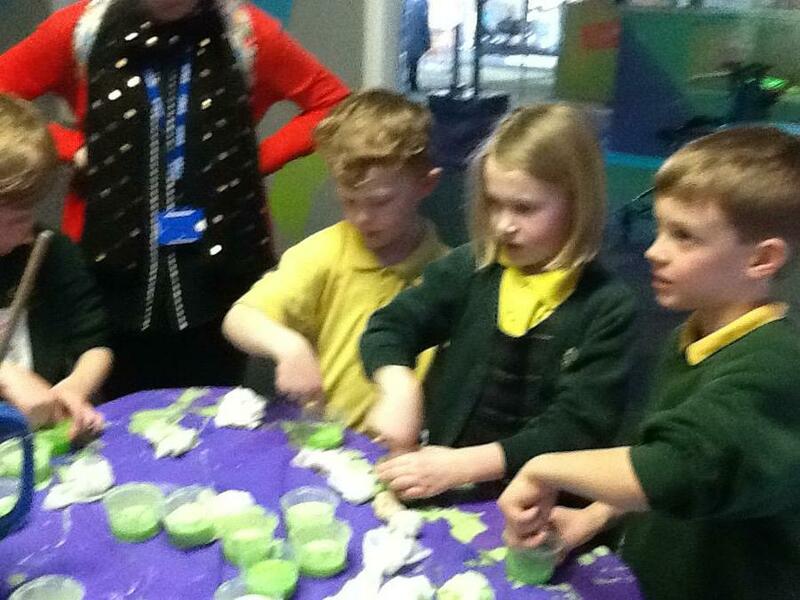 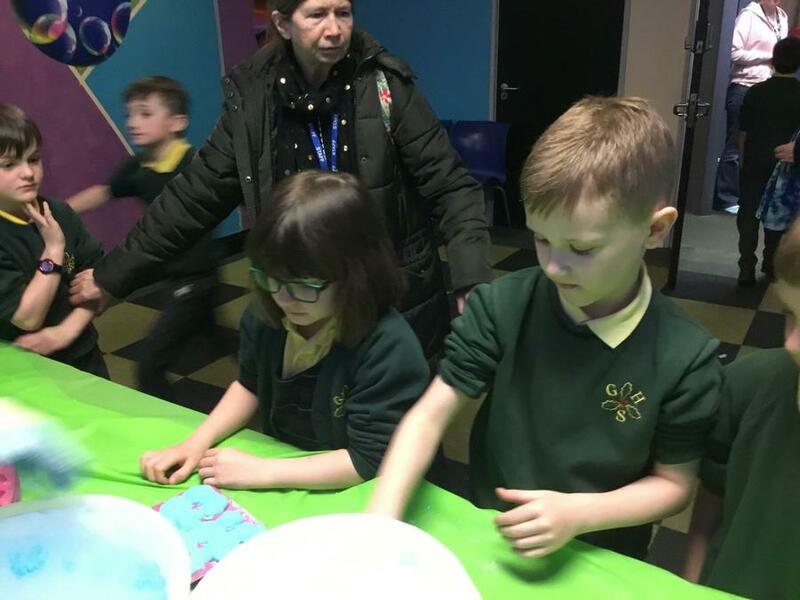 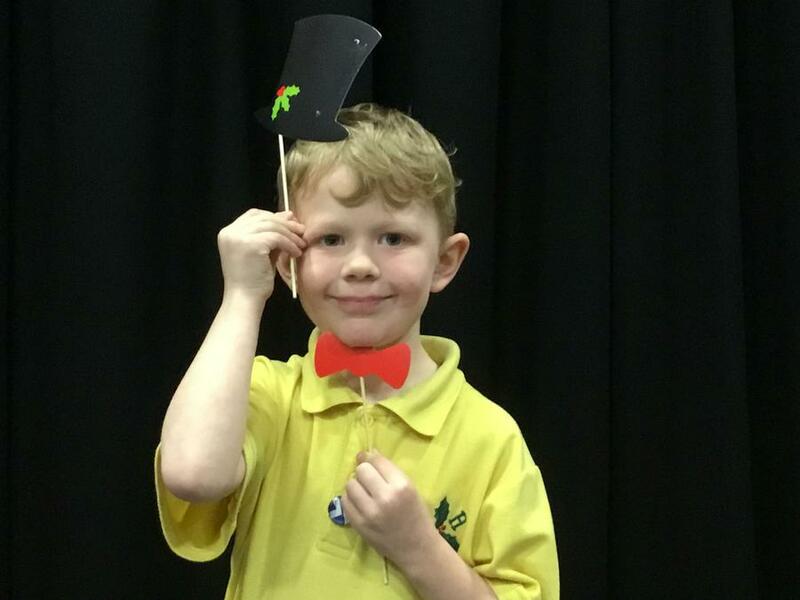 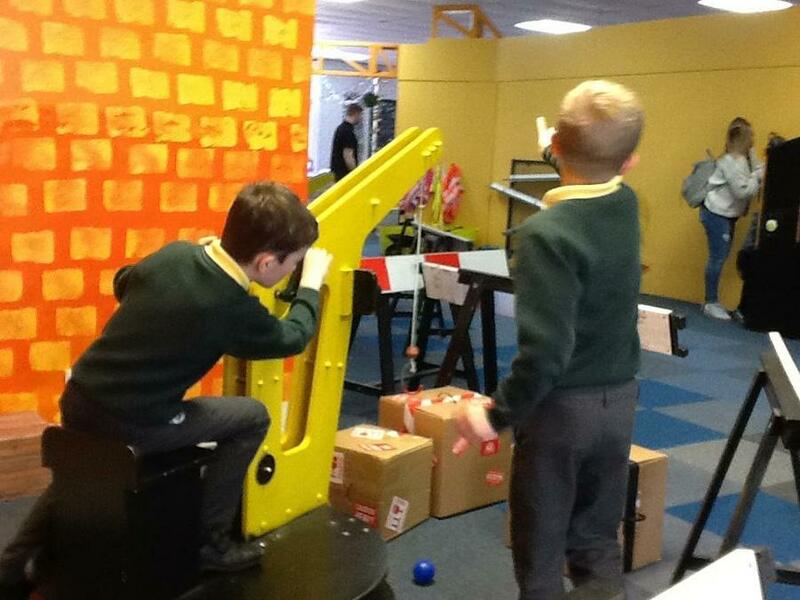 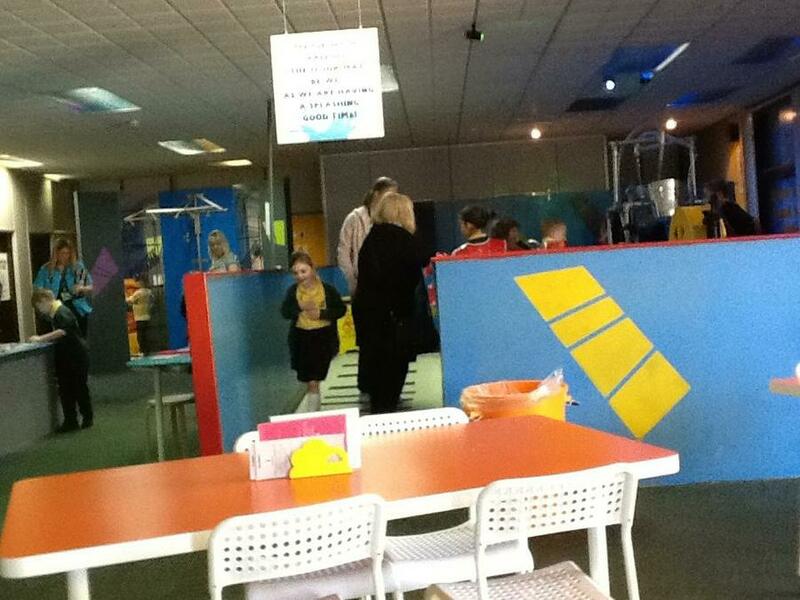 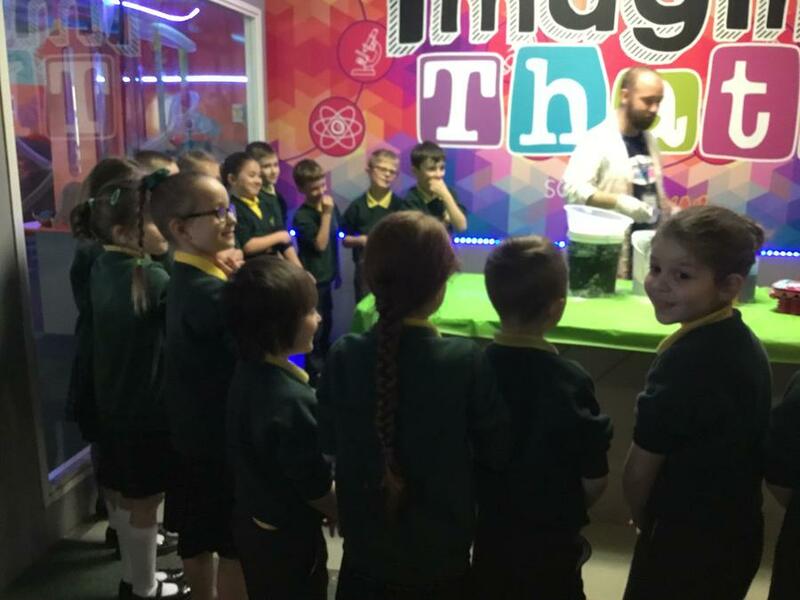 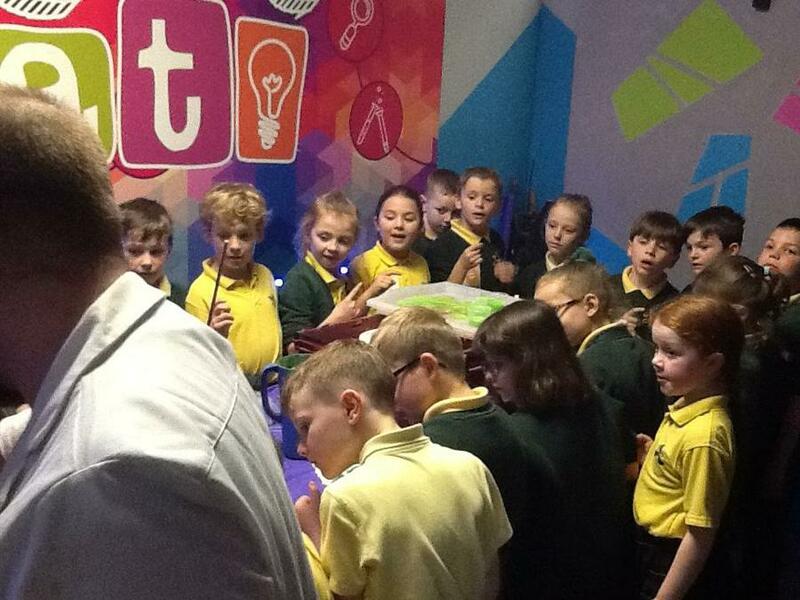 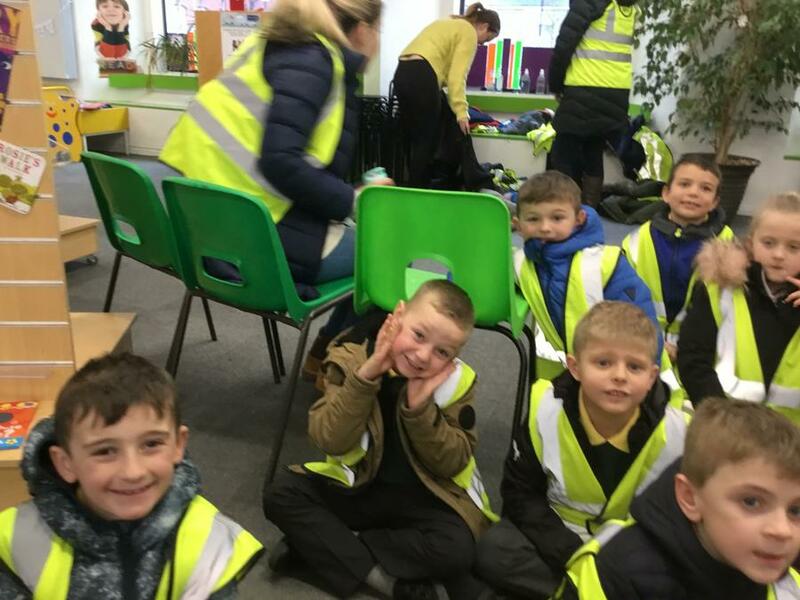 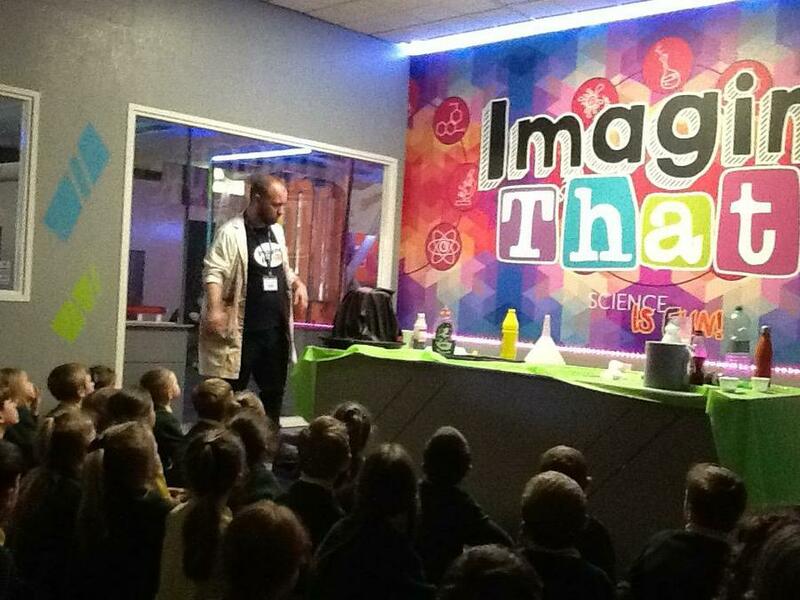 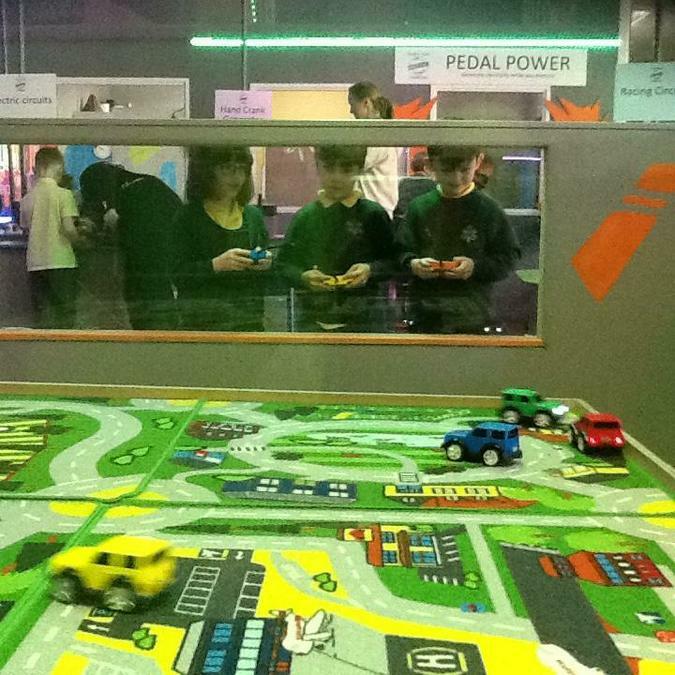 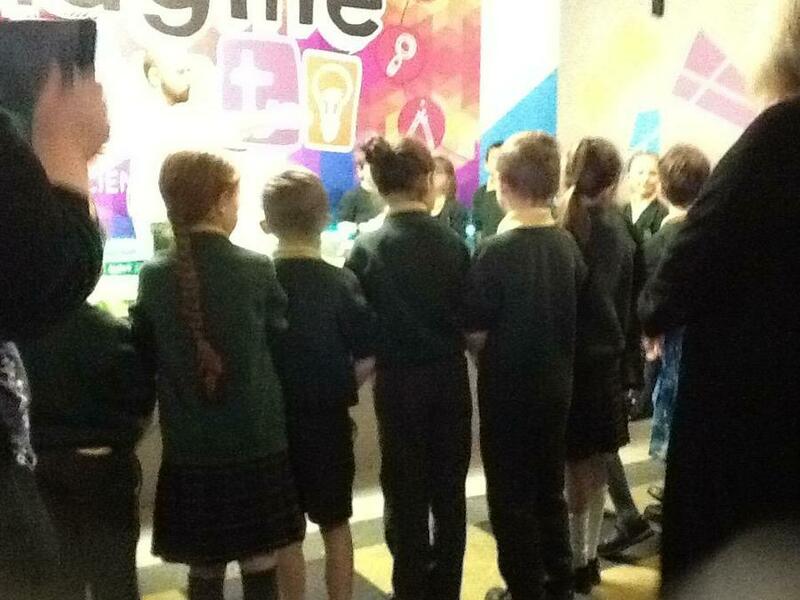 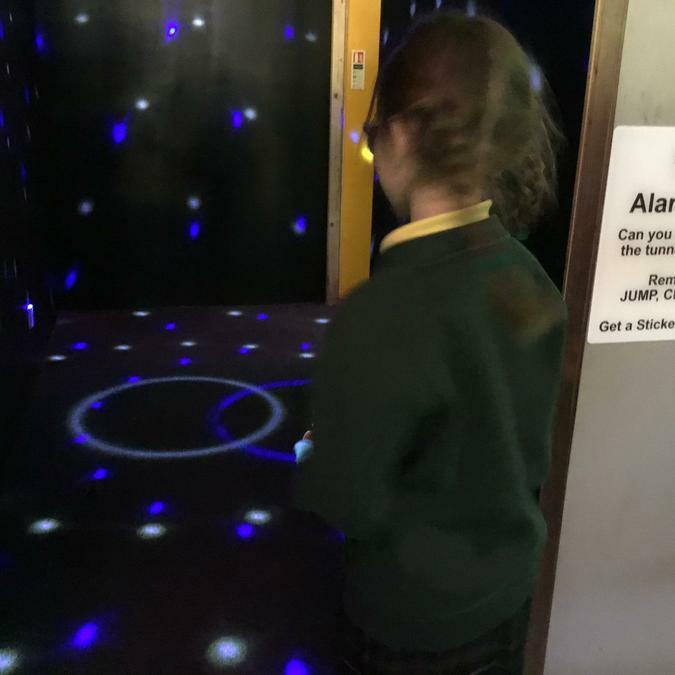 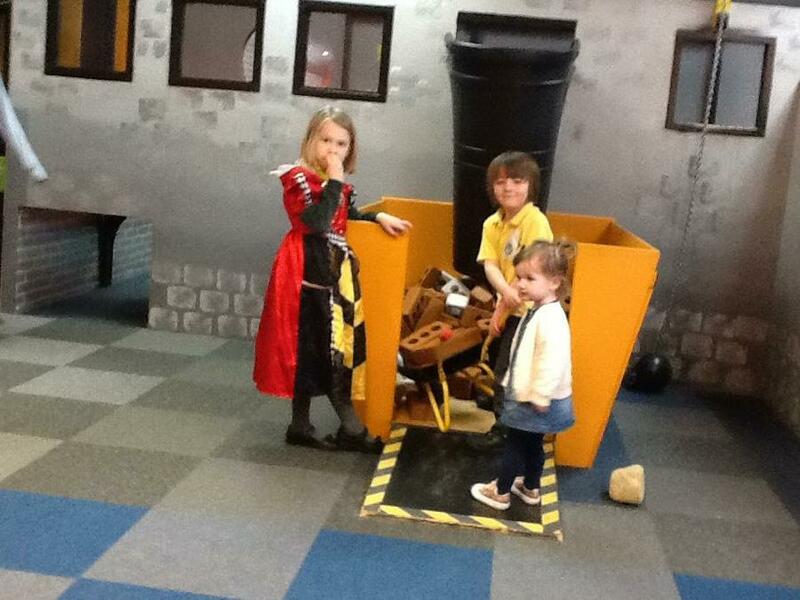 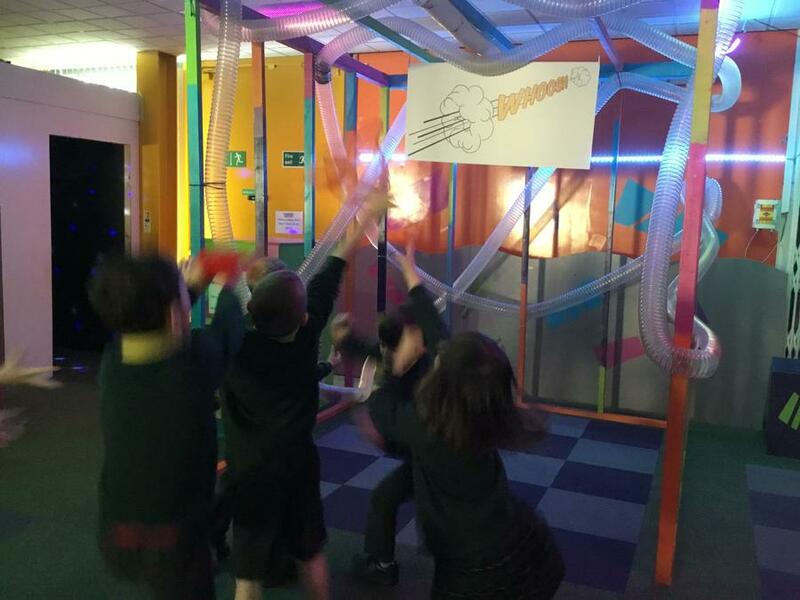 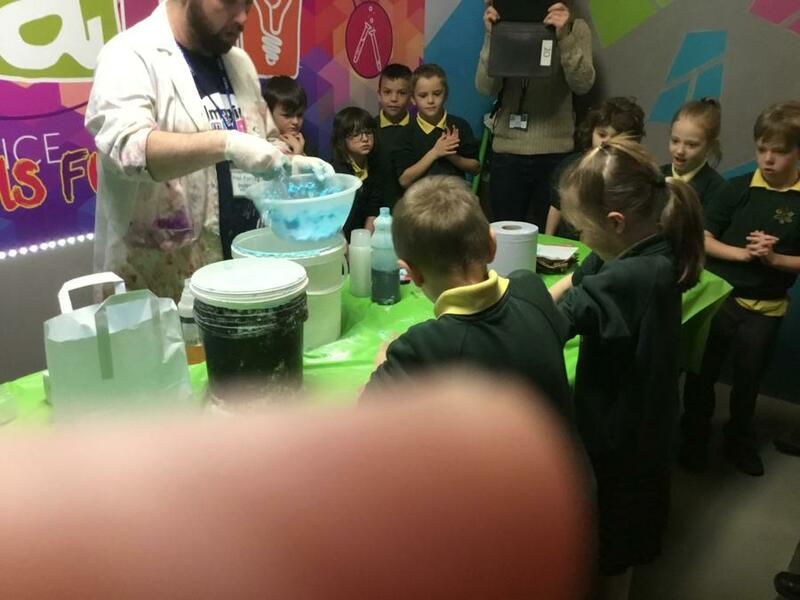 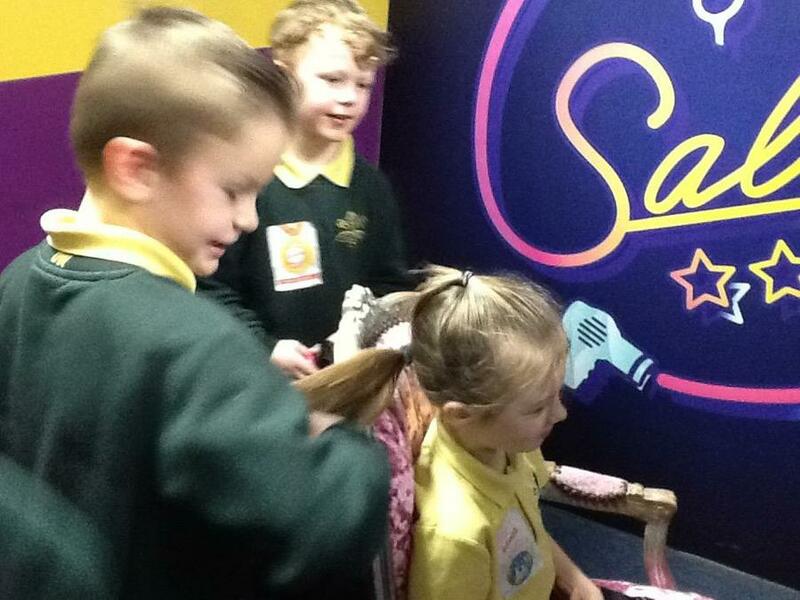 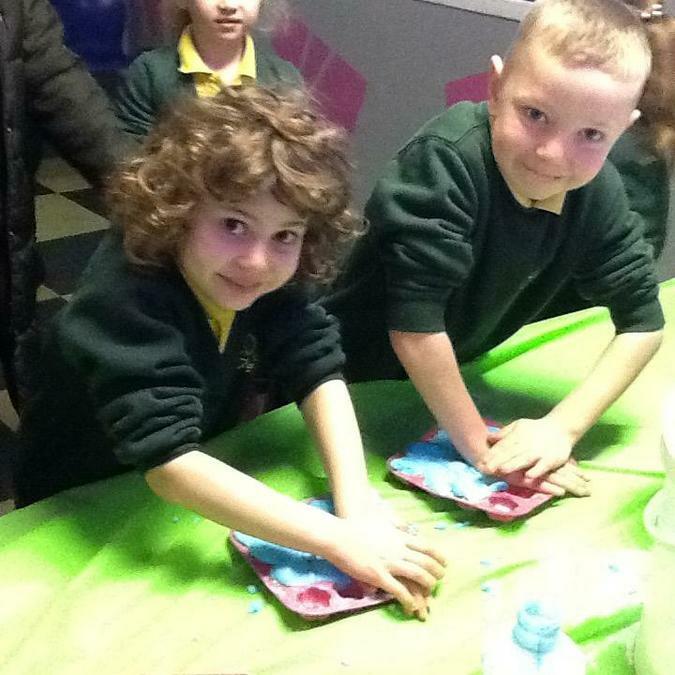 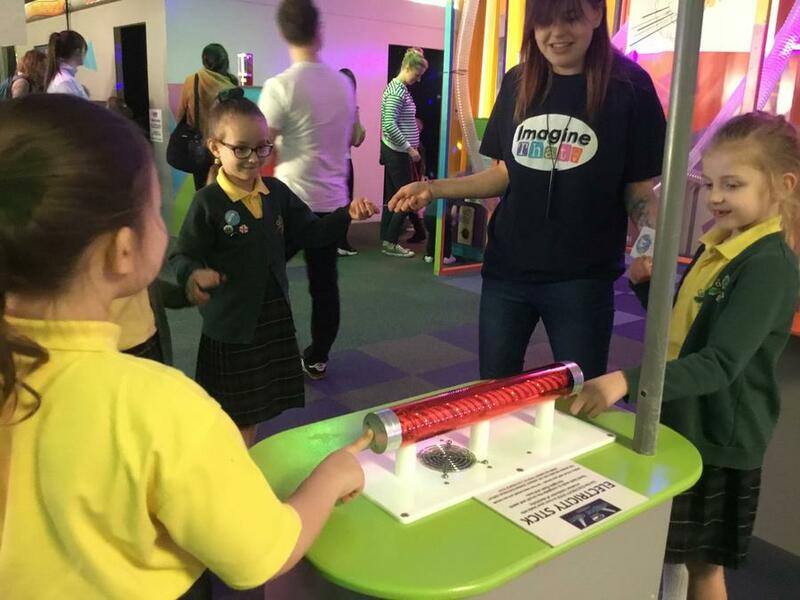 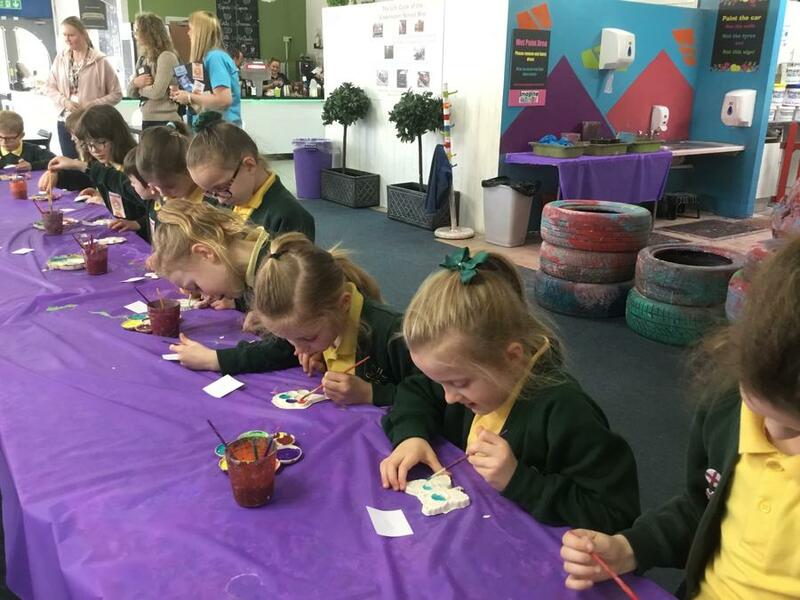 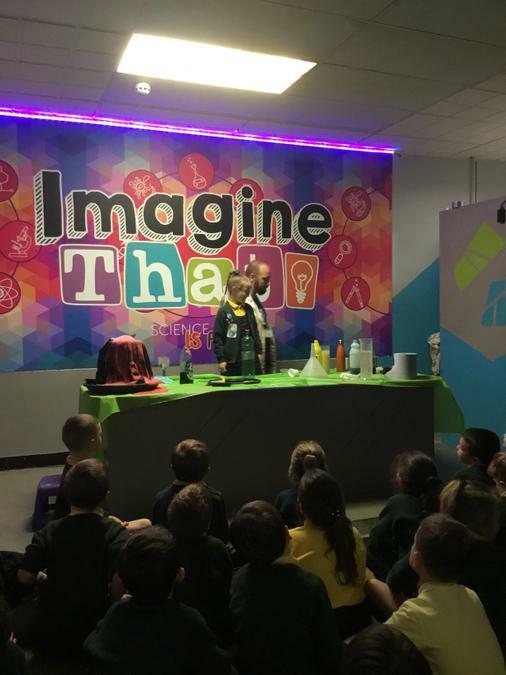 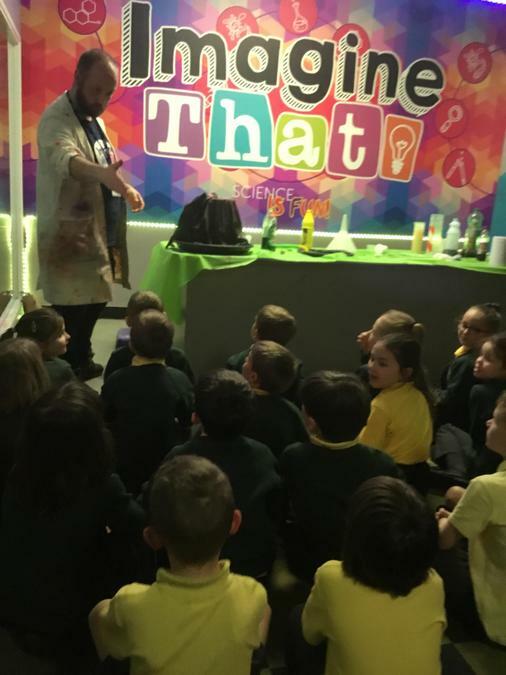 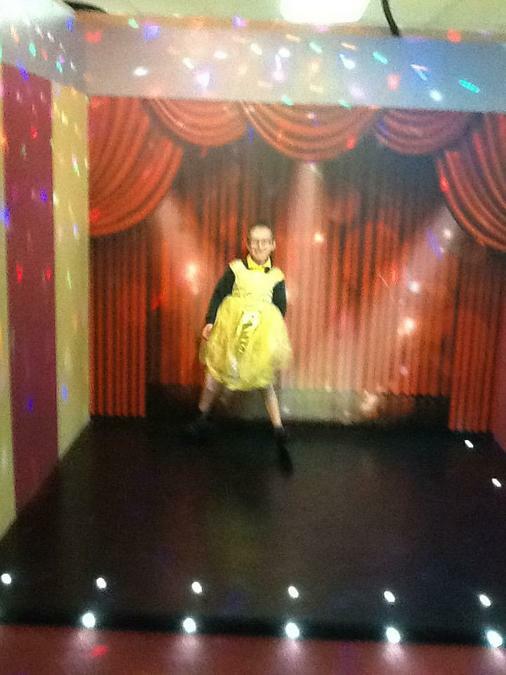 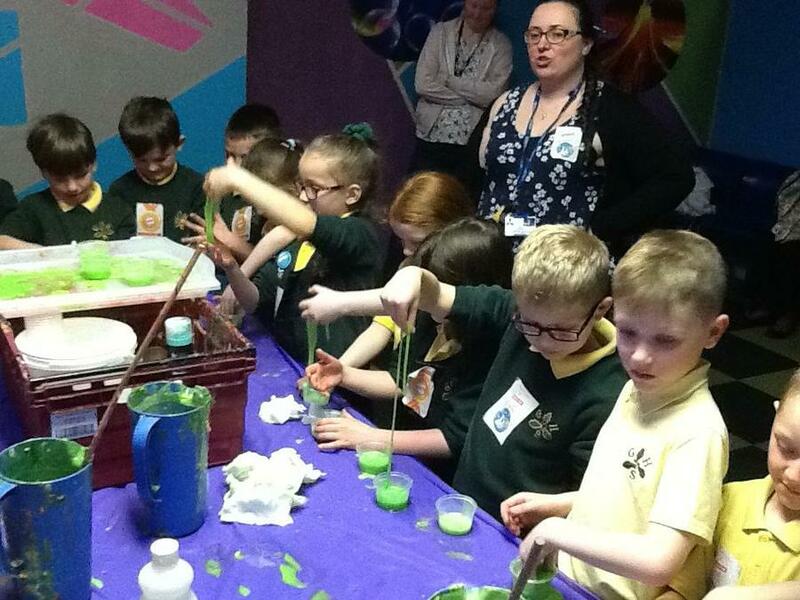 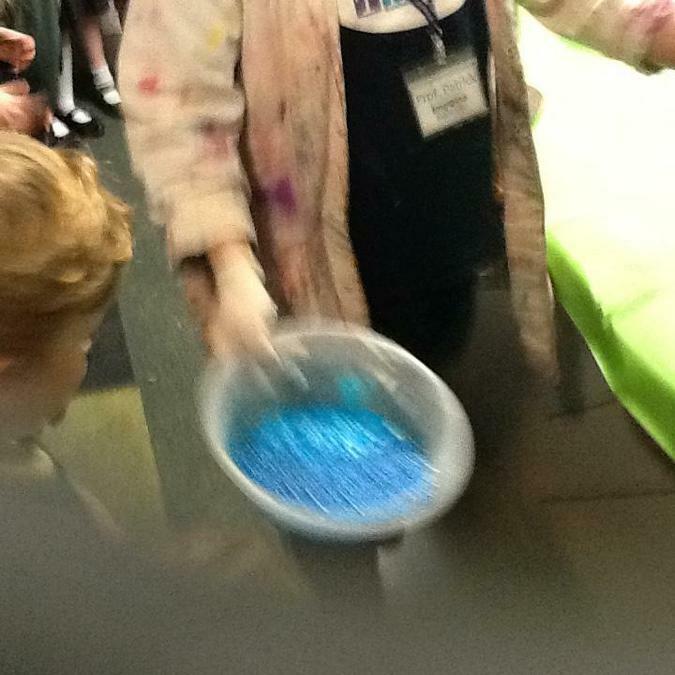 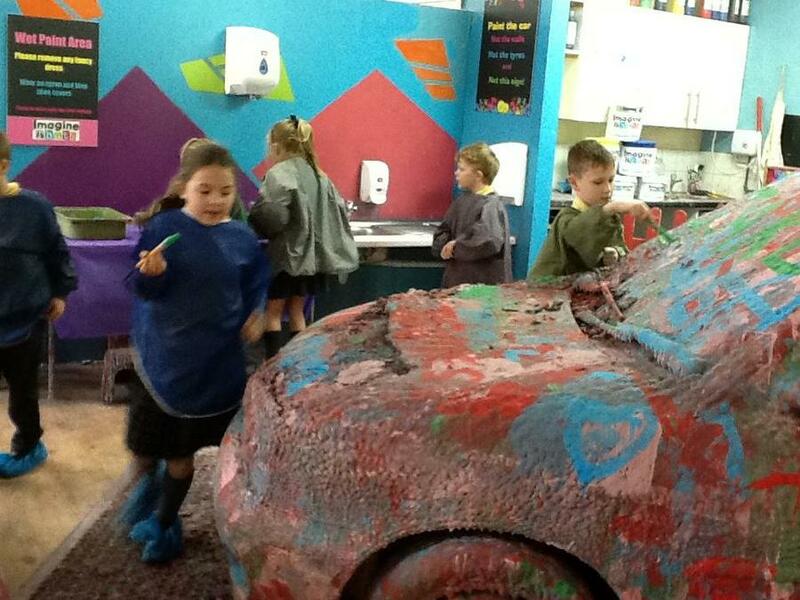 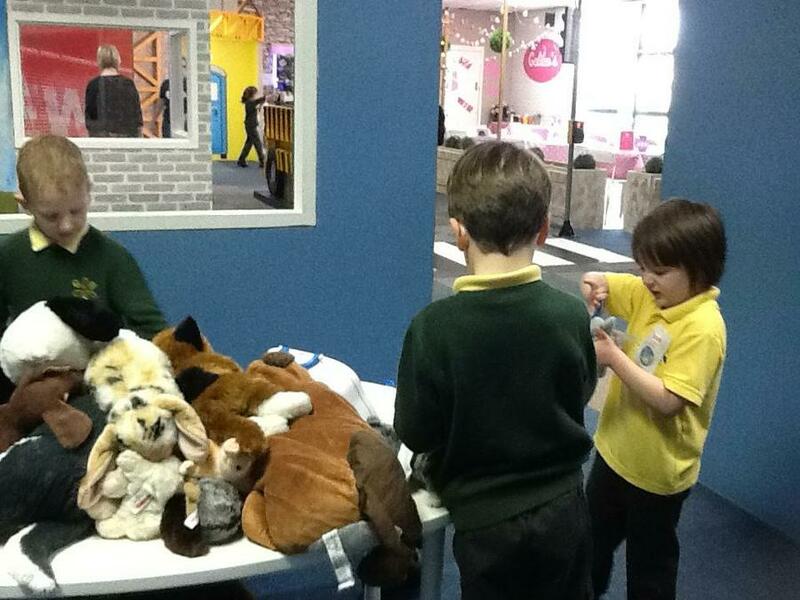 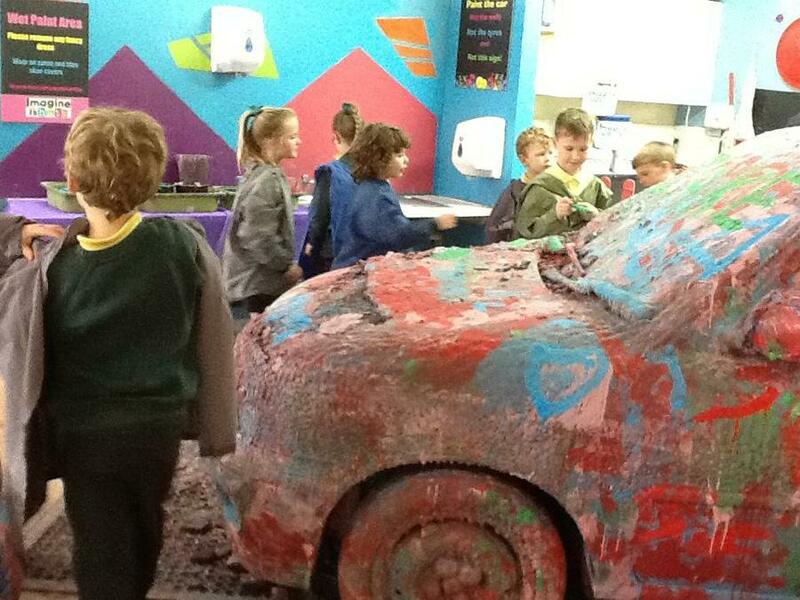 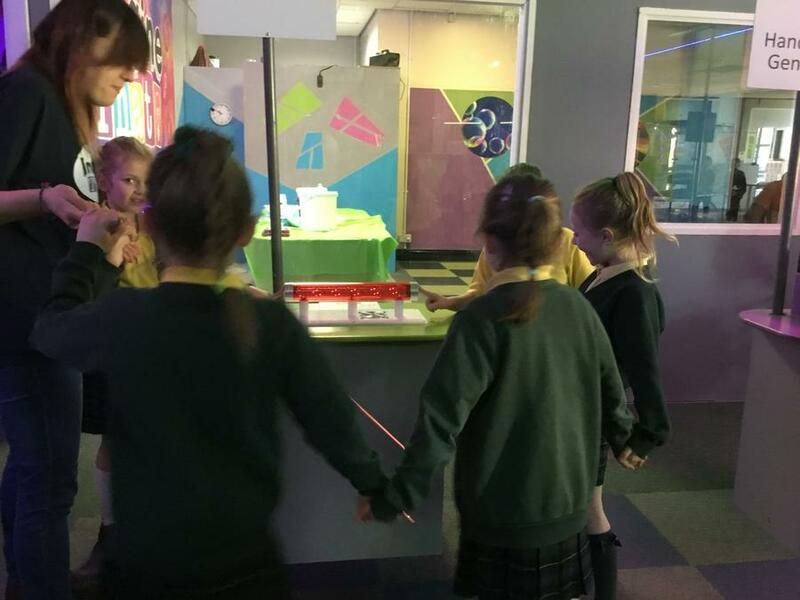 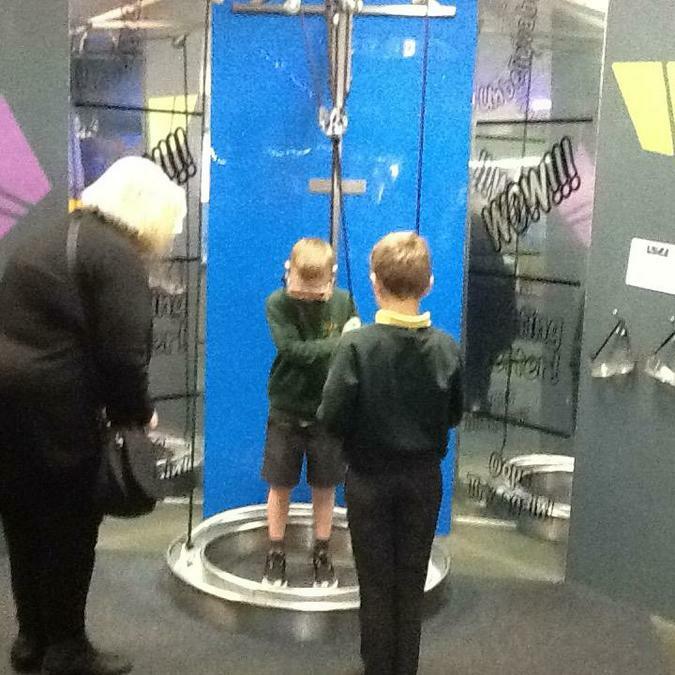 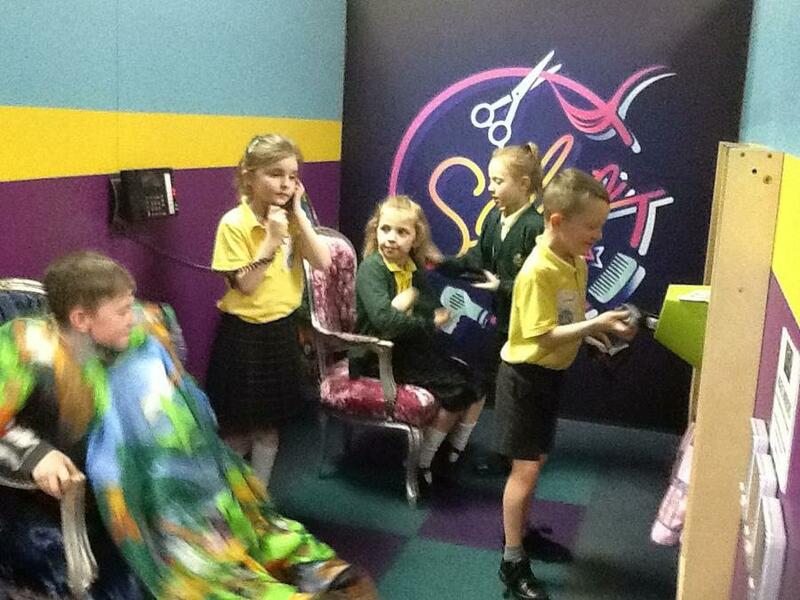 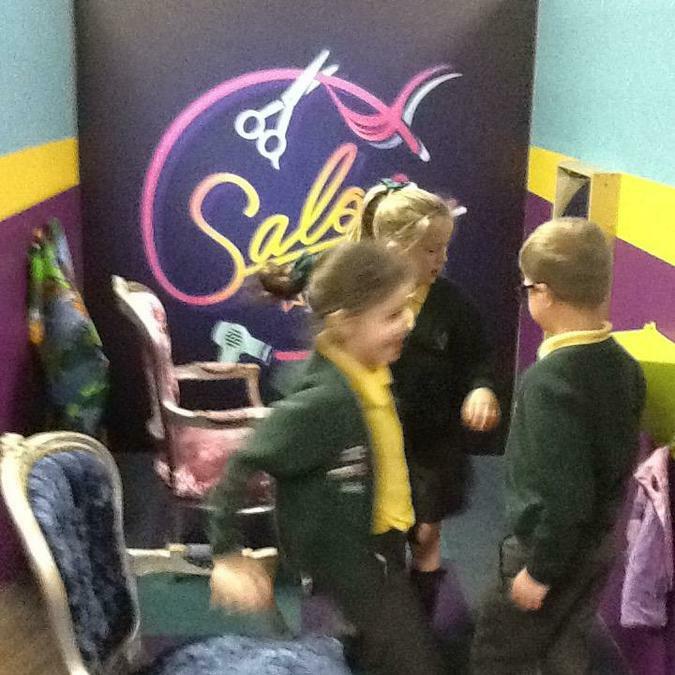 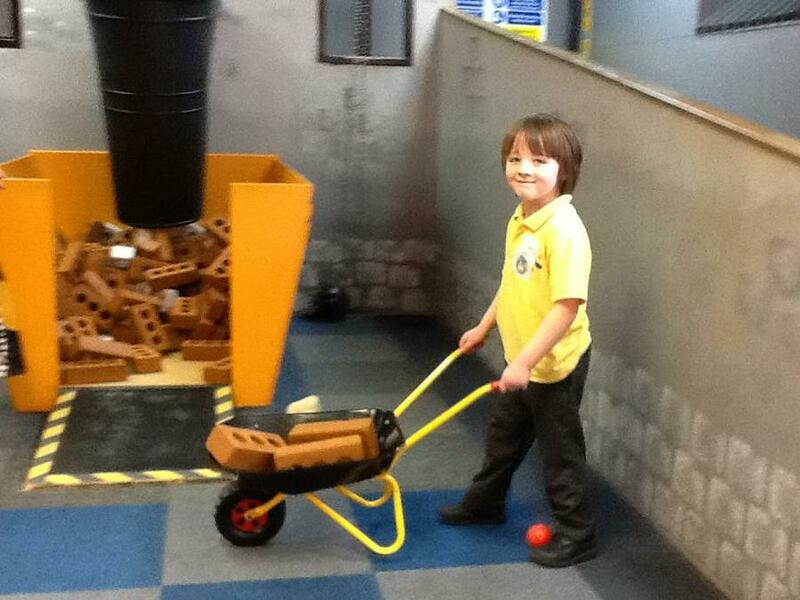 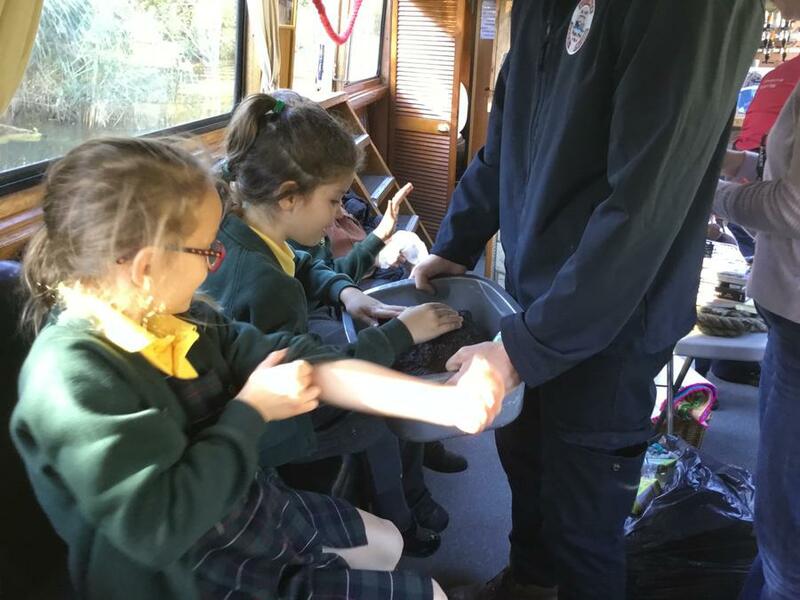 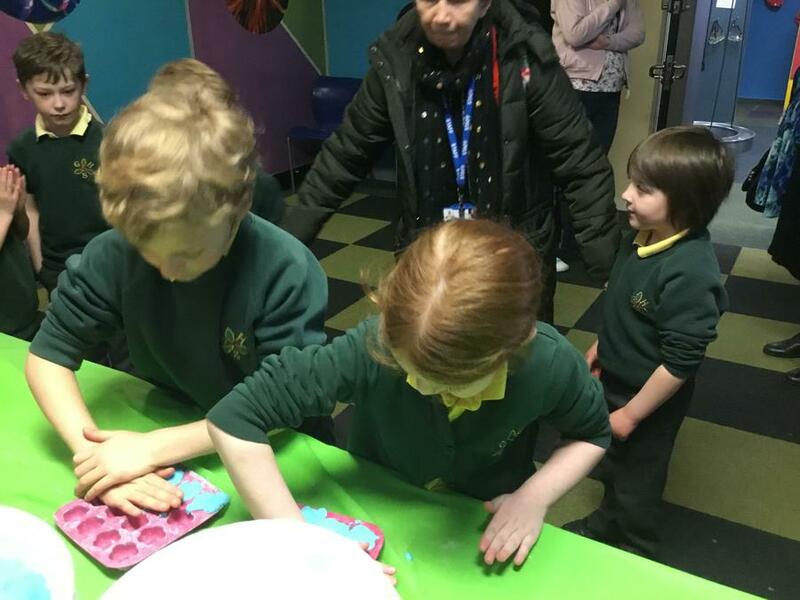 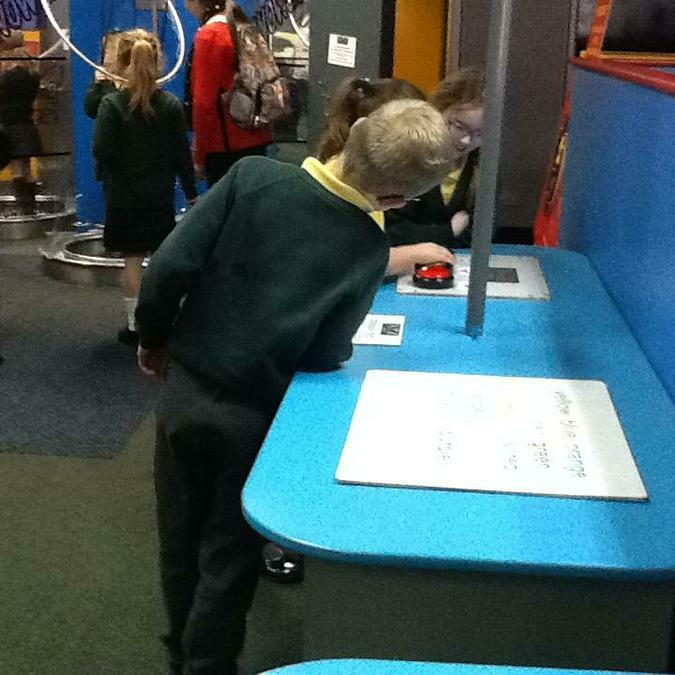 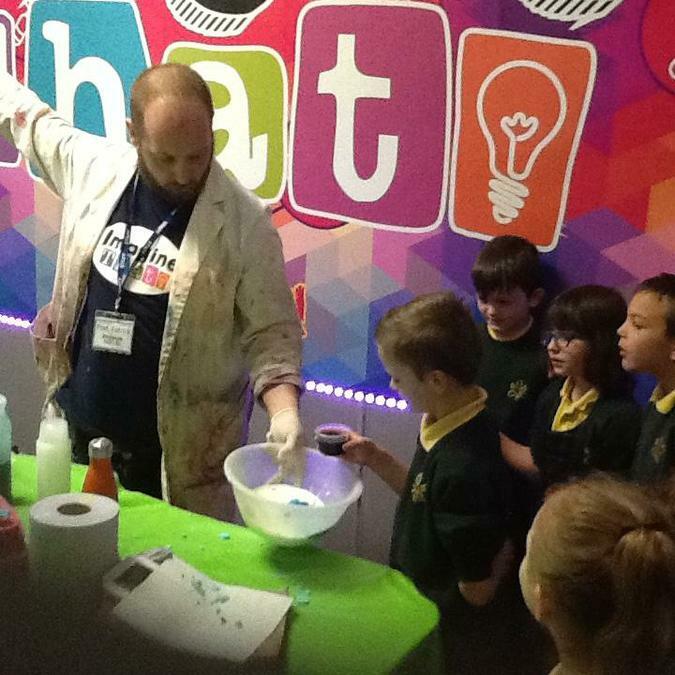 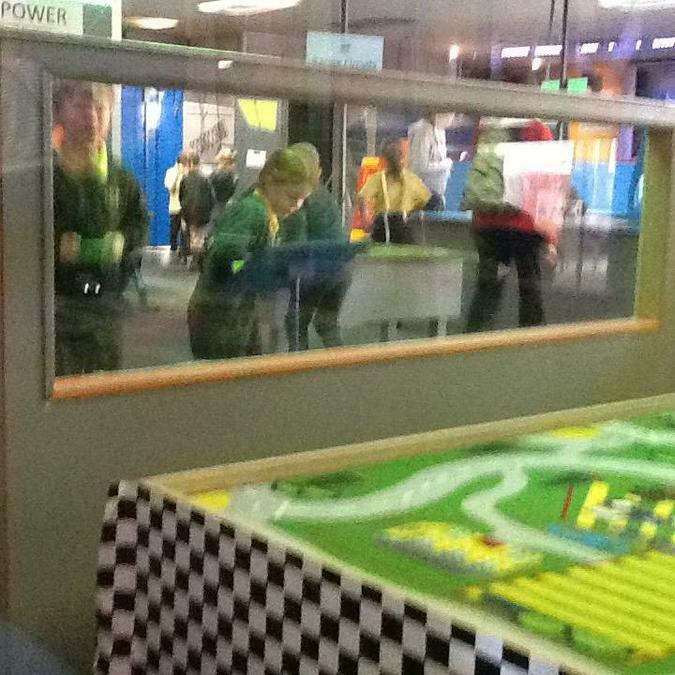 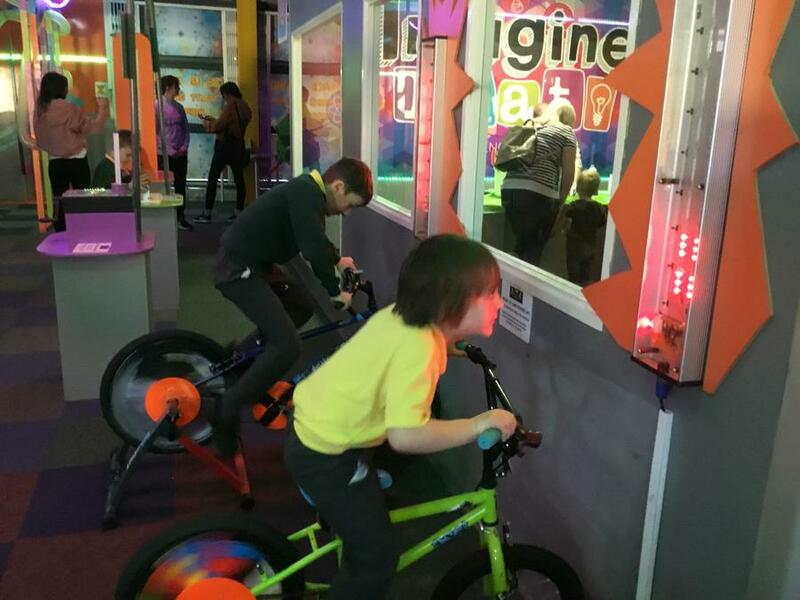 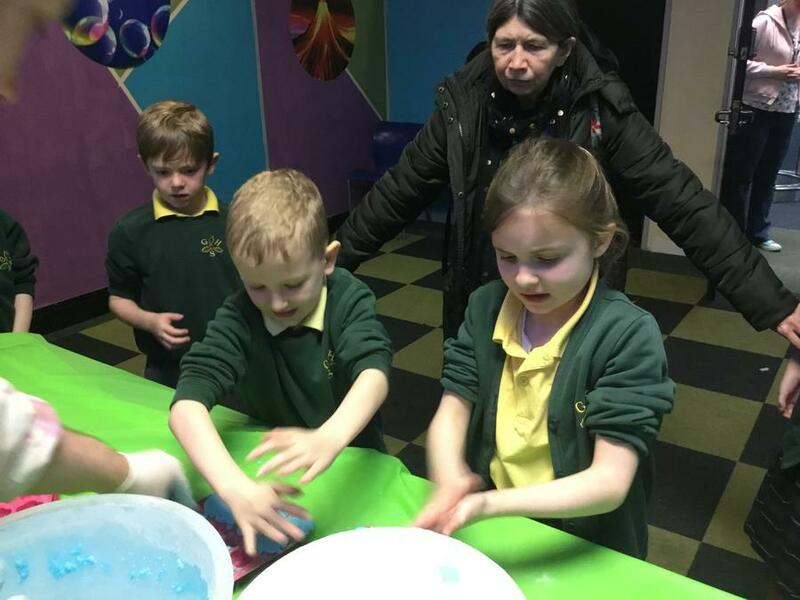 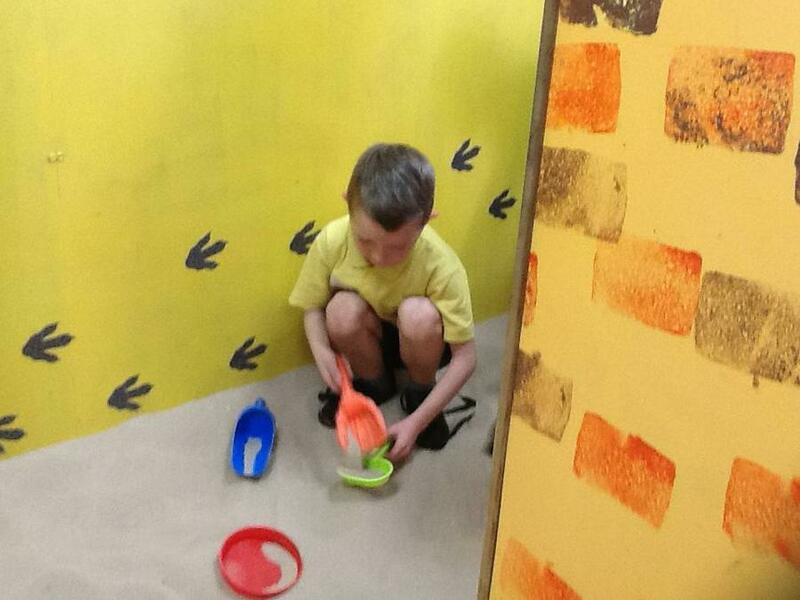 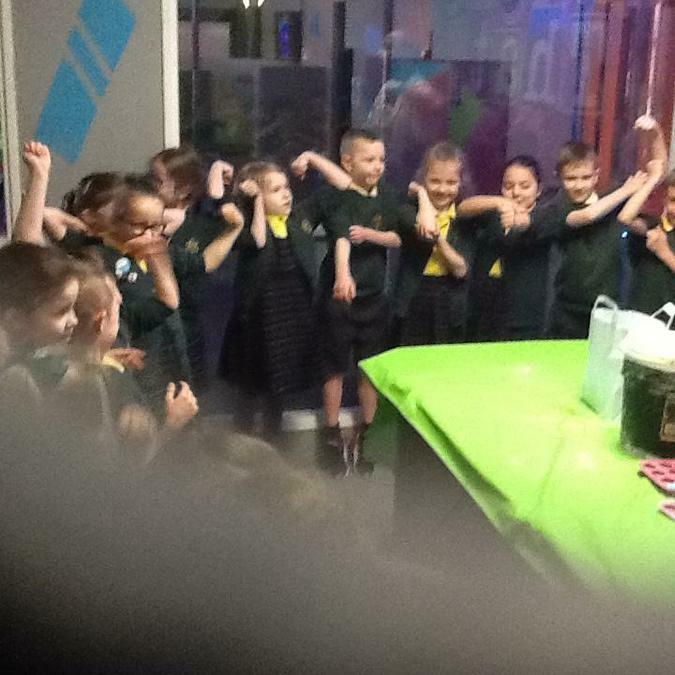 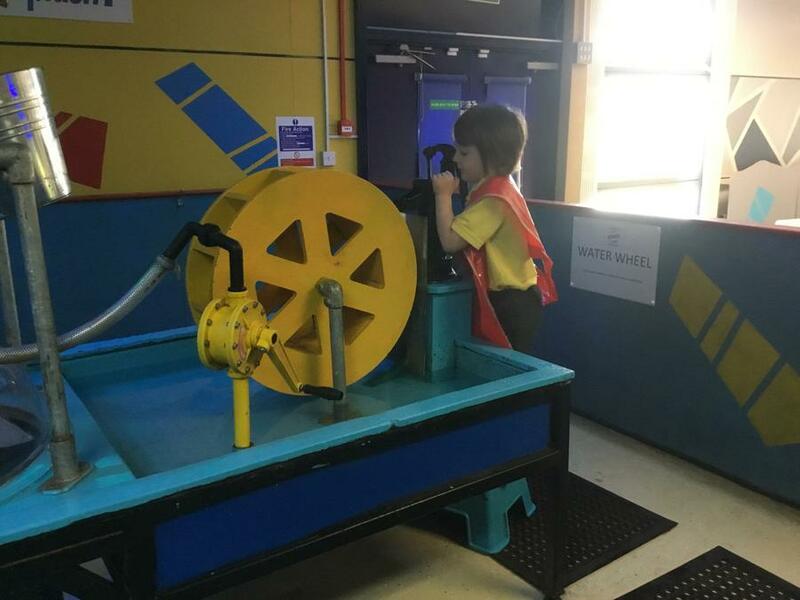 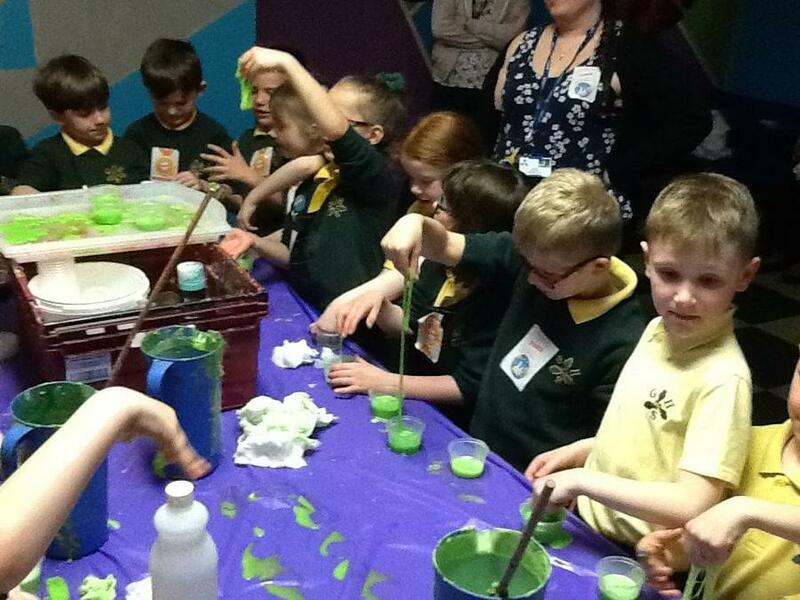 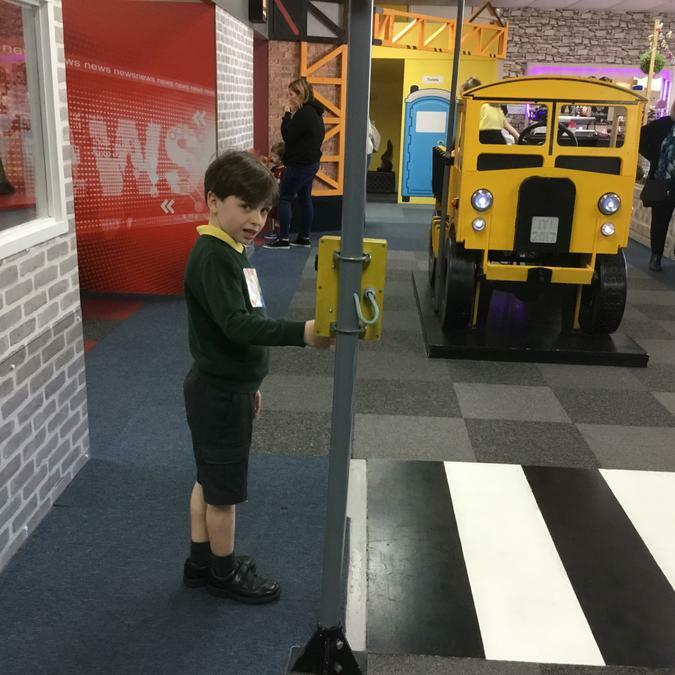 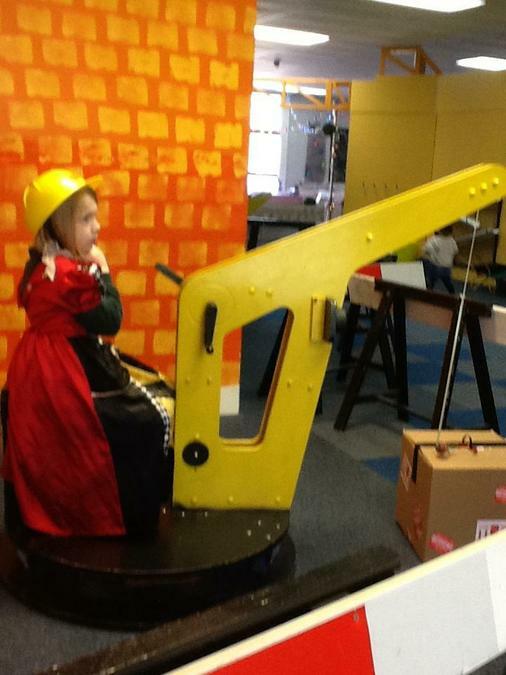 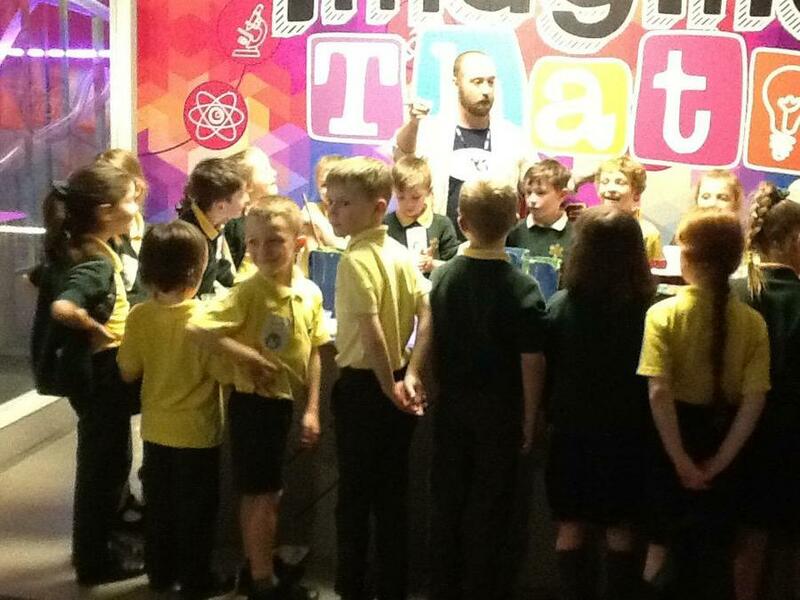 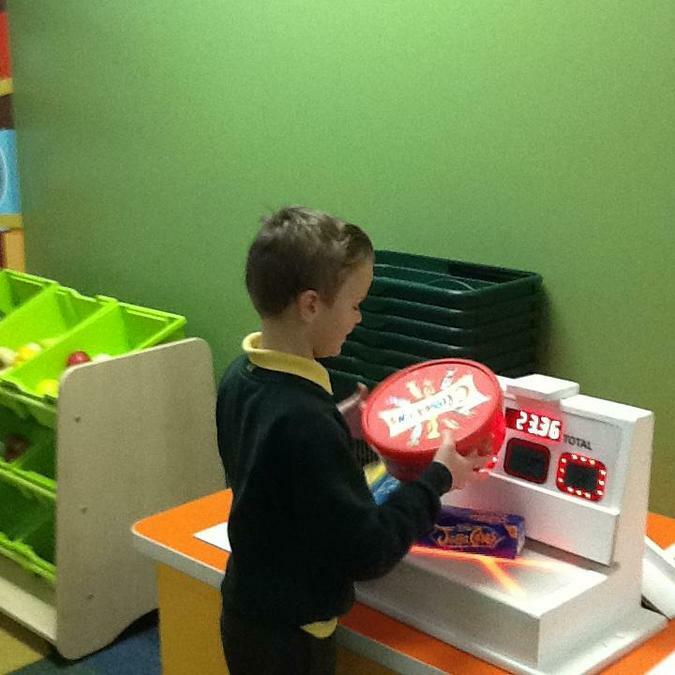 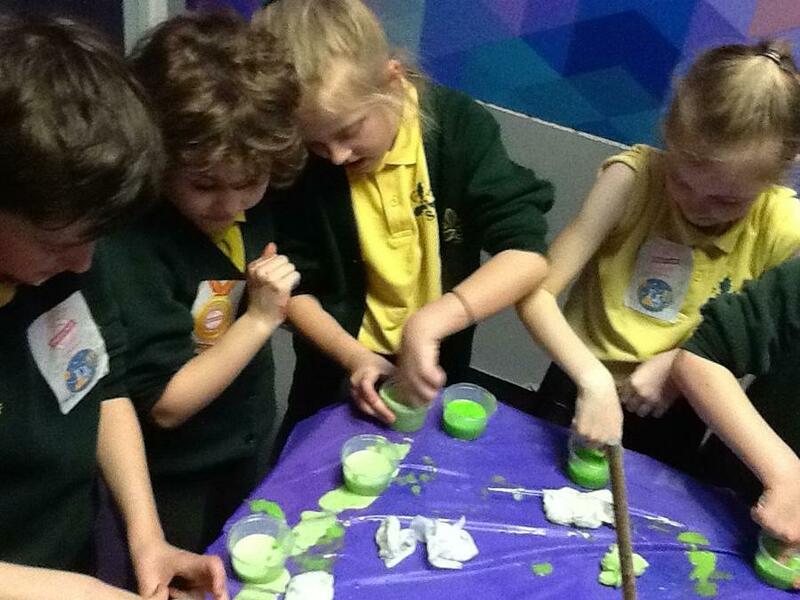 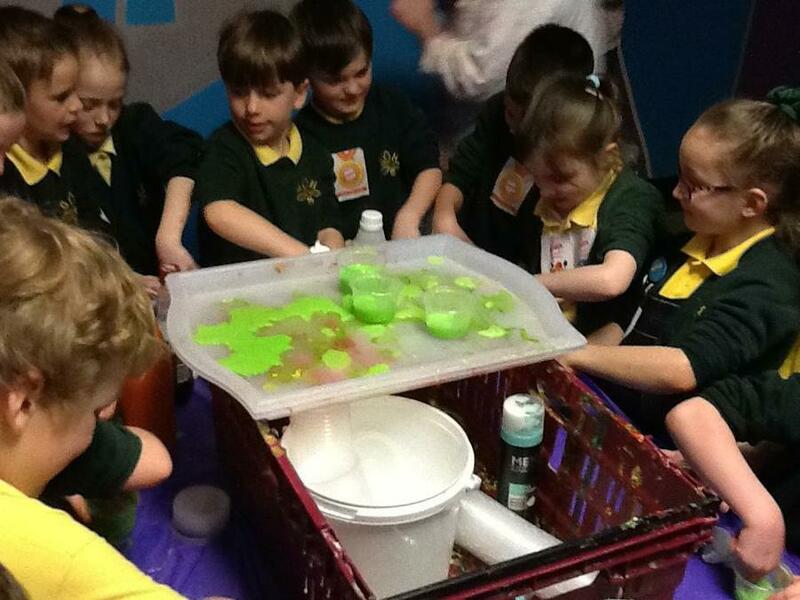 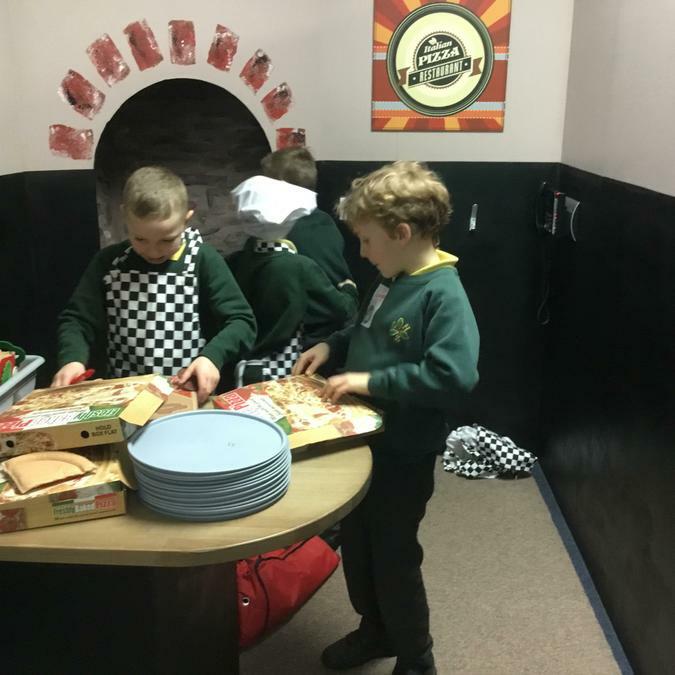 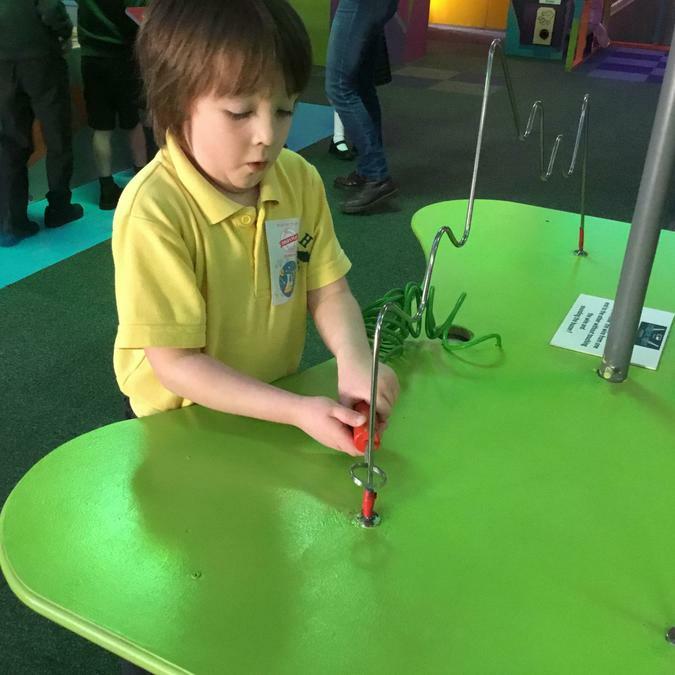 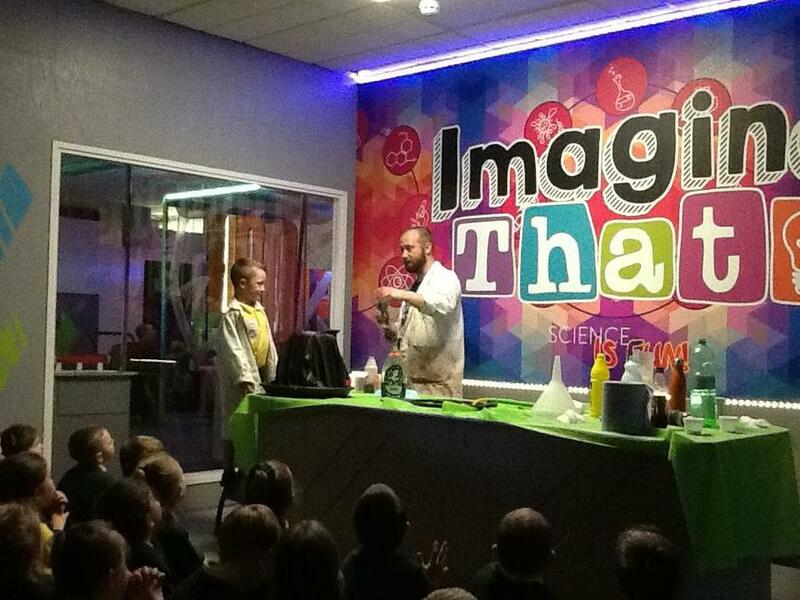 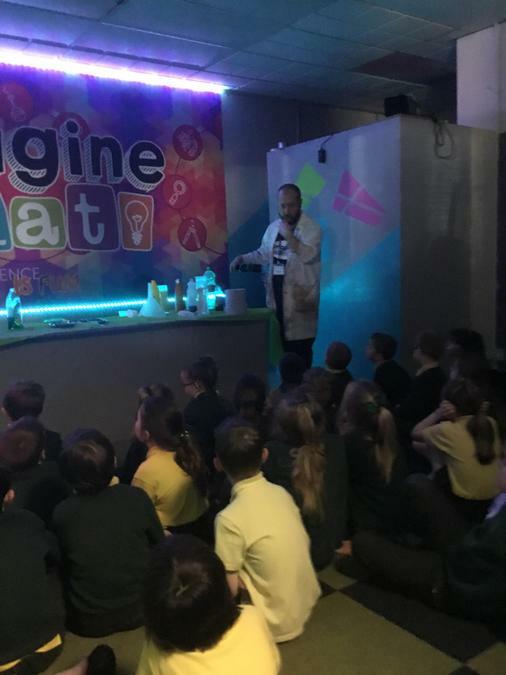 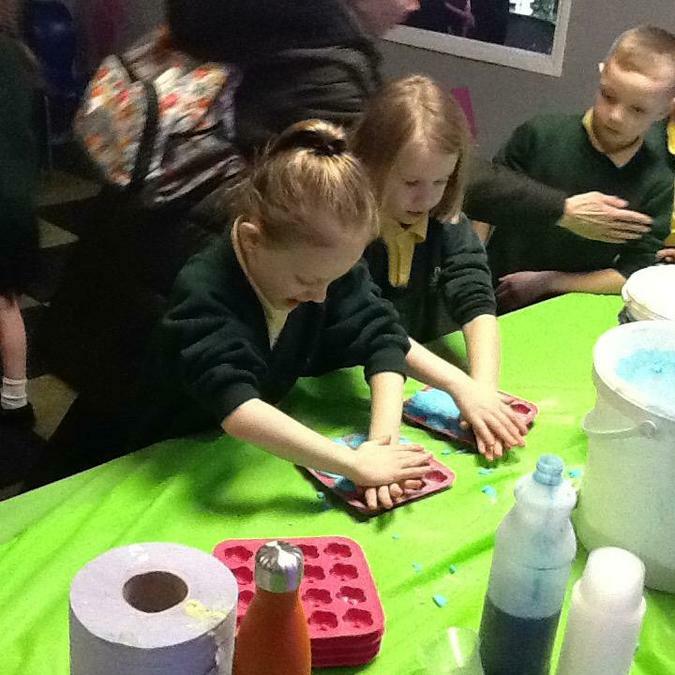 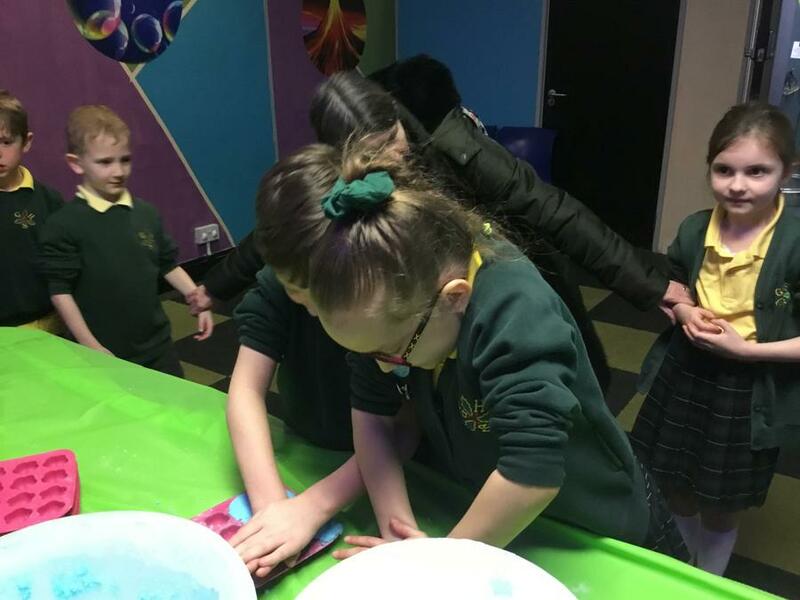 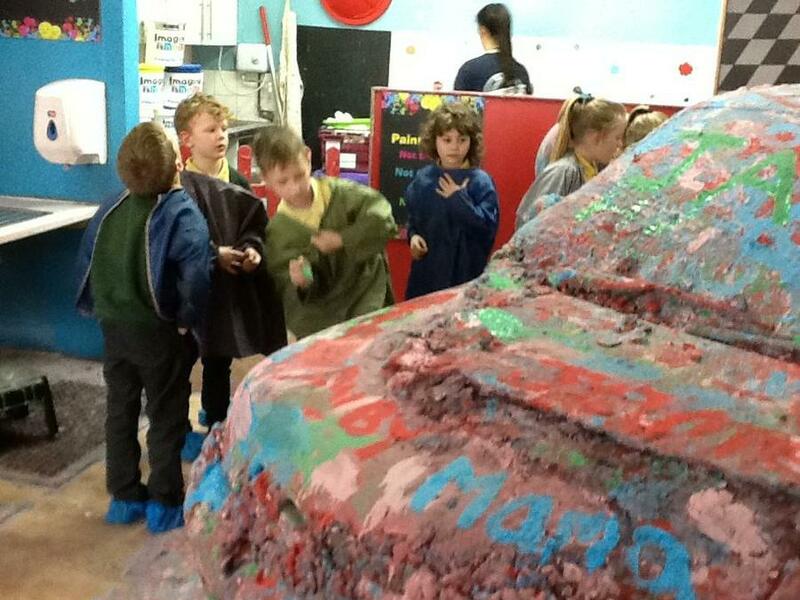 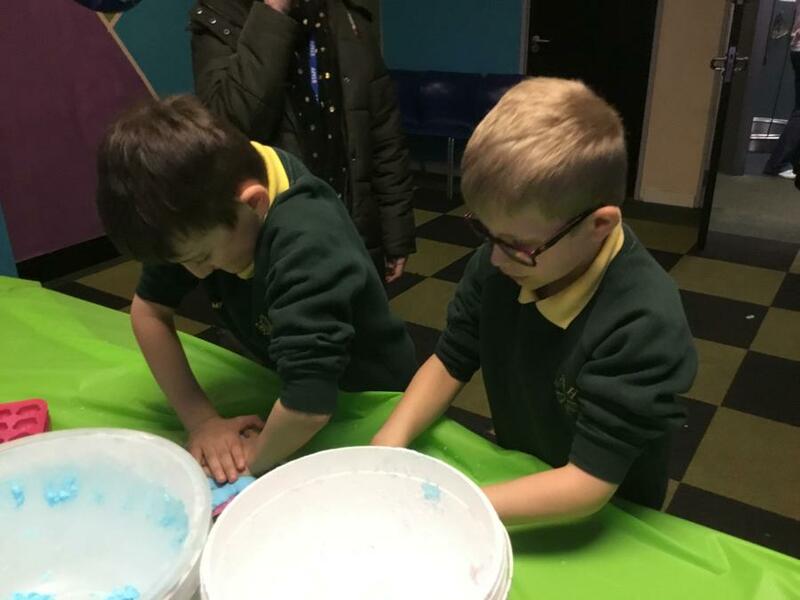 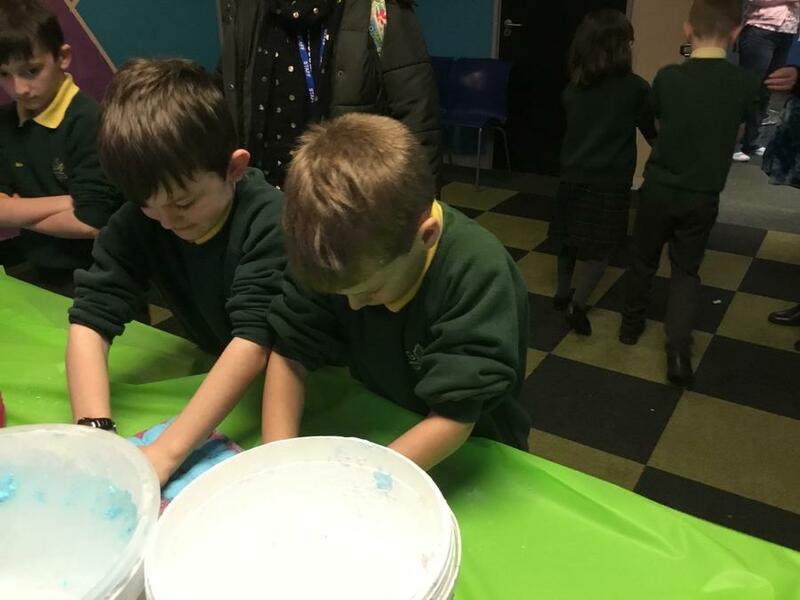 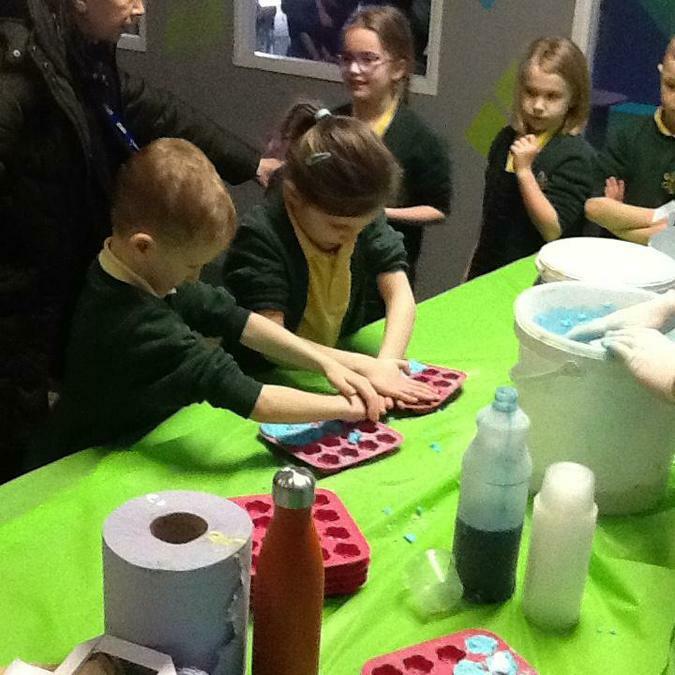 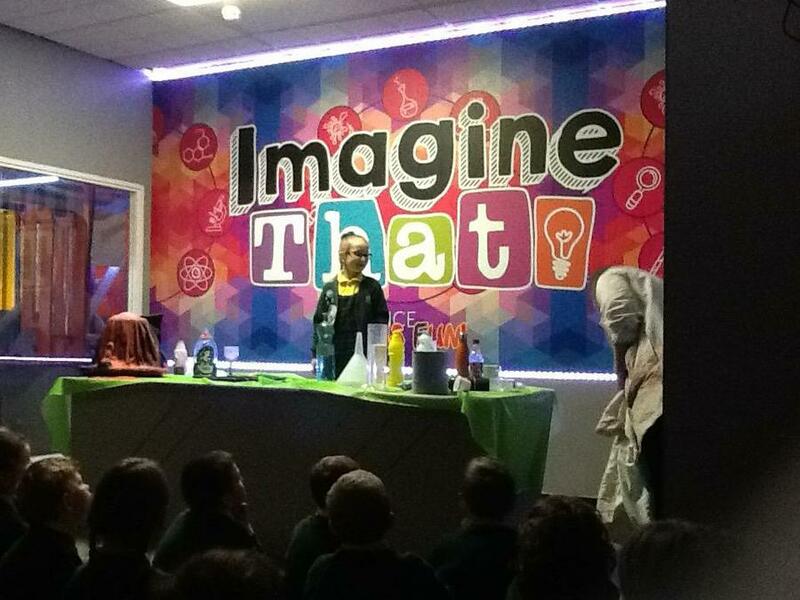 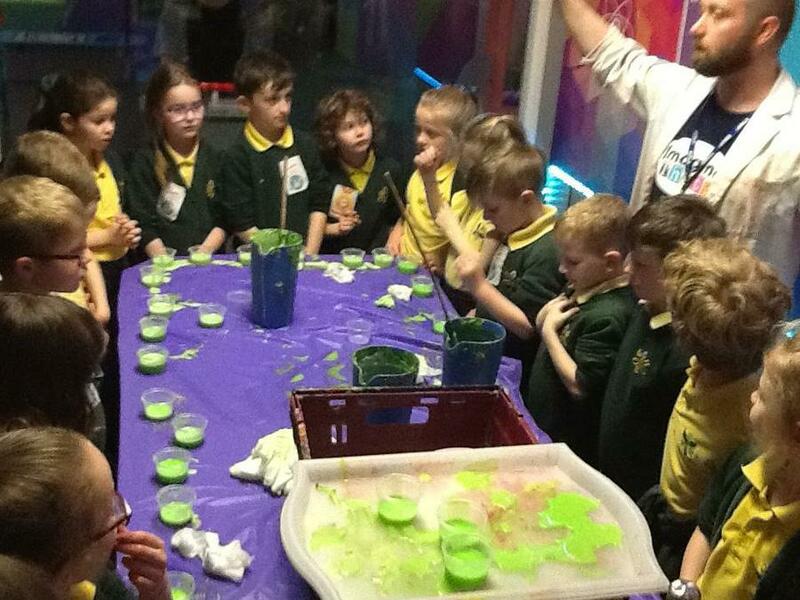 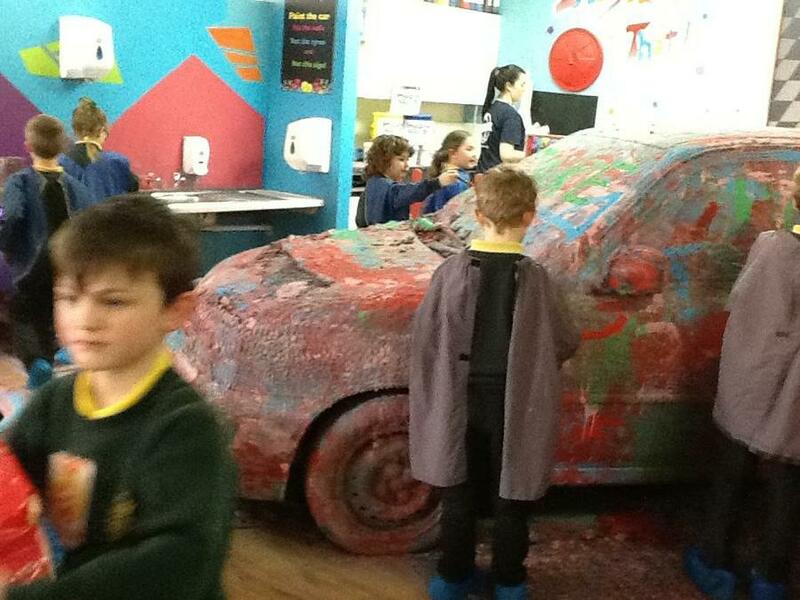 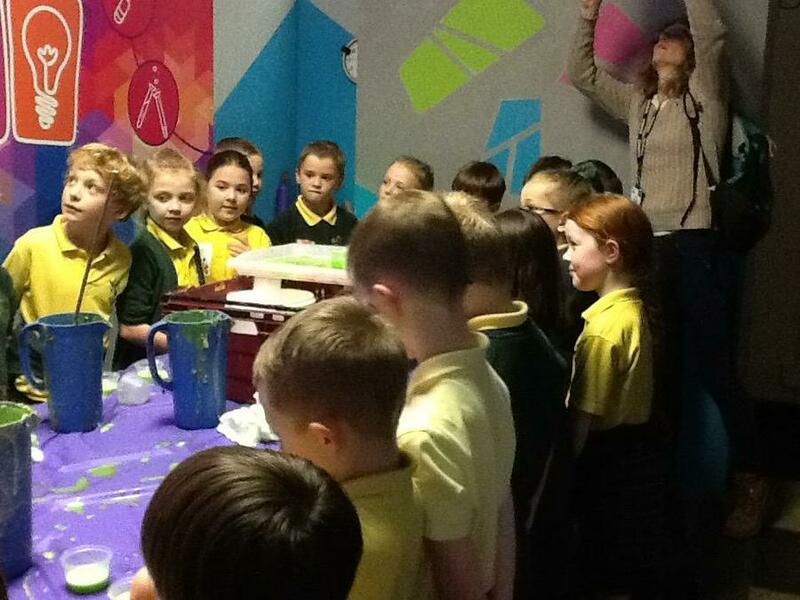 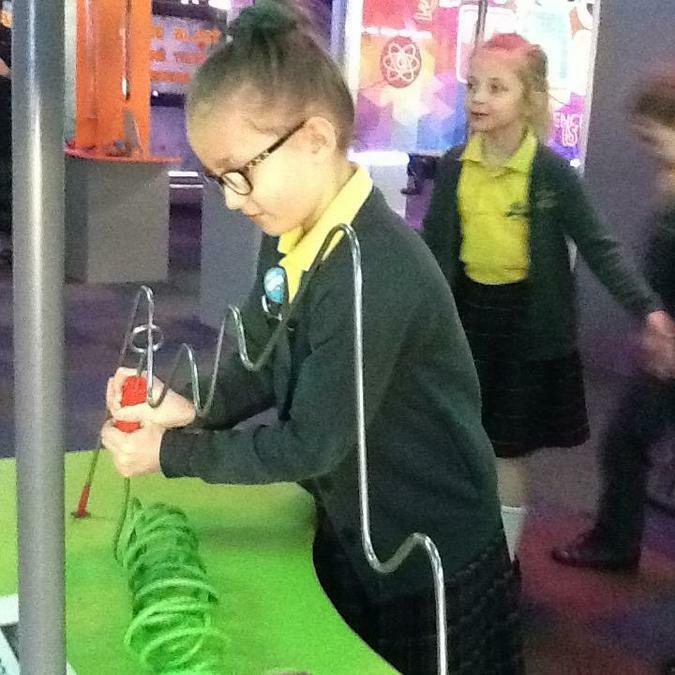 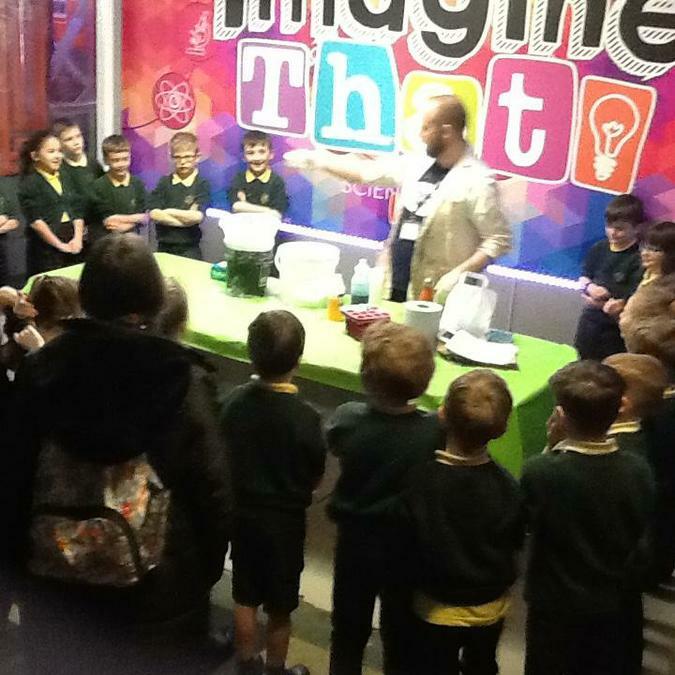 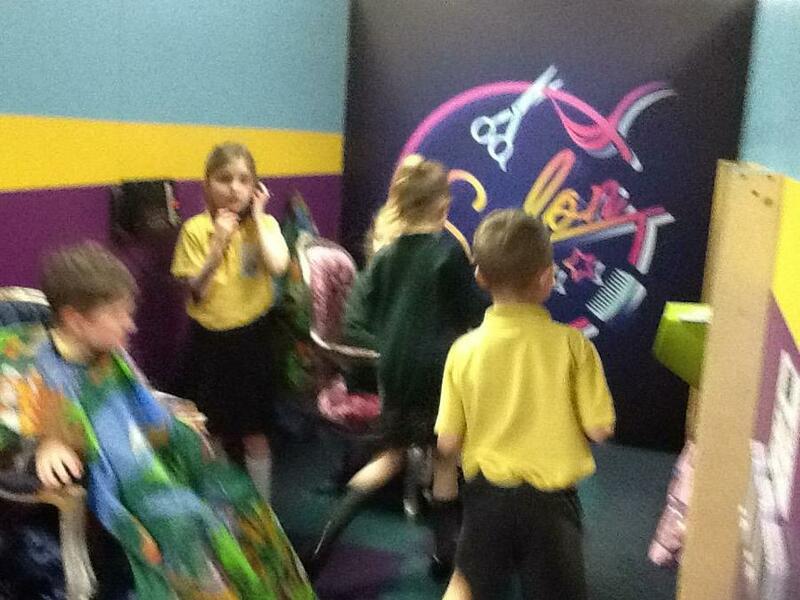 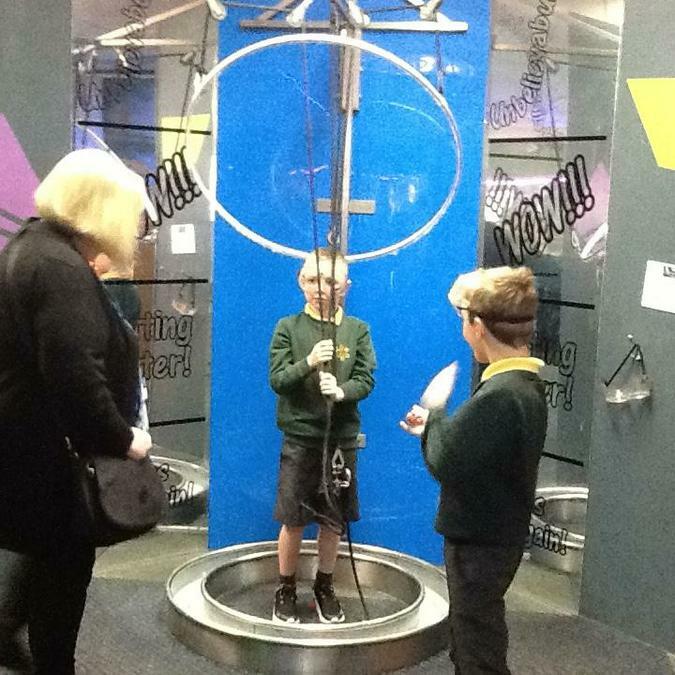 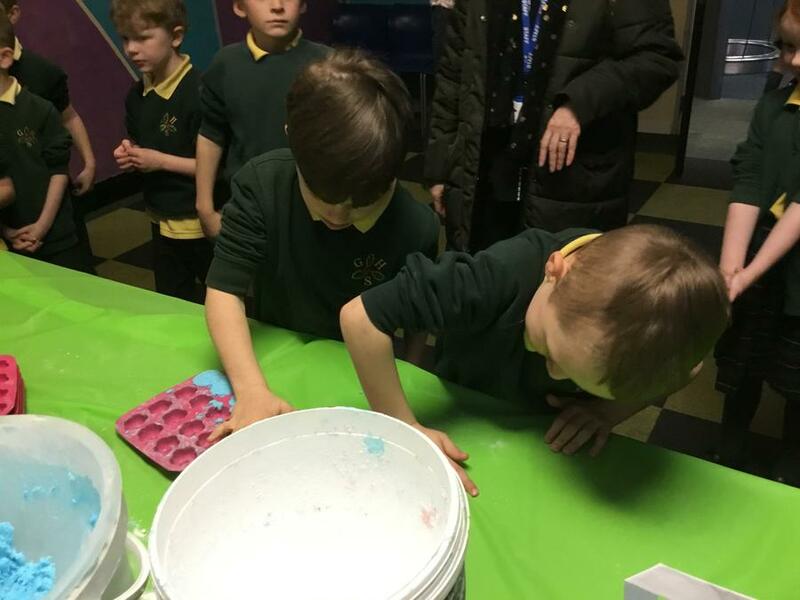 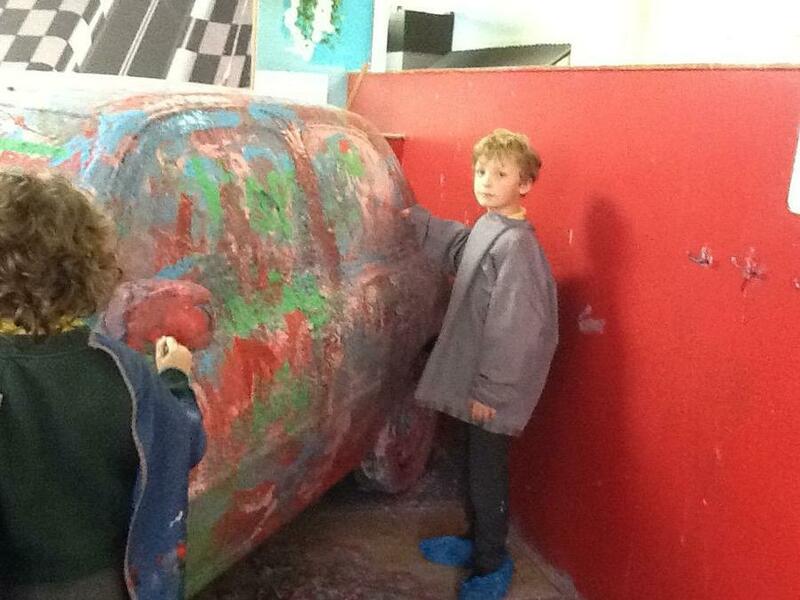 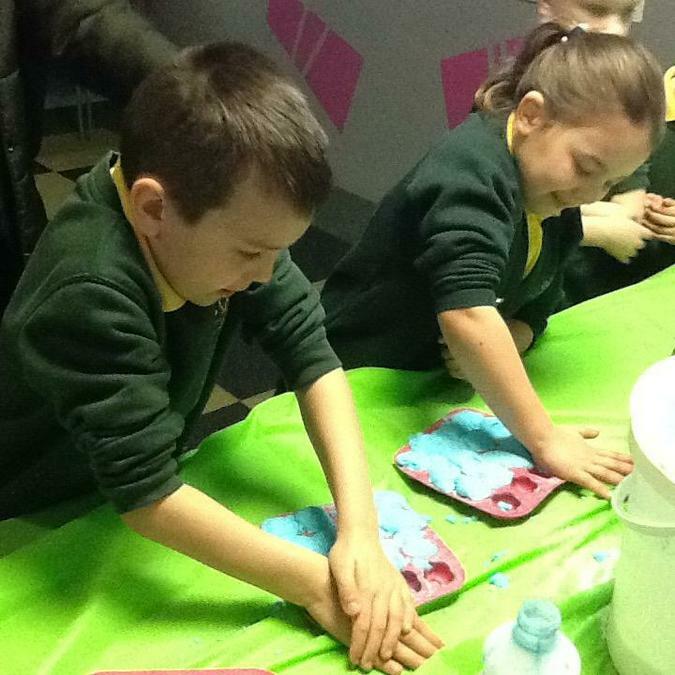 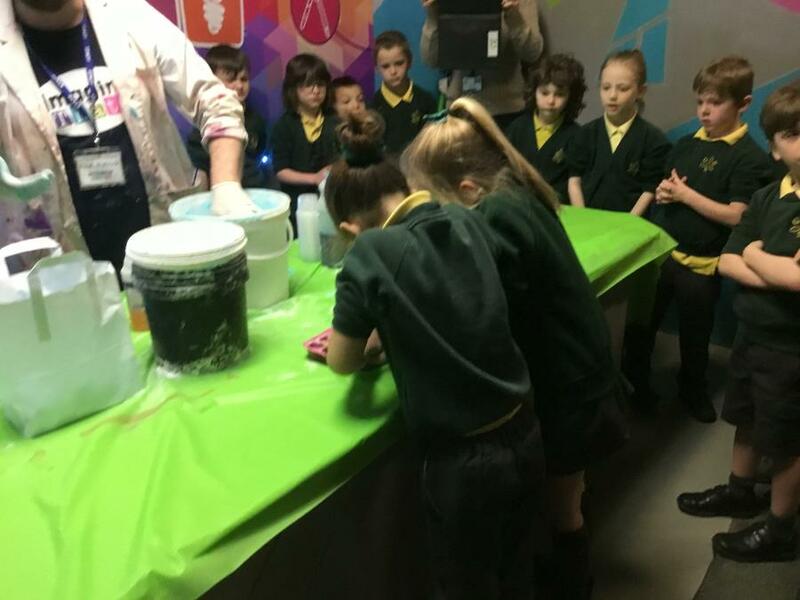 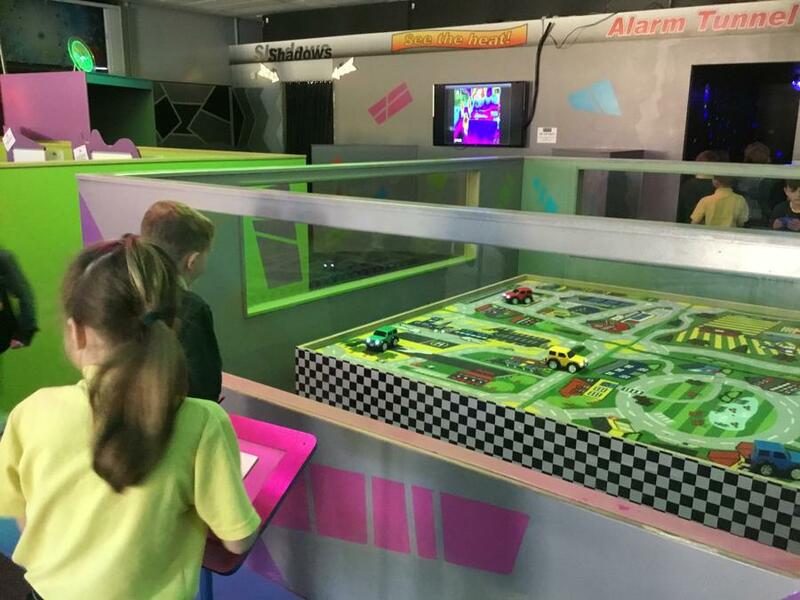 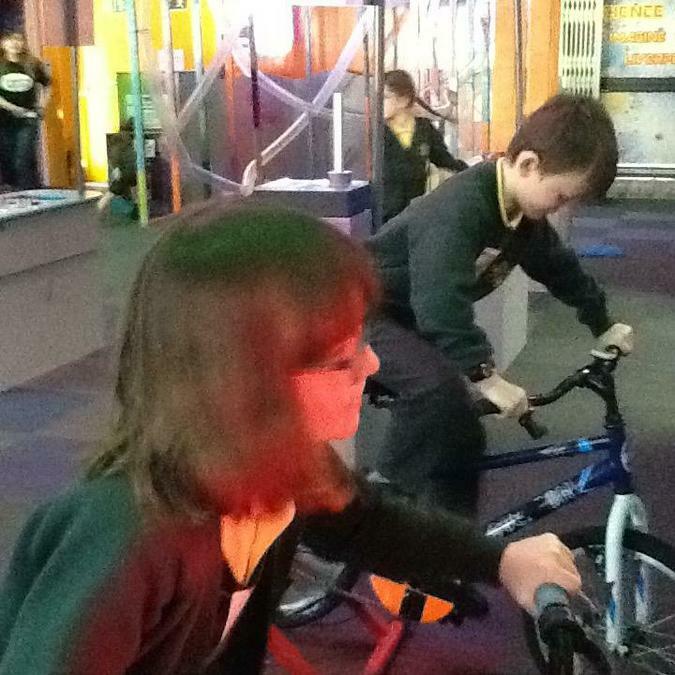 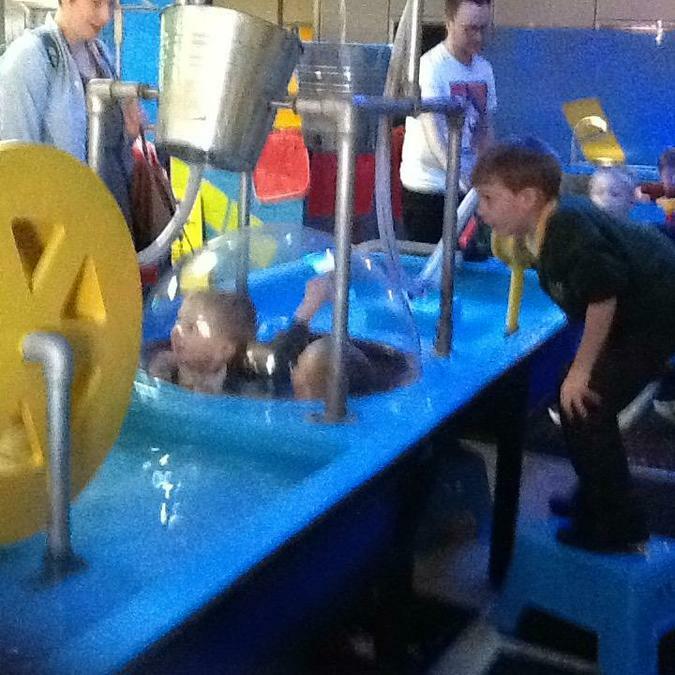 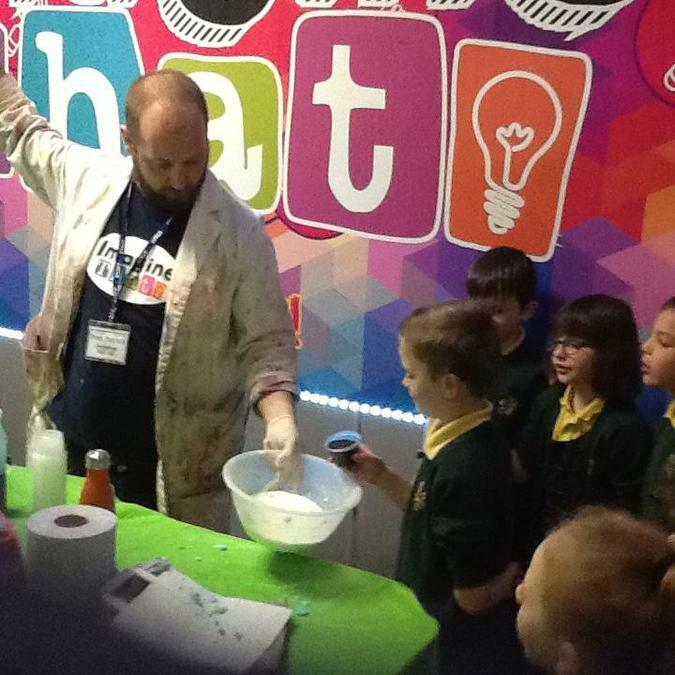 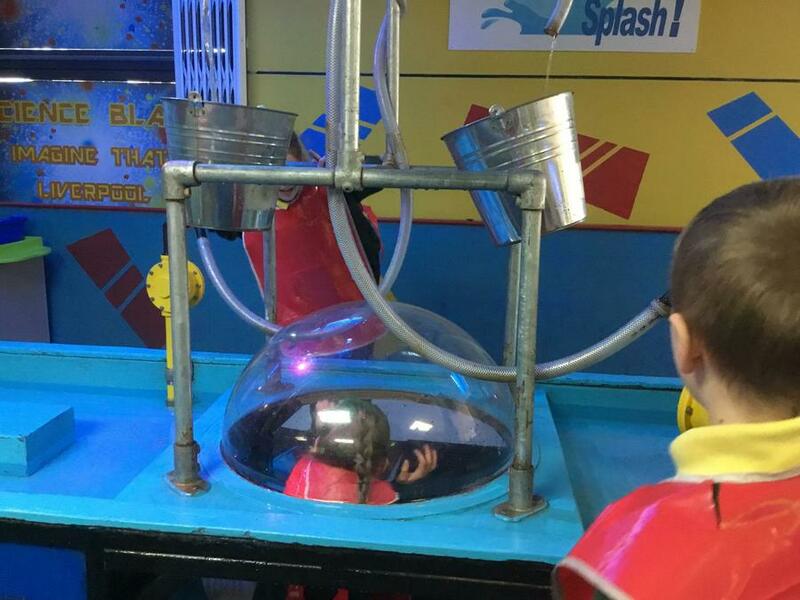 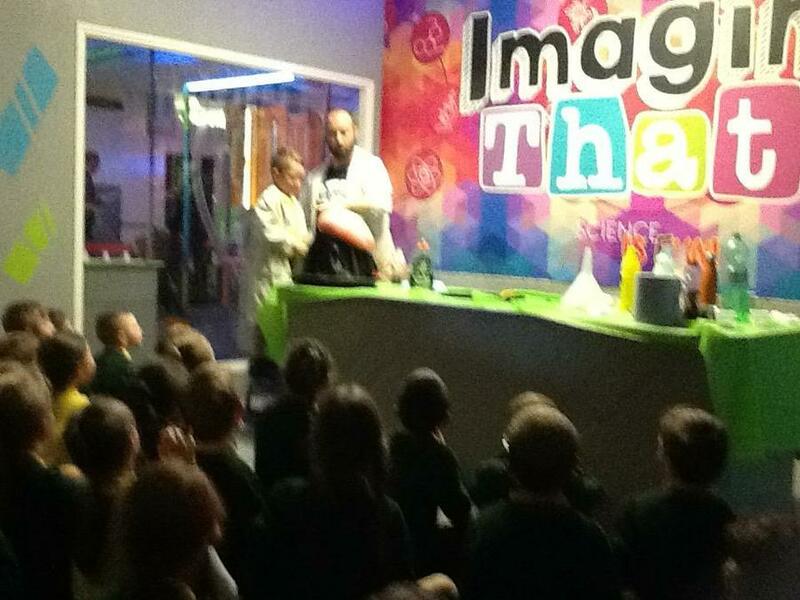 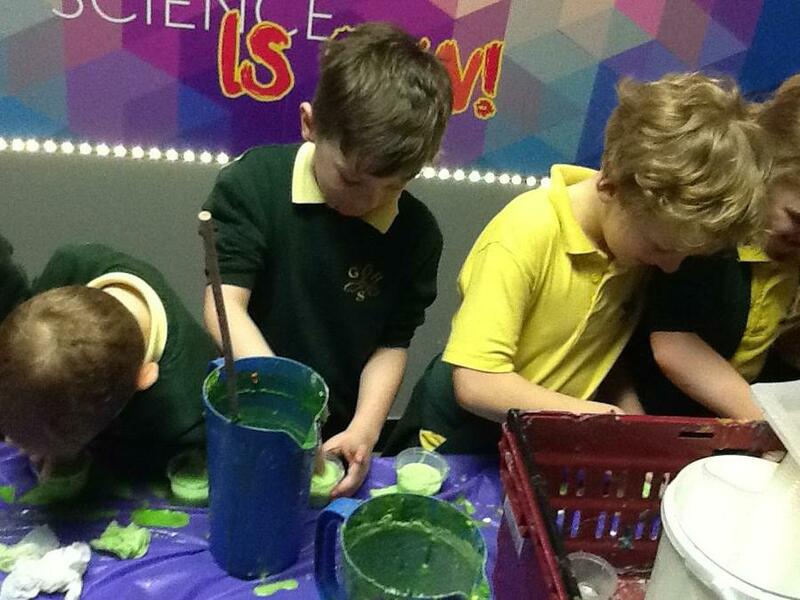 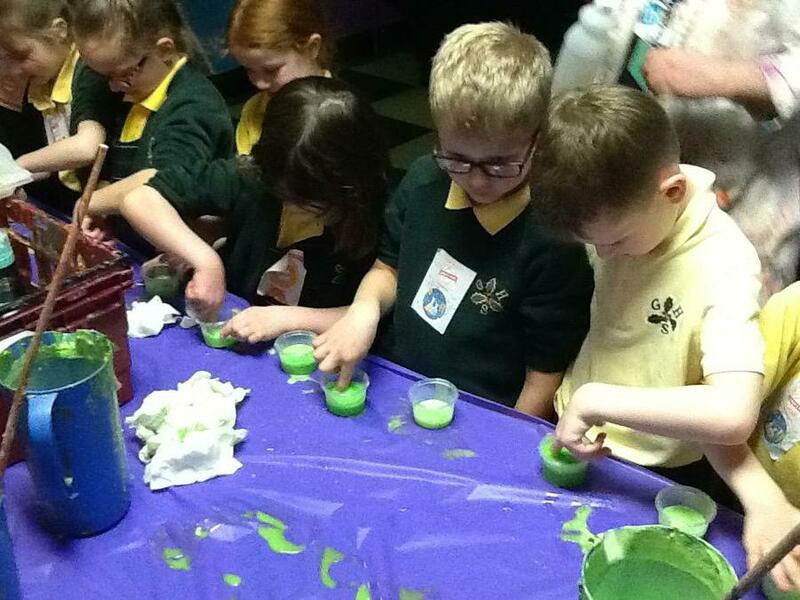 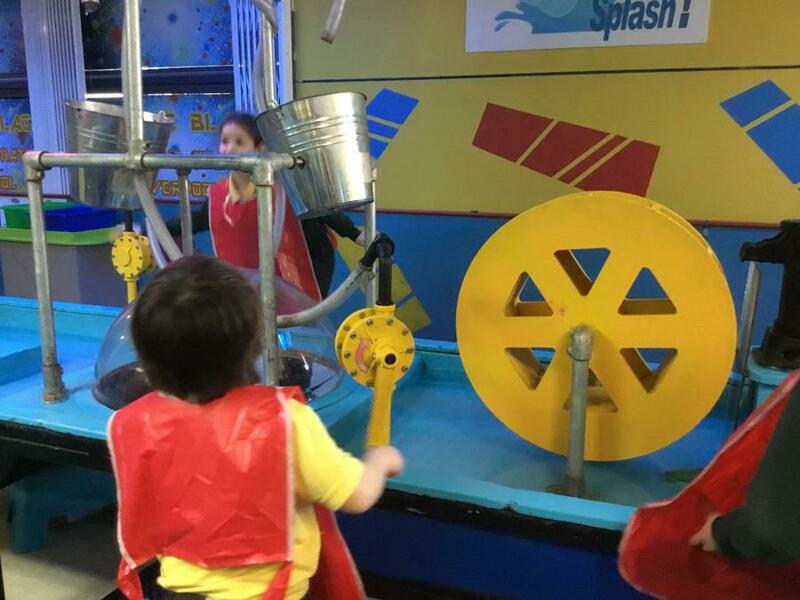 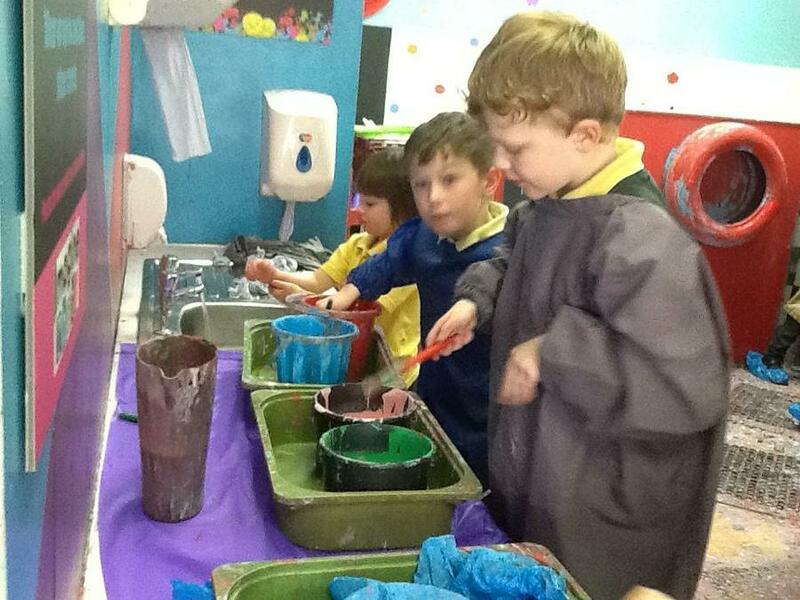 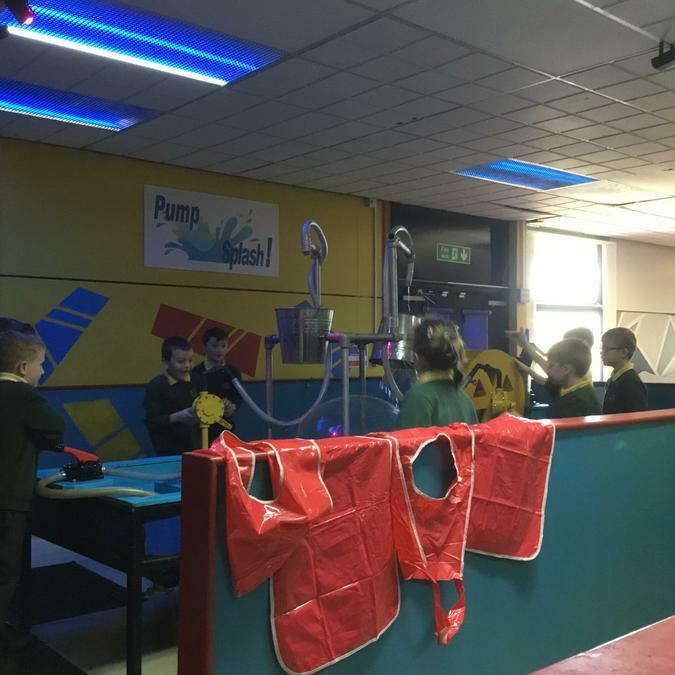 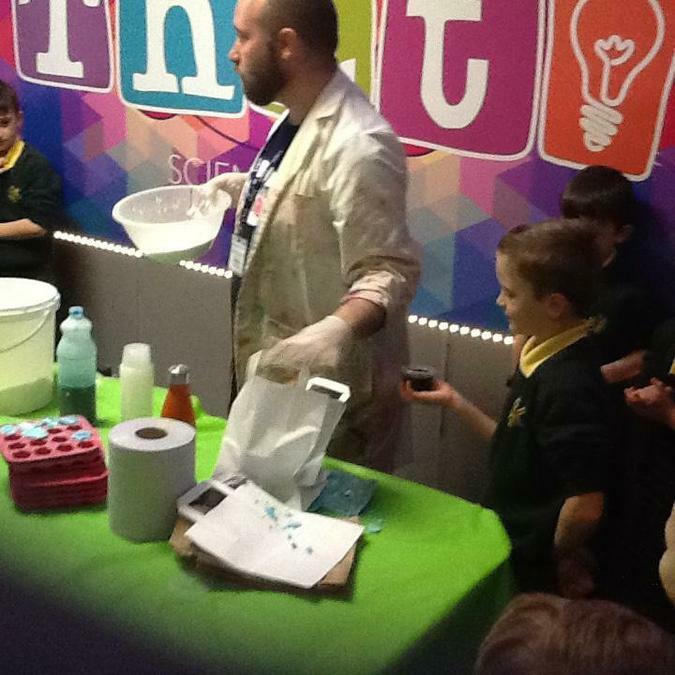 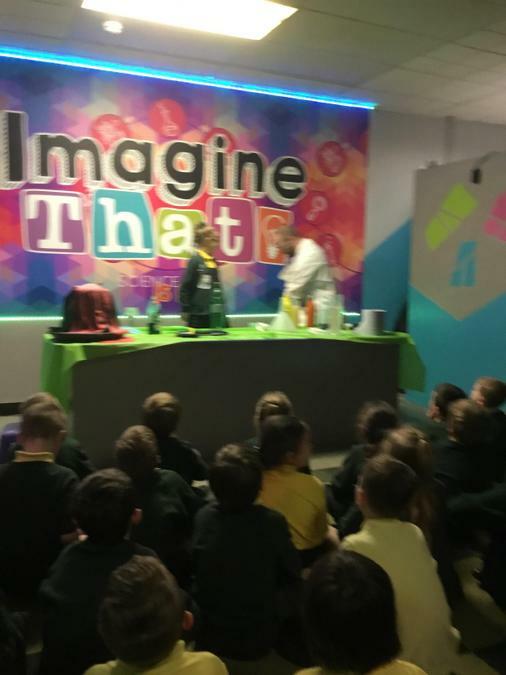 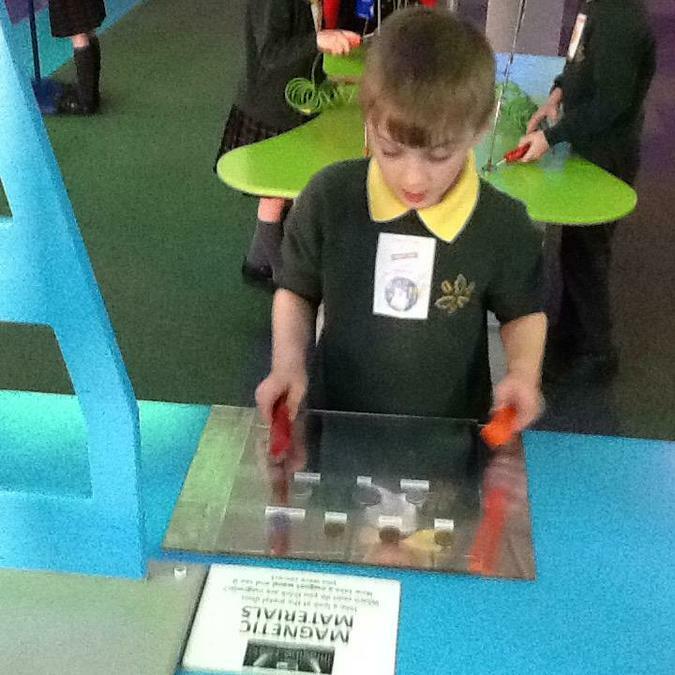 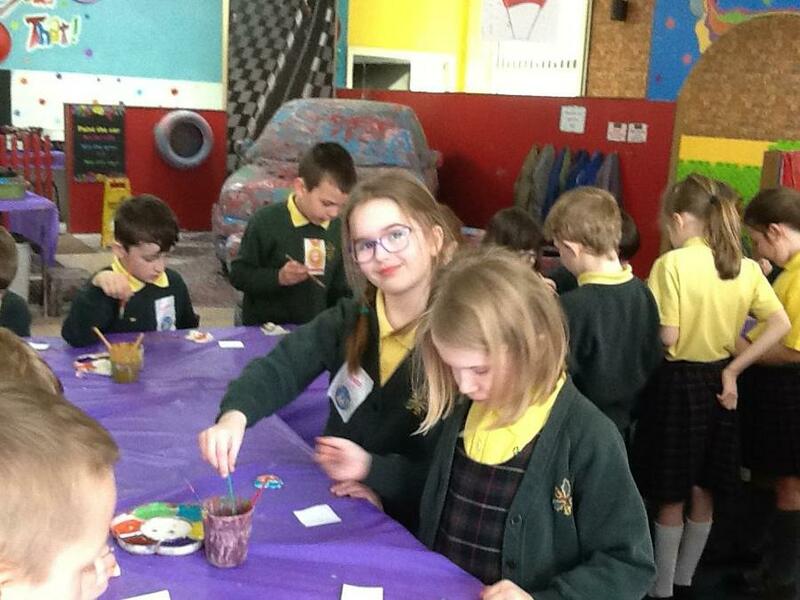 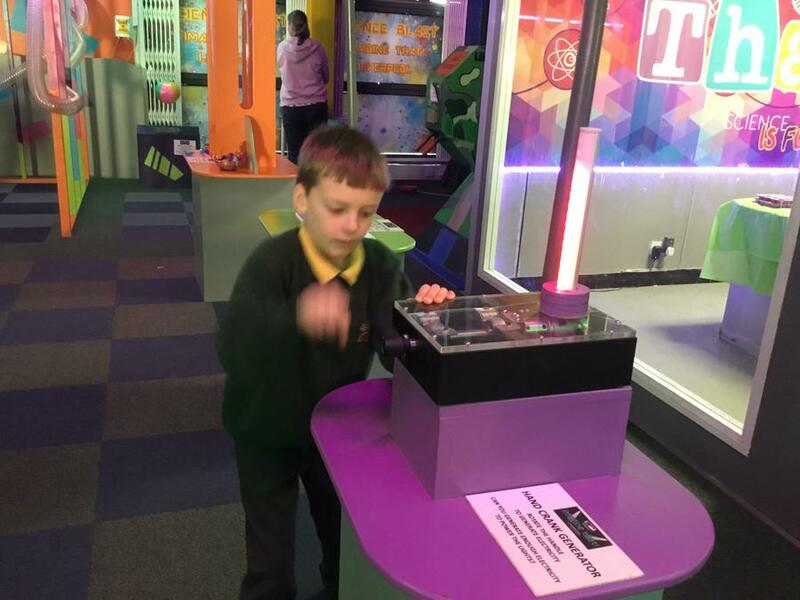 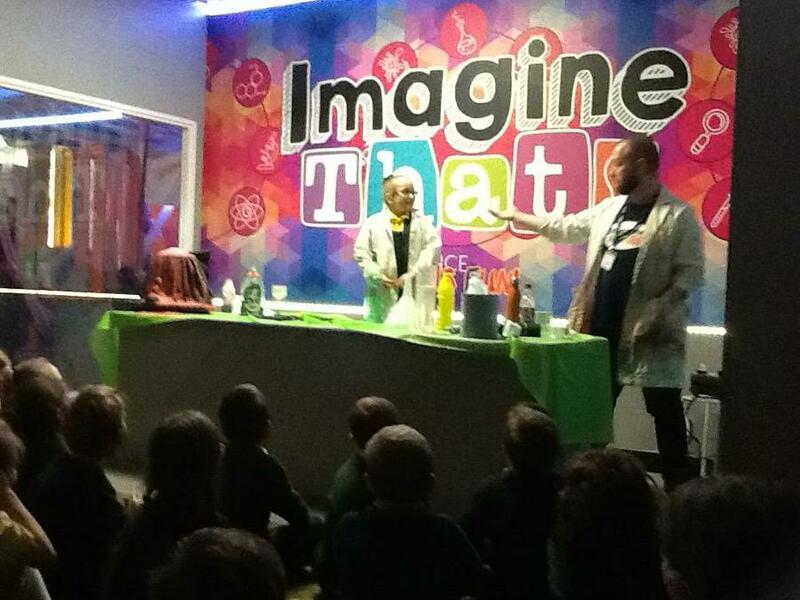 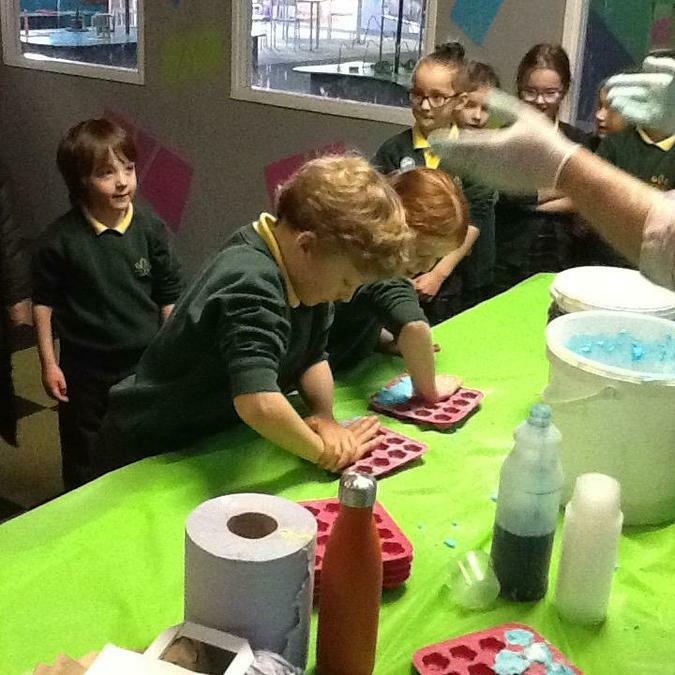 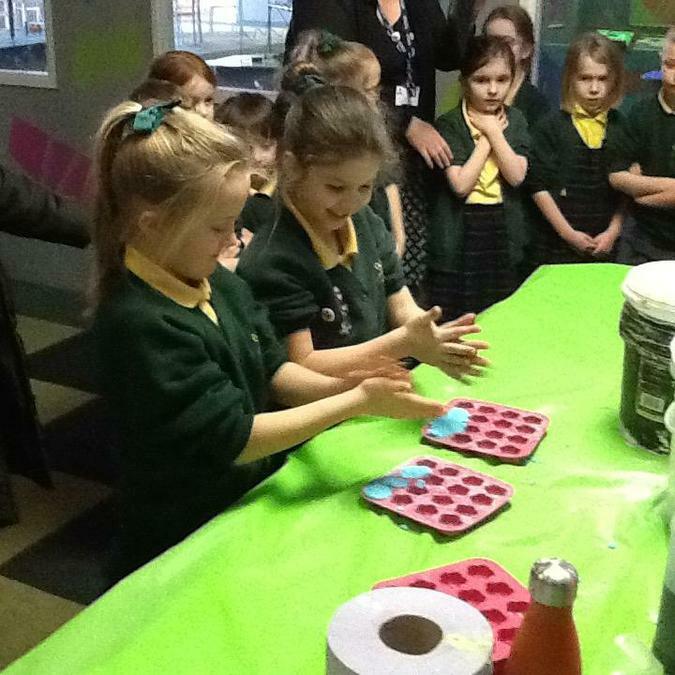 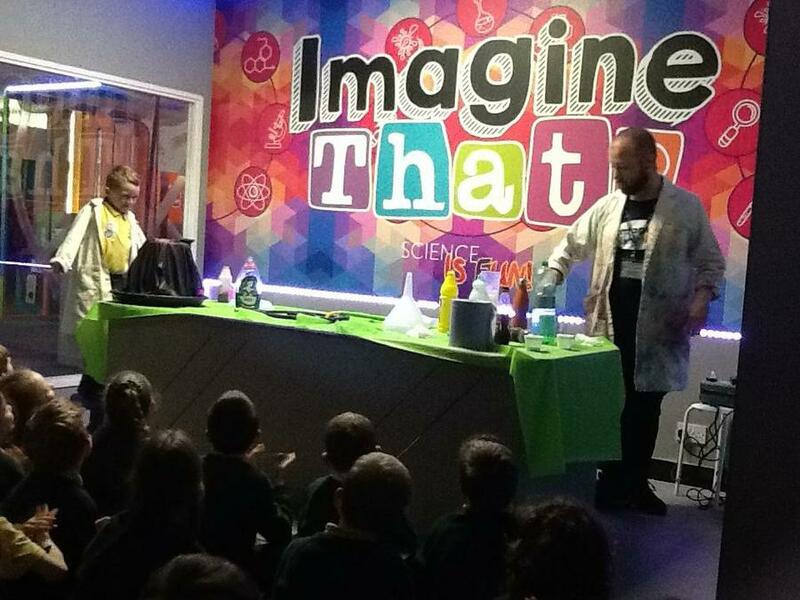 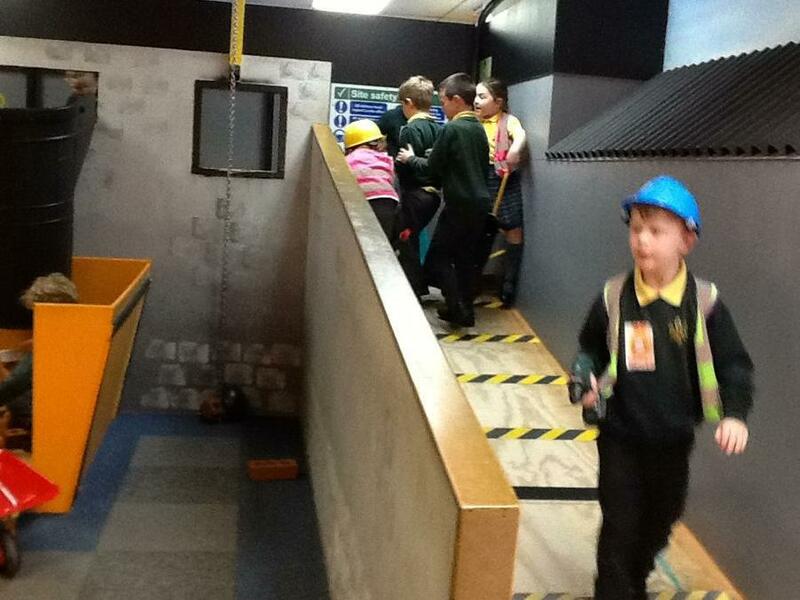 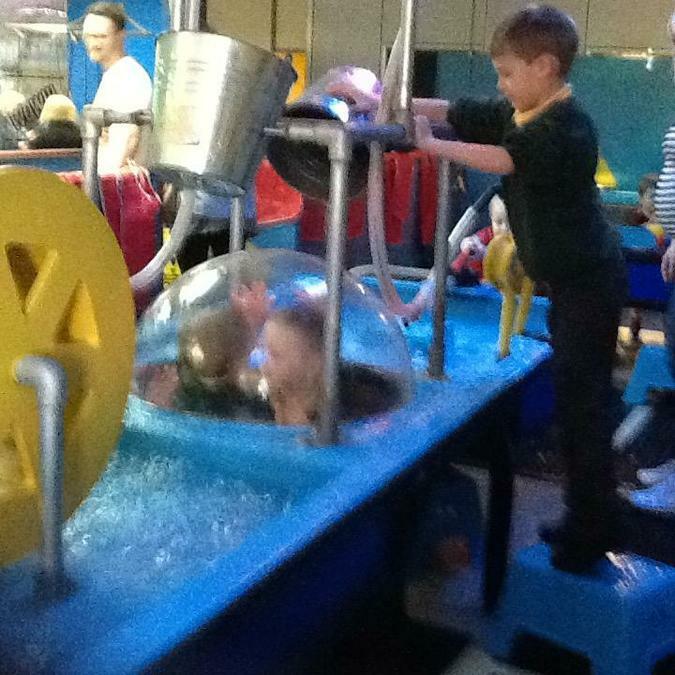 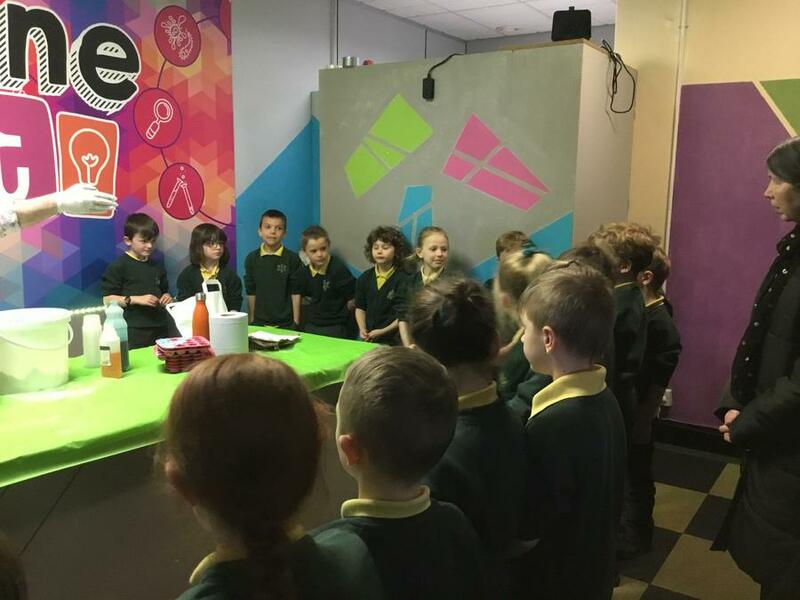 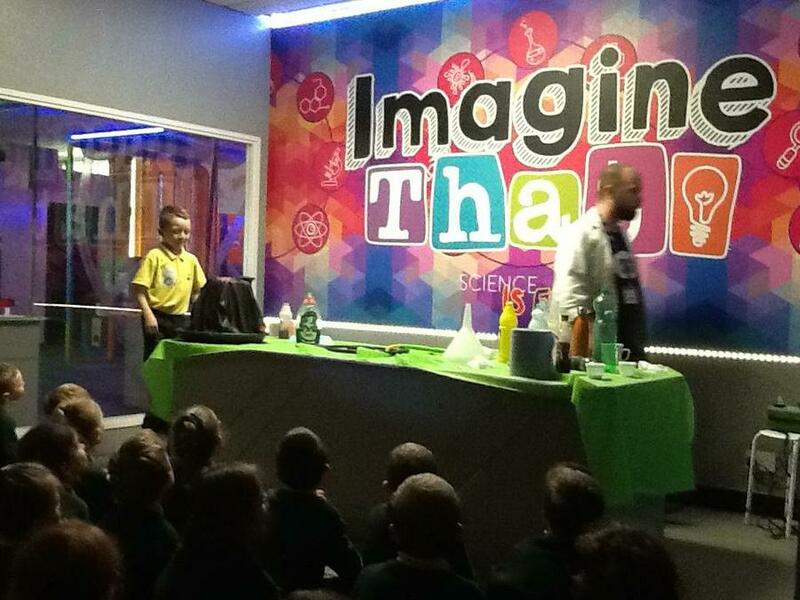 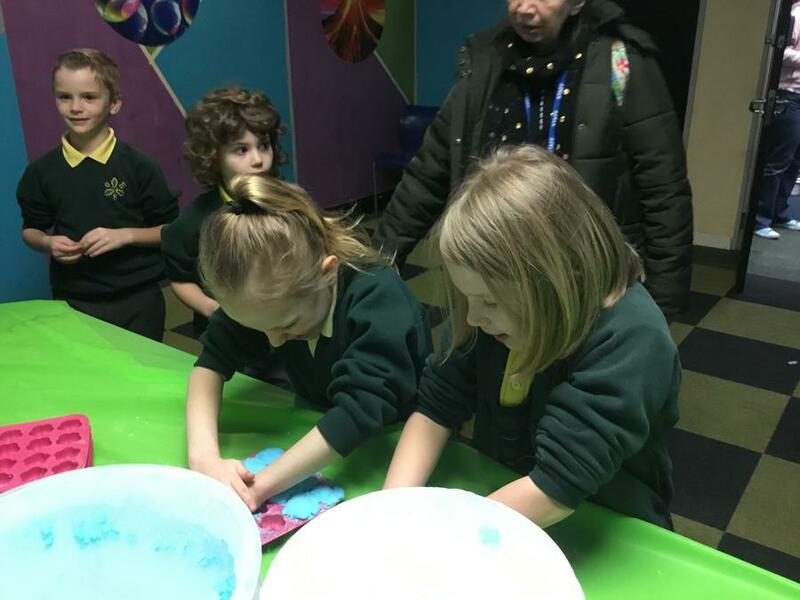 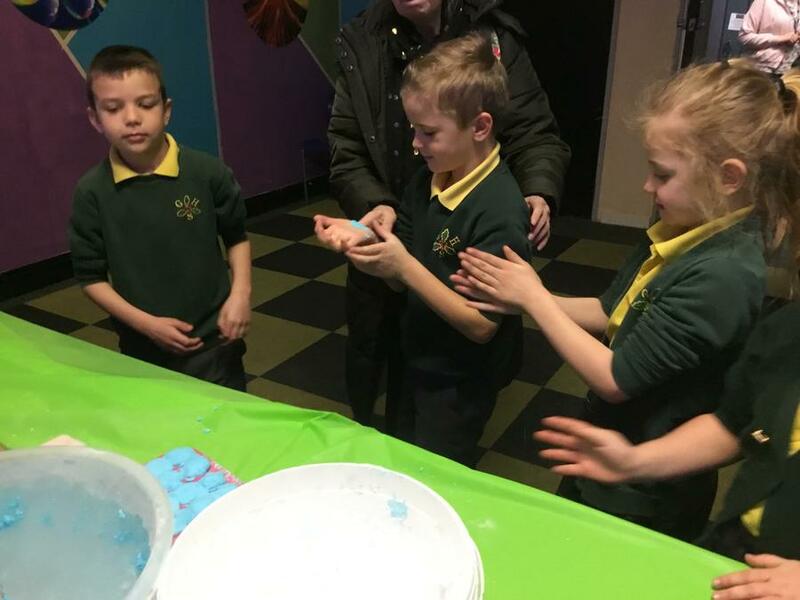 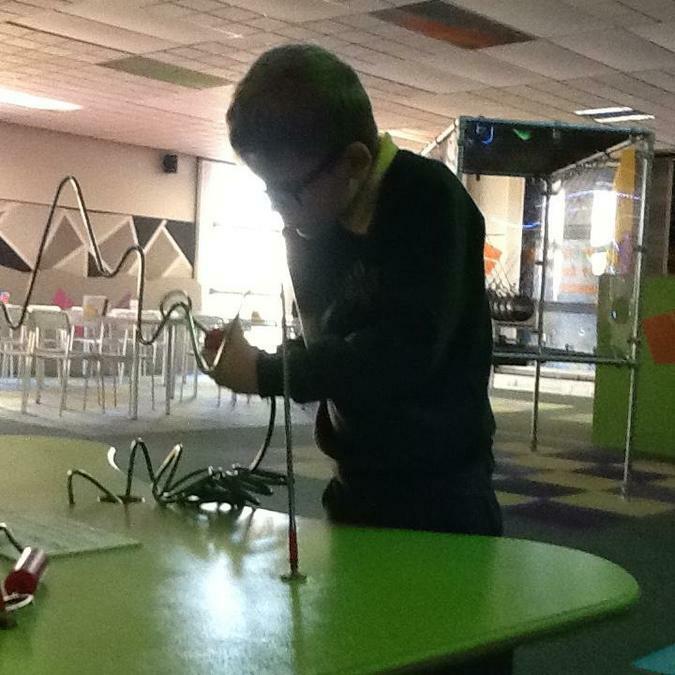 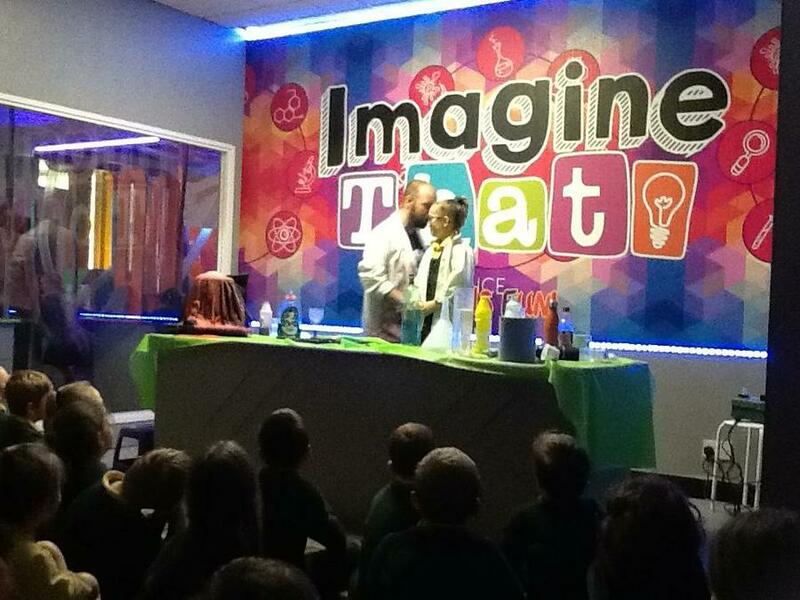 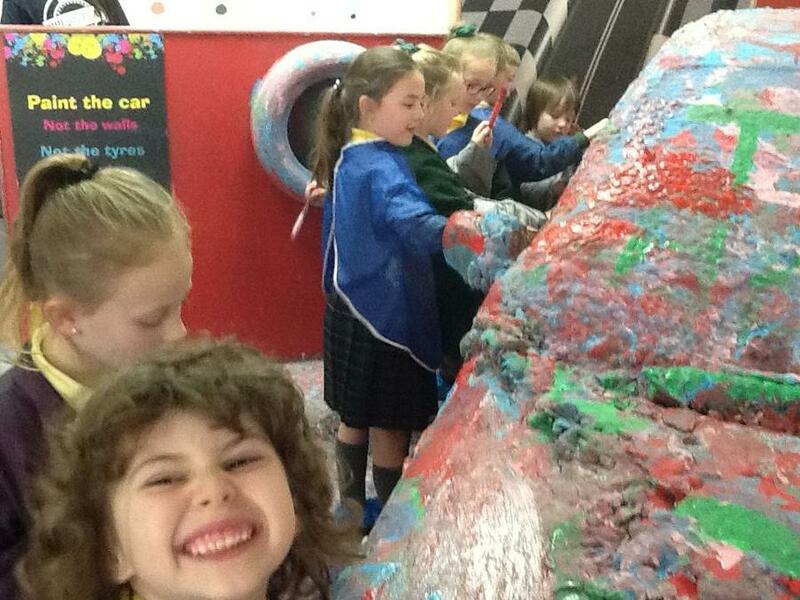 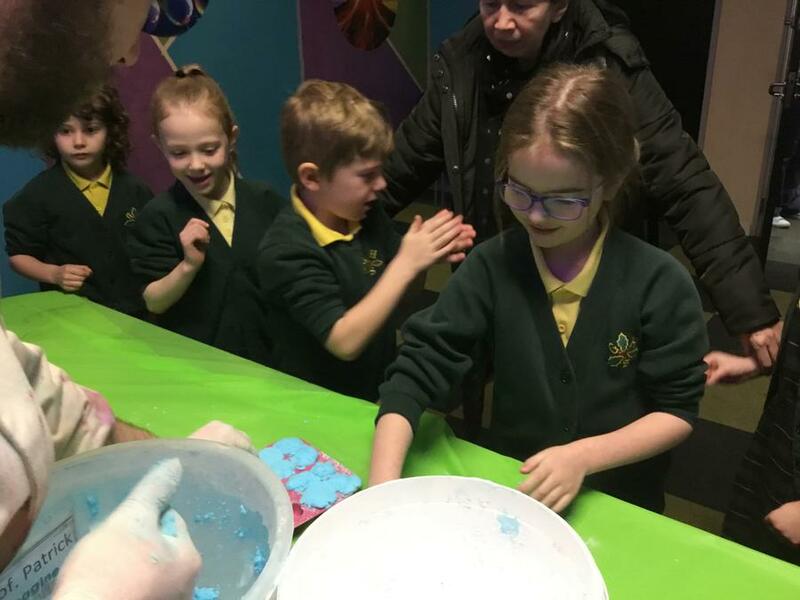 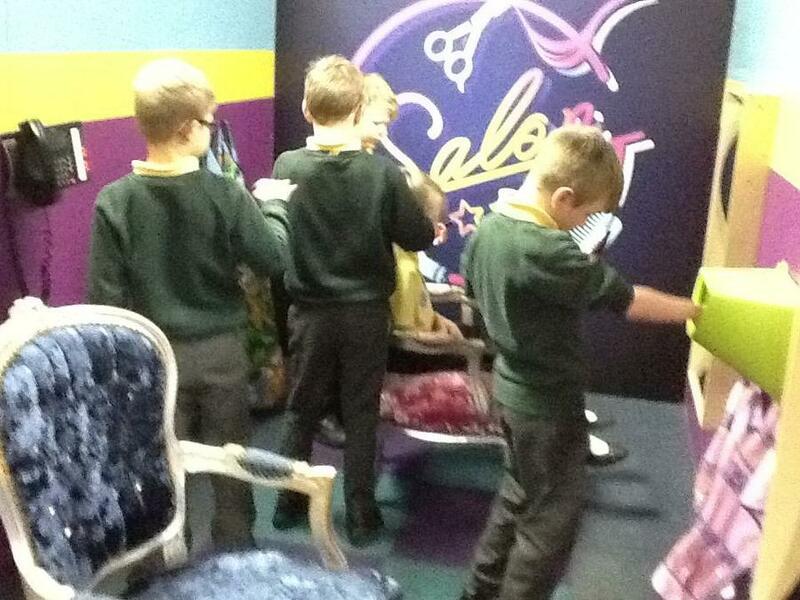 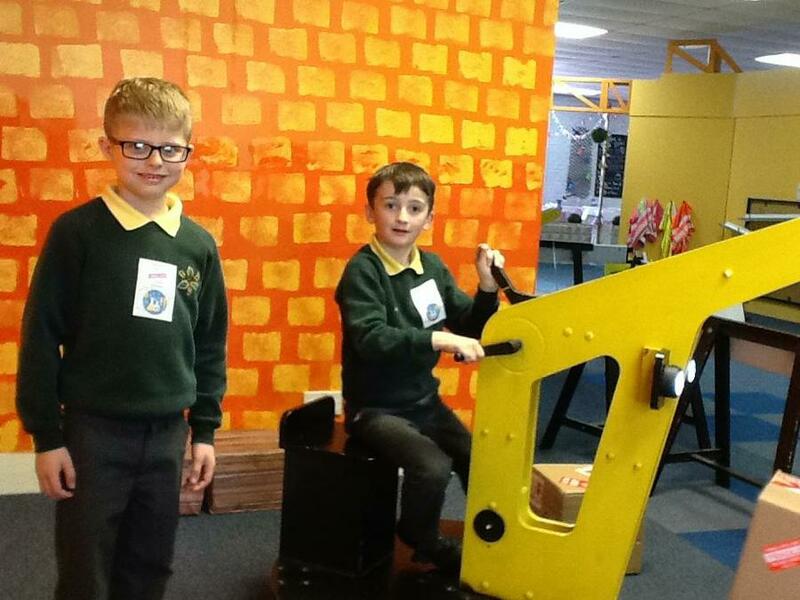 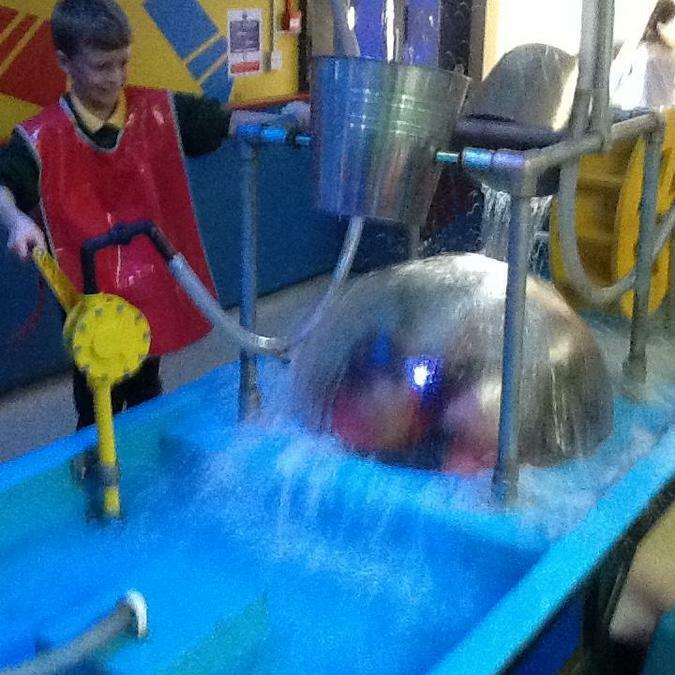 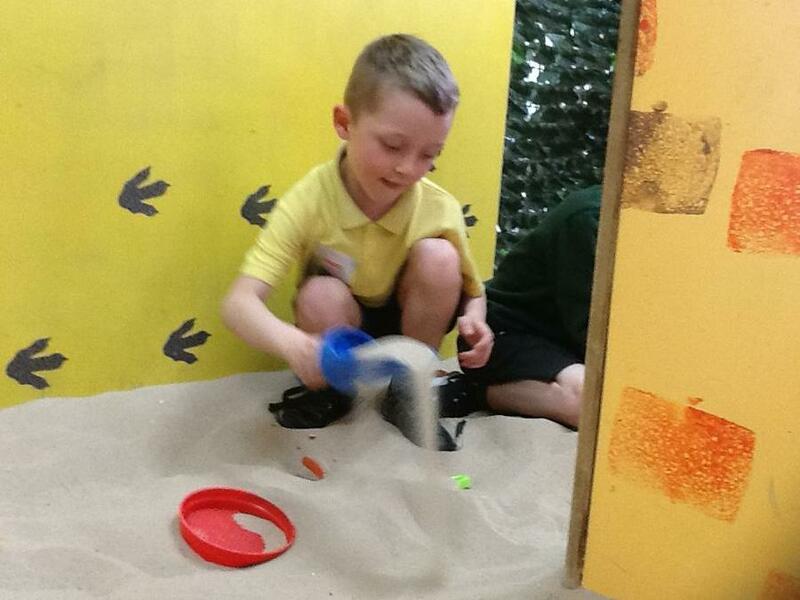 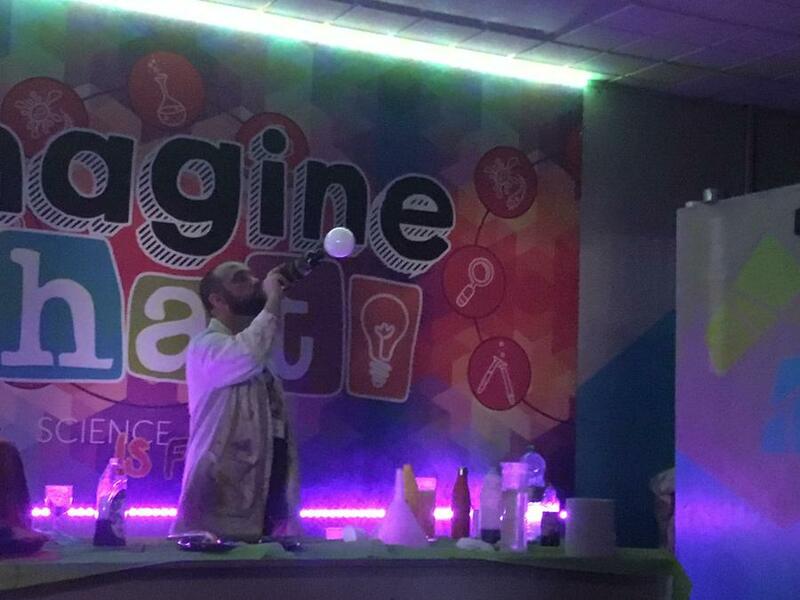 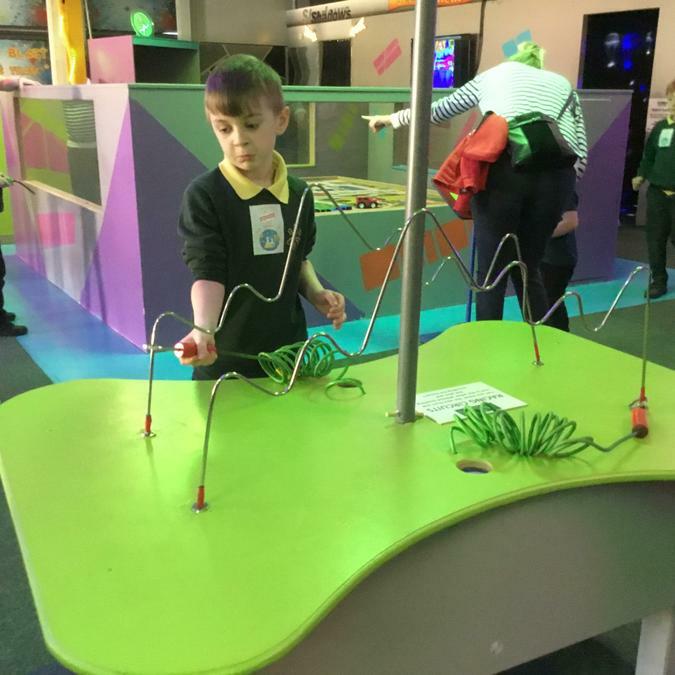 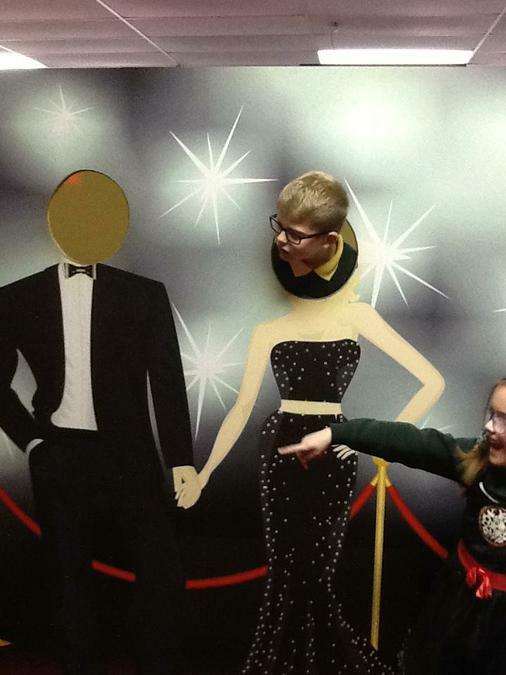 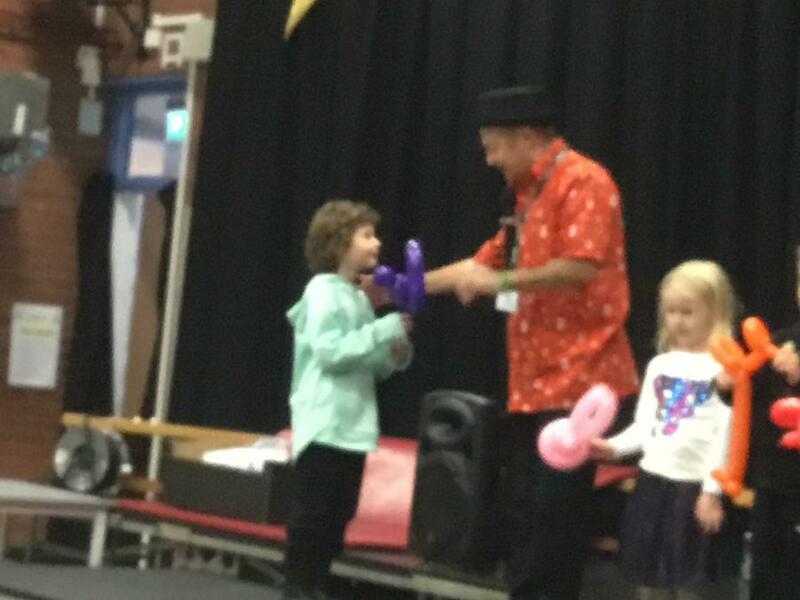 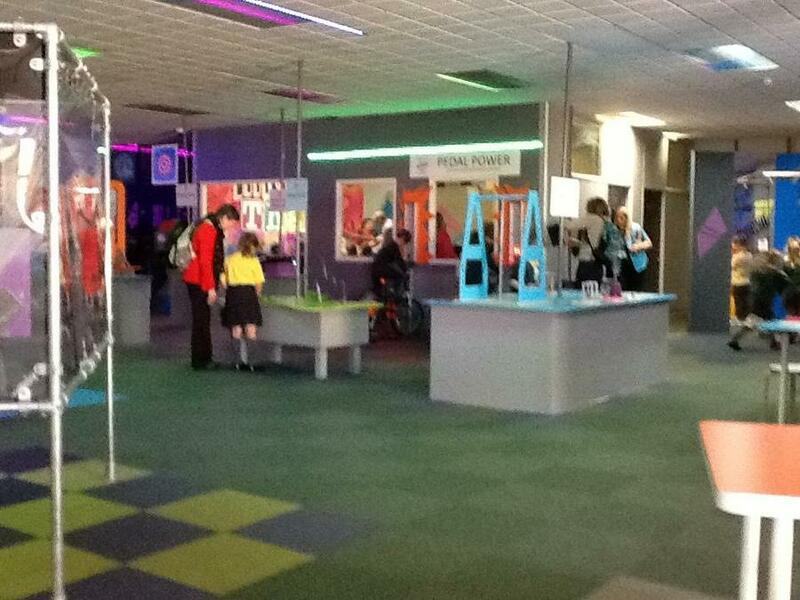 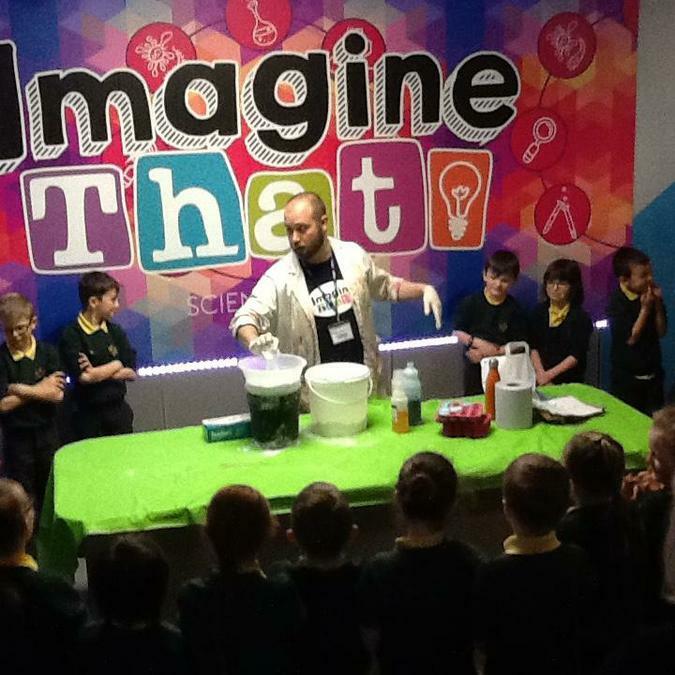 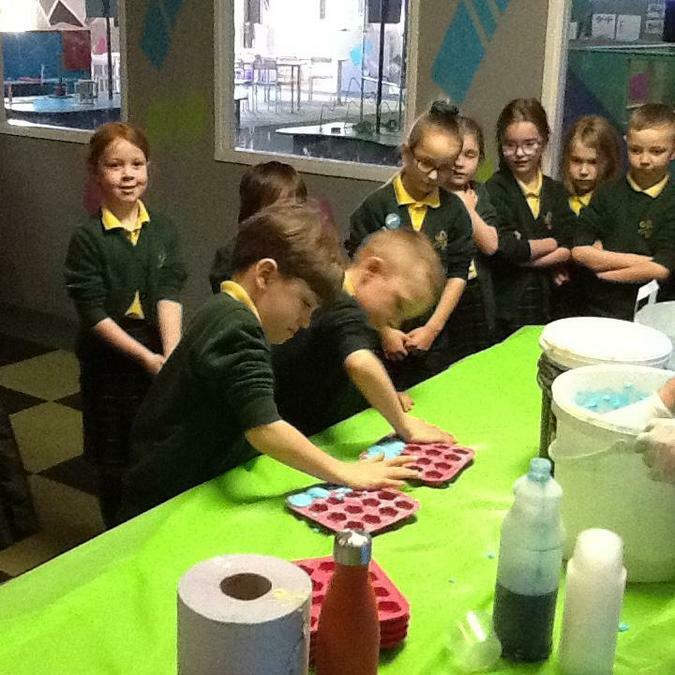 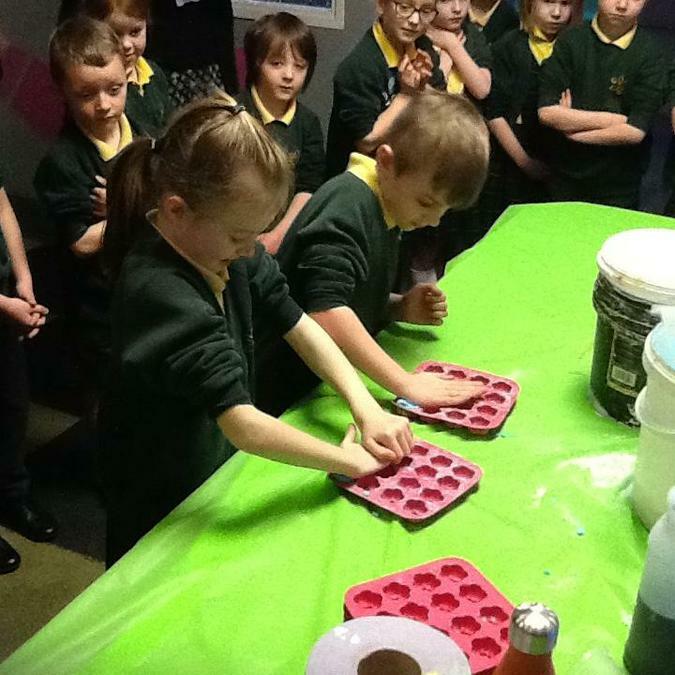 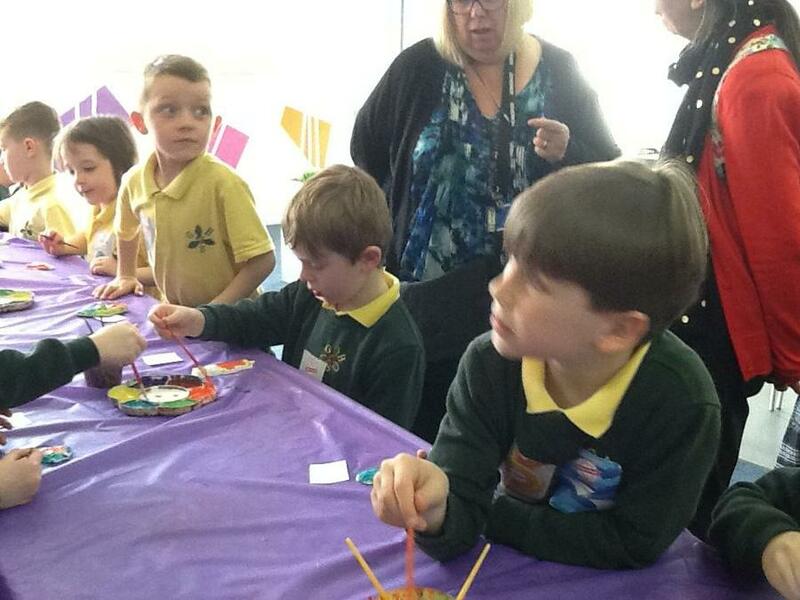 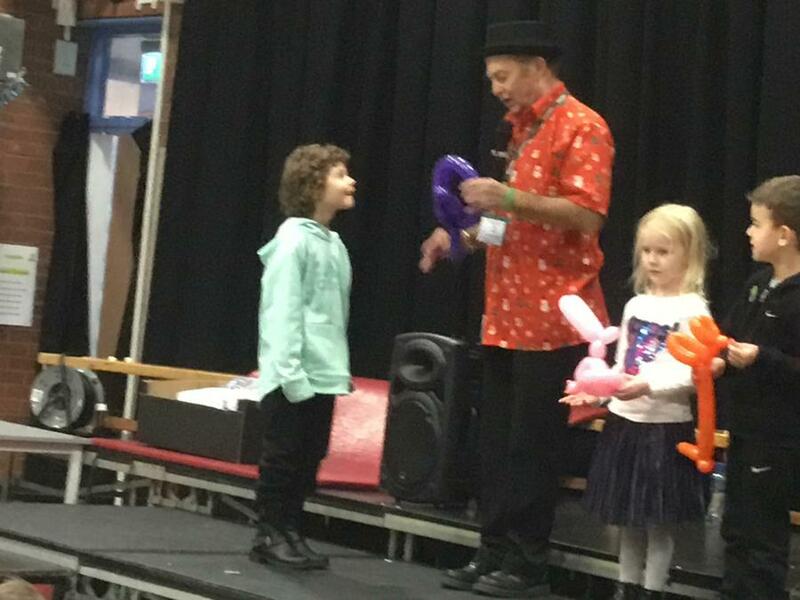 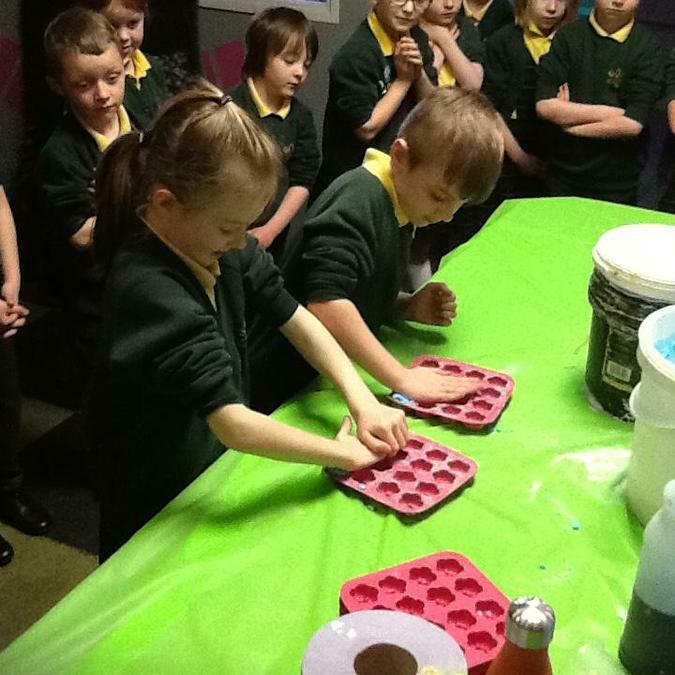 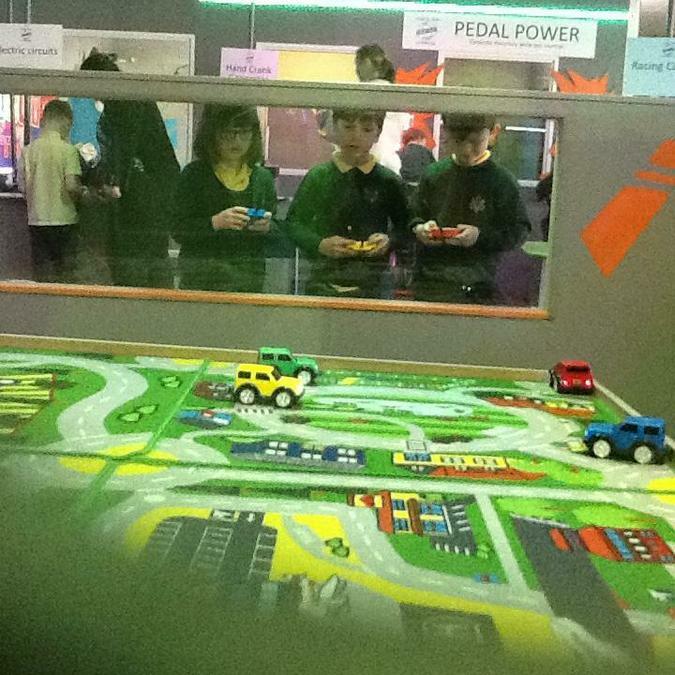 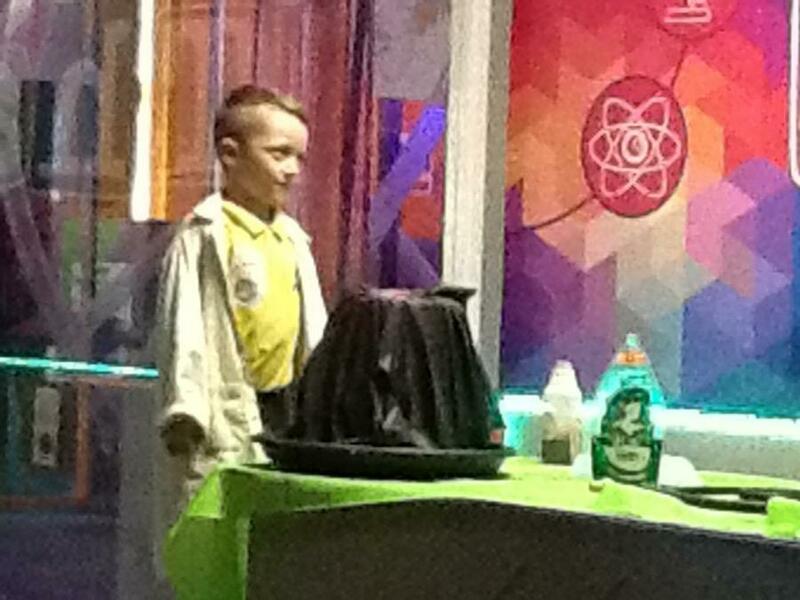 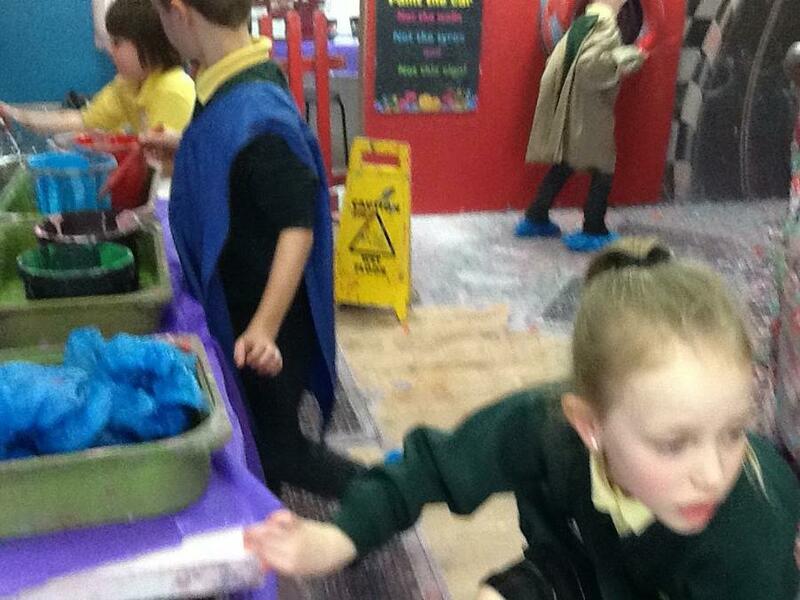 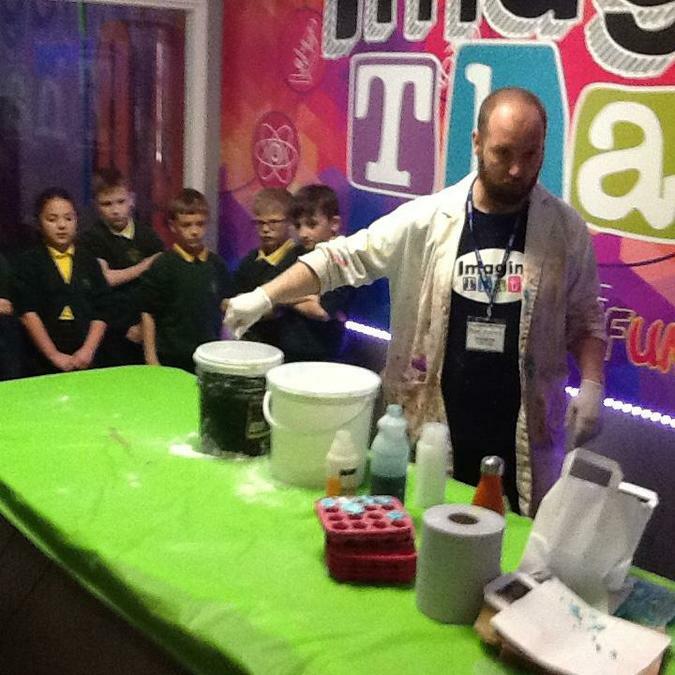 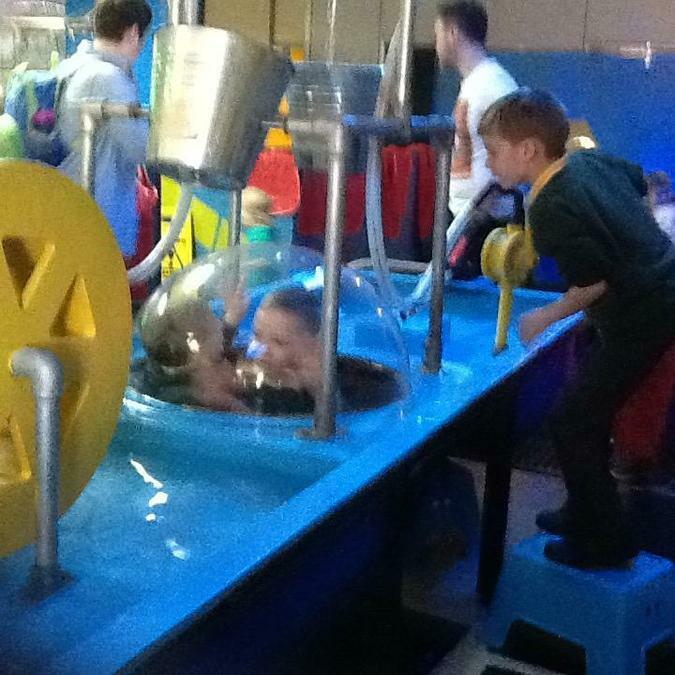 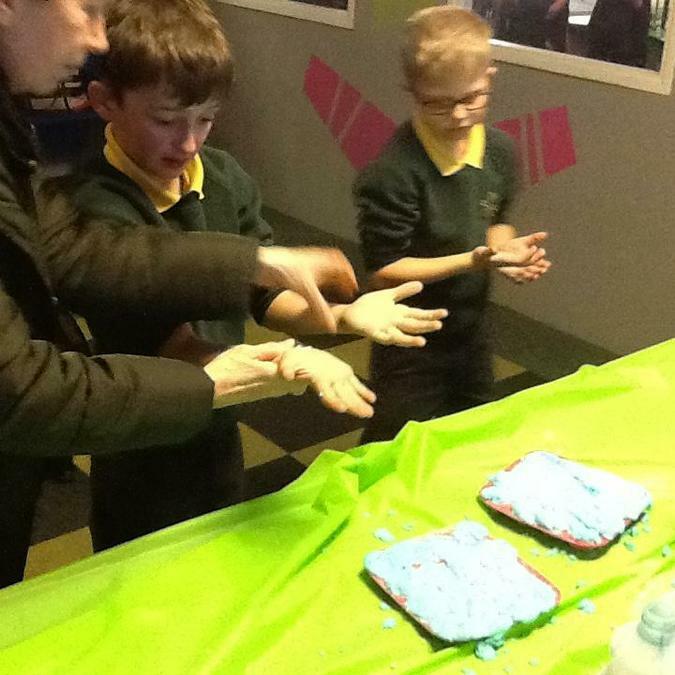 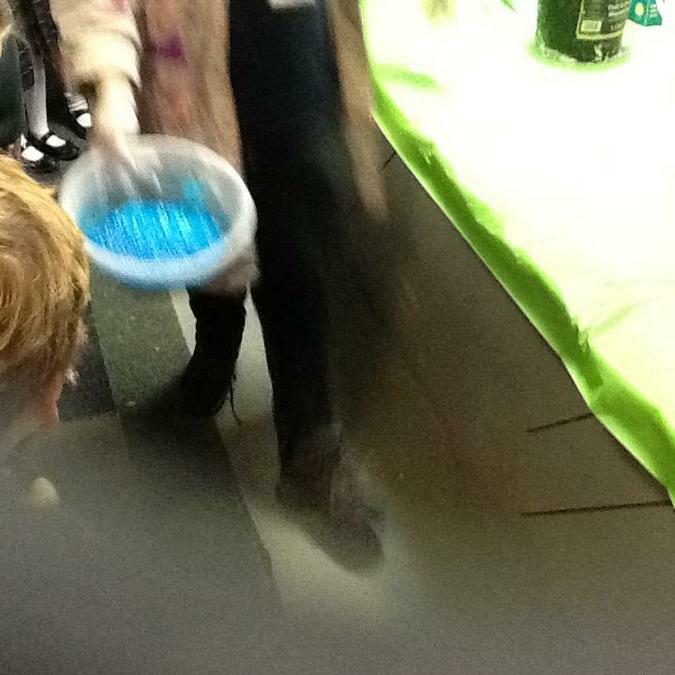 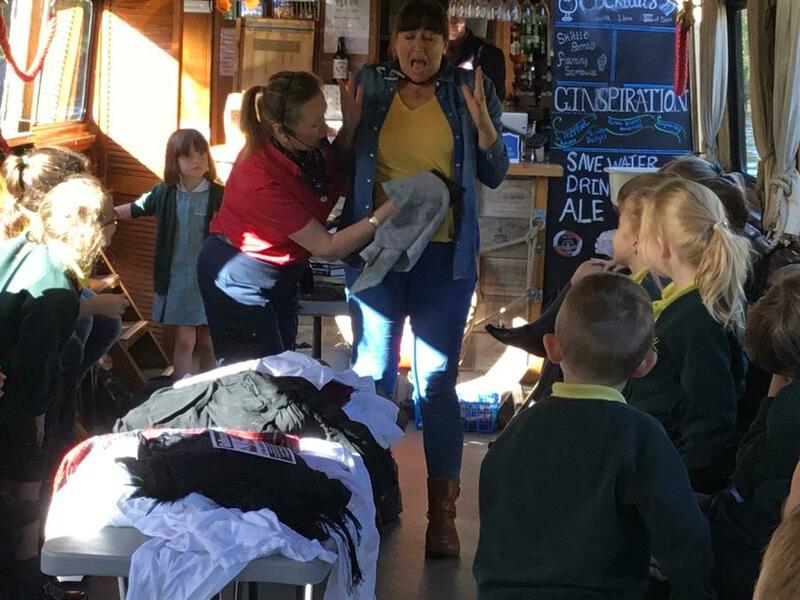 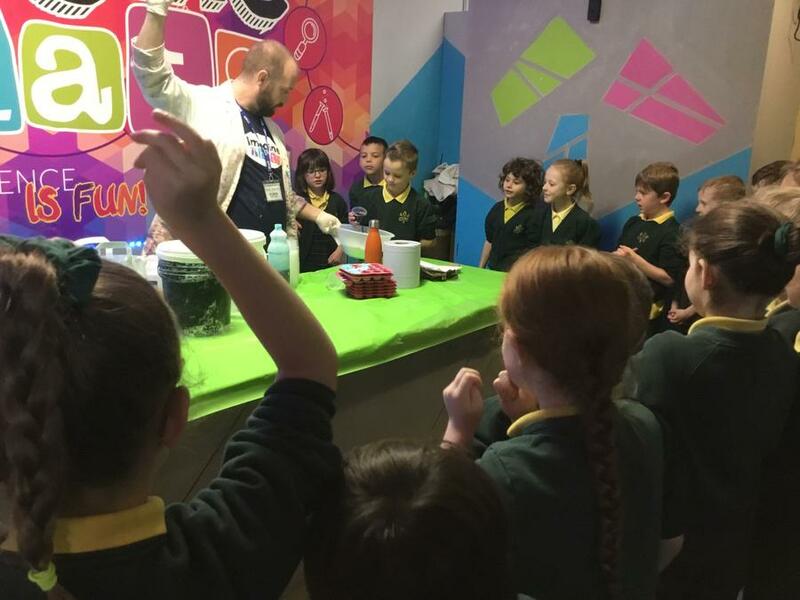 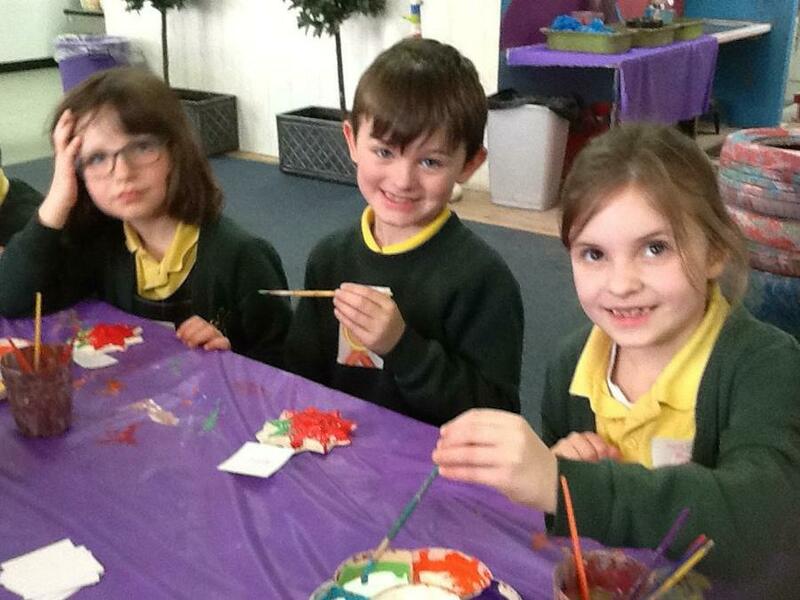 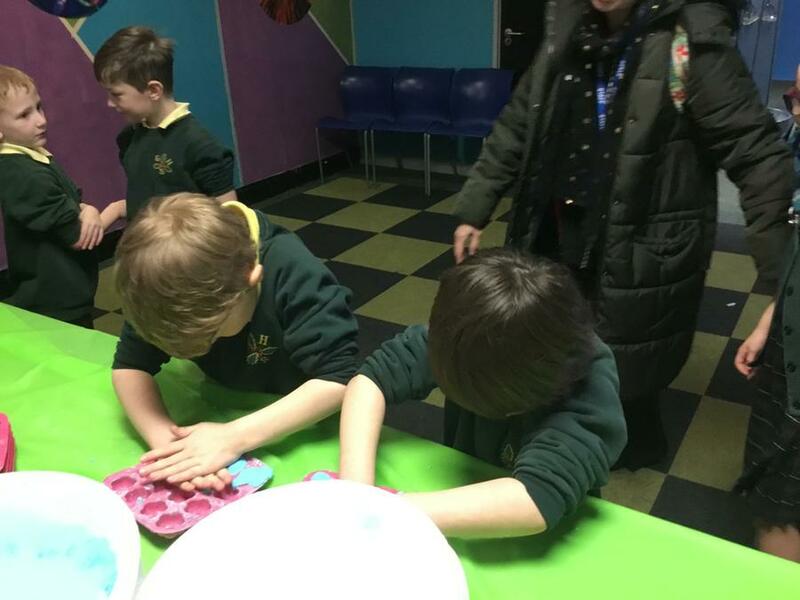 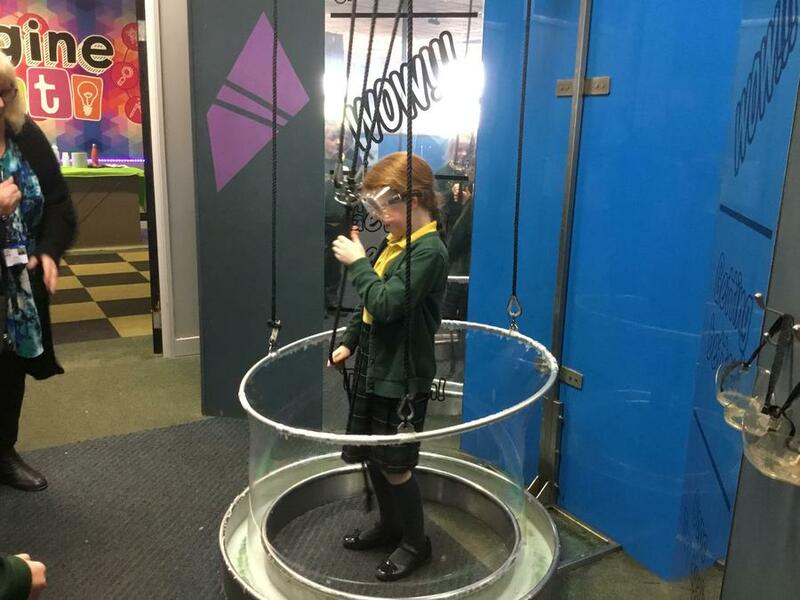 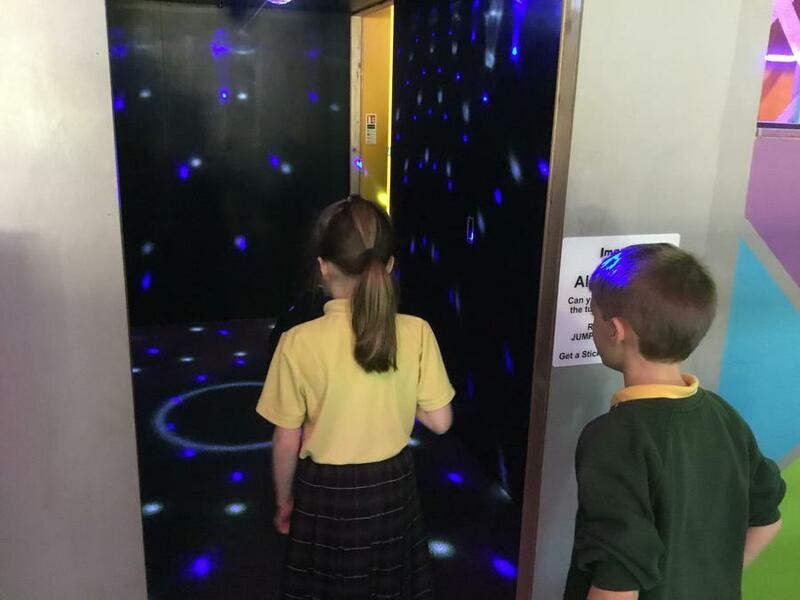 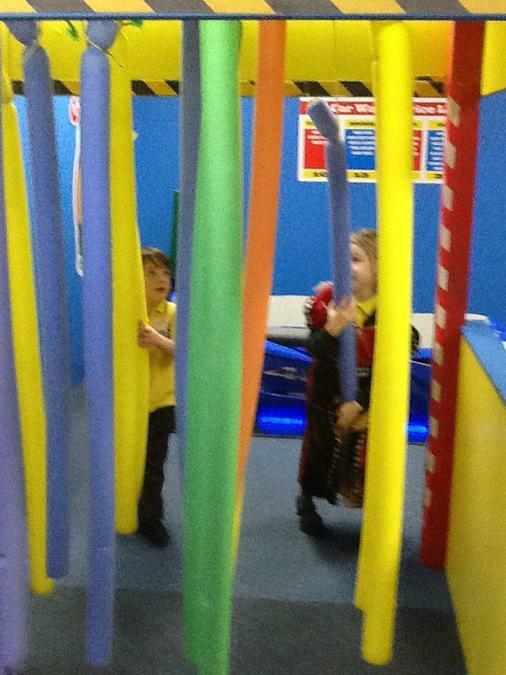 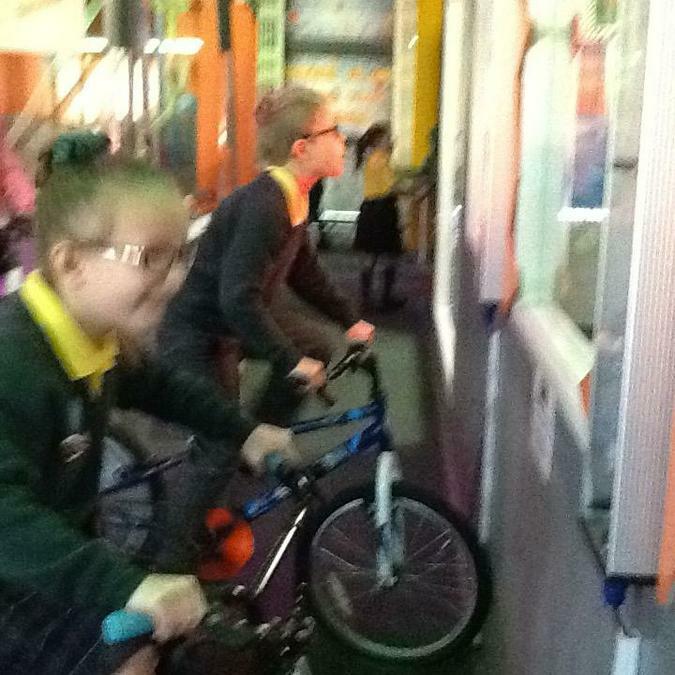 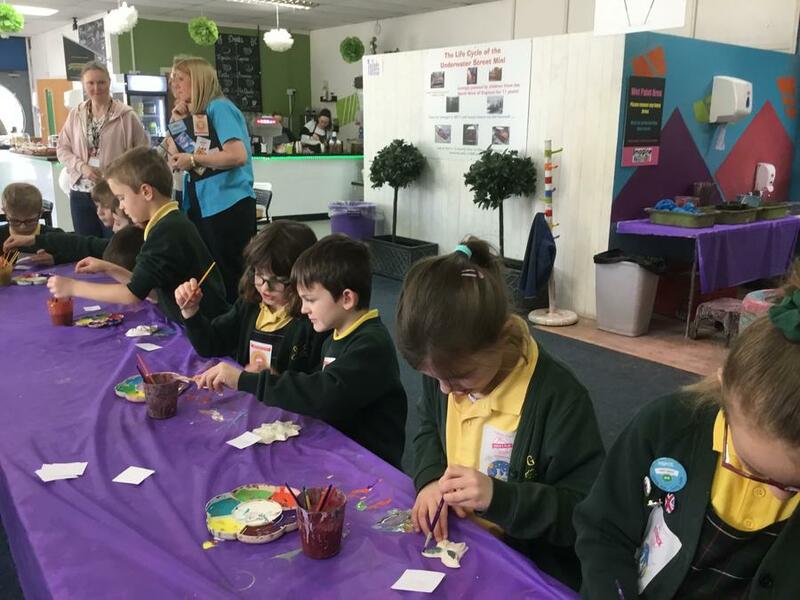 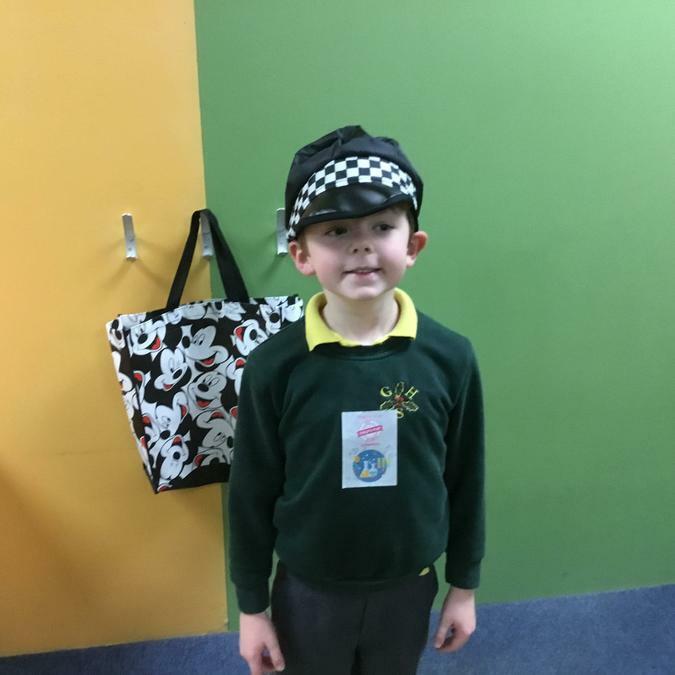 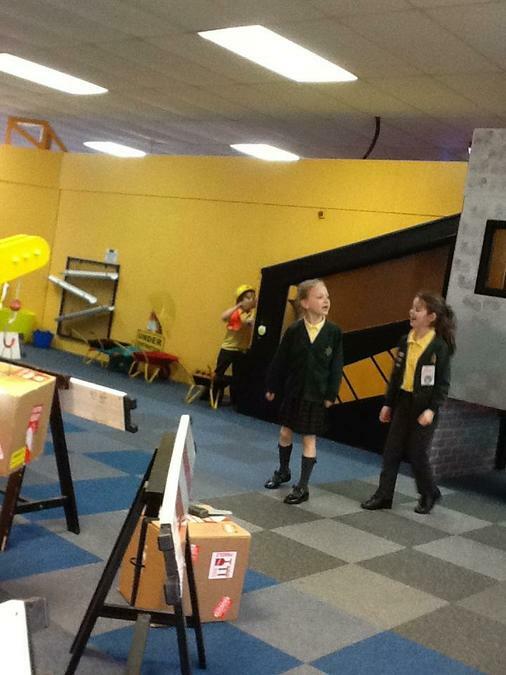 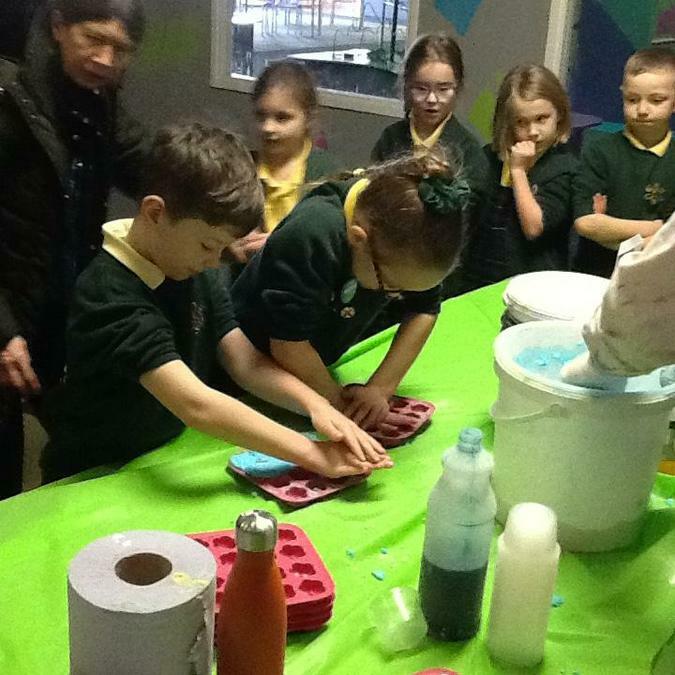 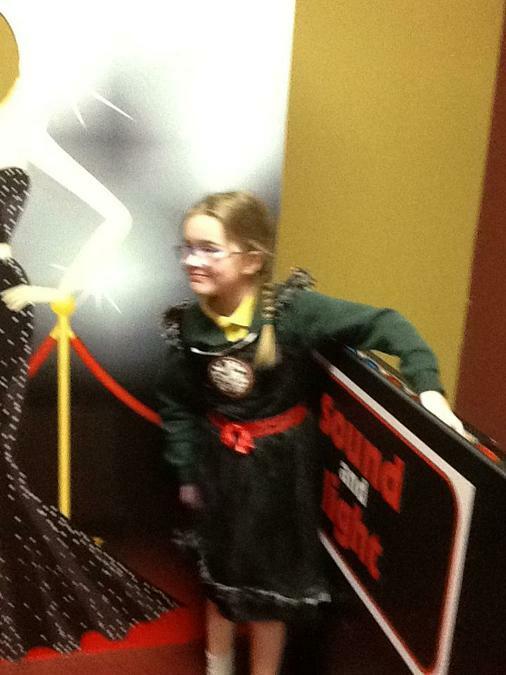 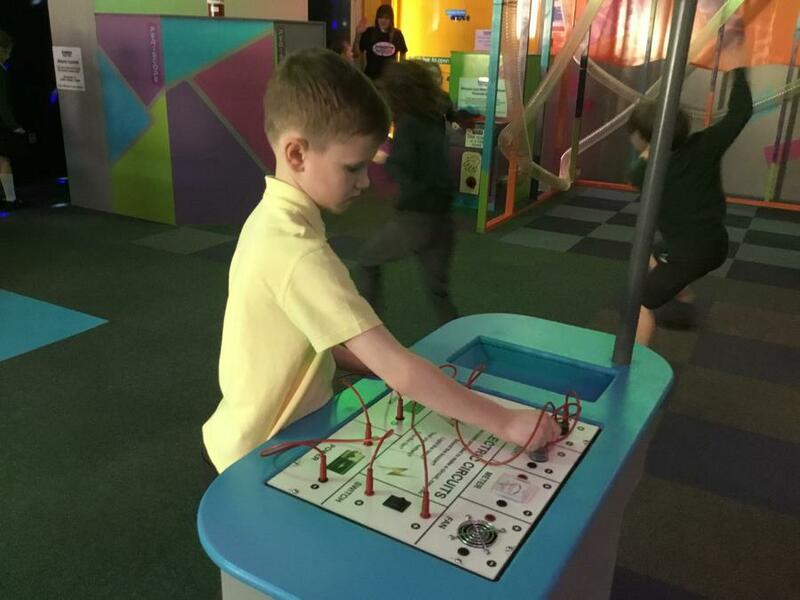 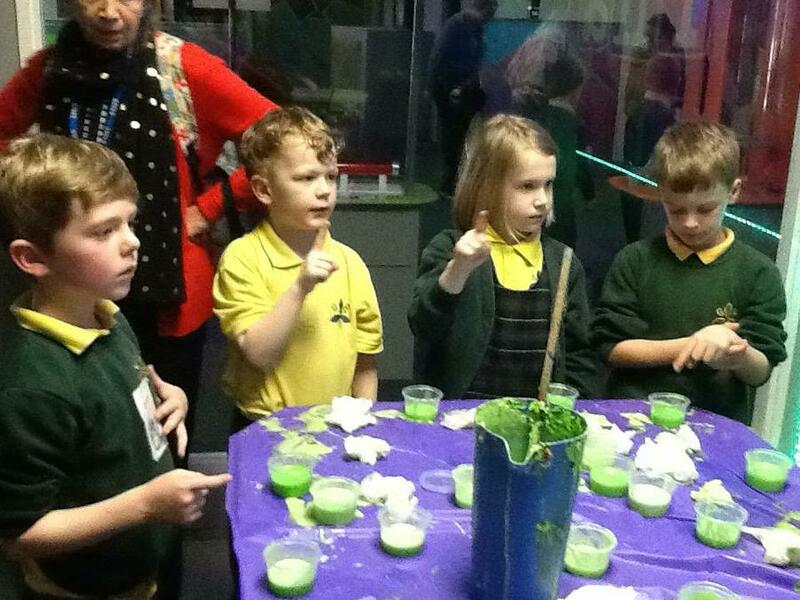 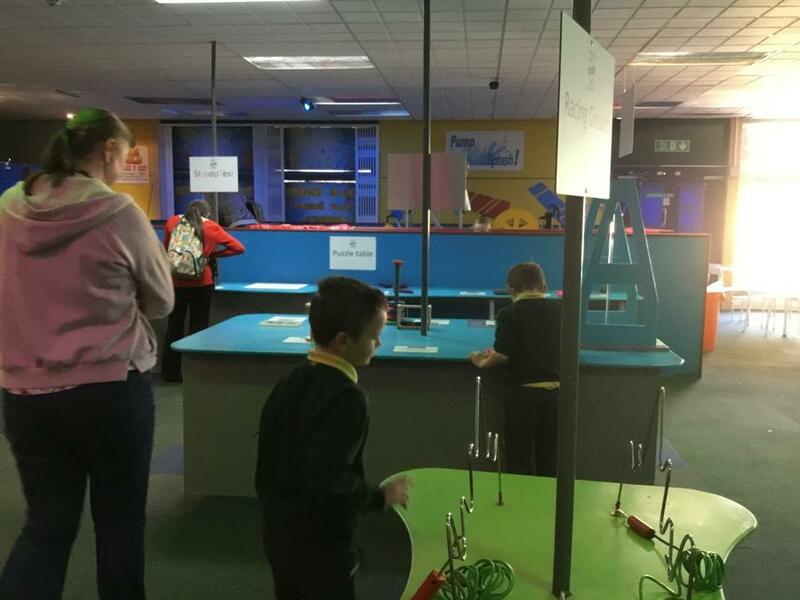 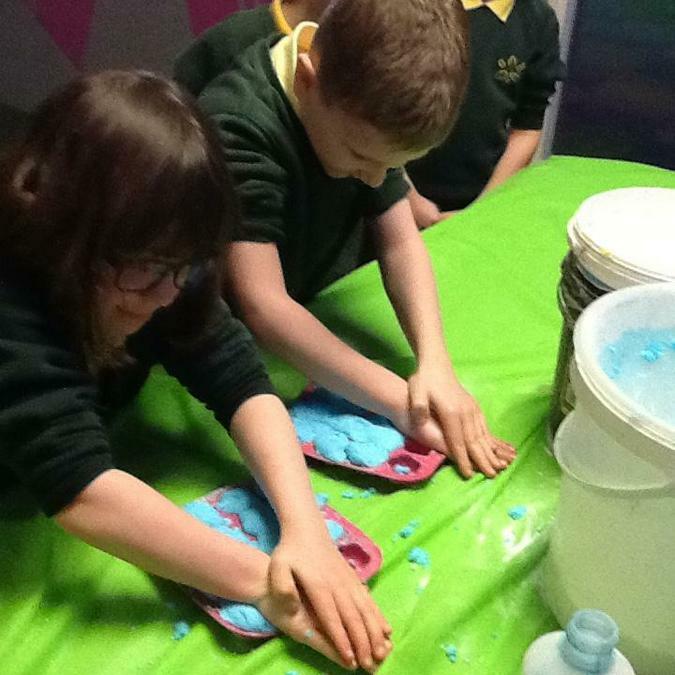 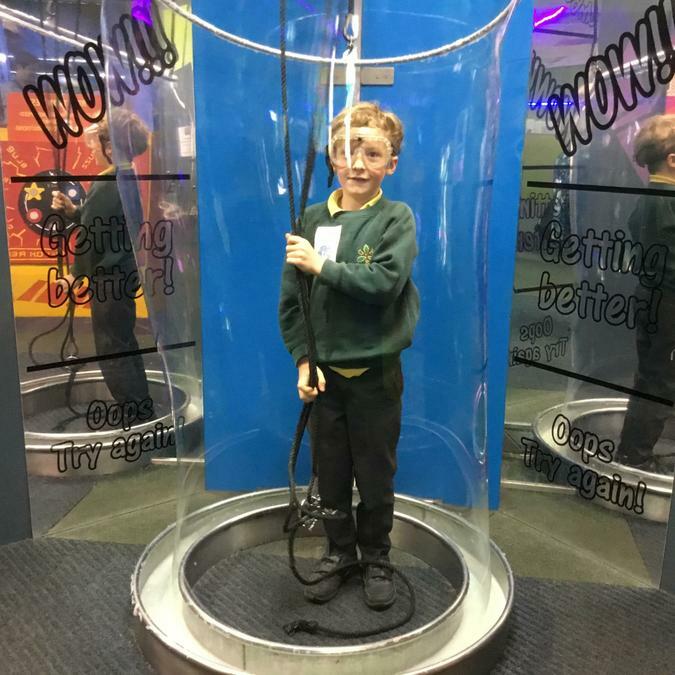 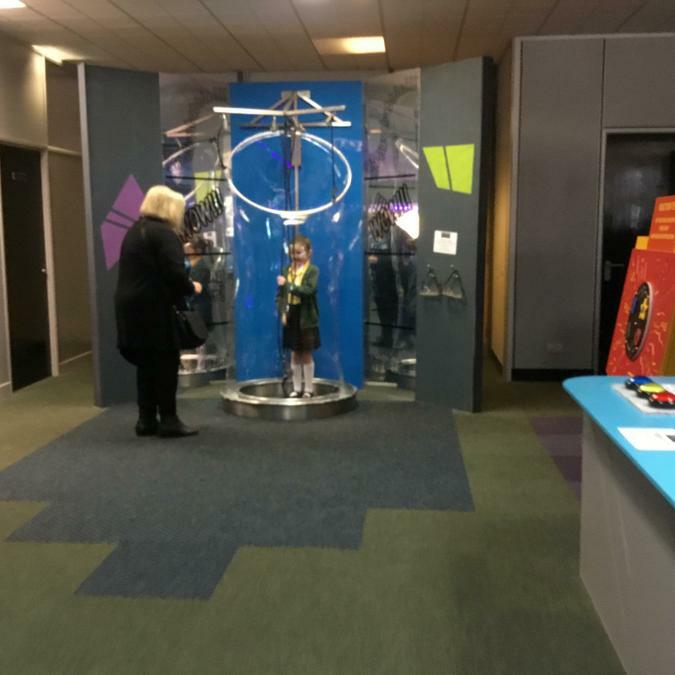 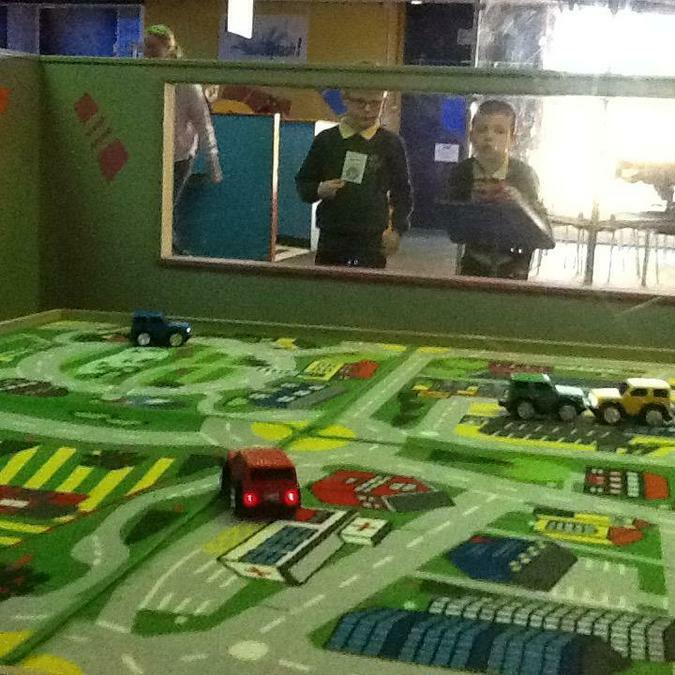 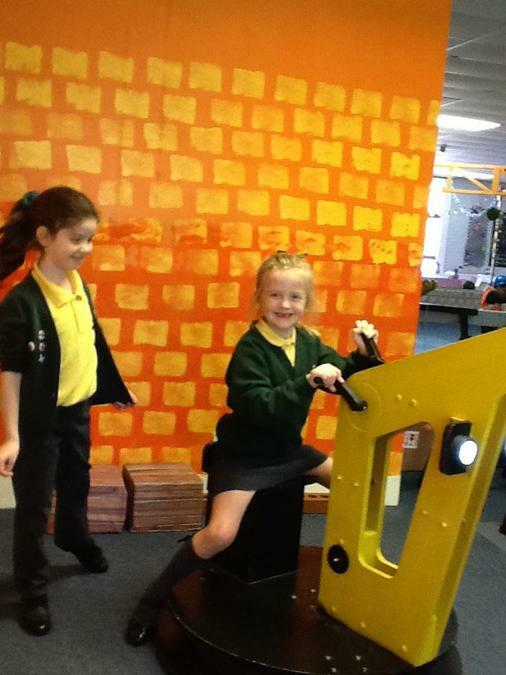 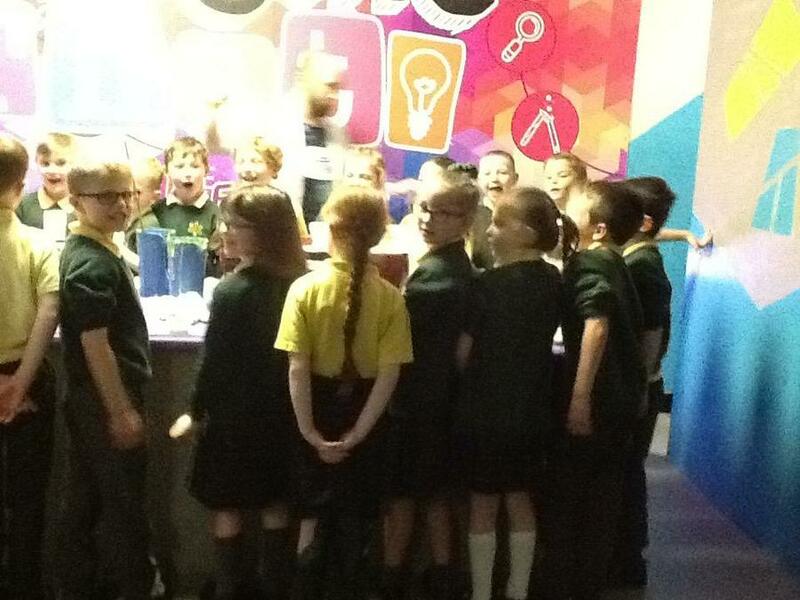 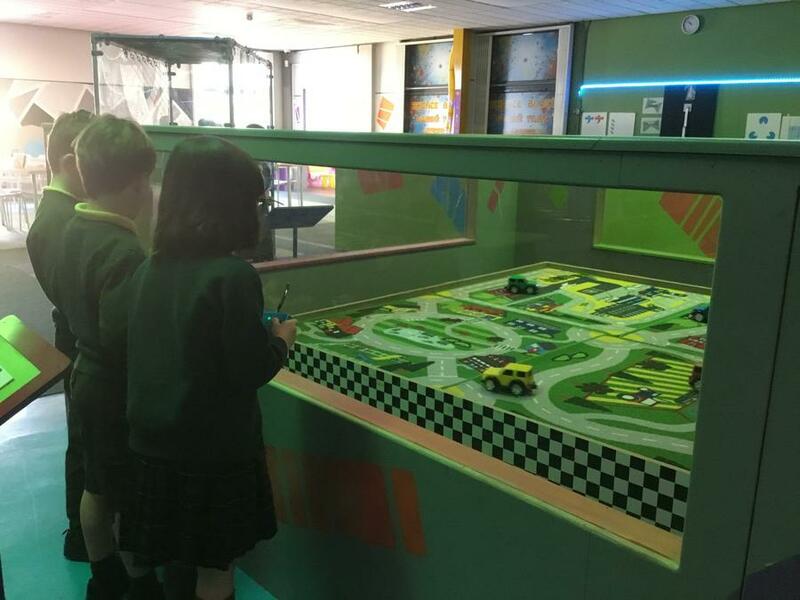 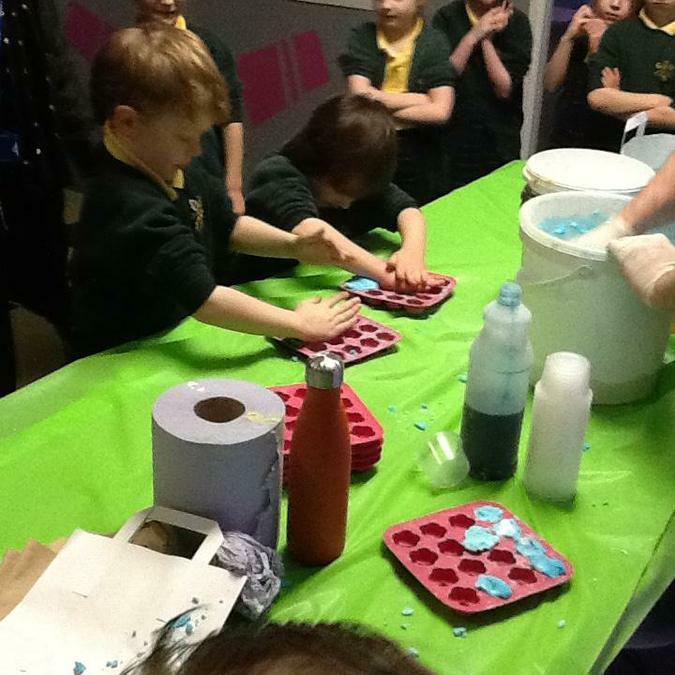 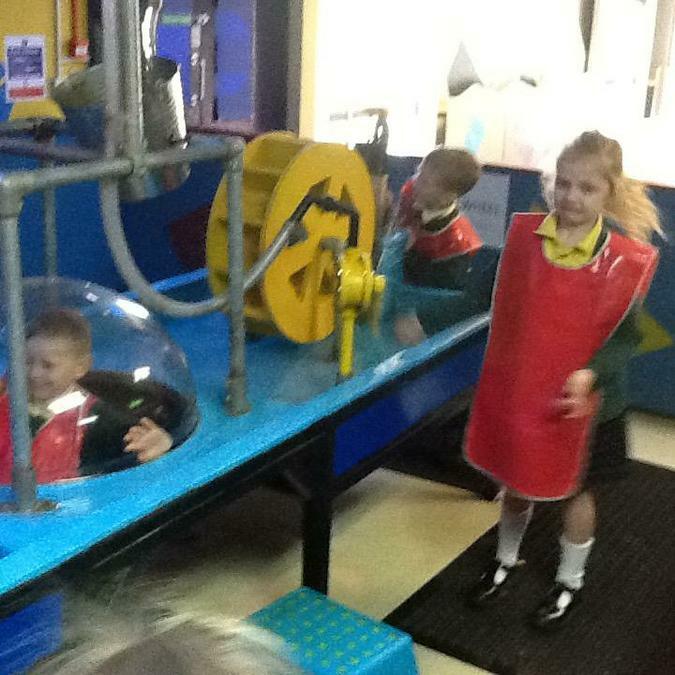 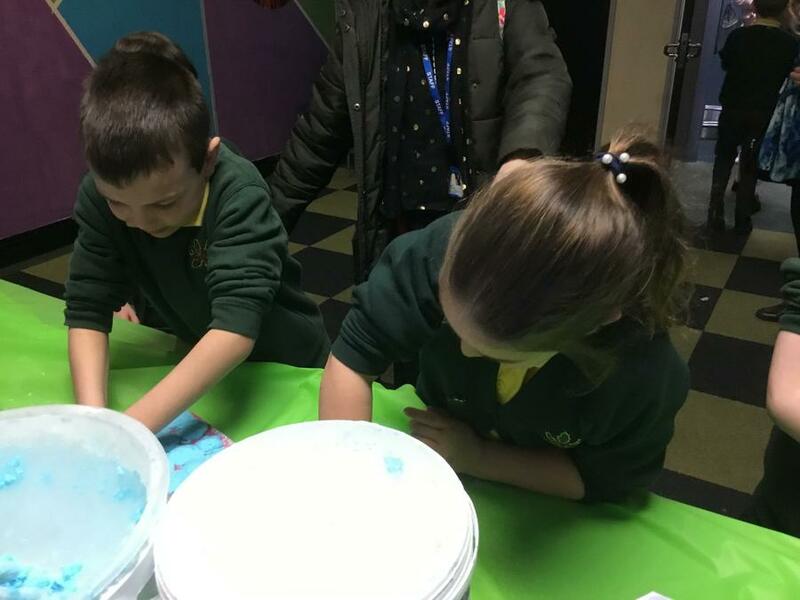 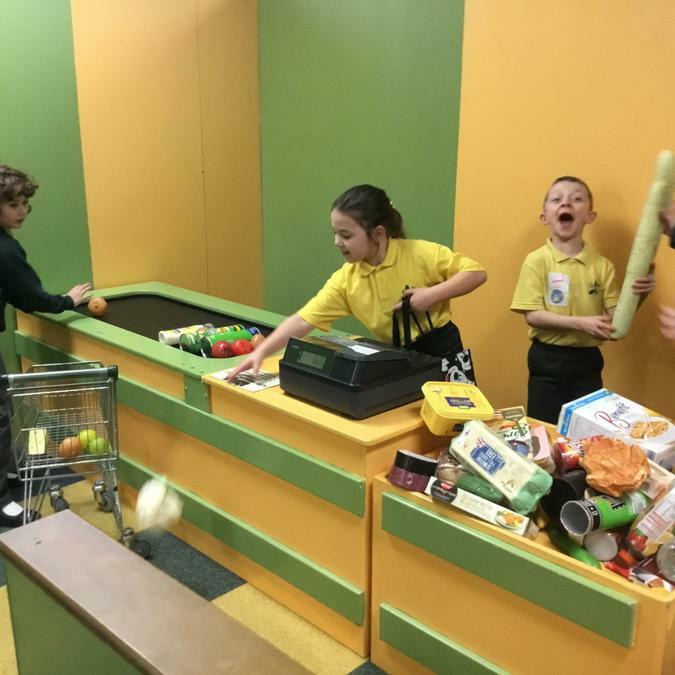 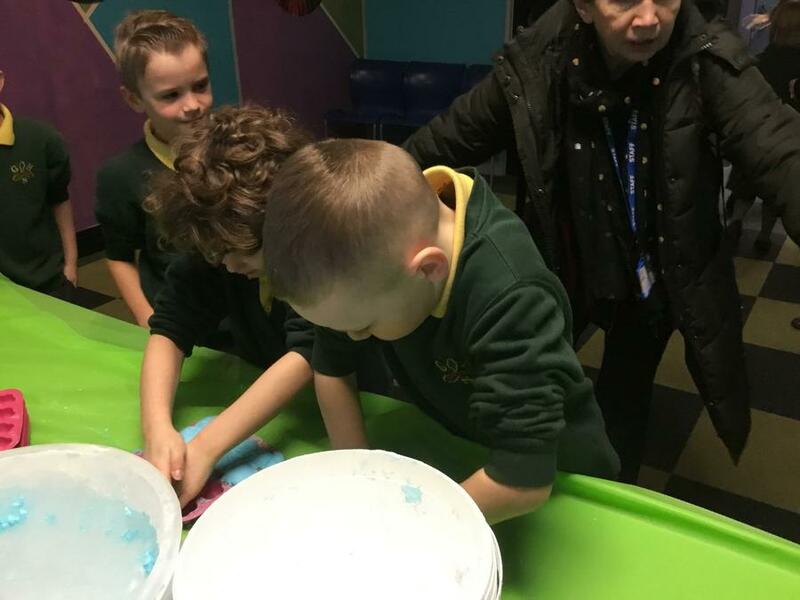 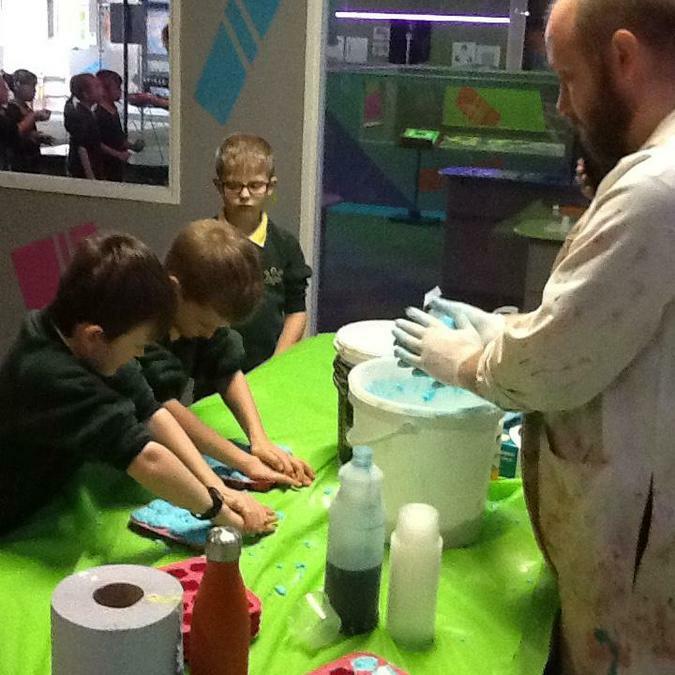 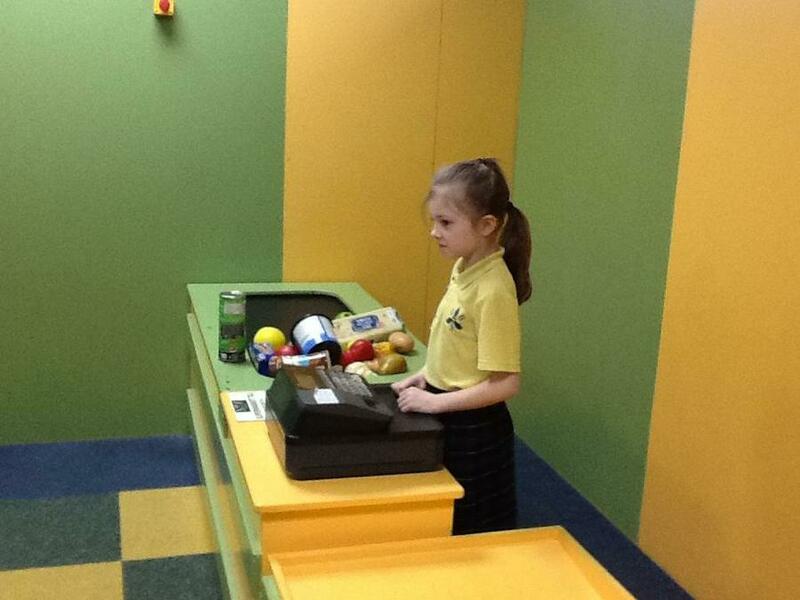 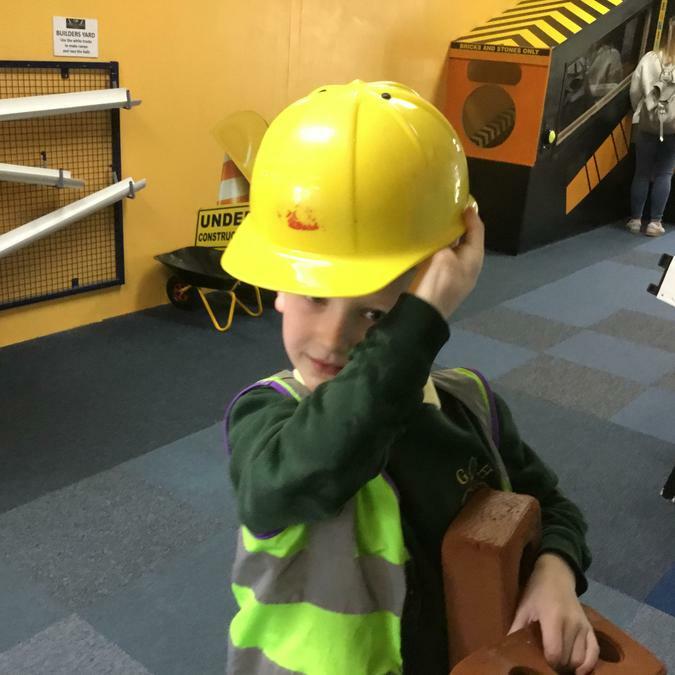 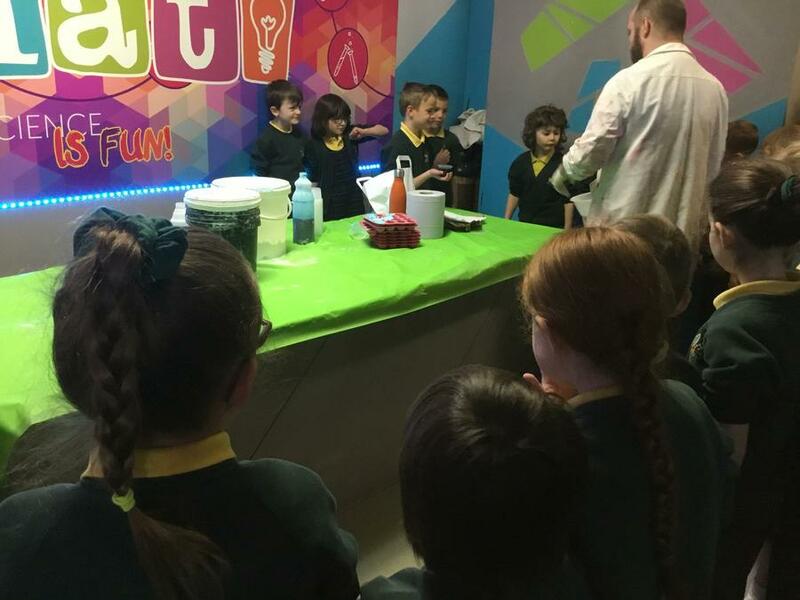 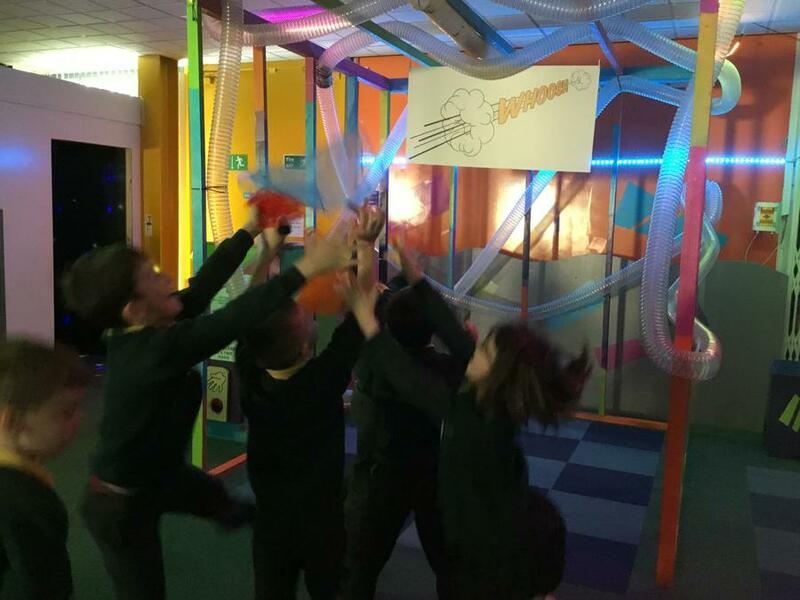 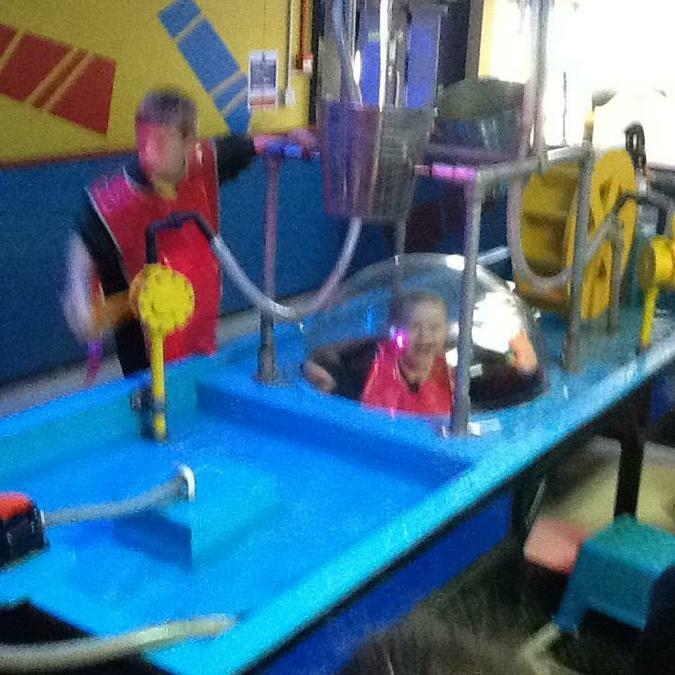 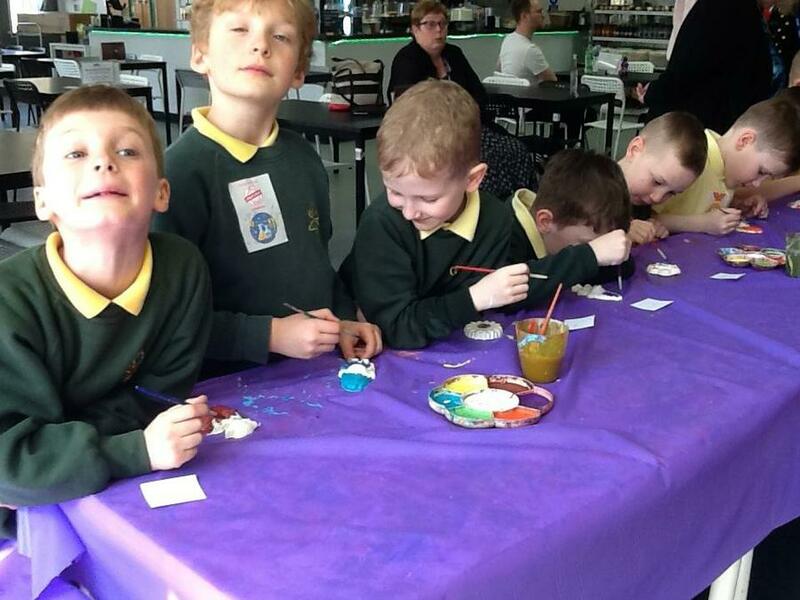 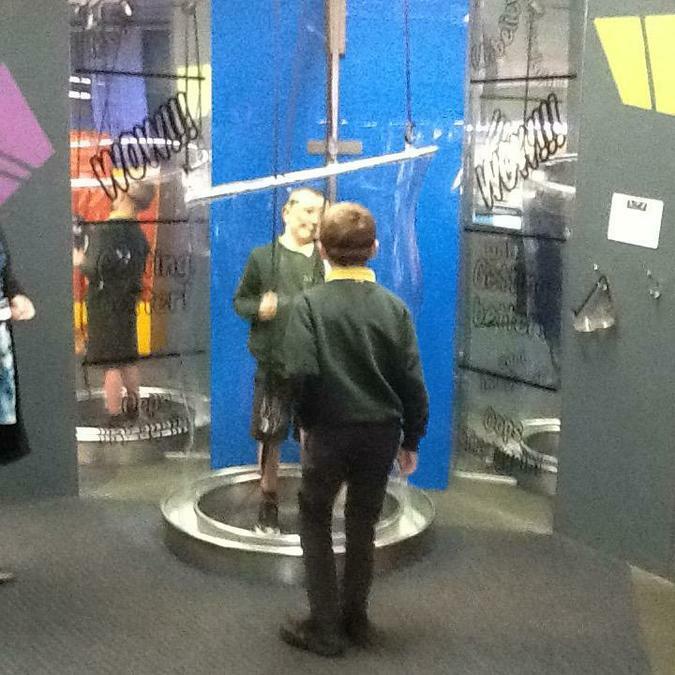 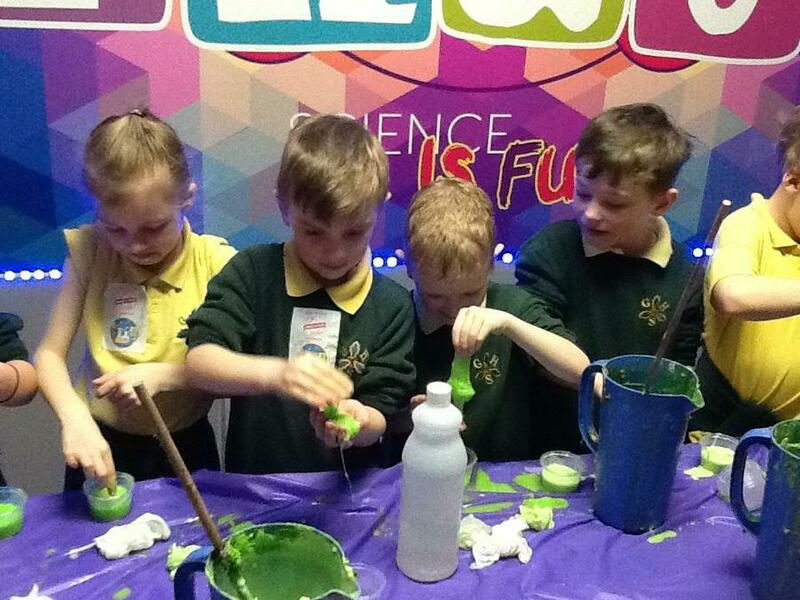 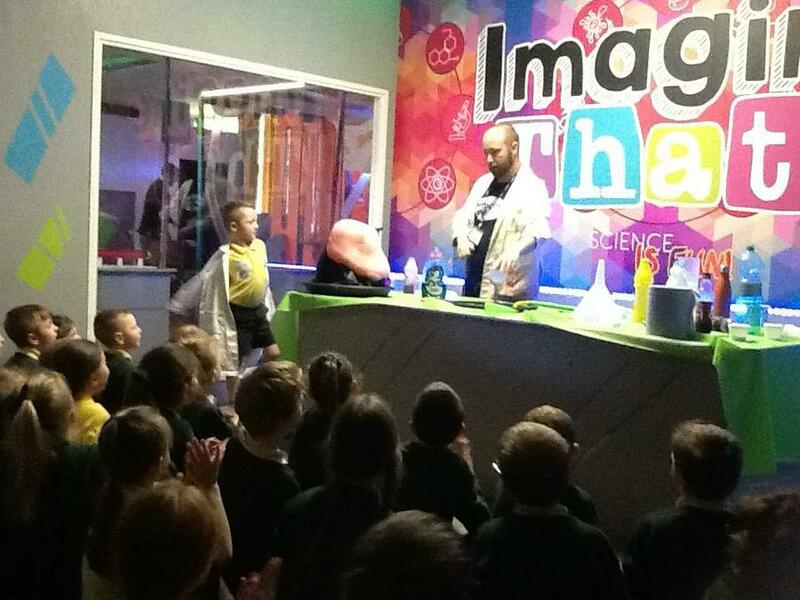 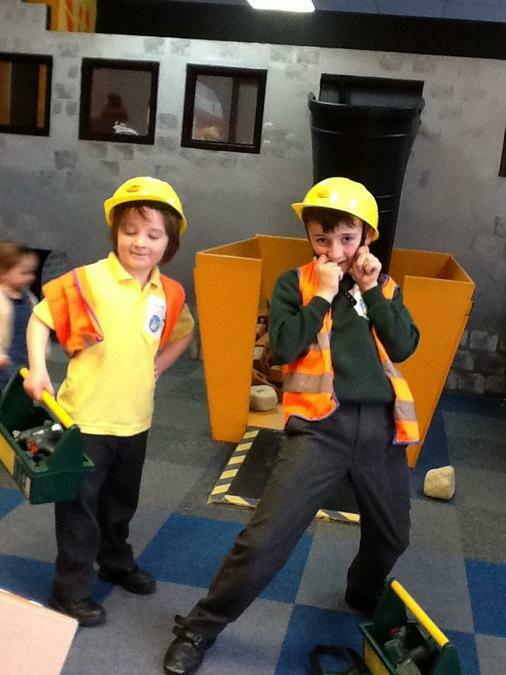 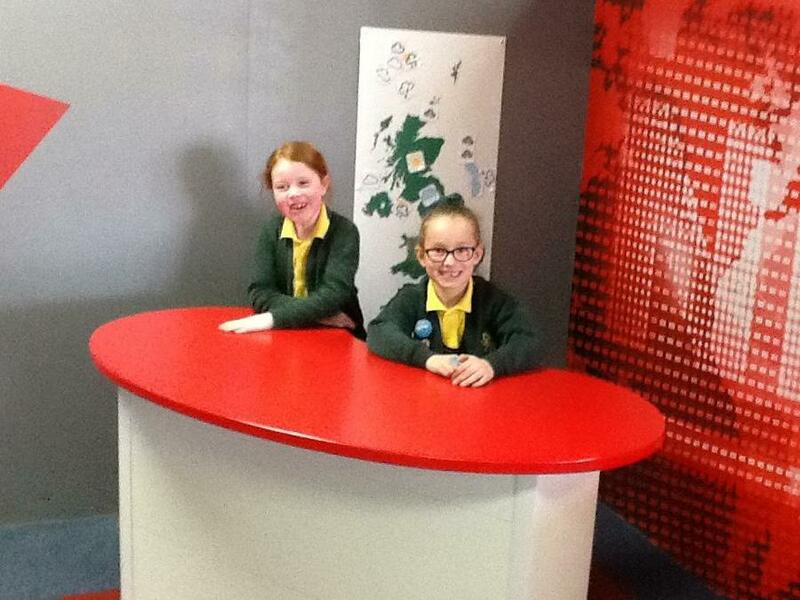 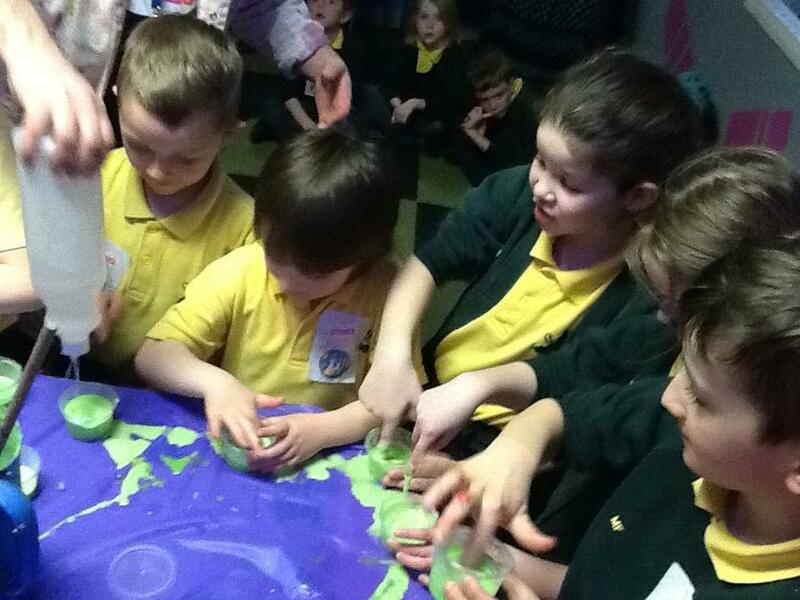 Thursday 28th March 2019 - Imagine That trip - the children explored different scientific activities, including circuits, magnets and the light tunnel, completed some crafts activities, including painting a car and painting fridge magnets, and played in imagination village where they became hairdressers, shopkeepers and vets. 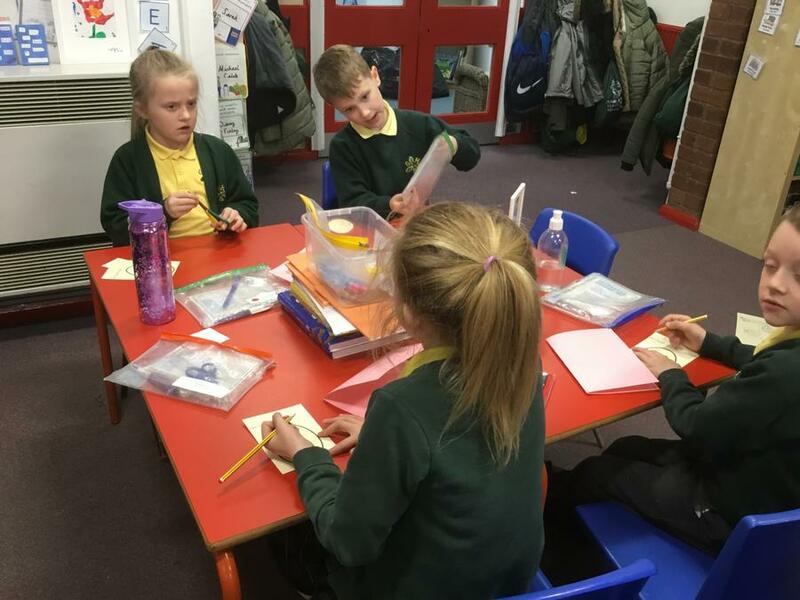 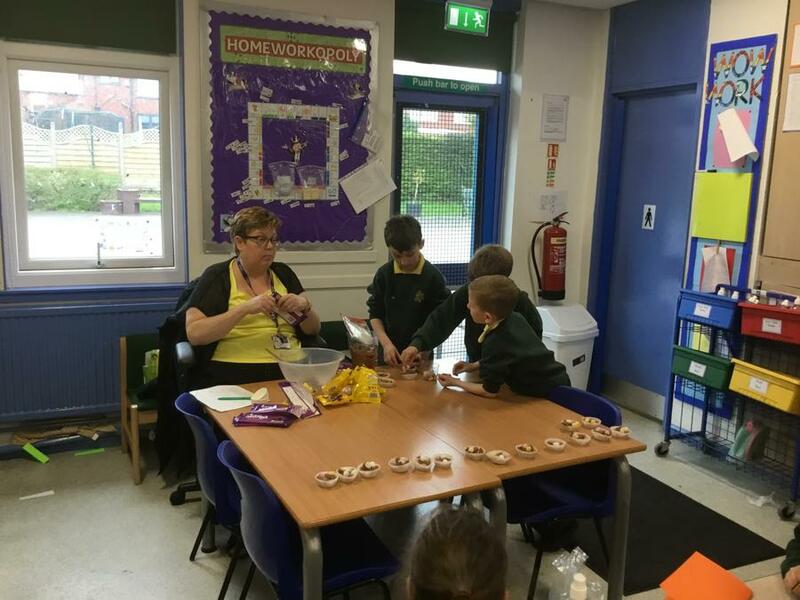 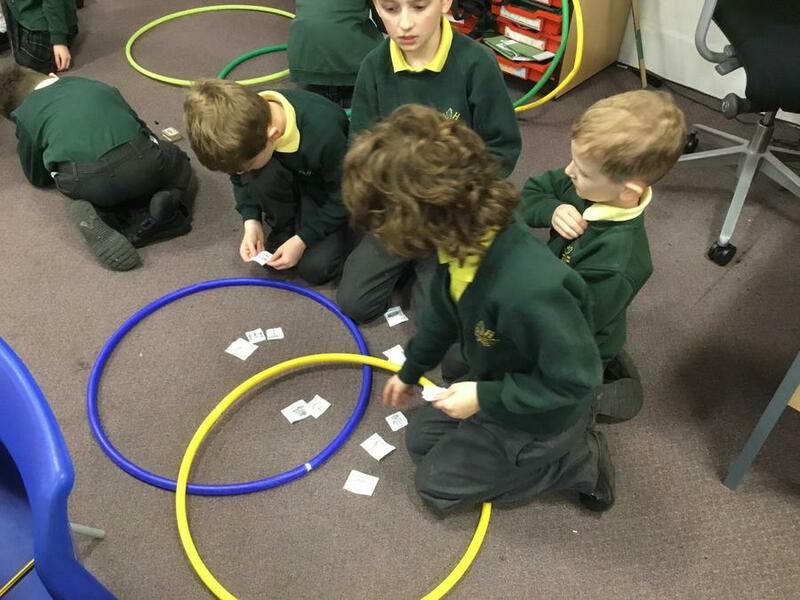 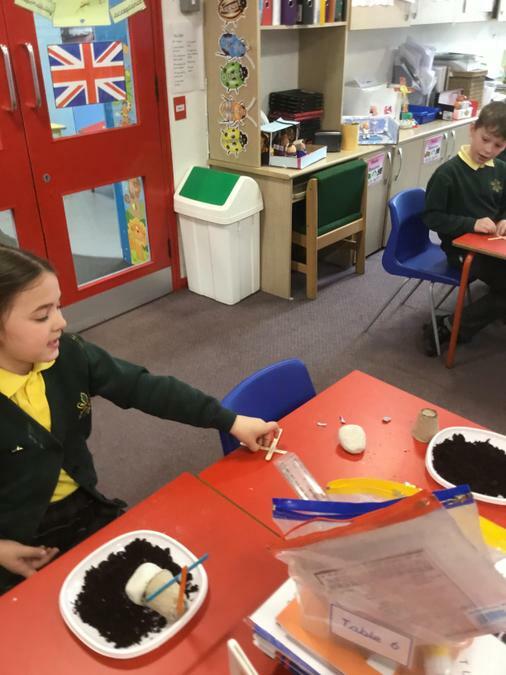 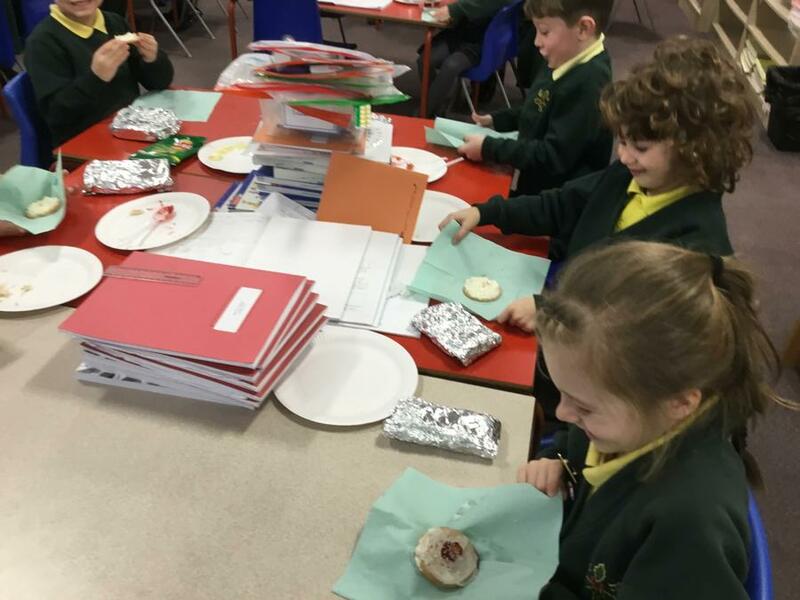 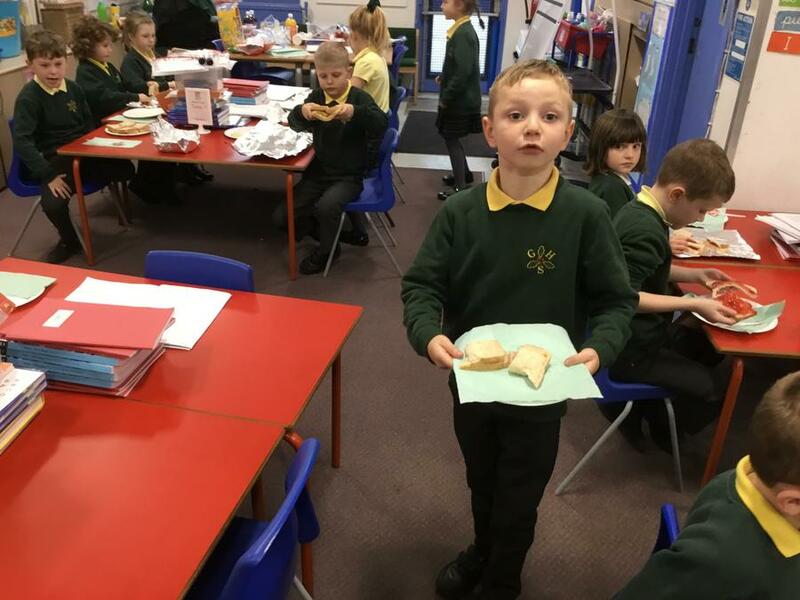 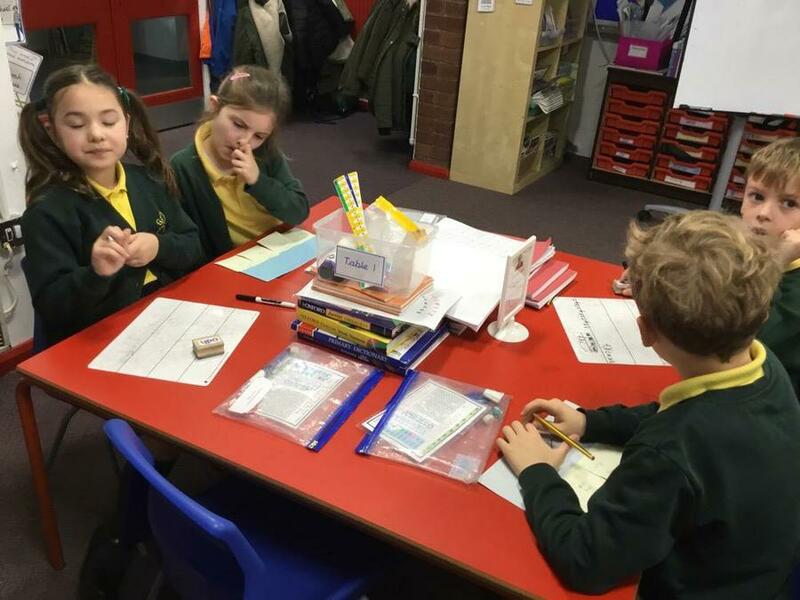 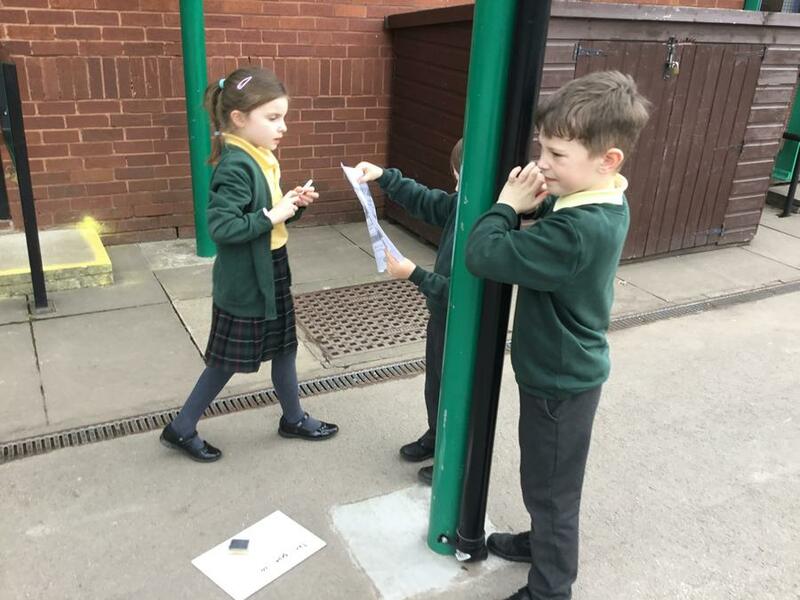 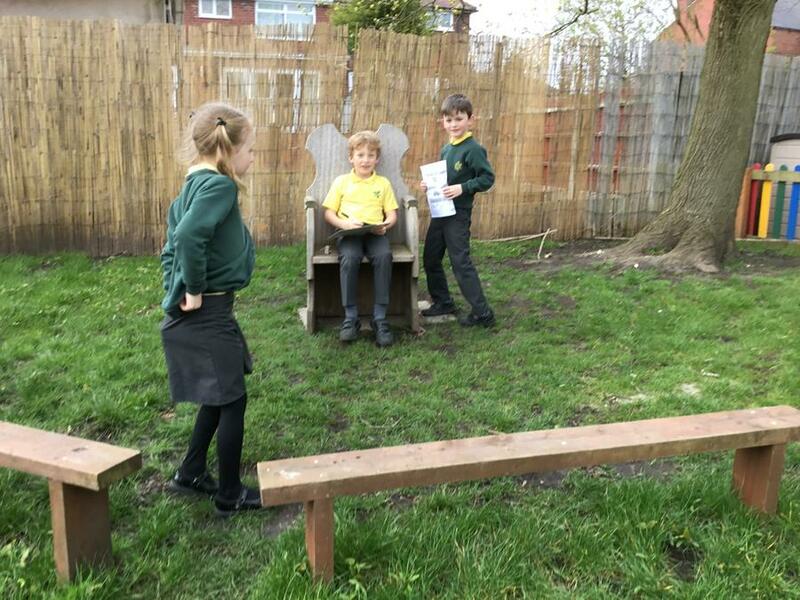 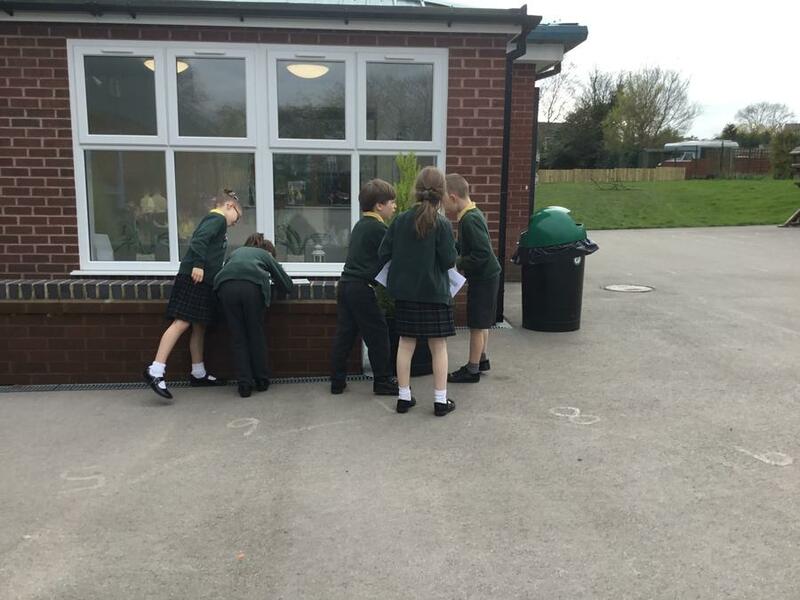 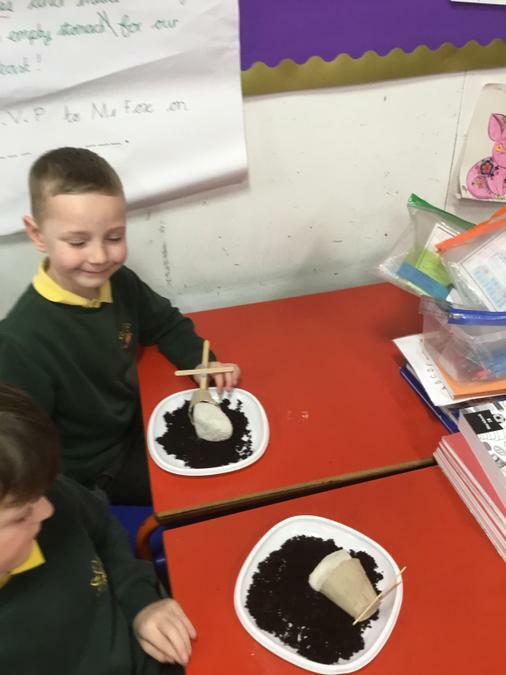 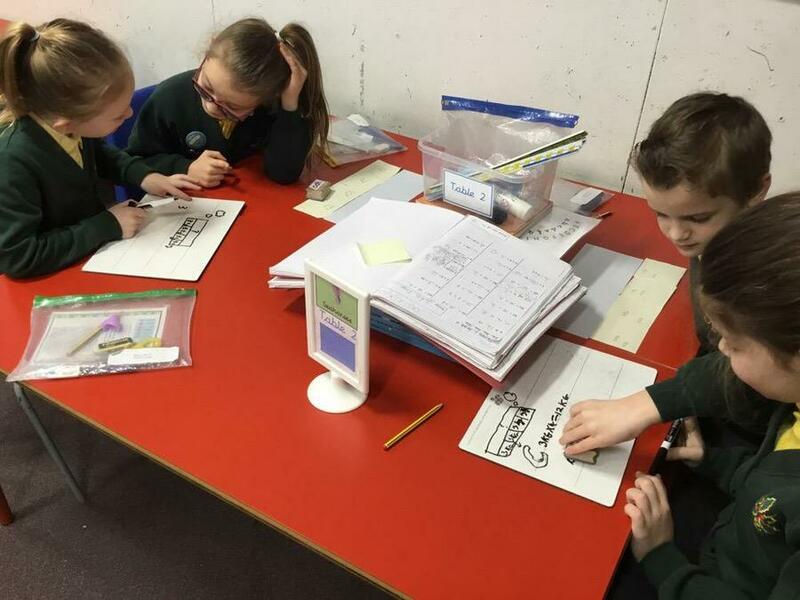 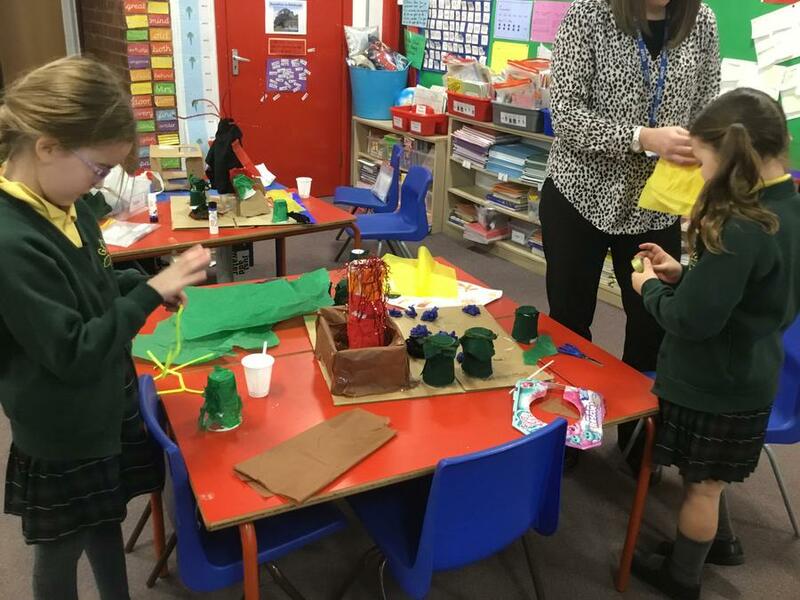 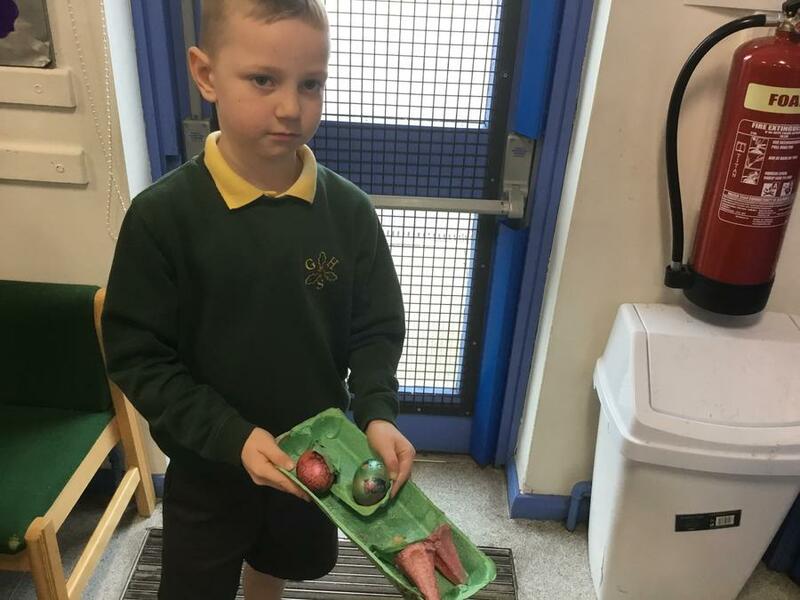 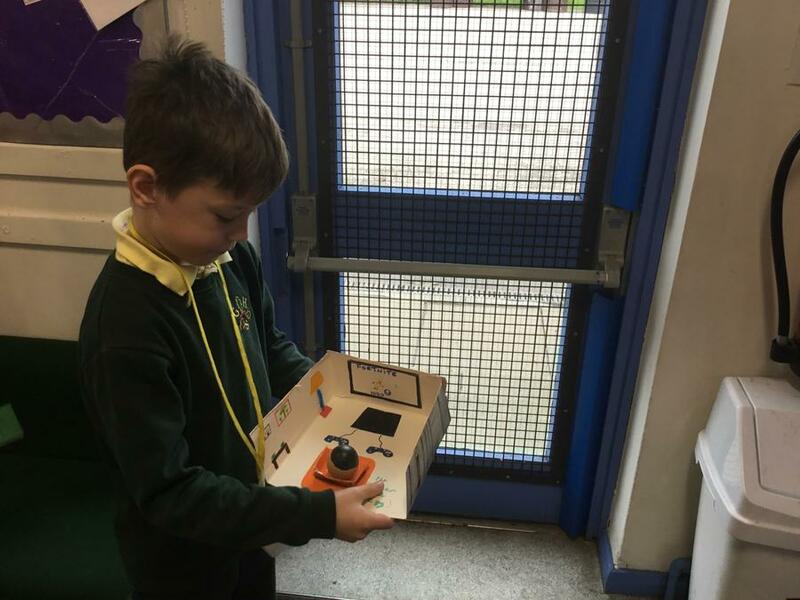 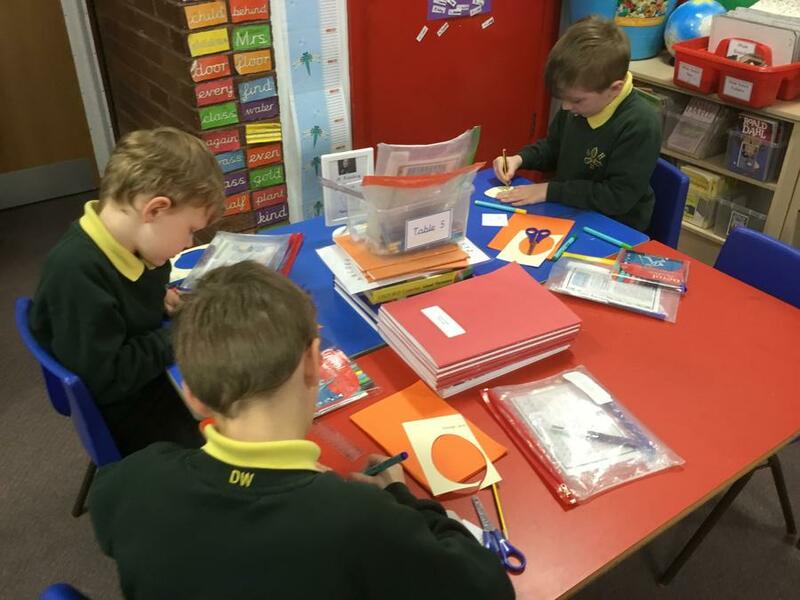 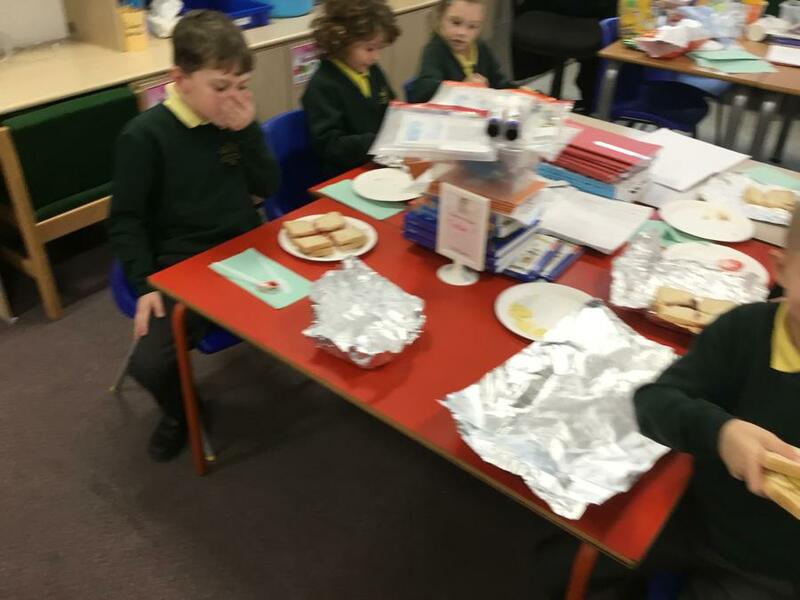 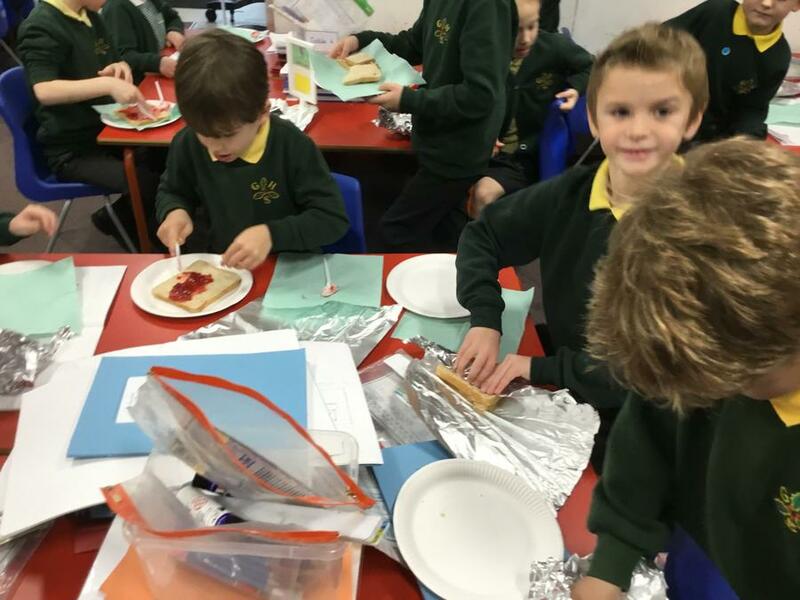 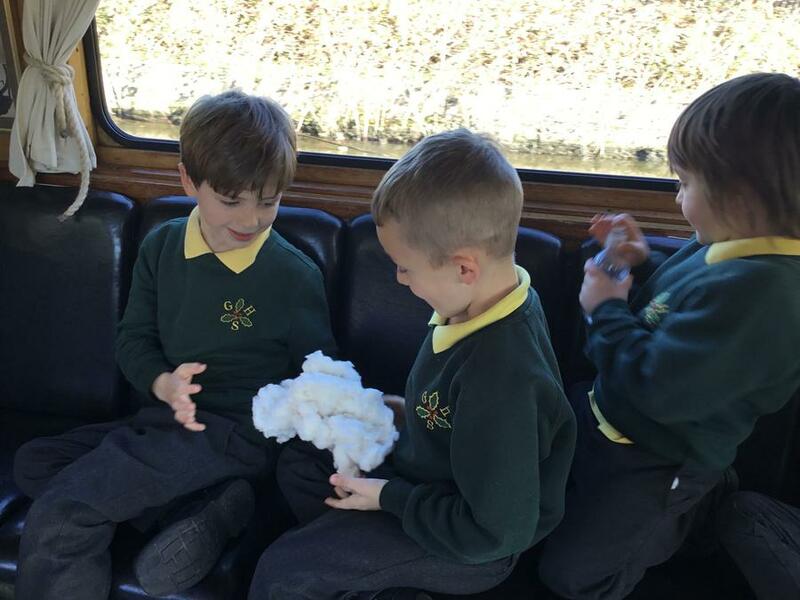 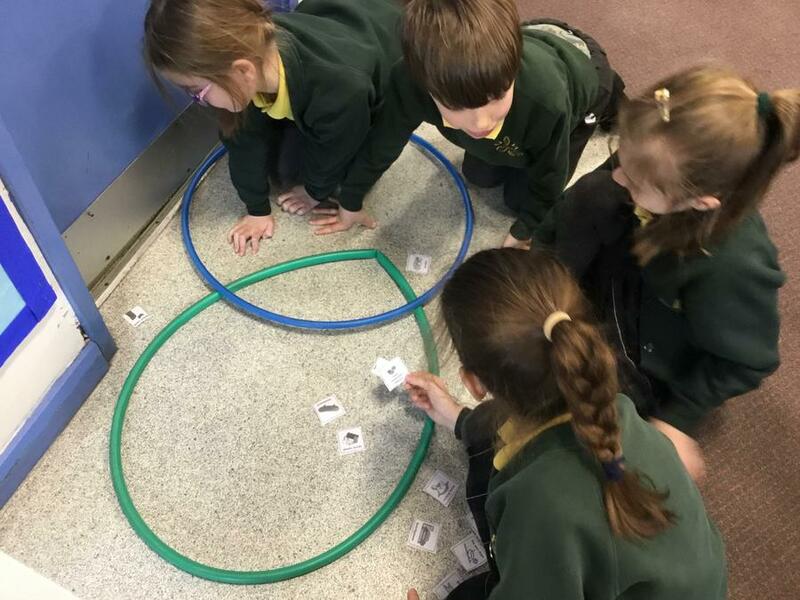 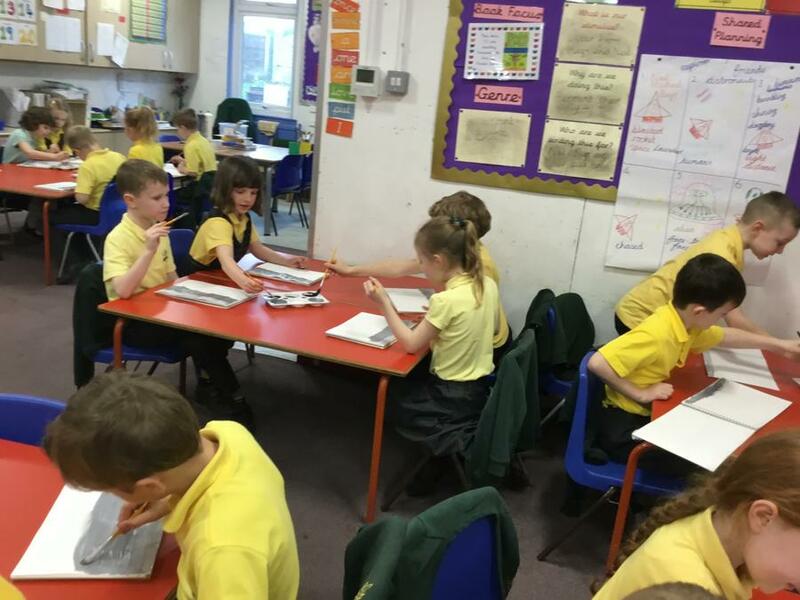 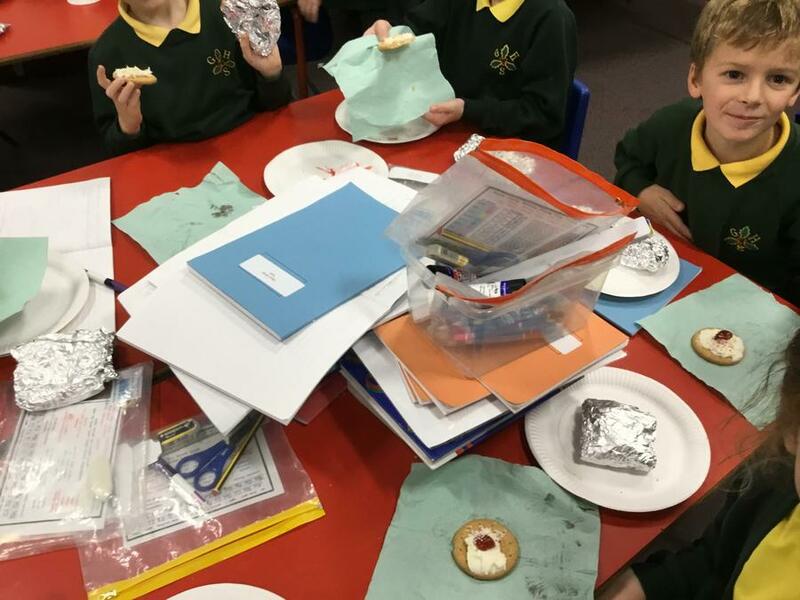 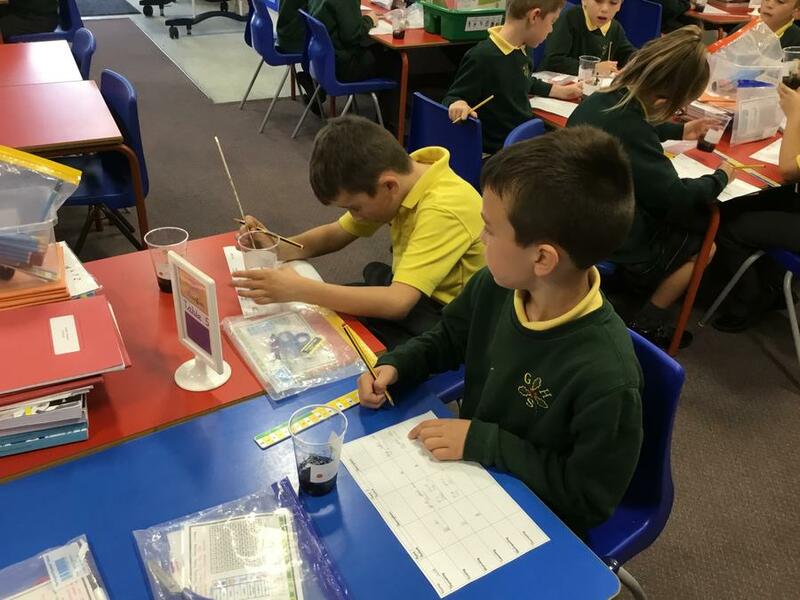 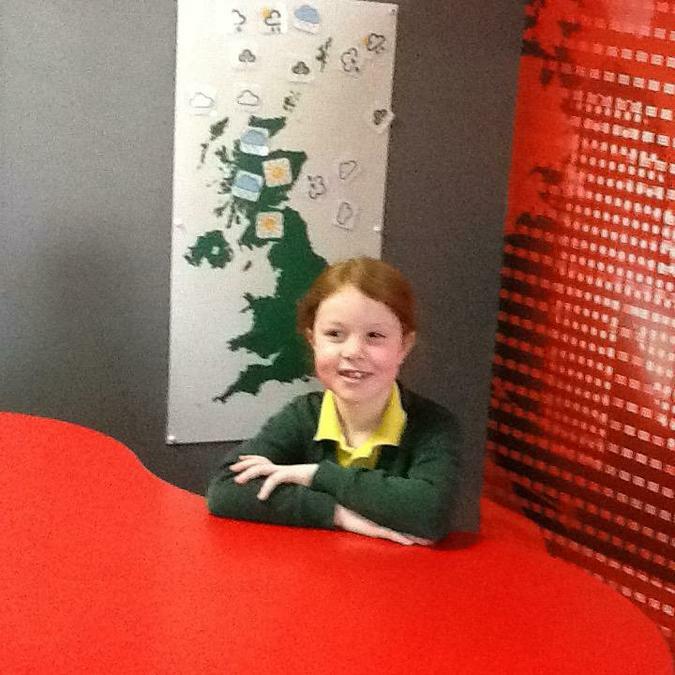 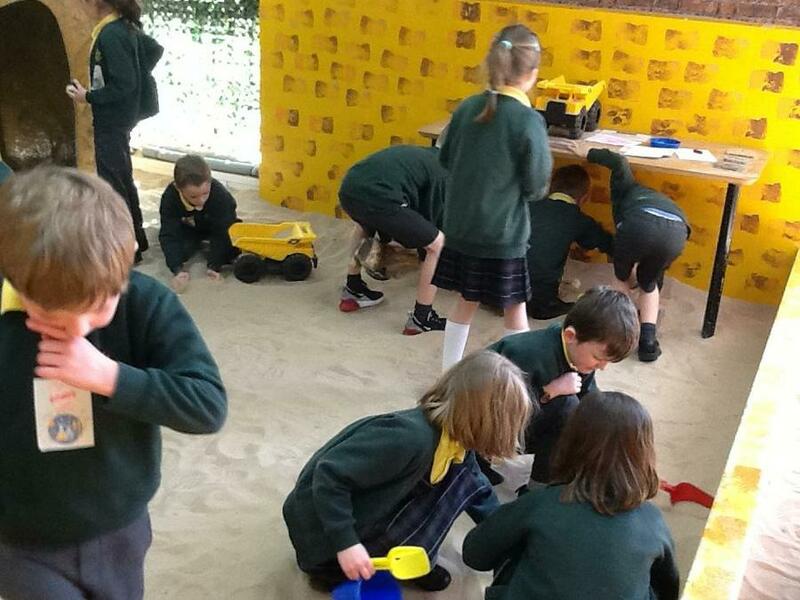 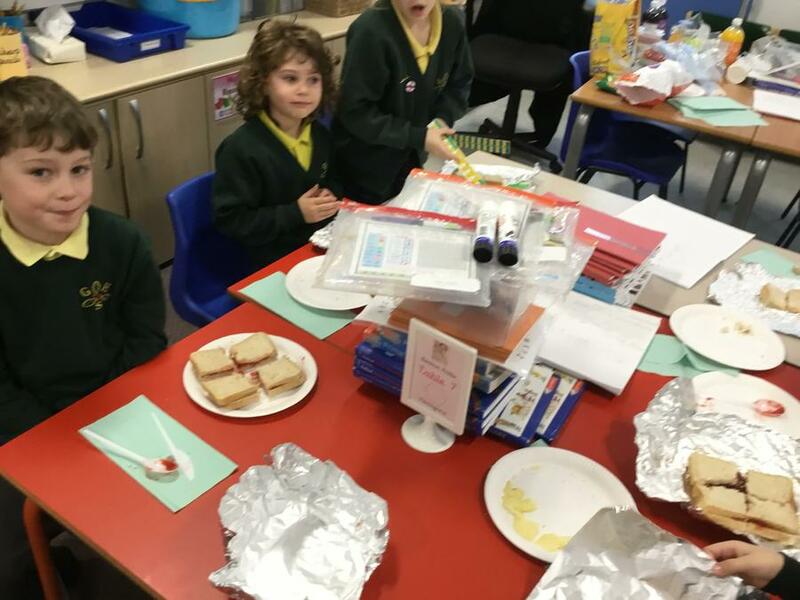 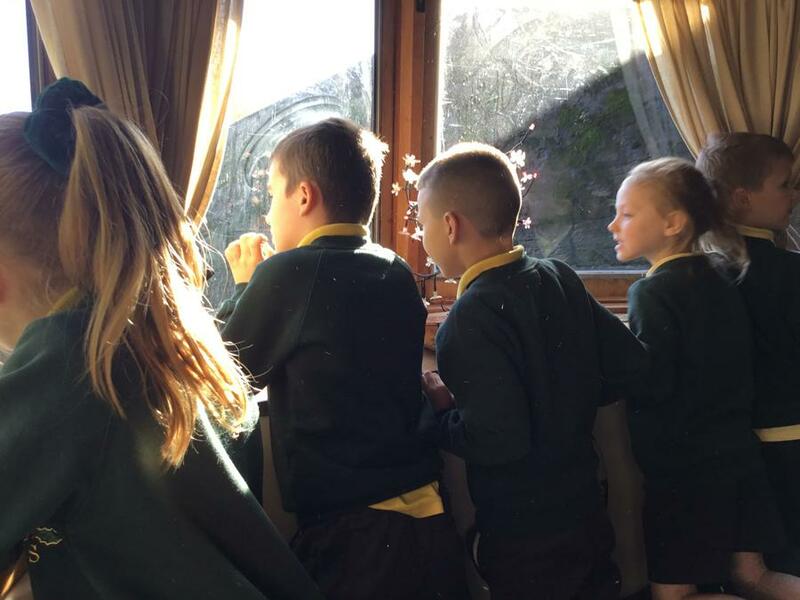 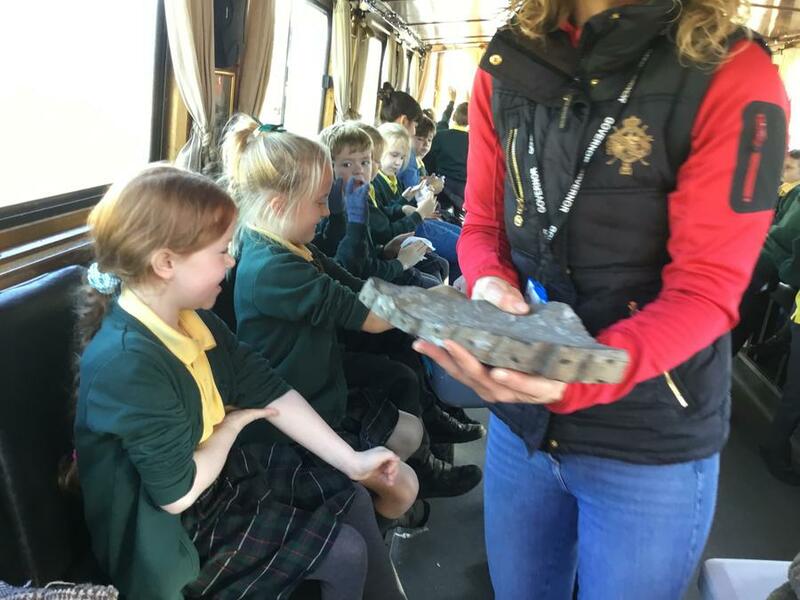 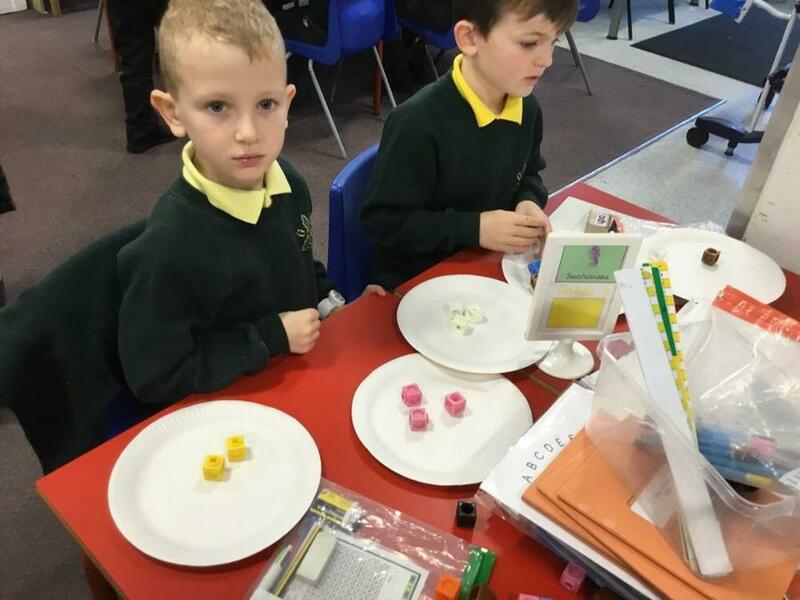 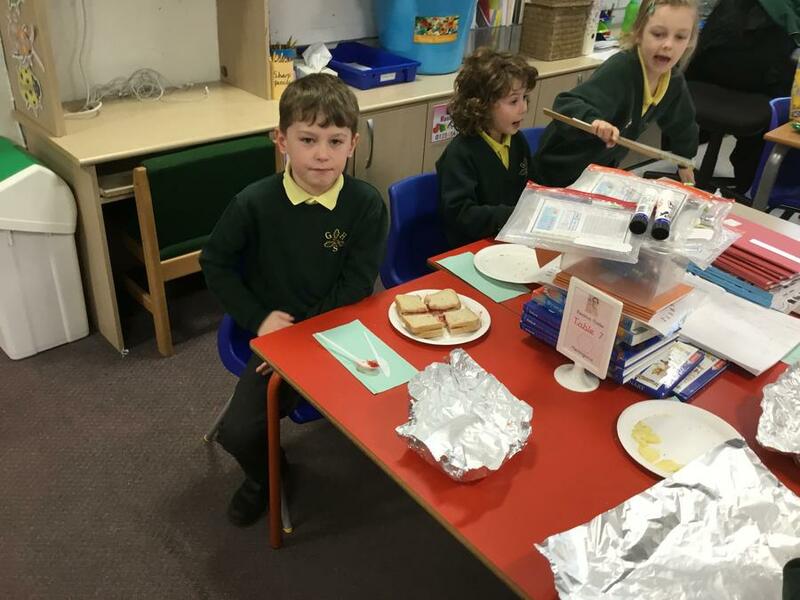 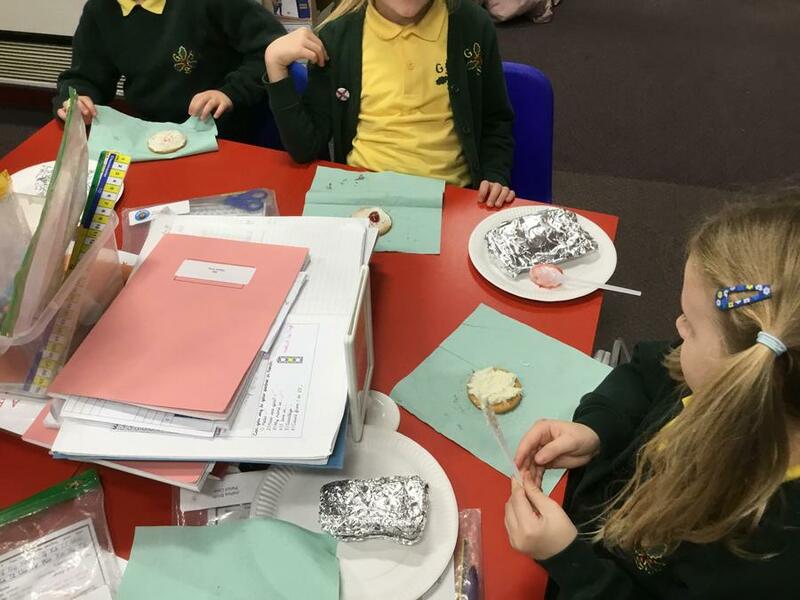 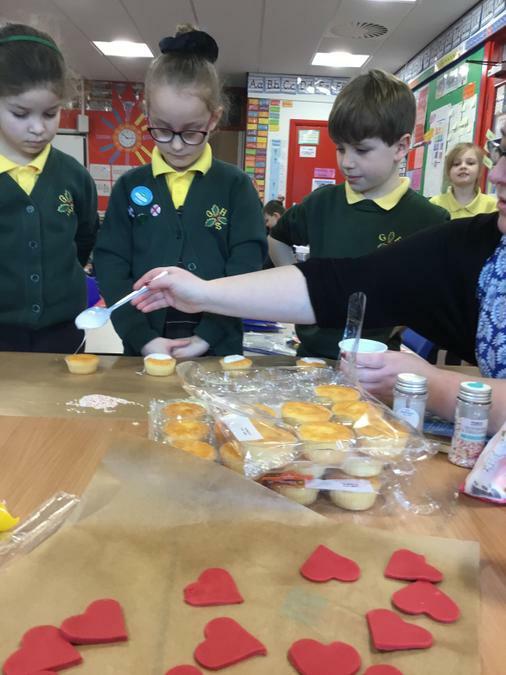 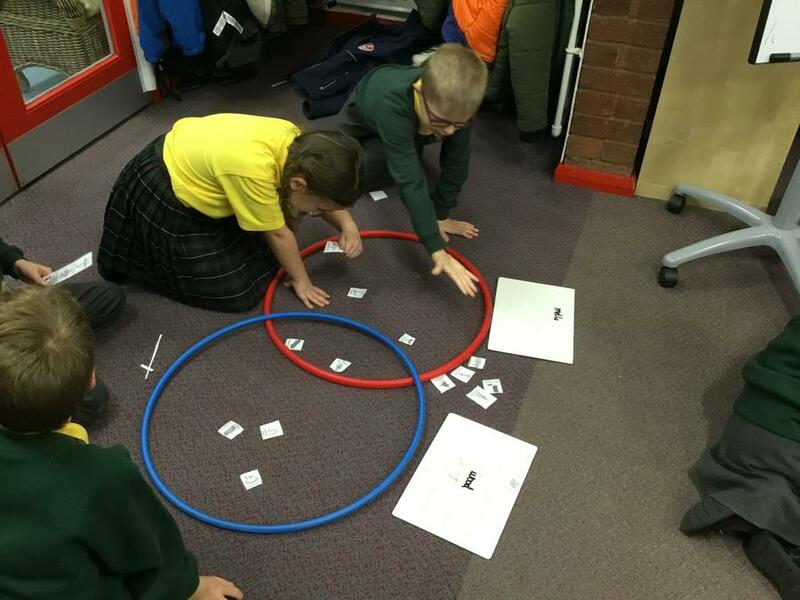 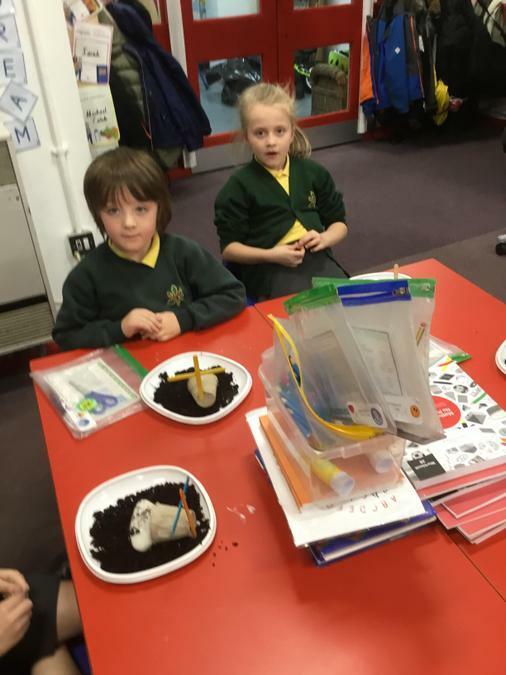 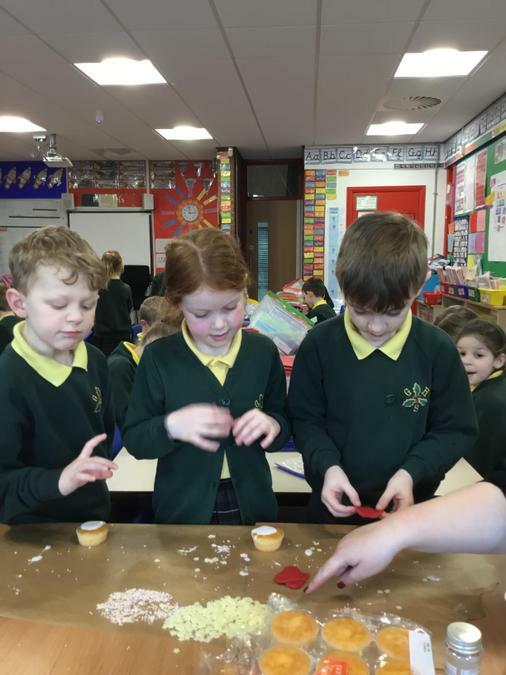 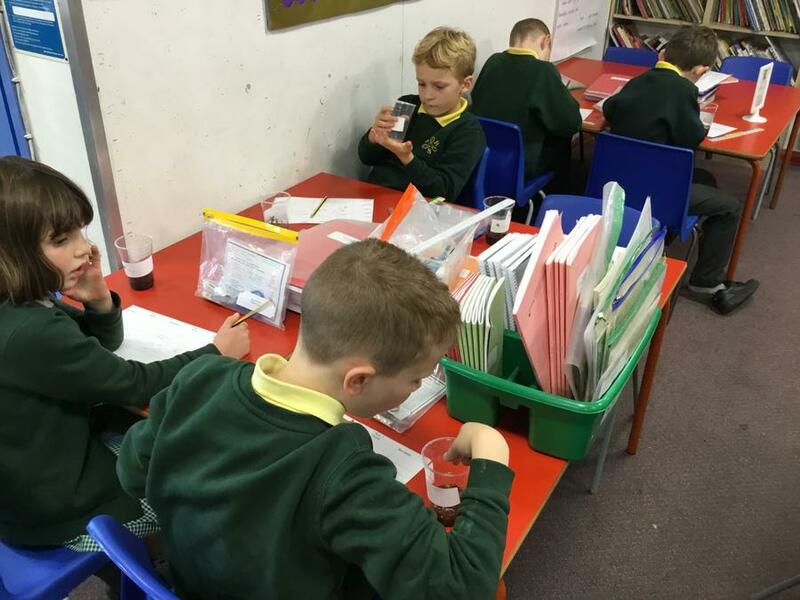 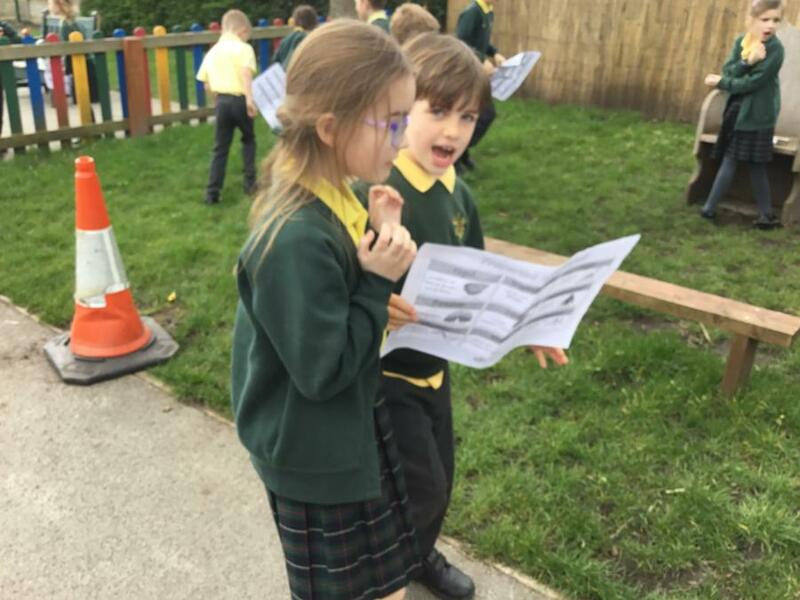 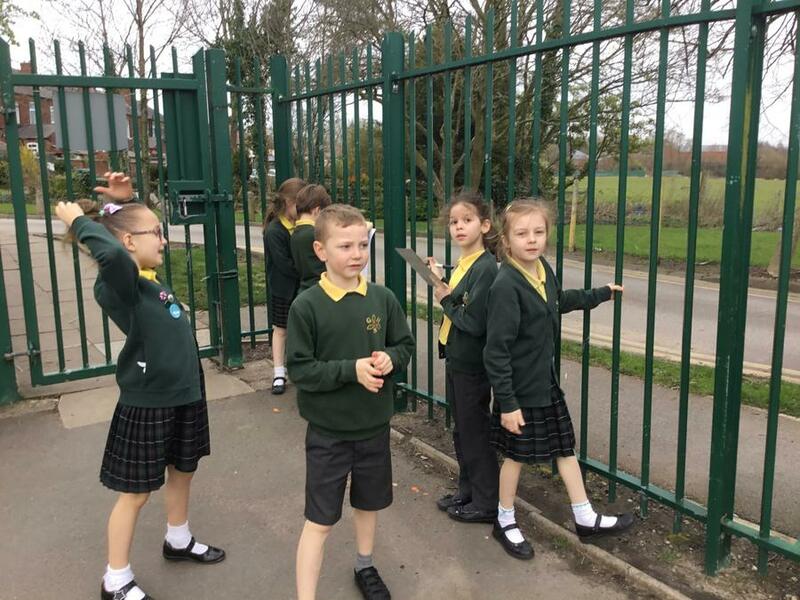 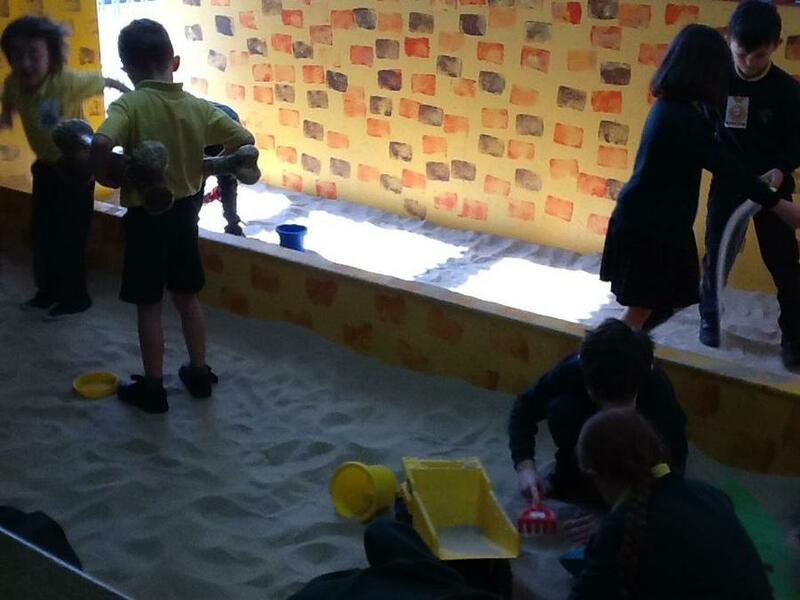 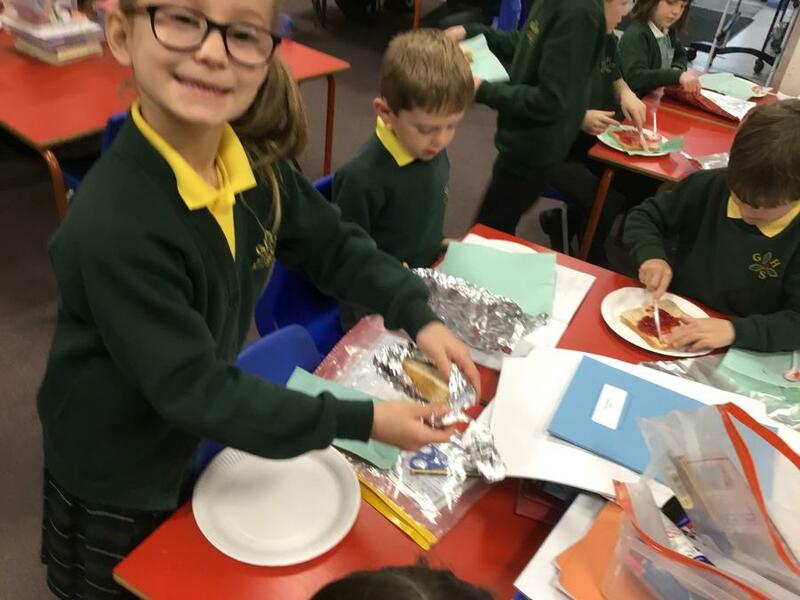 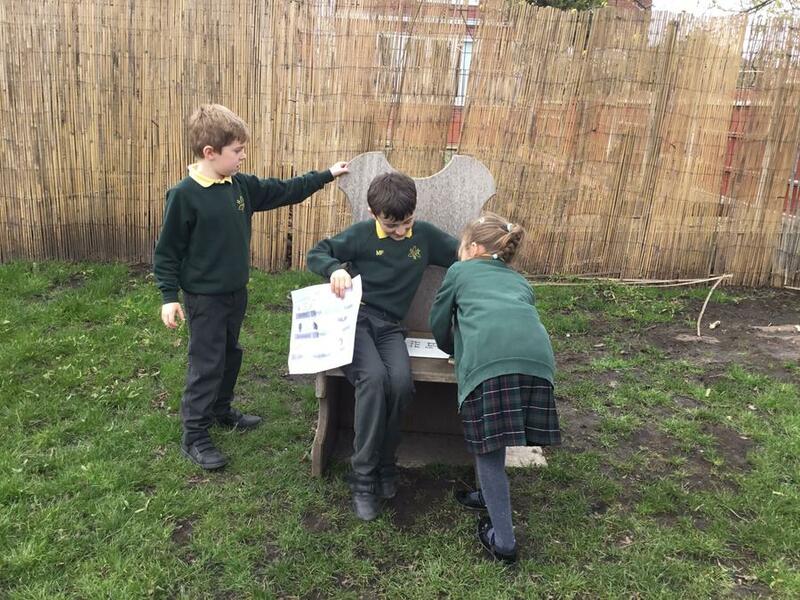 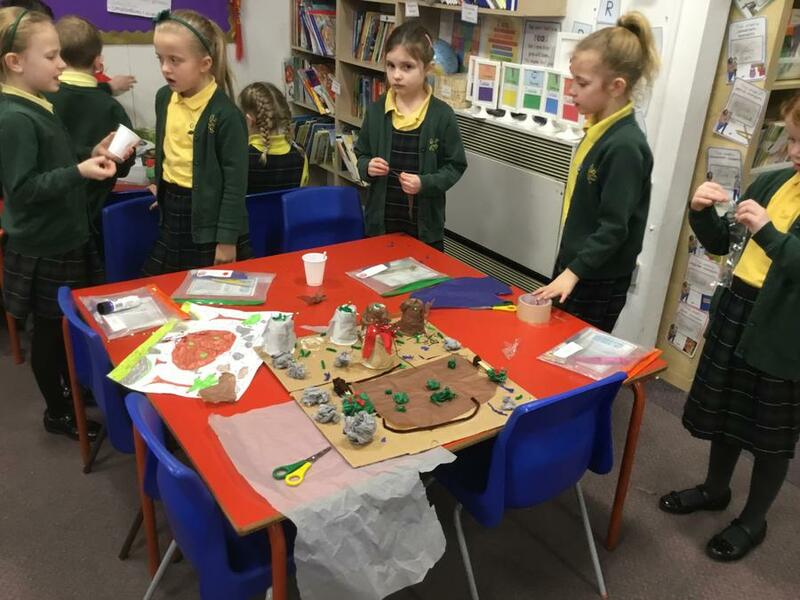 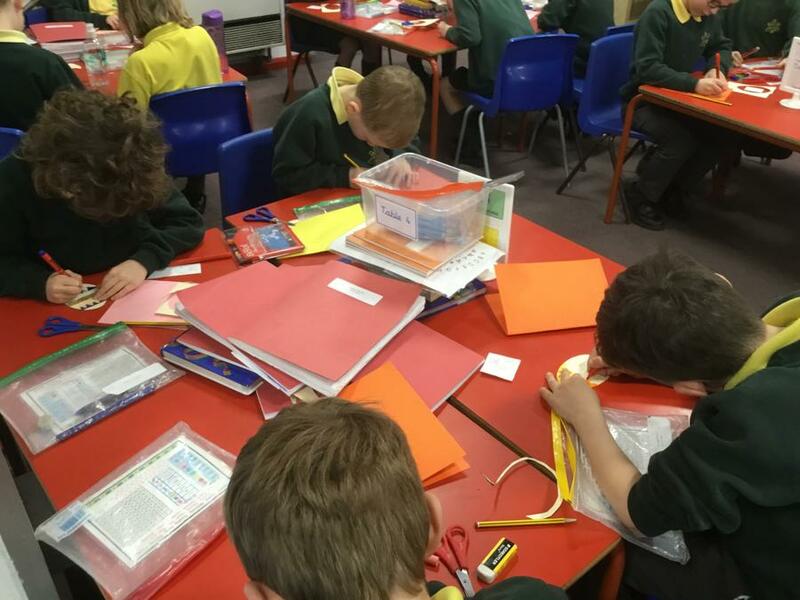 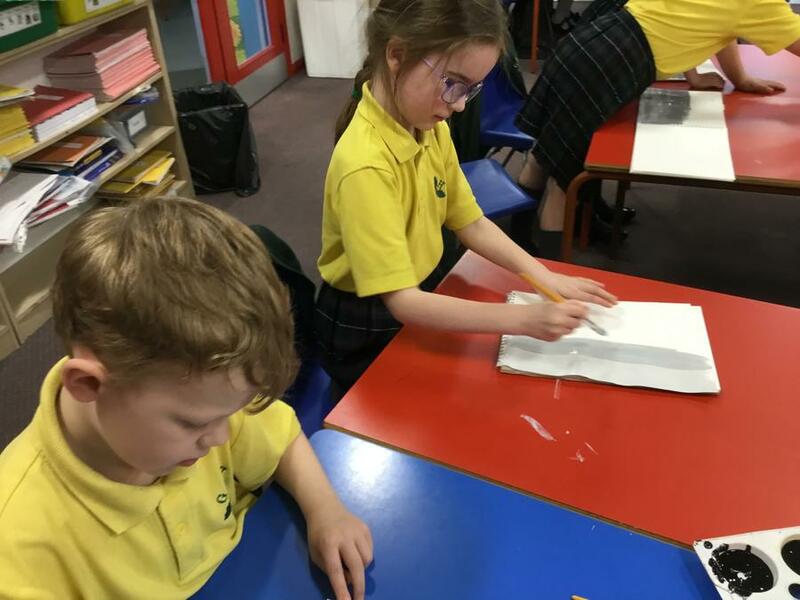 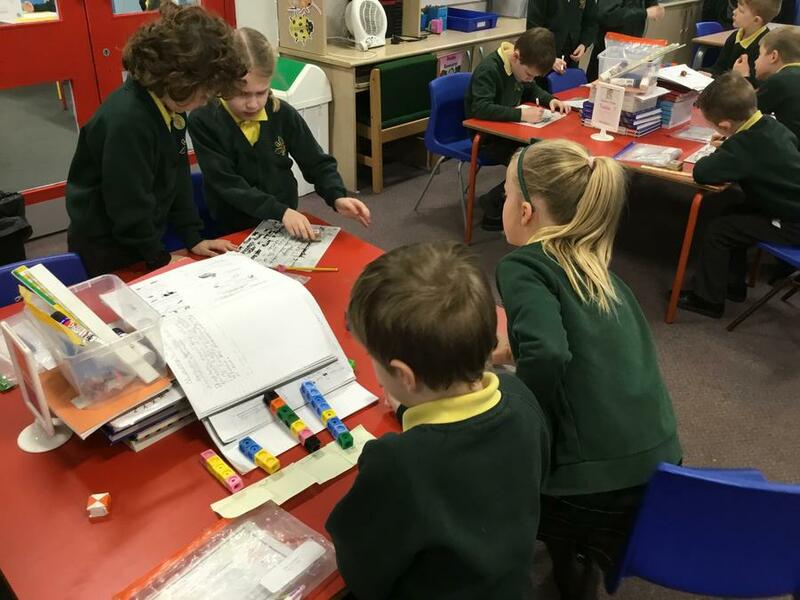 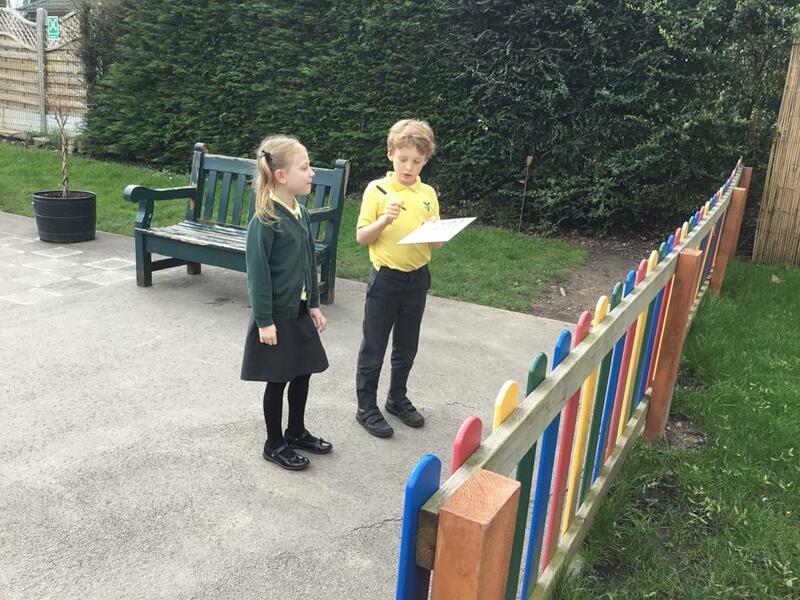 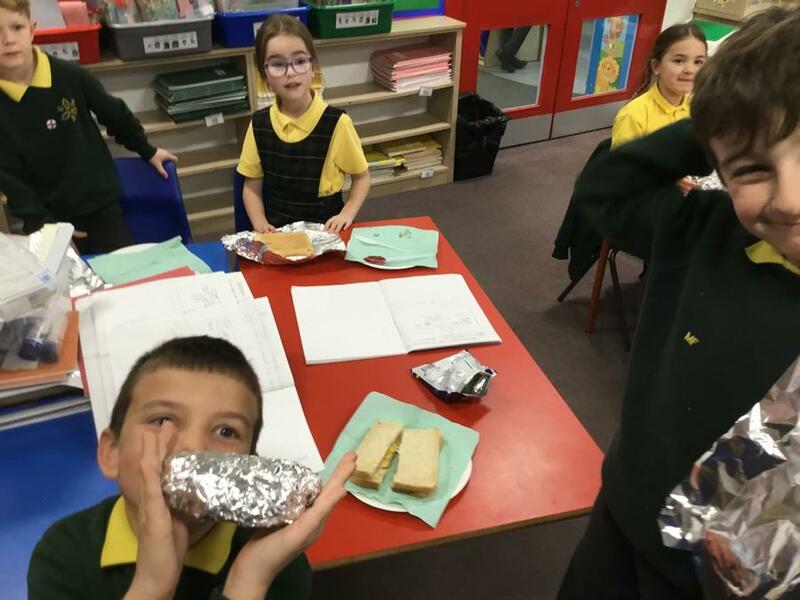 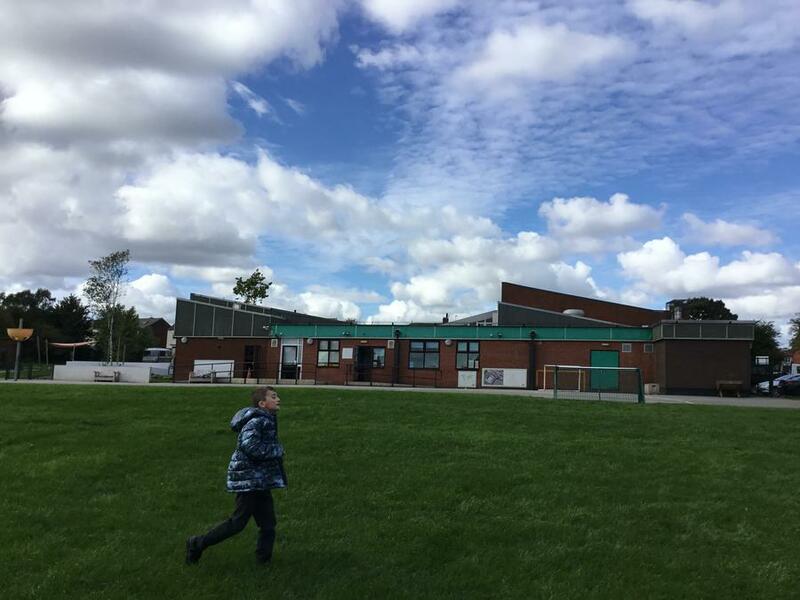 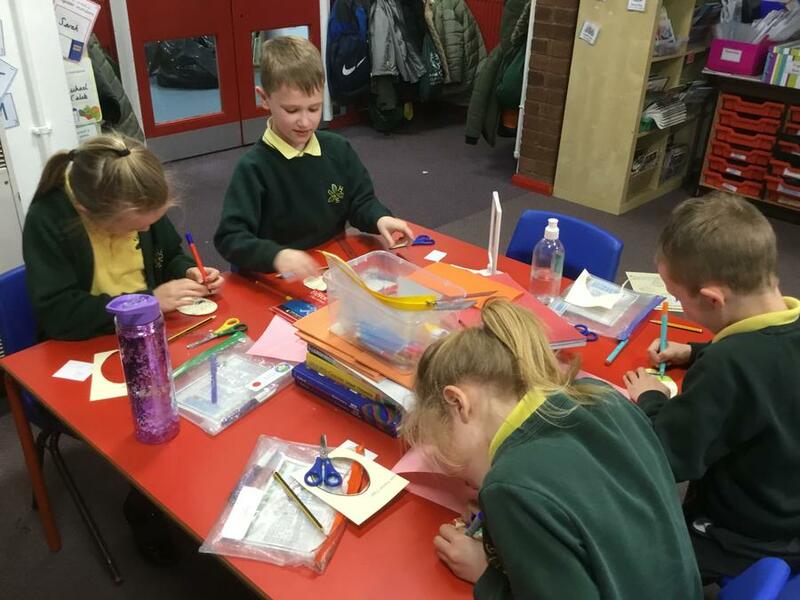 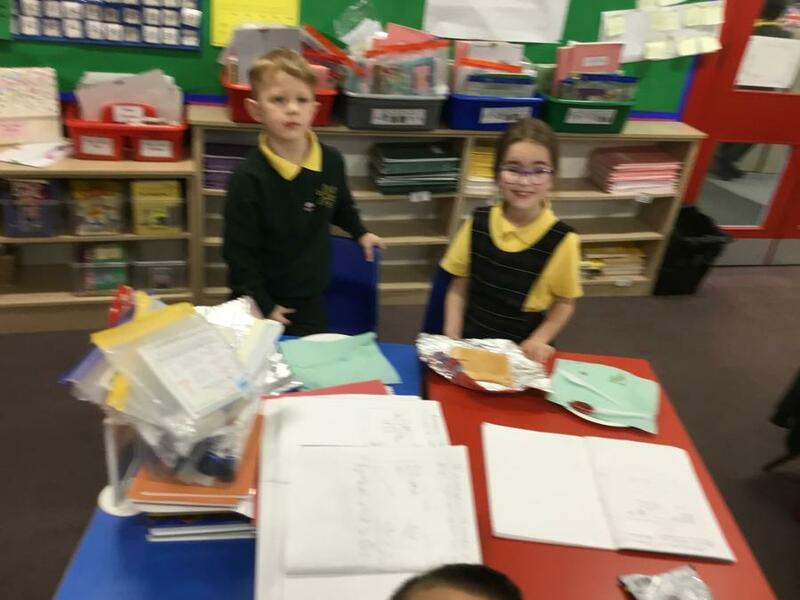 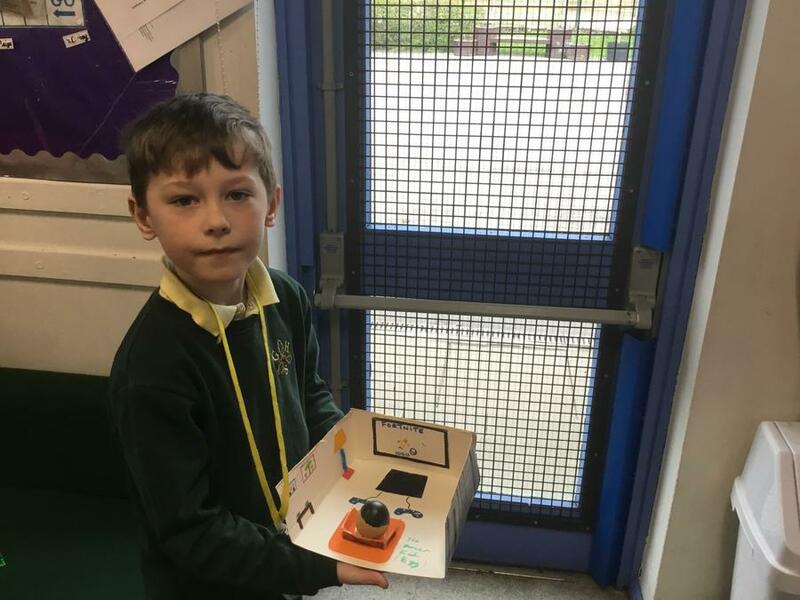 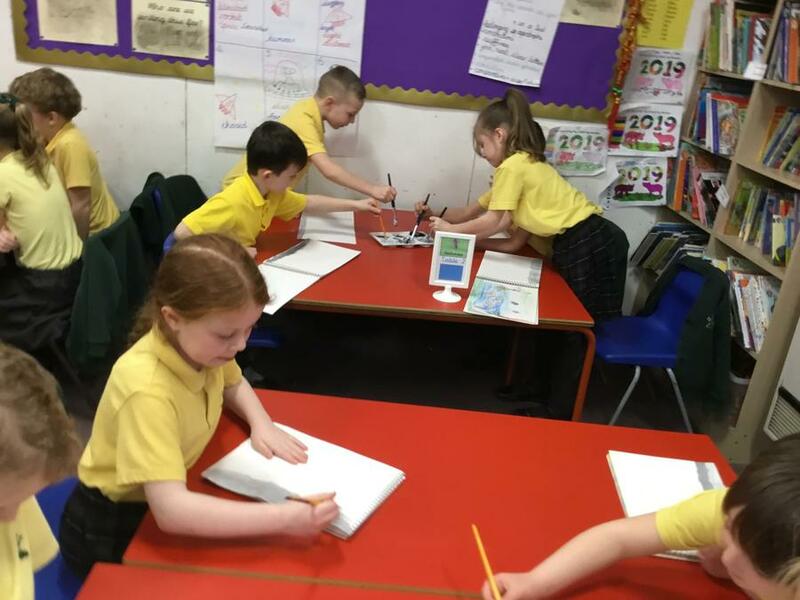 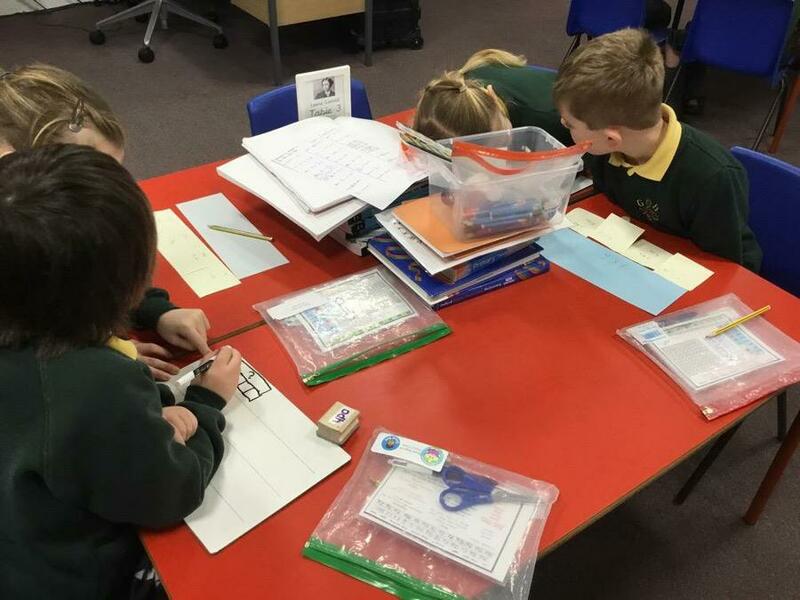 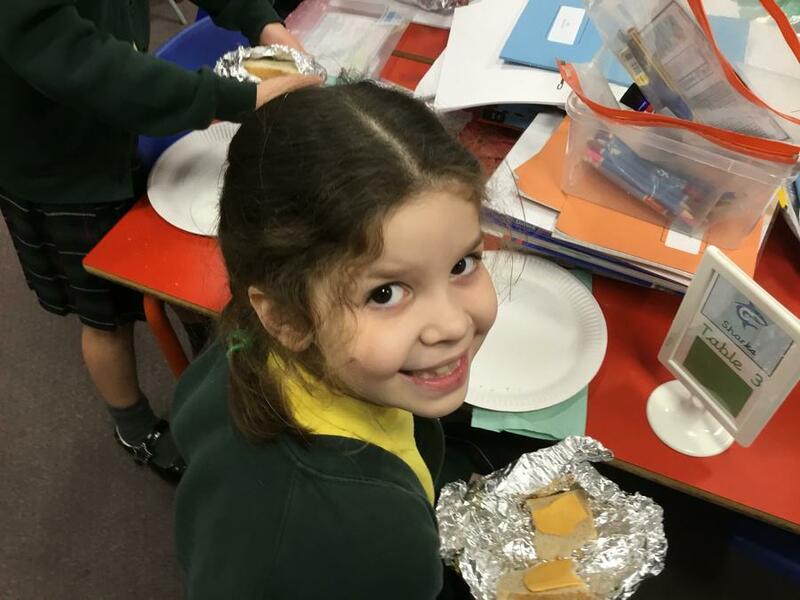 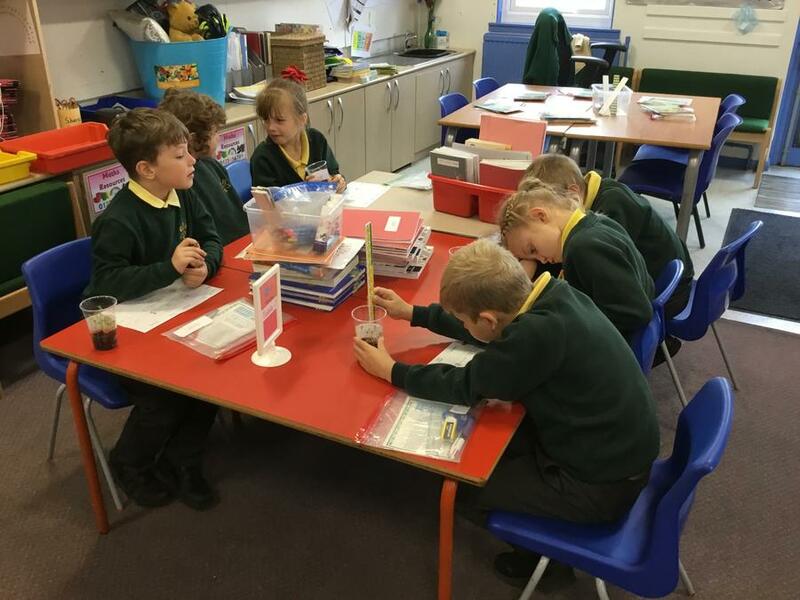 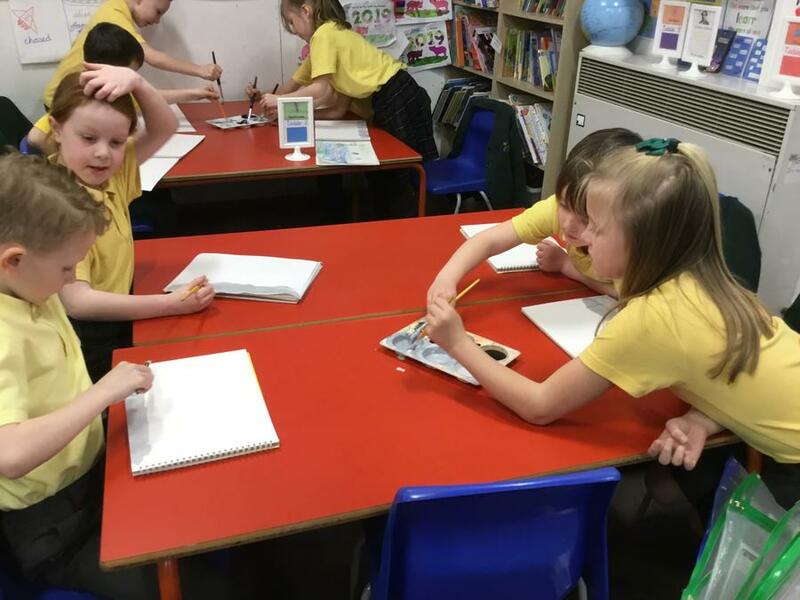 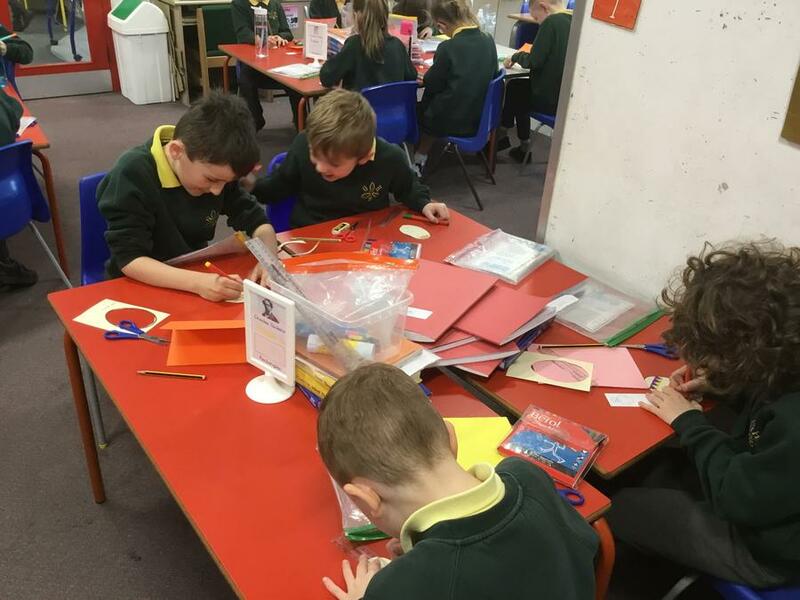 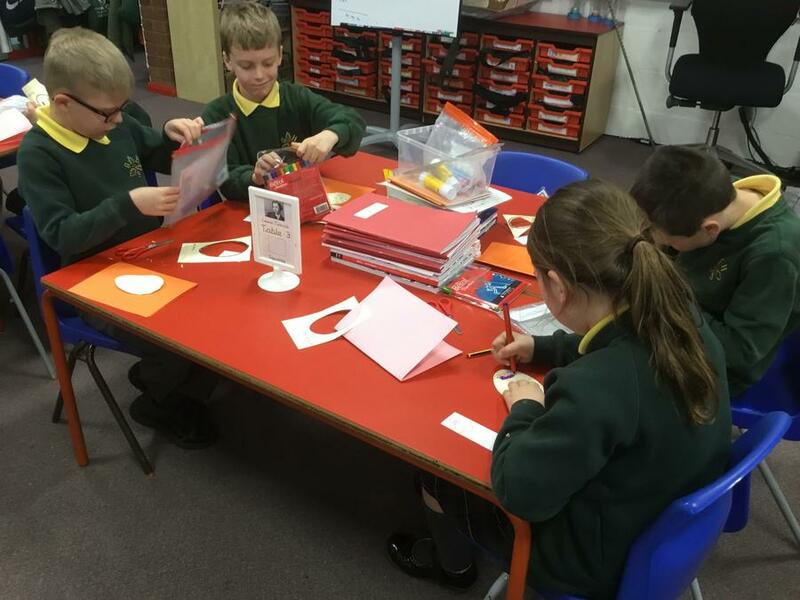 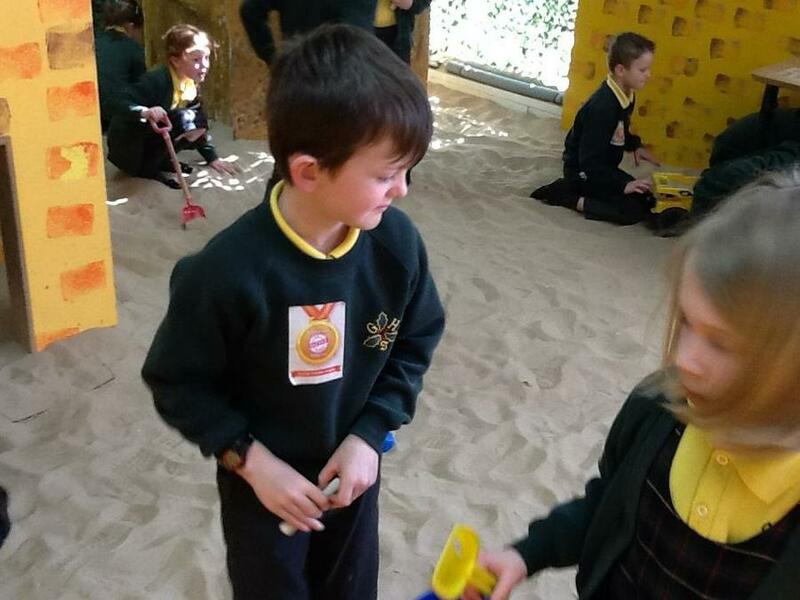 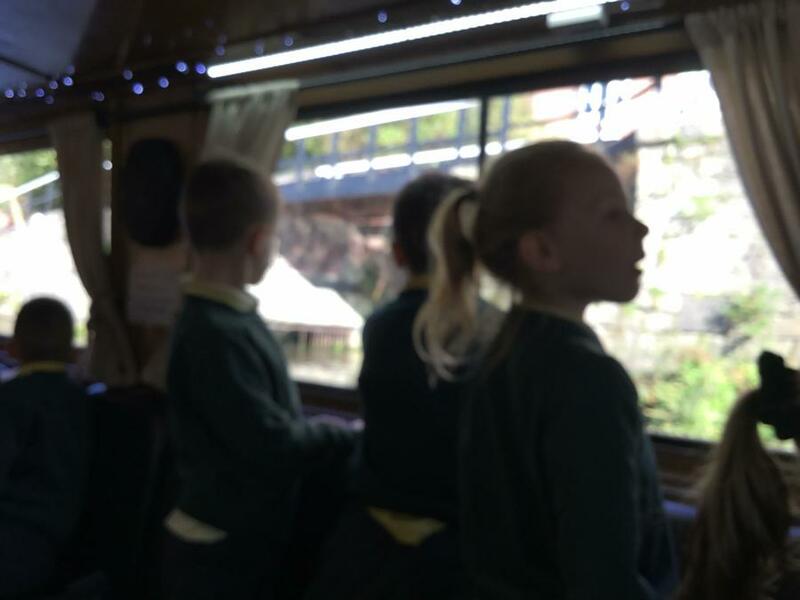 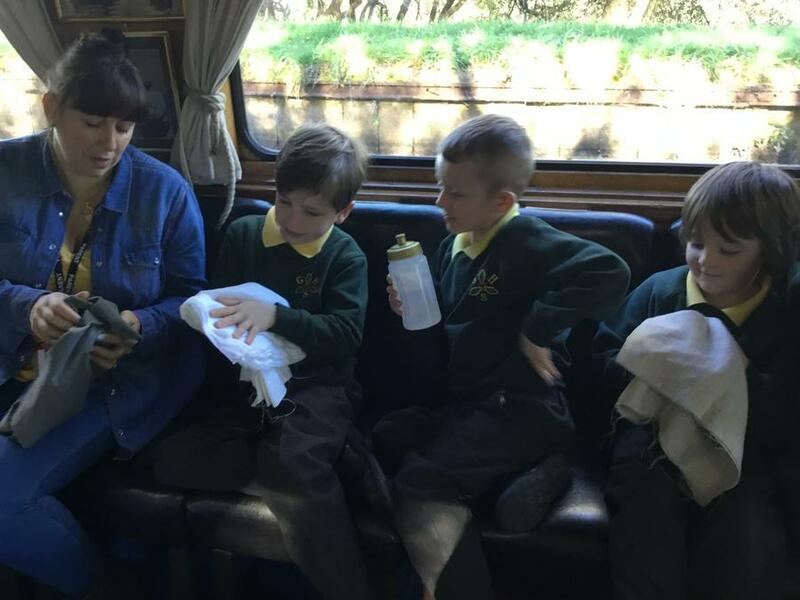 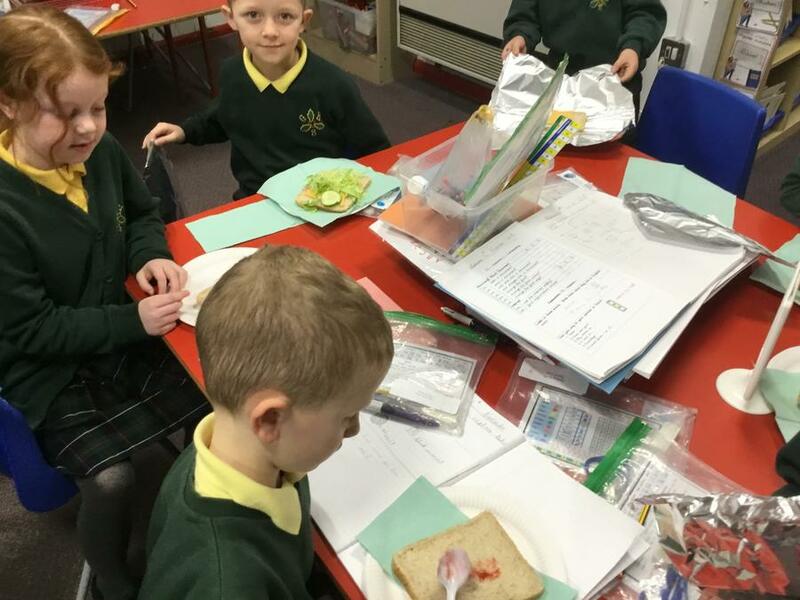 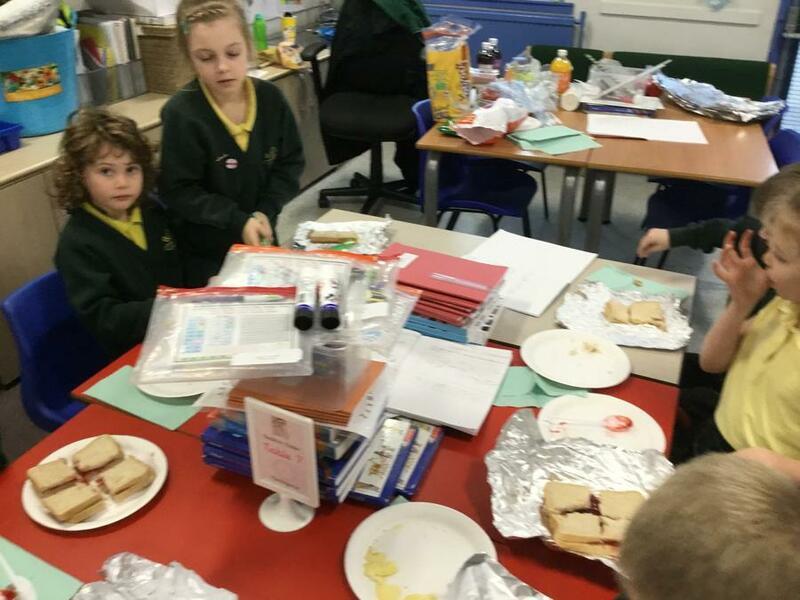 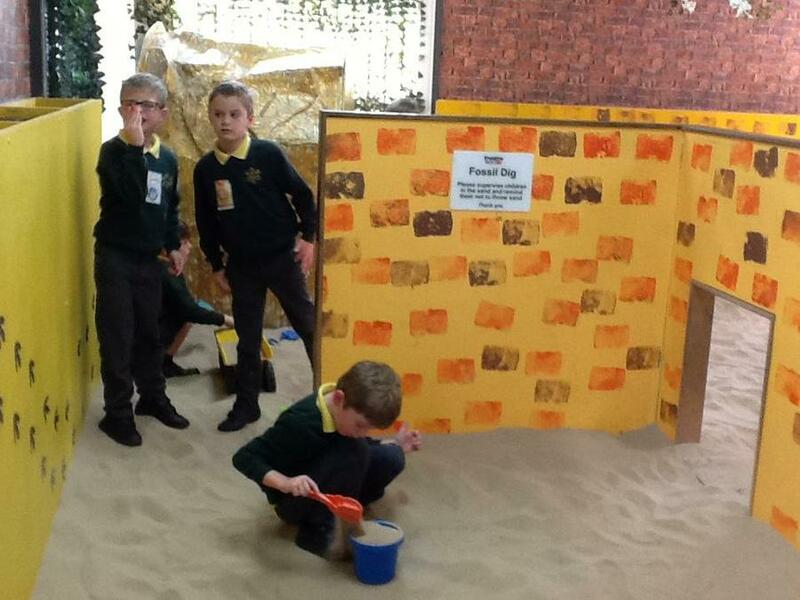 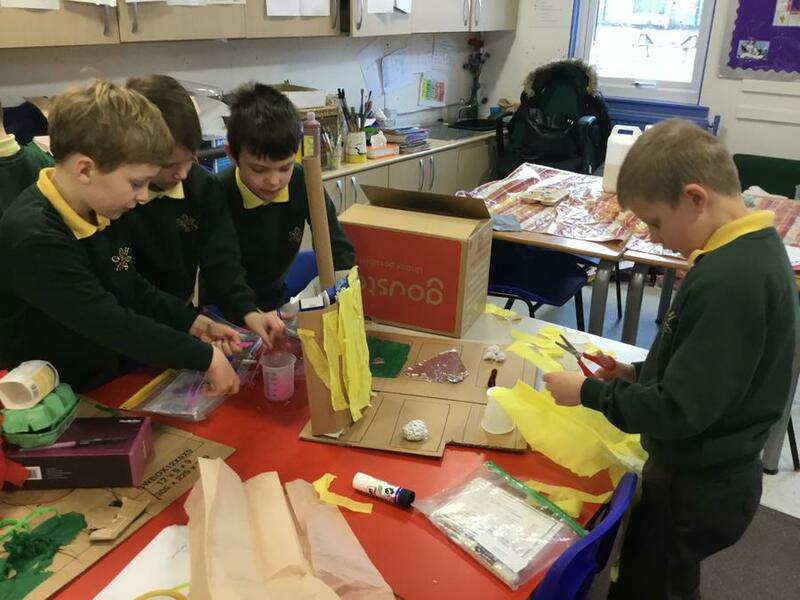 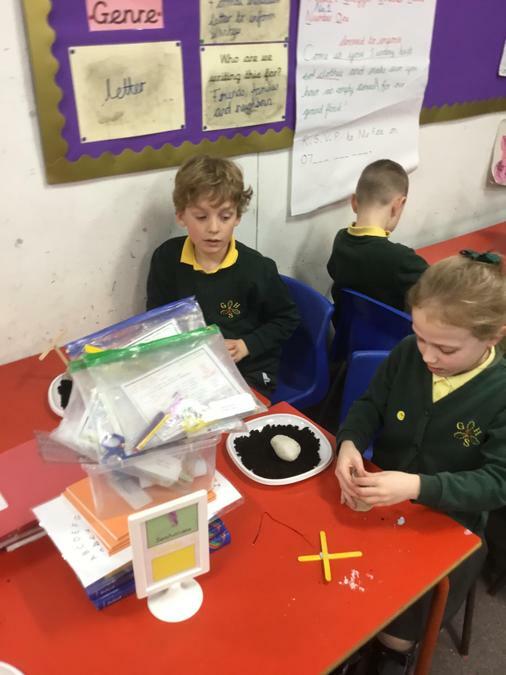 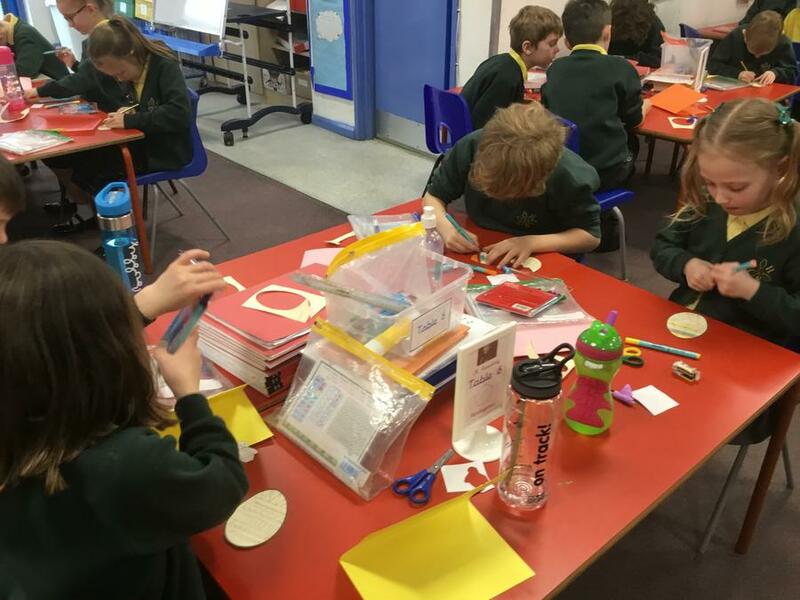 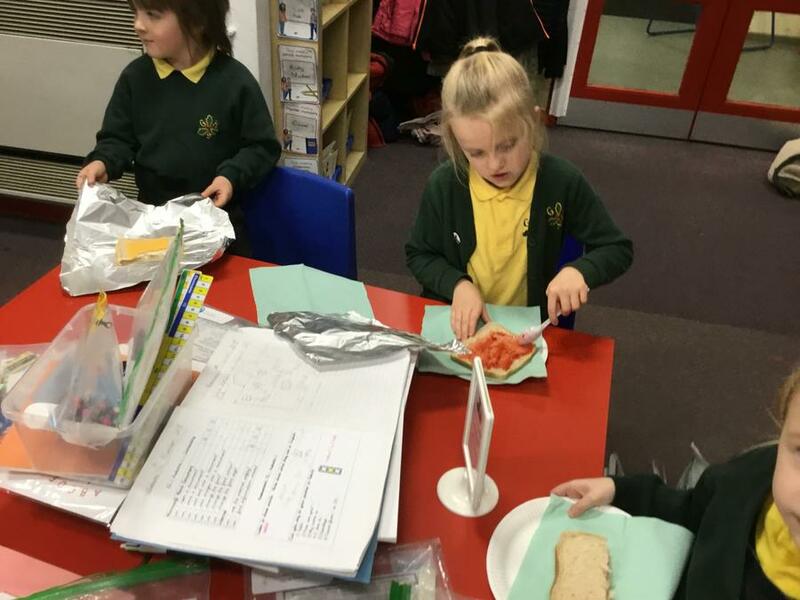 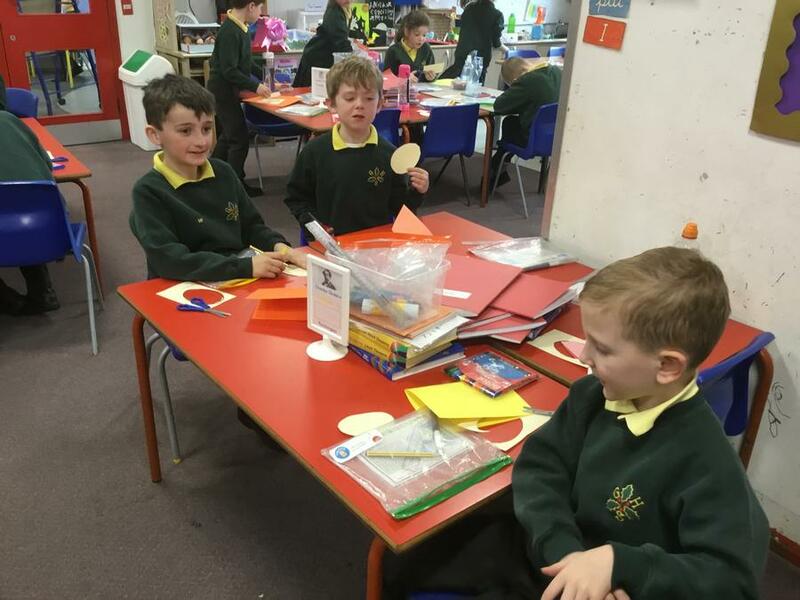 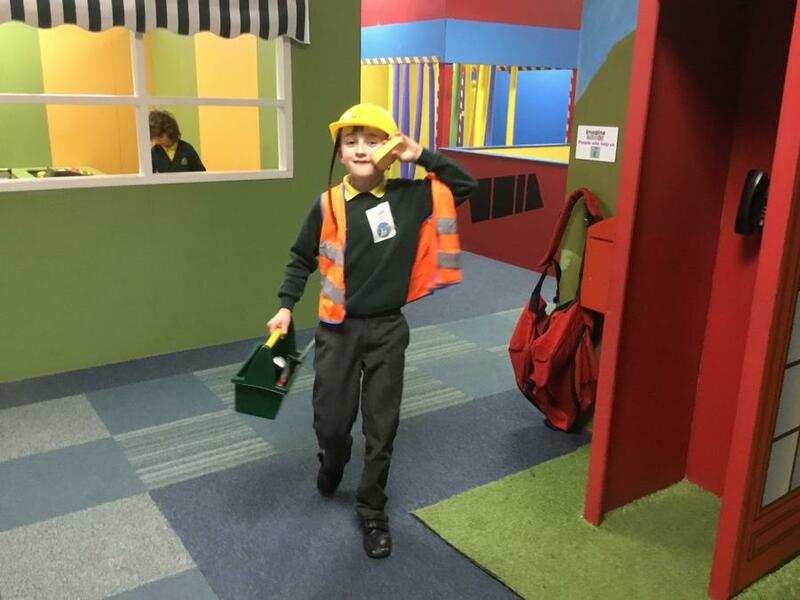 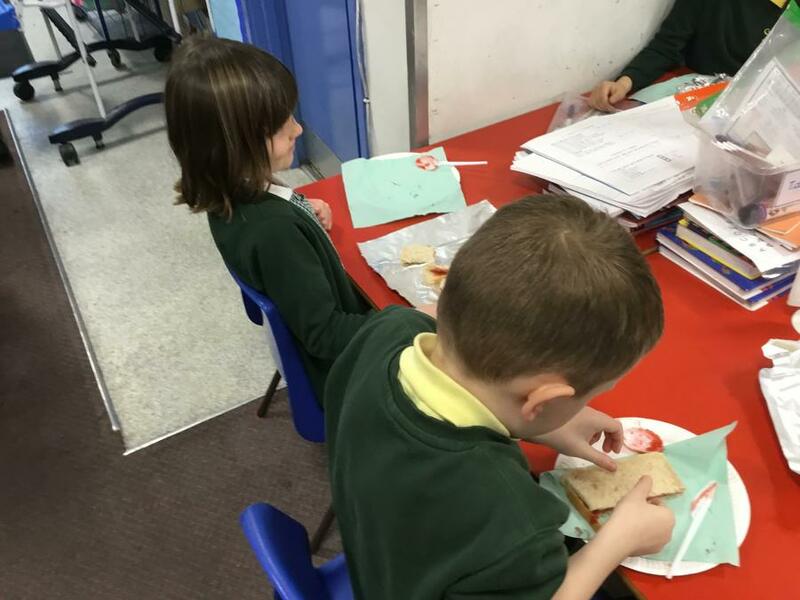 Thursday 21st March 2019 - identifying what our school is made out of and why those materials have been used. 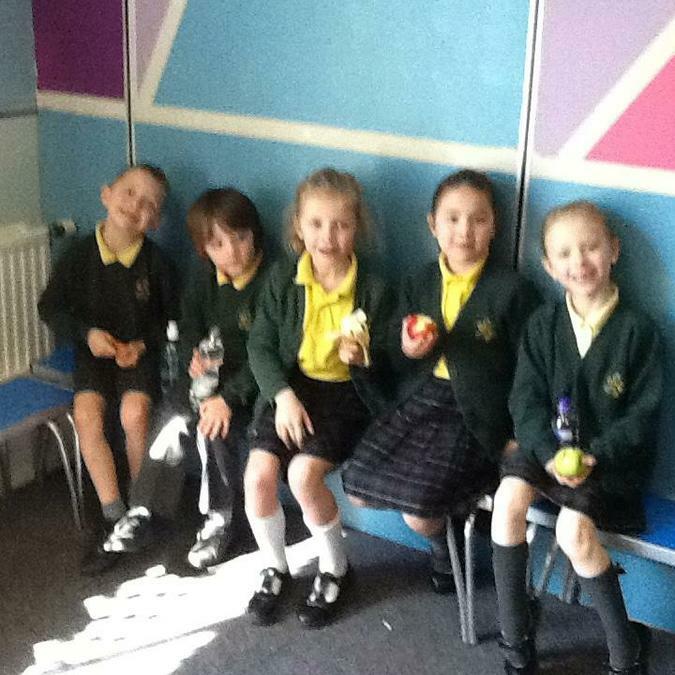 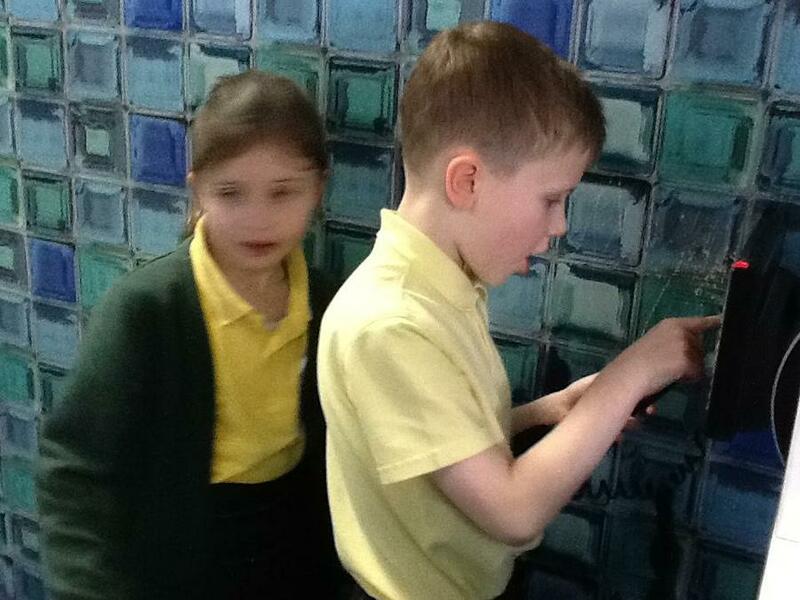 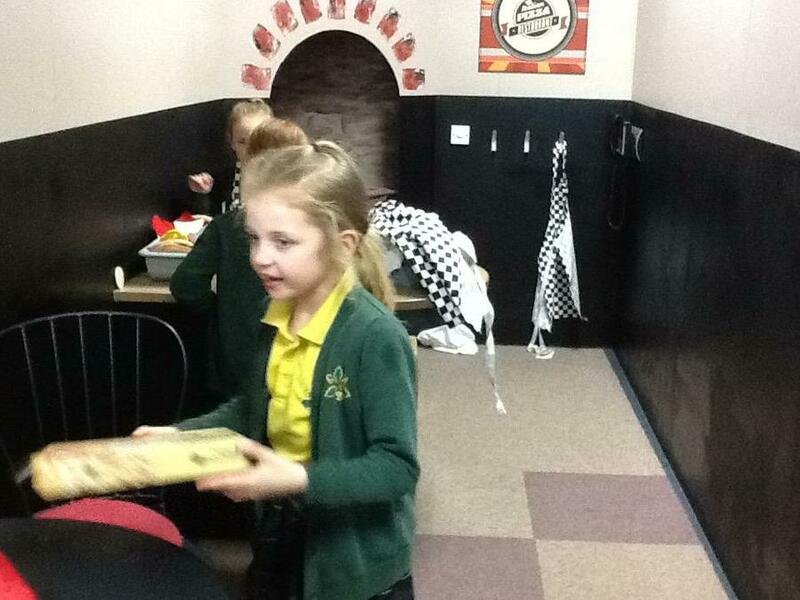 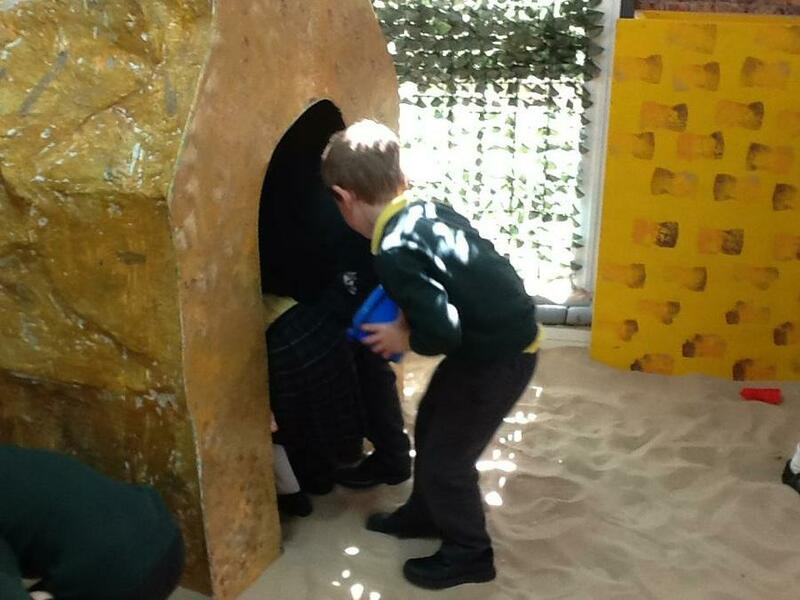 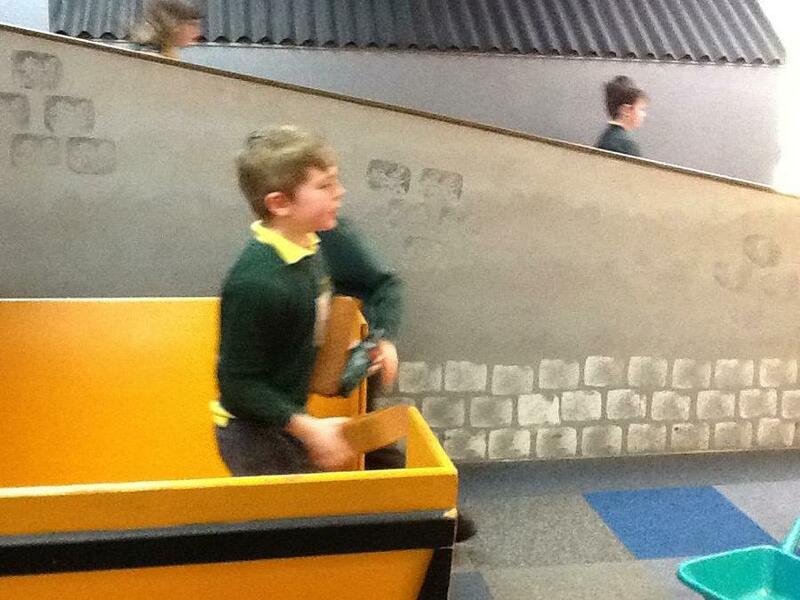 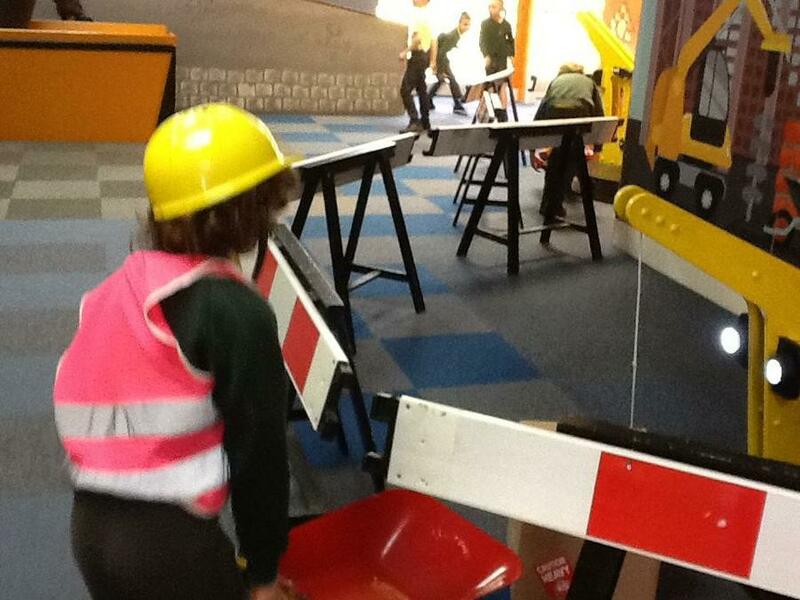 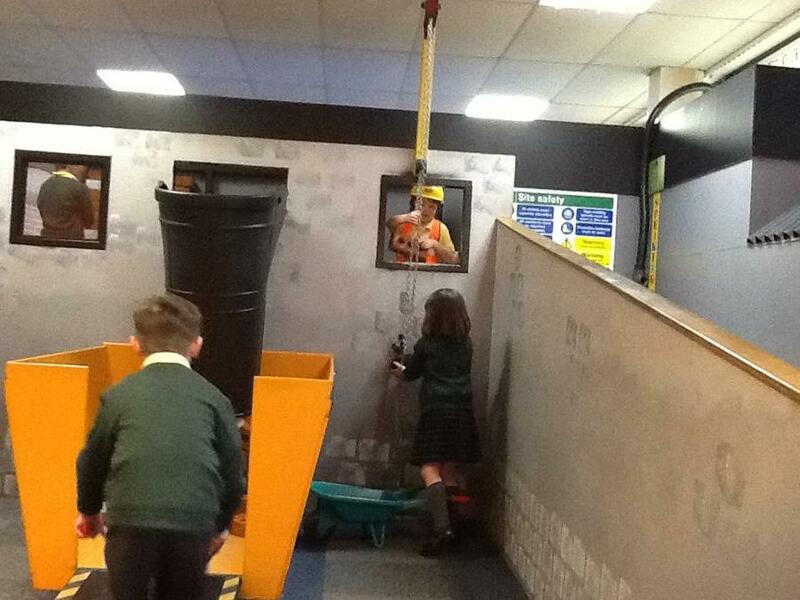 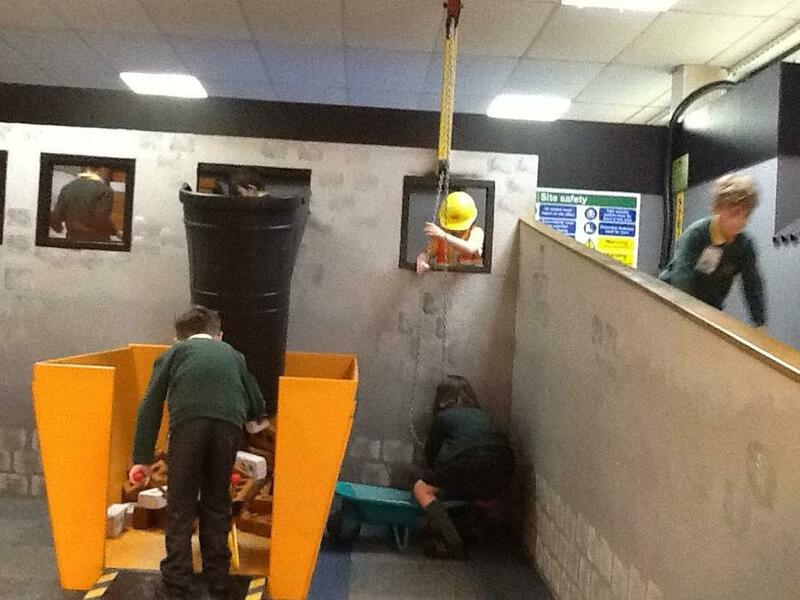 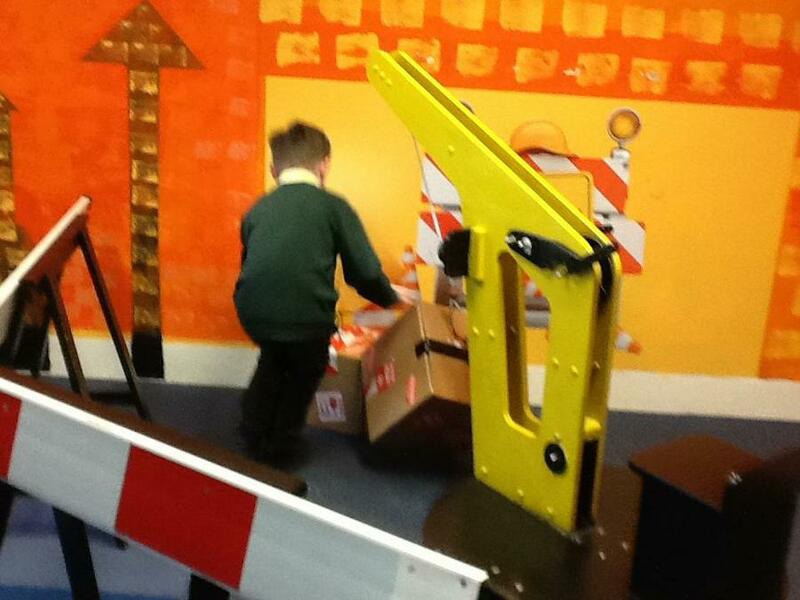 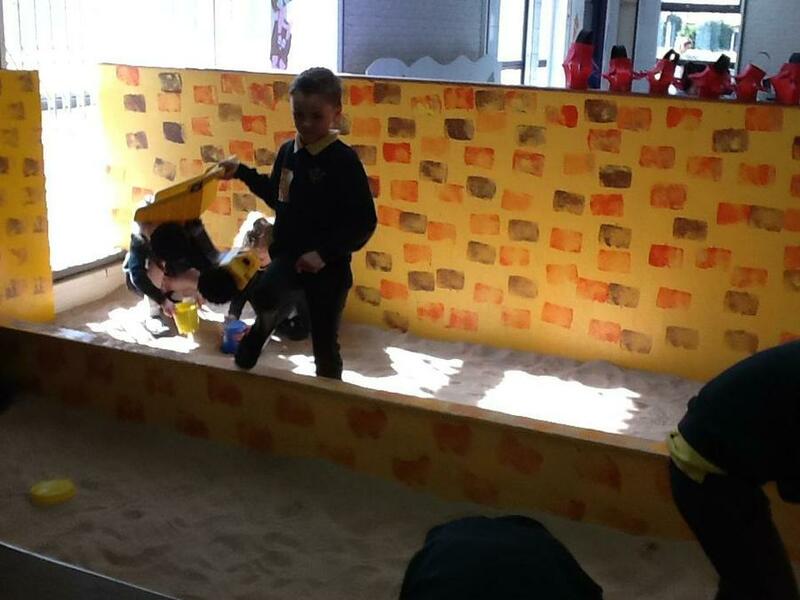 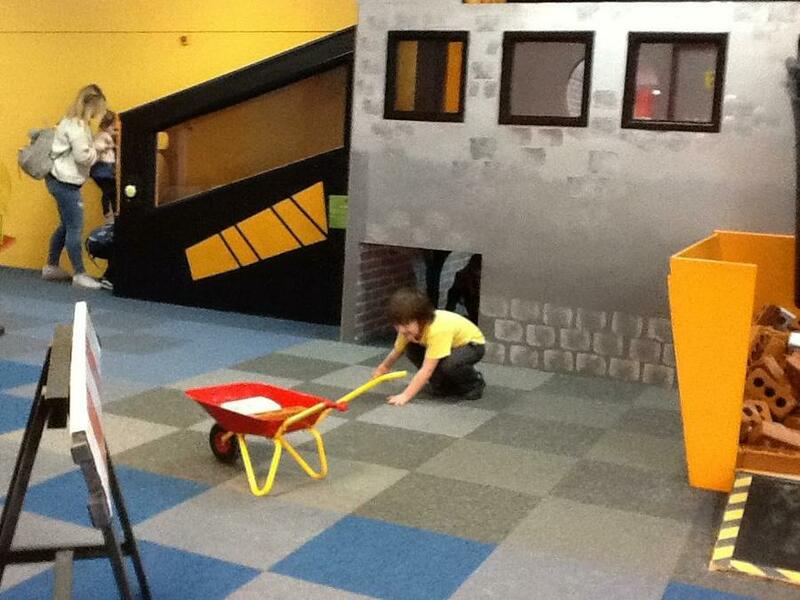 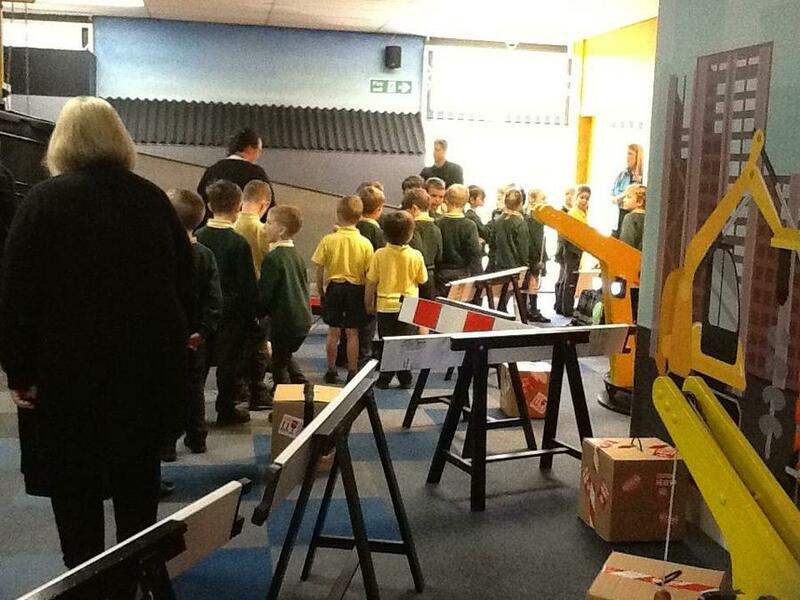 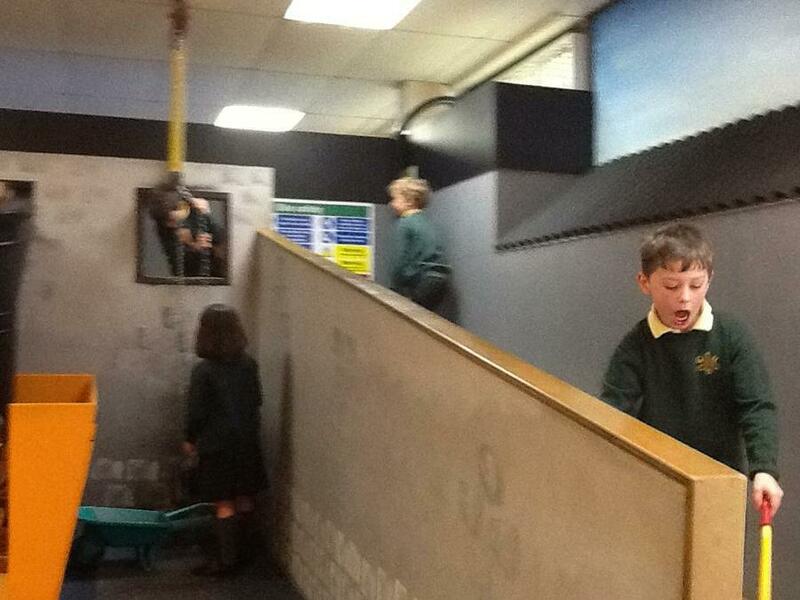 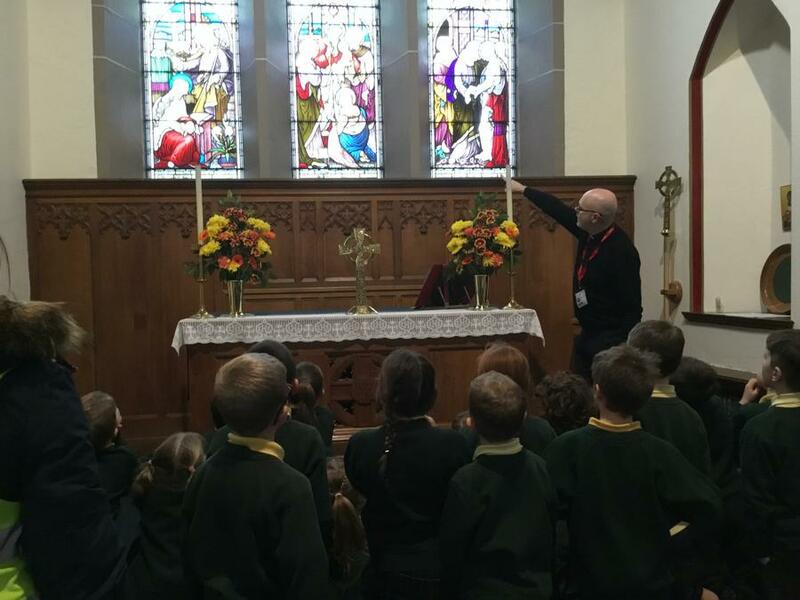 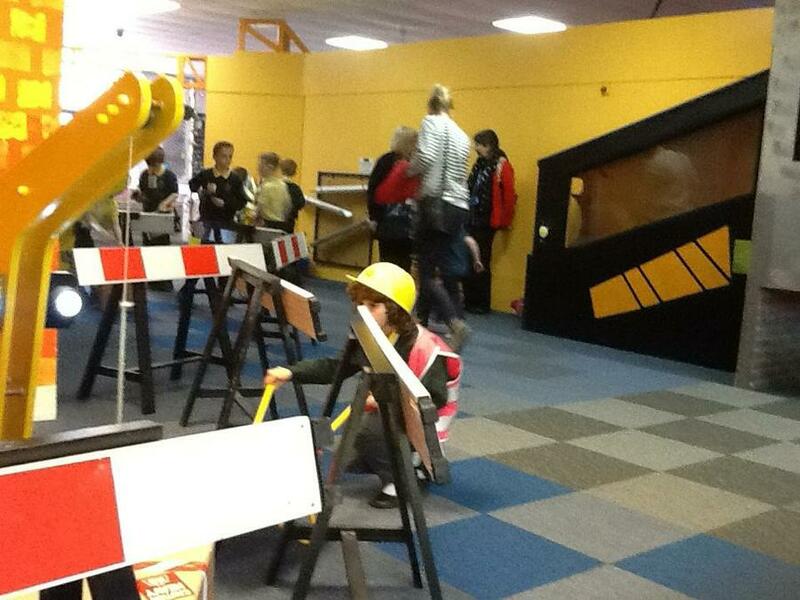 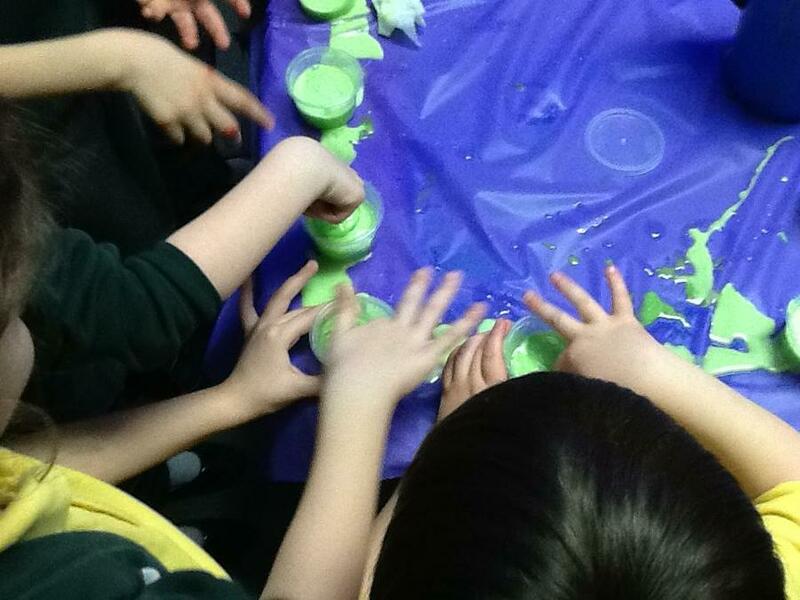 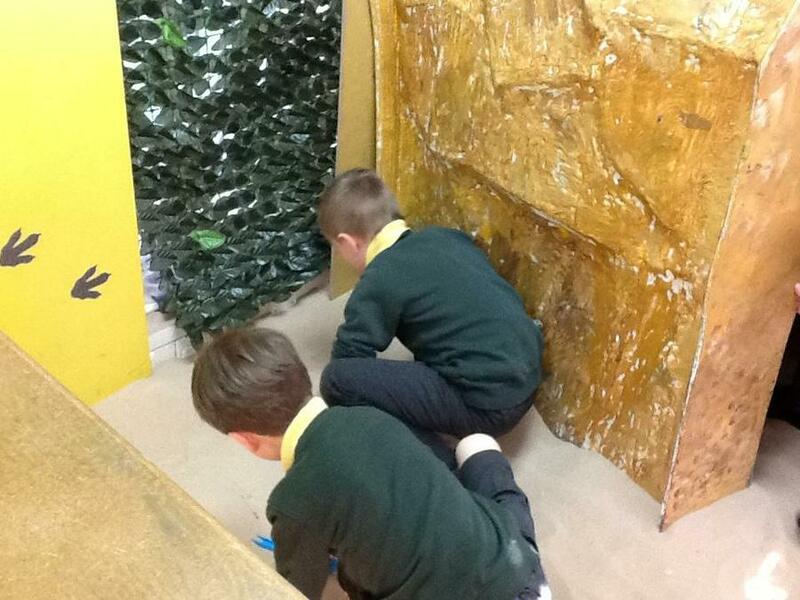 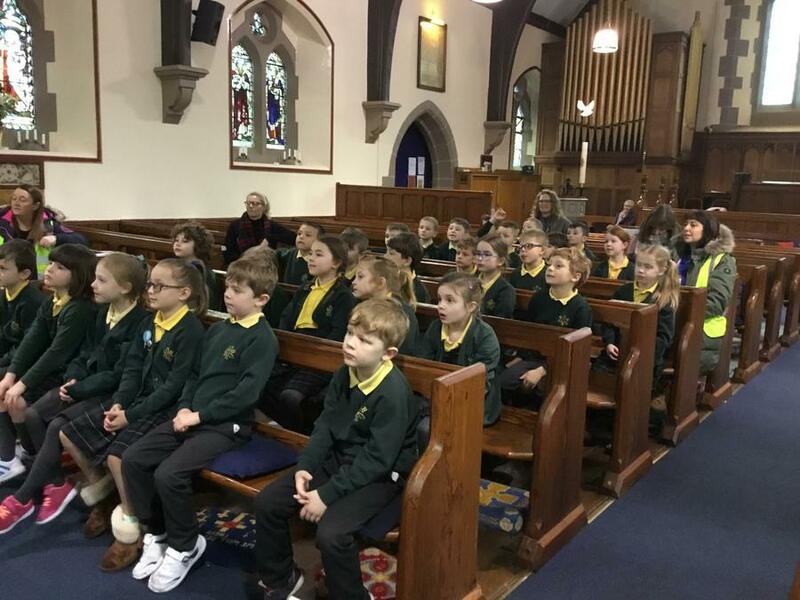 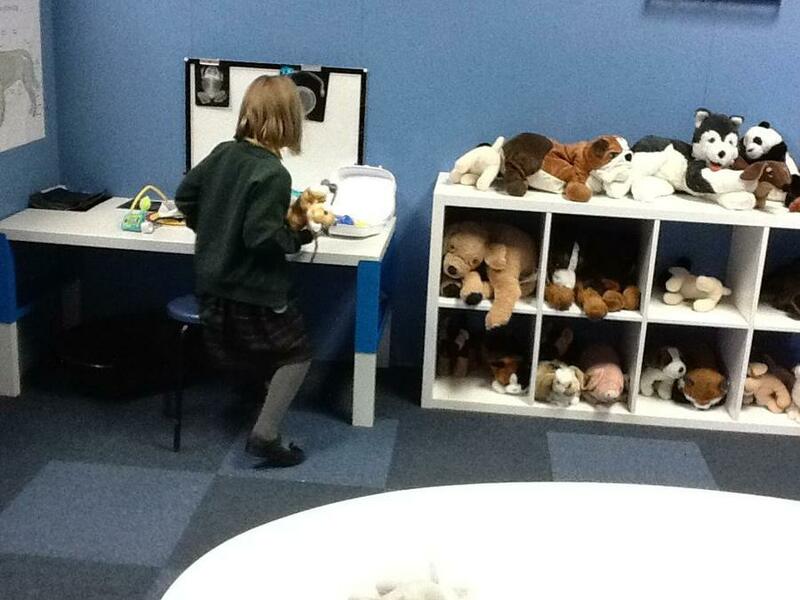 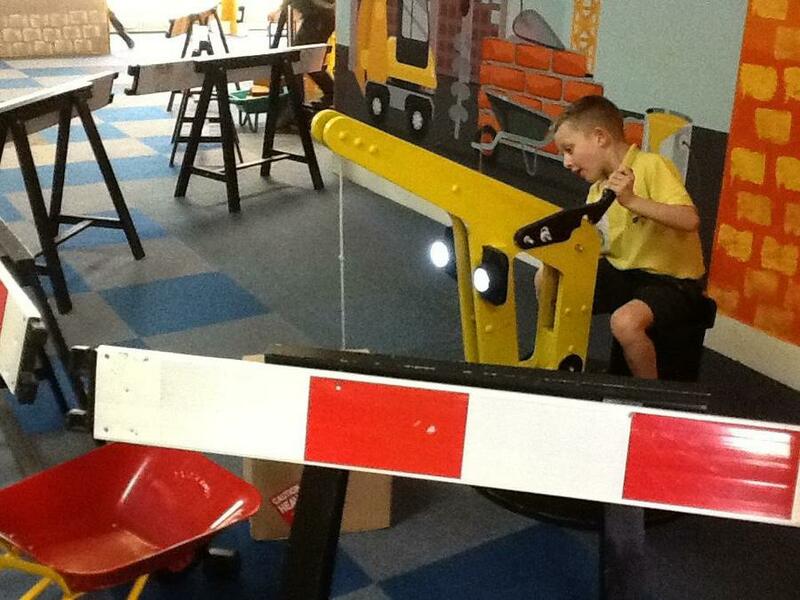 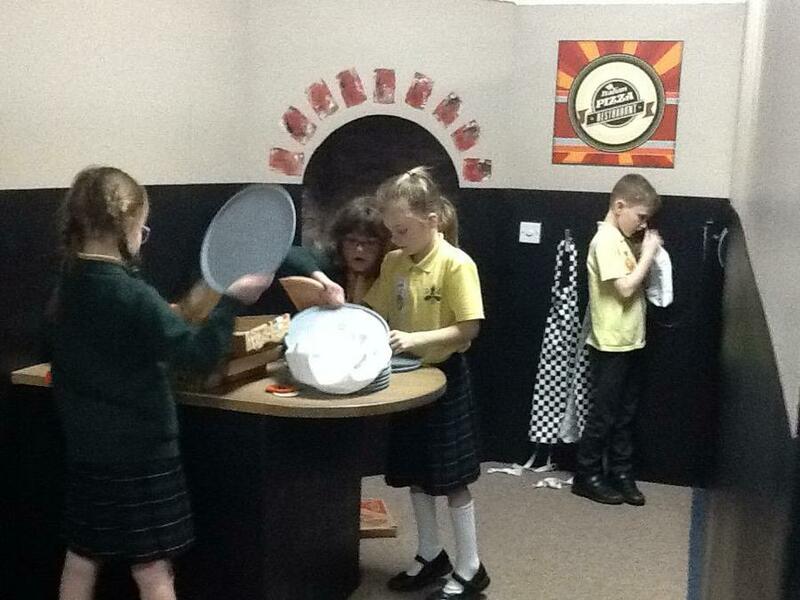 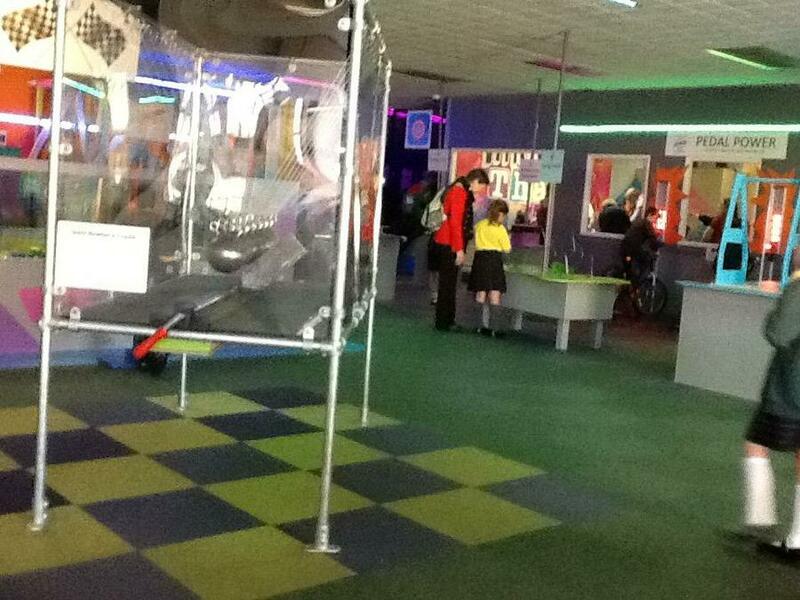 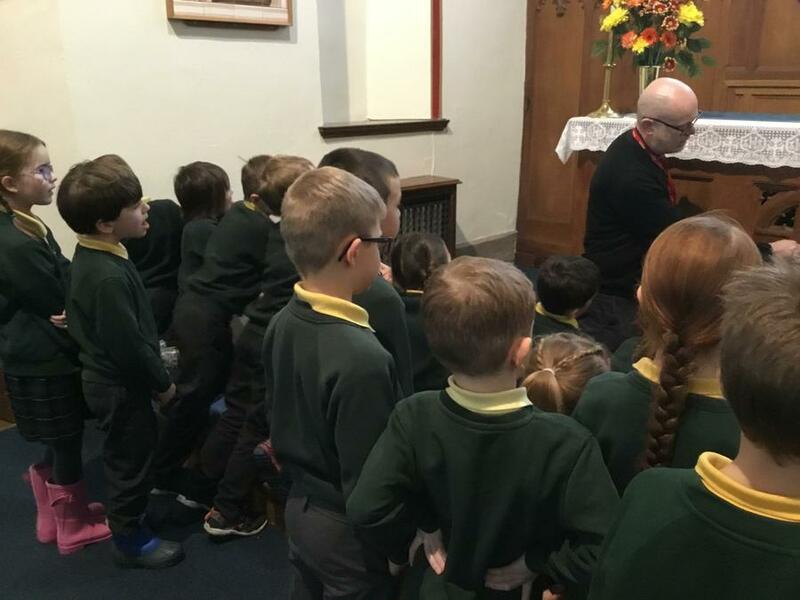 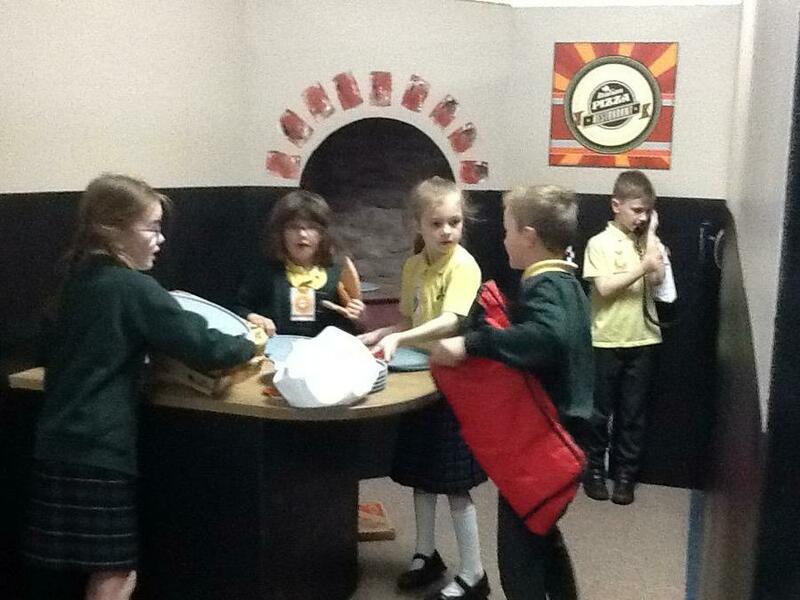 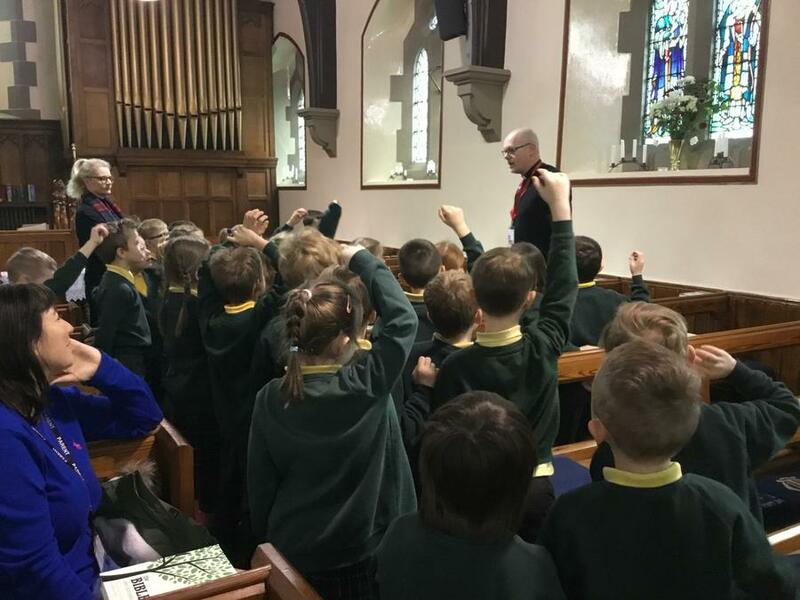 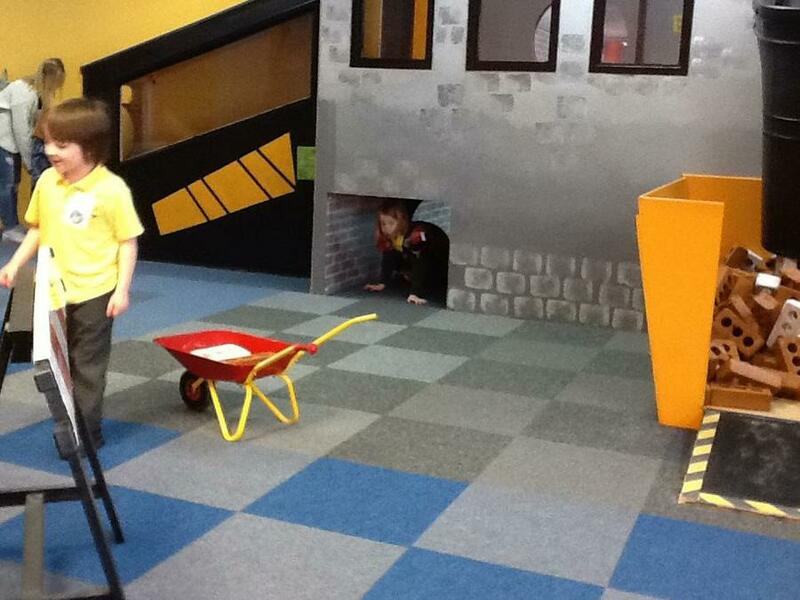 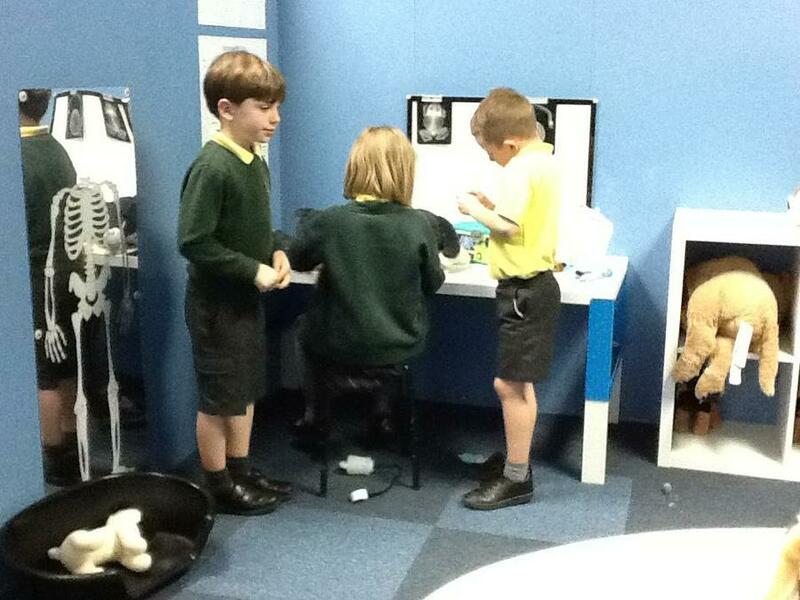 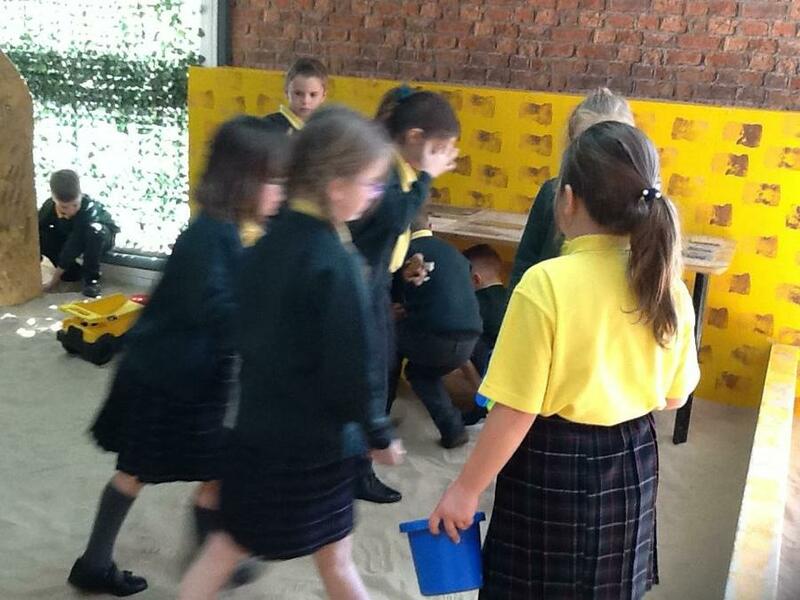 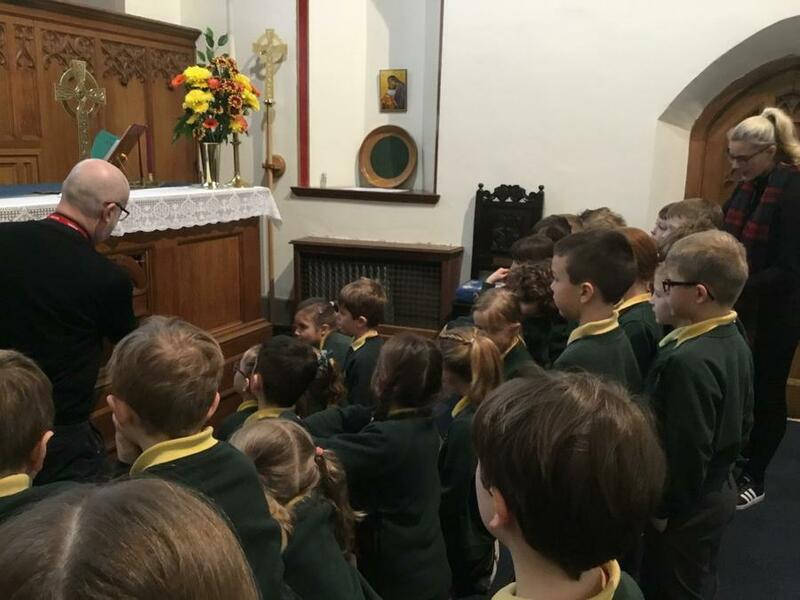 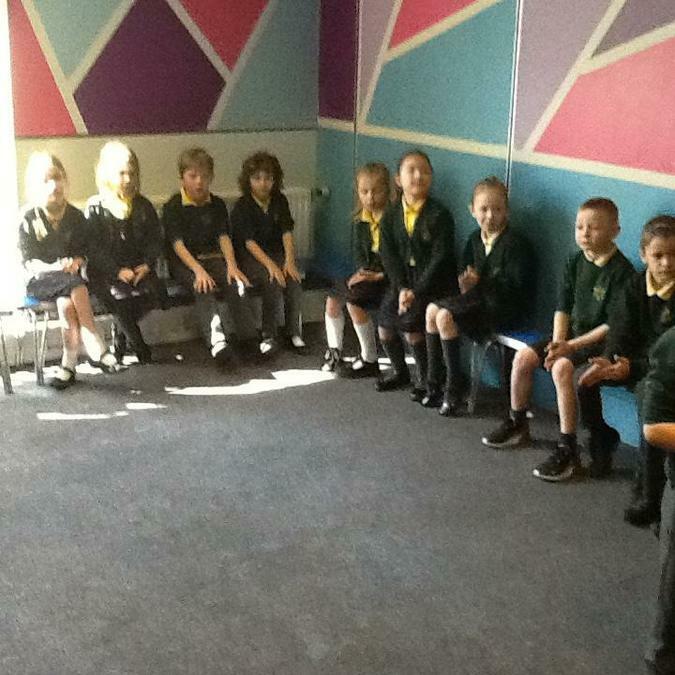 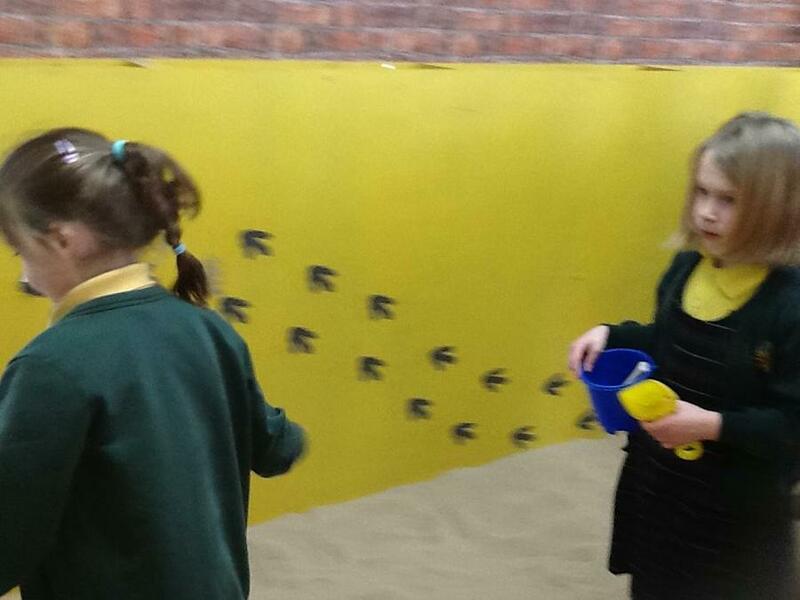 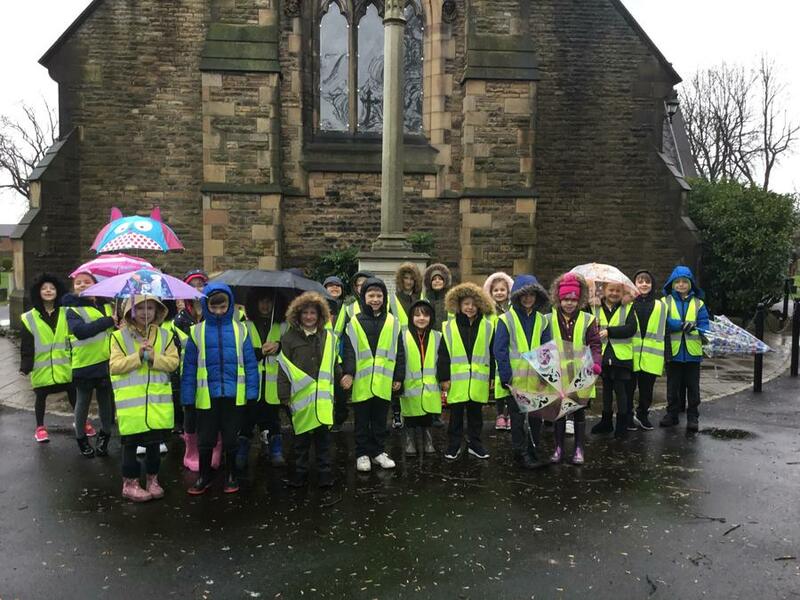 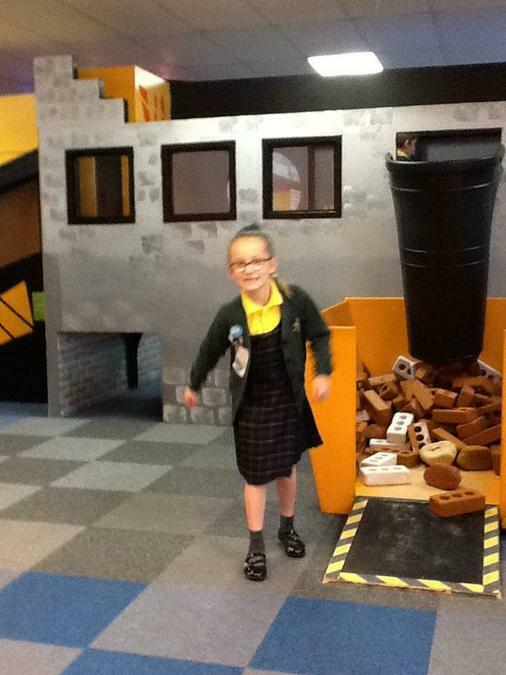 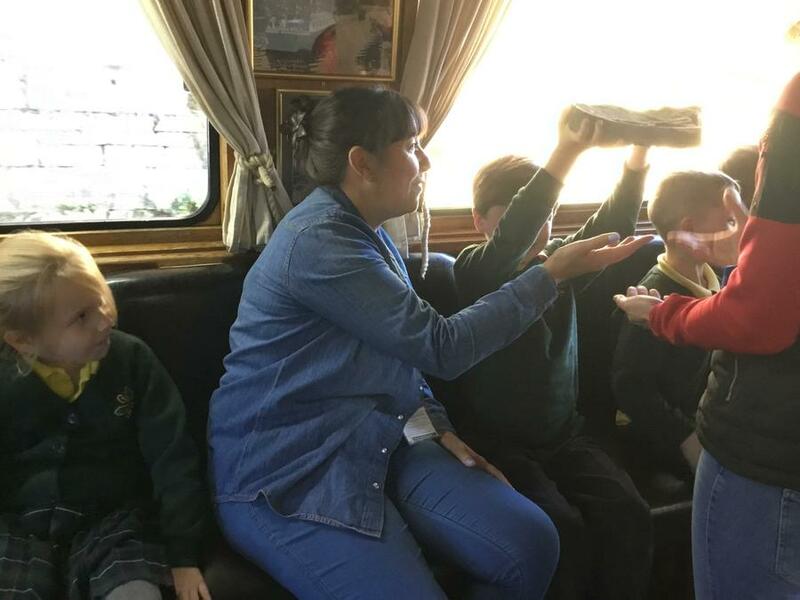 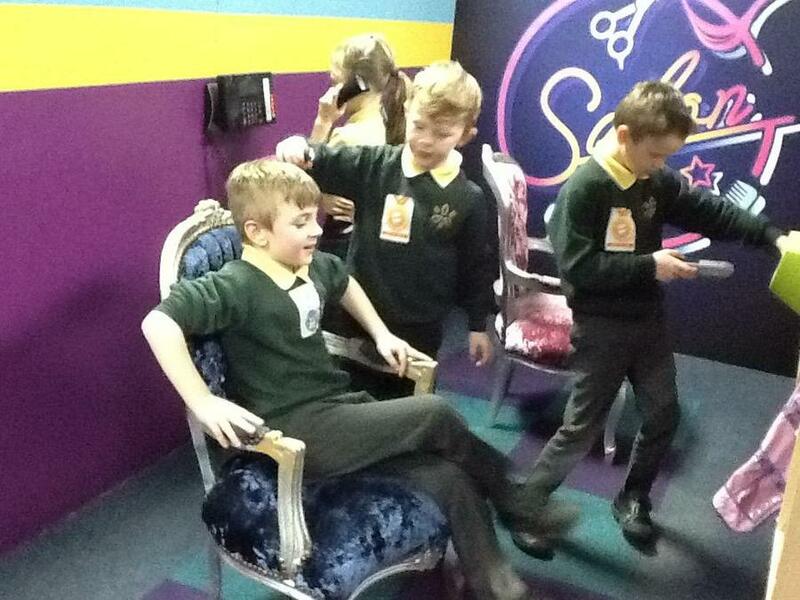 Tuesday 12th March - We visited our local church to find out what is inside a church and what it symbolises. 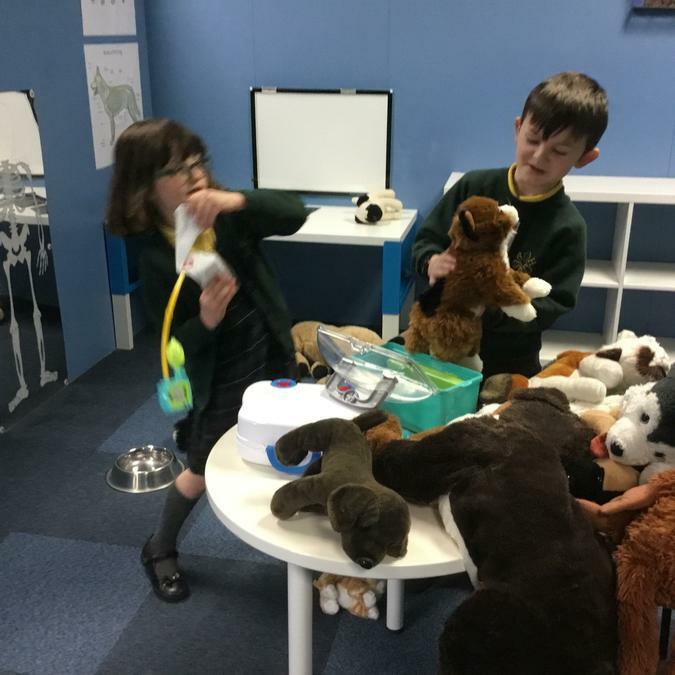 Monday 11th March 2019 - Classify materials of toys. 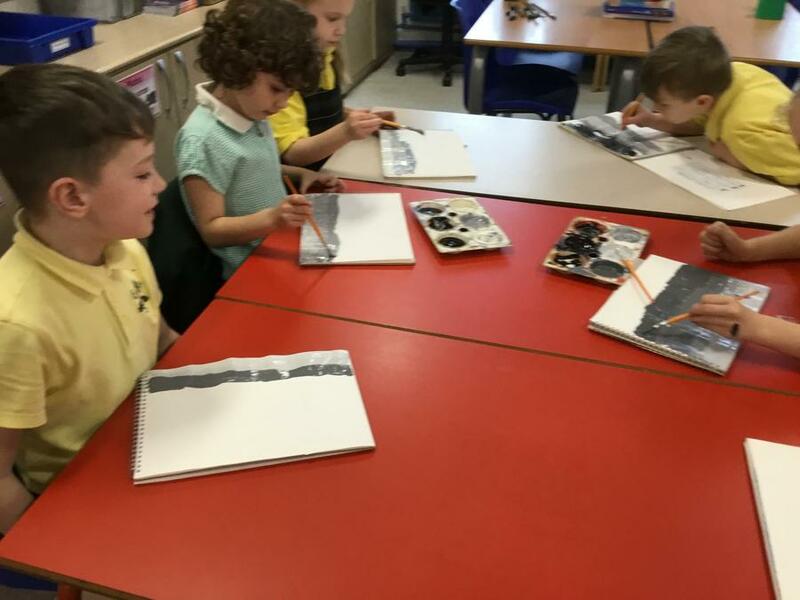 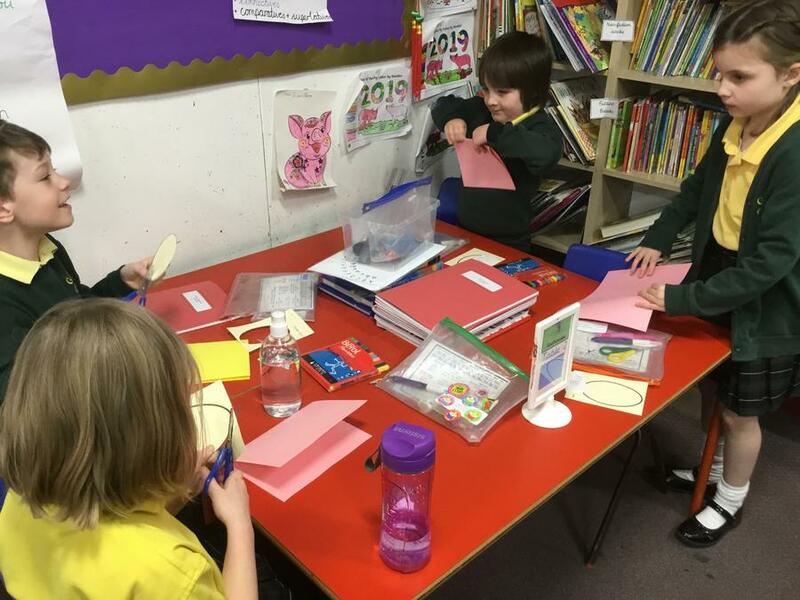 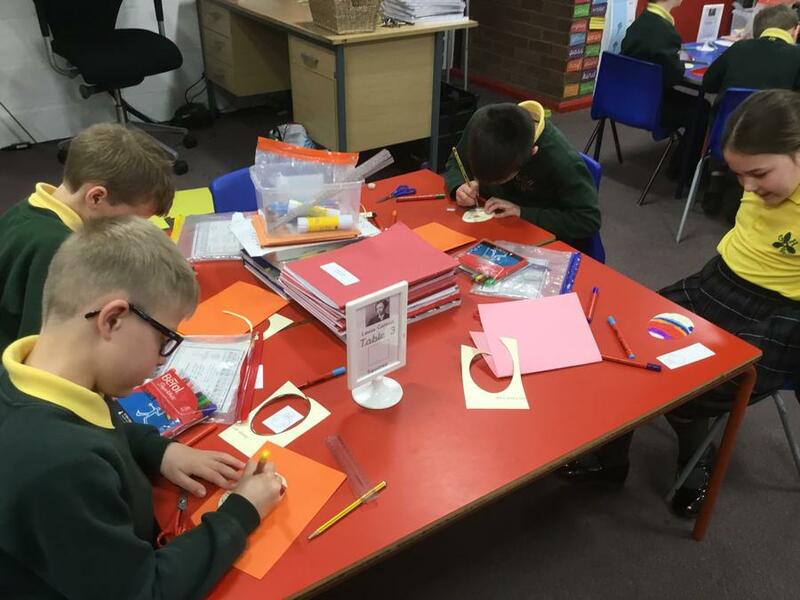 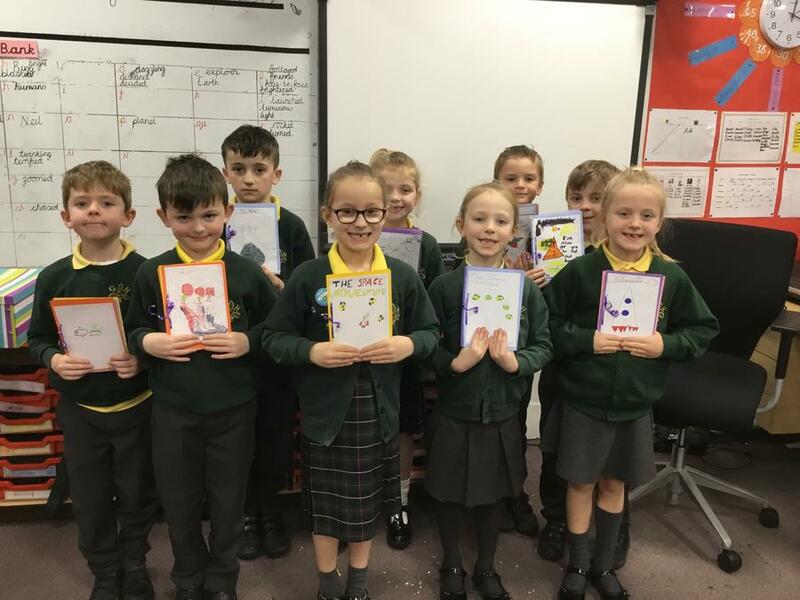 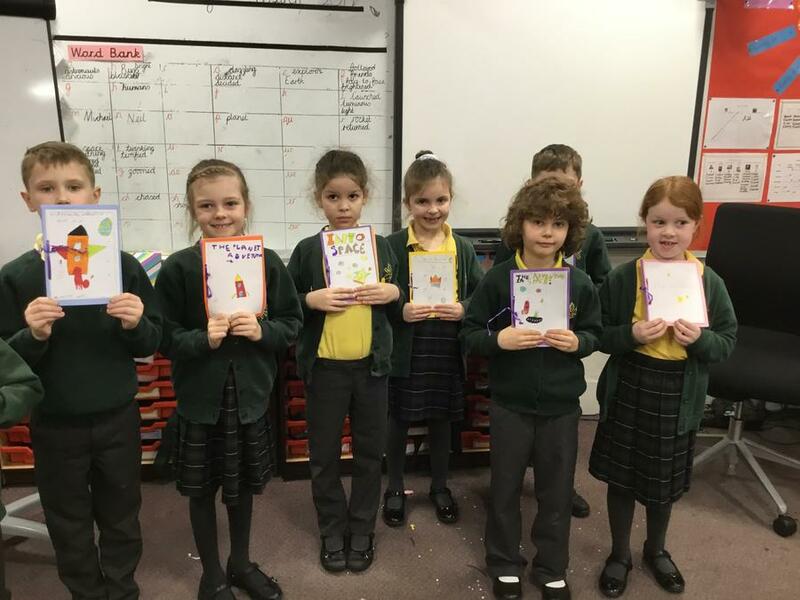 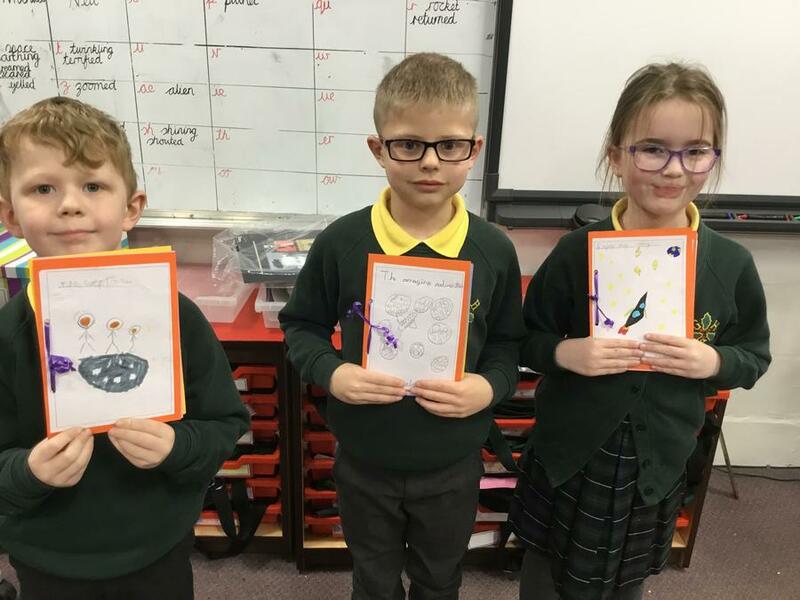 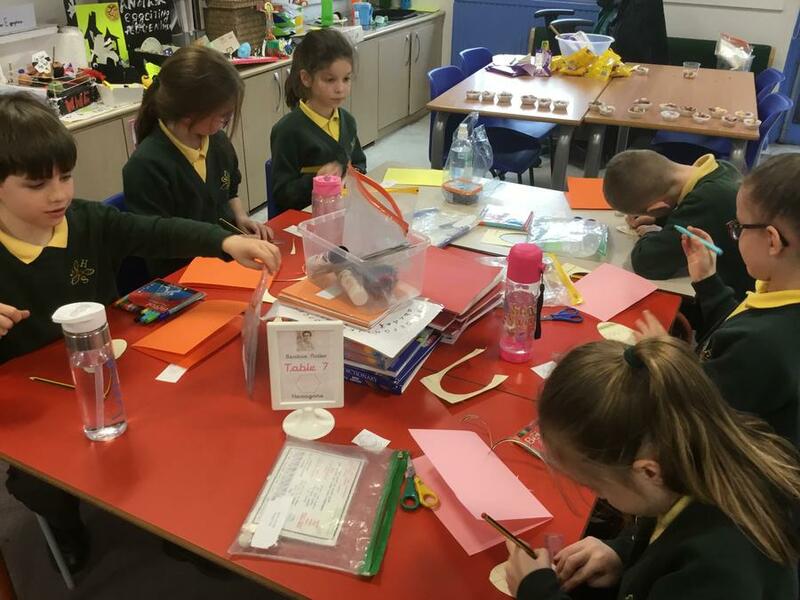 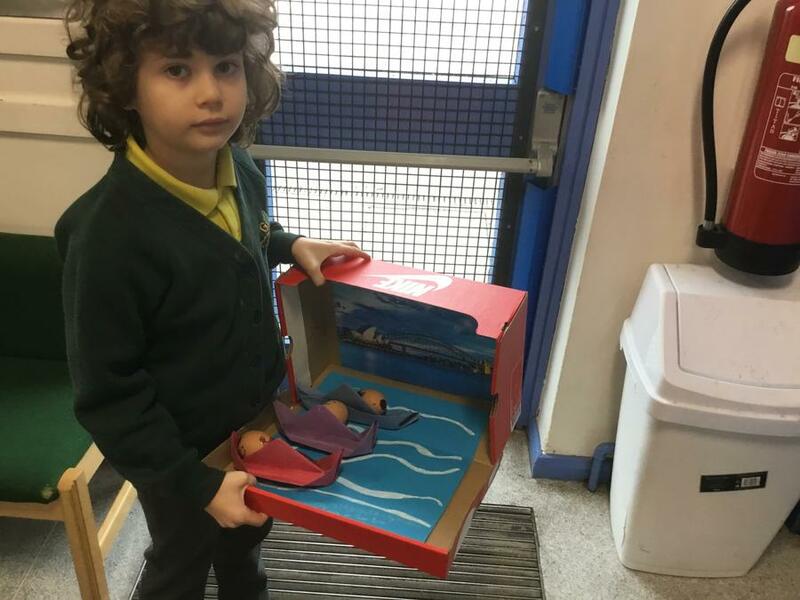 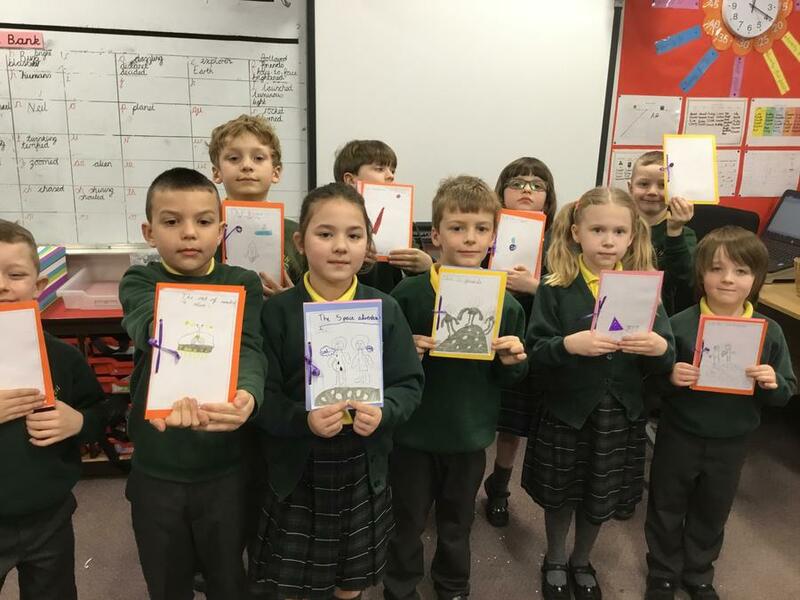 Friday 1st March 2019 - We made a book for World Book Day! 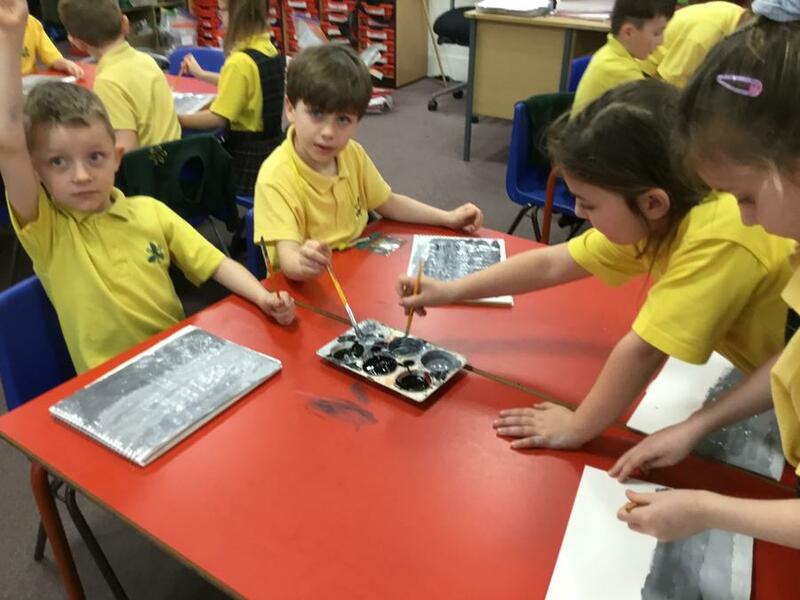 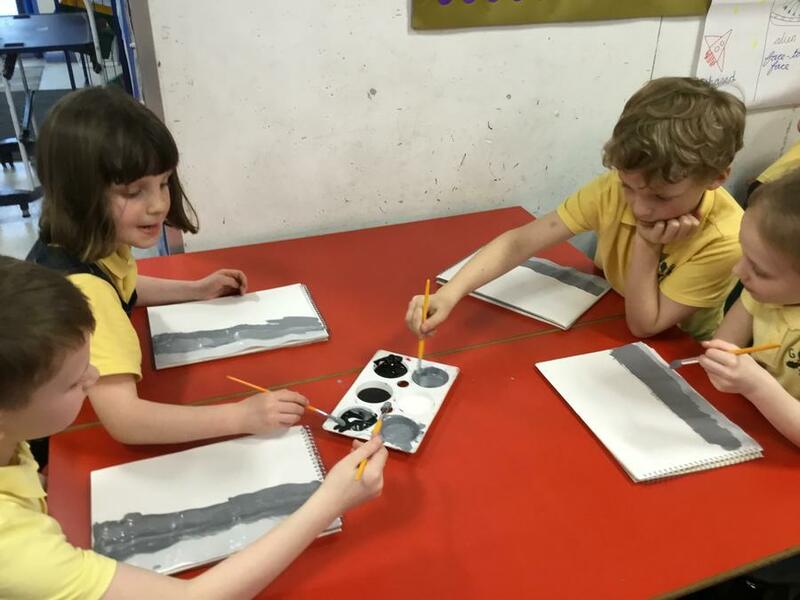 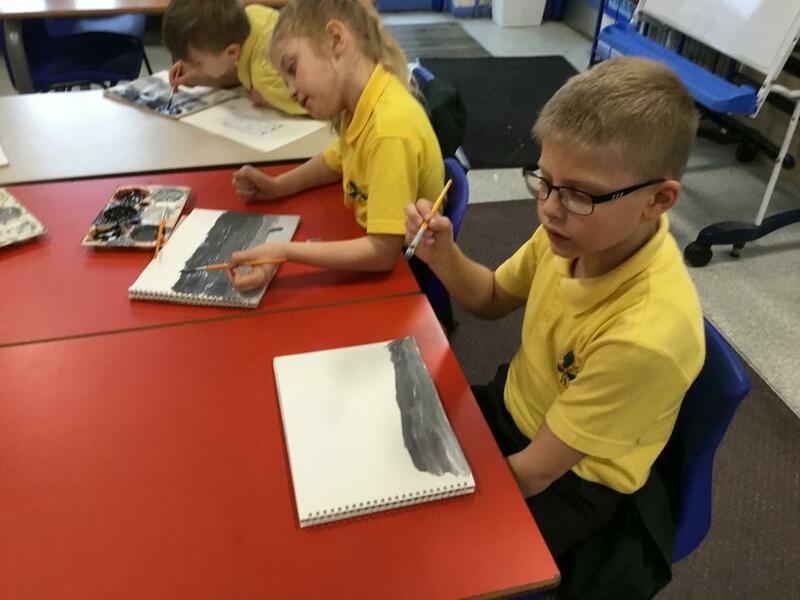 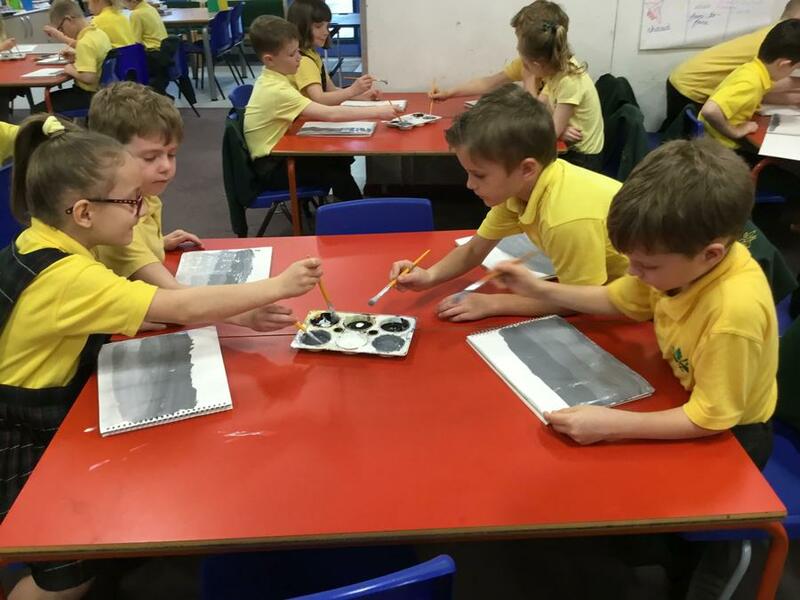 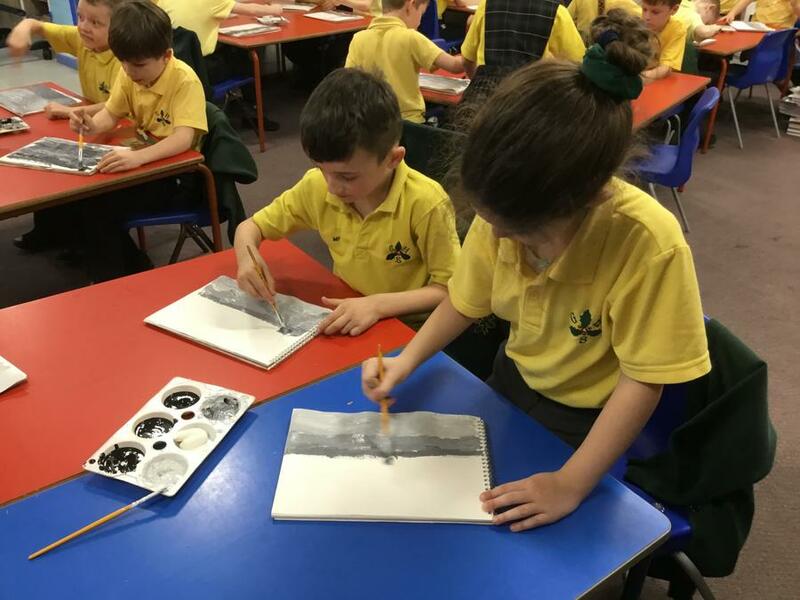 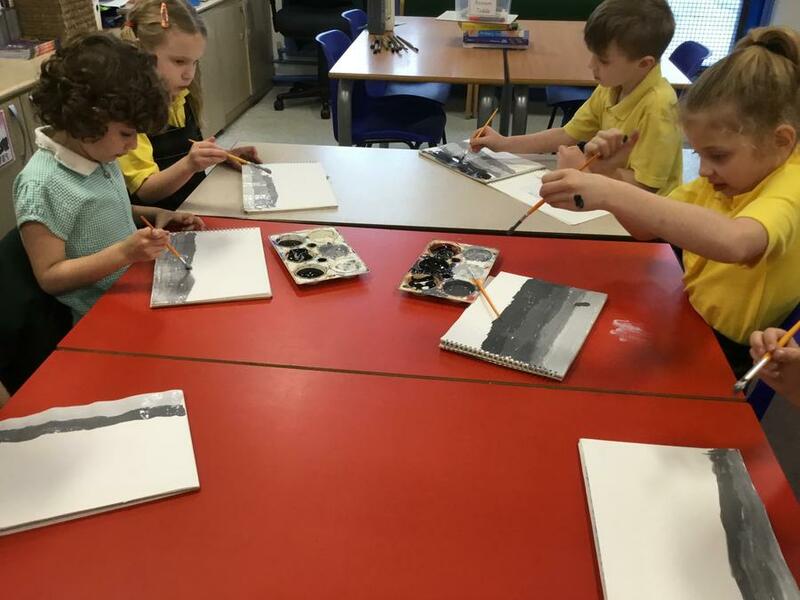 Thursday 28th February 2019 - Lowry paintings. 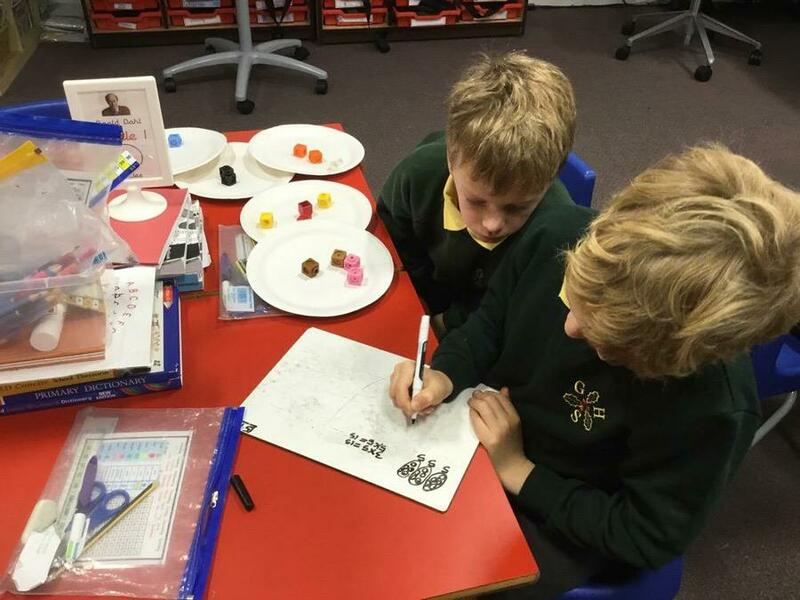 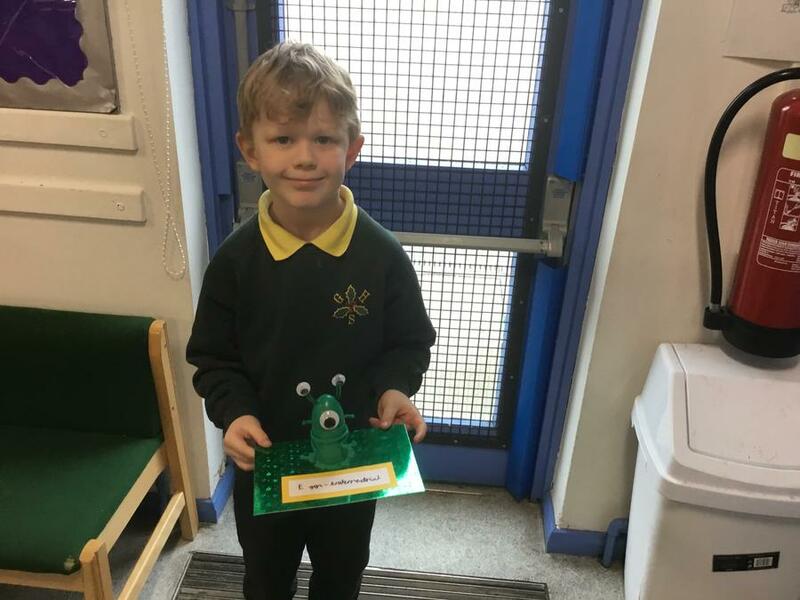 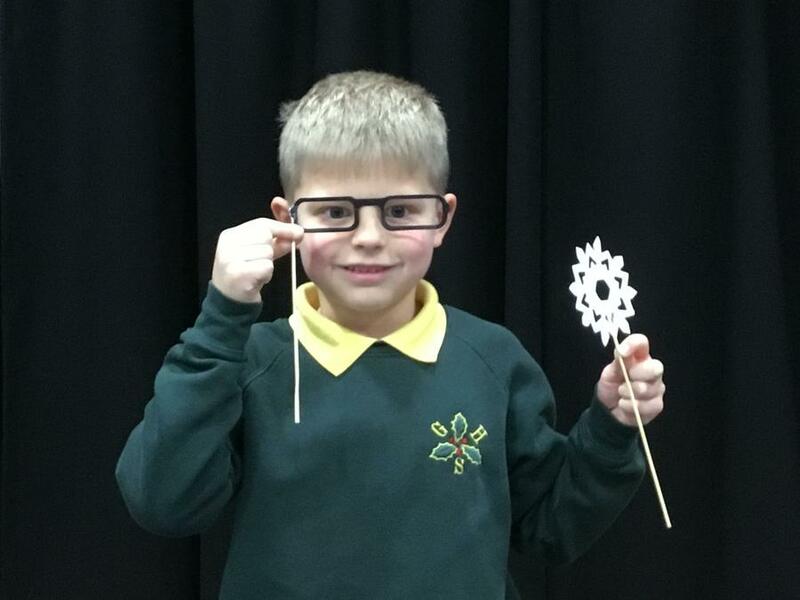 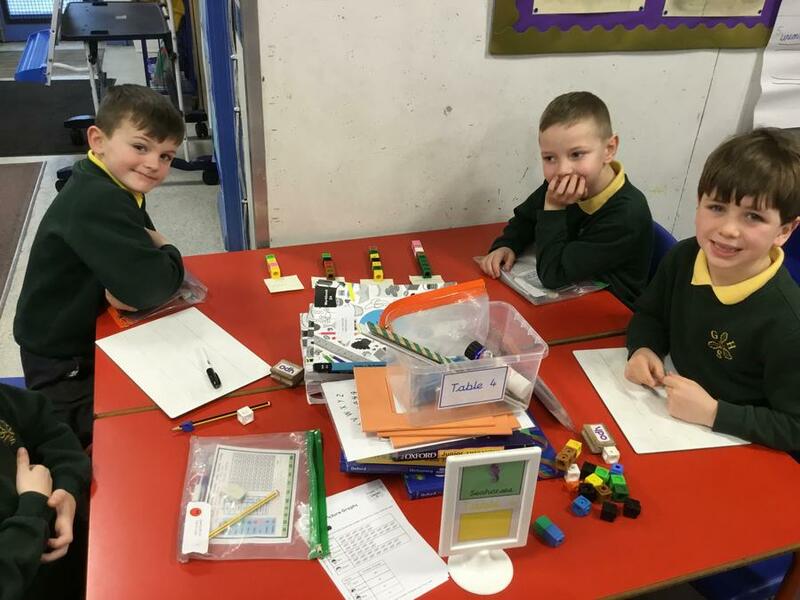 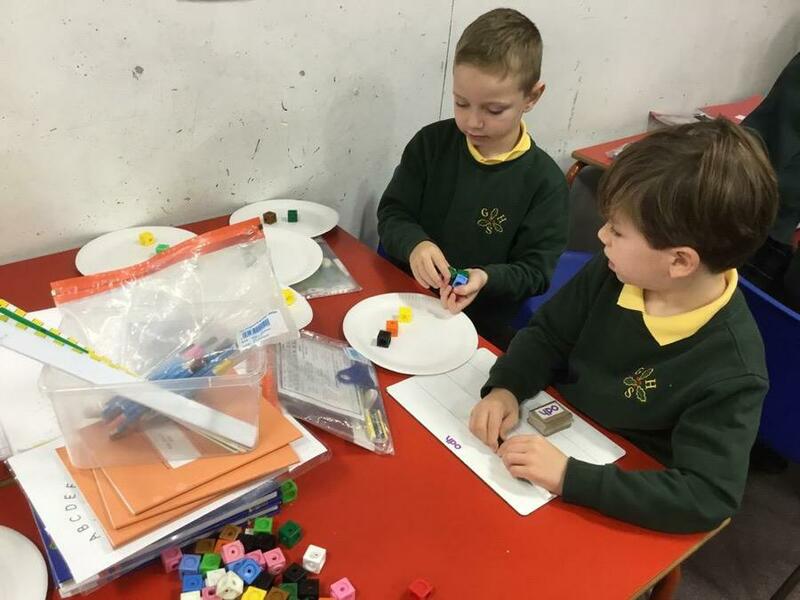 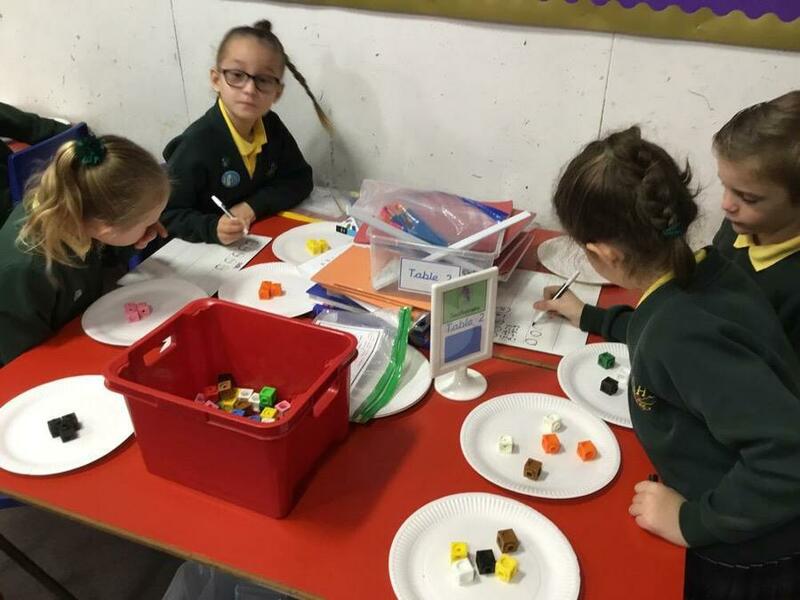 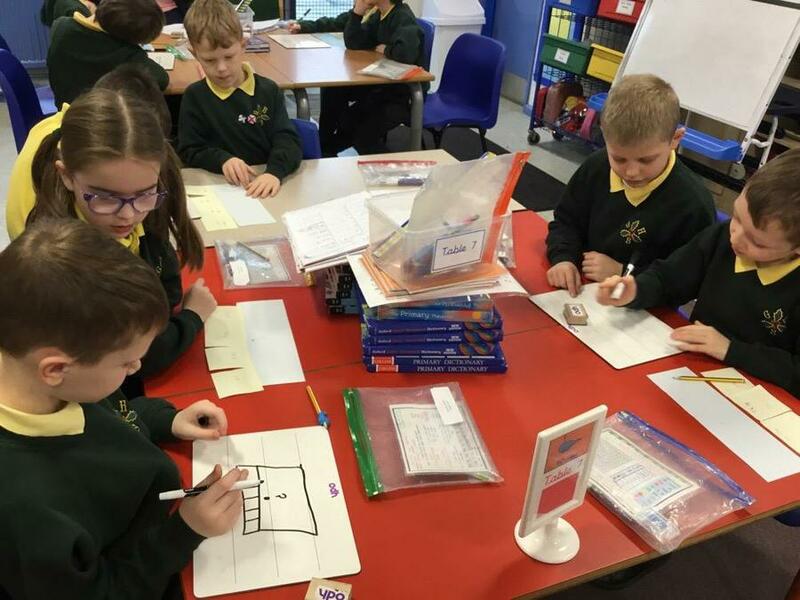 Friday 8th February 2019 - building 3D pictograms. 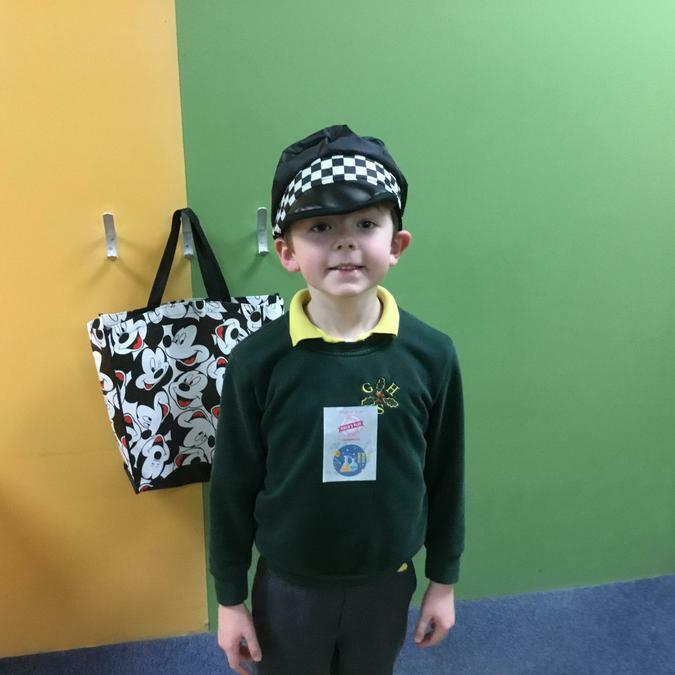 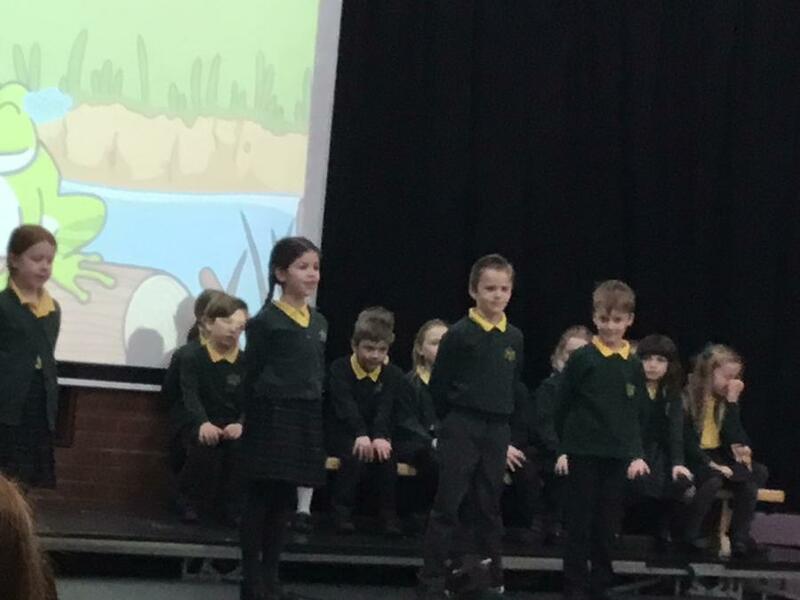 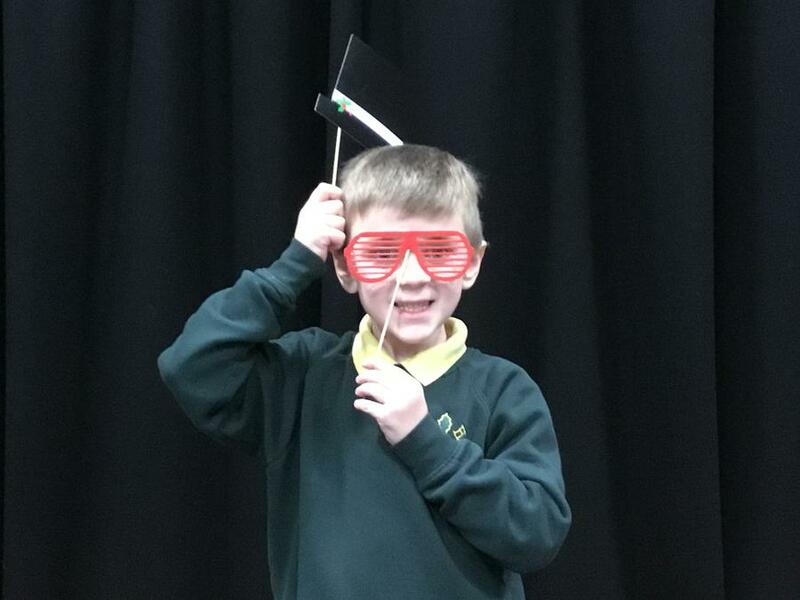 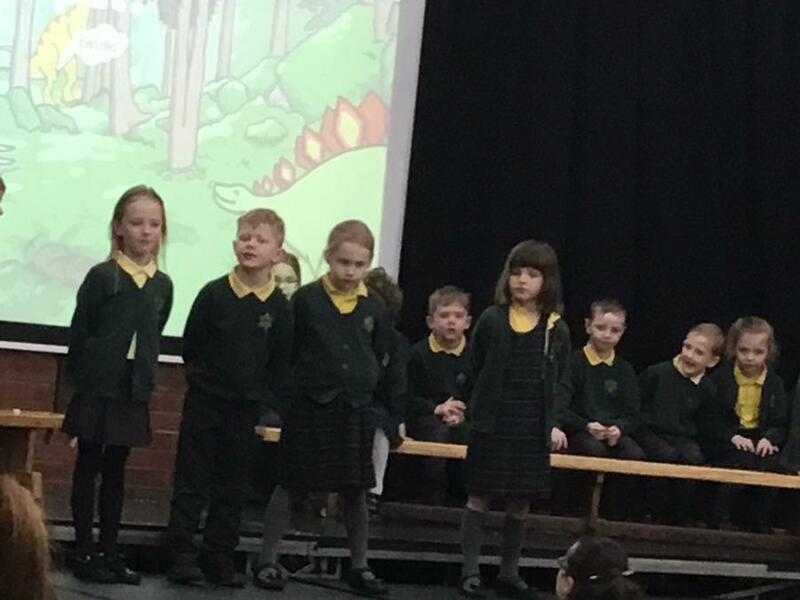 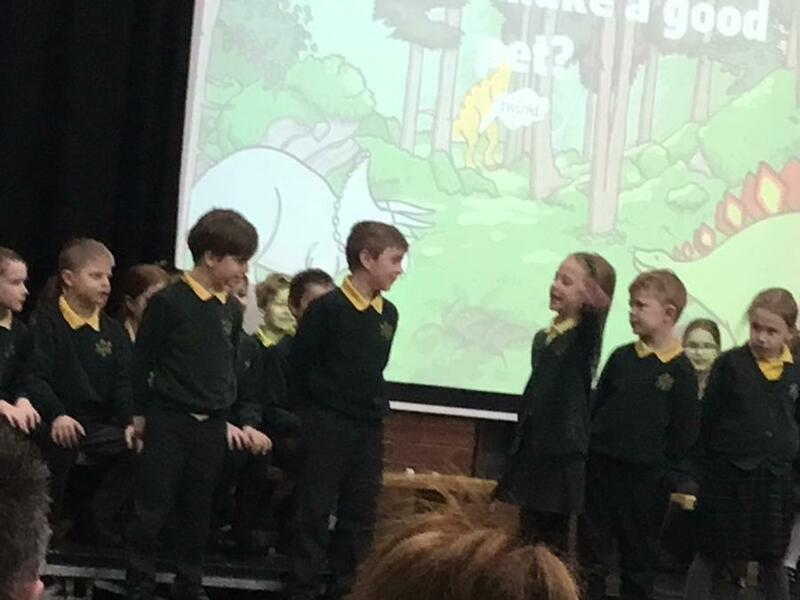 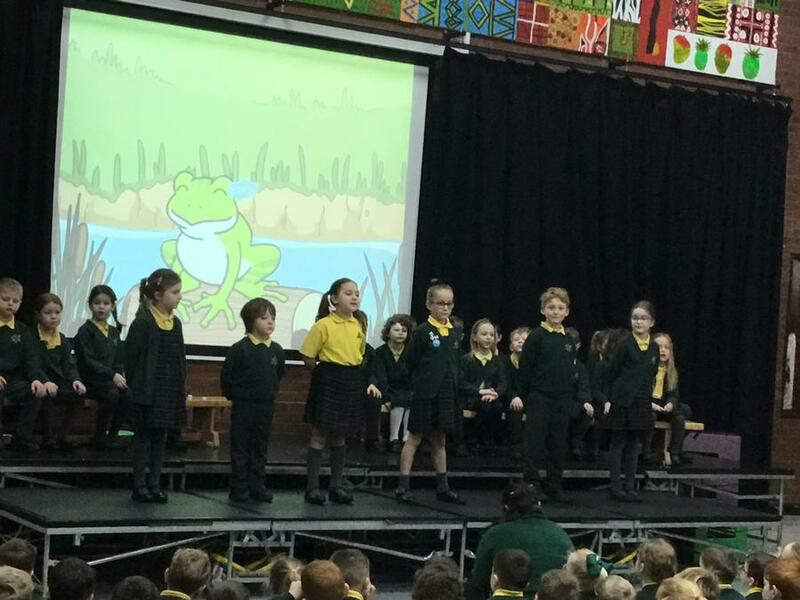 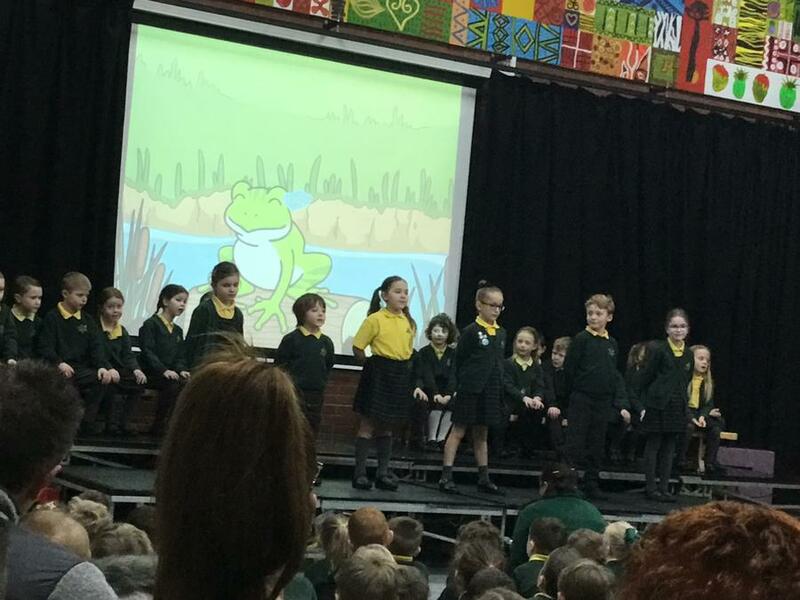 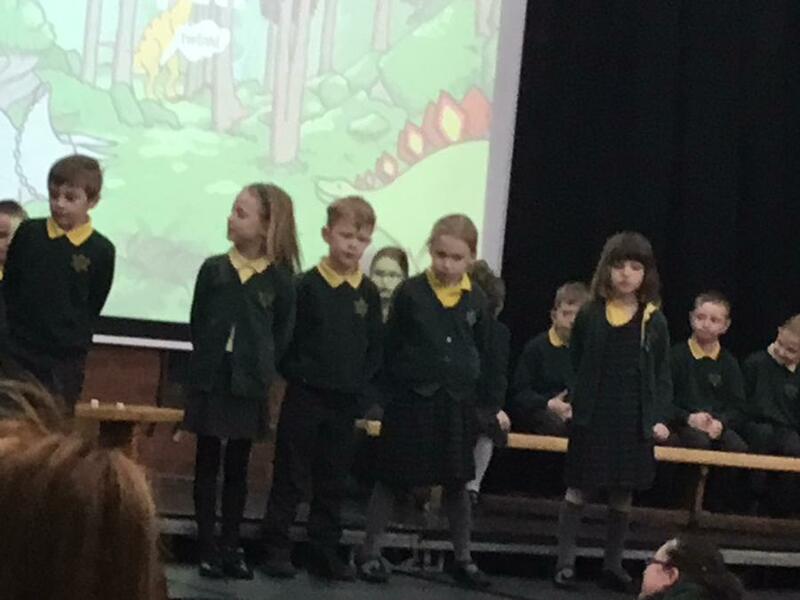 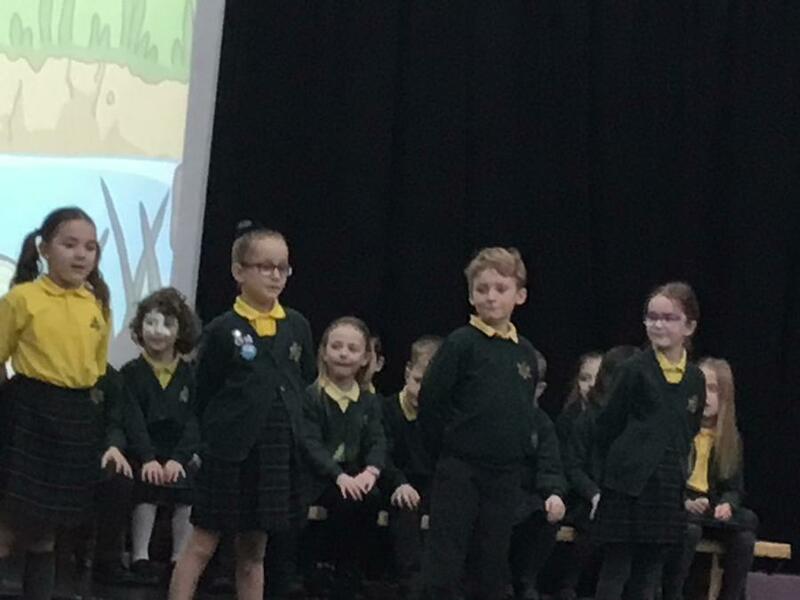 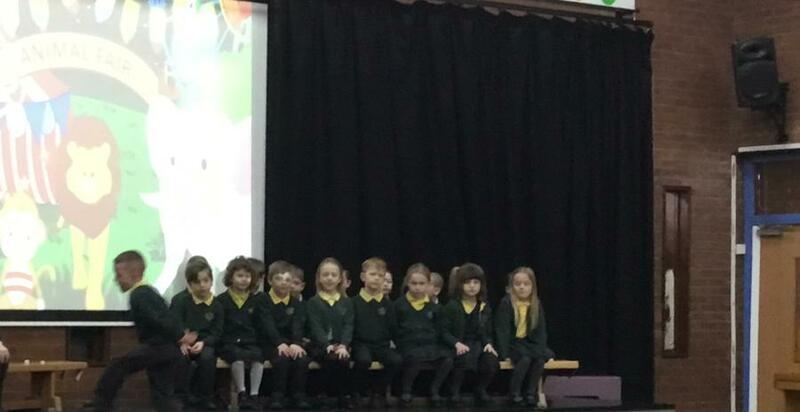 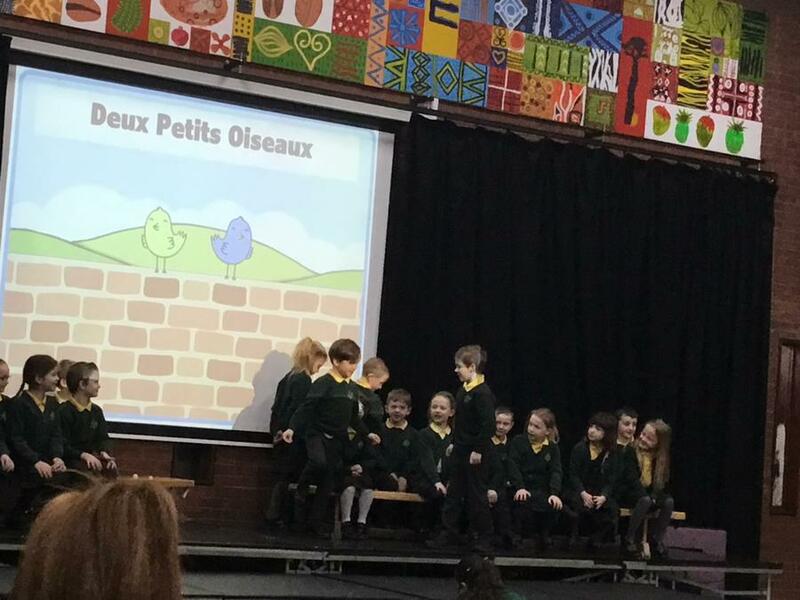 Tuesday 5th February 2019 - Internet Safety Day - we learnt a song to help us remember how to use the internet safely. 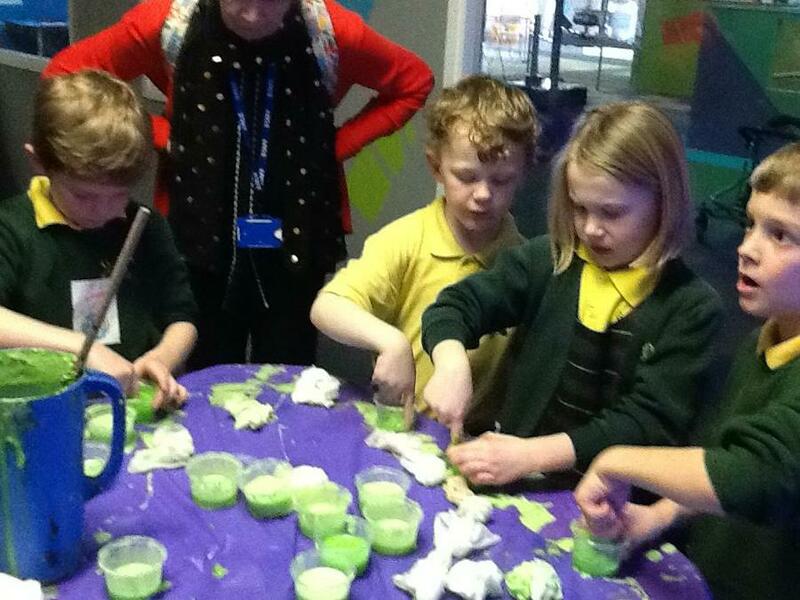 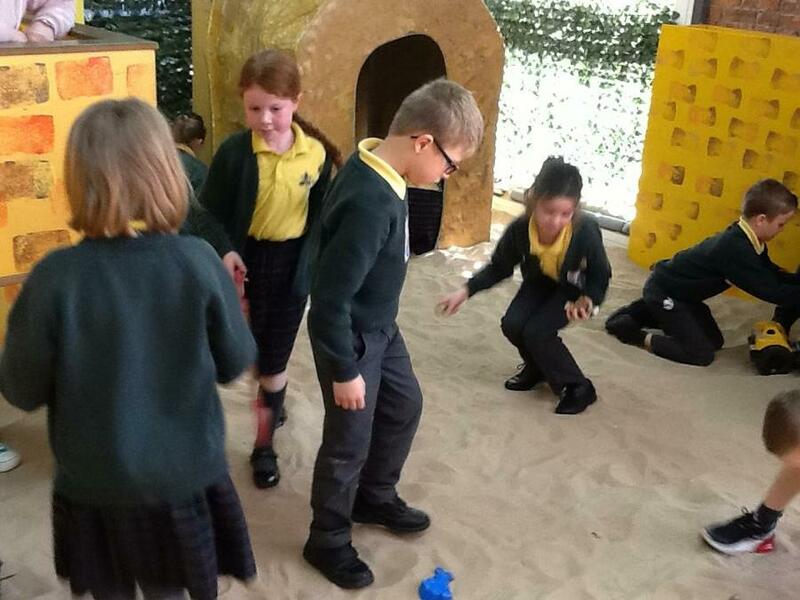 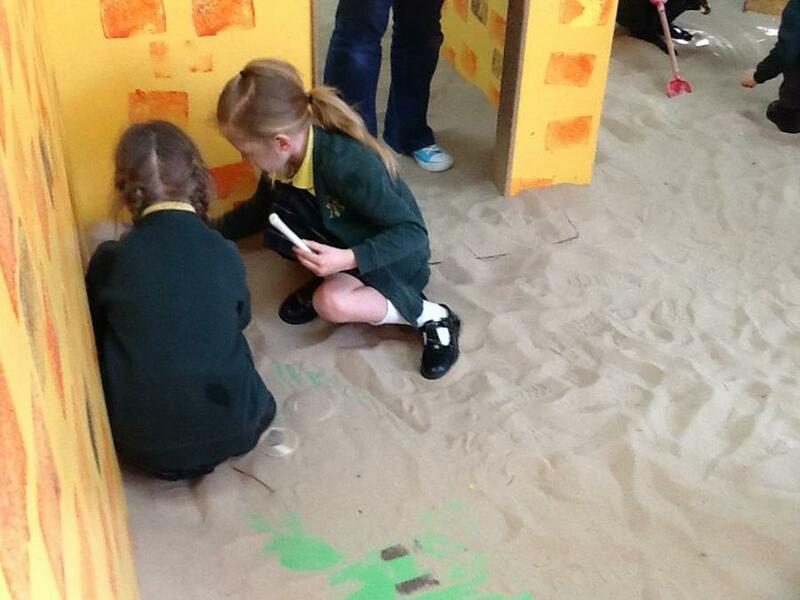 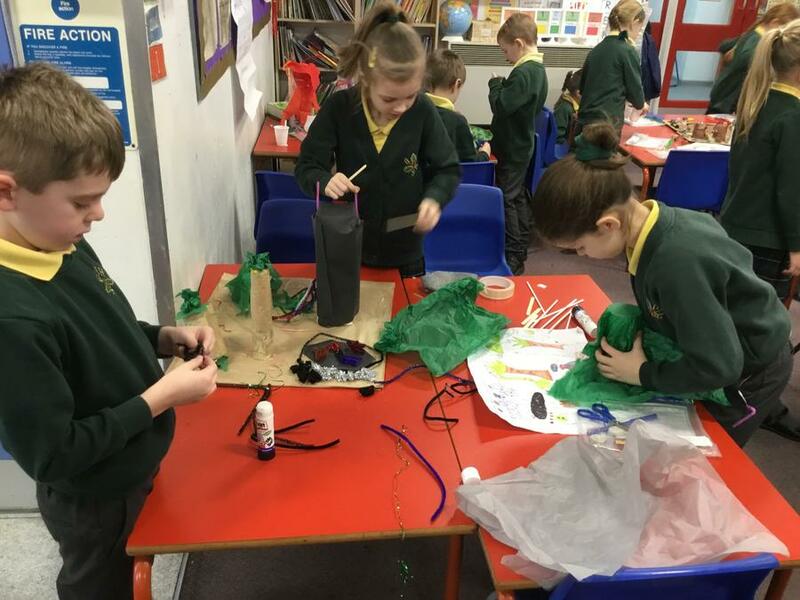 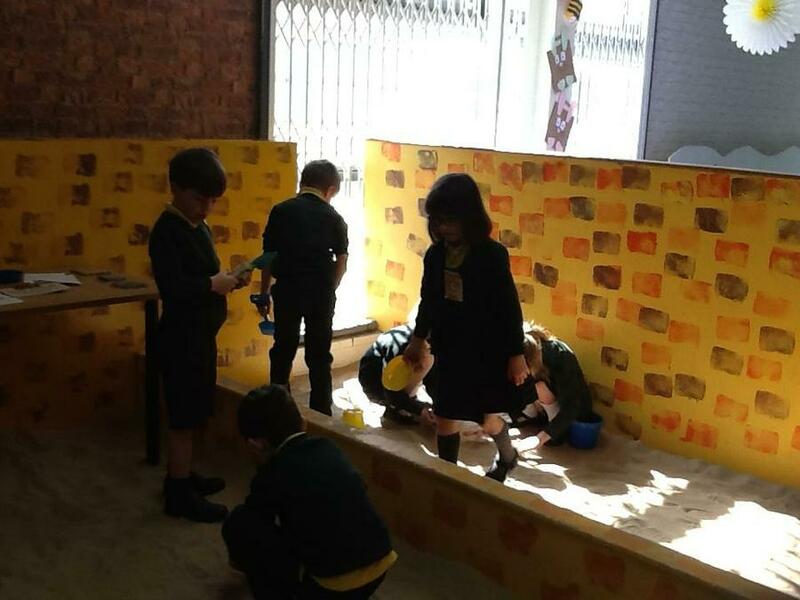 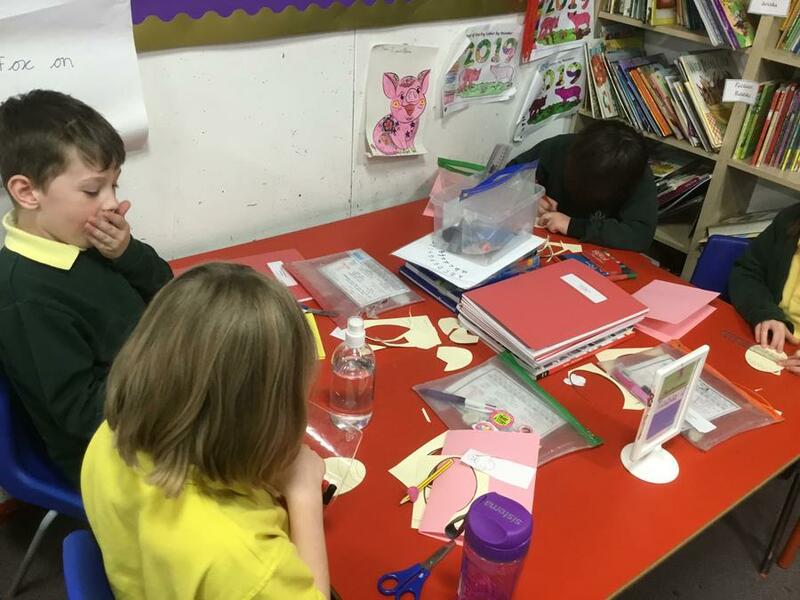 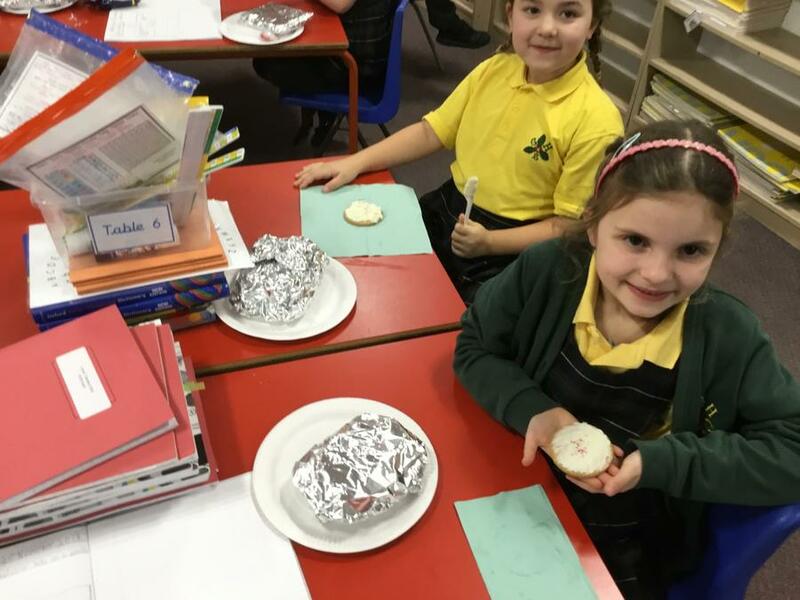 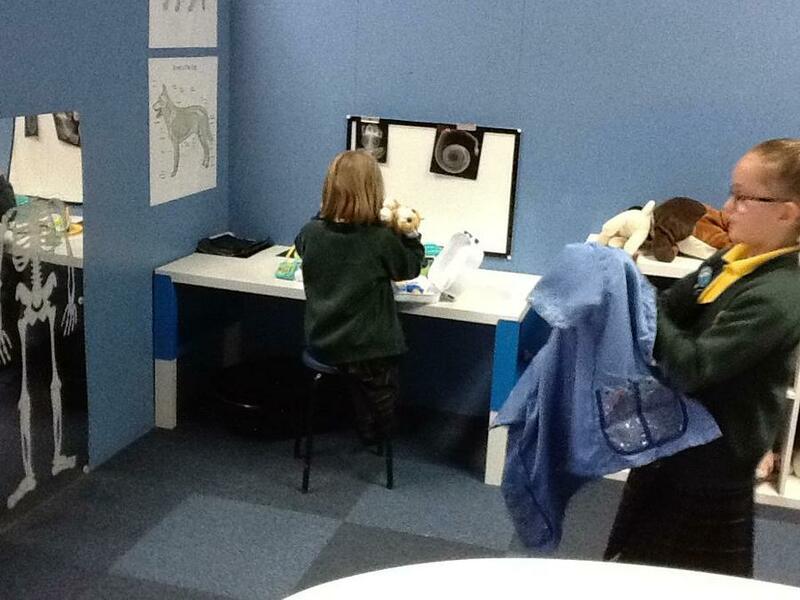 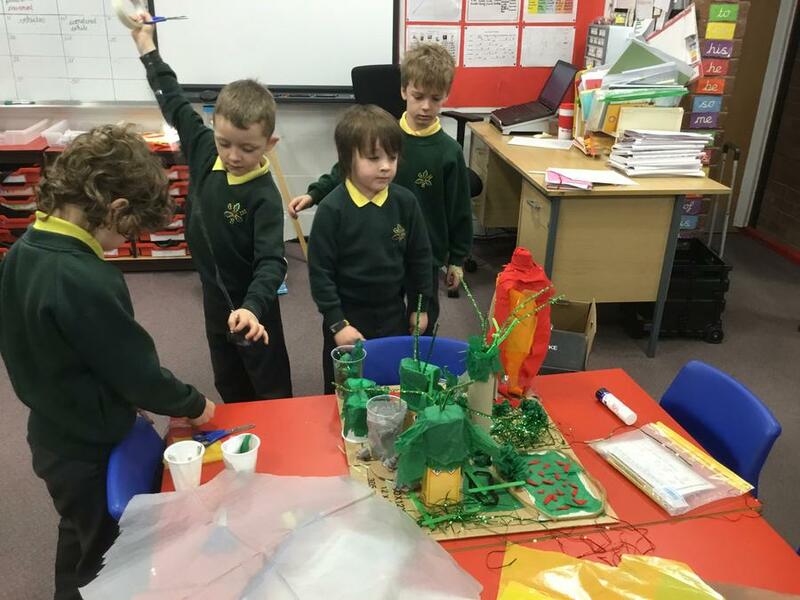 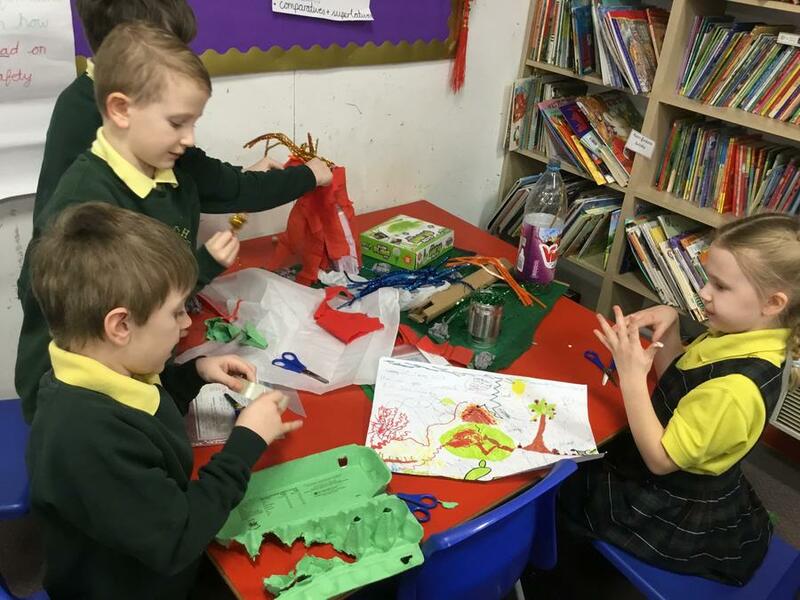 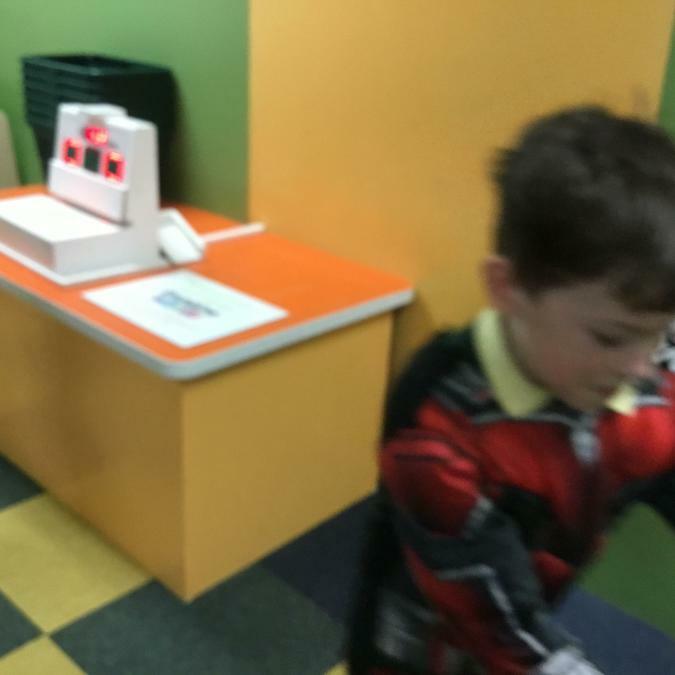 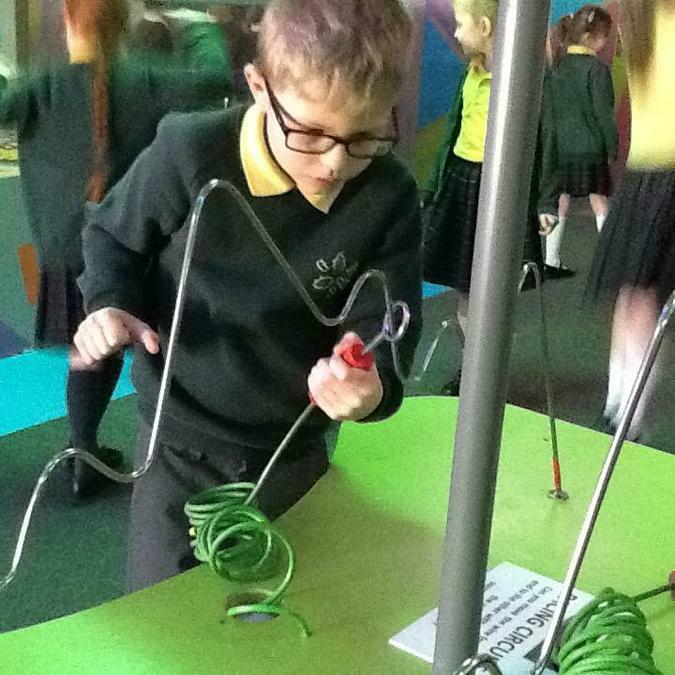 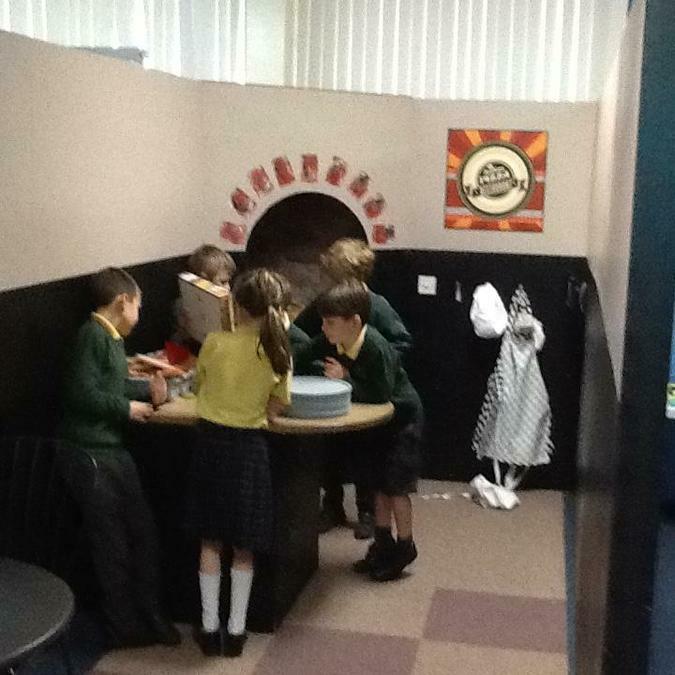 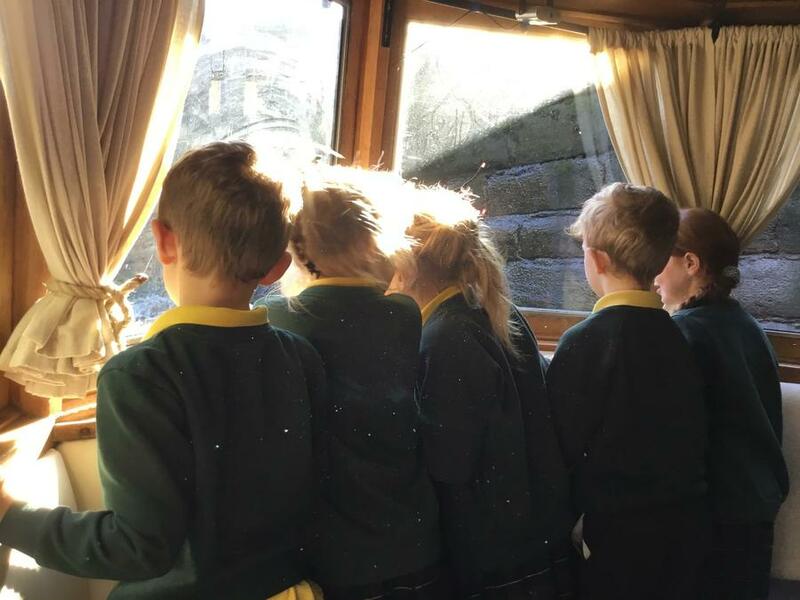 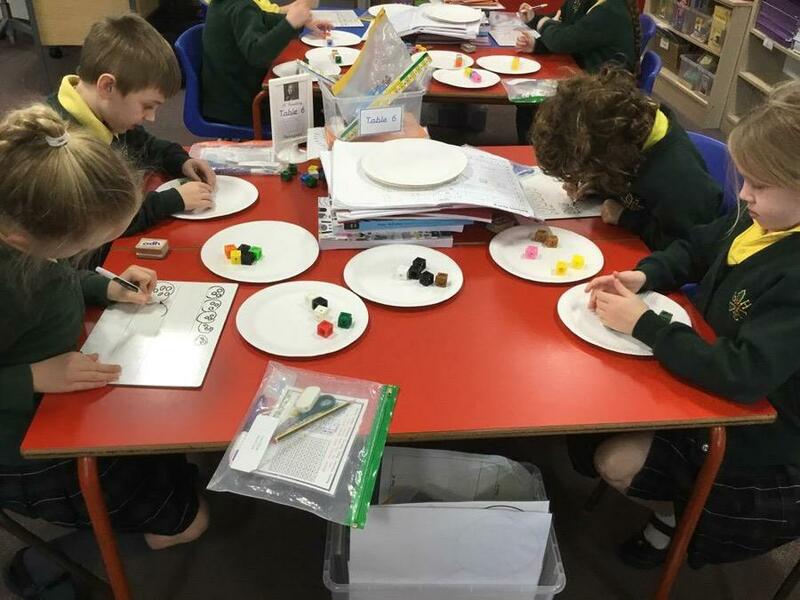 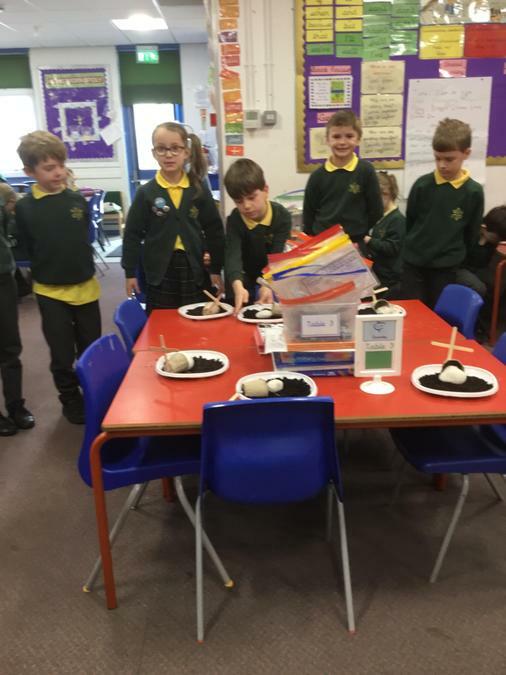 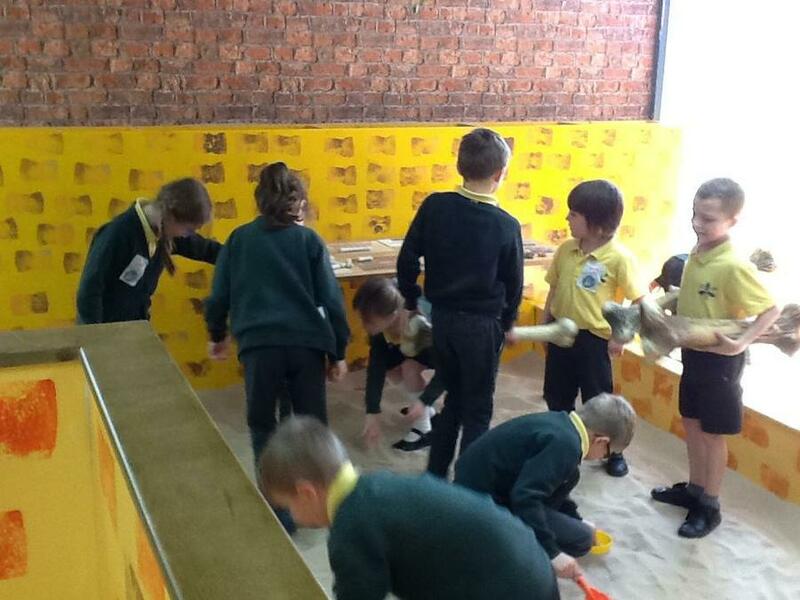 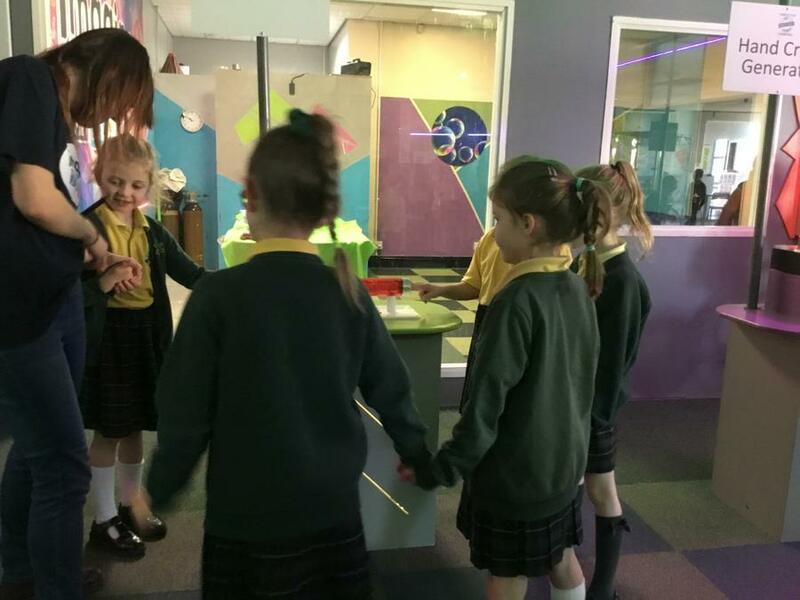 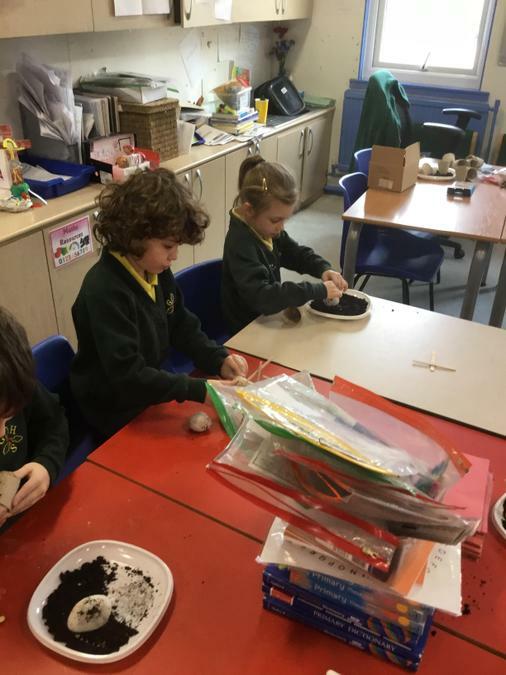 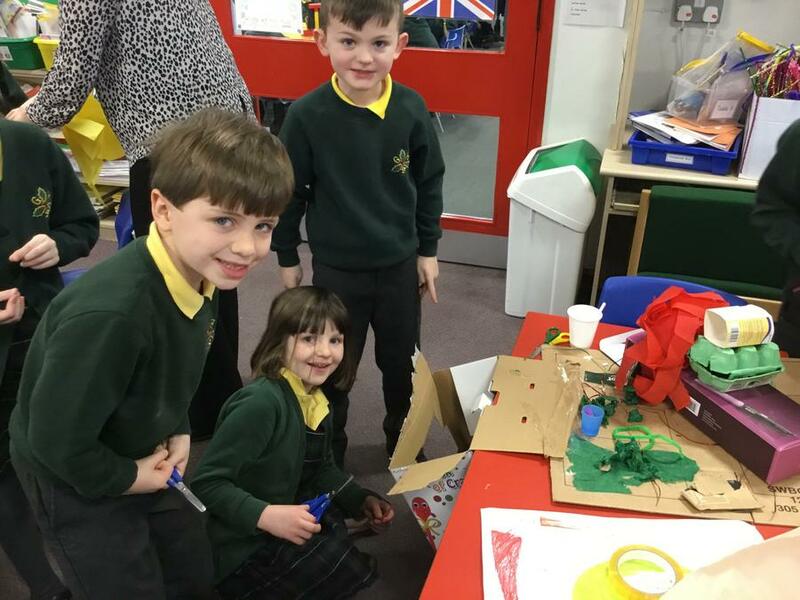 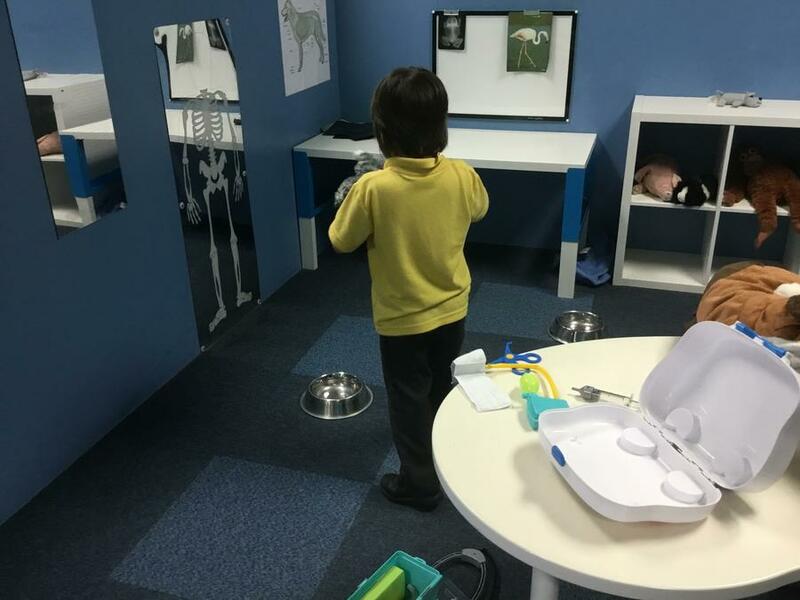 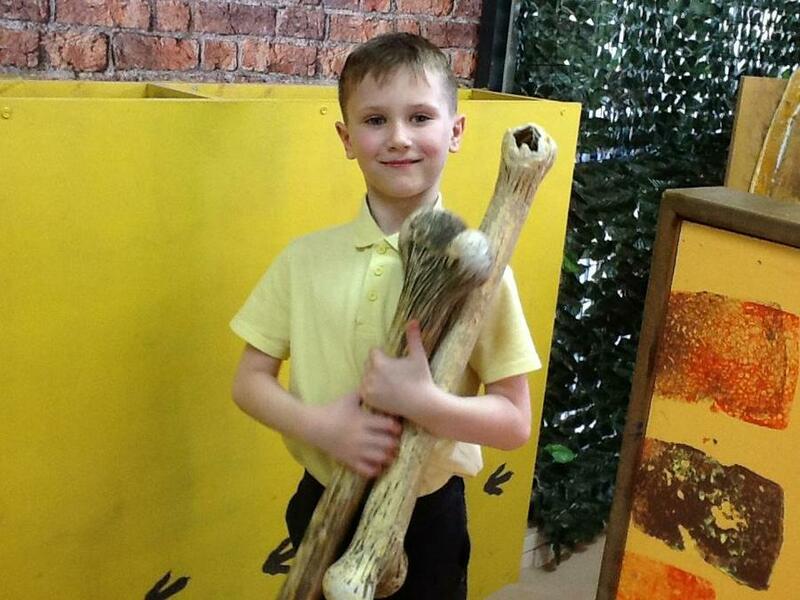 Friday 1st February 2019 - DT - building 3D dinosaur worlds. 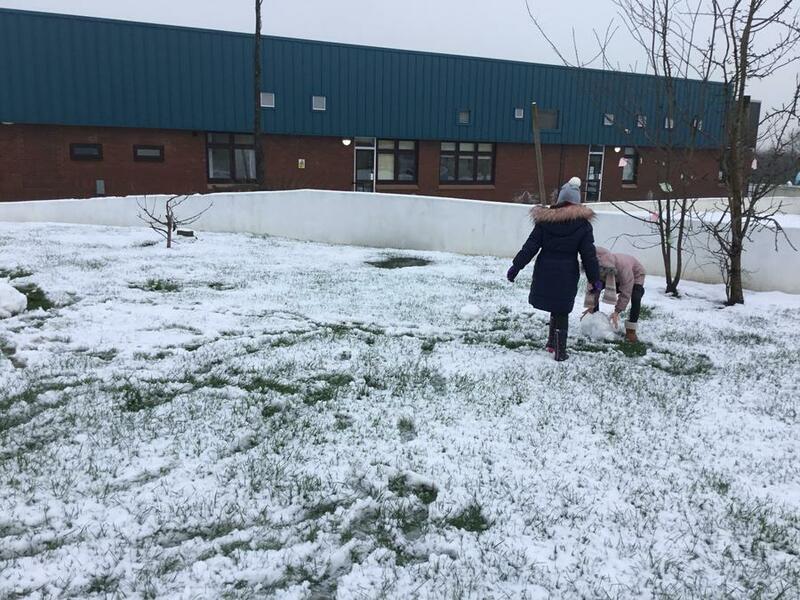 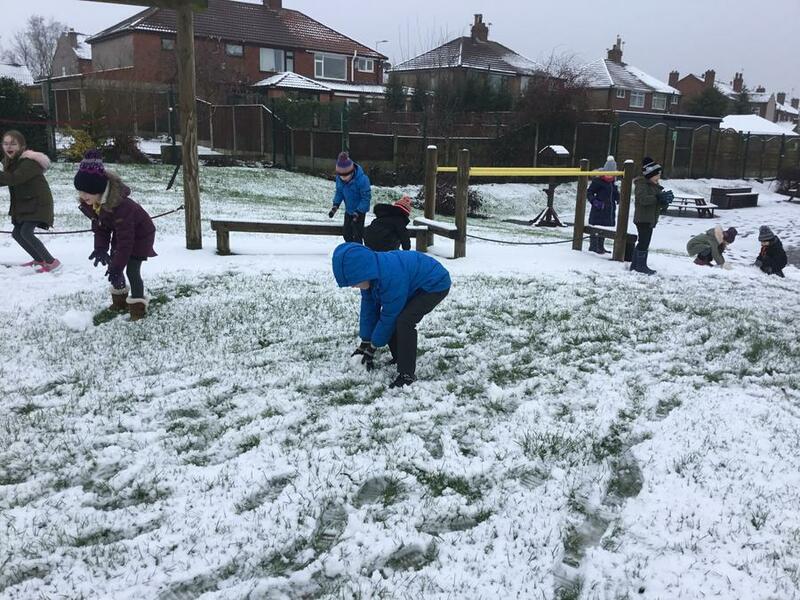 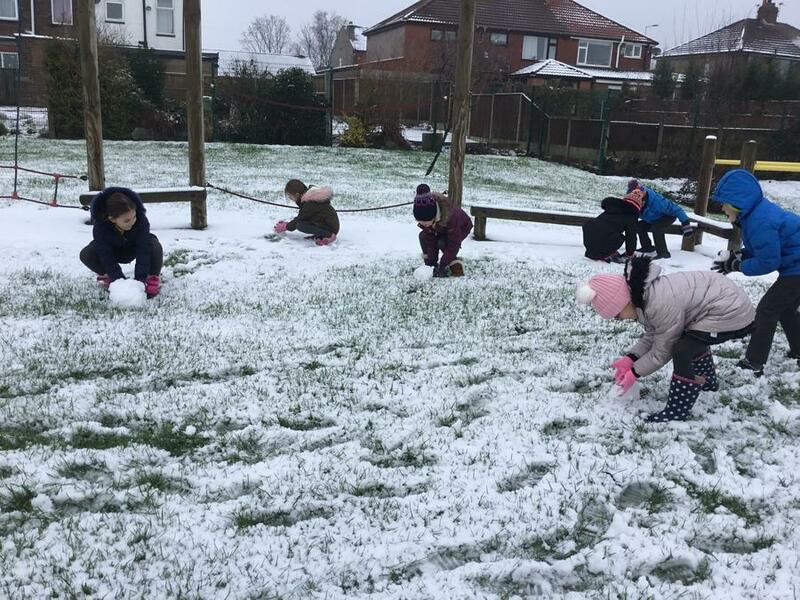 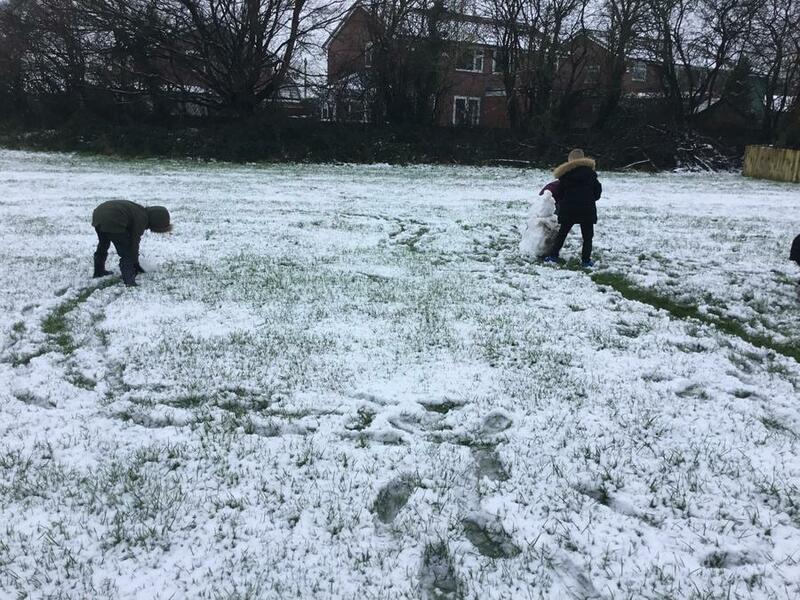 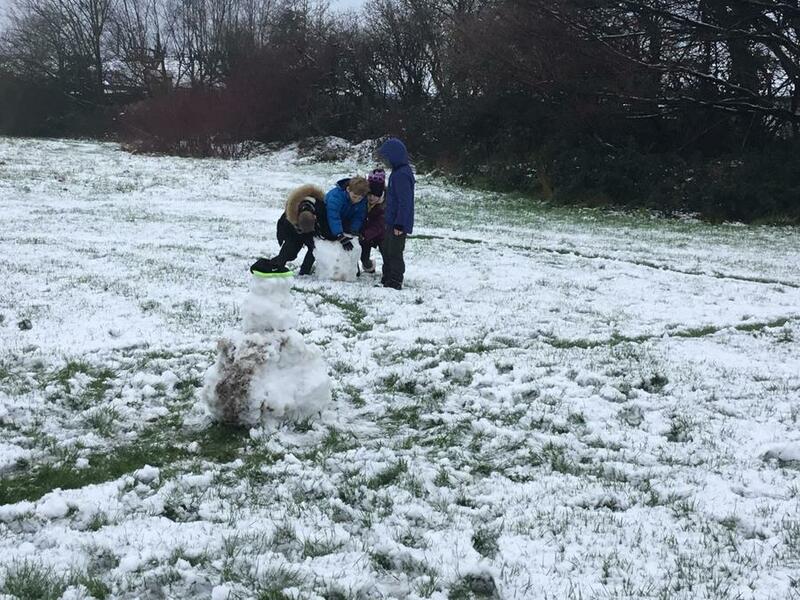 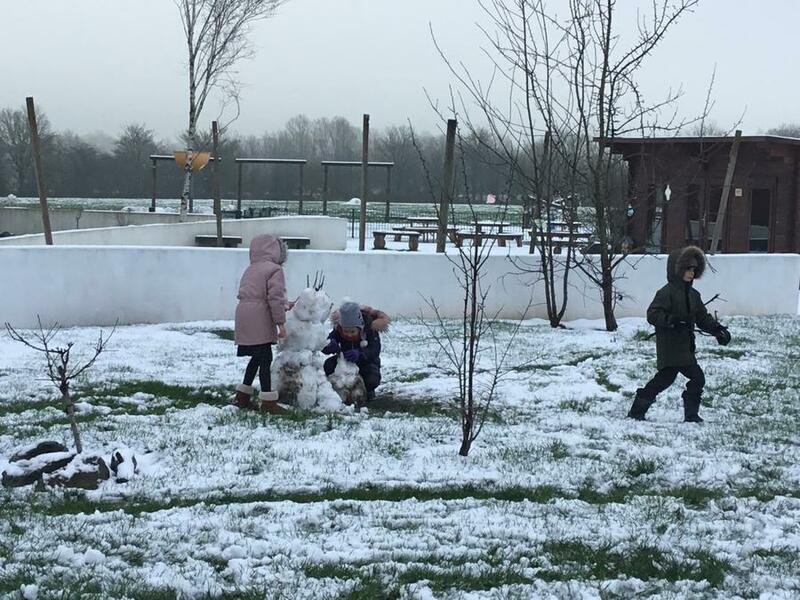 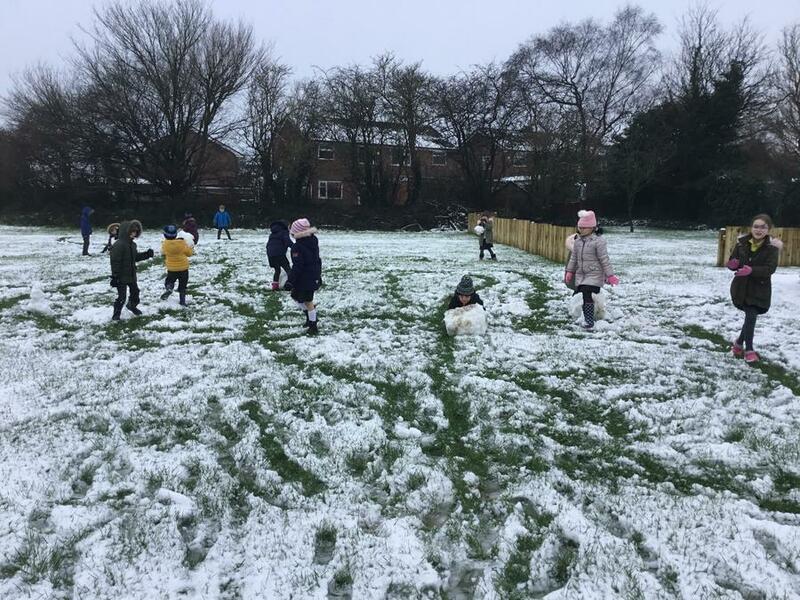 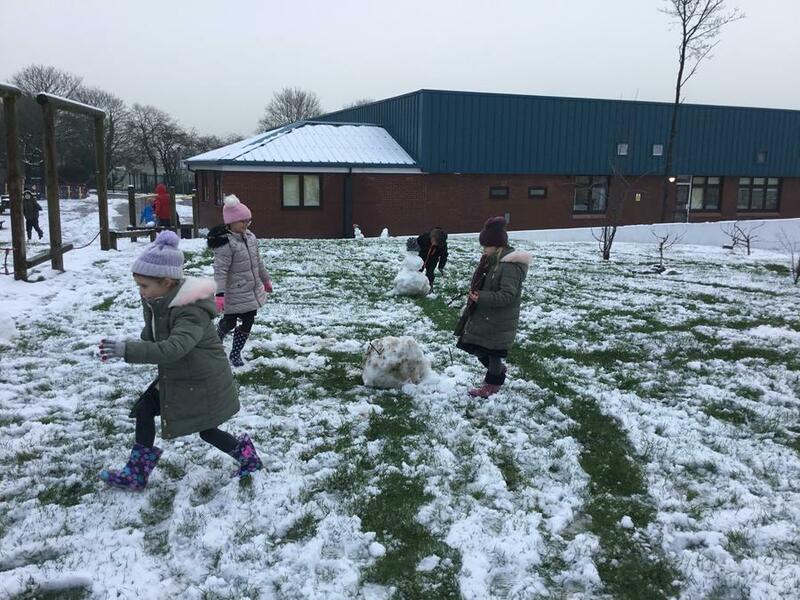 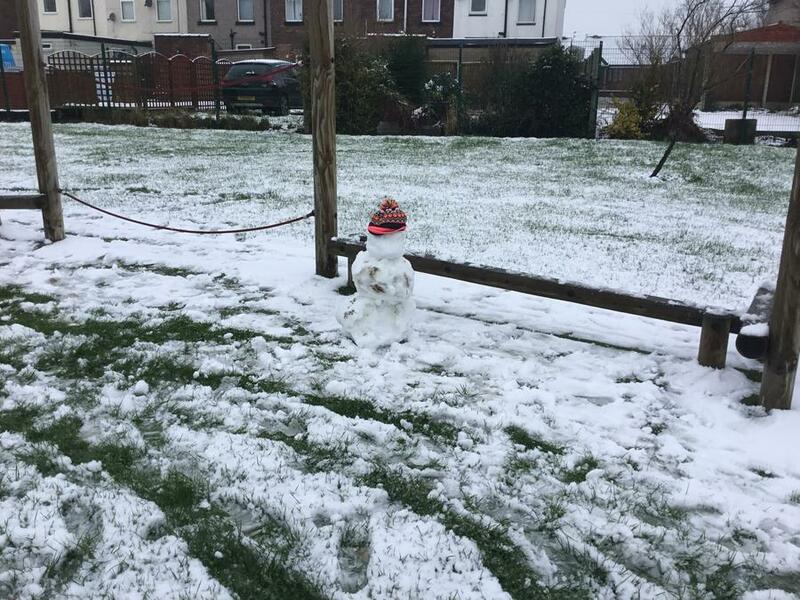 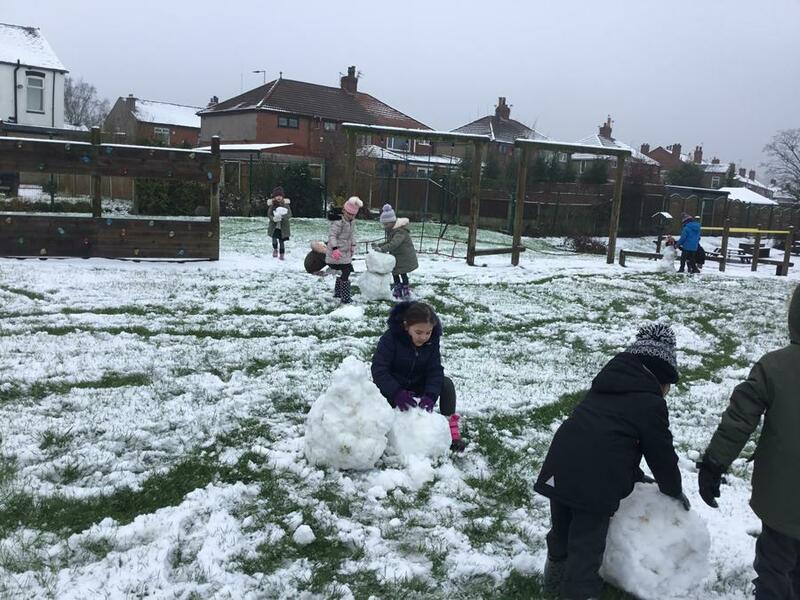 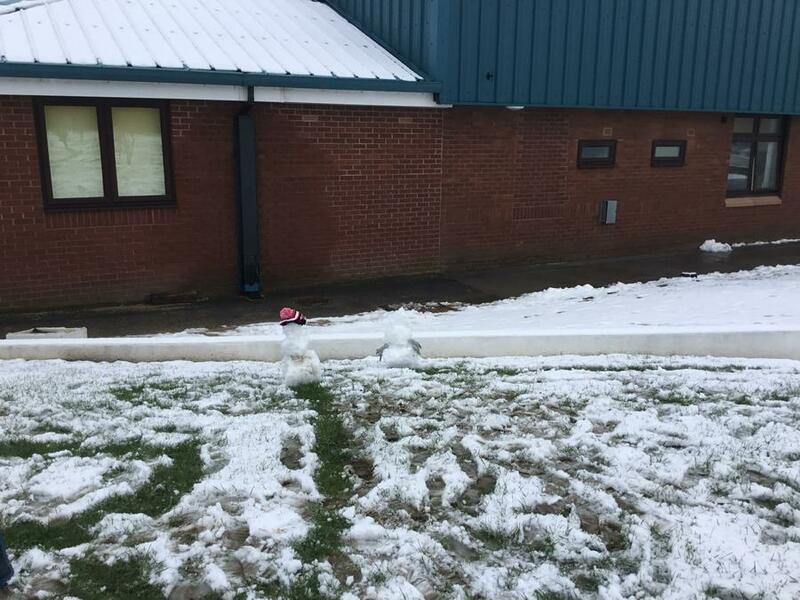 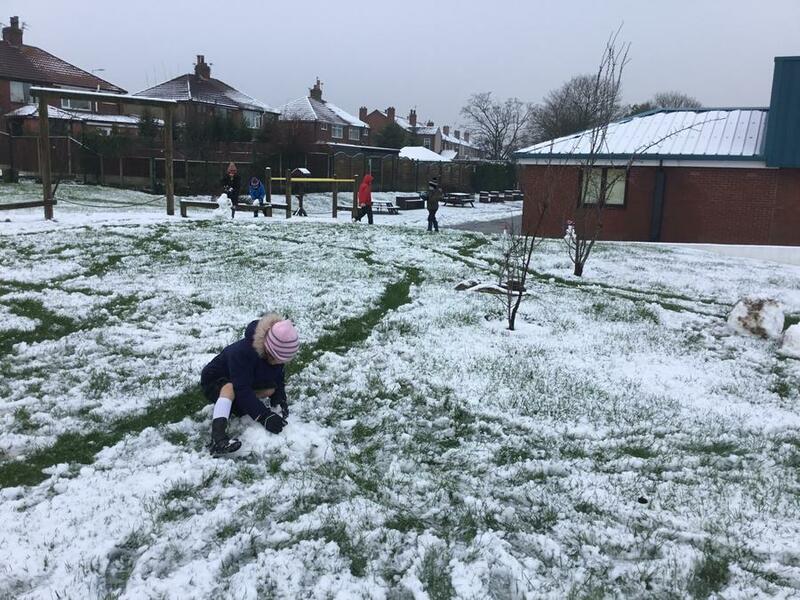 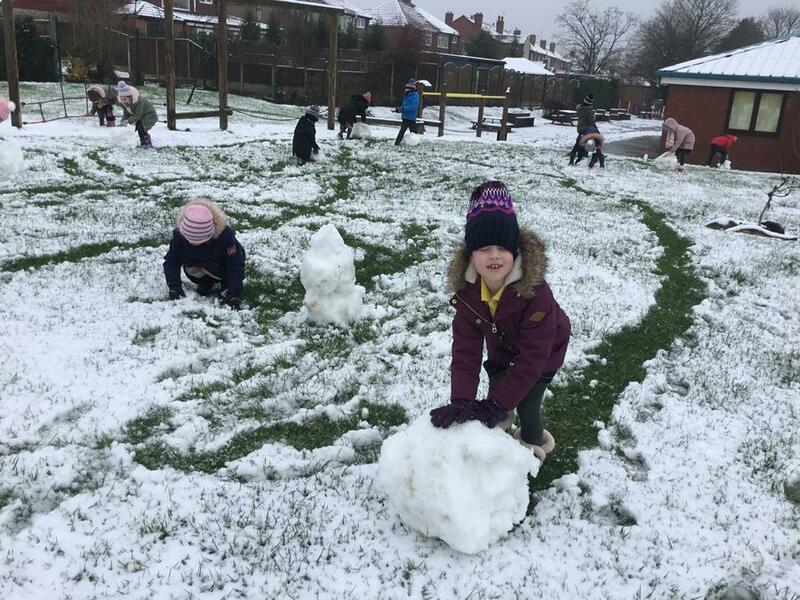 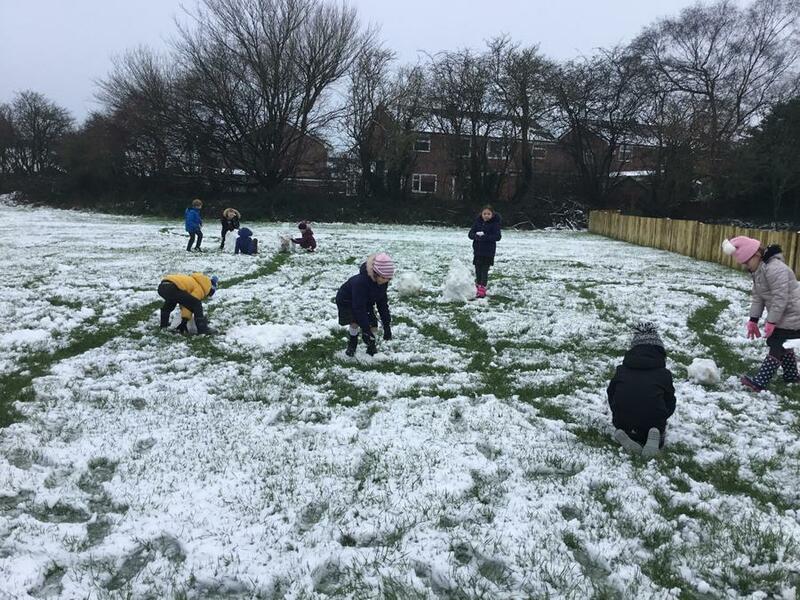 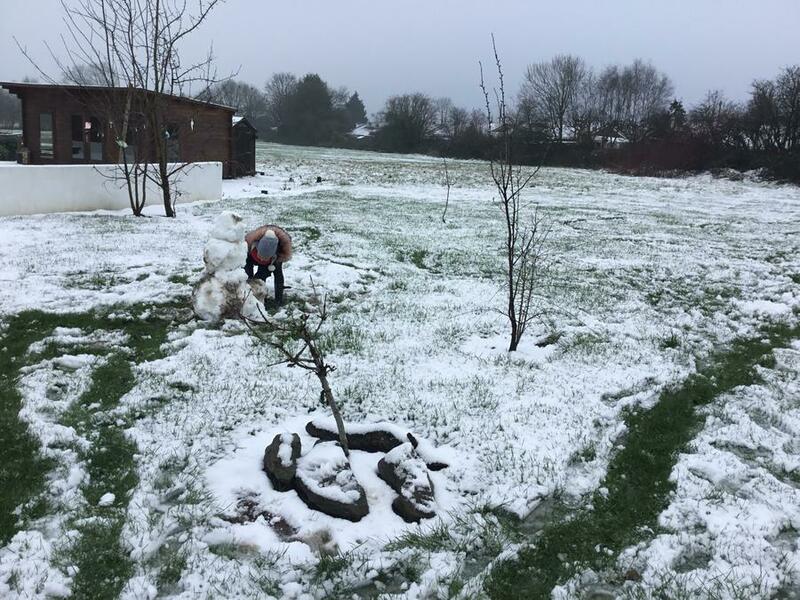 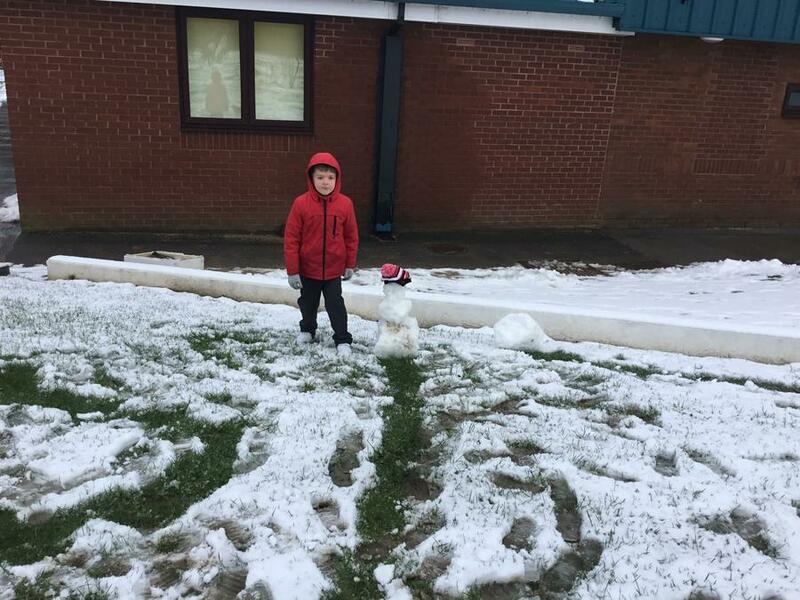 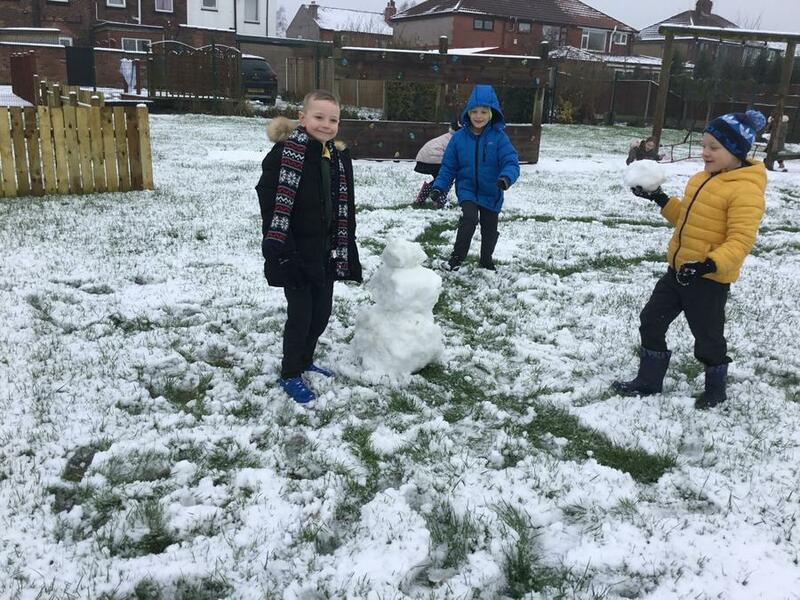 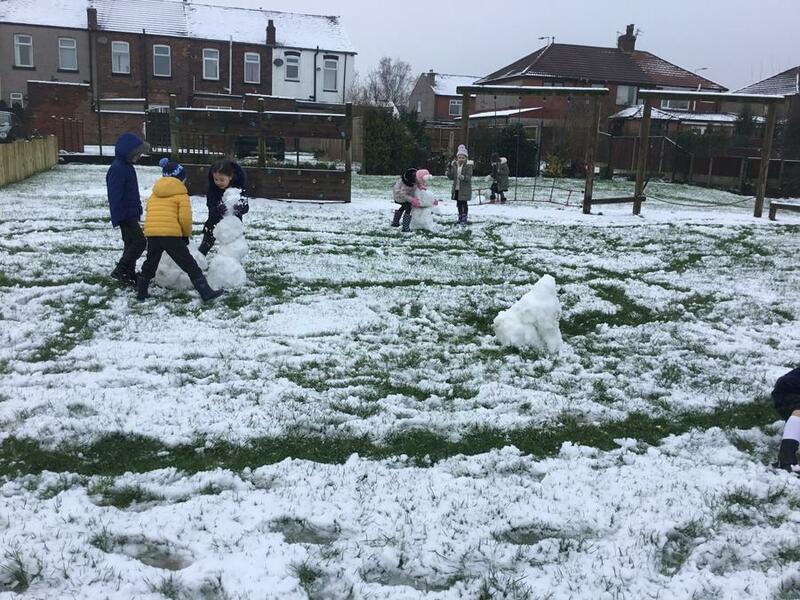 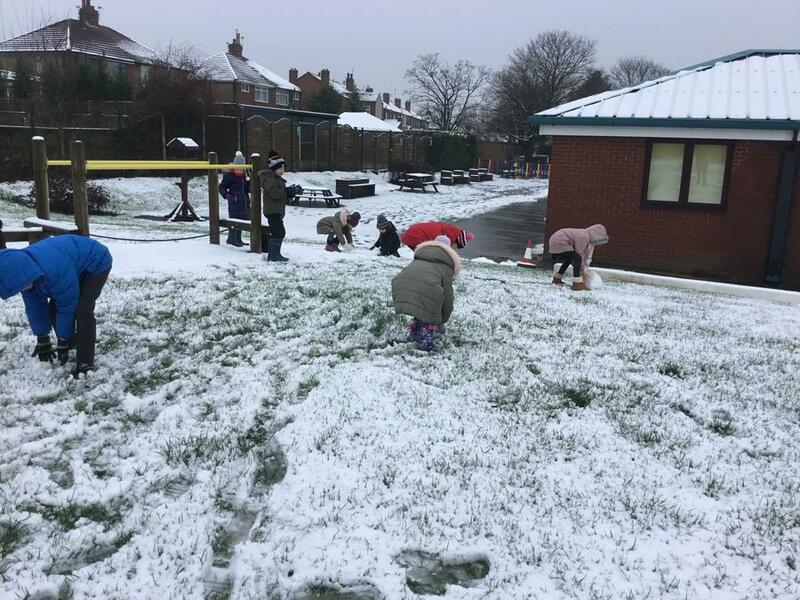 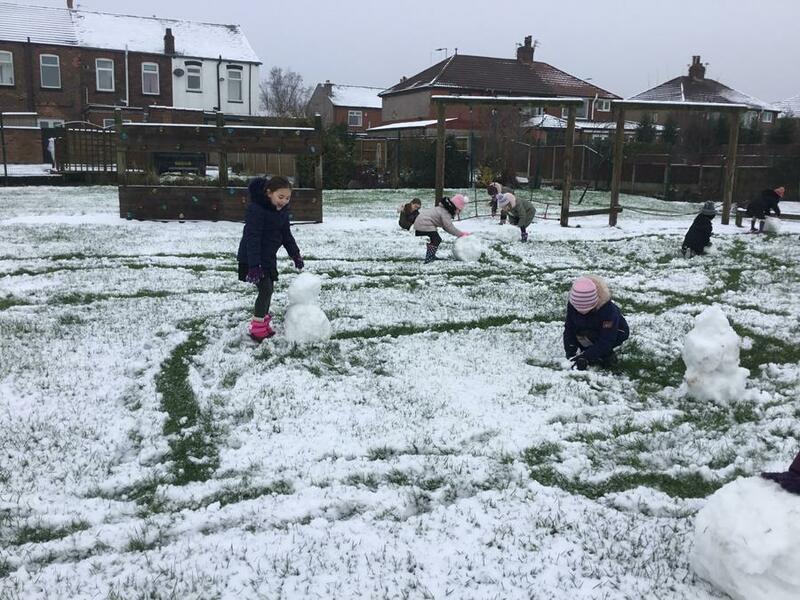 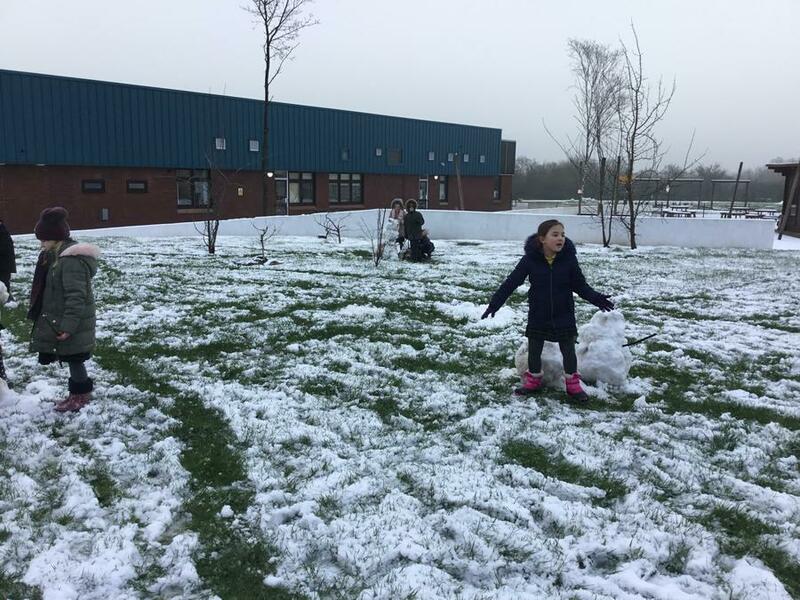 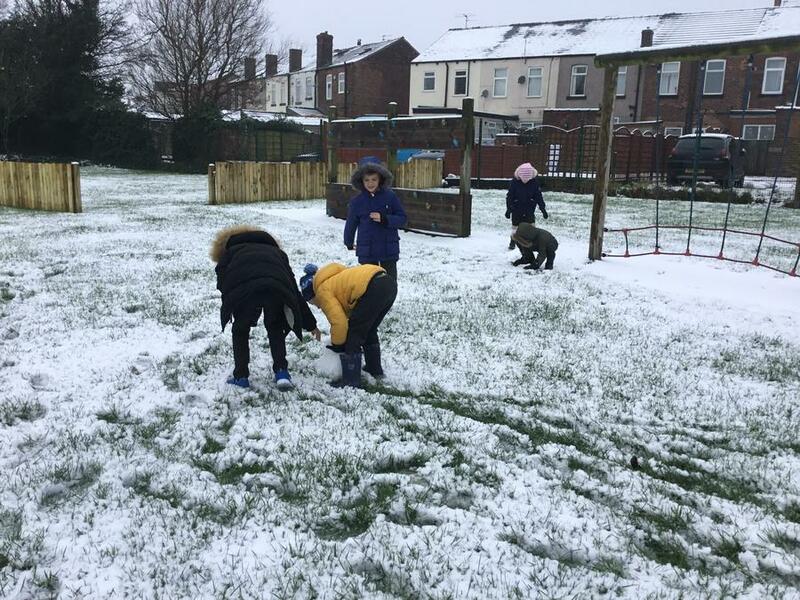 Wednesday 30th January 2019 - Snowman building. 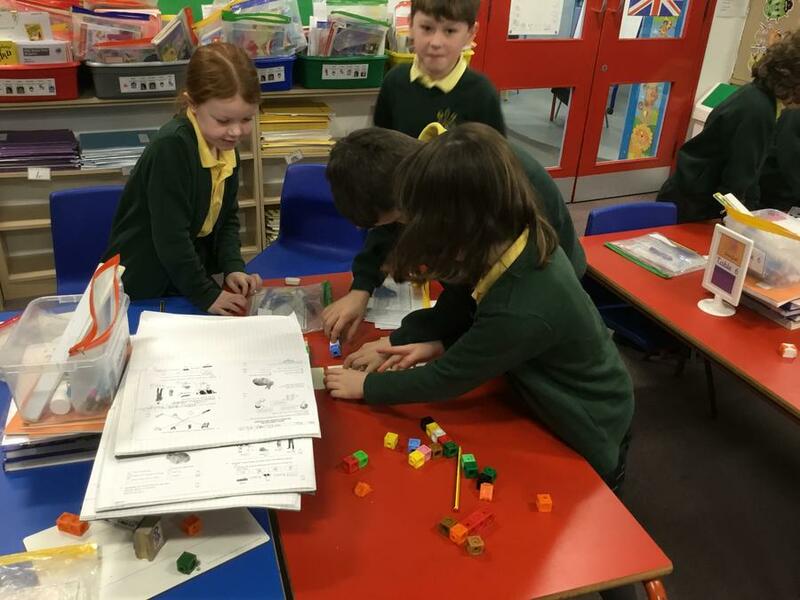 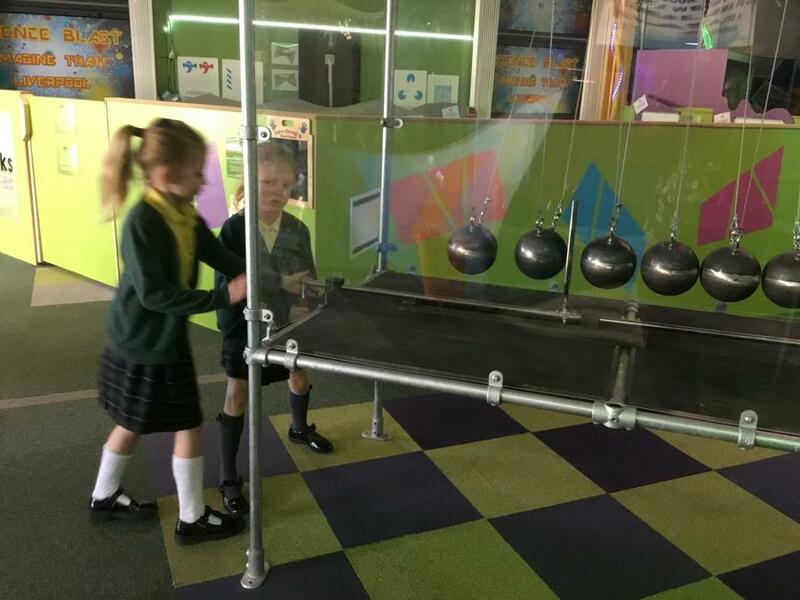 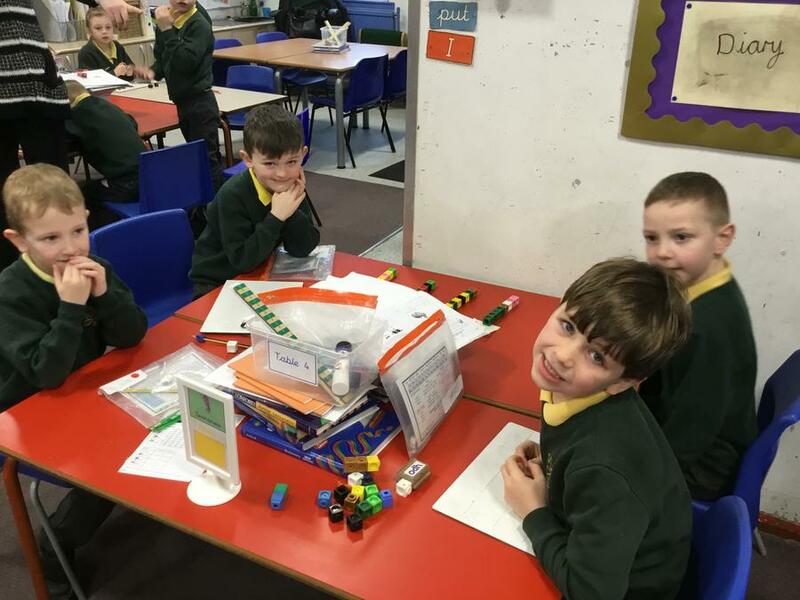 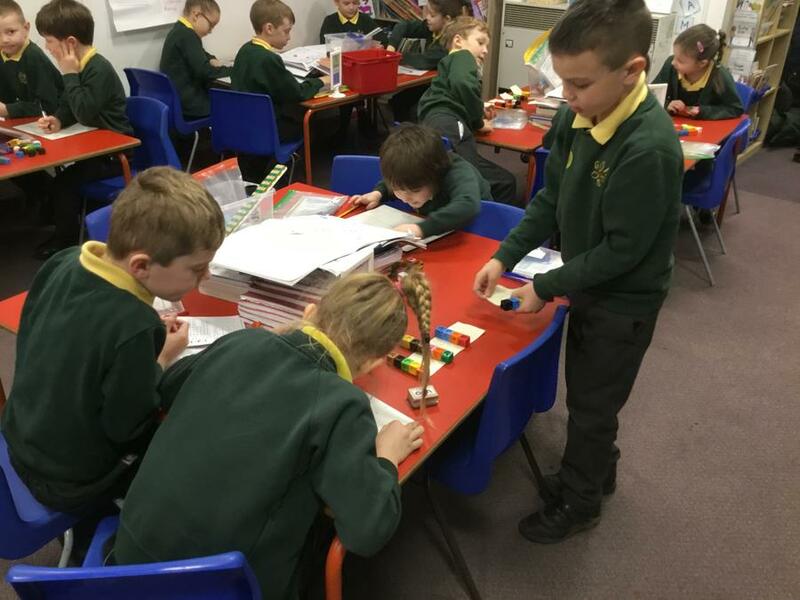 Wednesday 16th January 2019 - building bar models to solve problems. 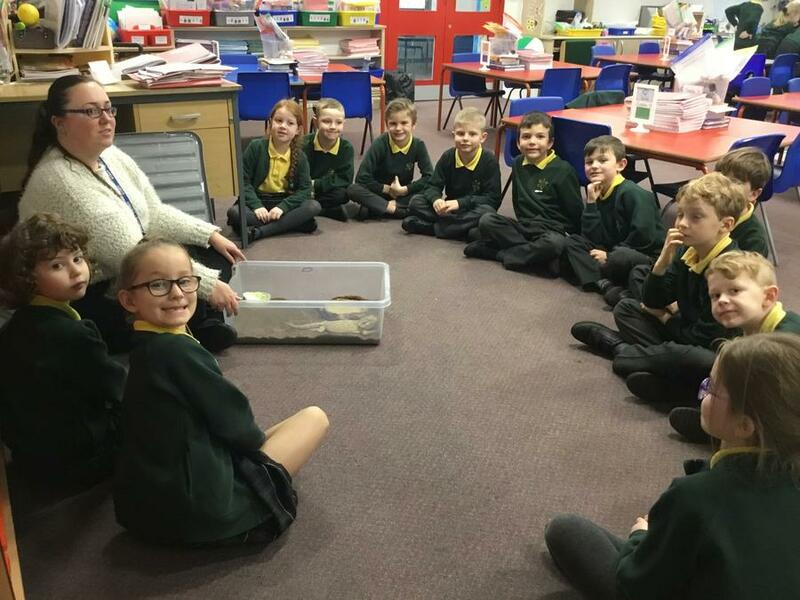 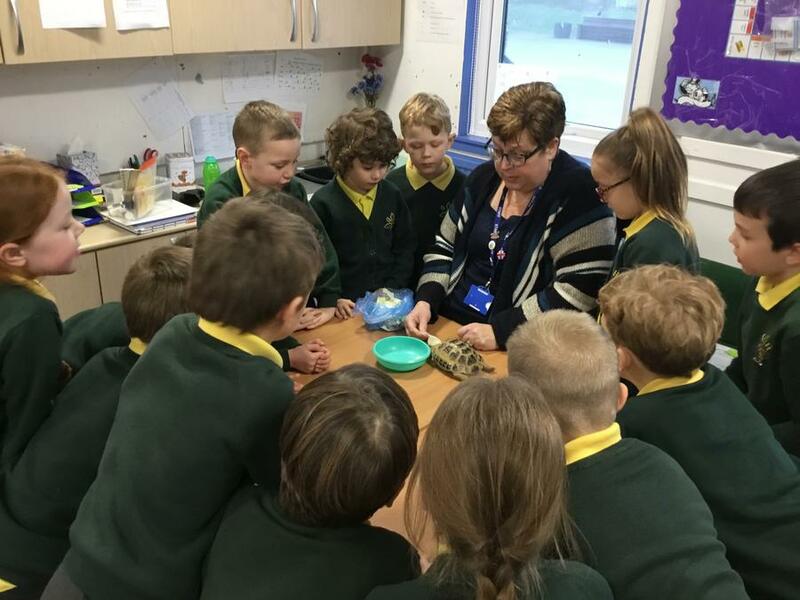 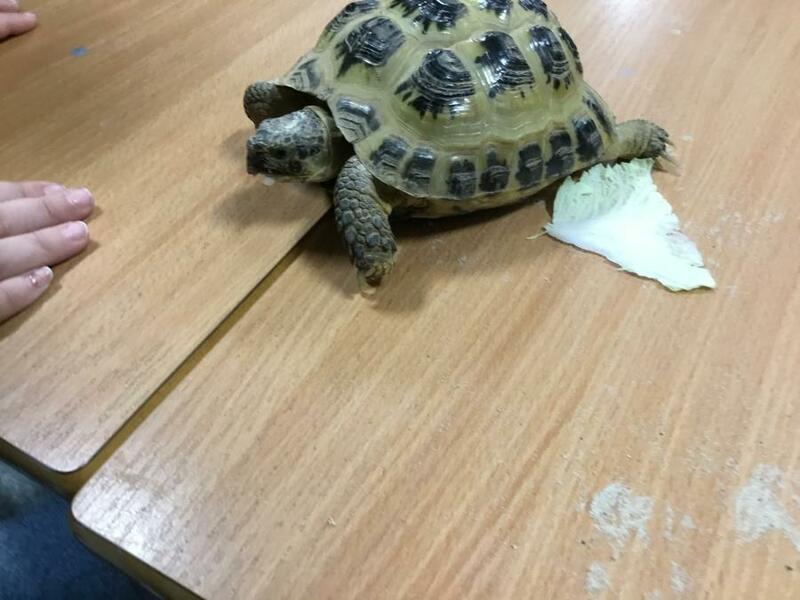 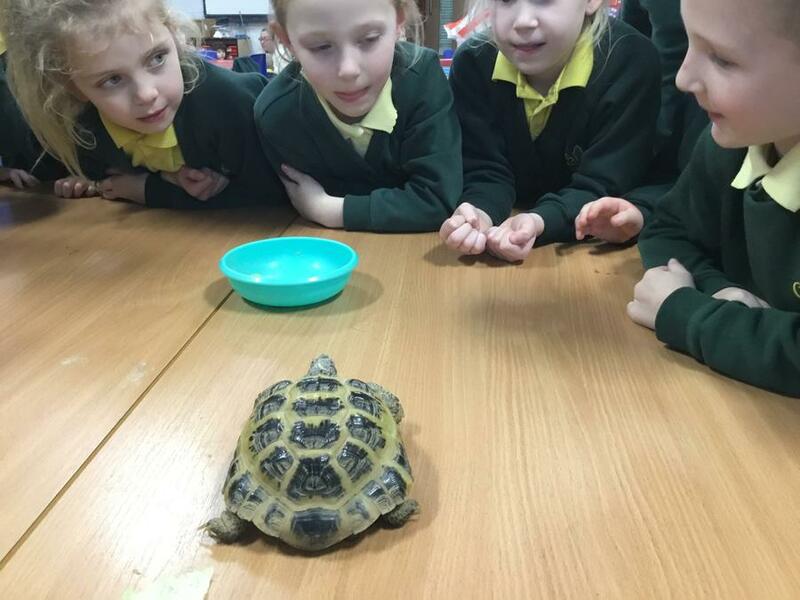 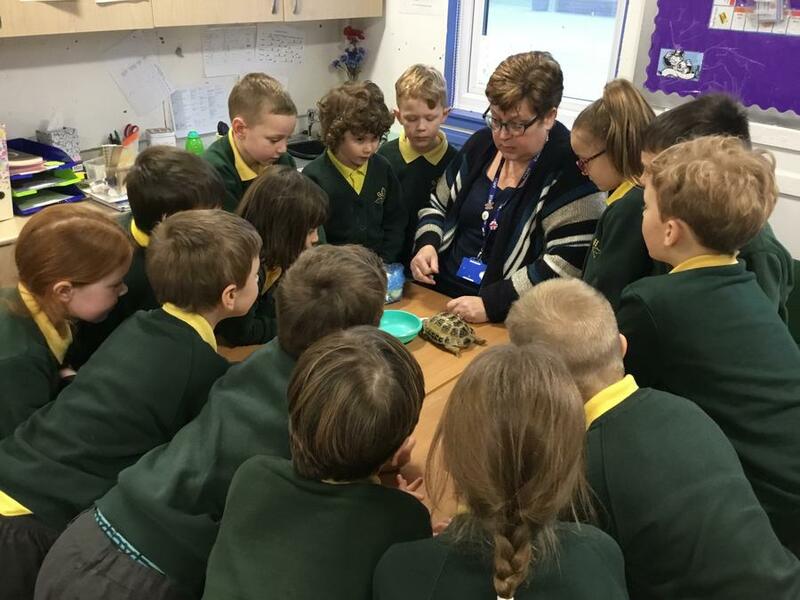 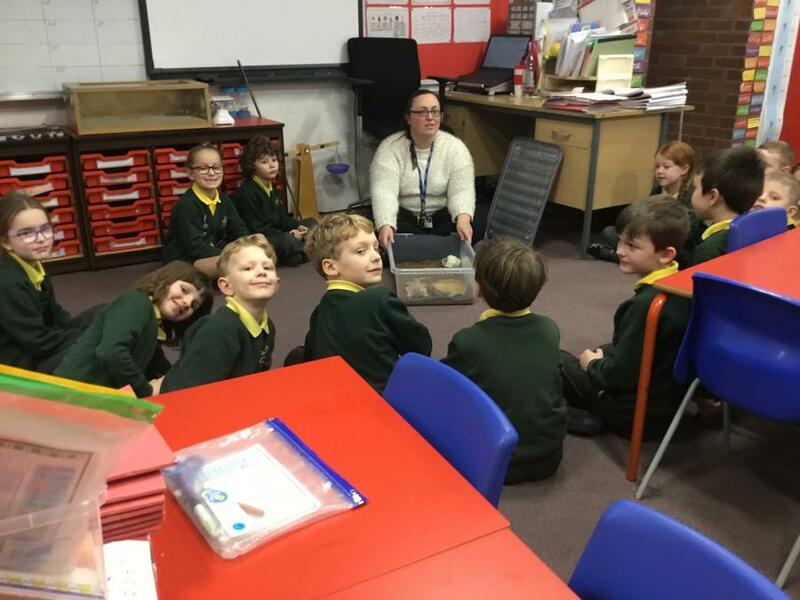 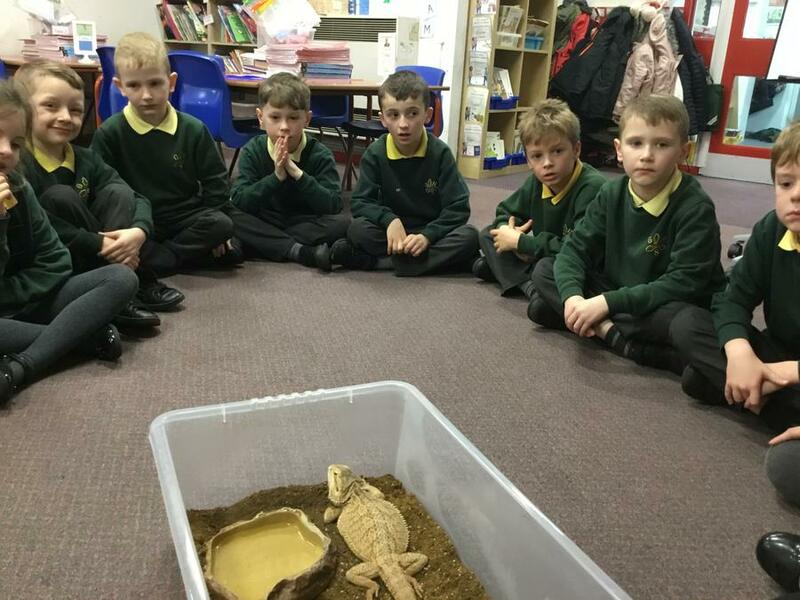 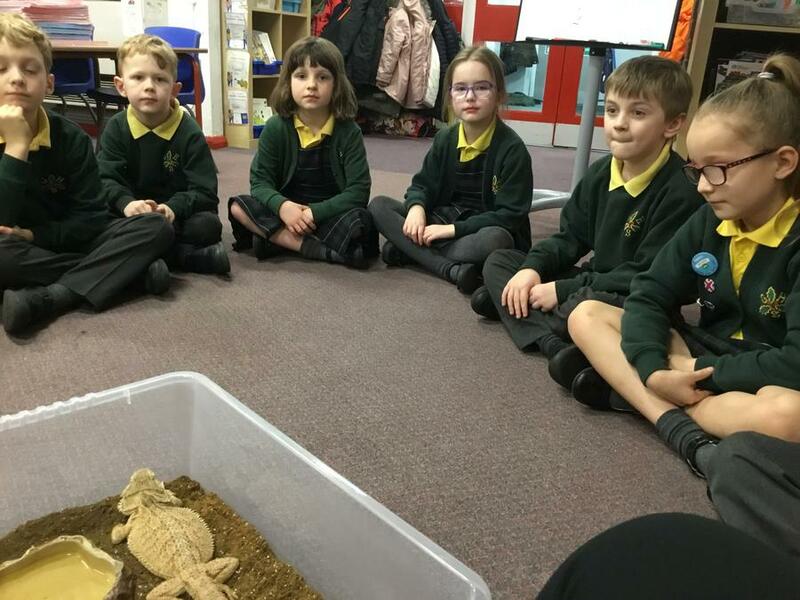 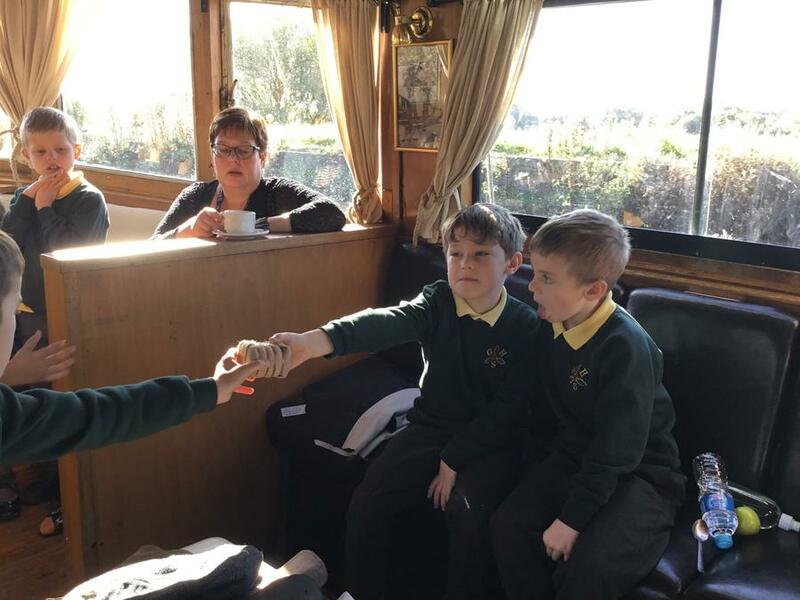 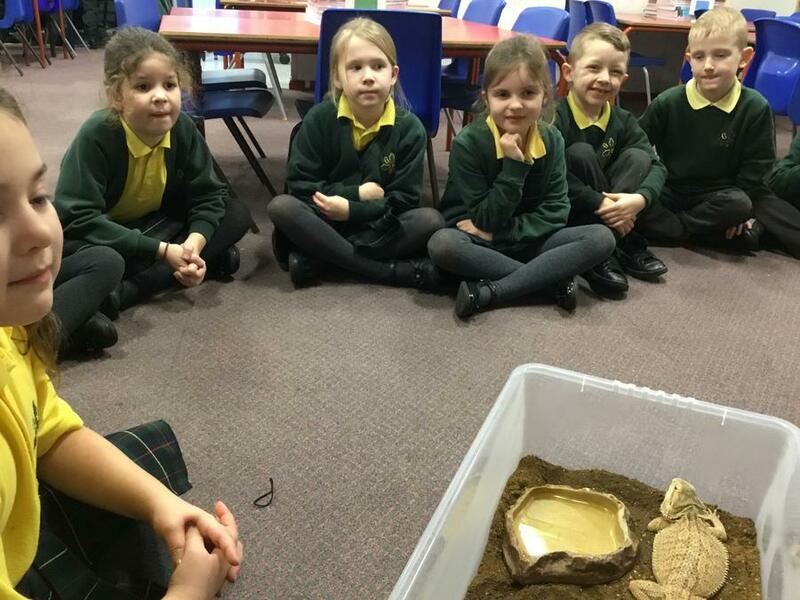 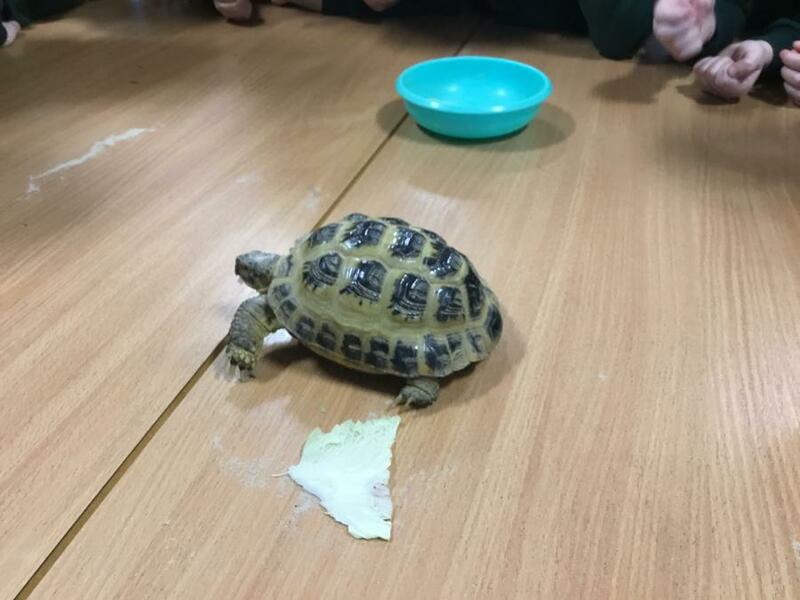 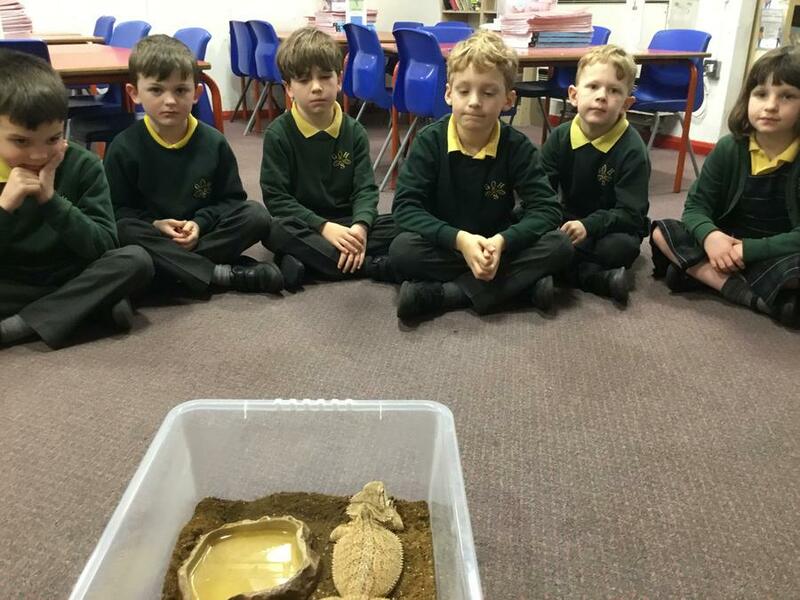 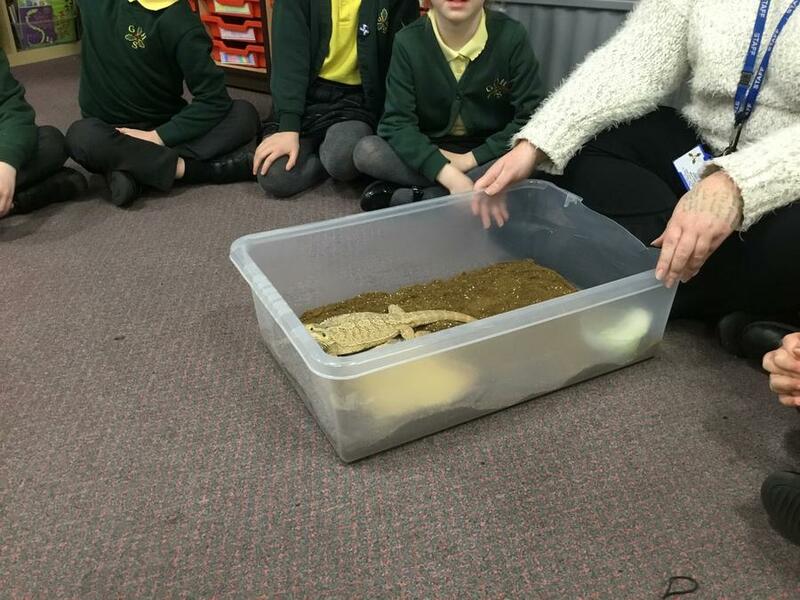 Thursday 10th January 2019 - a visit from a tortoise and a bearded dragon. 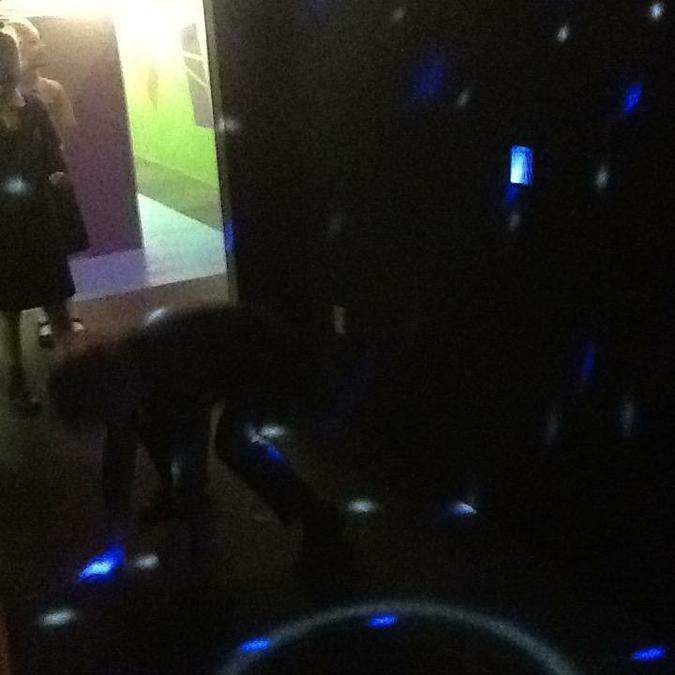 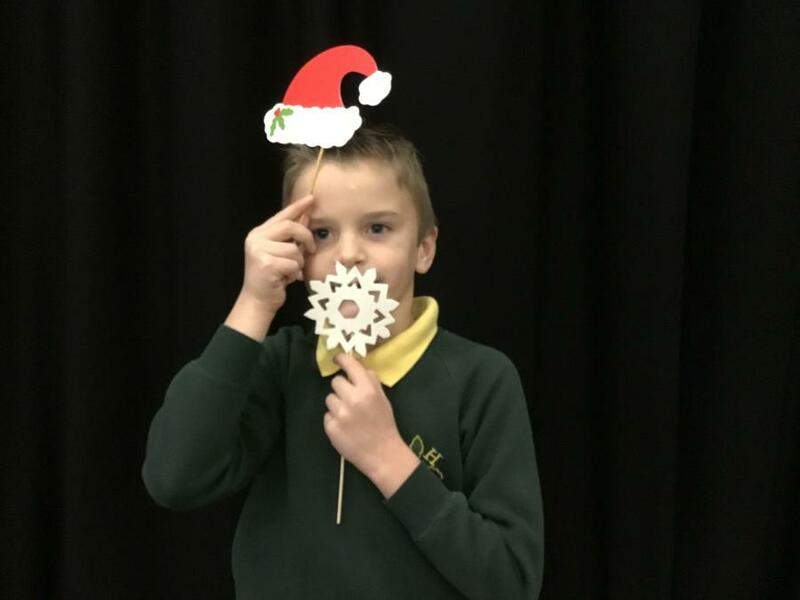 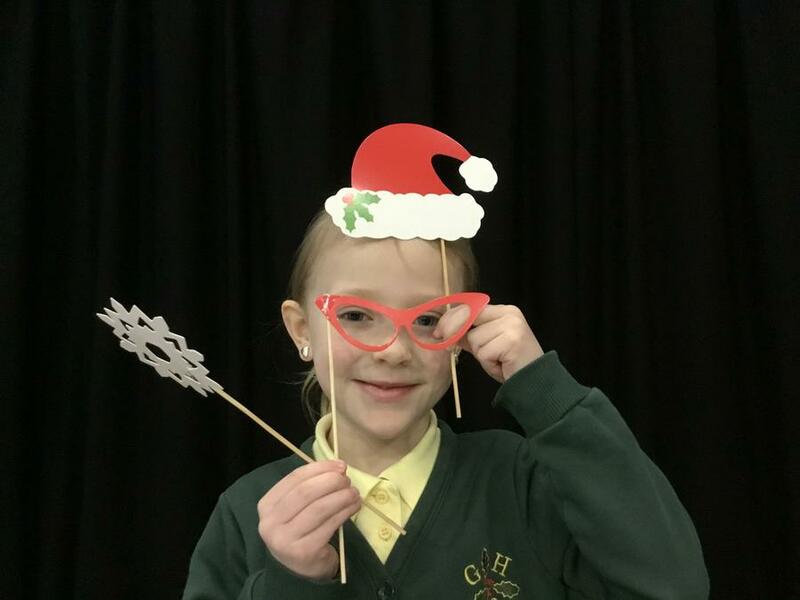 Festive Photos! 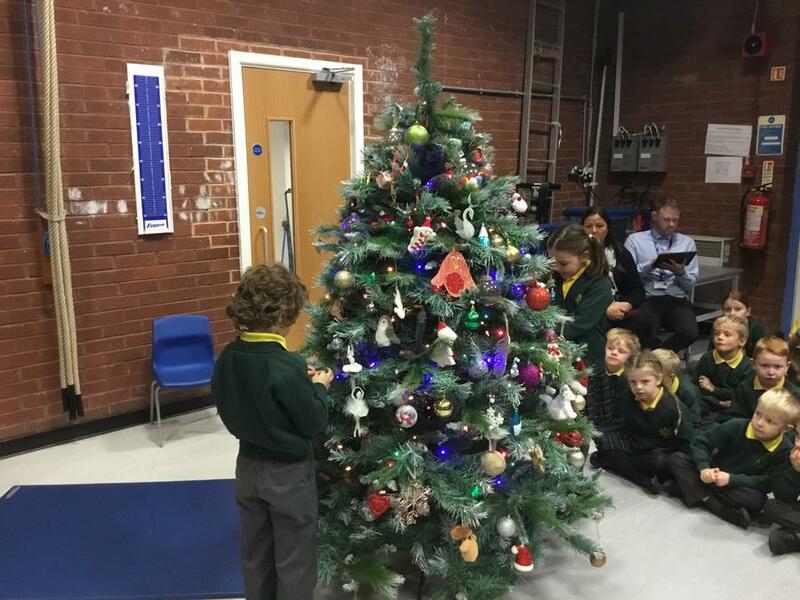 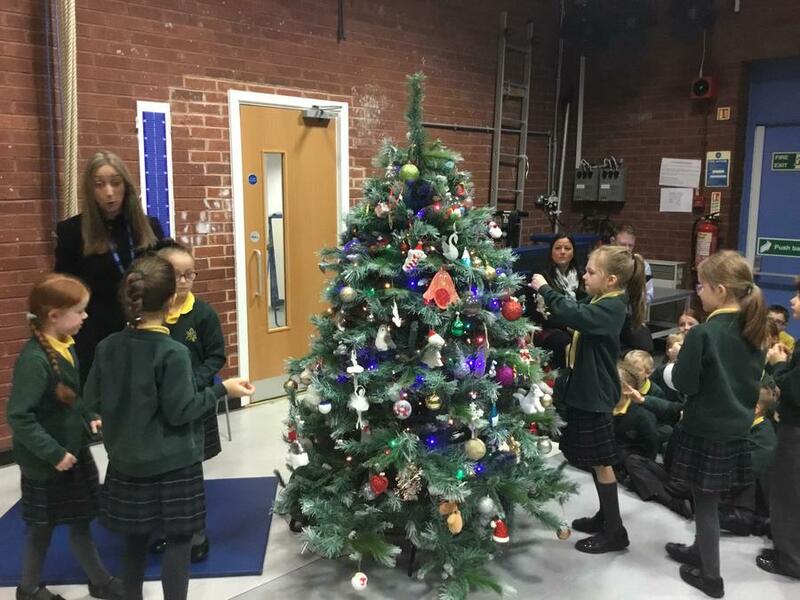 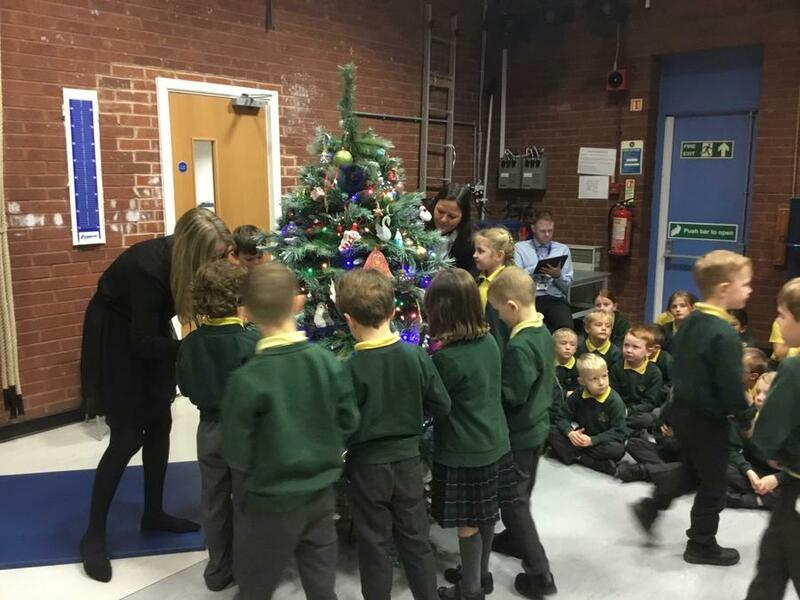 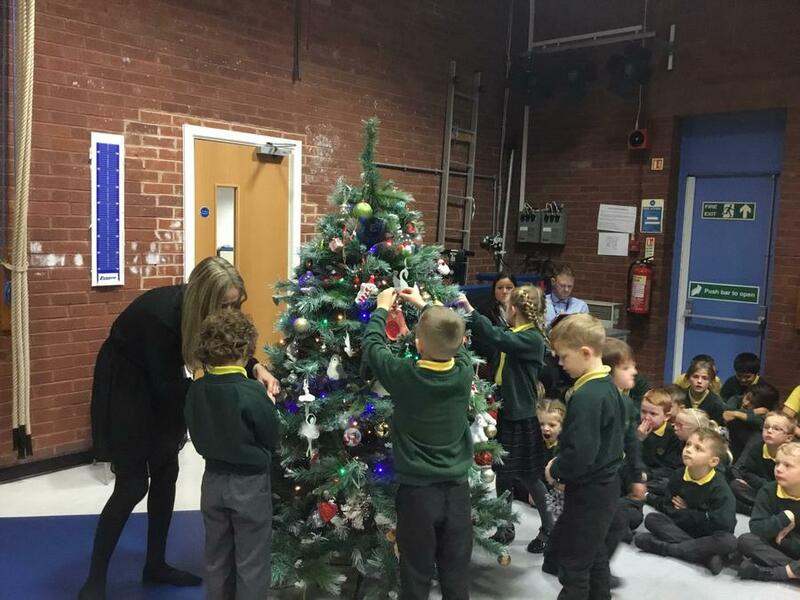 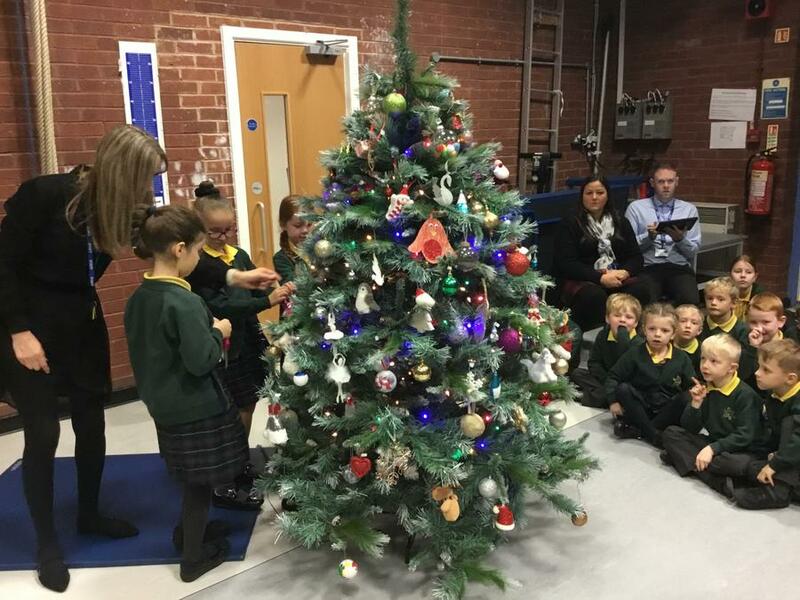 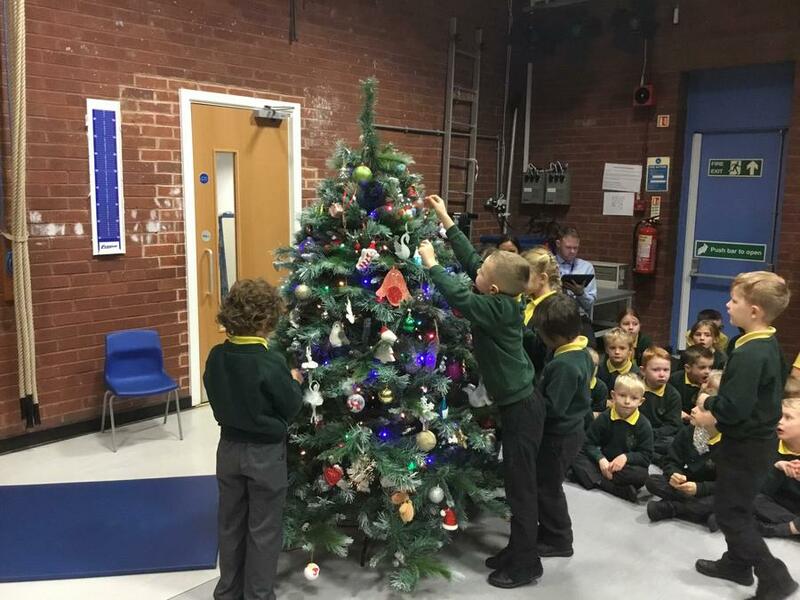 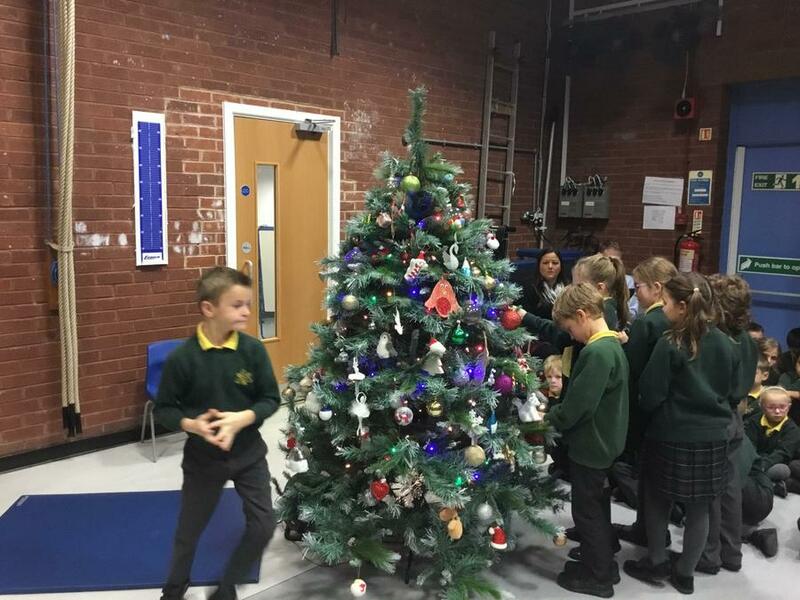 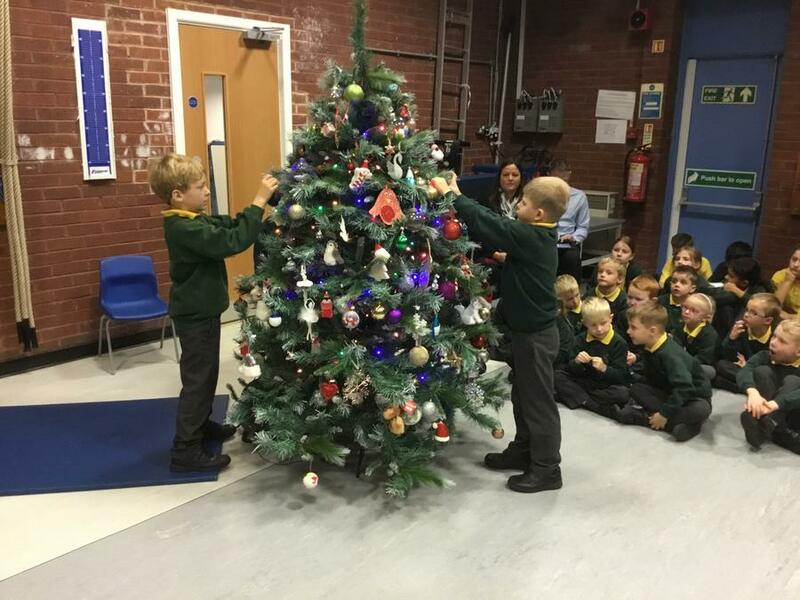 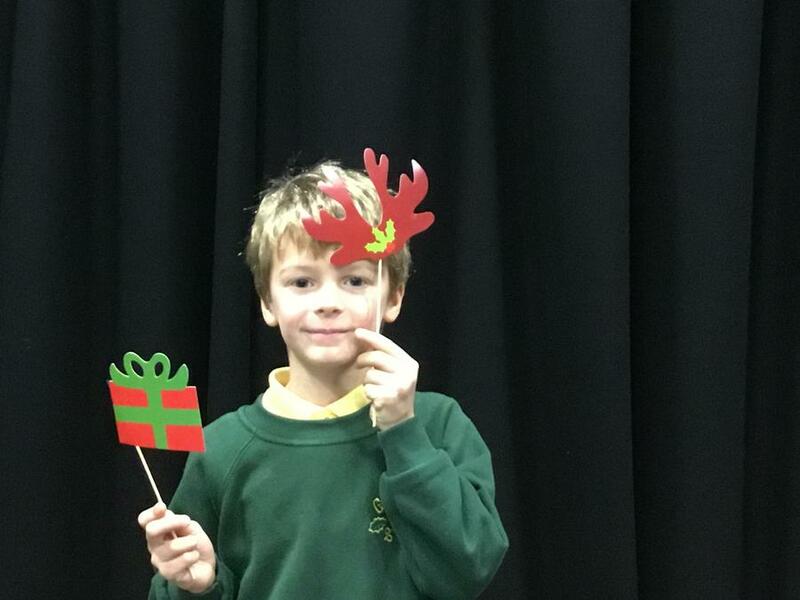 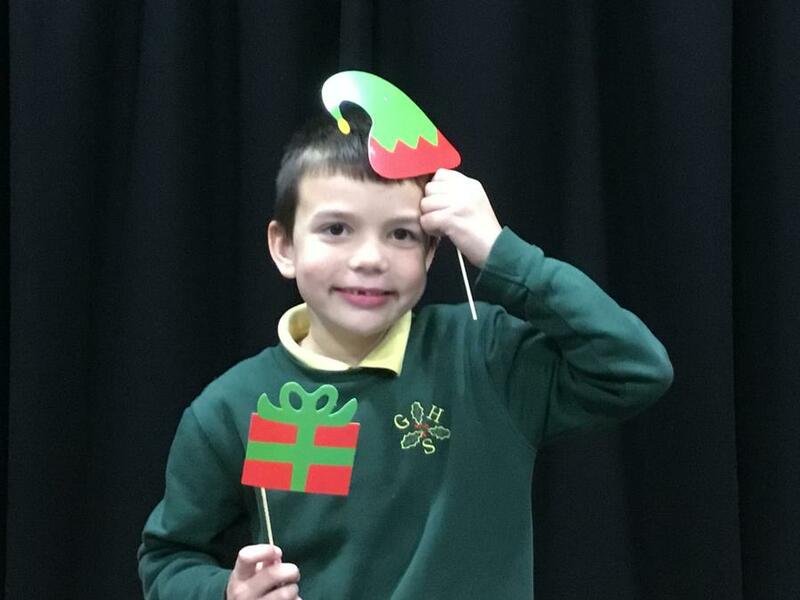 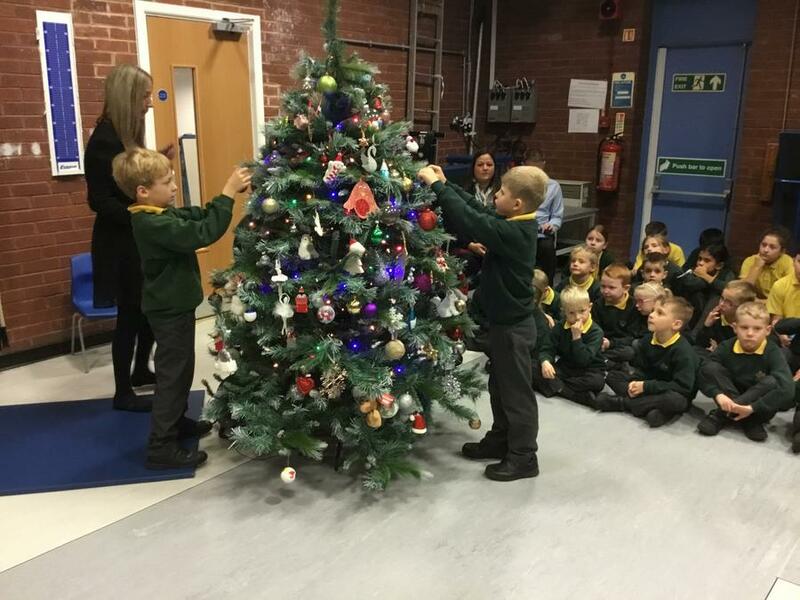 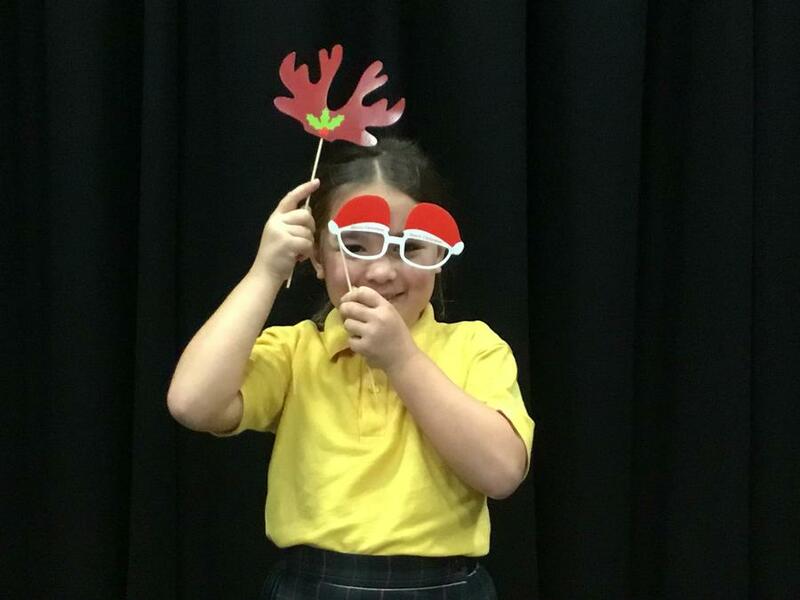 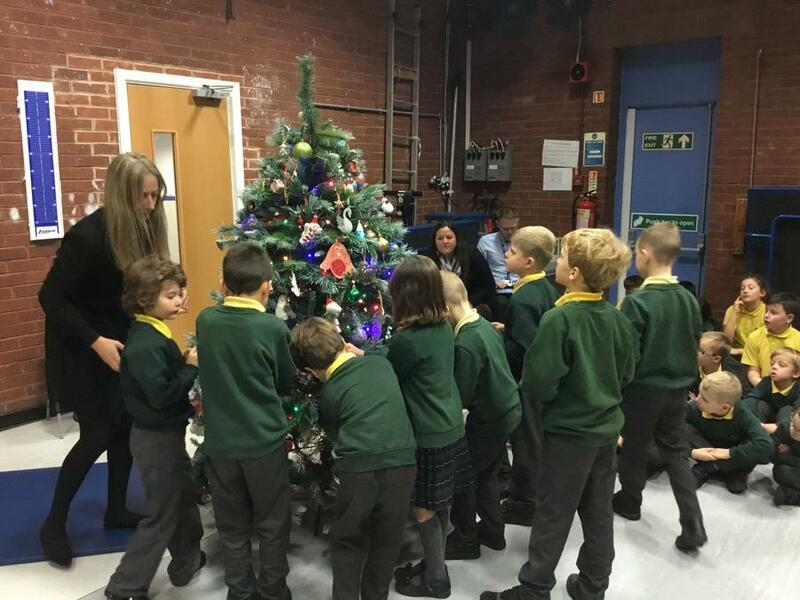 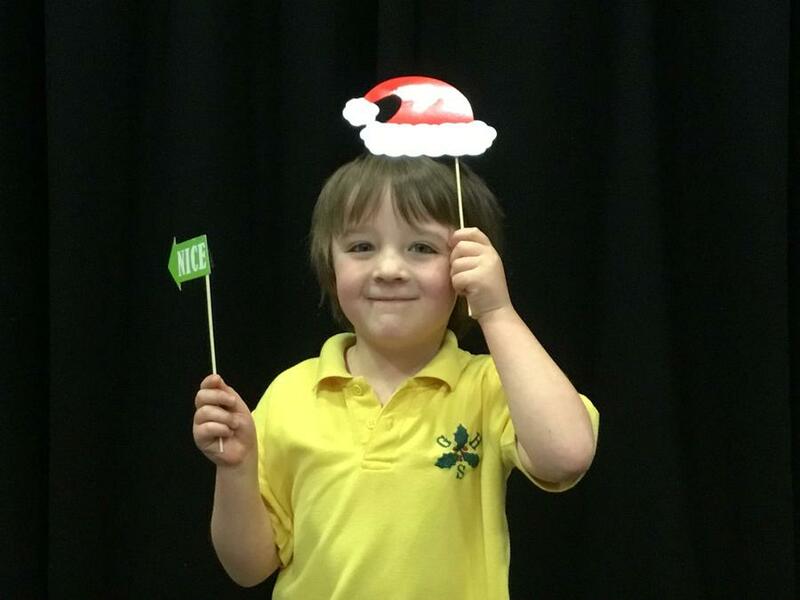 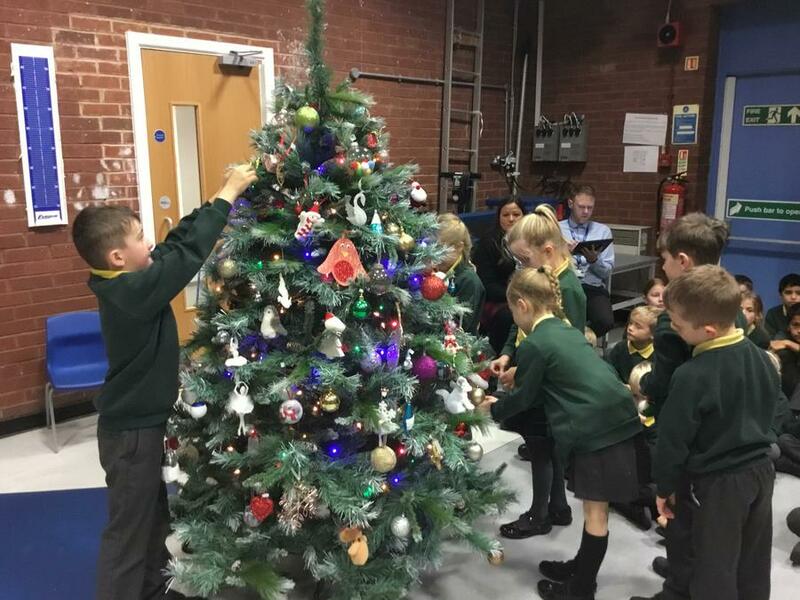 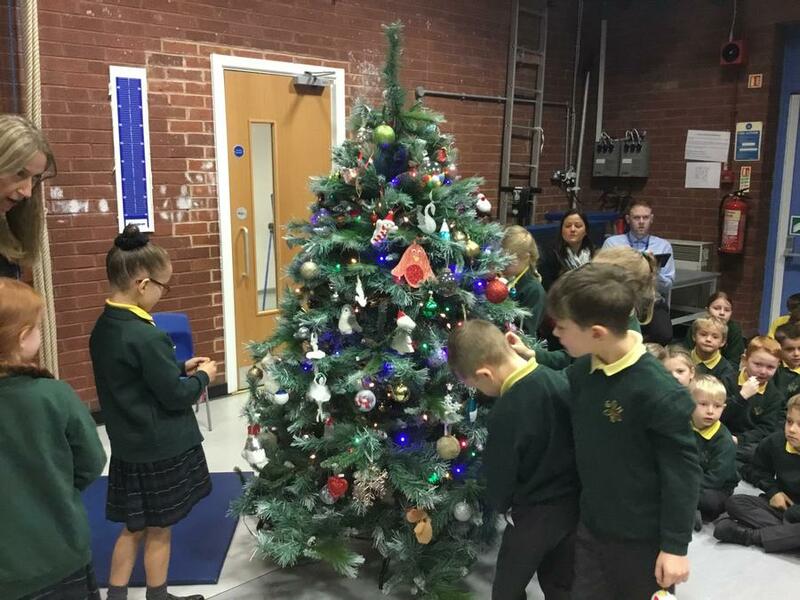 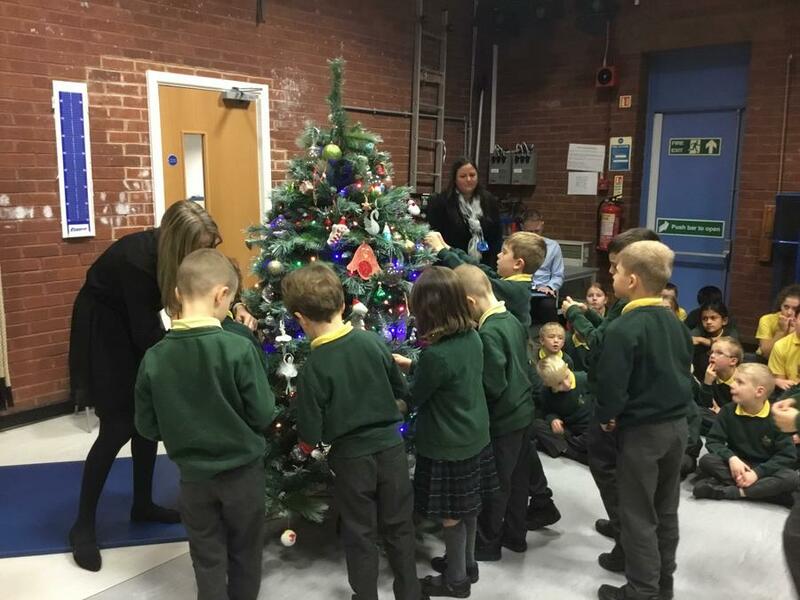 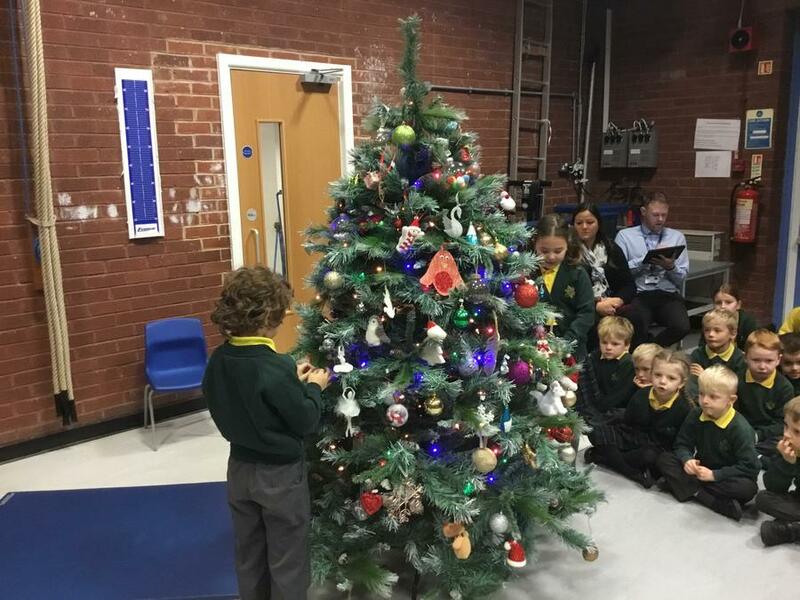 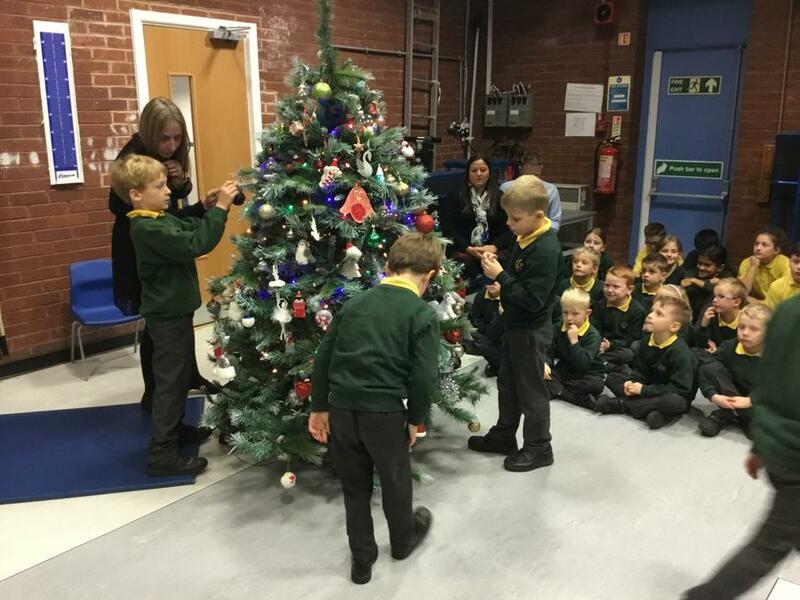 Year 2 would like to wish everyone a Merry Christmas and happy new year! 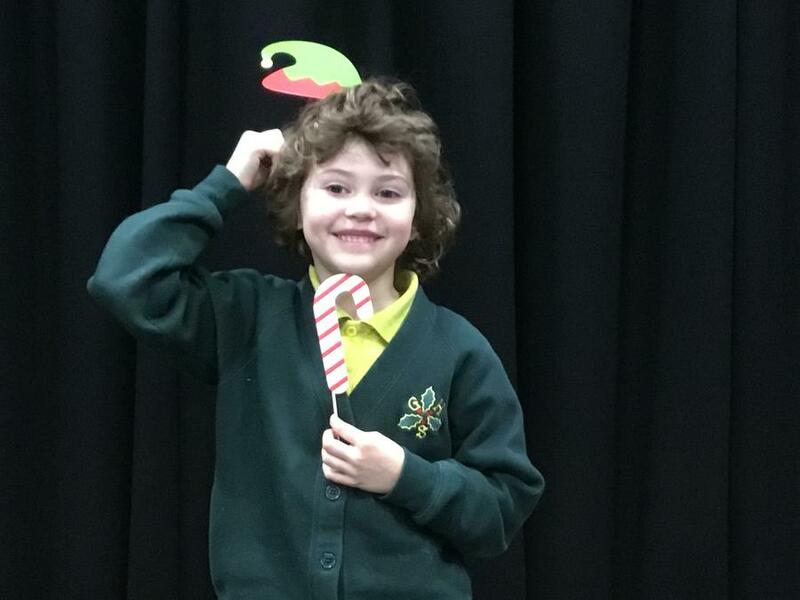 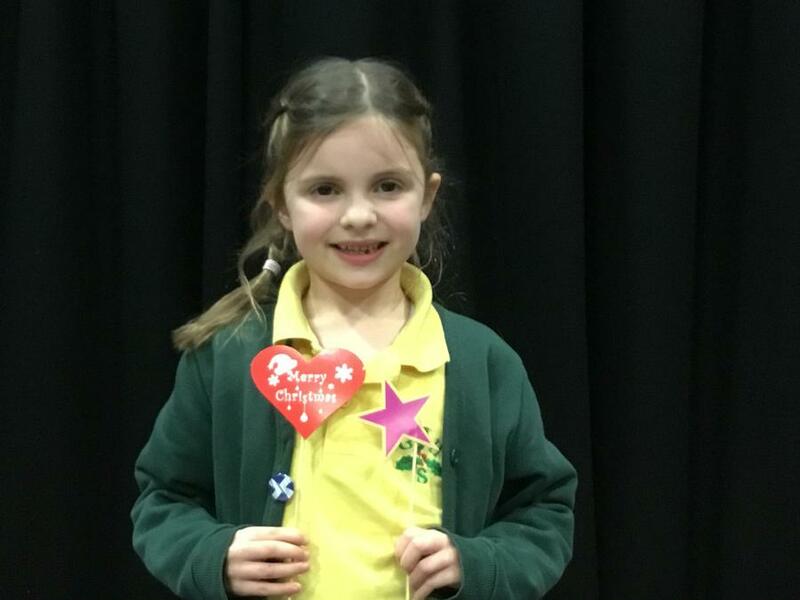 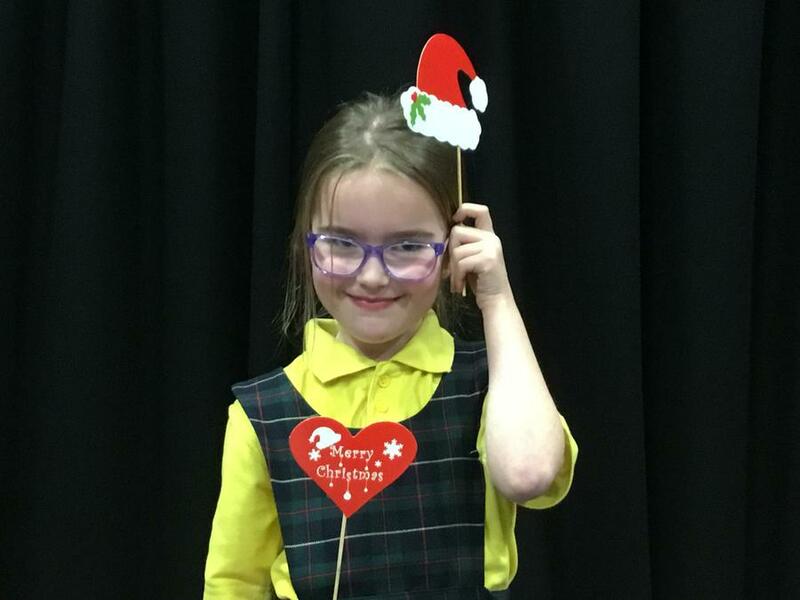 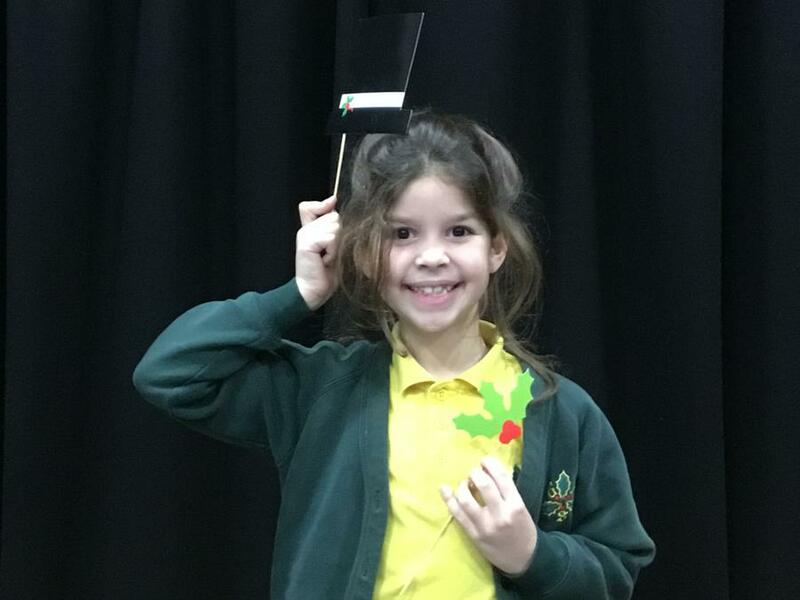 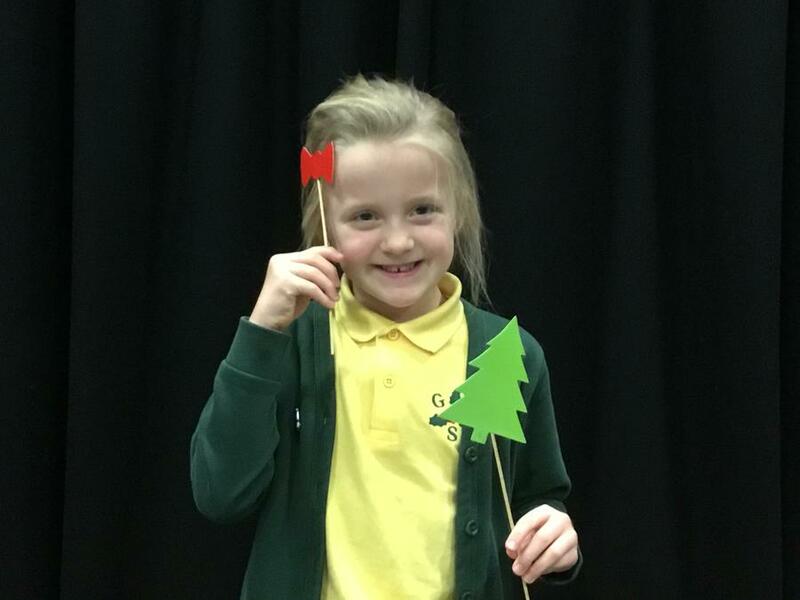 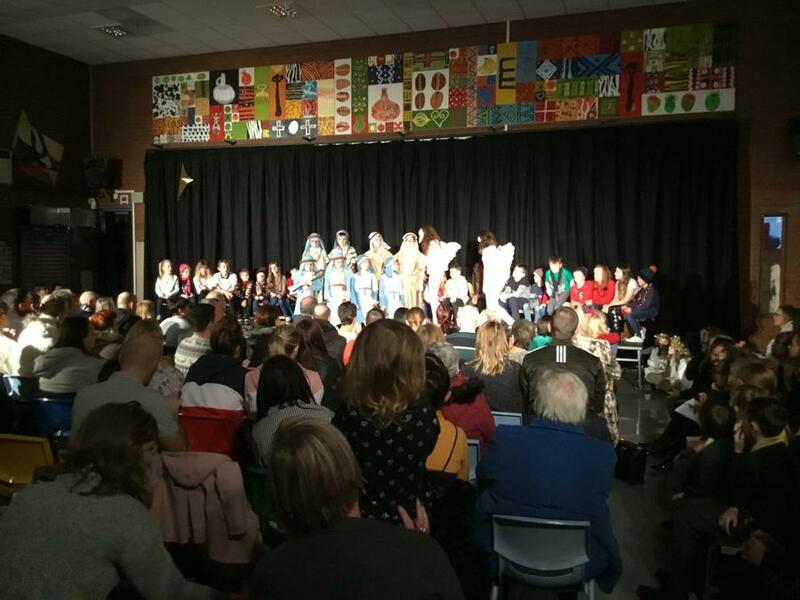 Monday 17th and Wednesday 19th December 2018 - The Little Angel Finds Her Wings! 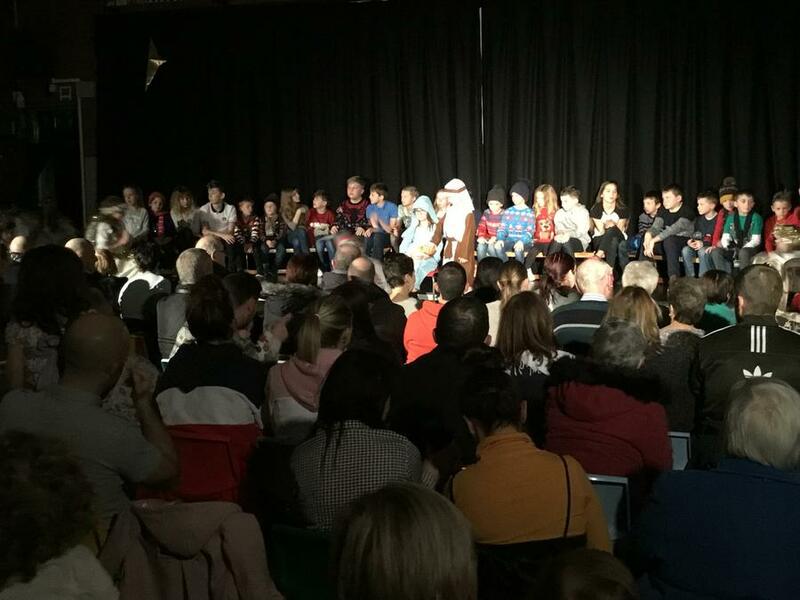 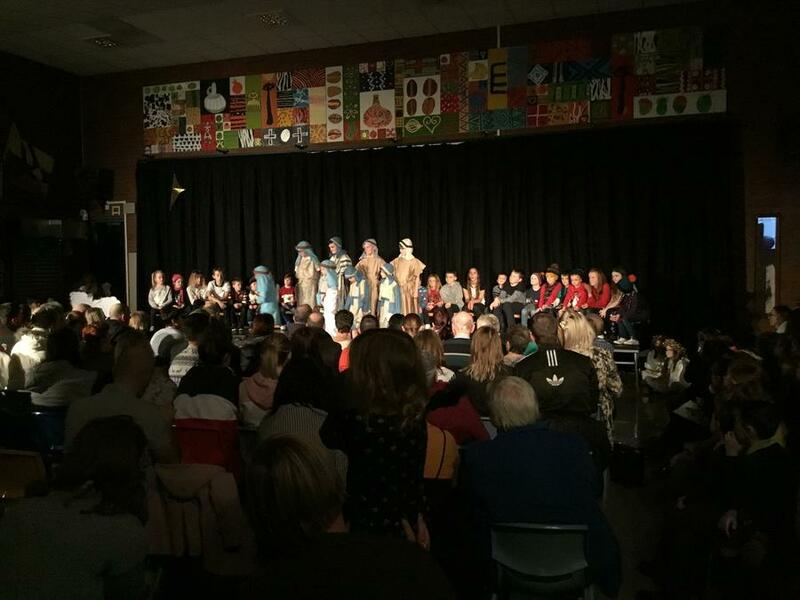 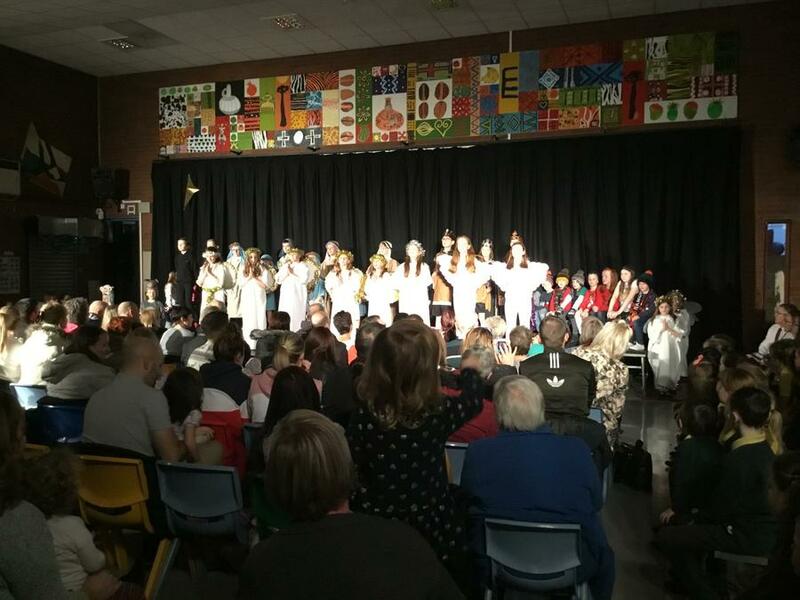 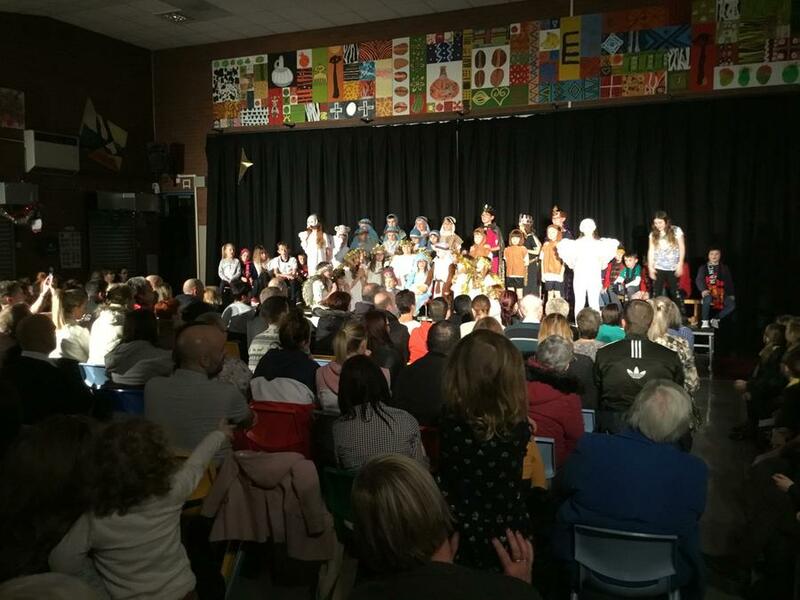 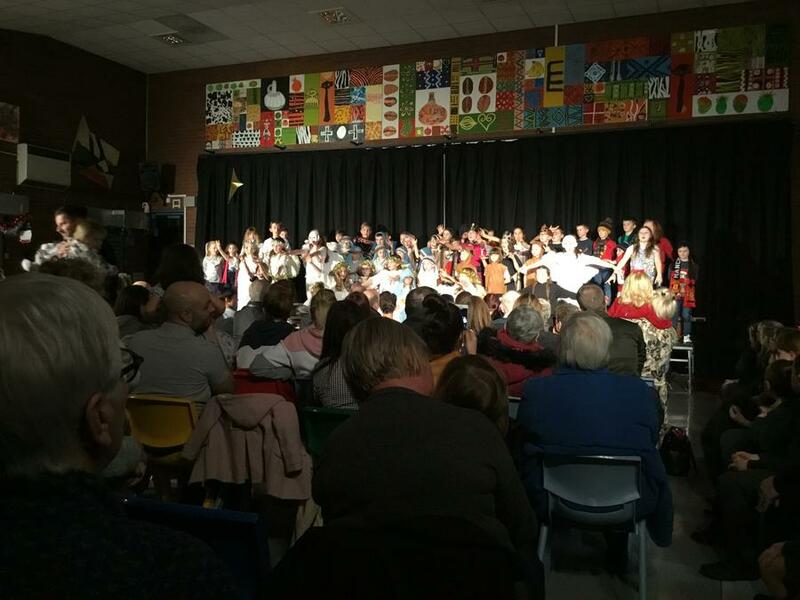 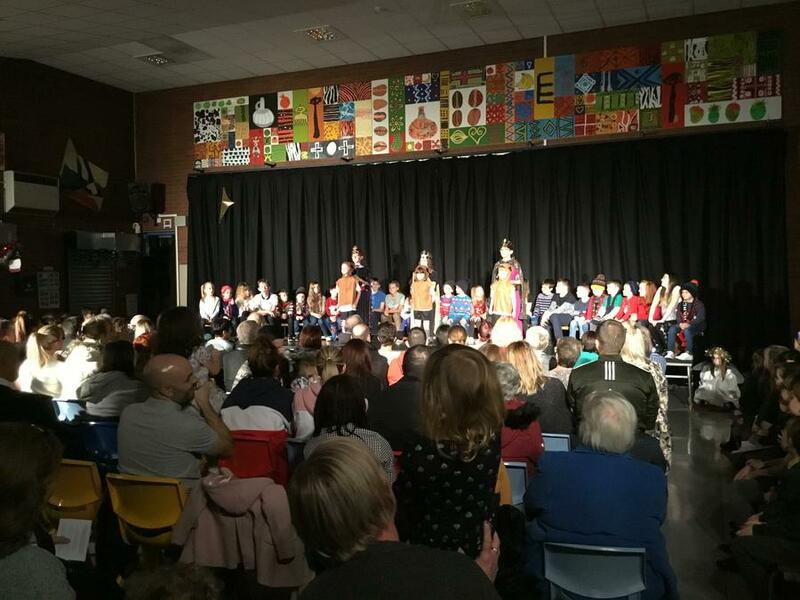 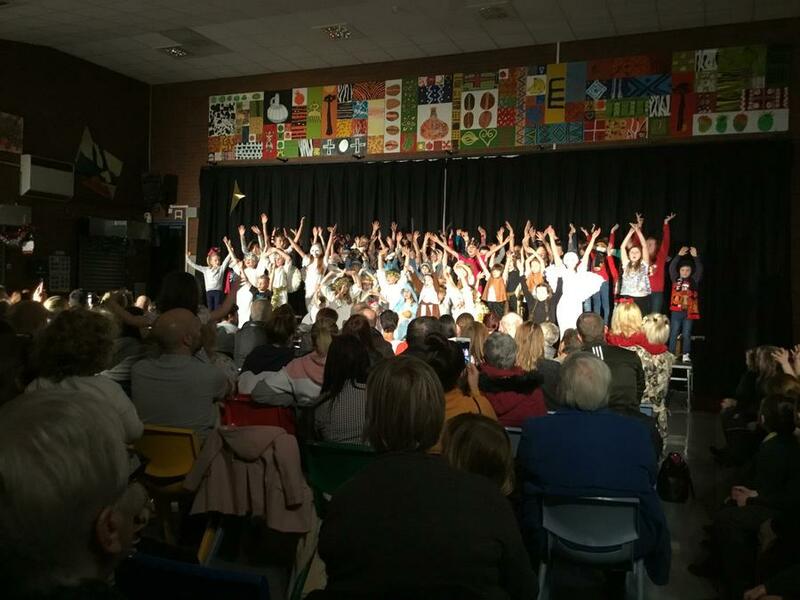 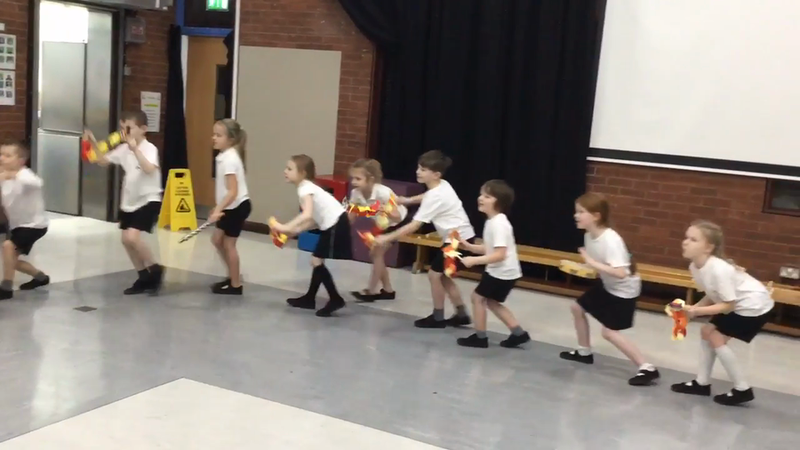 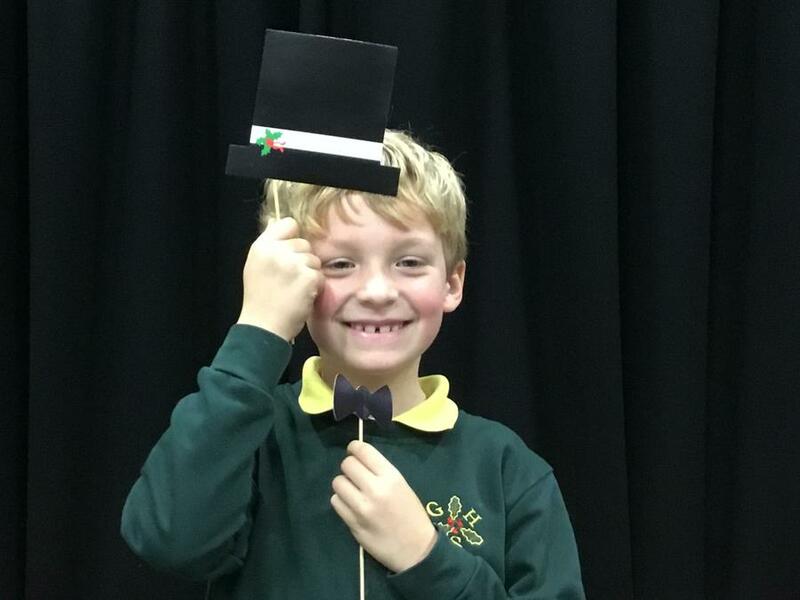 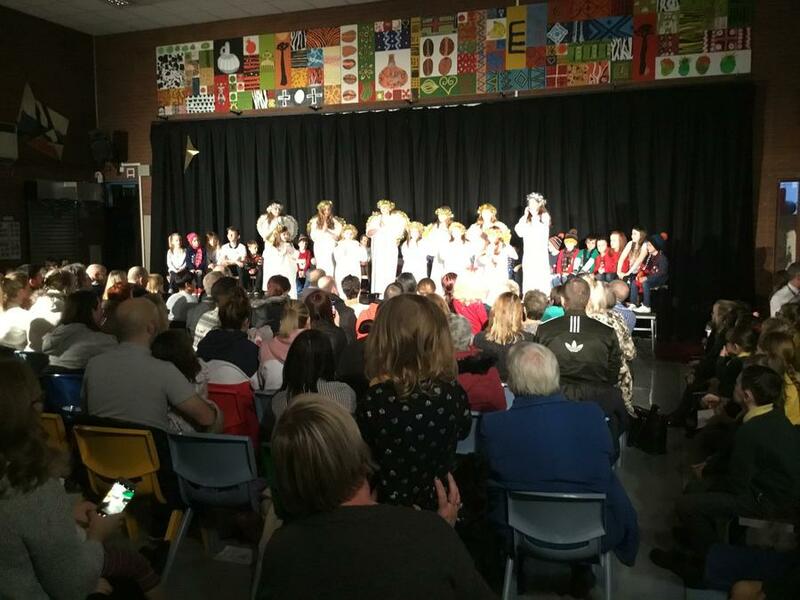 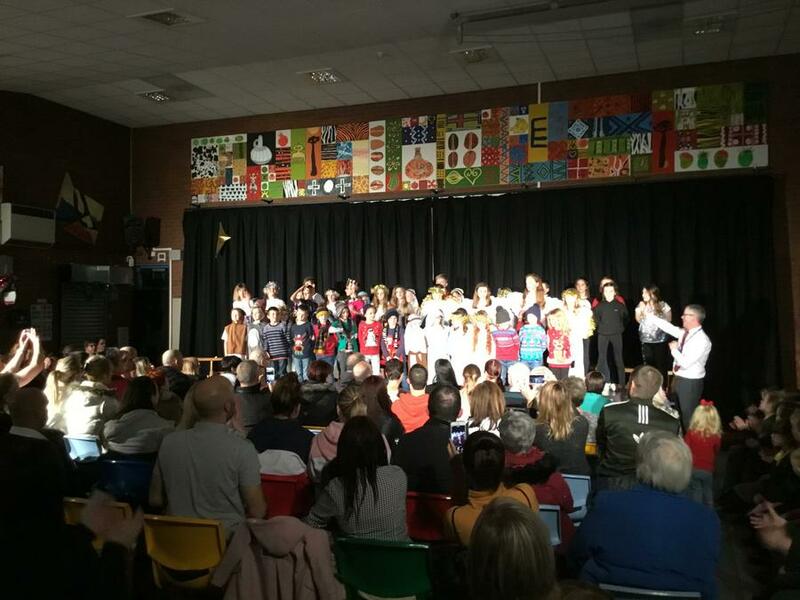 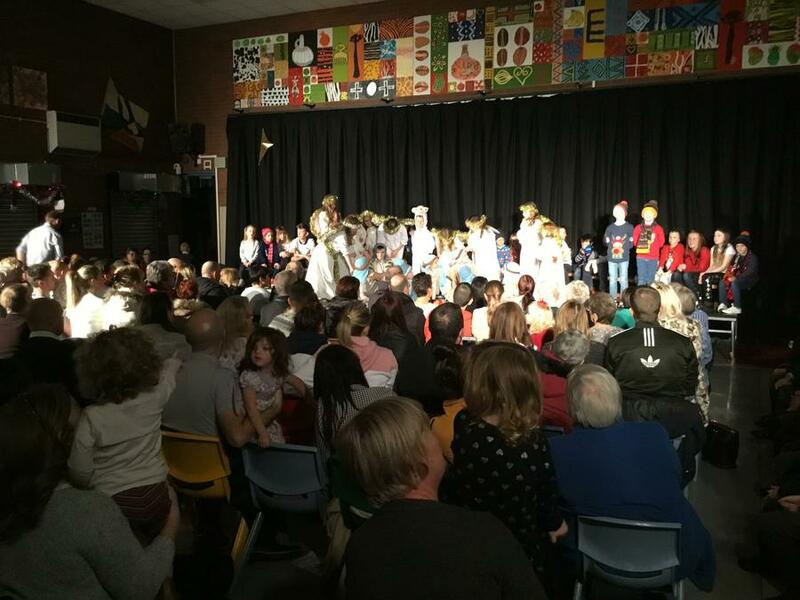 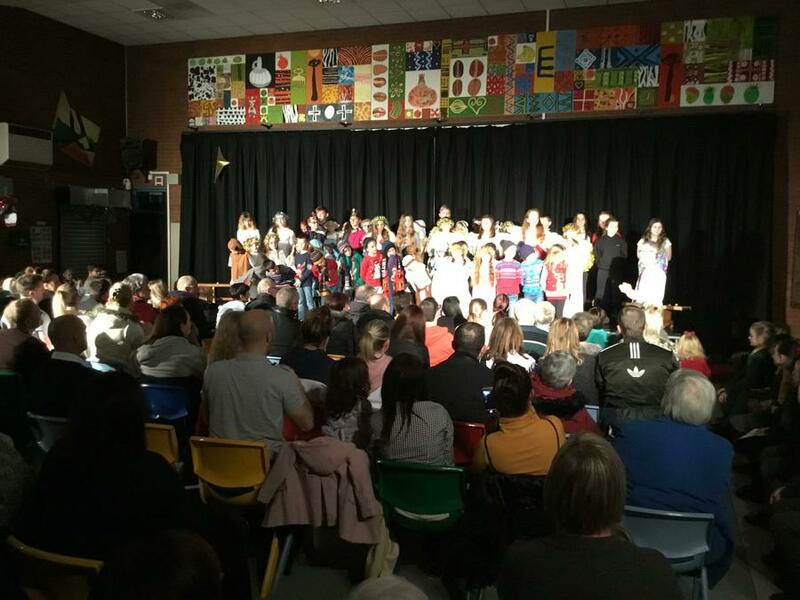 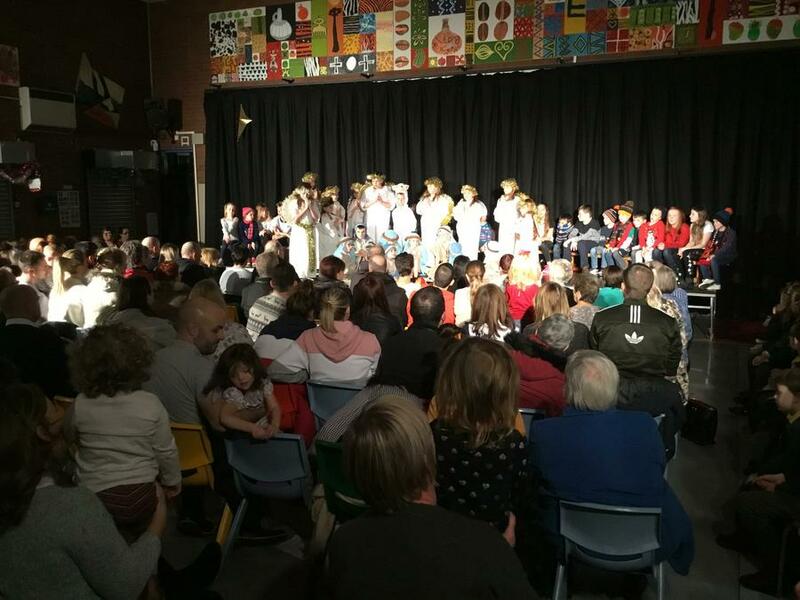 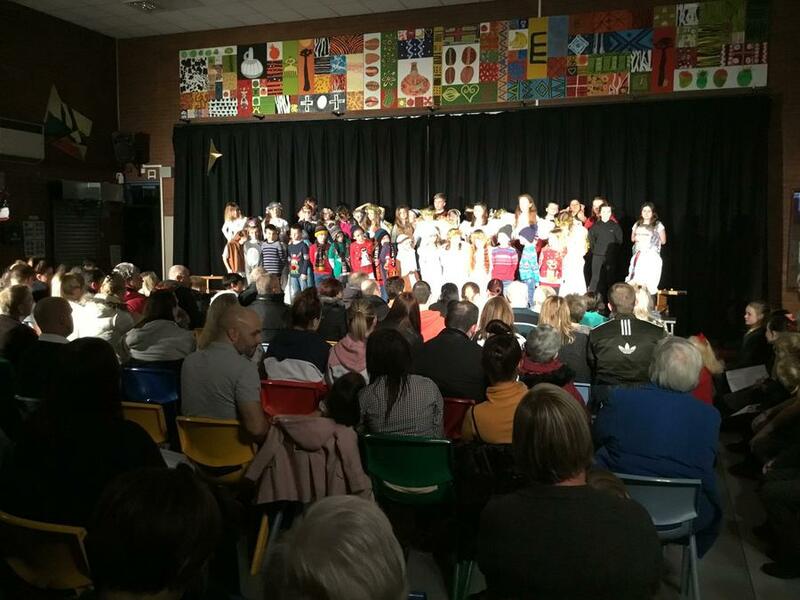 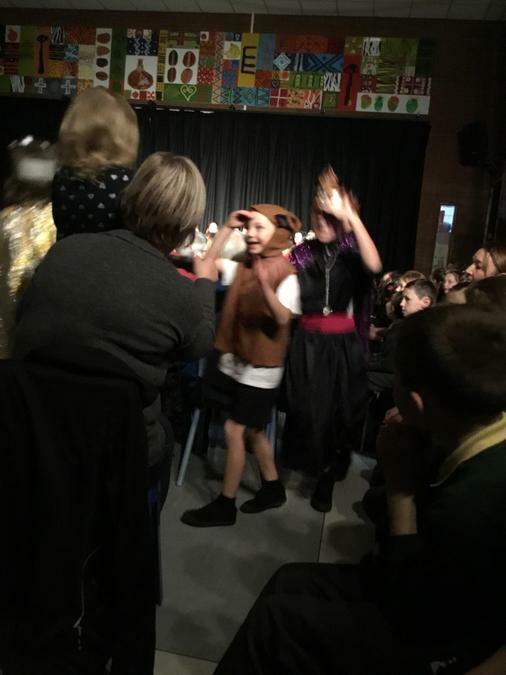 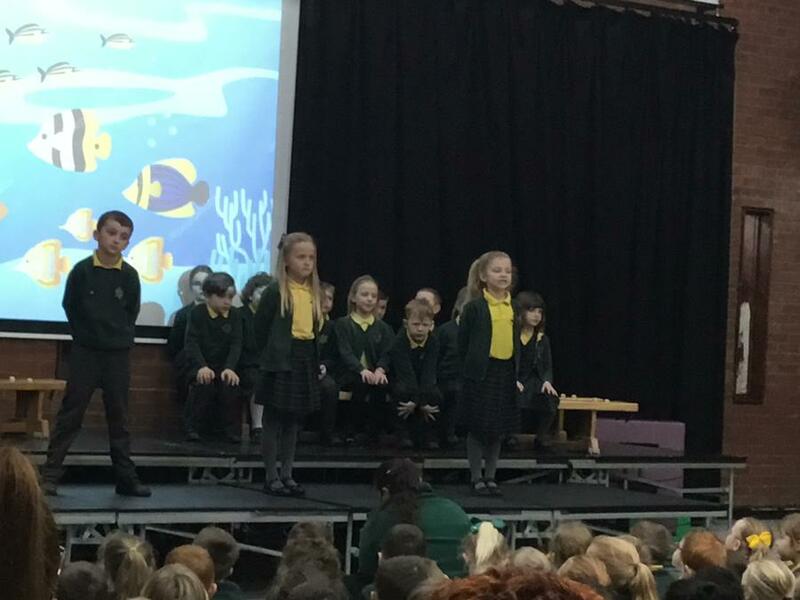 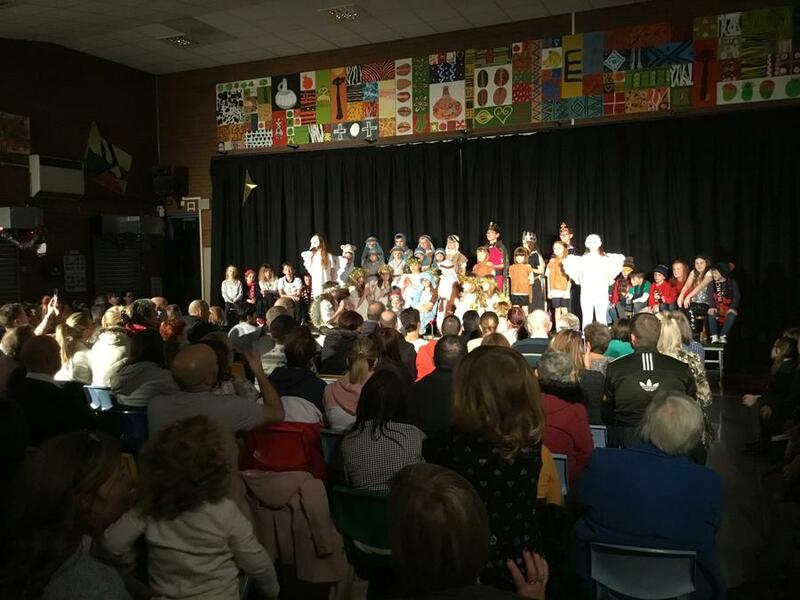 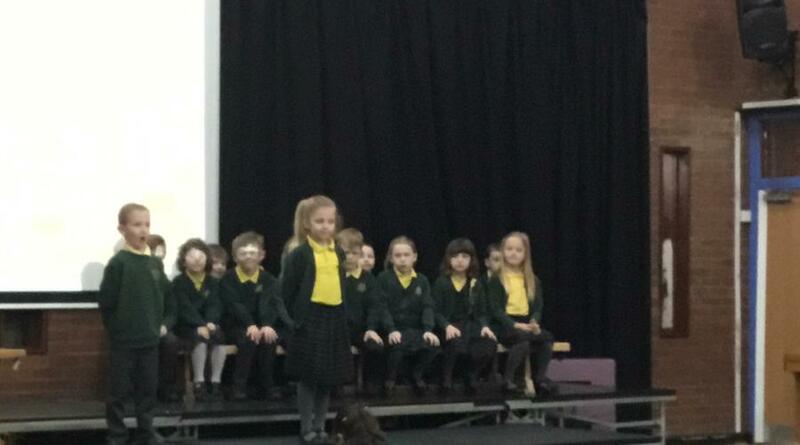 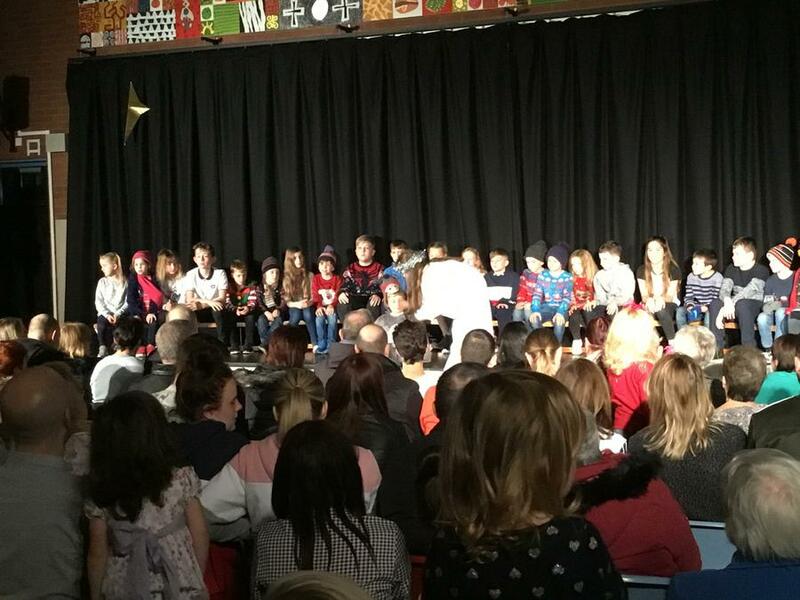 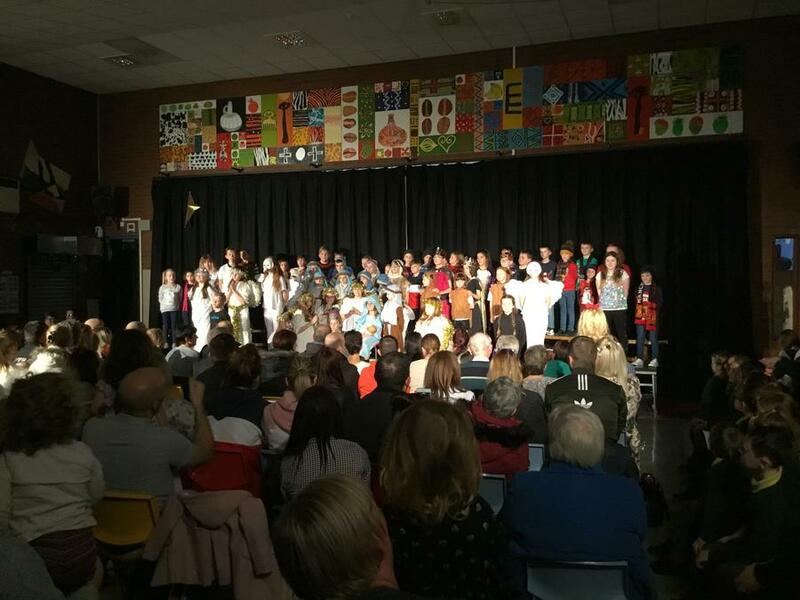 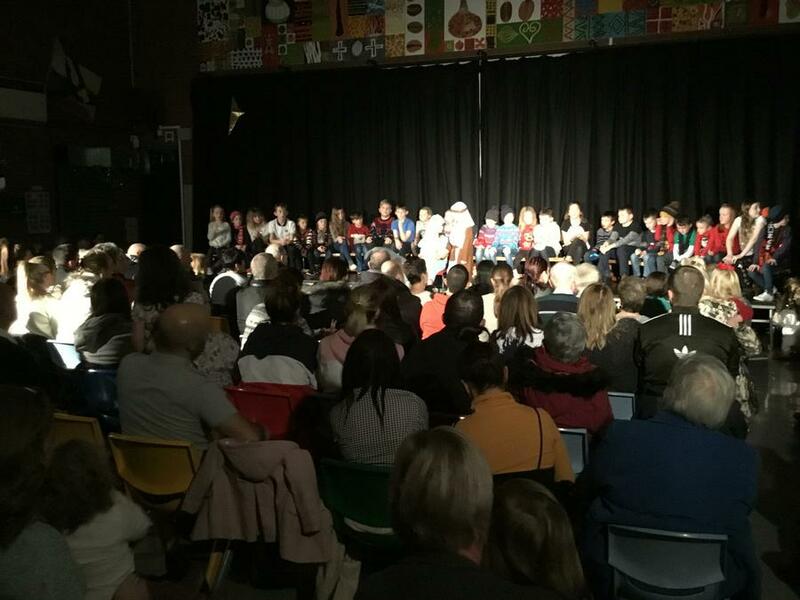 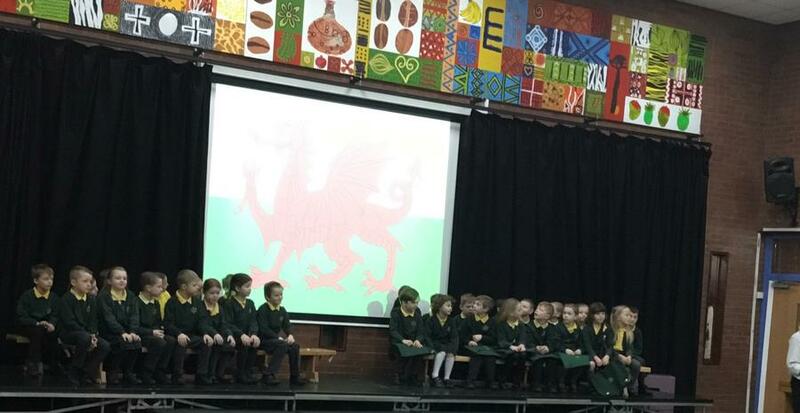 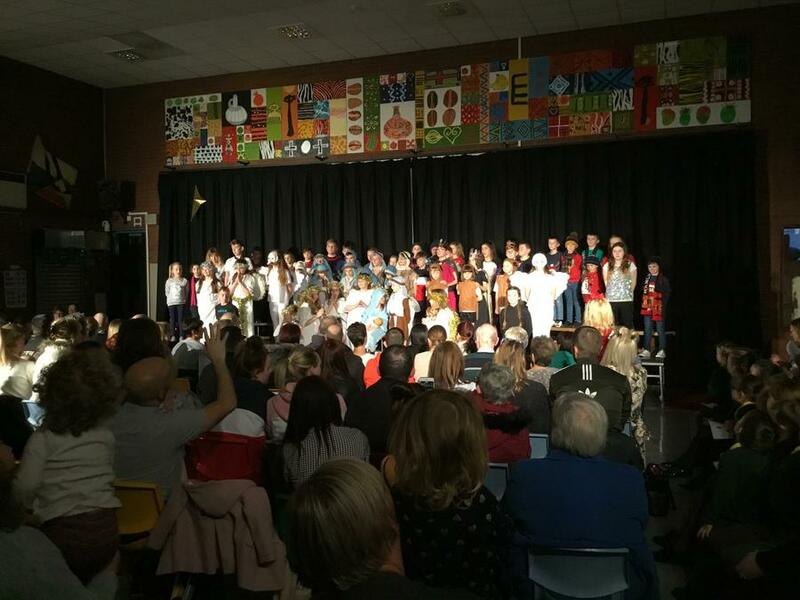 What a fabulous performance from our Y2 and Y6 classes! 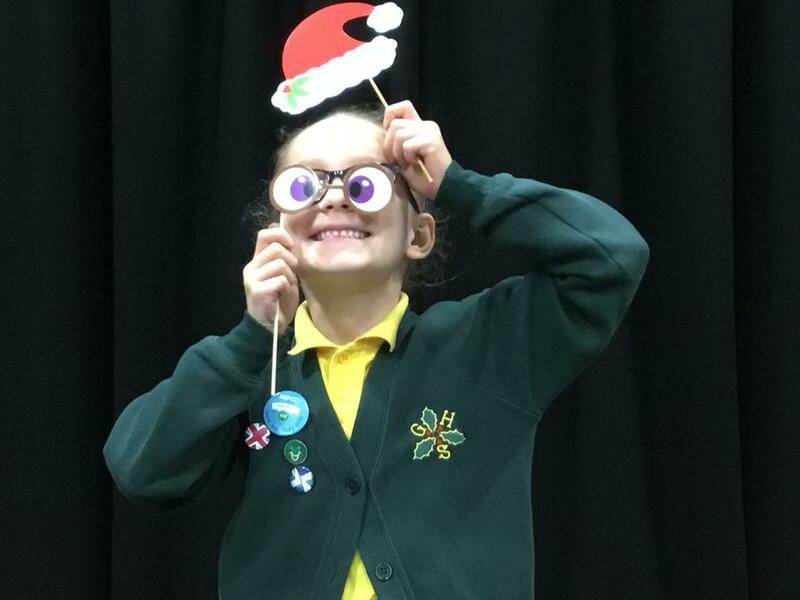 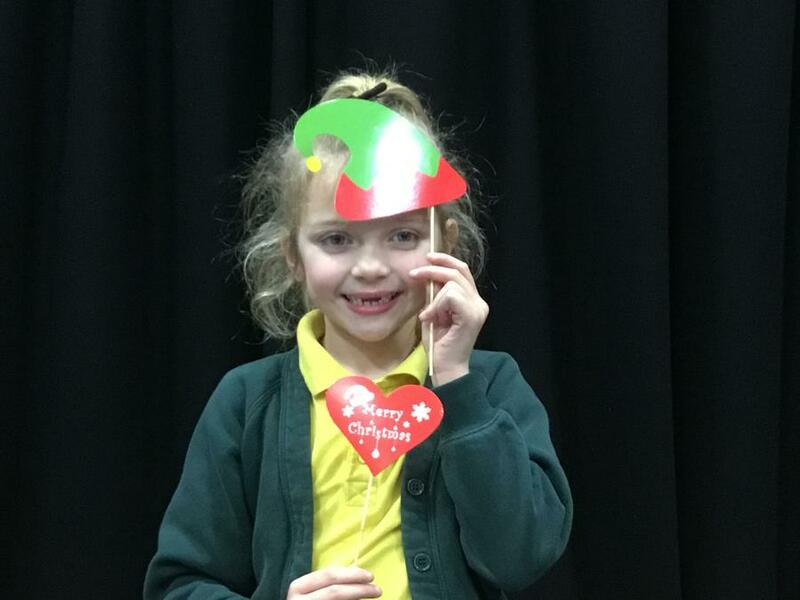 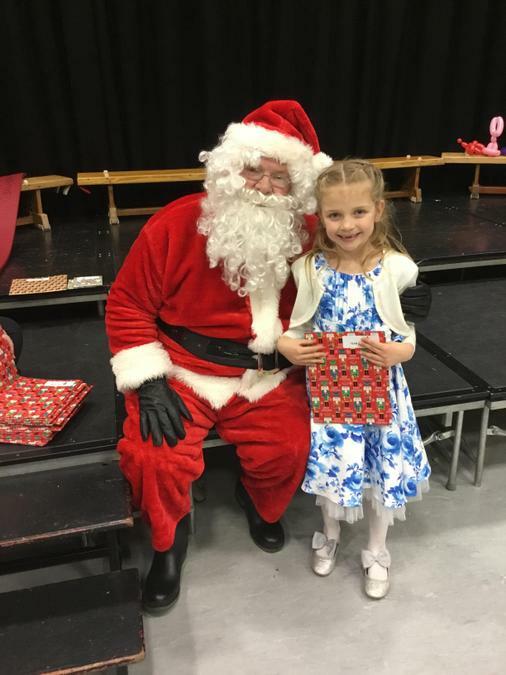 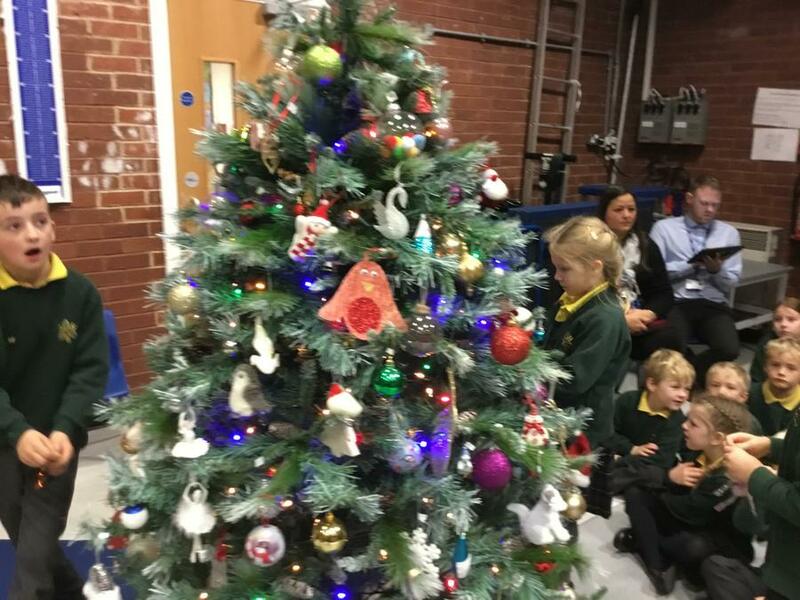 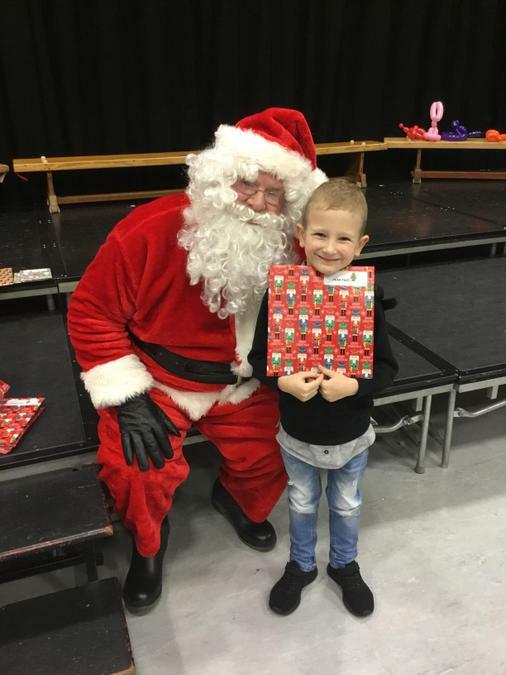 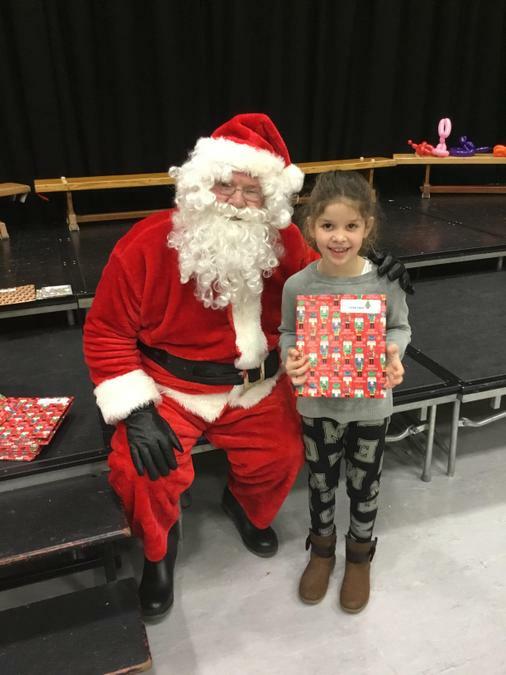 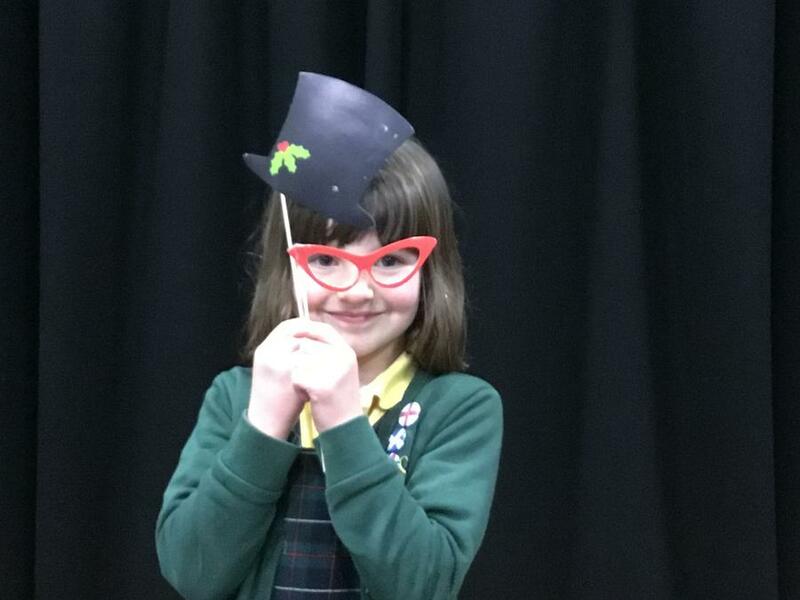 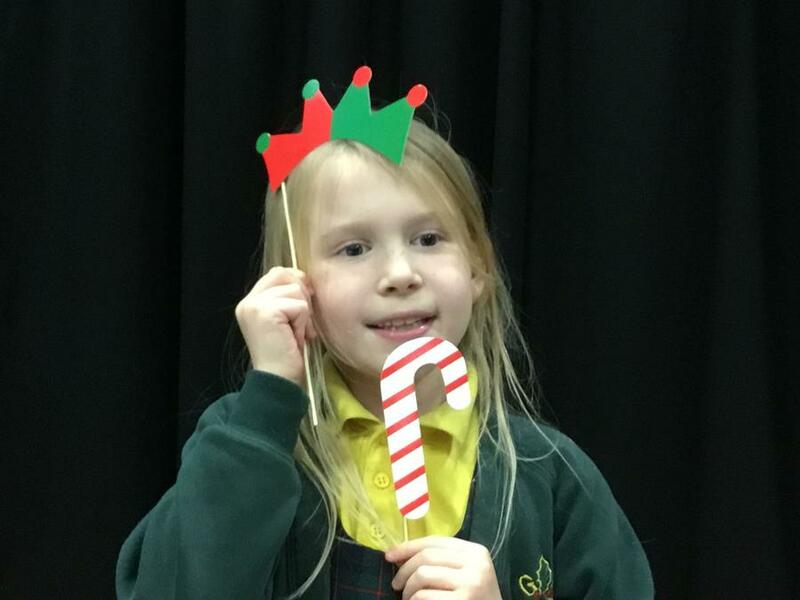 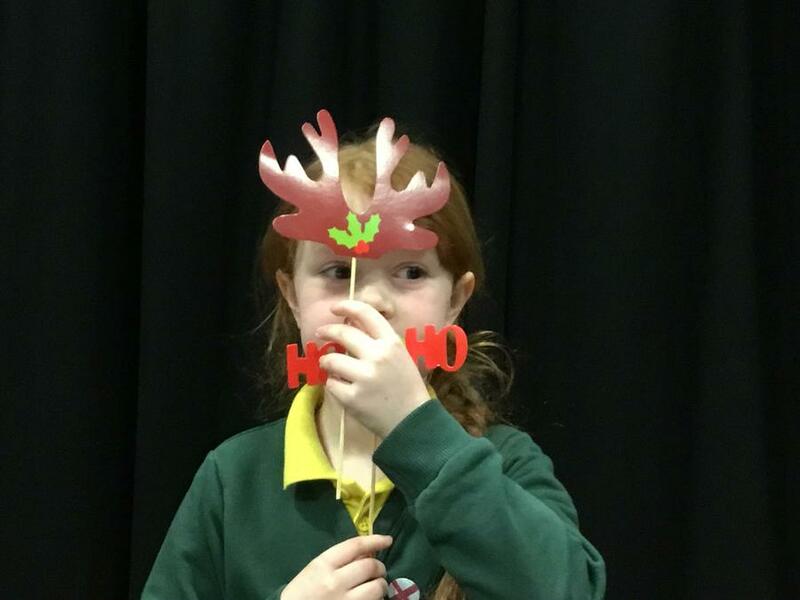 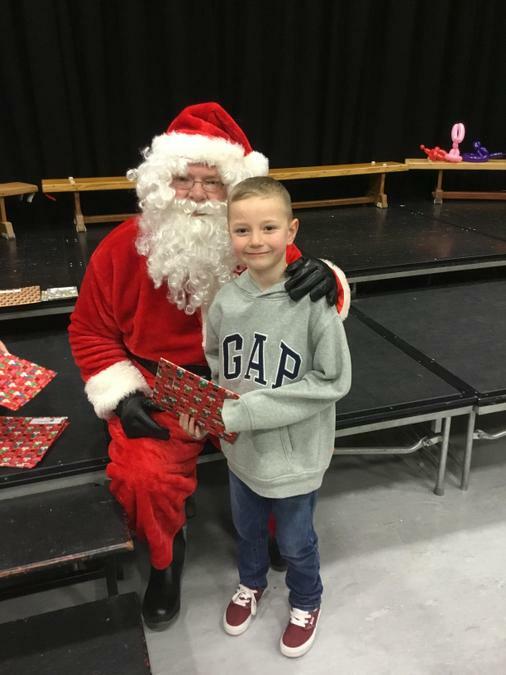 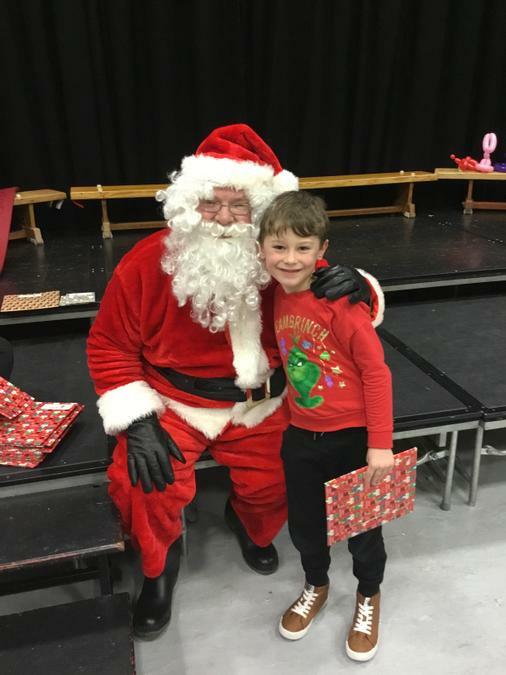 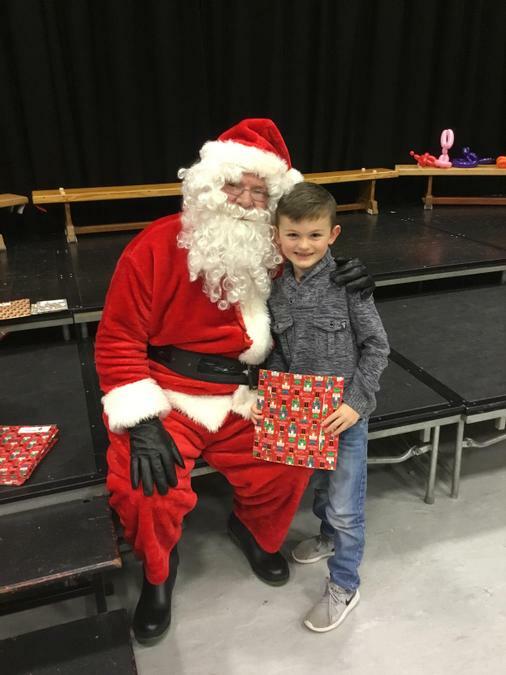 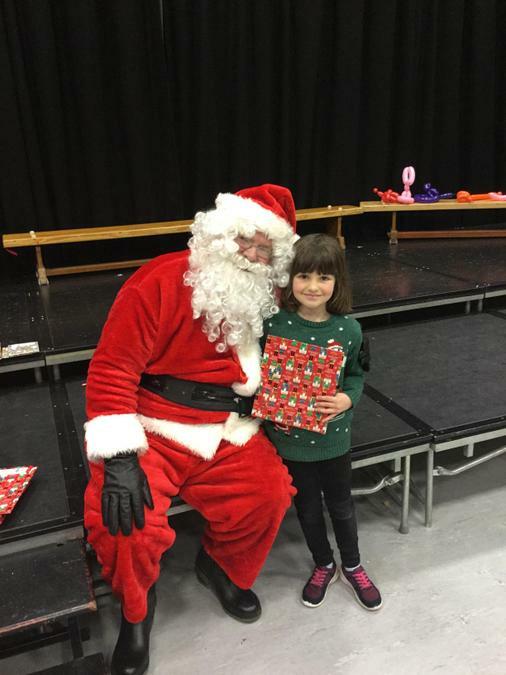 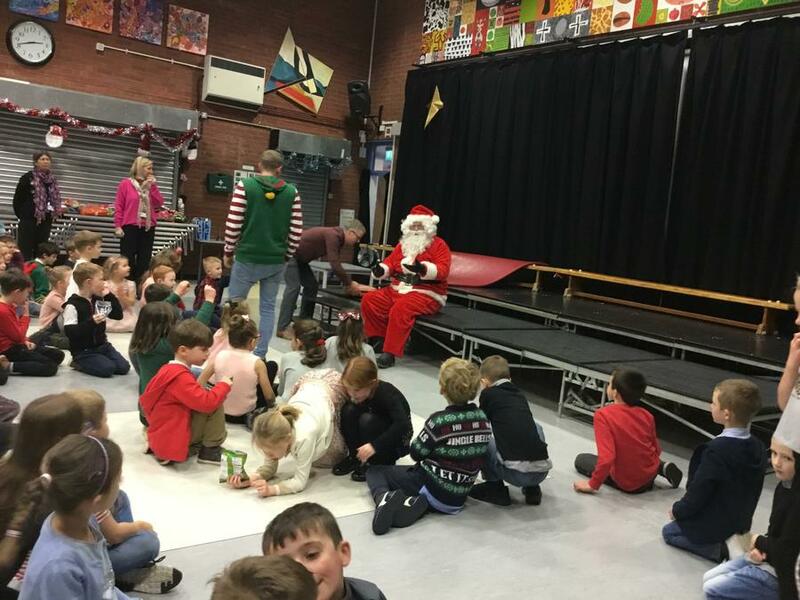 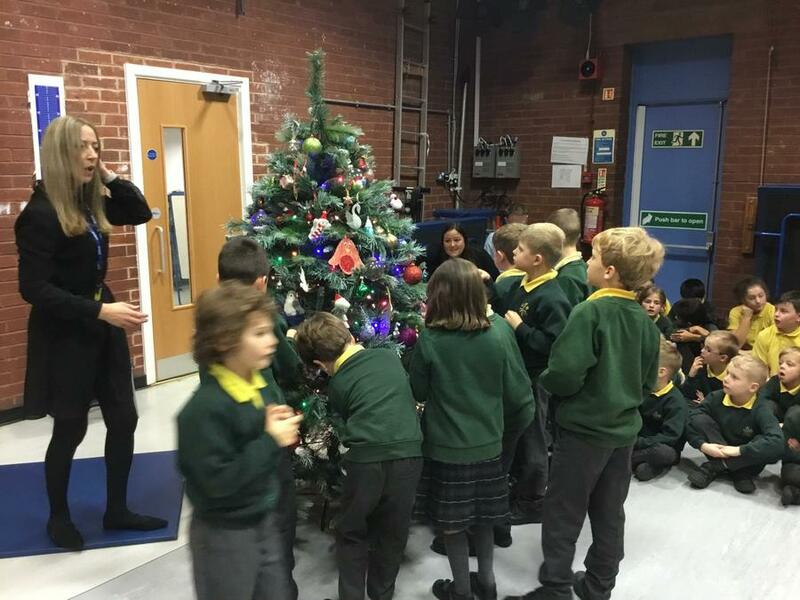 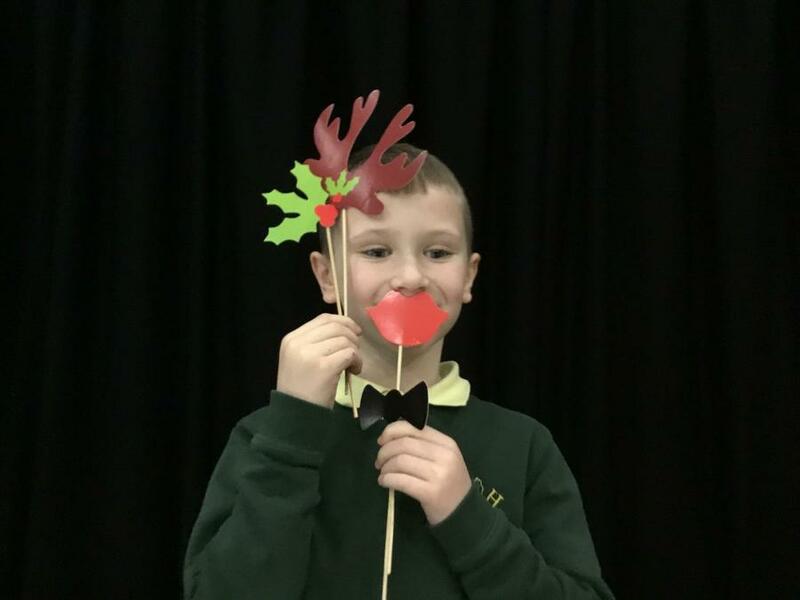 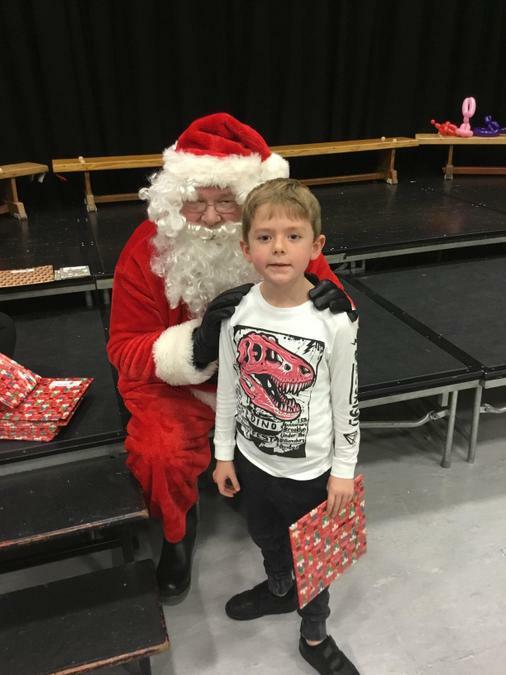 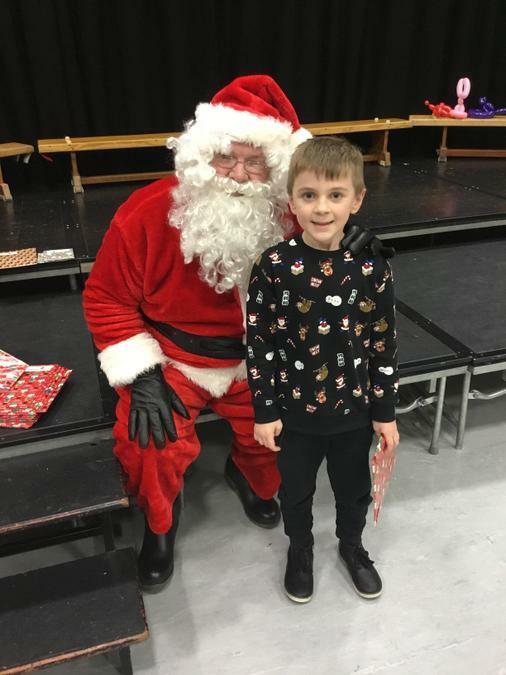 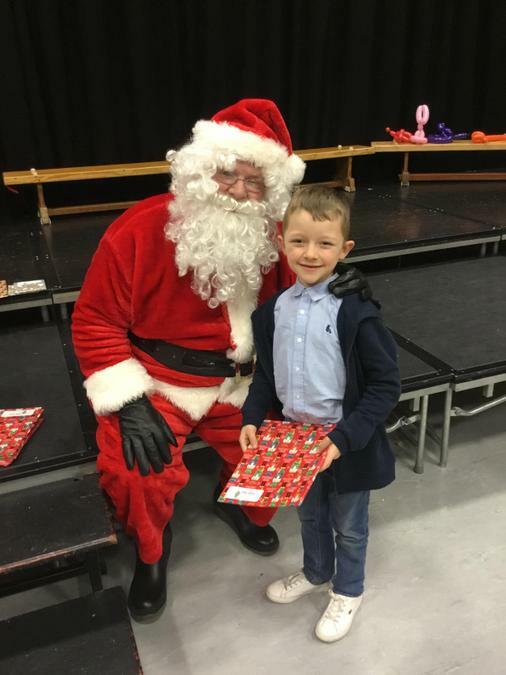 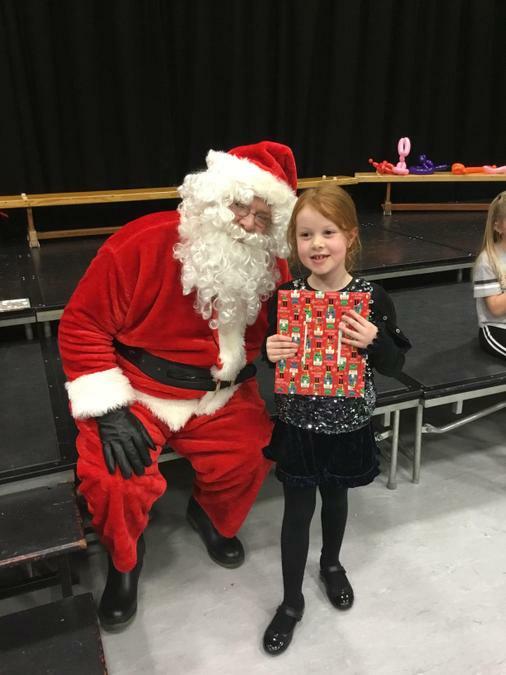 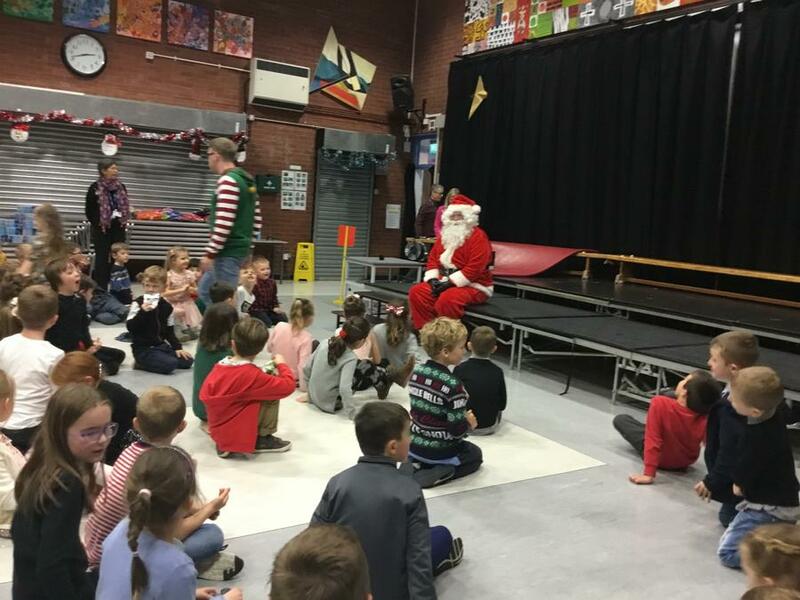 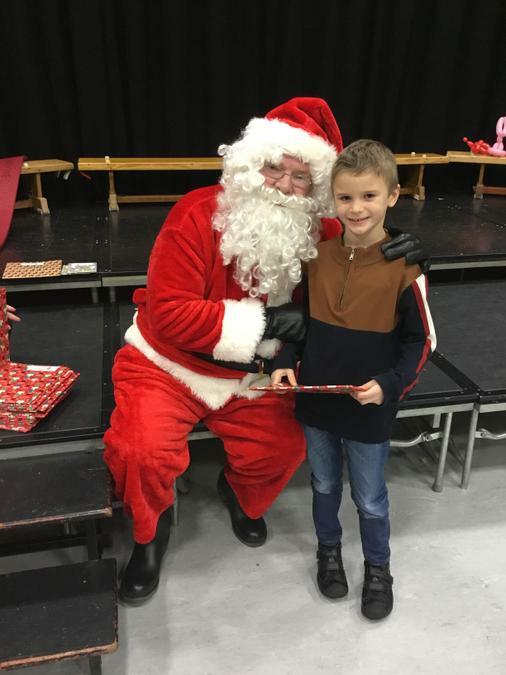 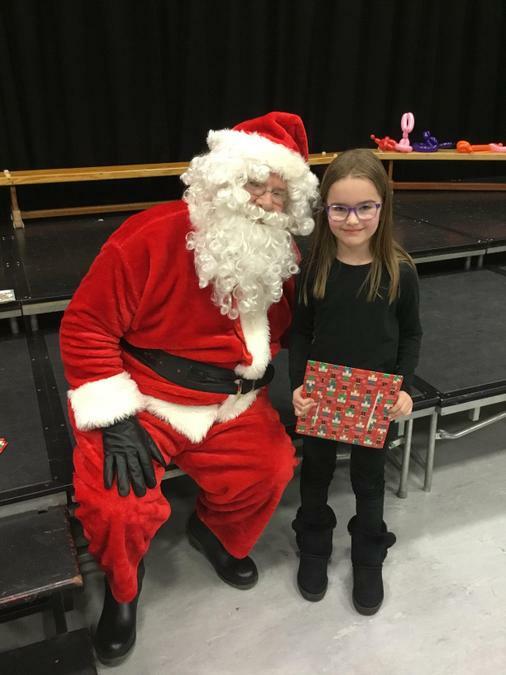 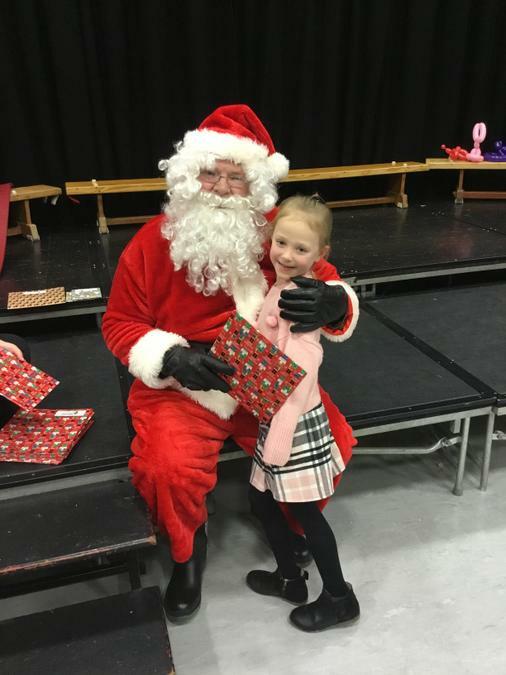 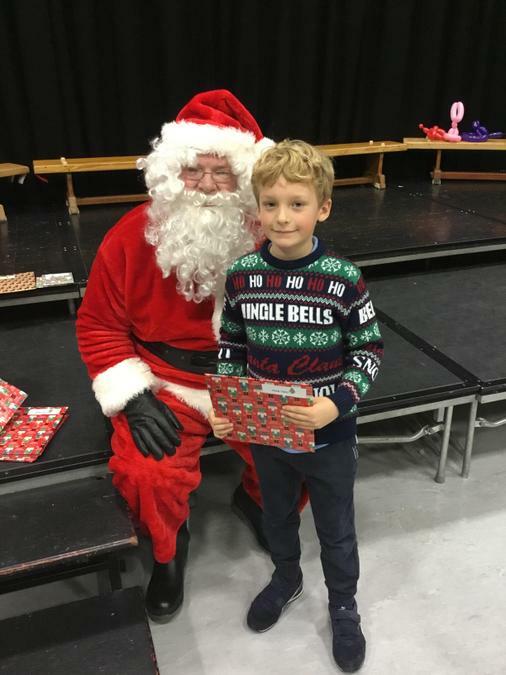 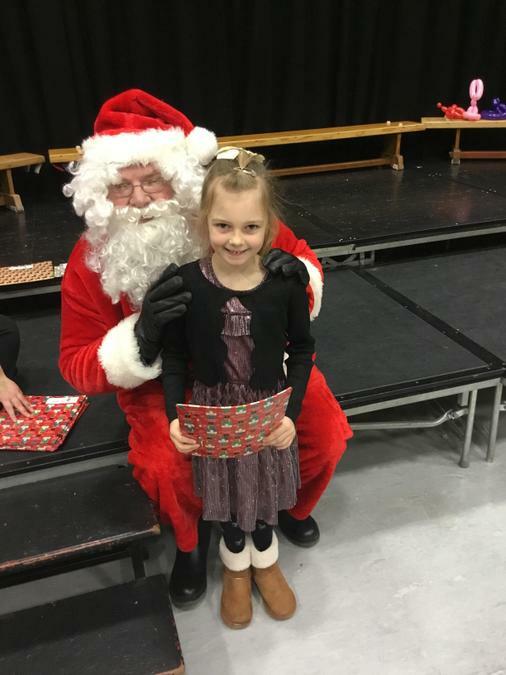 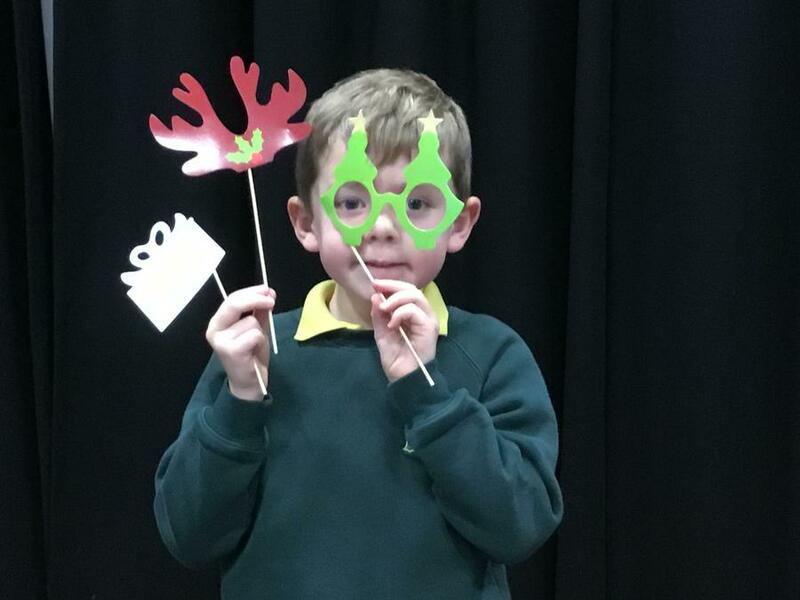 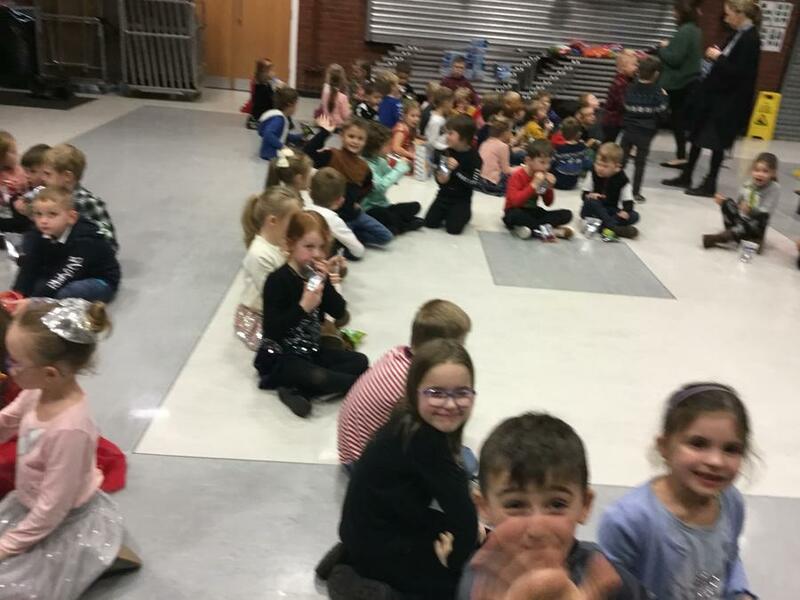 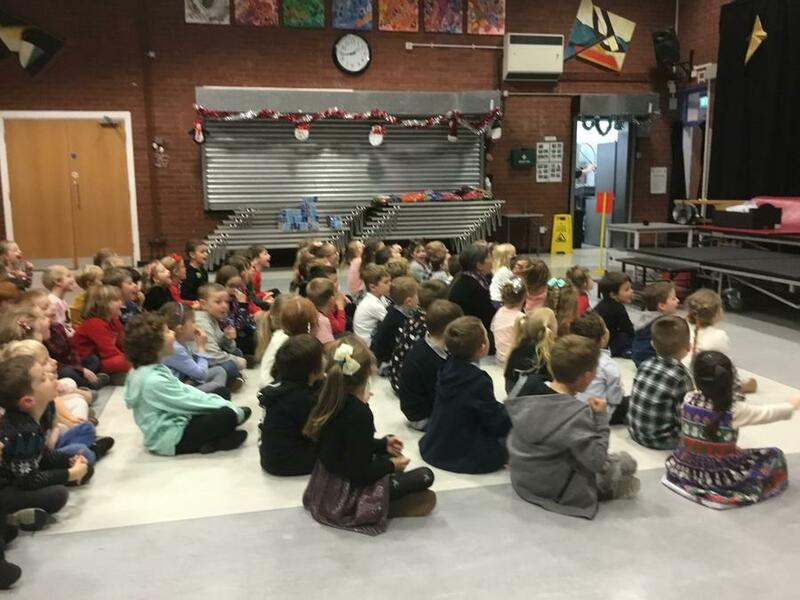 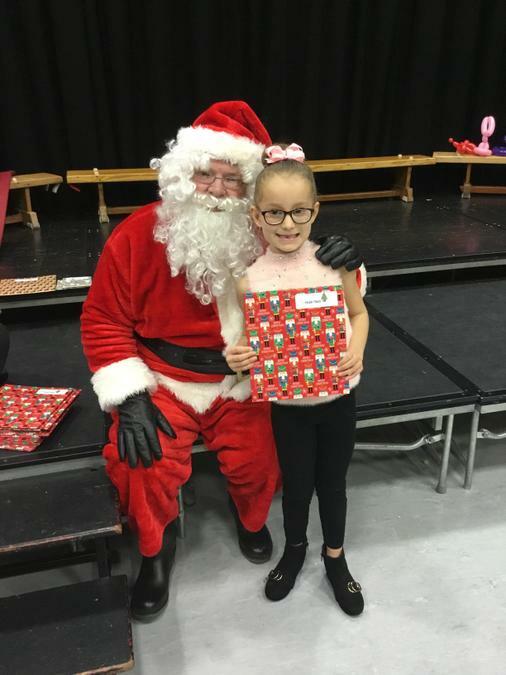 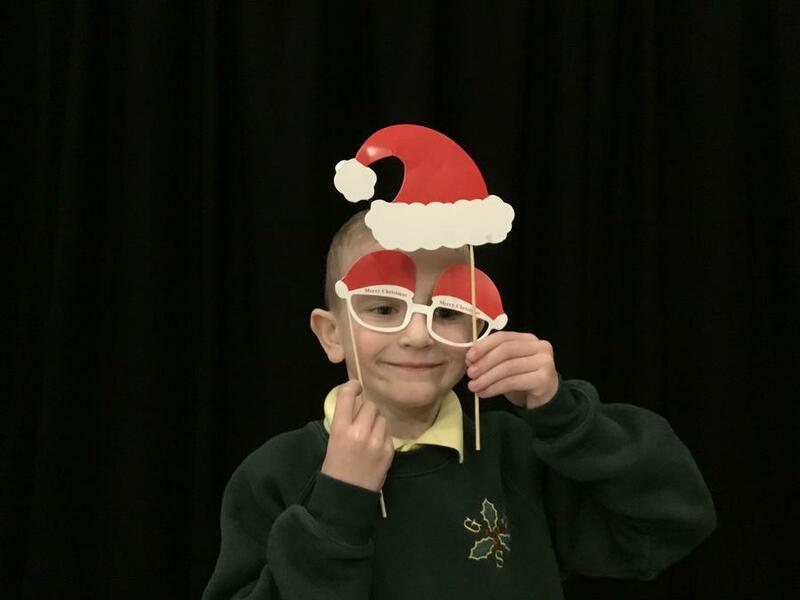 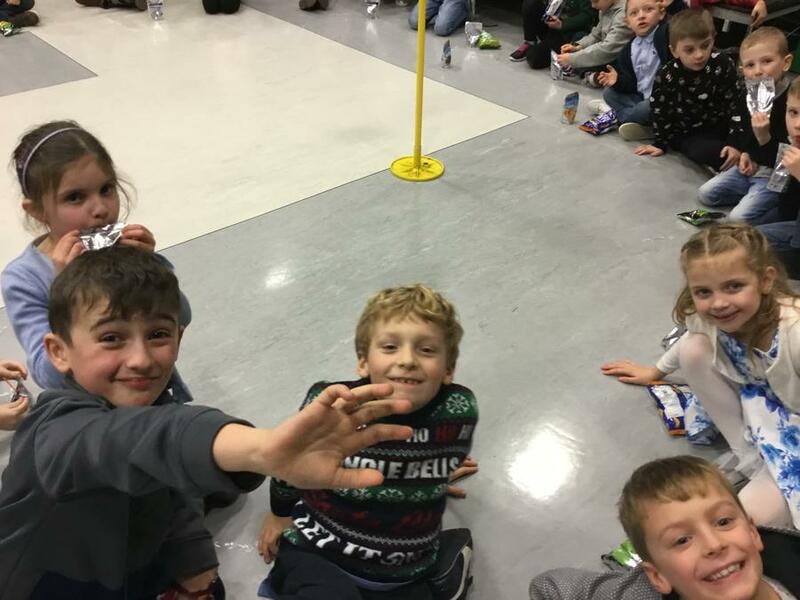 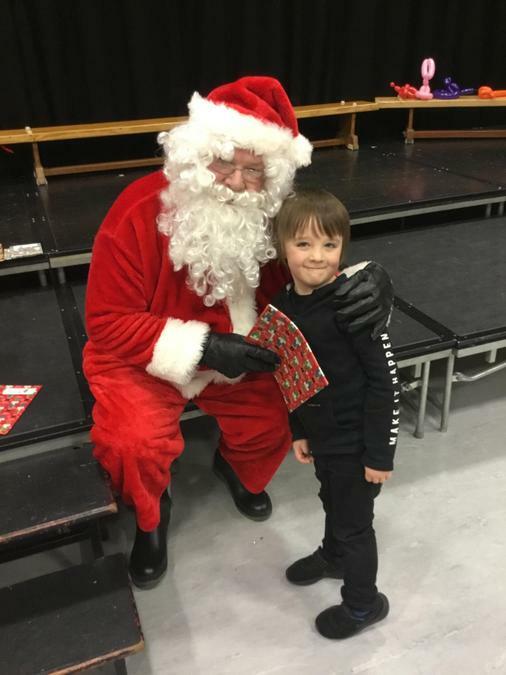 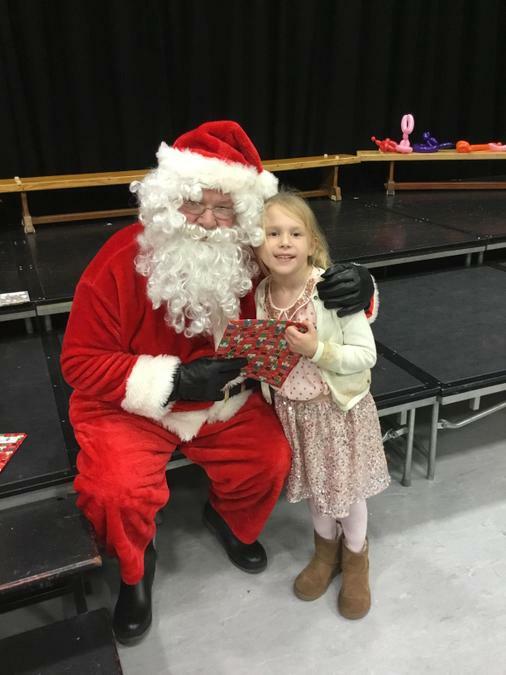 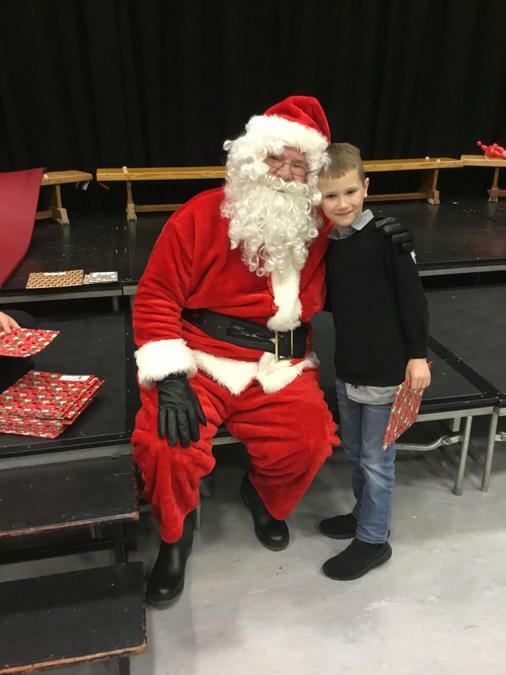 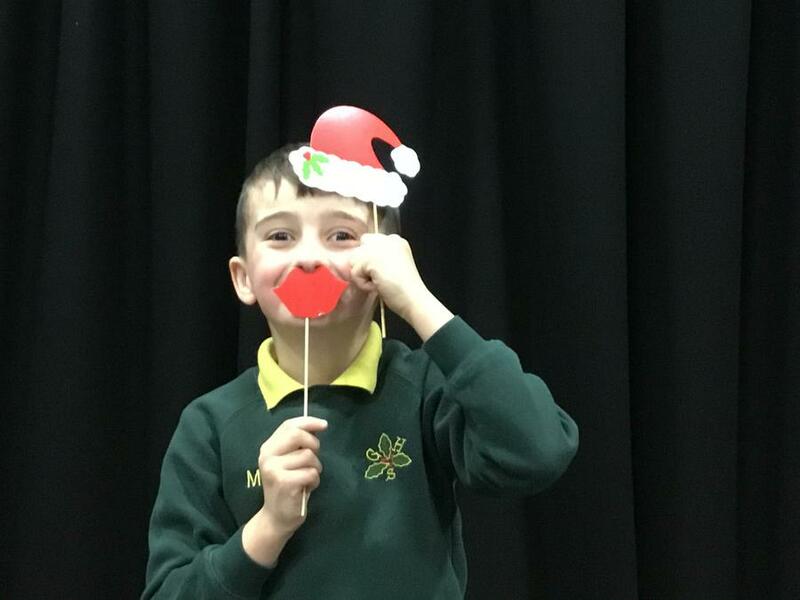 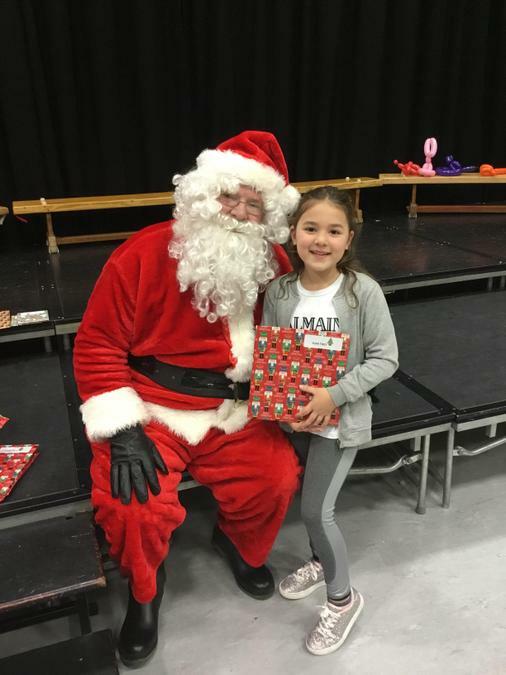 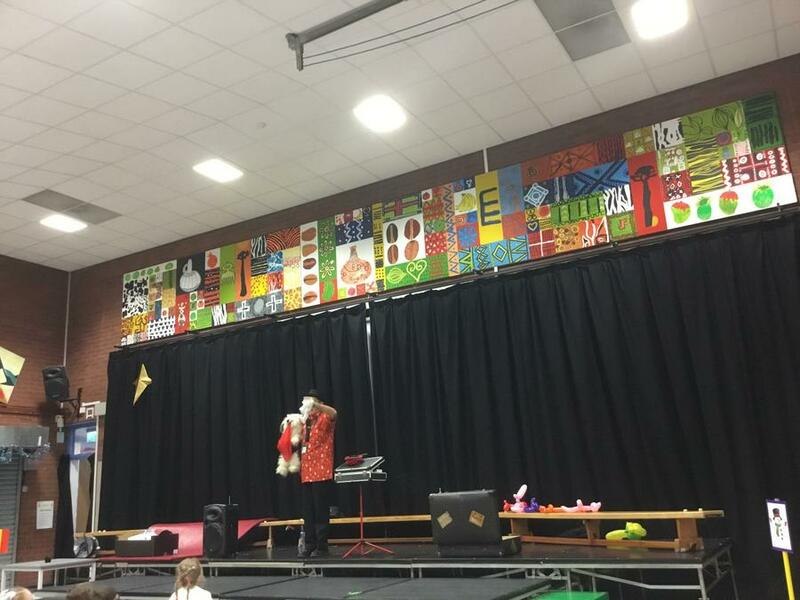 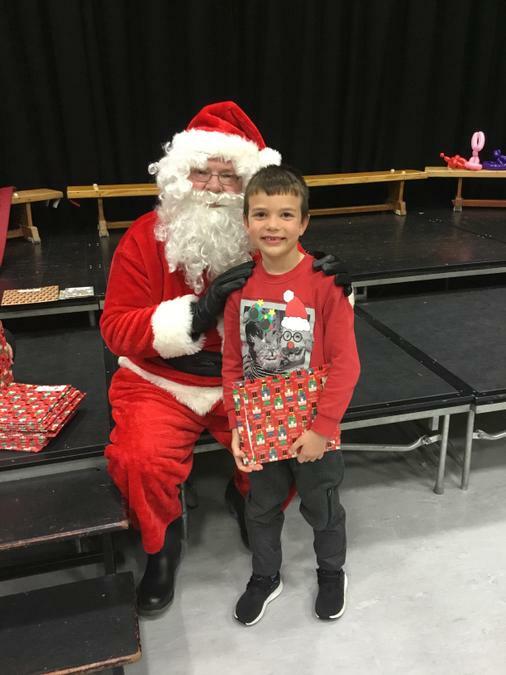 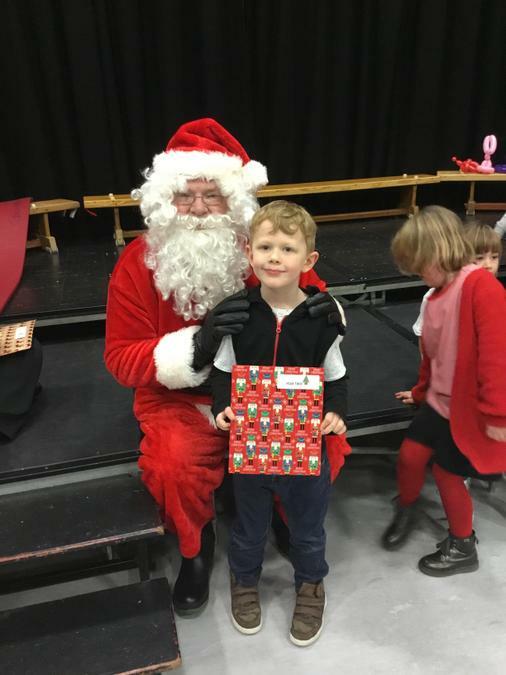 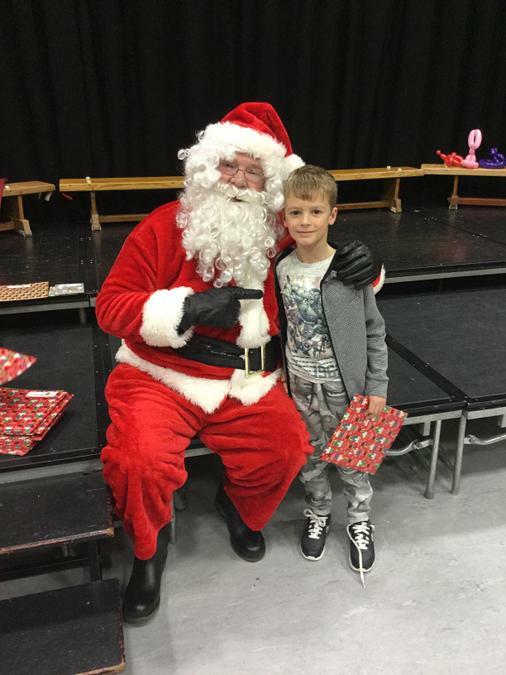 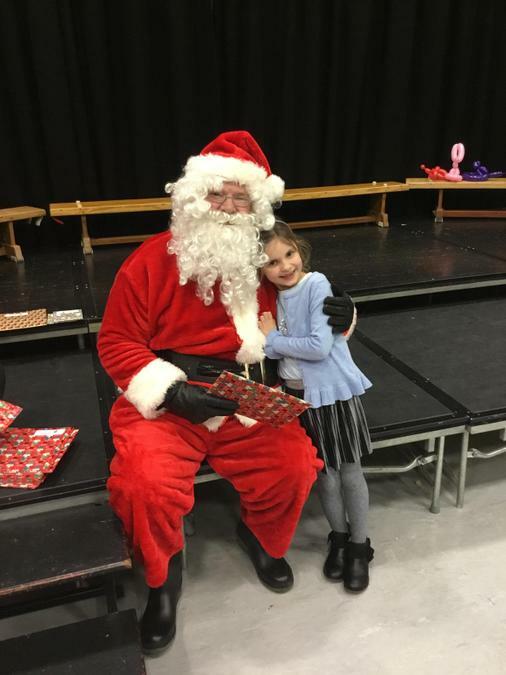 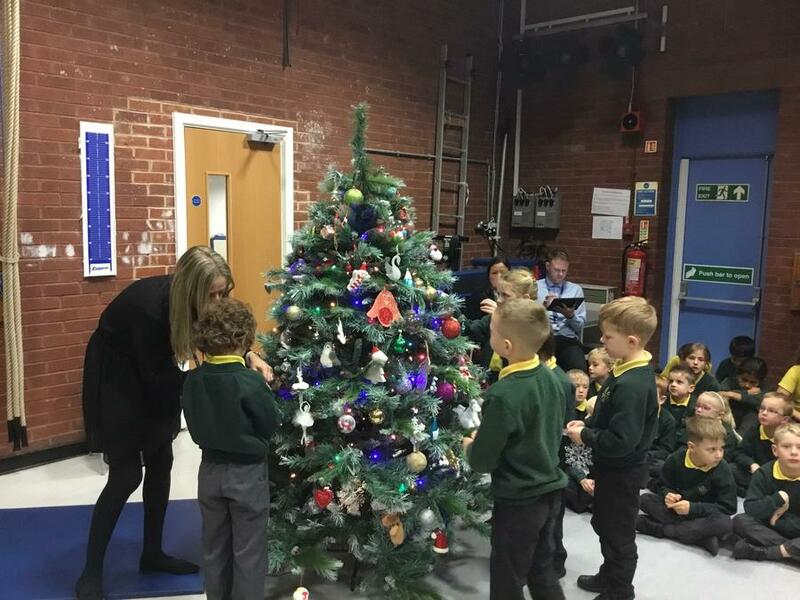 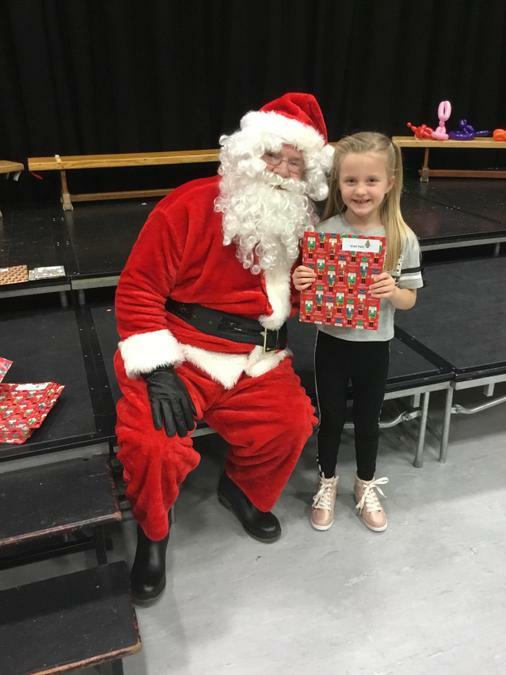 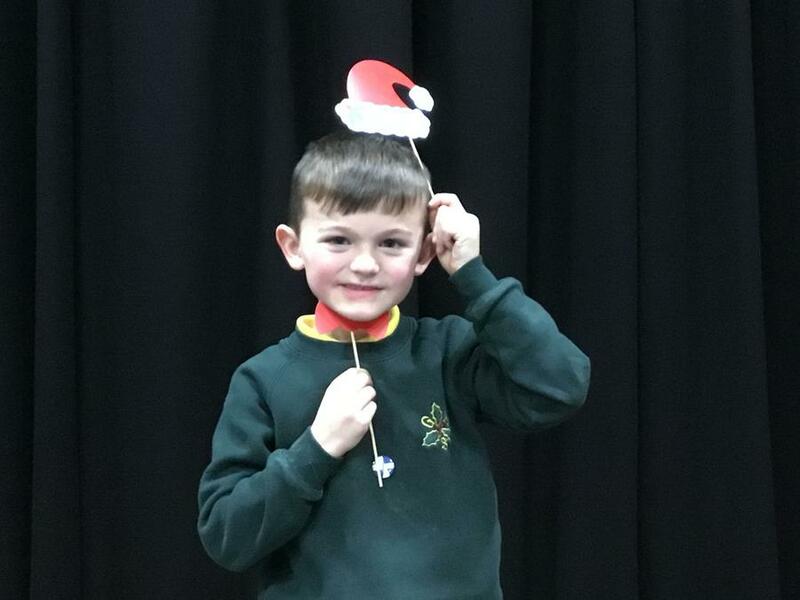 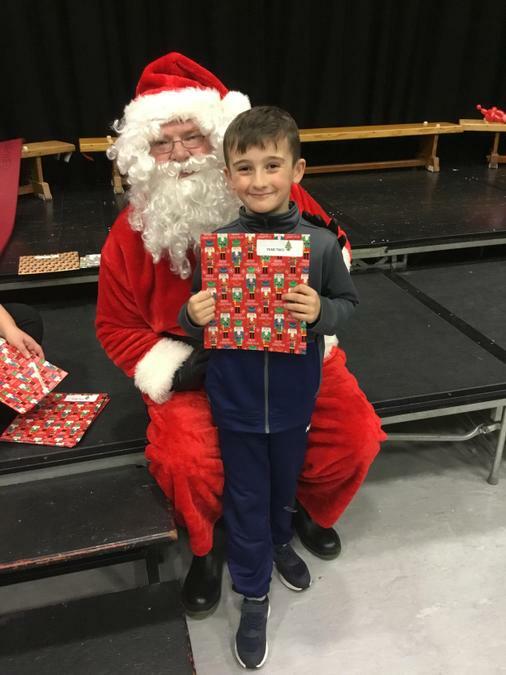 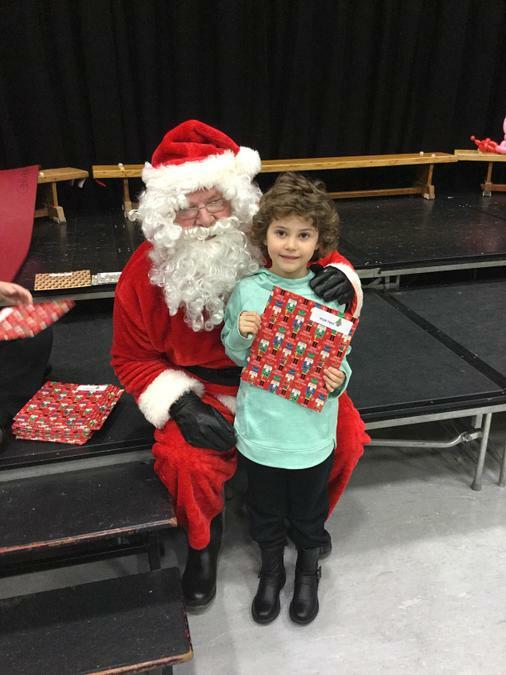 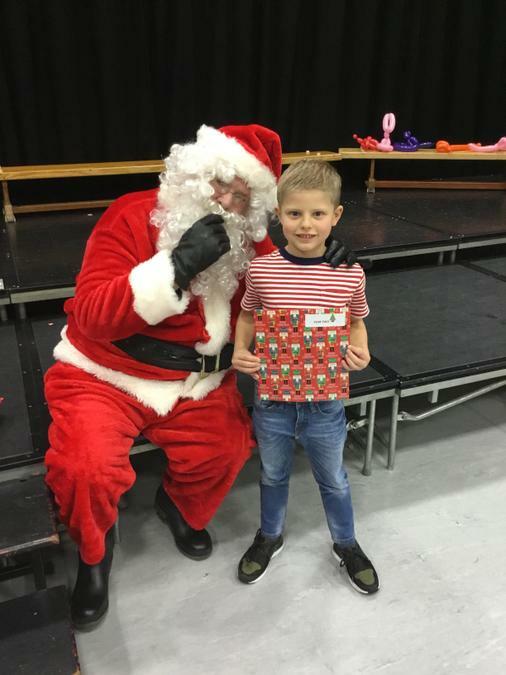 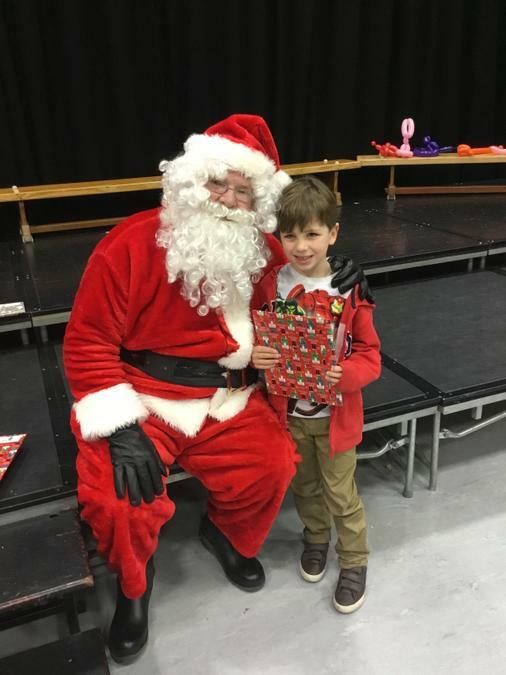 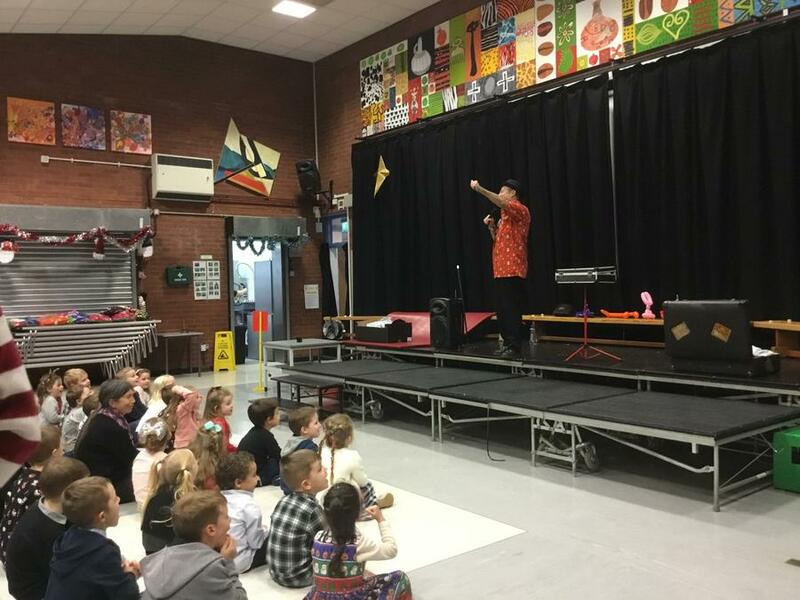 Tuesday 18th December 2018 - KS1 Christmas party and a visit from Santa! 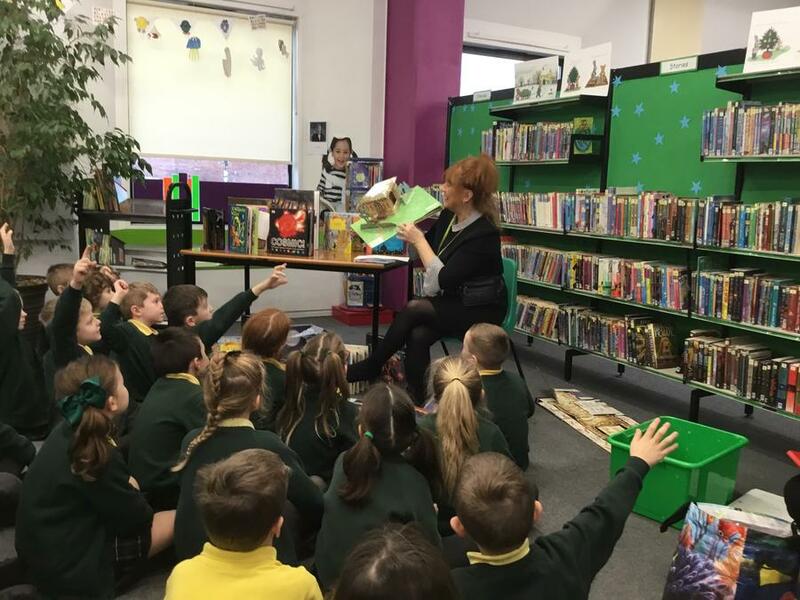 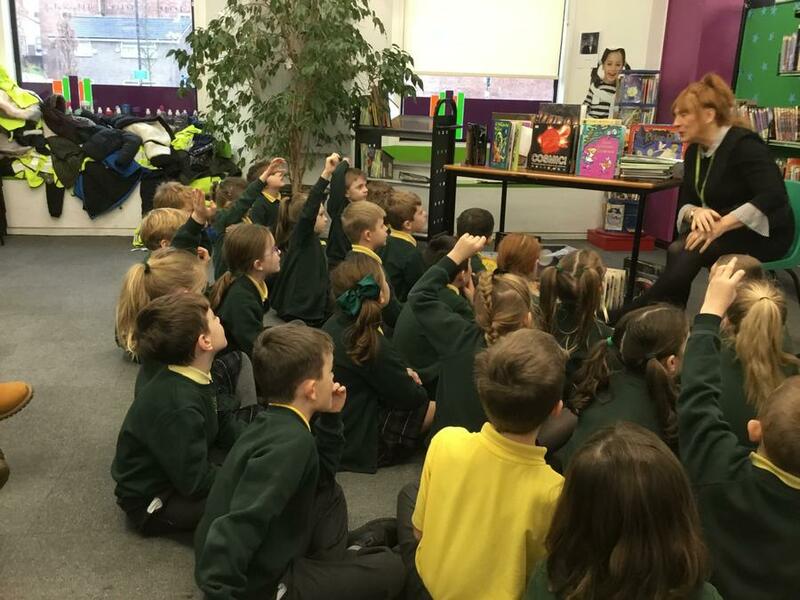 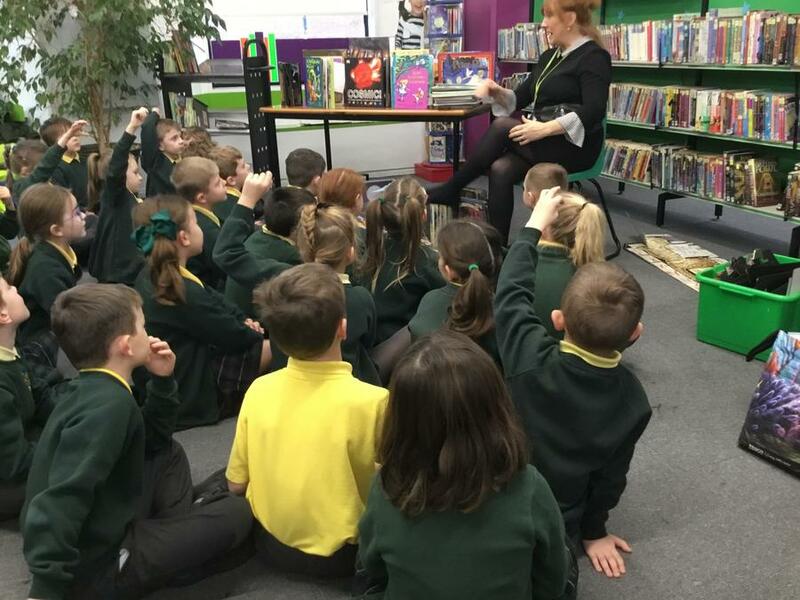 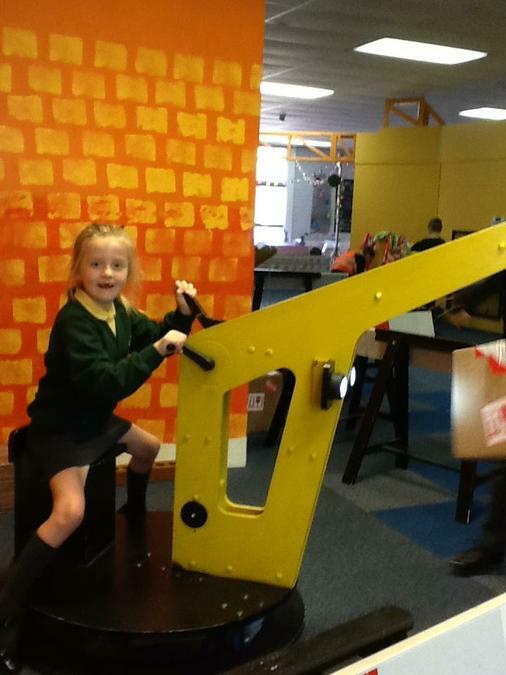 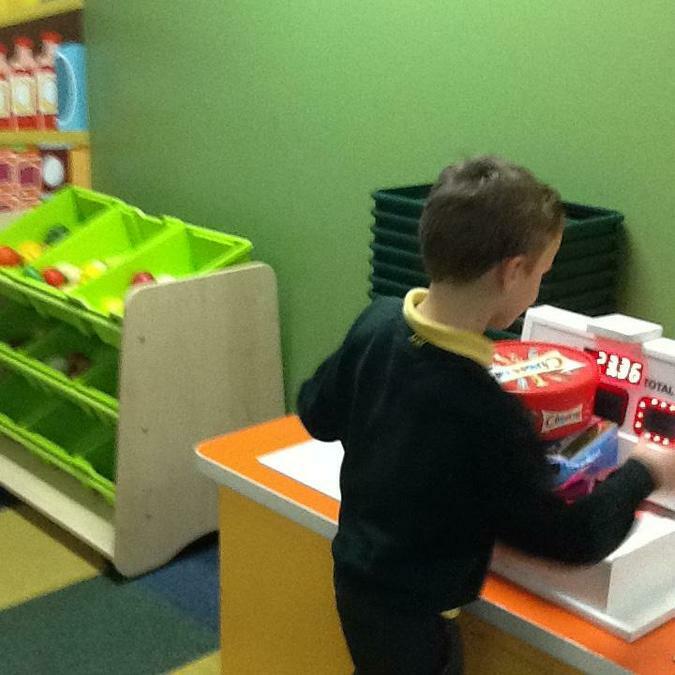 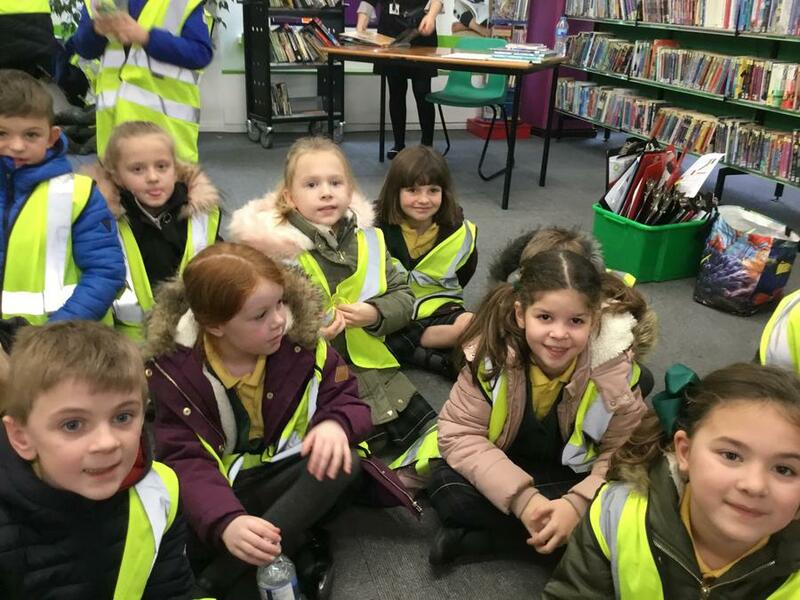 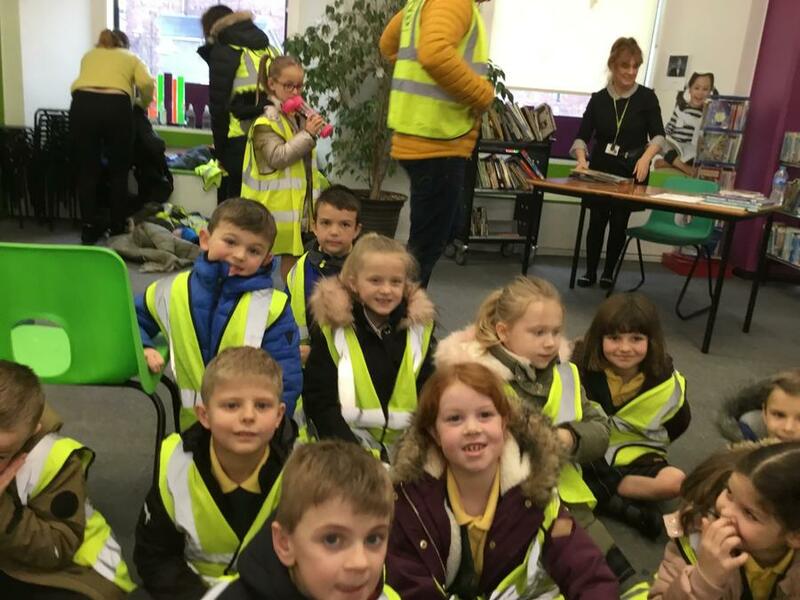 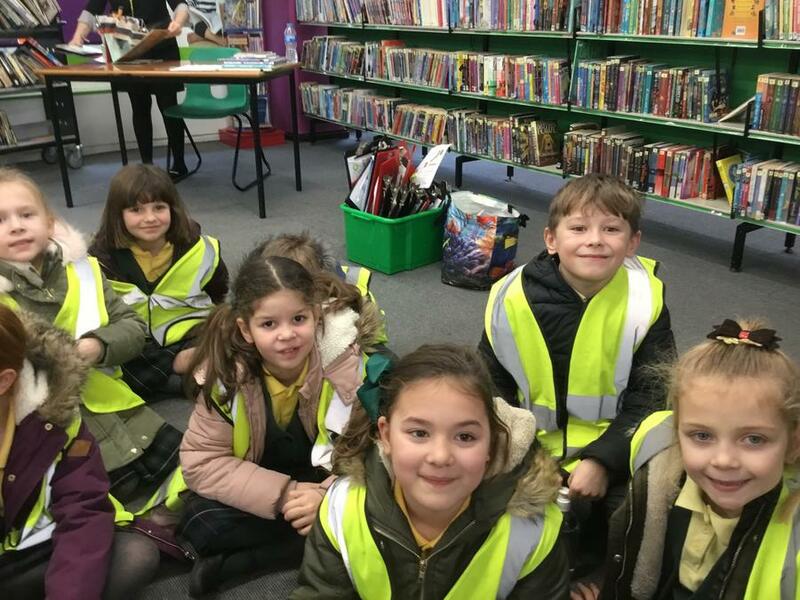 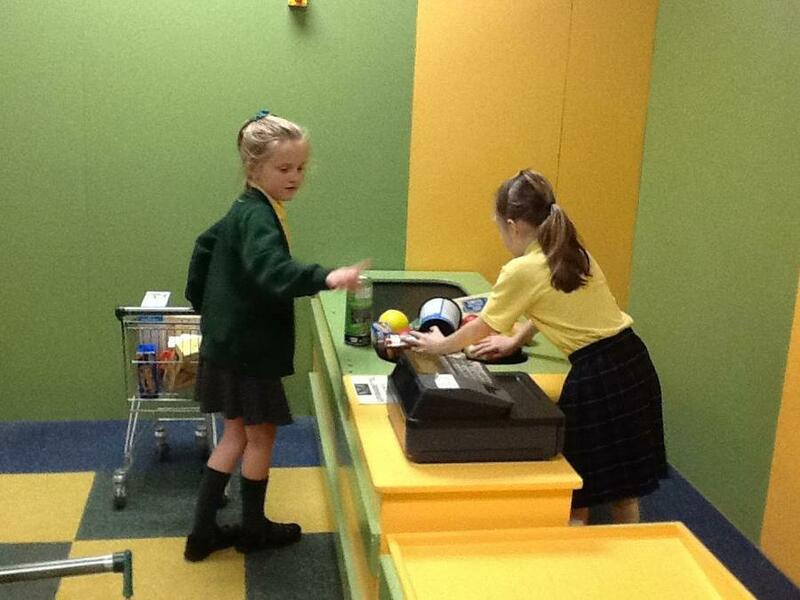 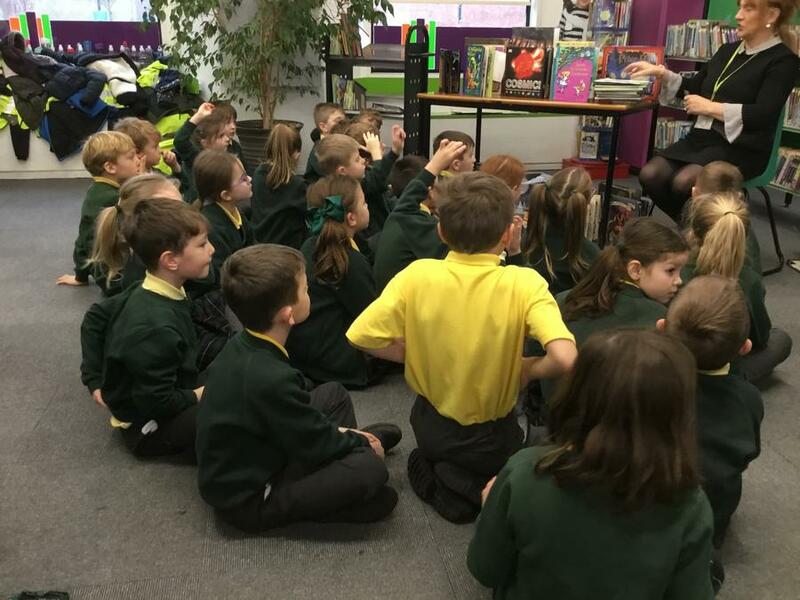 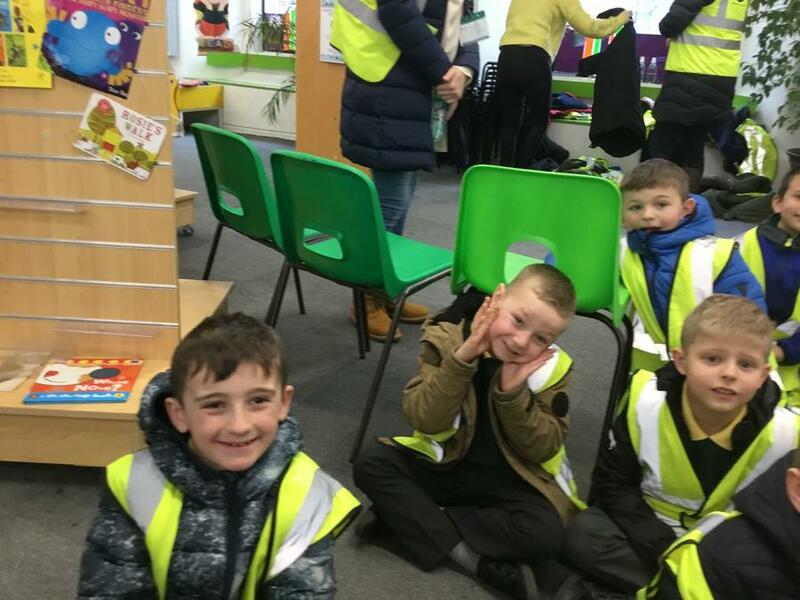 Monday 10th December 2018 - Library trip - today we used our library cards, explored the library and read some new books. 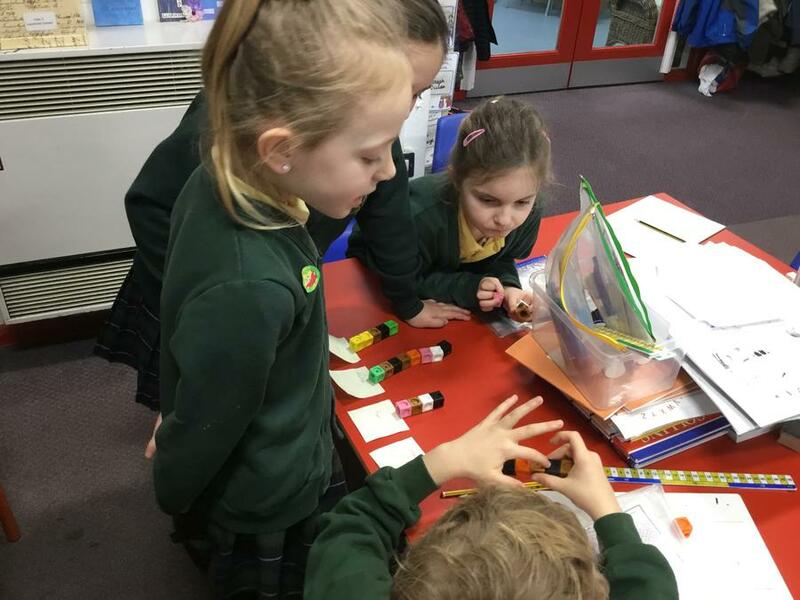 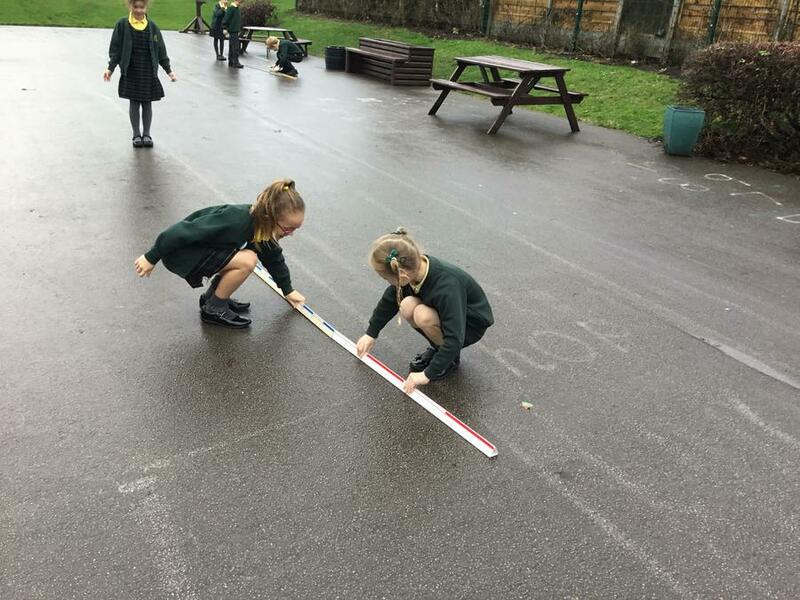 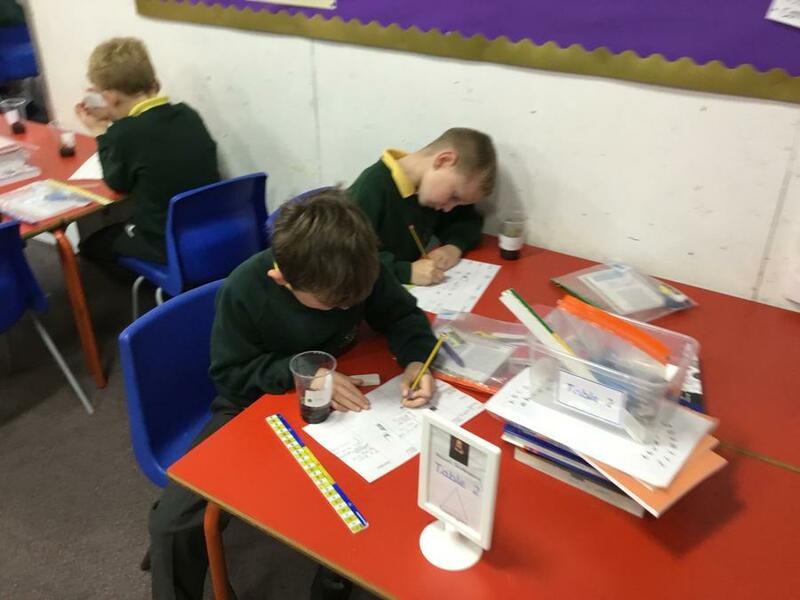 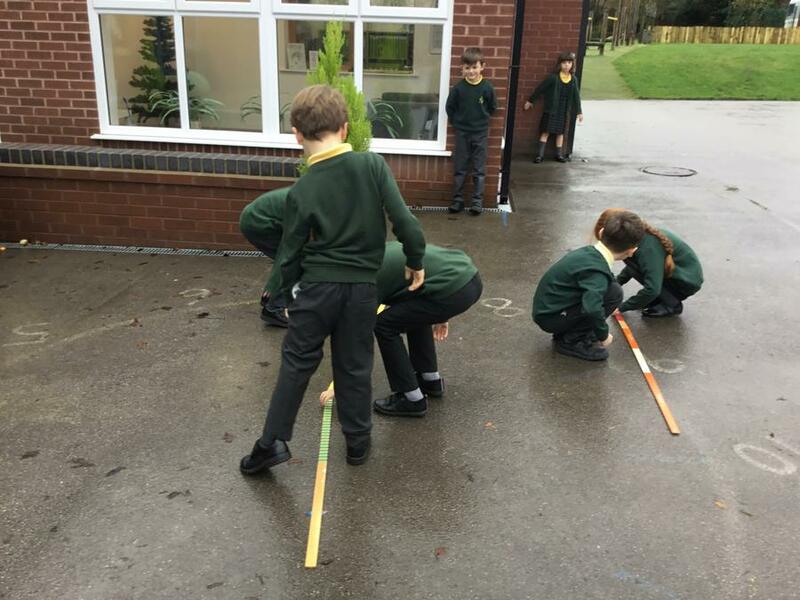 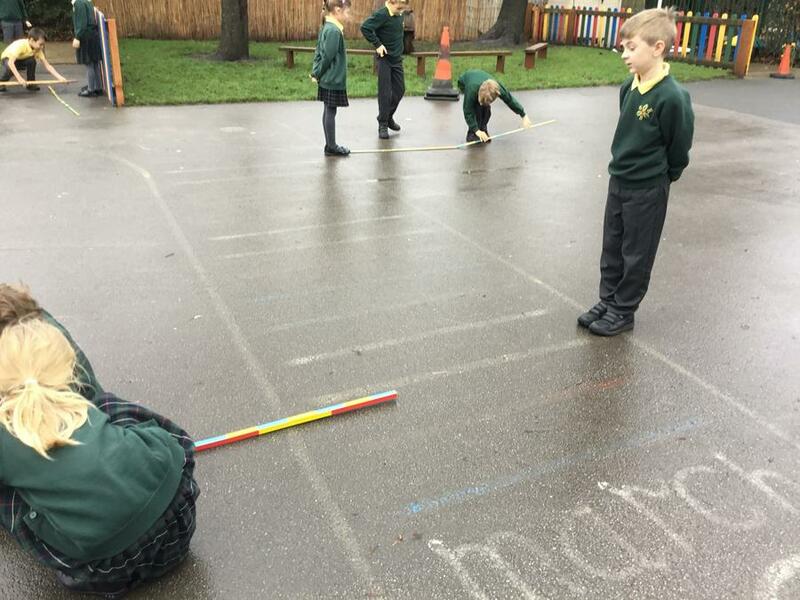 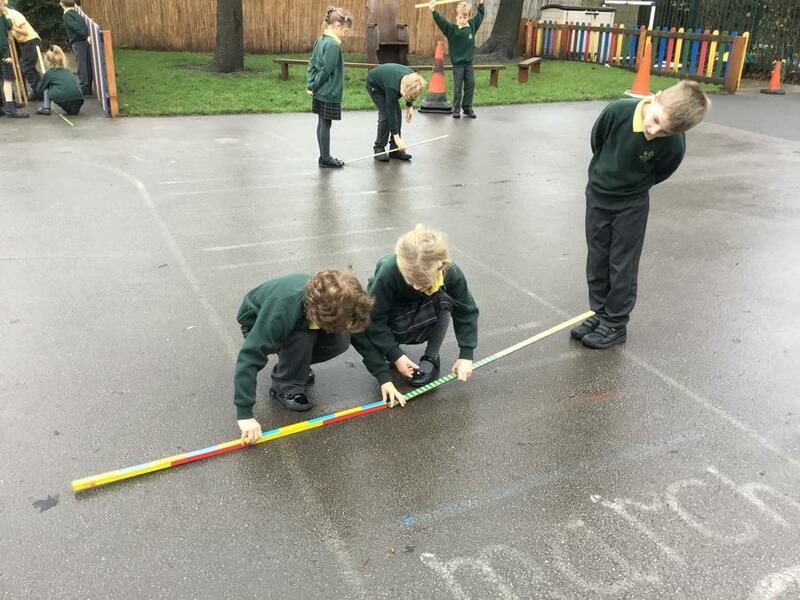 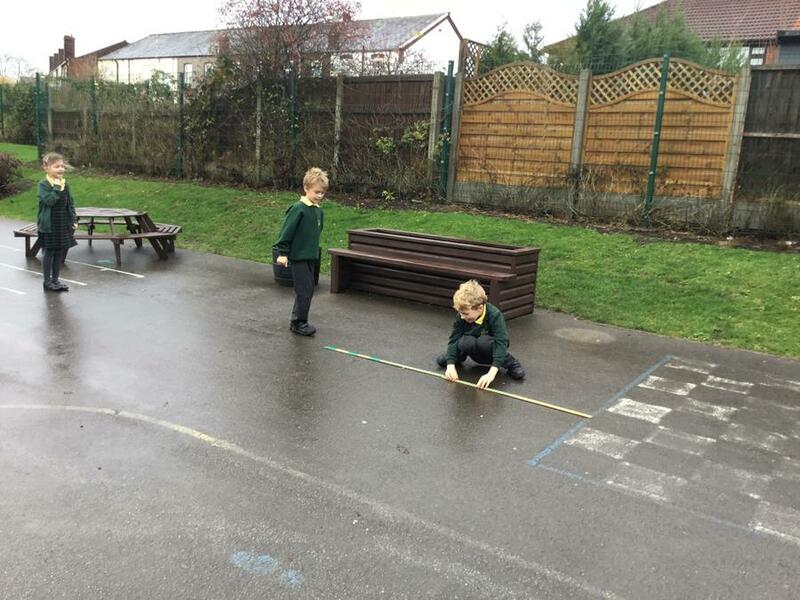 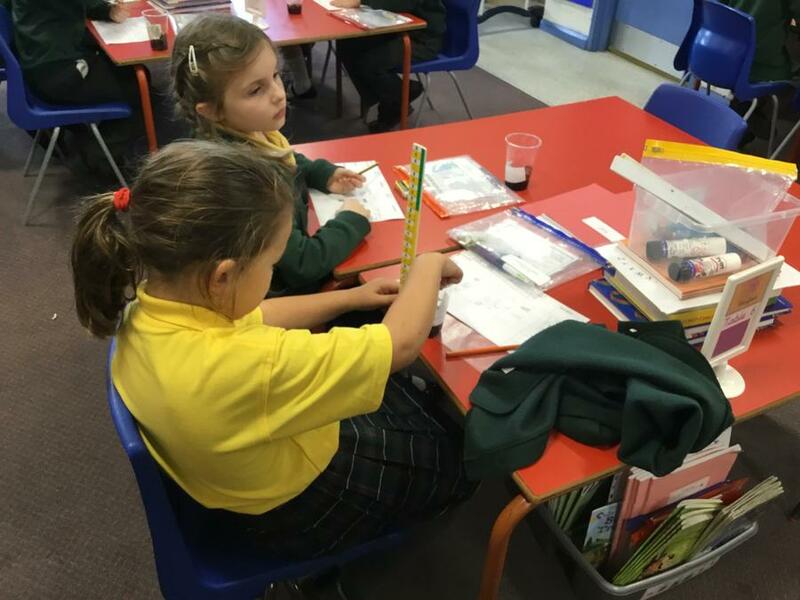 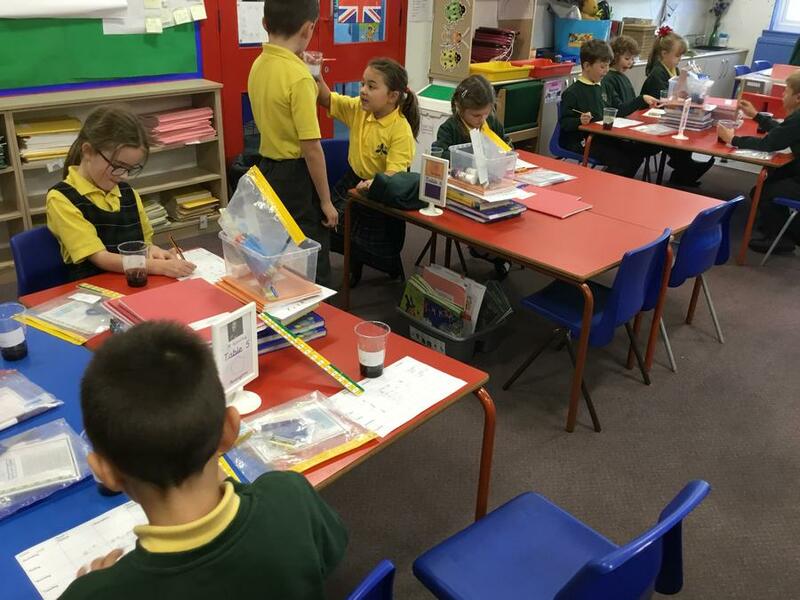 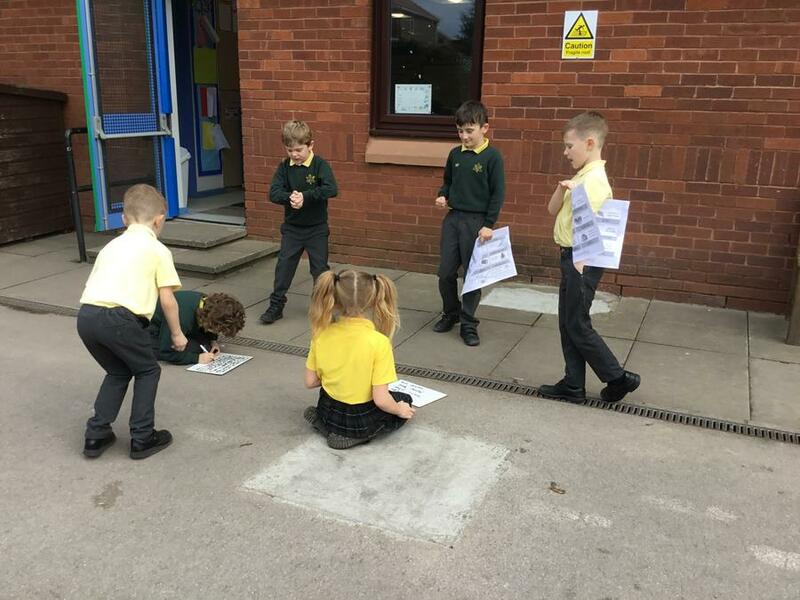 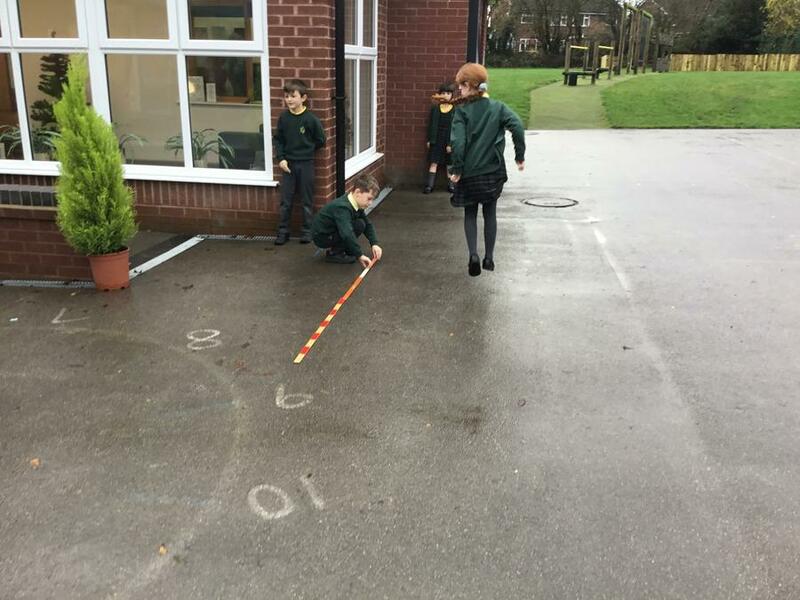 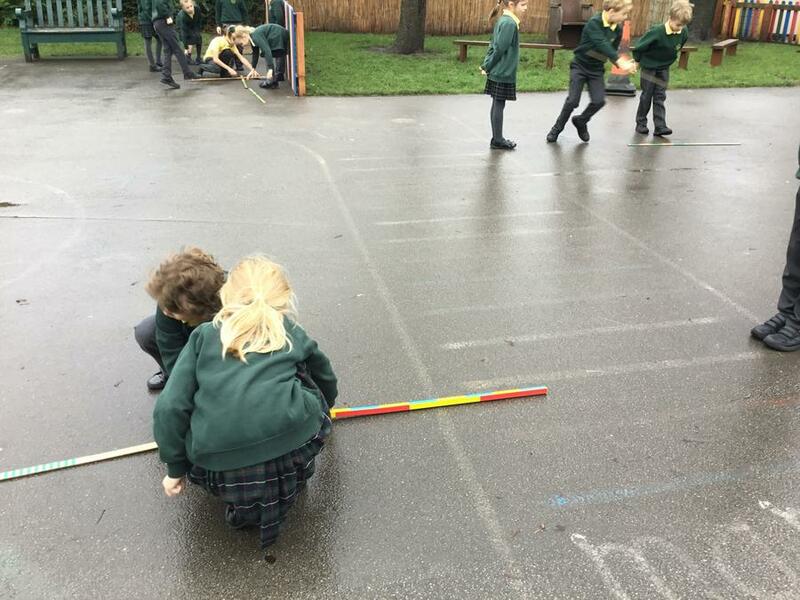 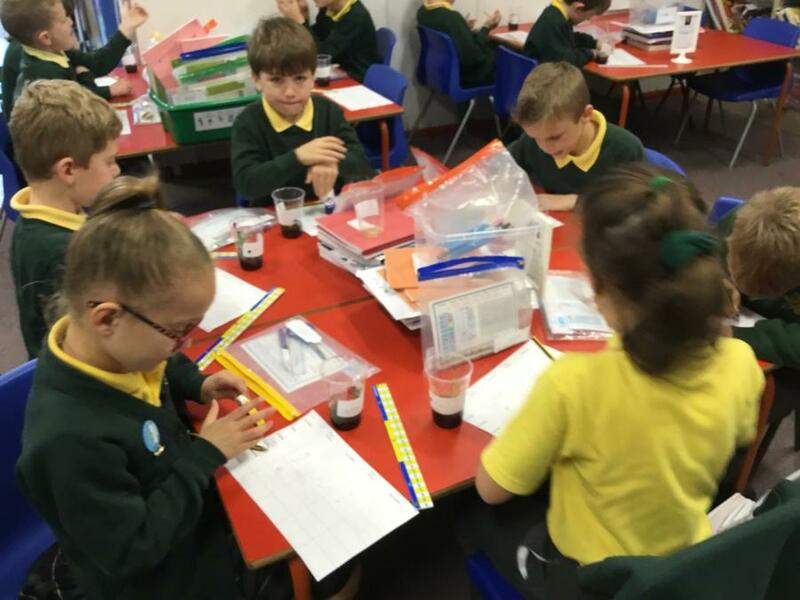 Thursday 6th December 2018 - estimating, measuring and comparing metres. 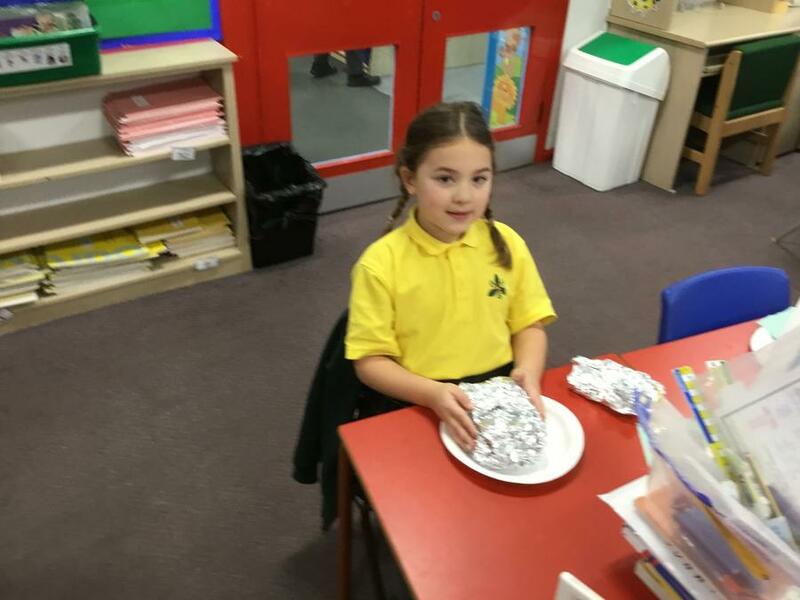 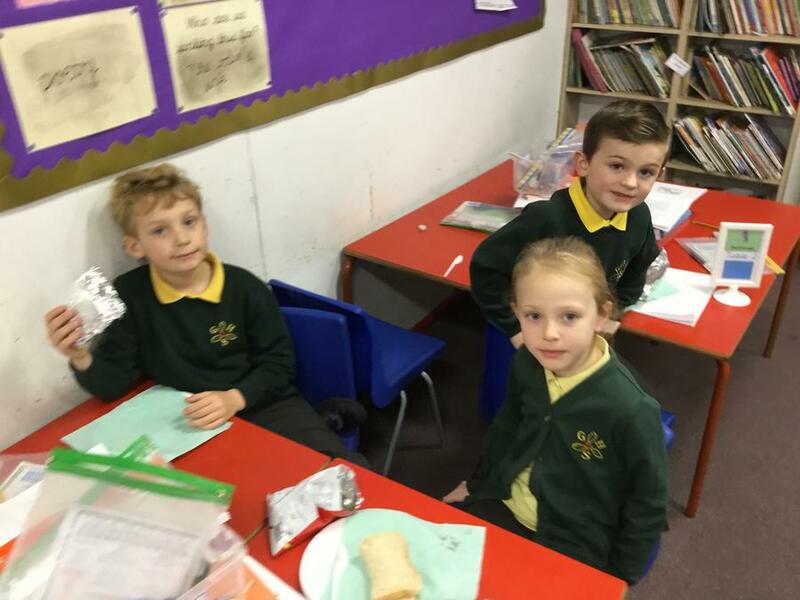 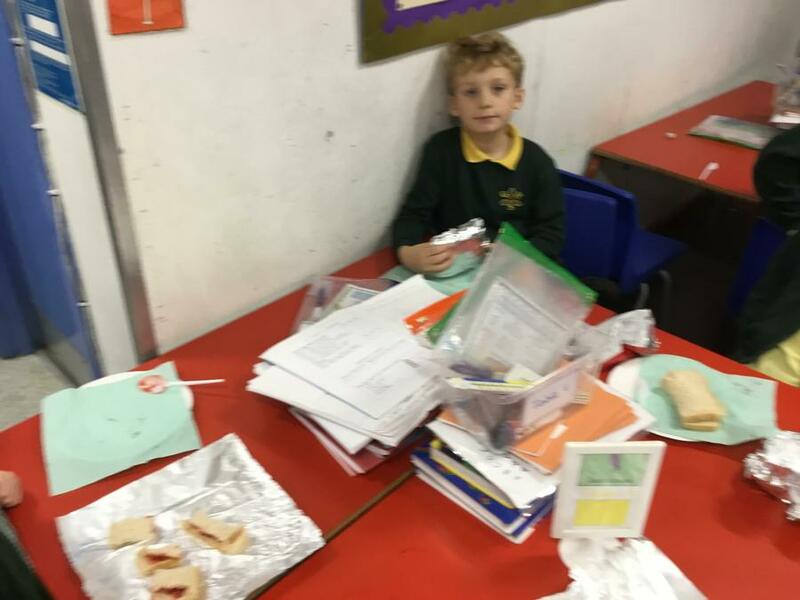 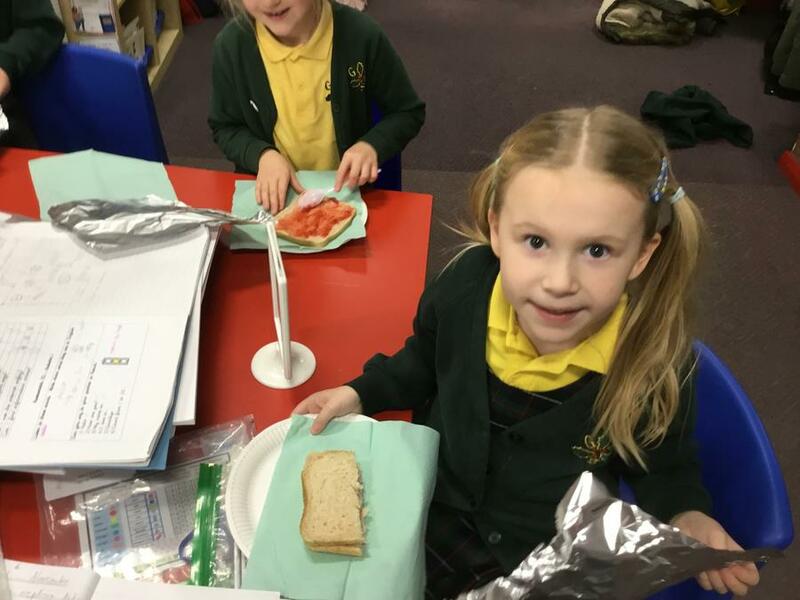 22nd November 2018 - making a picnic for an explorer. 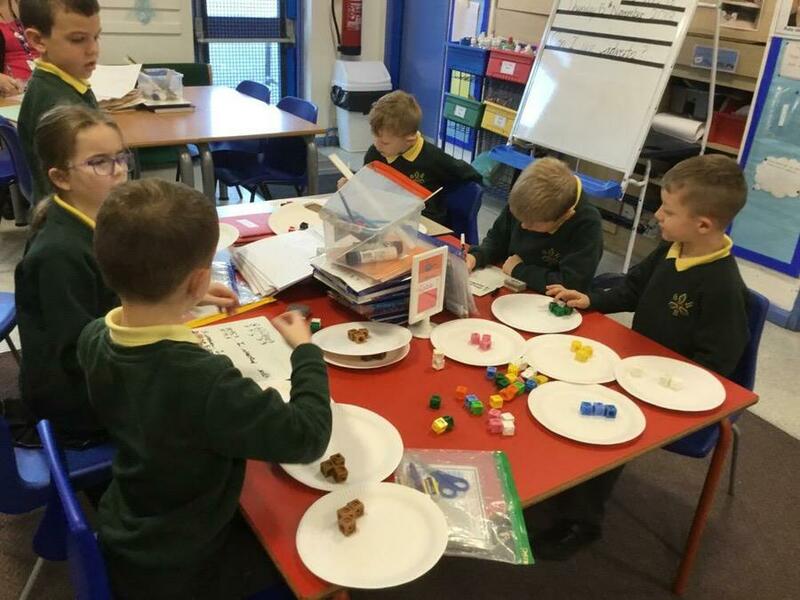 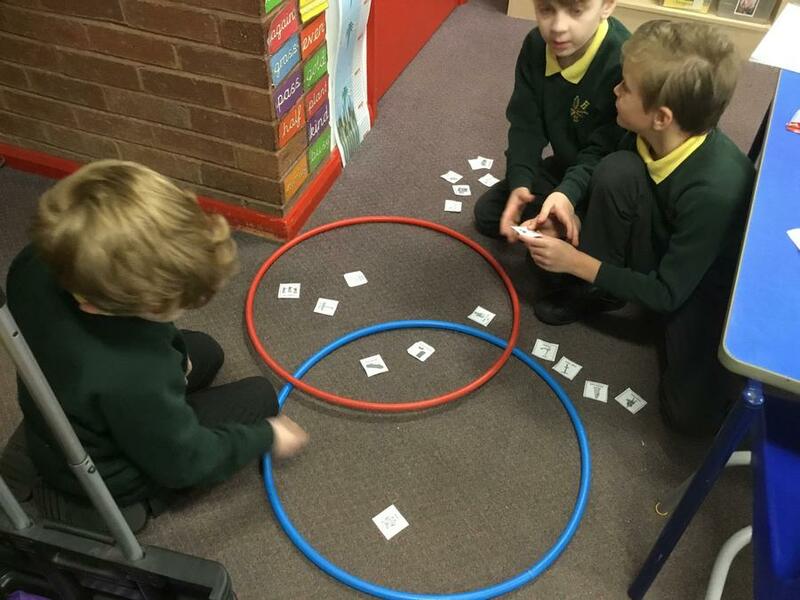 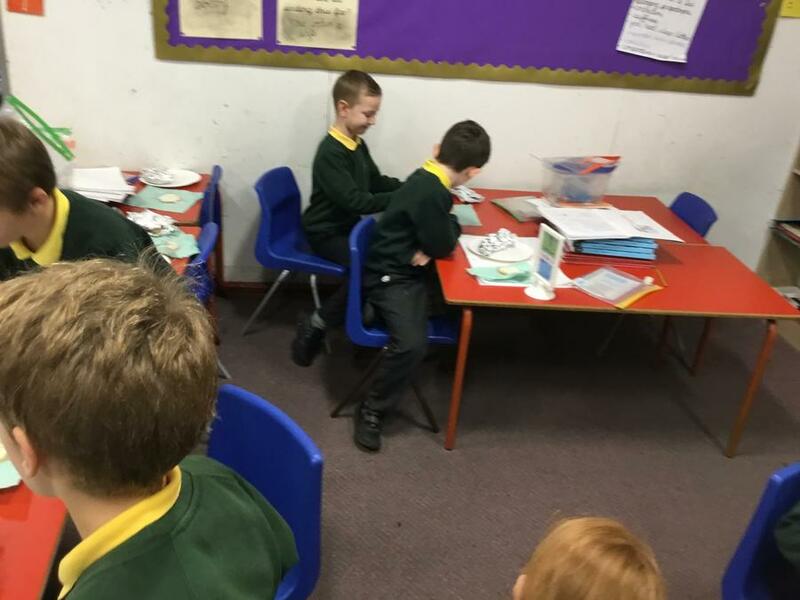 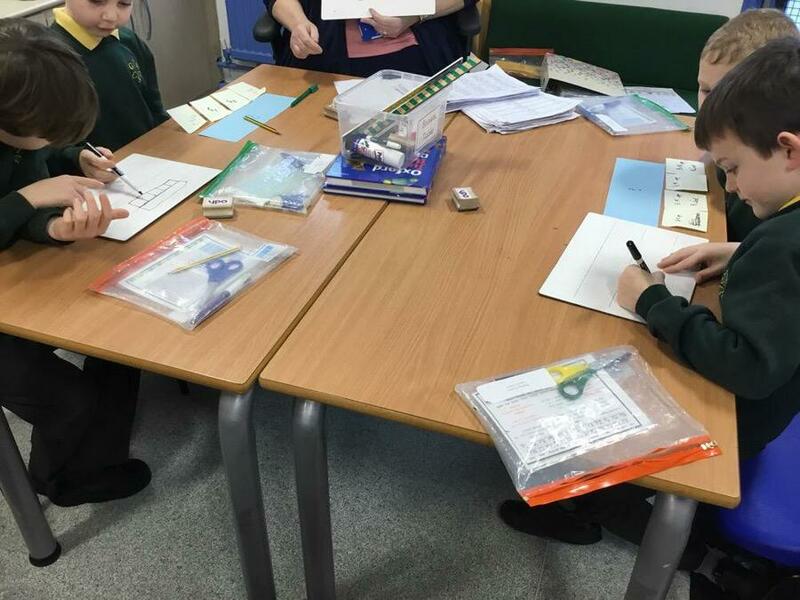 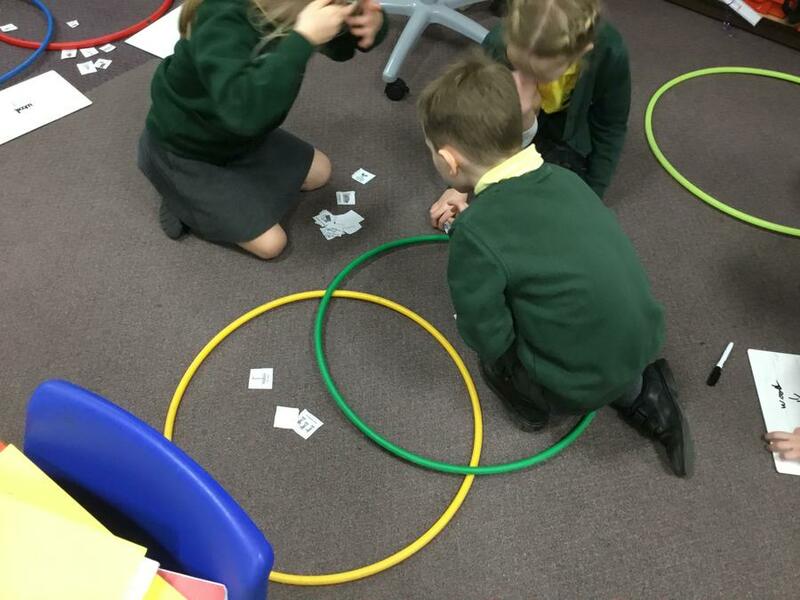 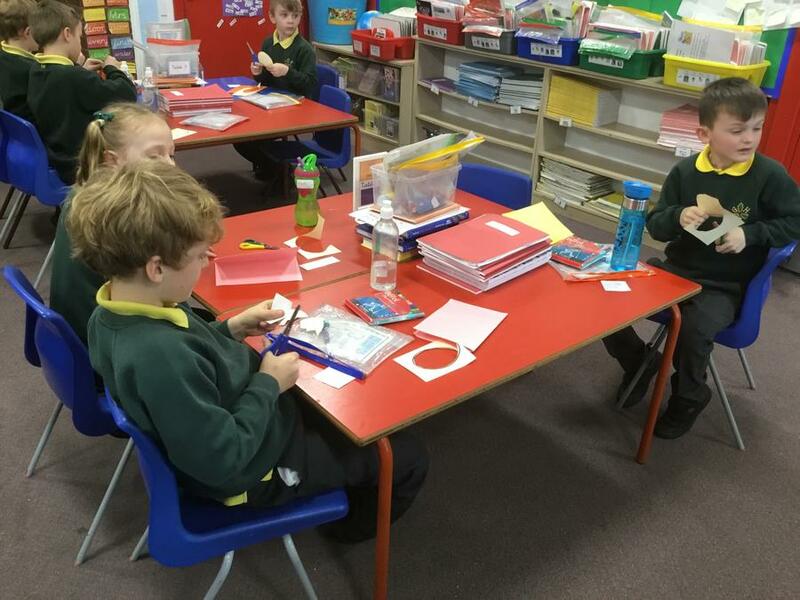 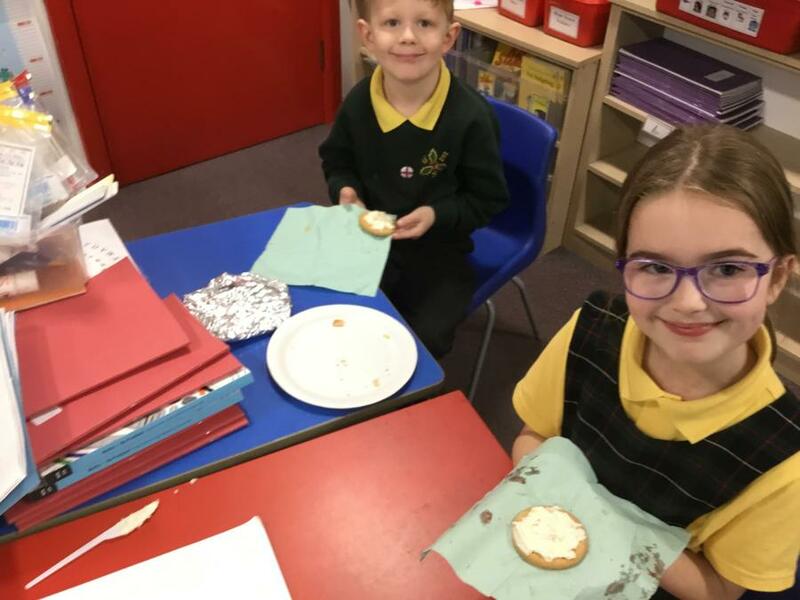 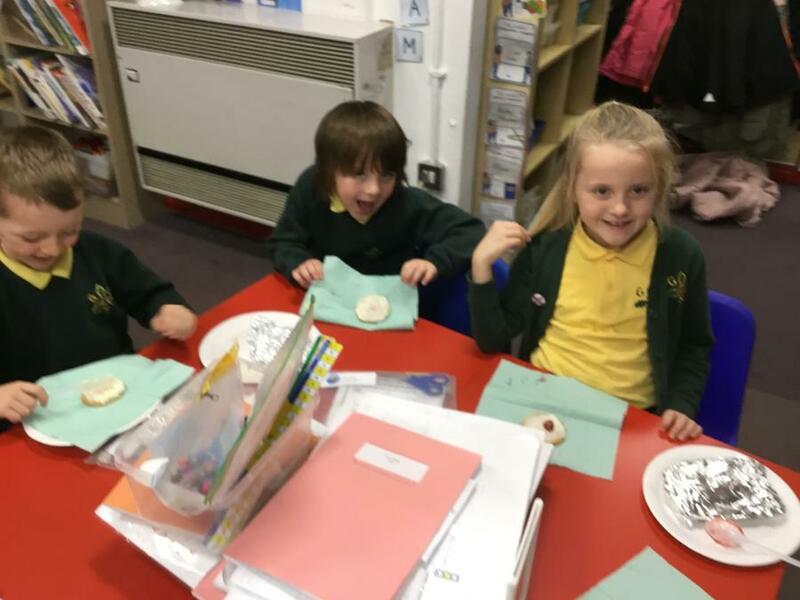 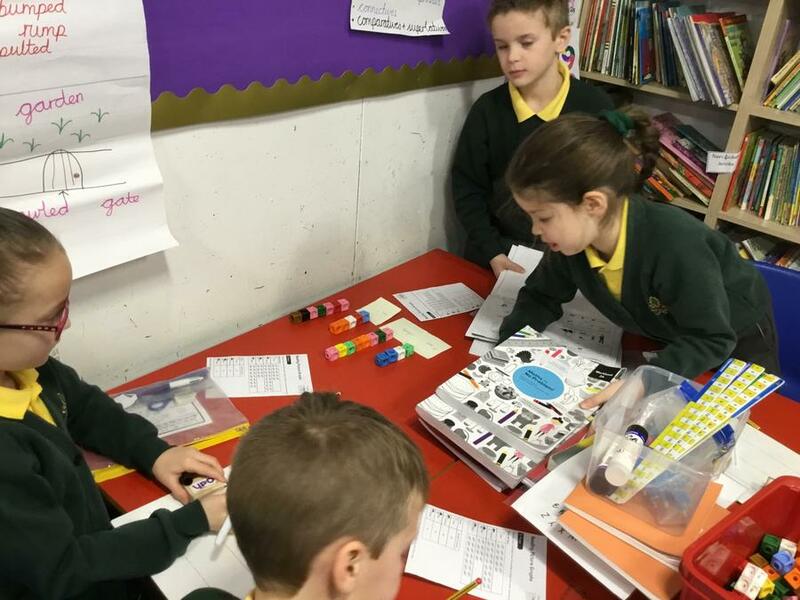 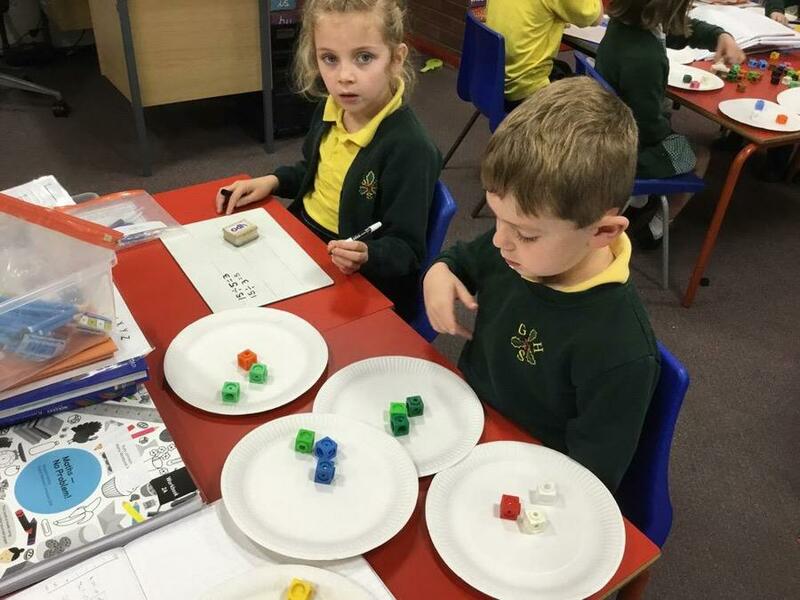 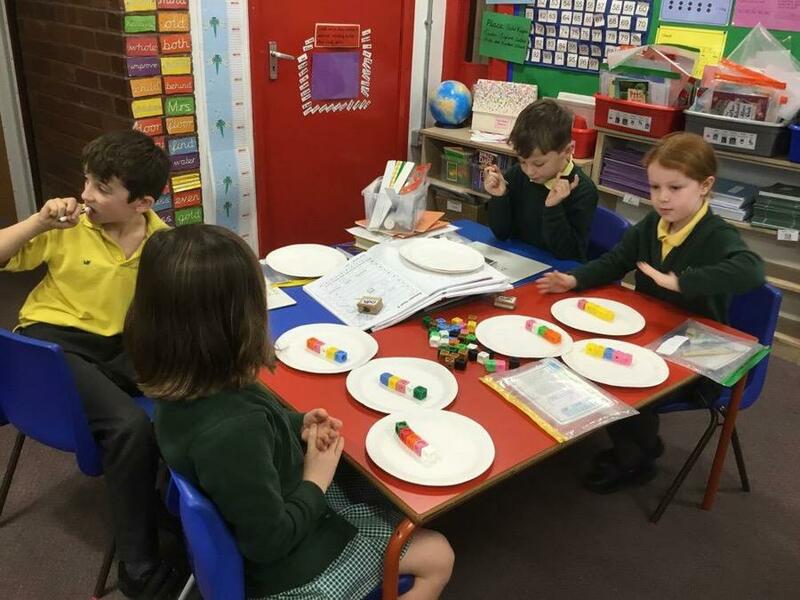 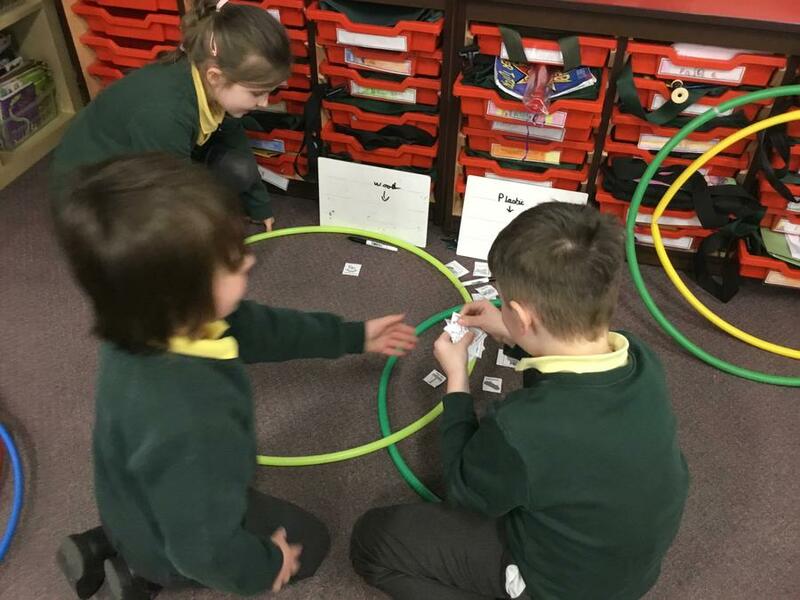 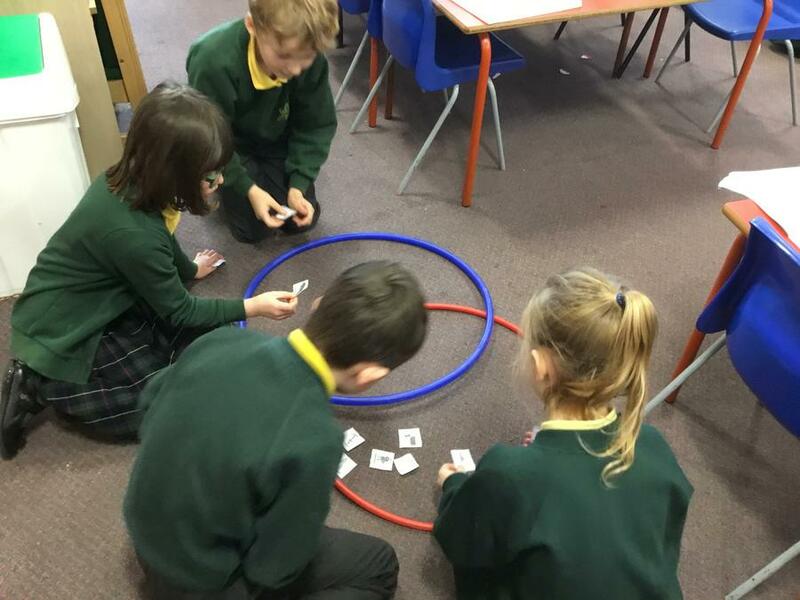 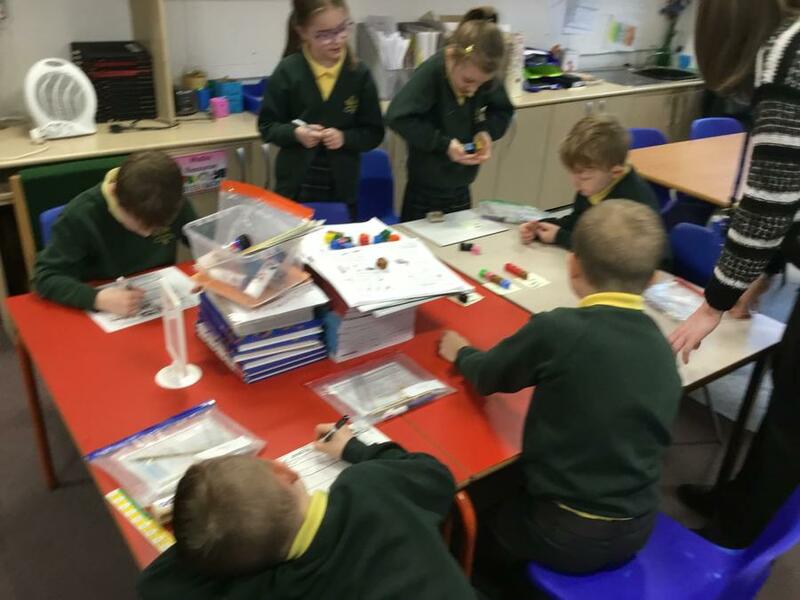 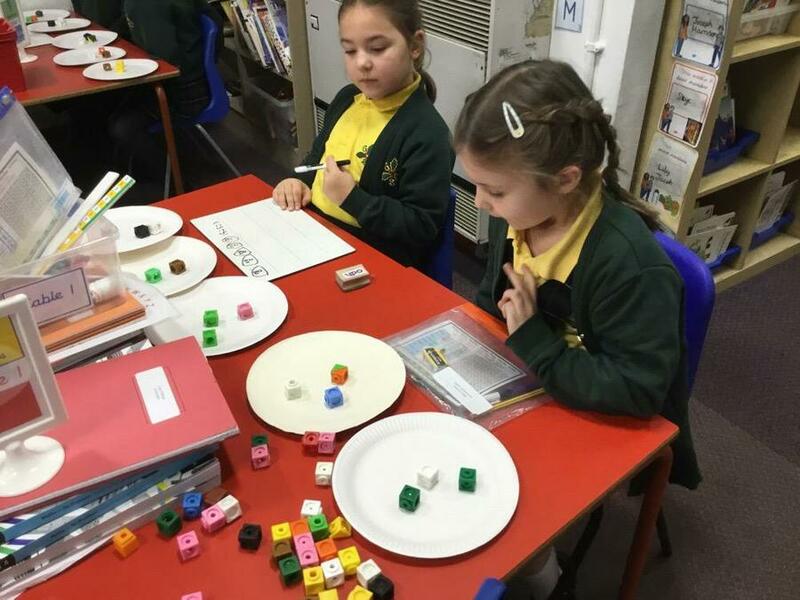 15th November 2018 - the children have been using resources to share and group. 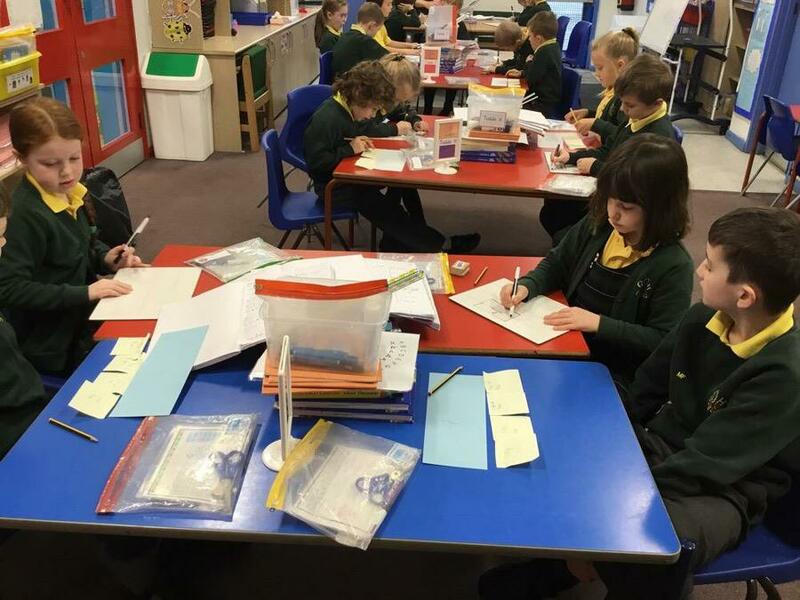 They’ve been challenging themselves to make fact families too. 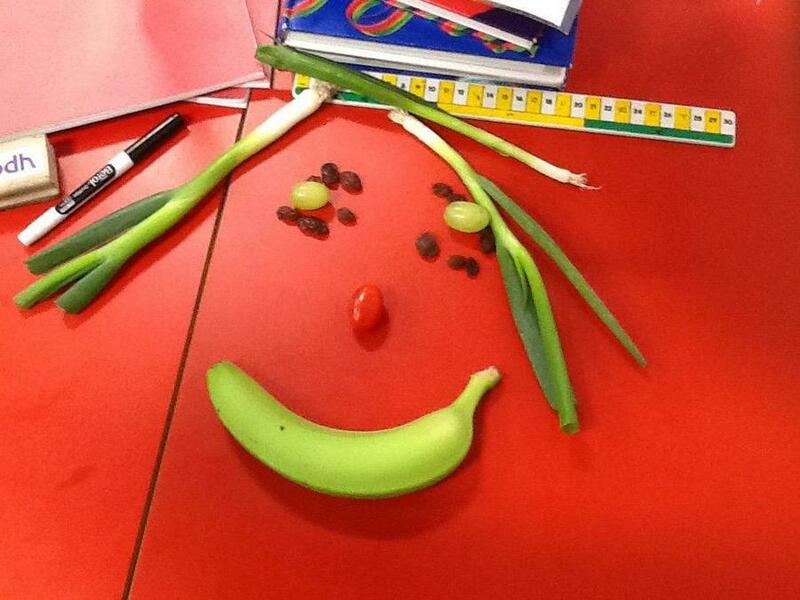 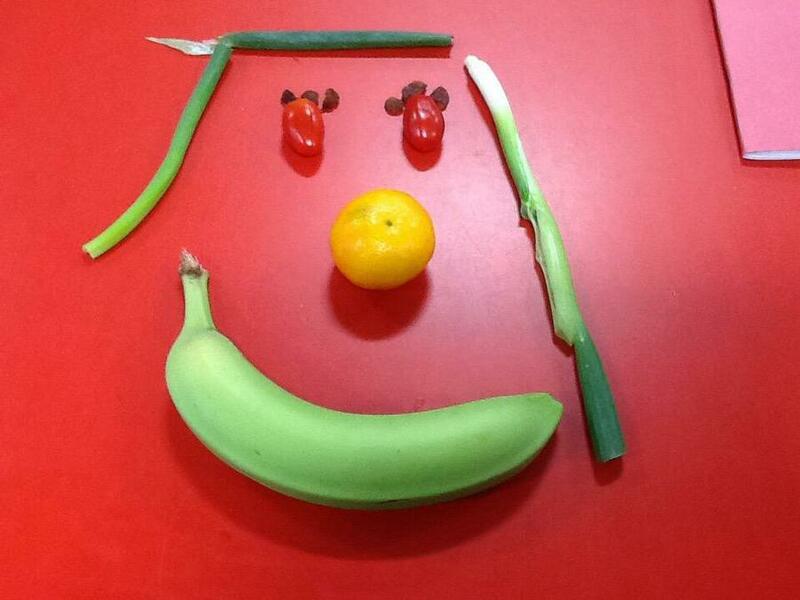 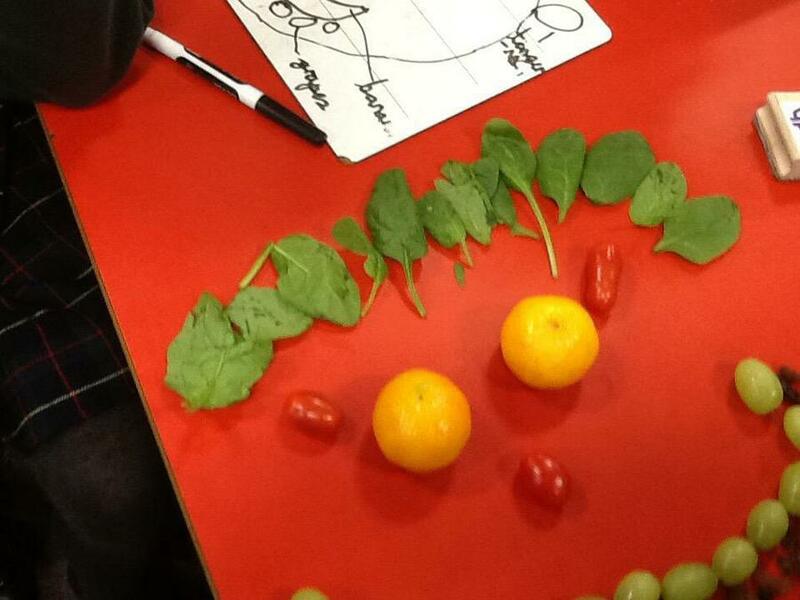 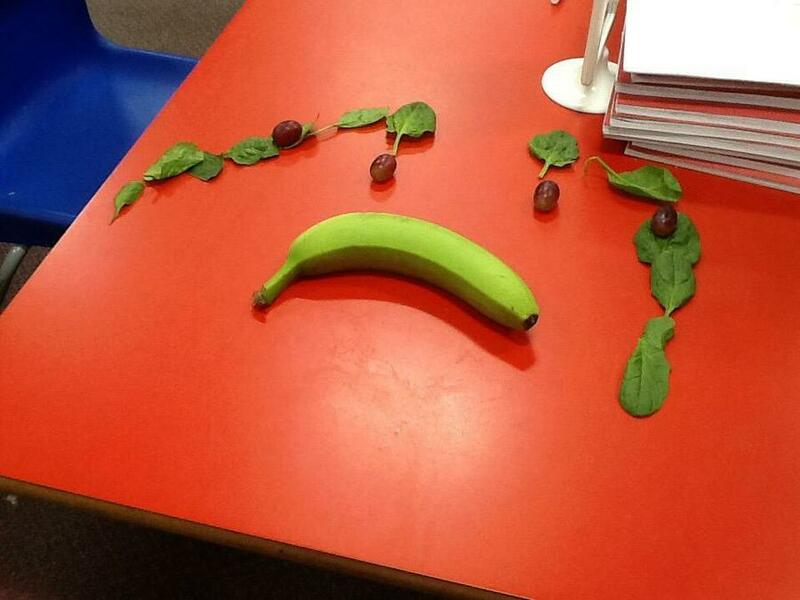 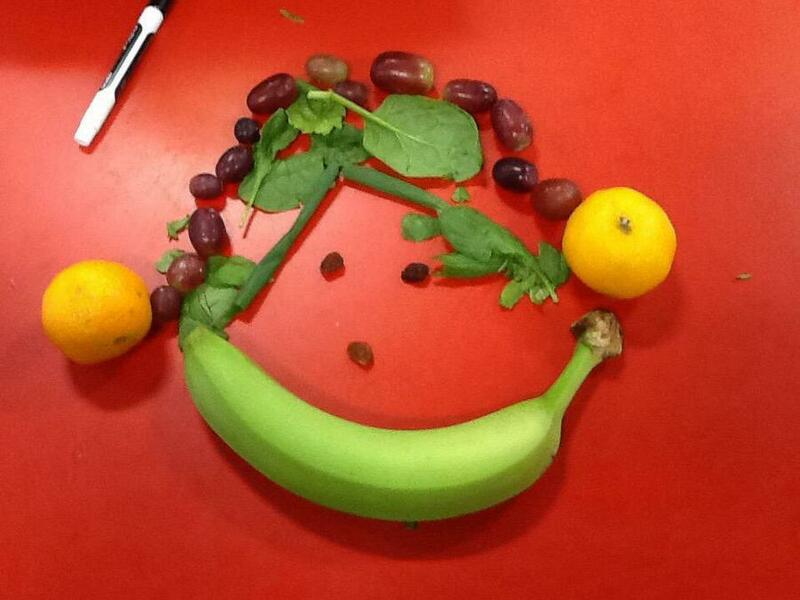 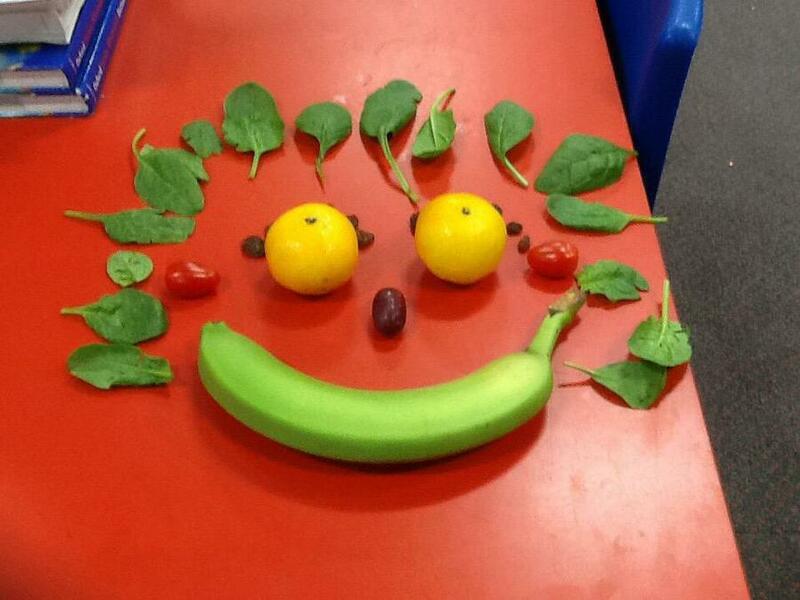 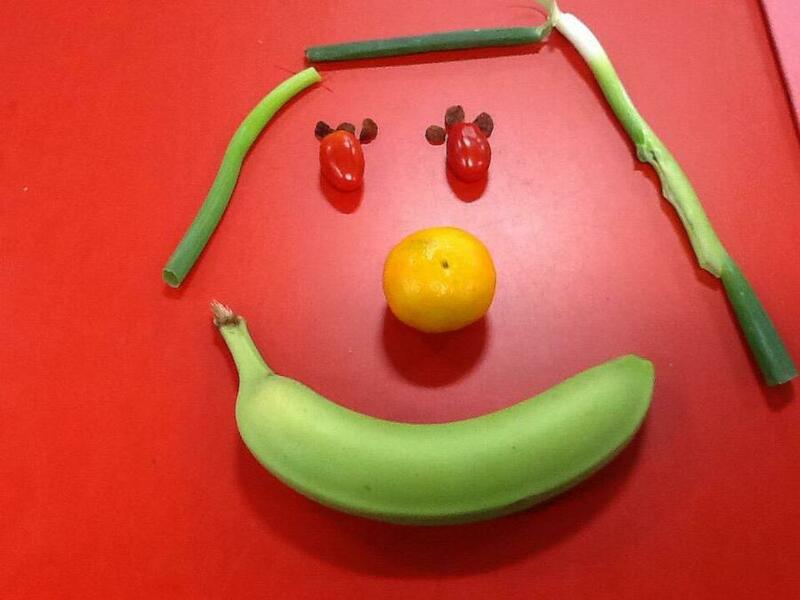 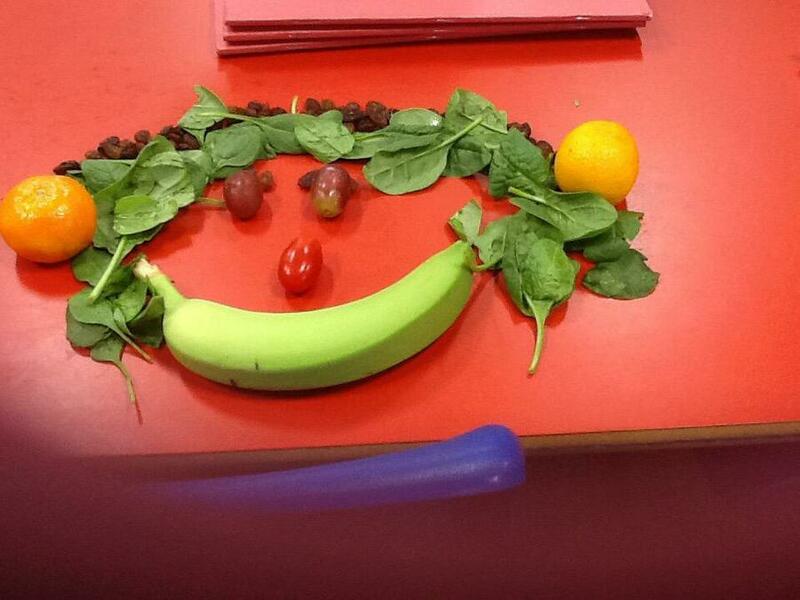 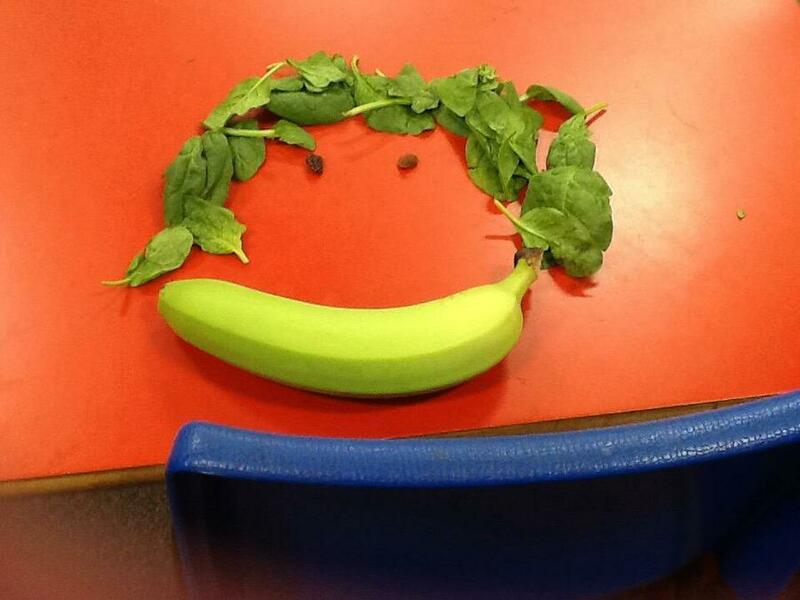 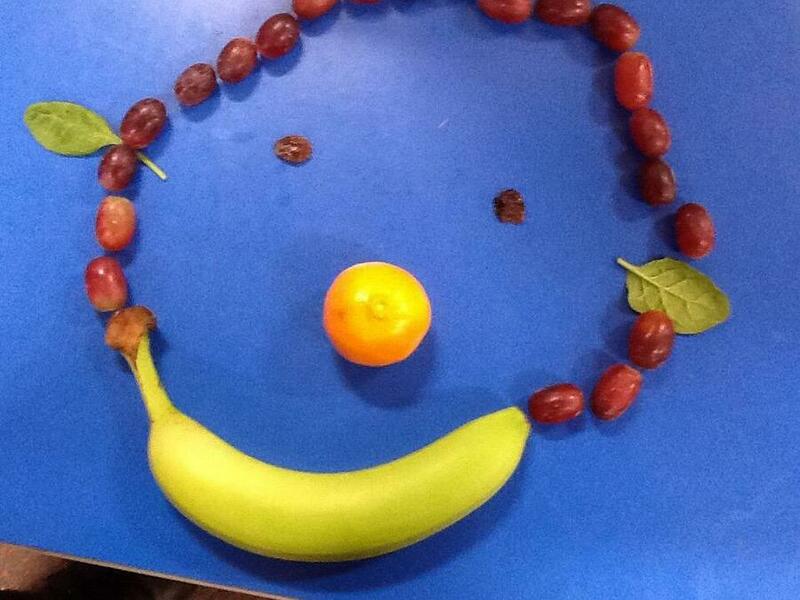 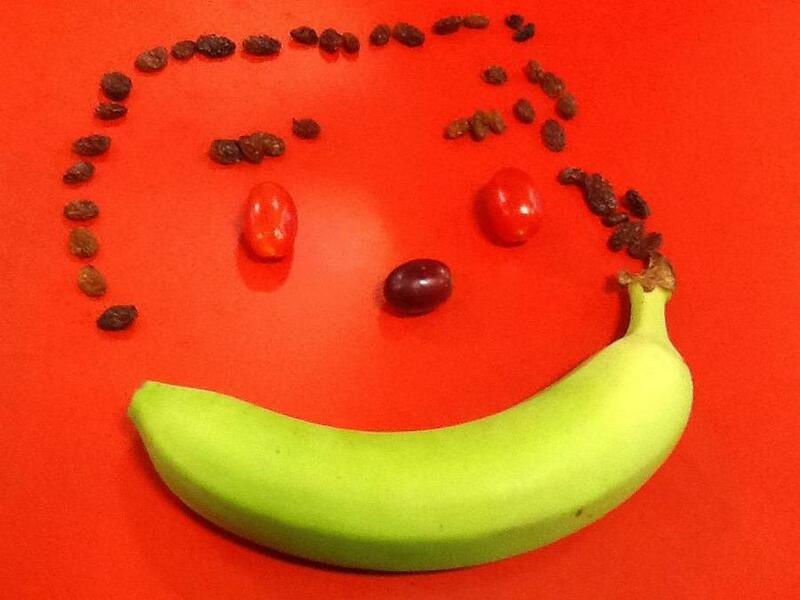 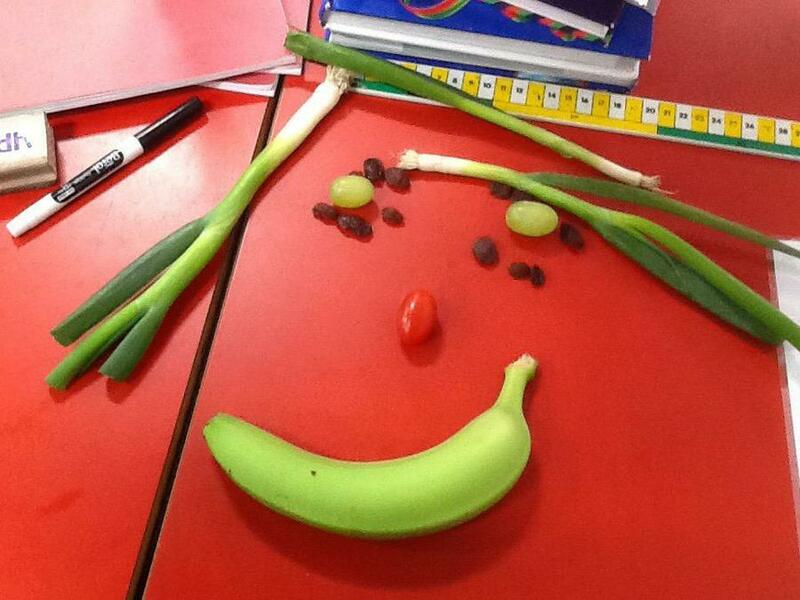 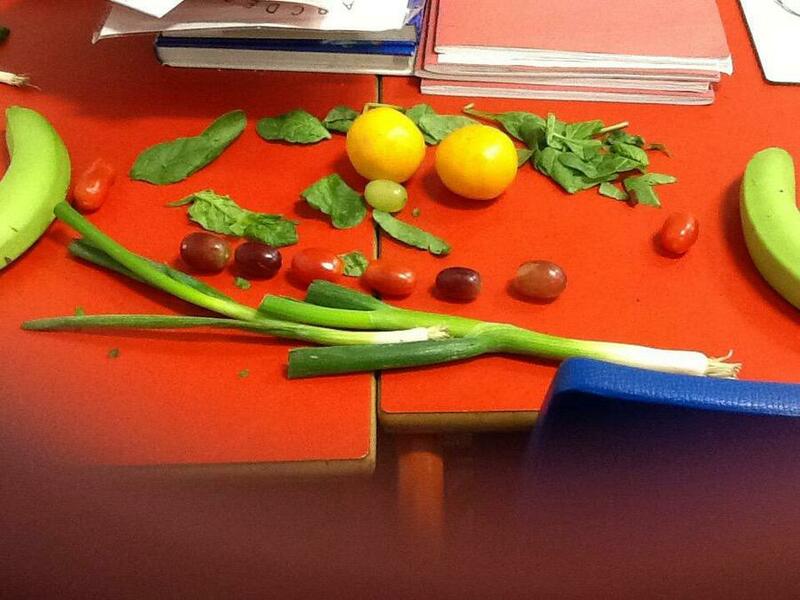 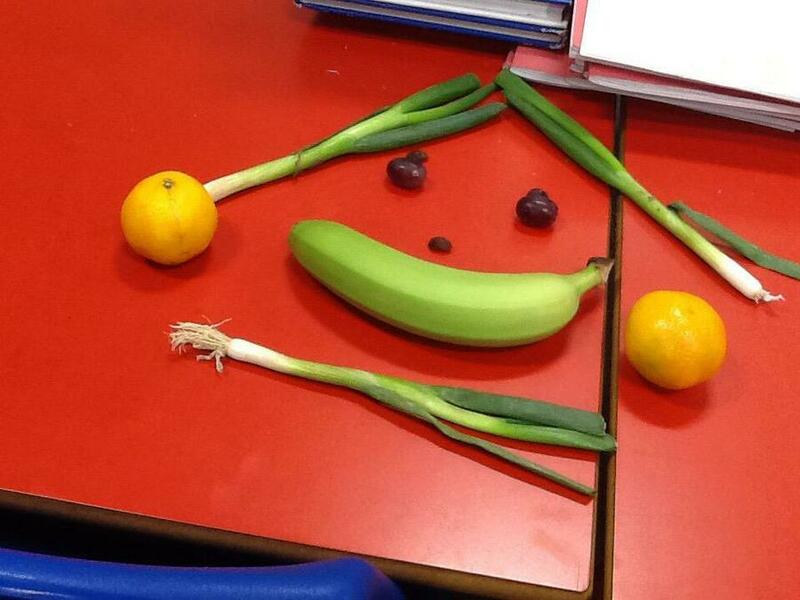 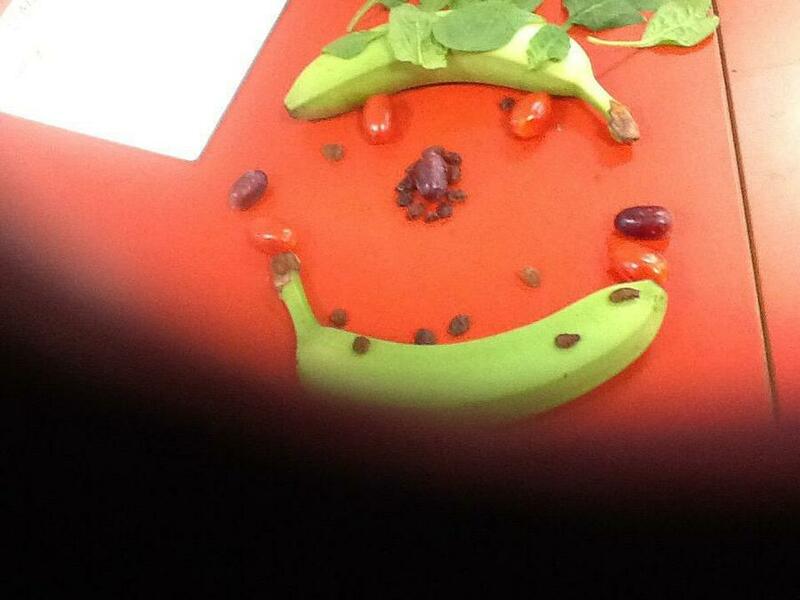 8th November 2018 - Giuseppe Arcimboldo fruit faces. 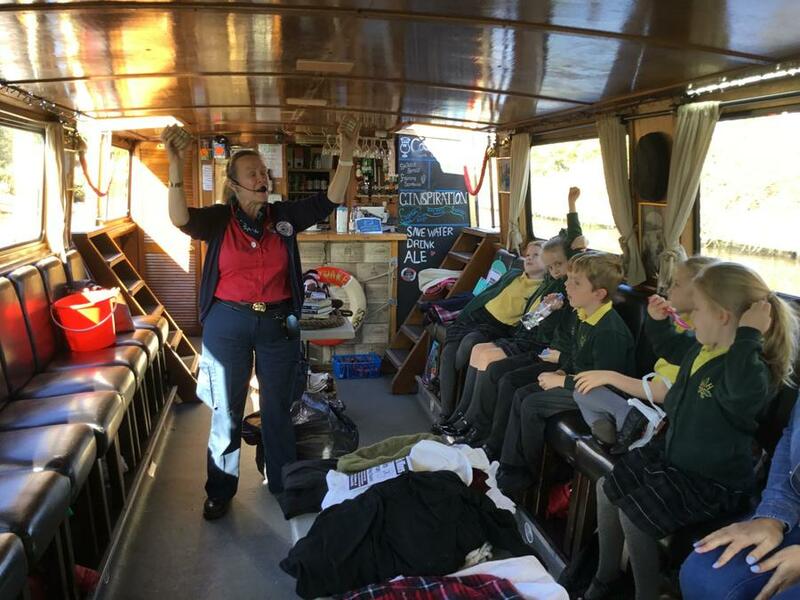 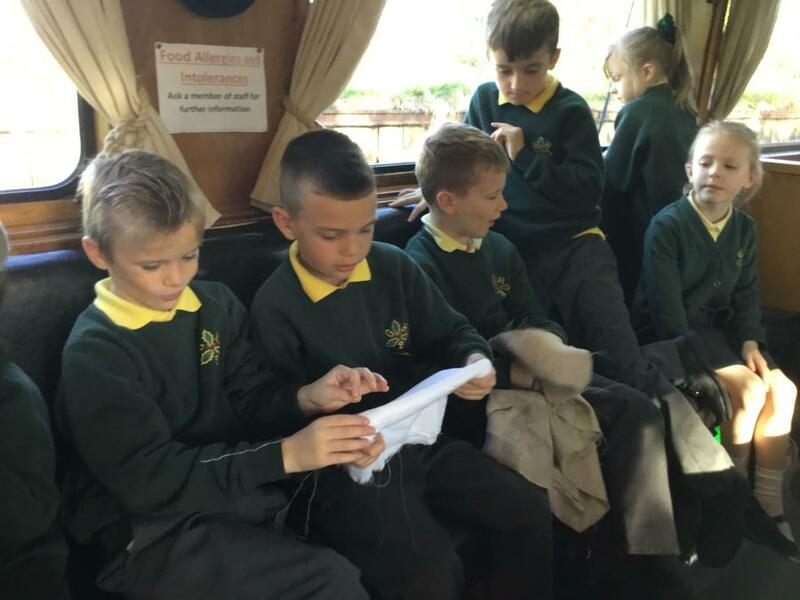 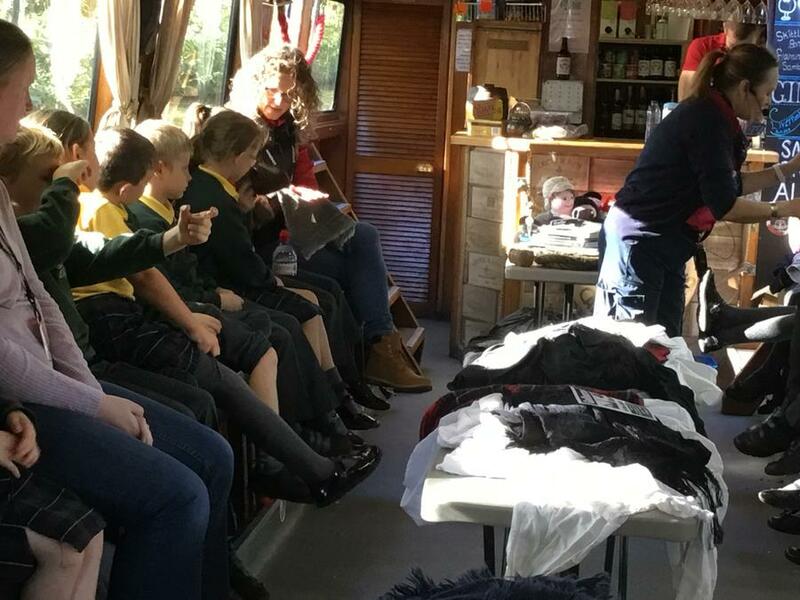 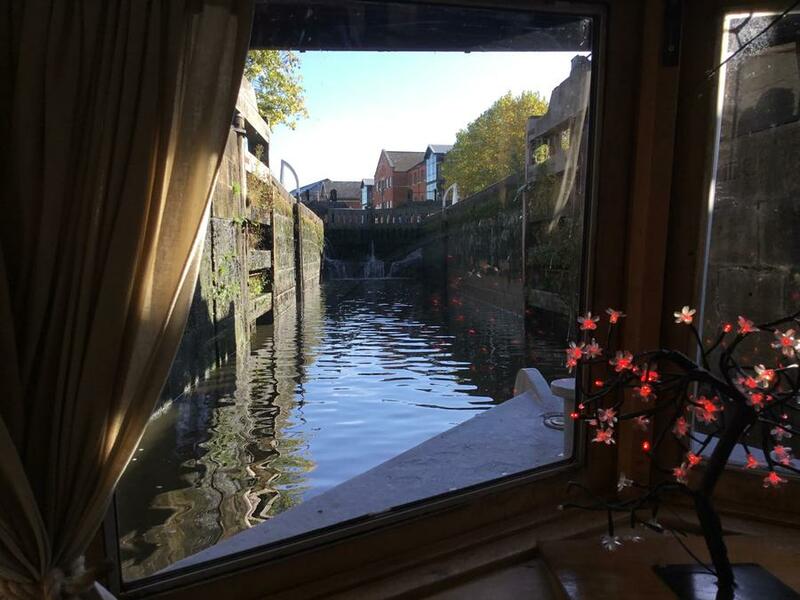 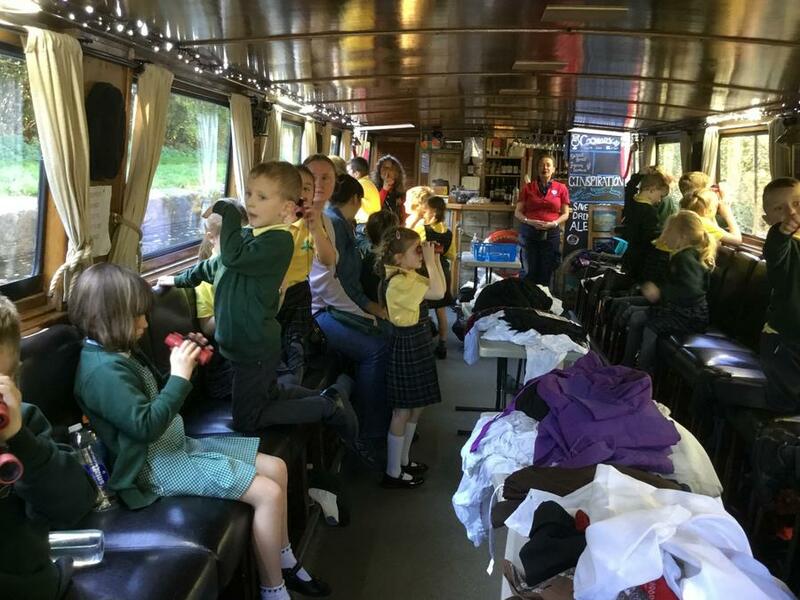 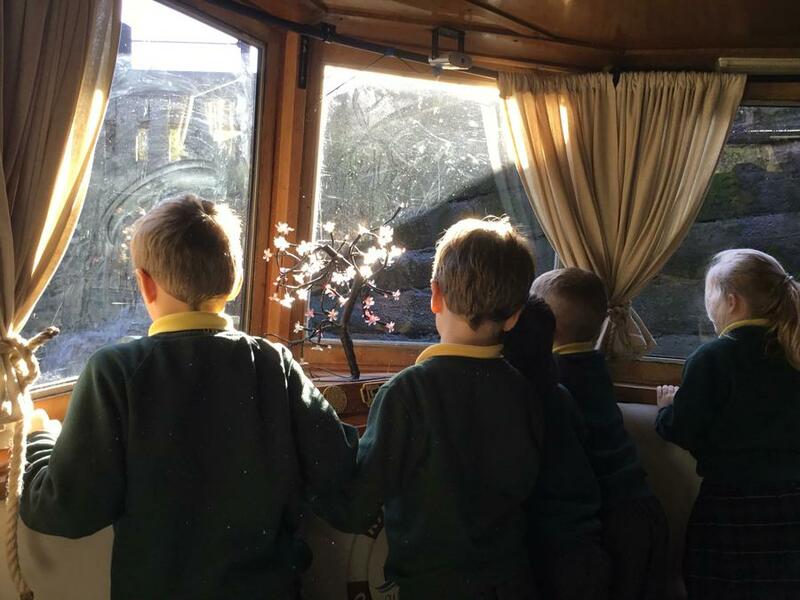 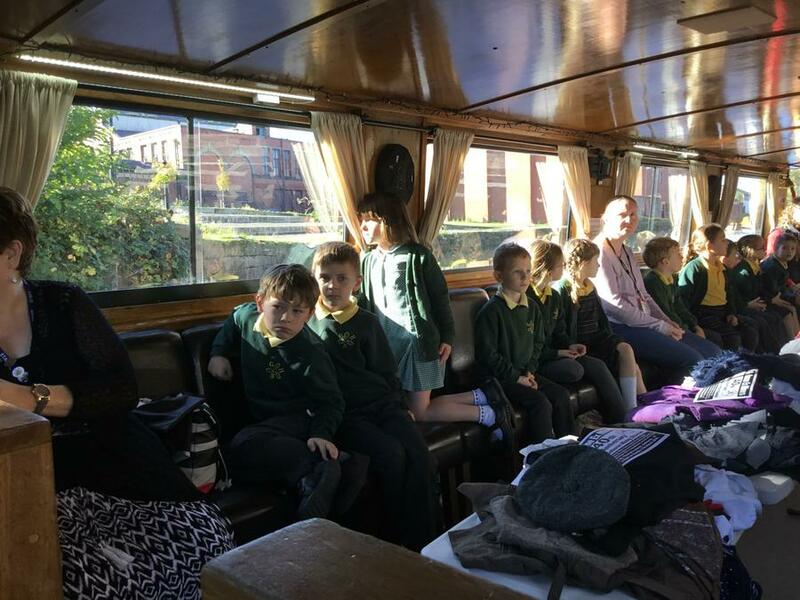 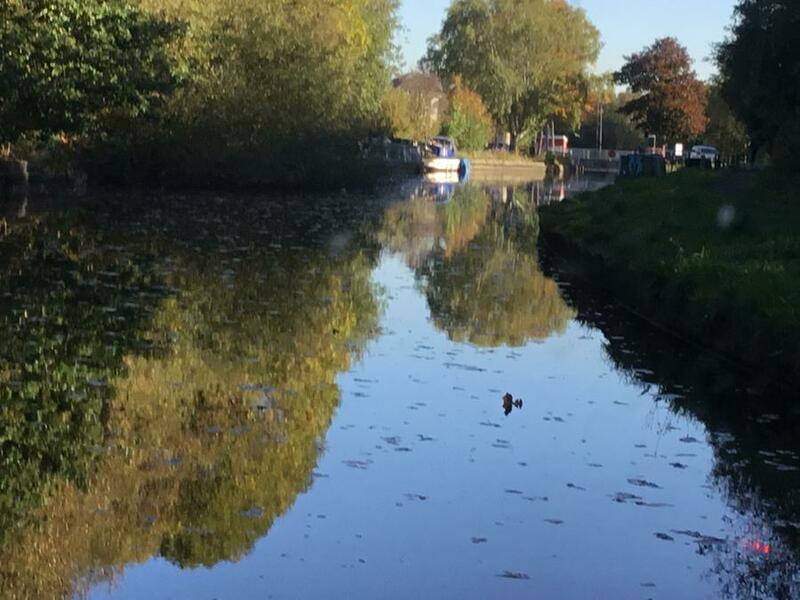 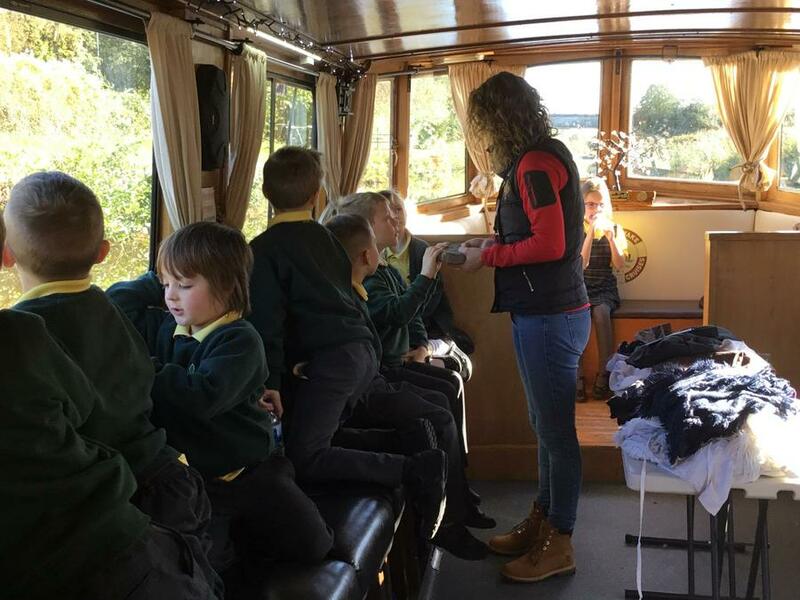 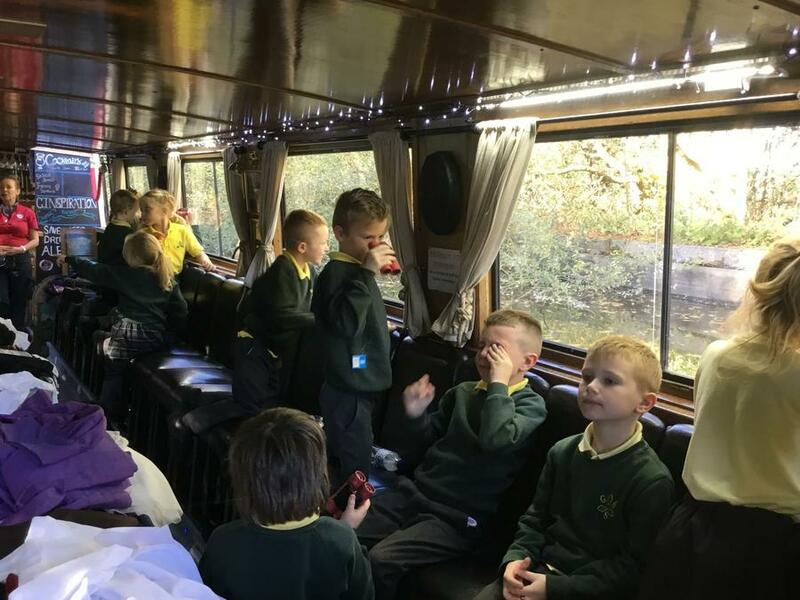 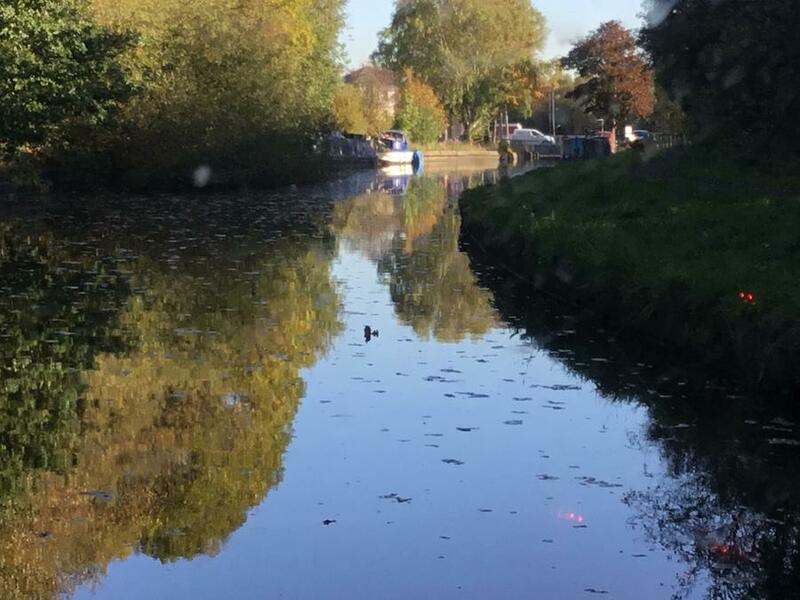 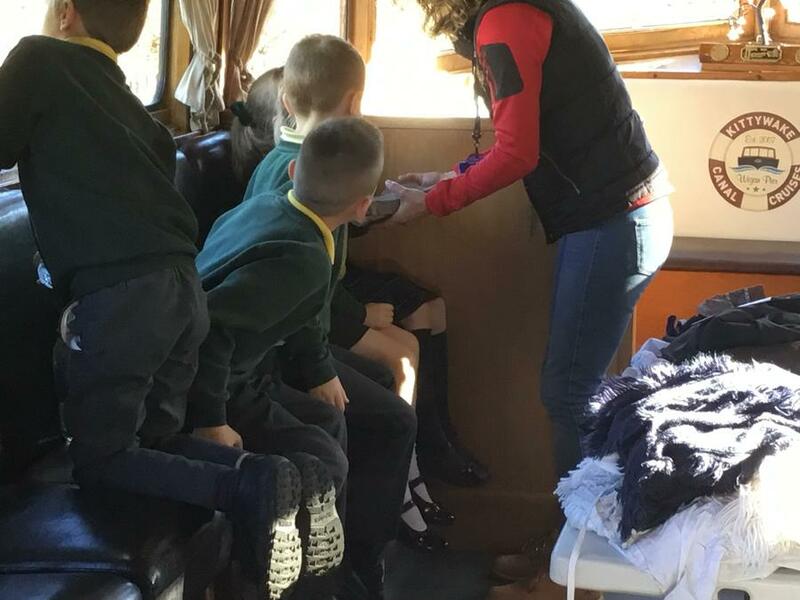 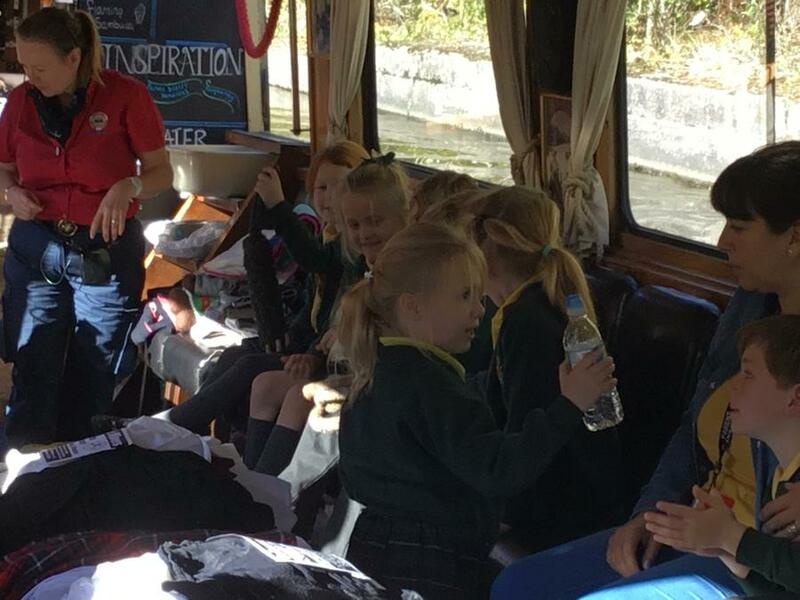 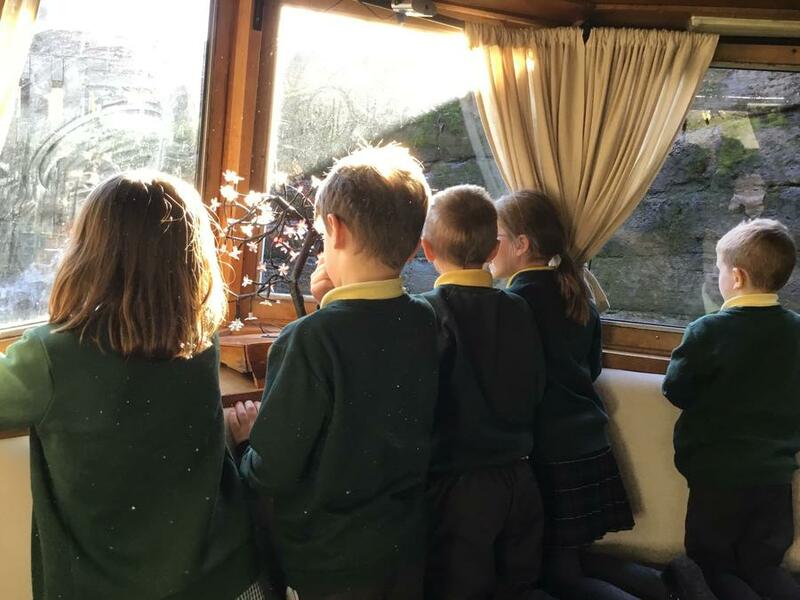 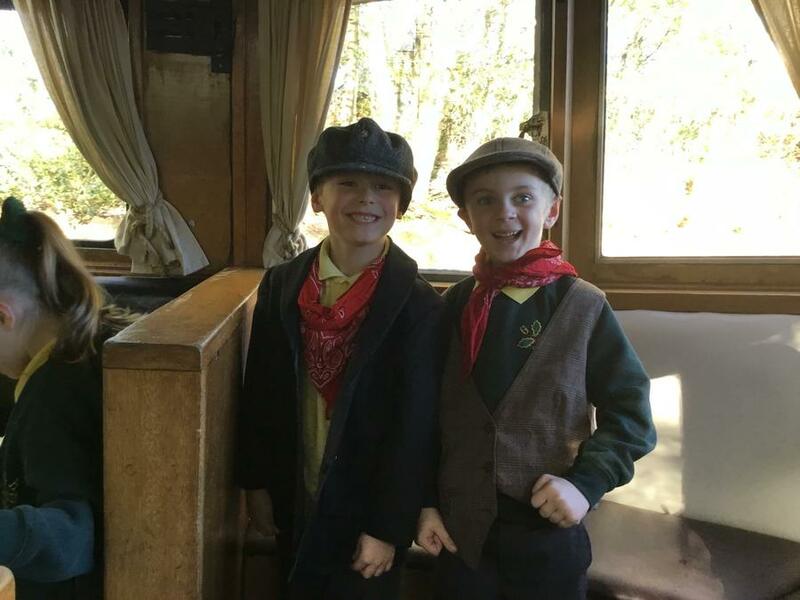 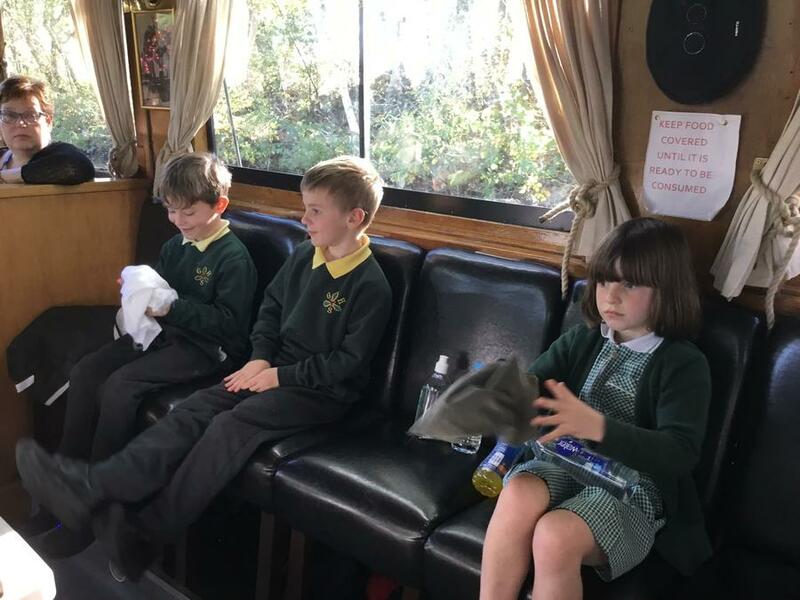 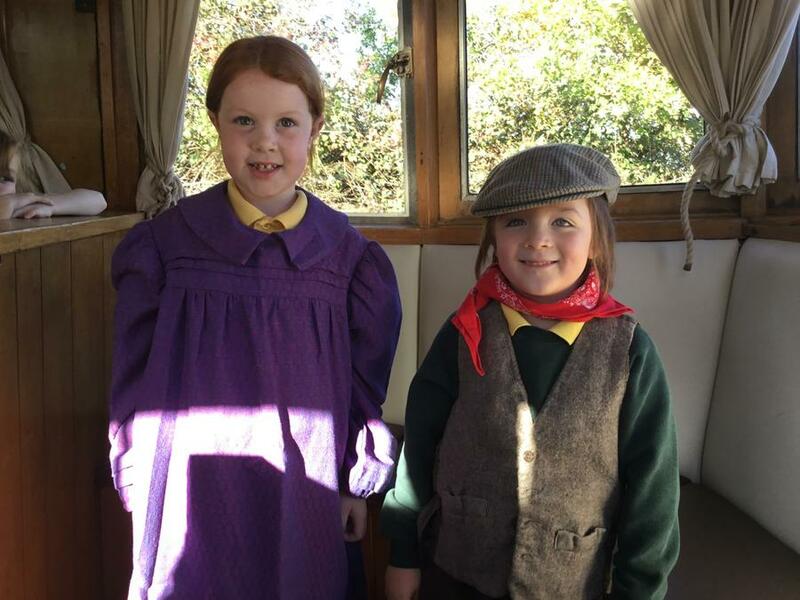 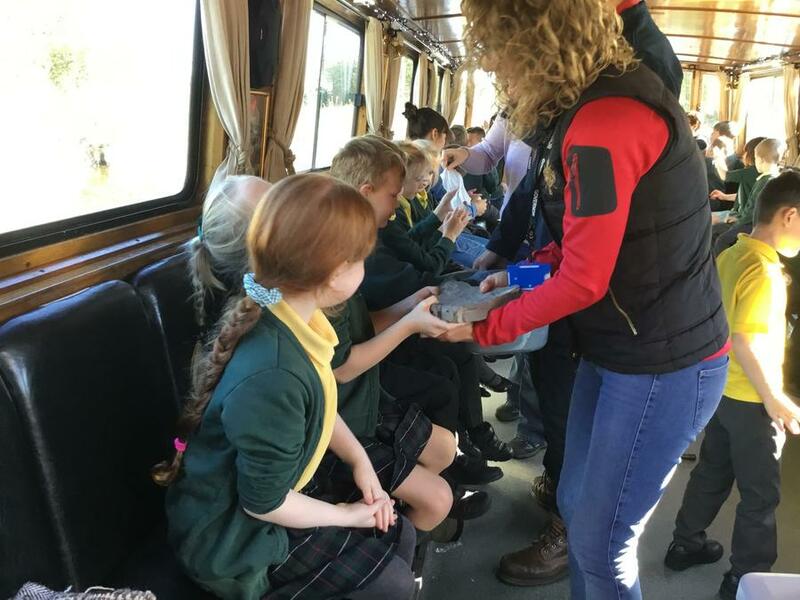 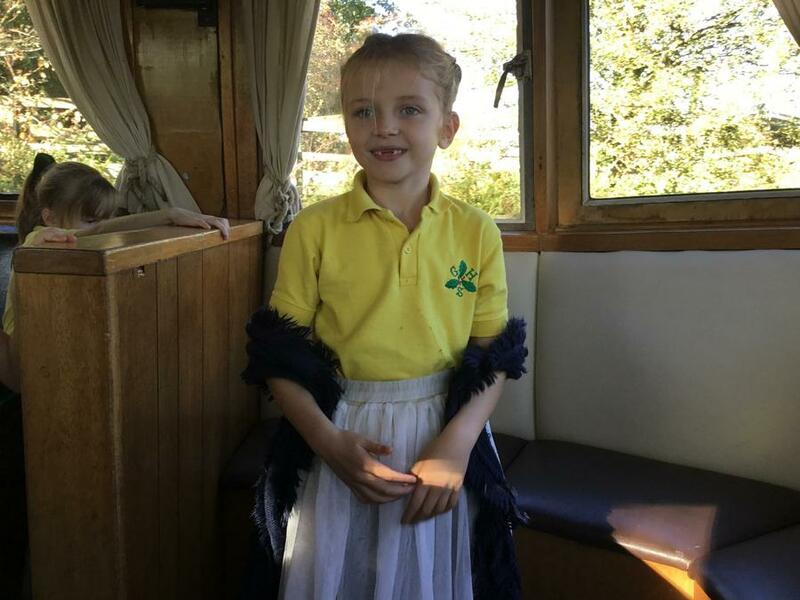 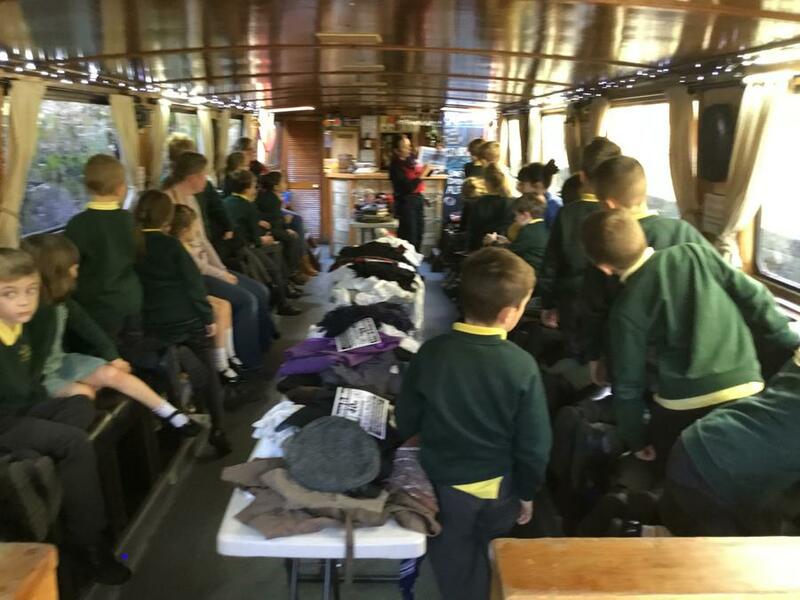 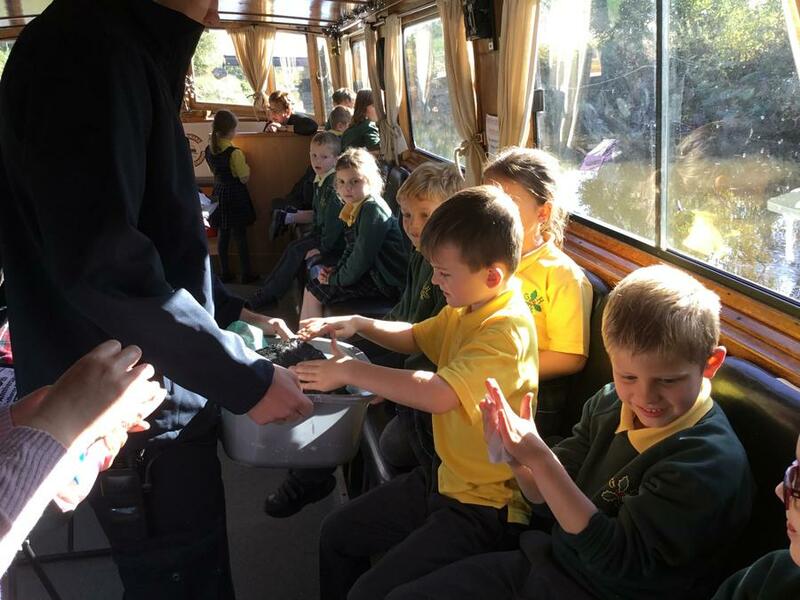 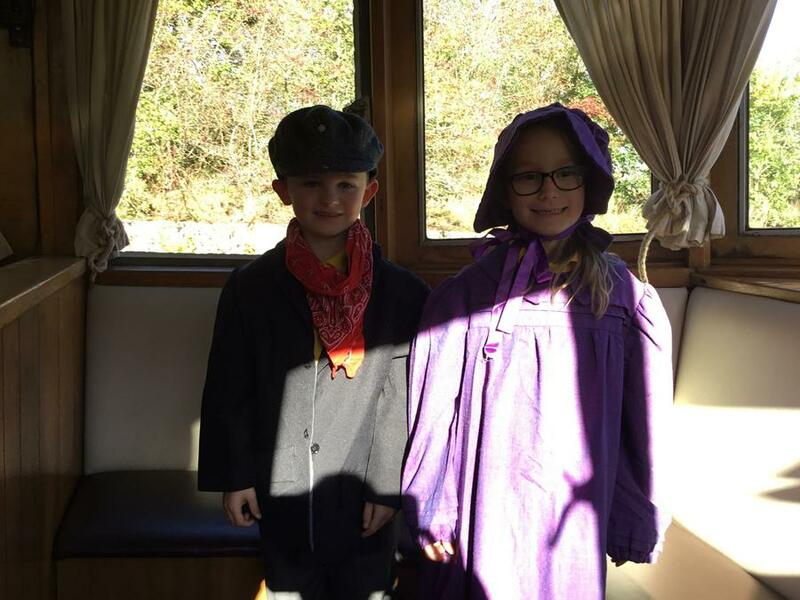 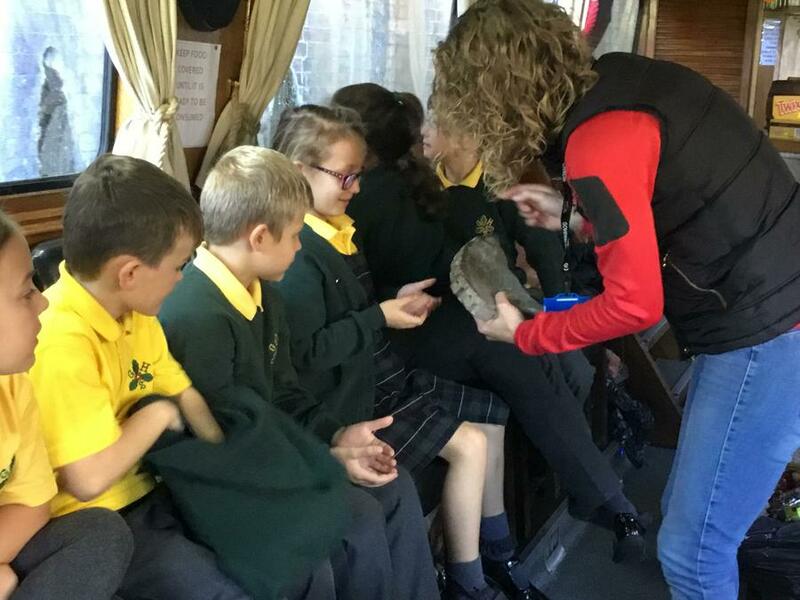 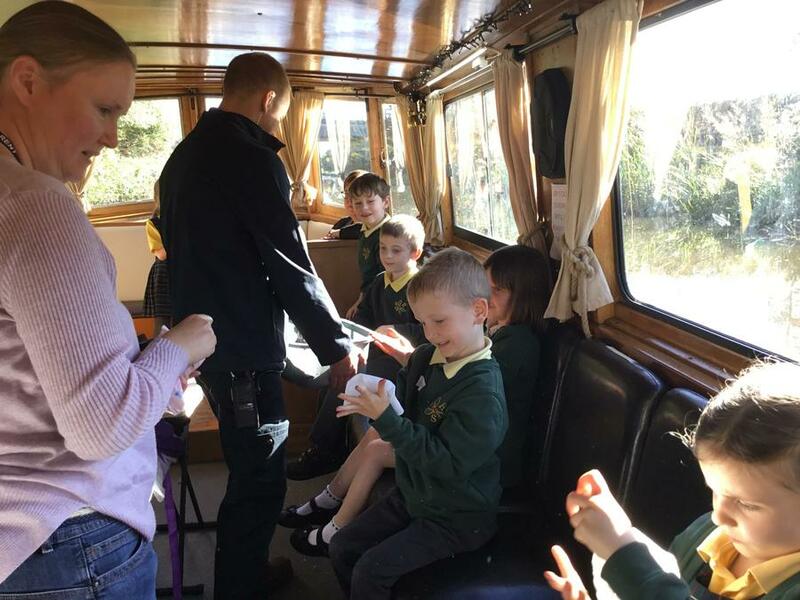 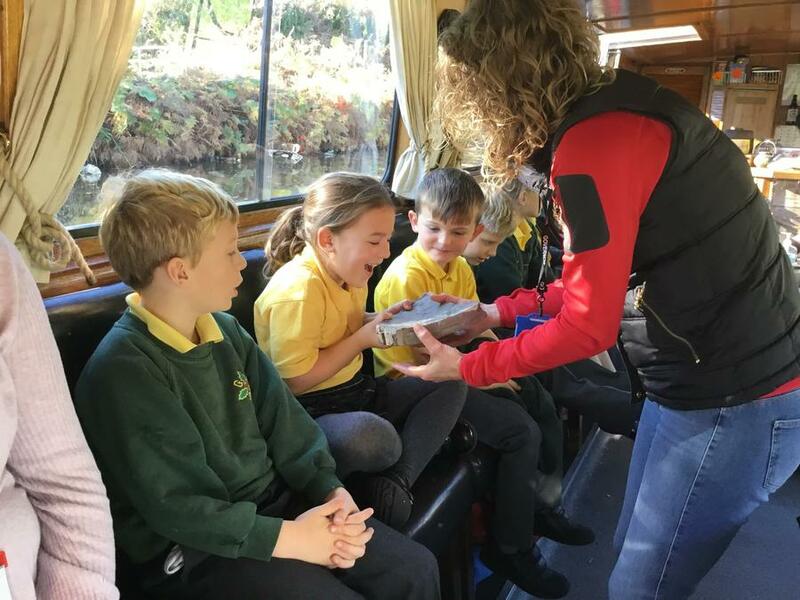 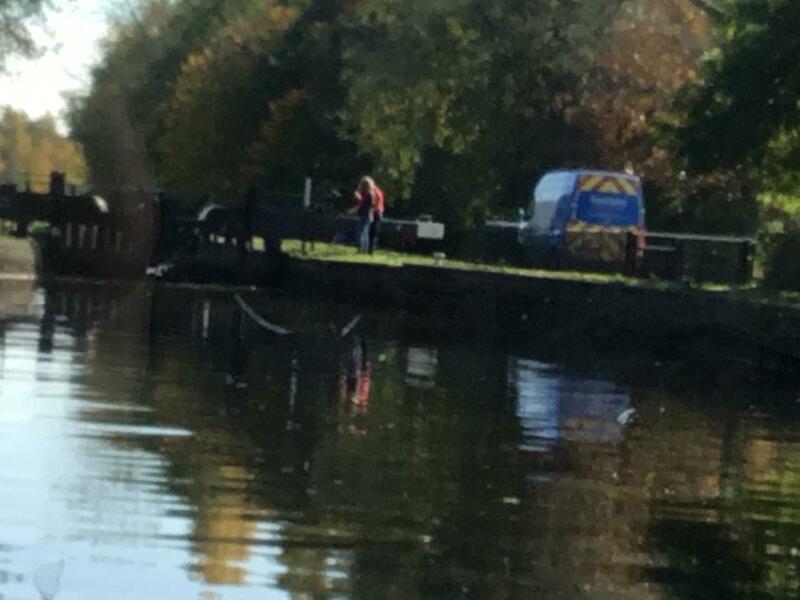 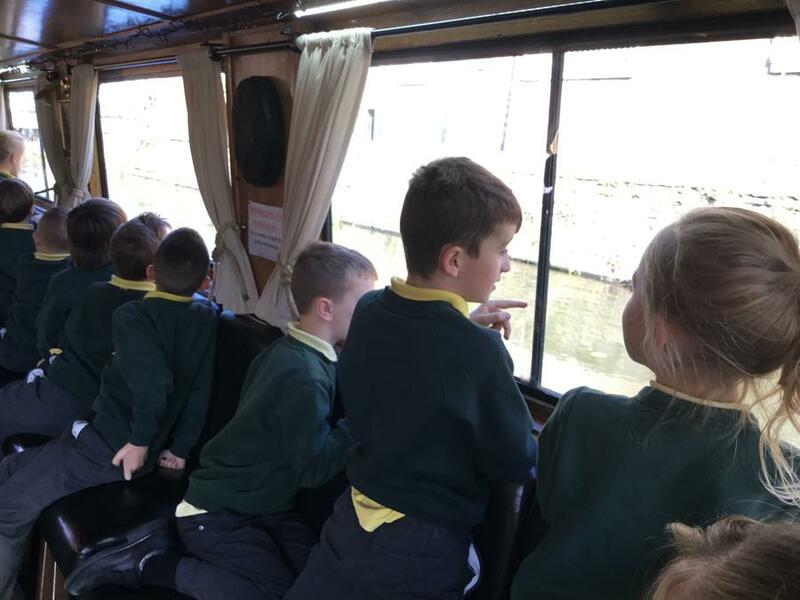 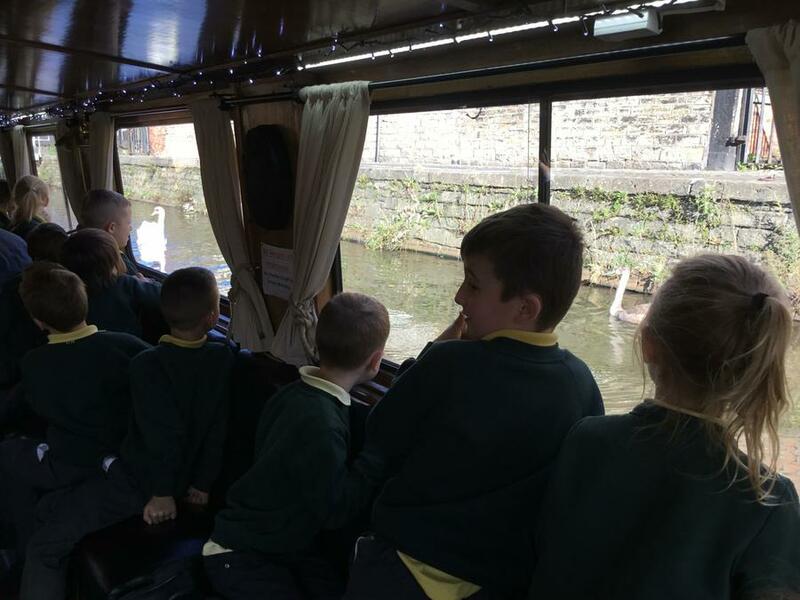 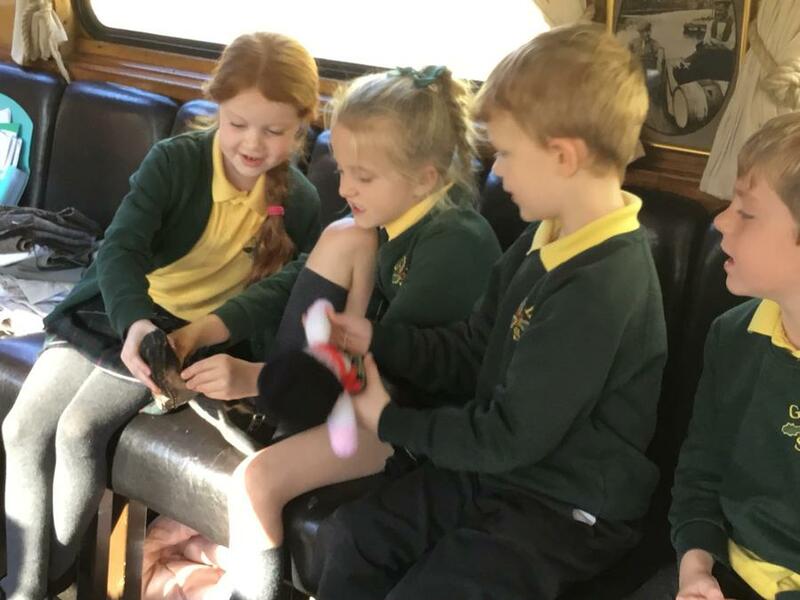 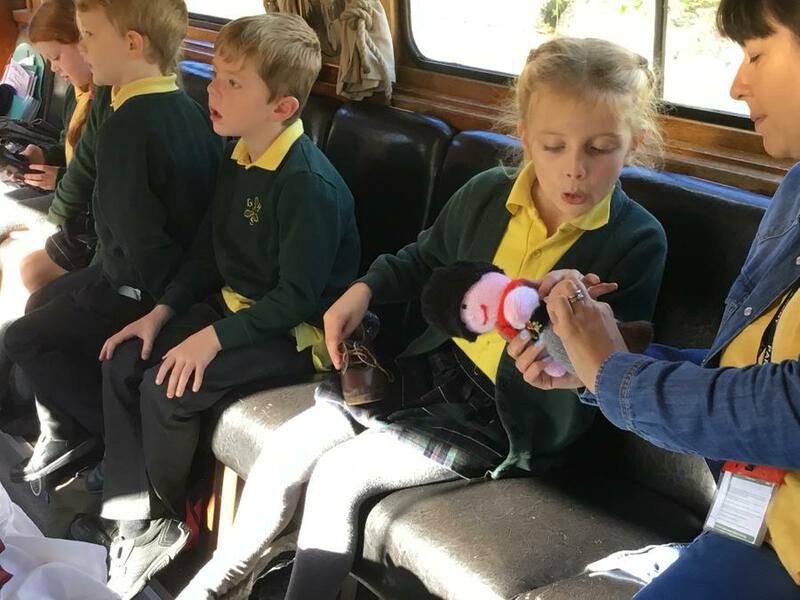 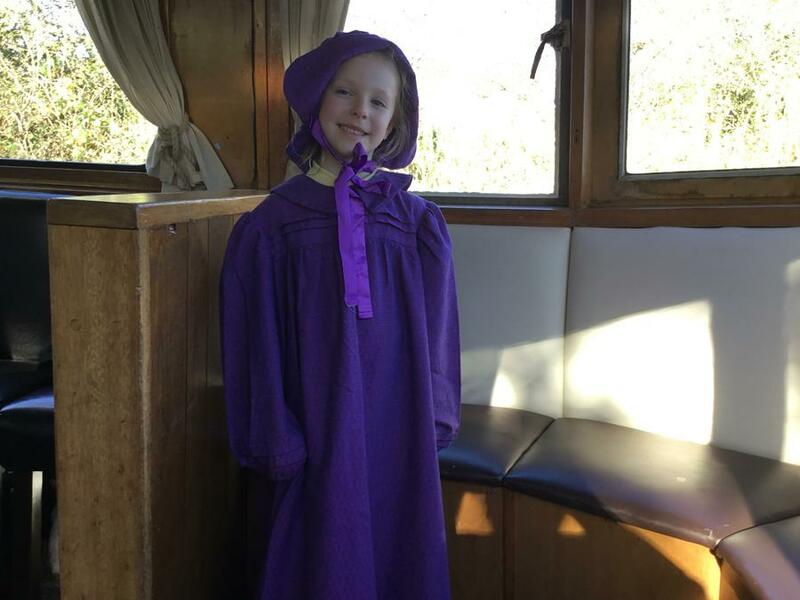 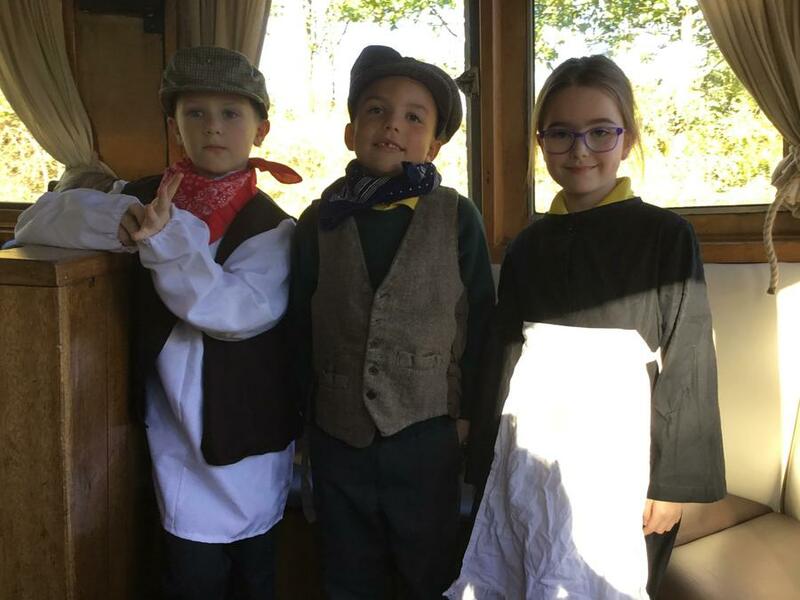 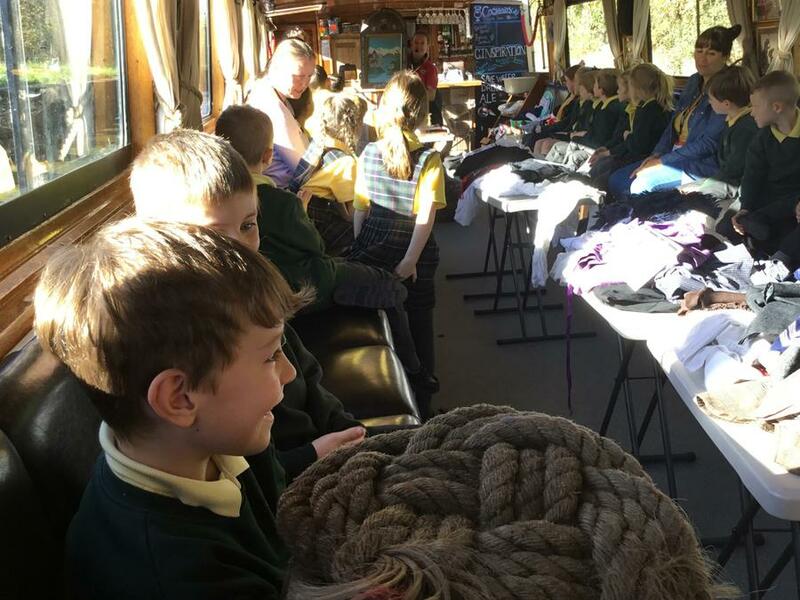 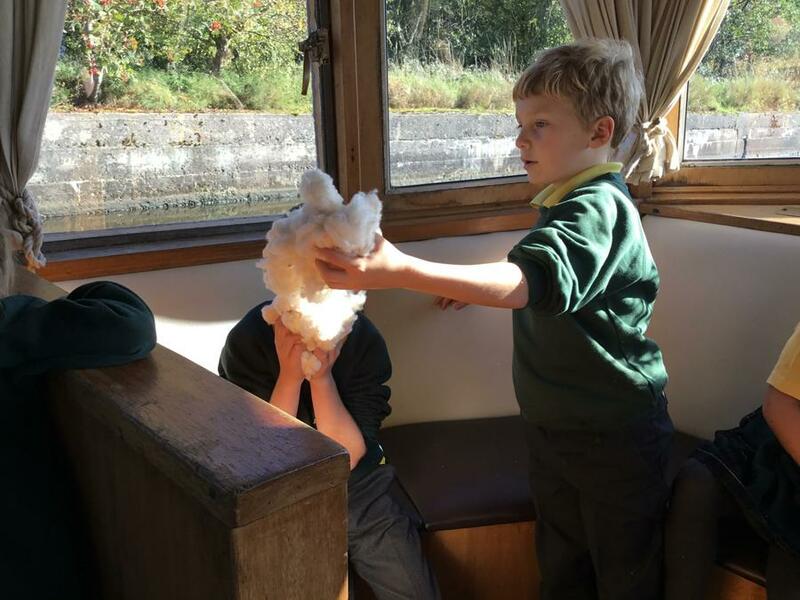 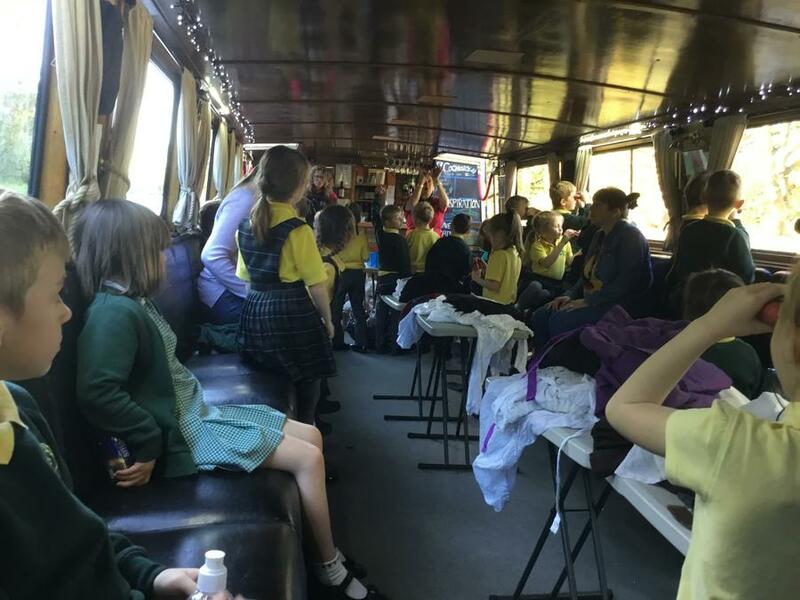 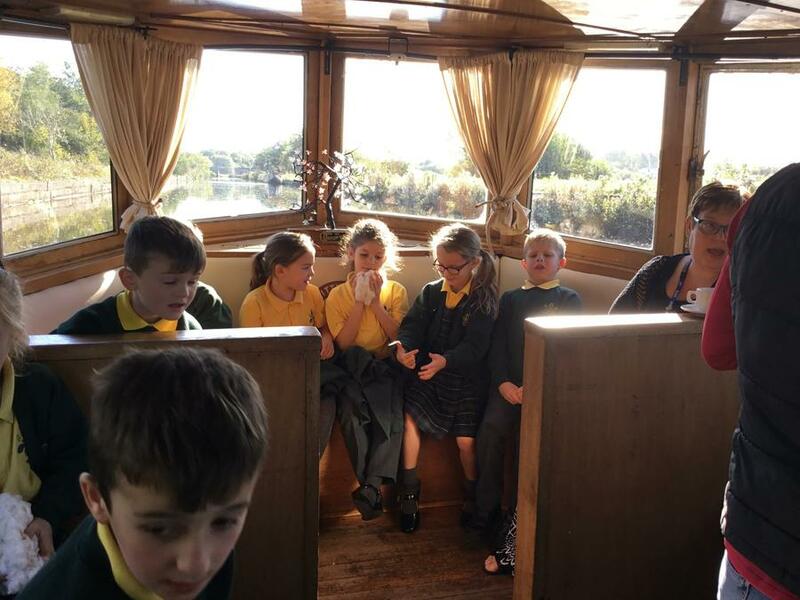 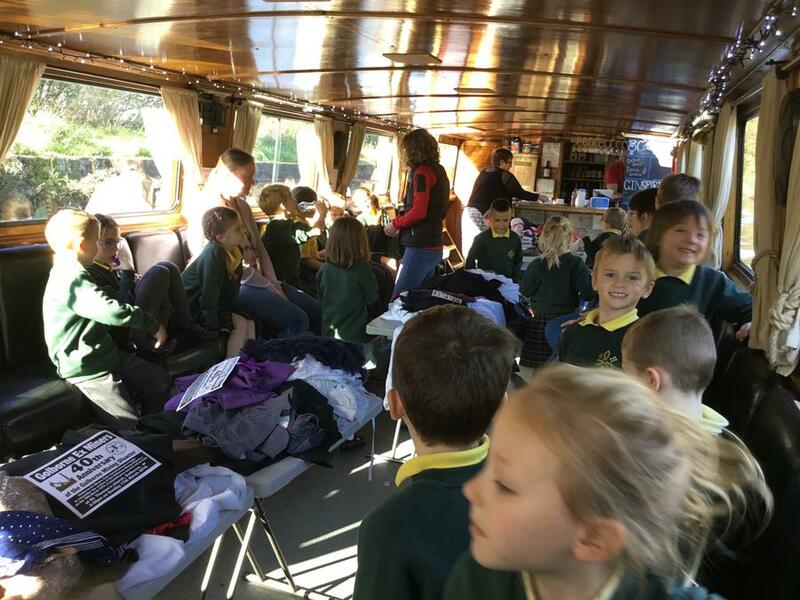 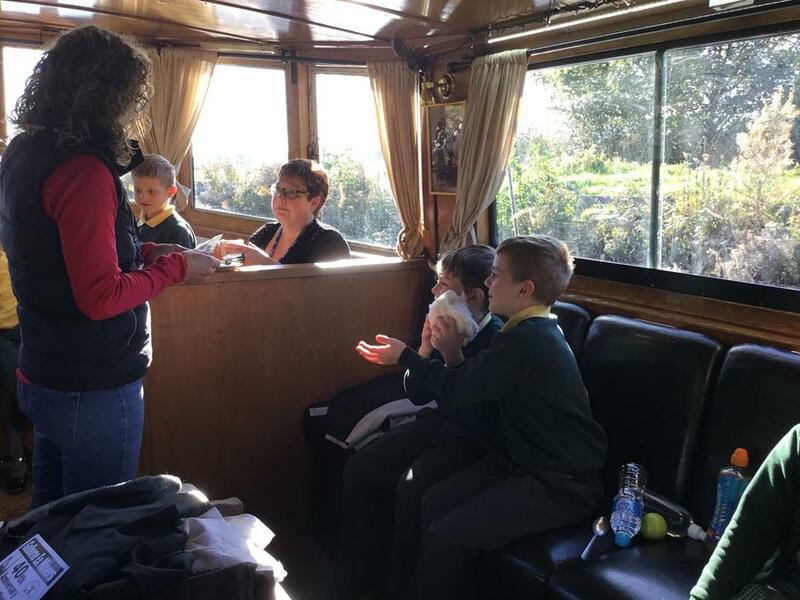 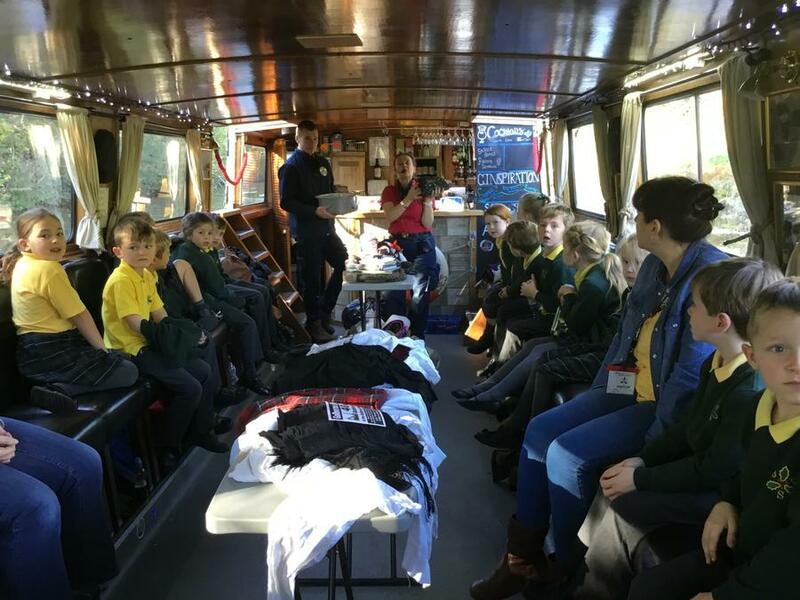 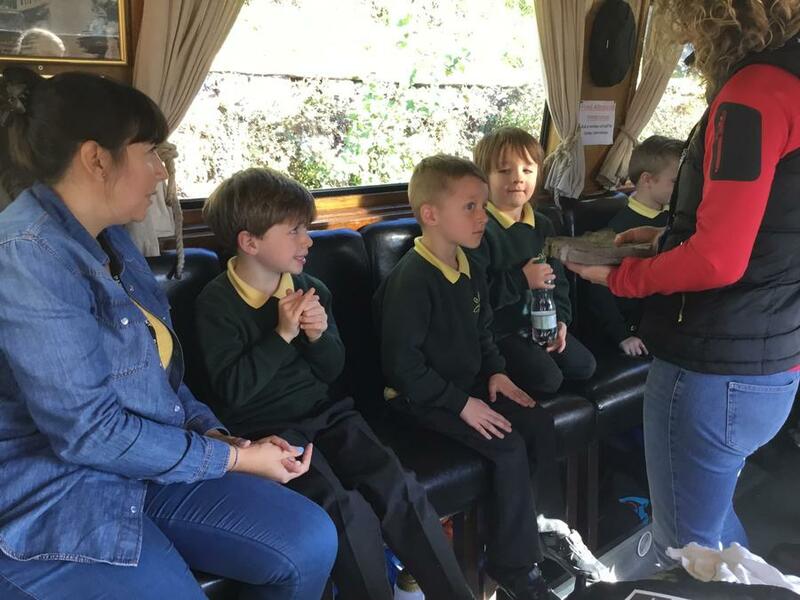 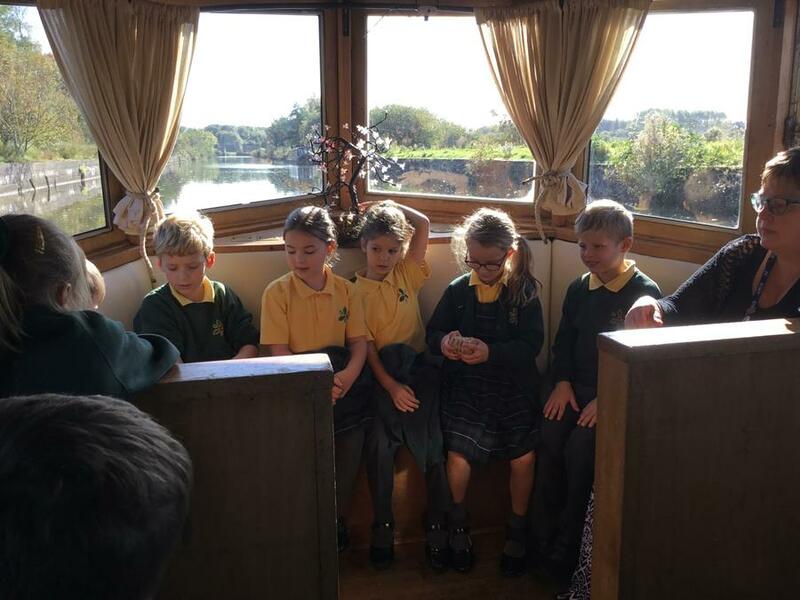 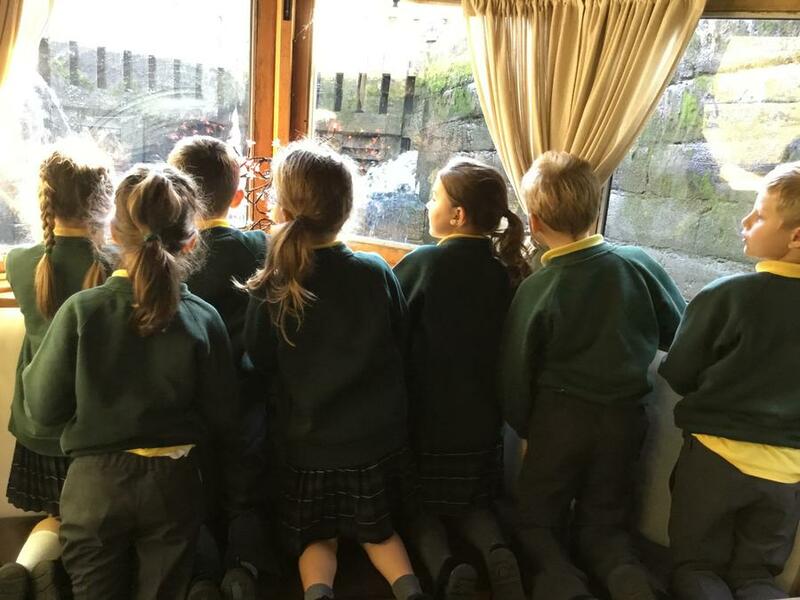 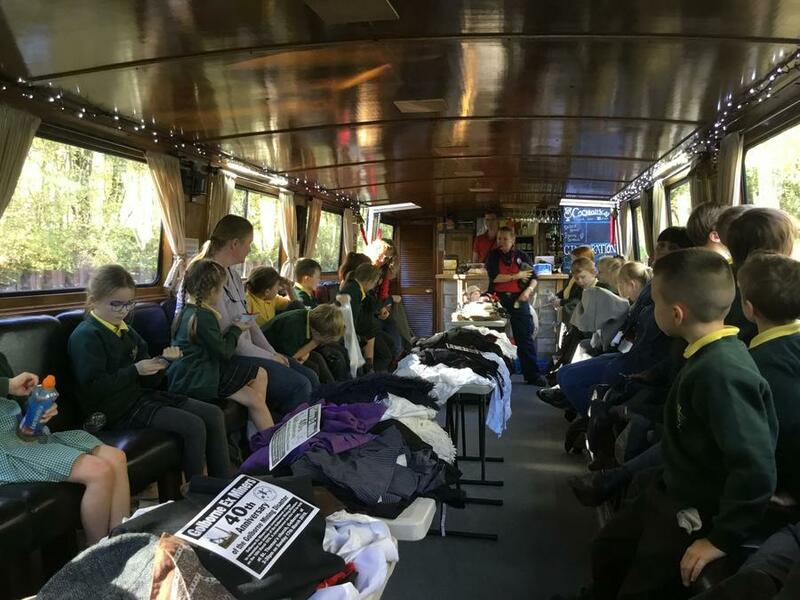 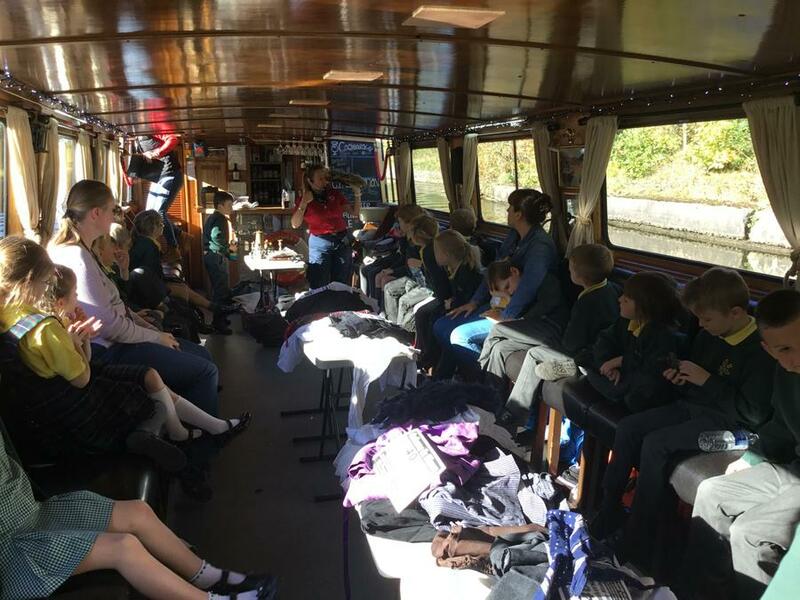 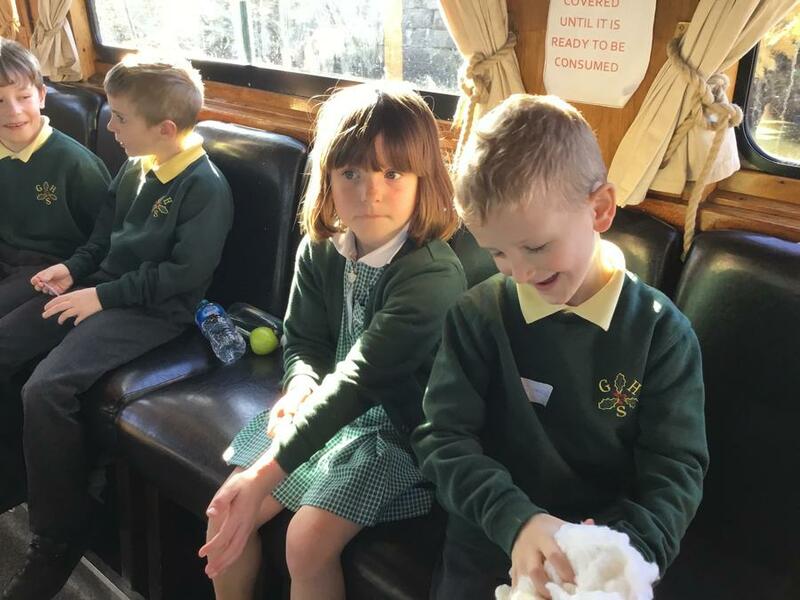 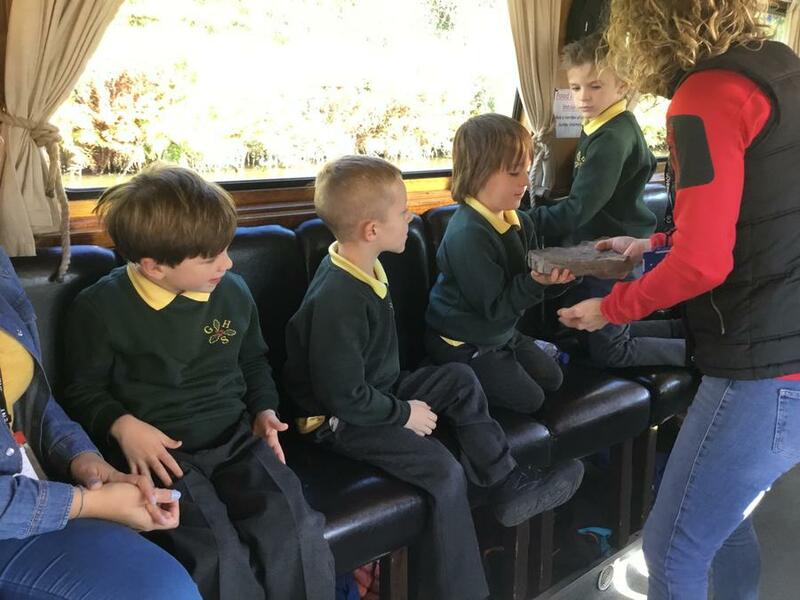 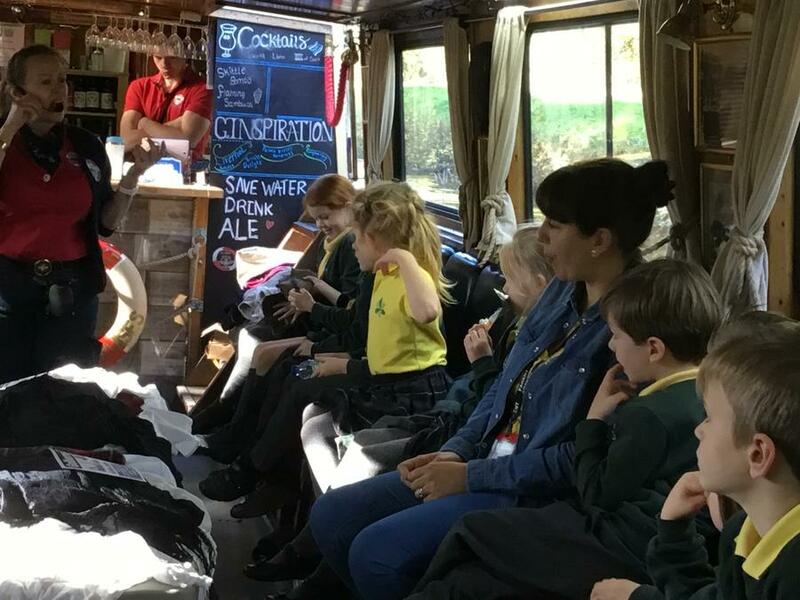 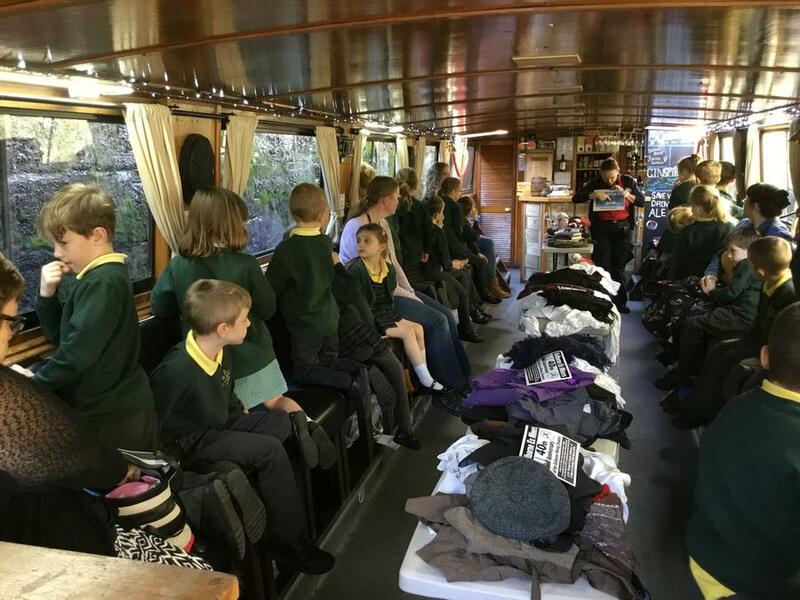 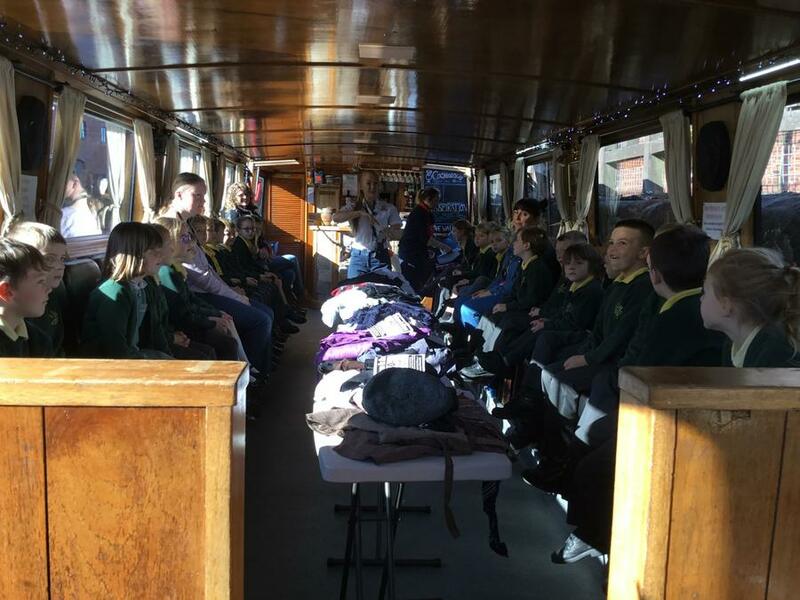 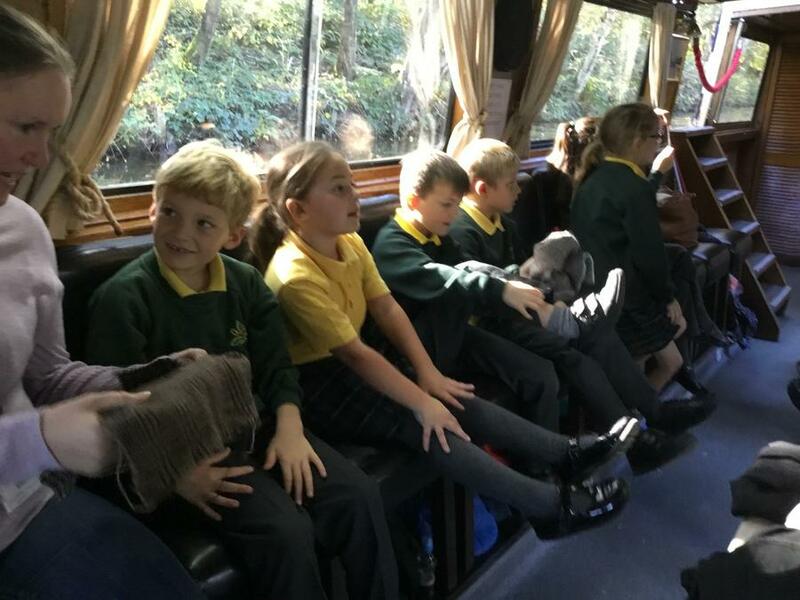 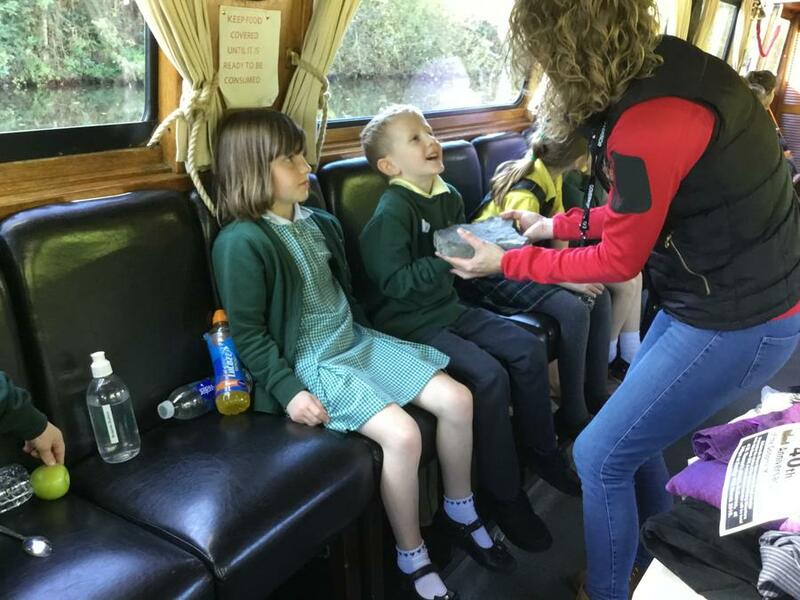 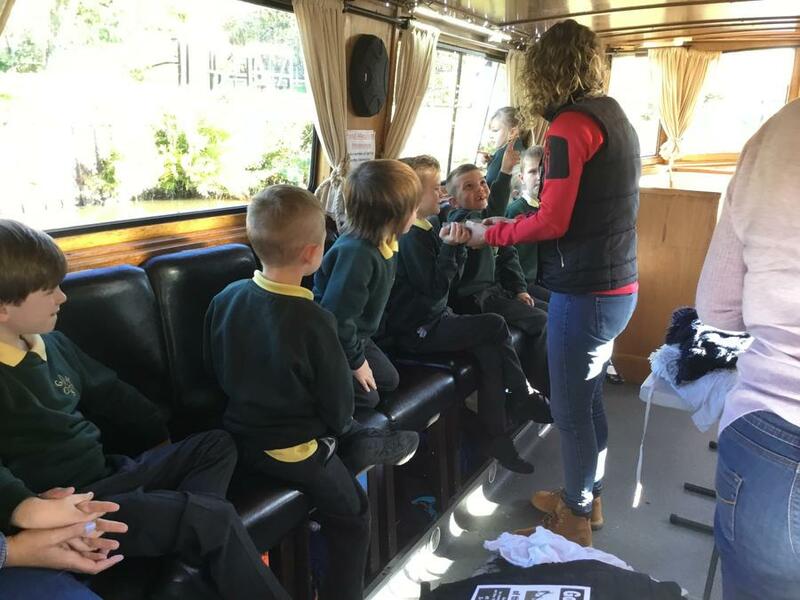 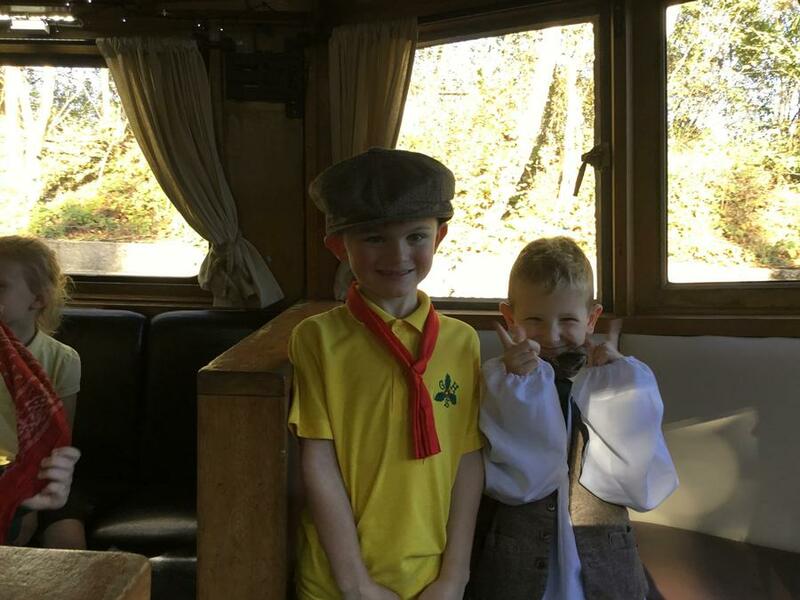 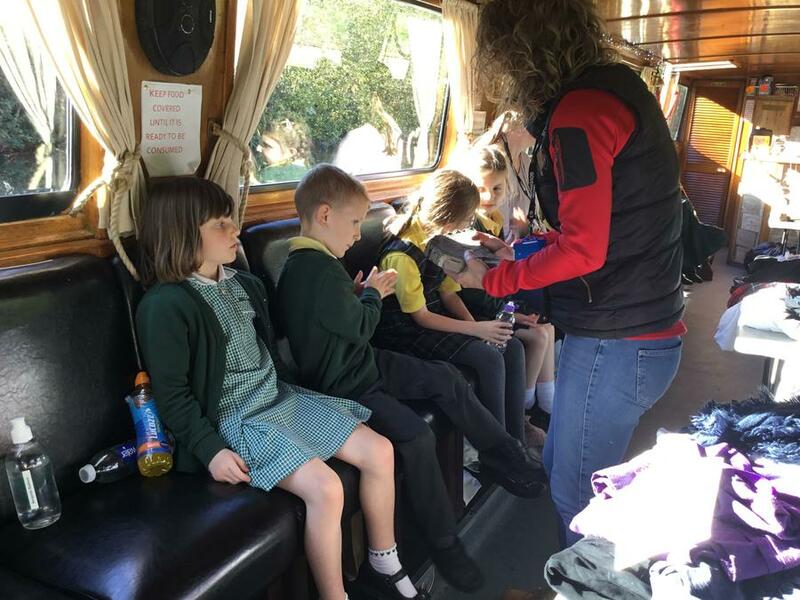 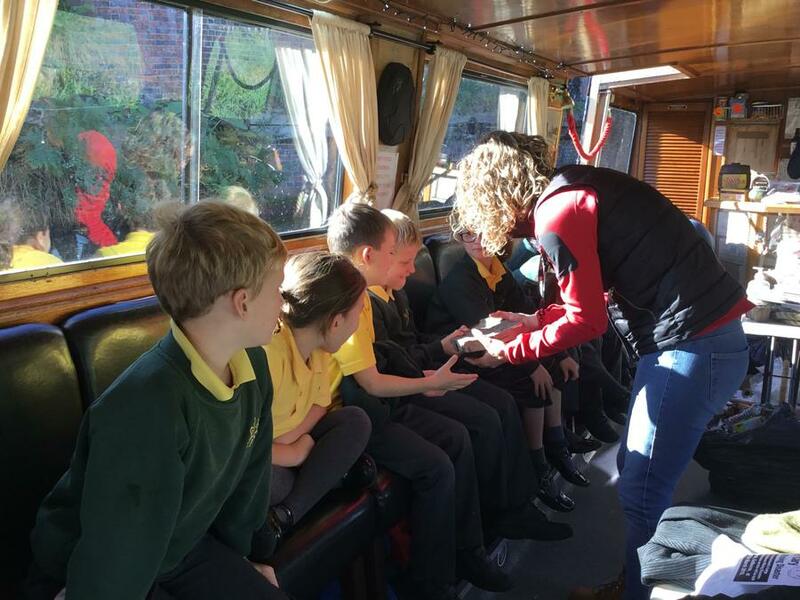 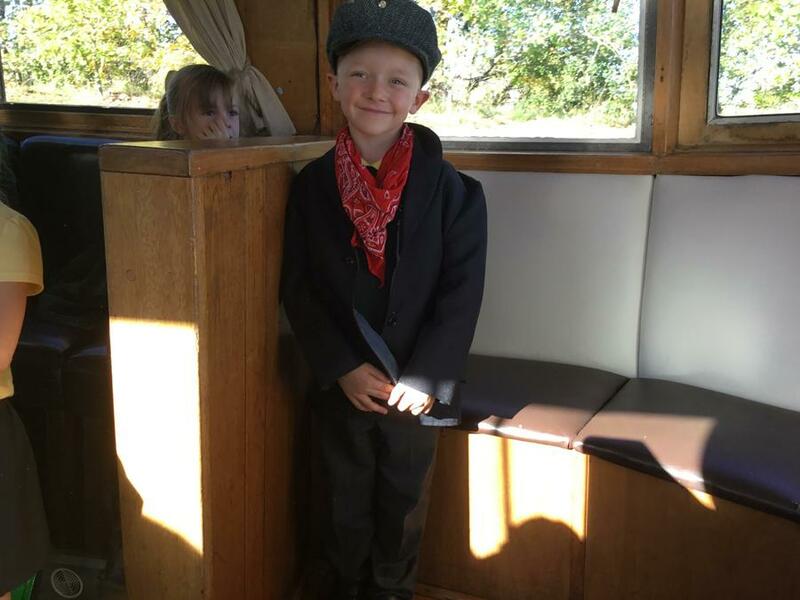 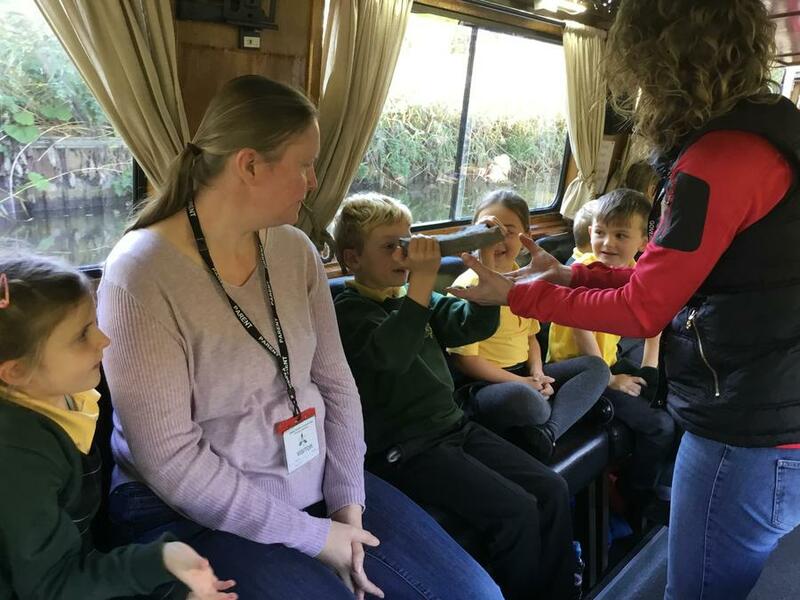 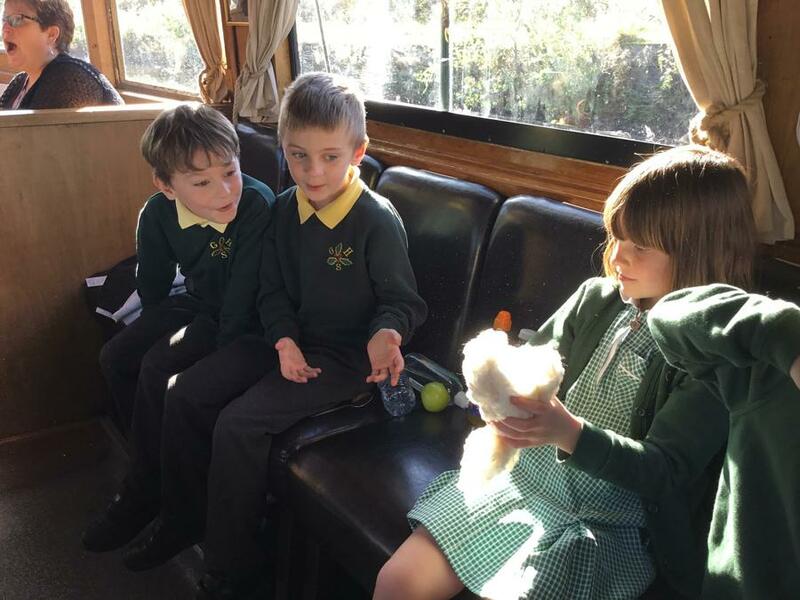 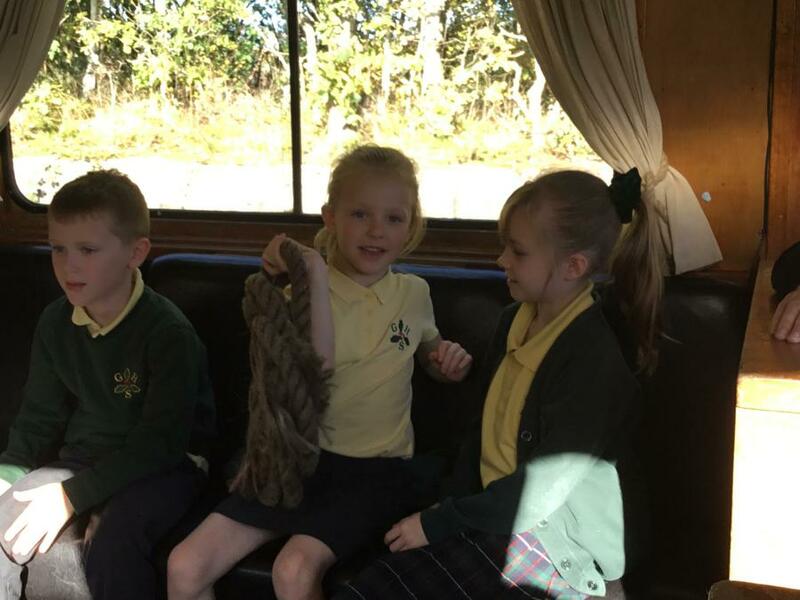 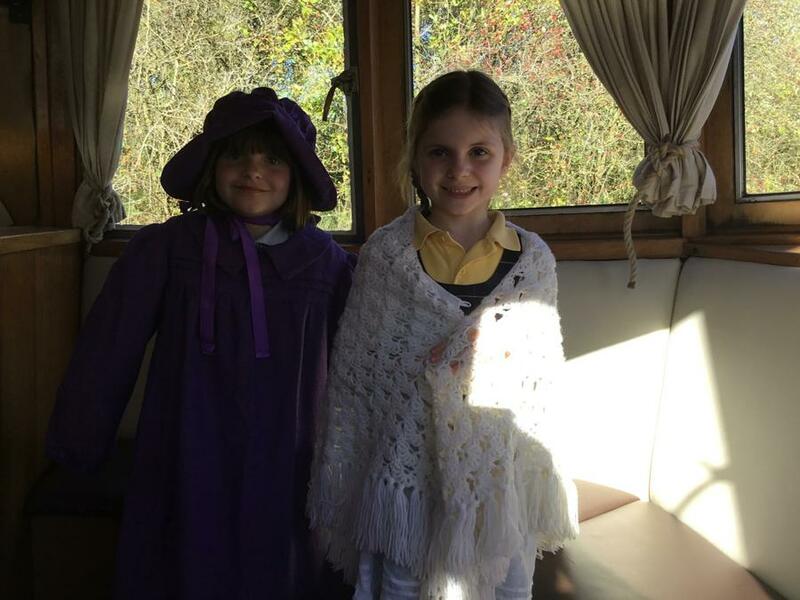 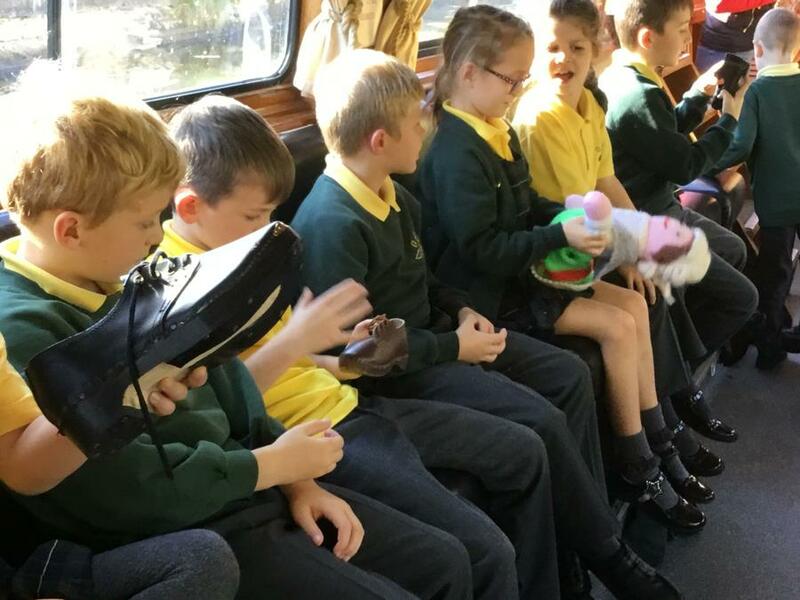 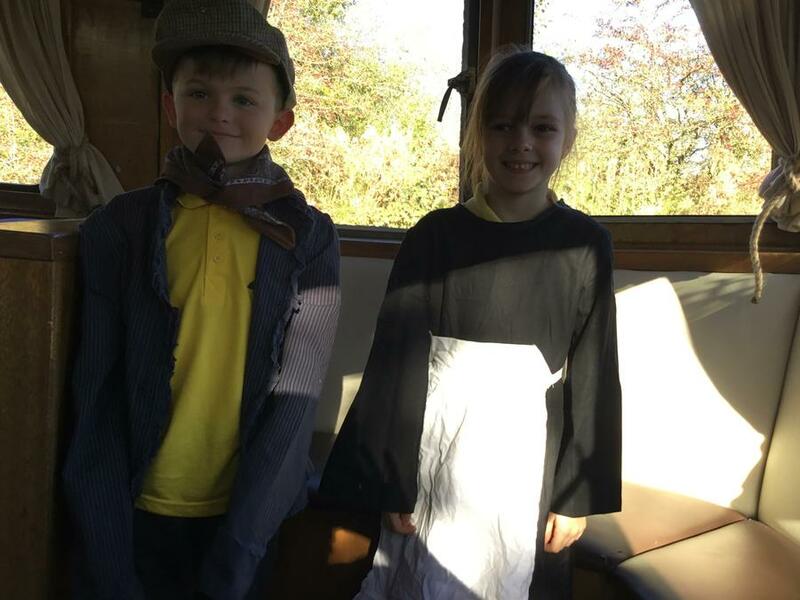 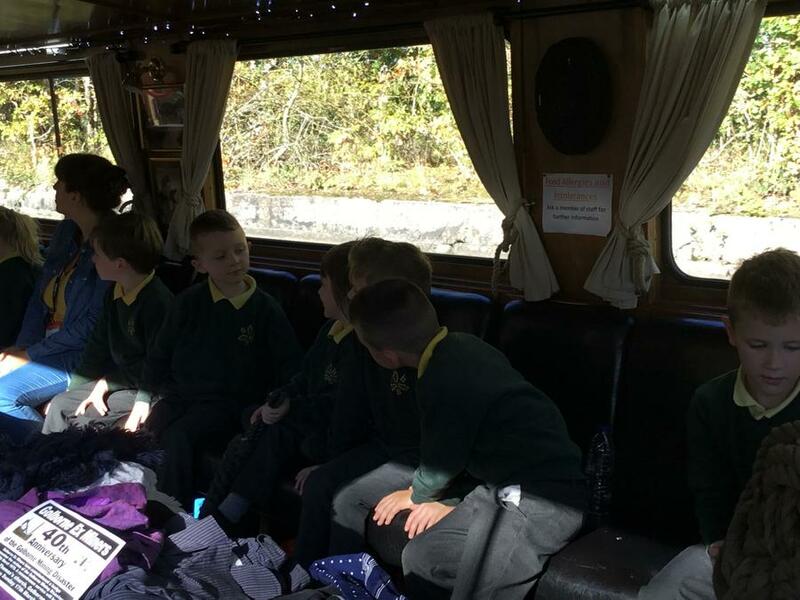 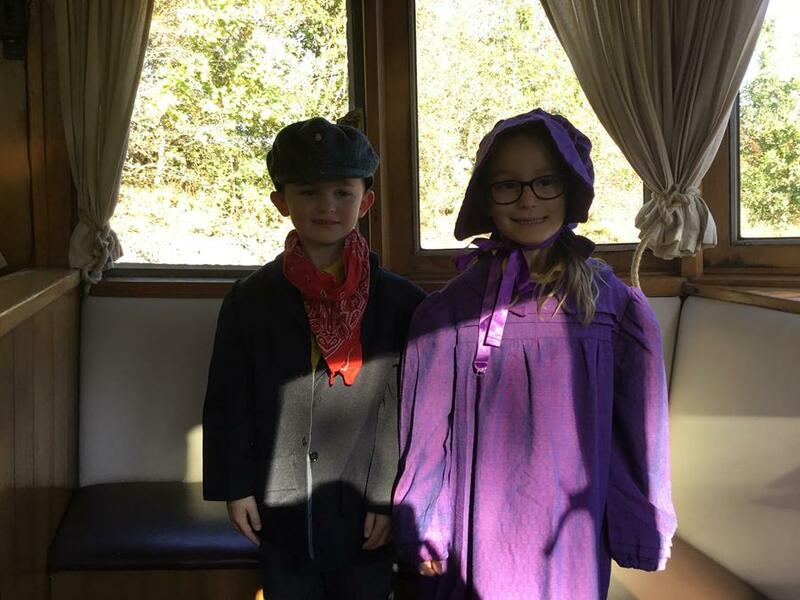 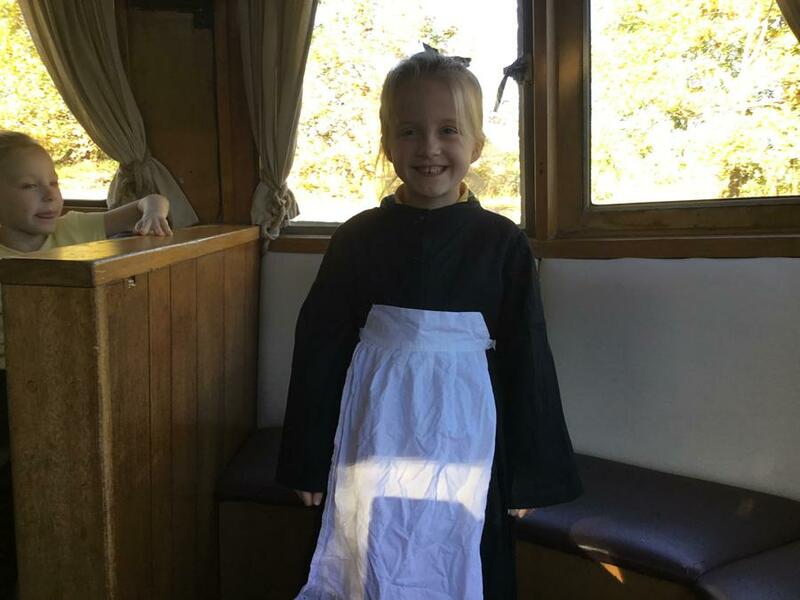 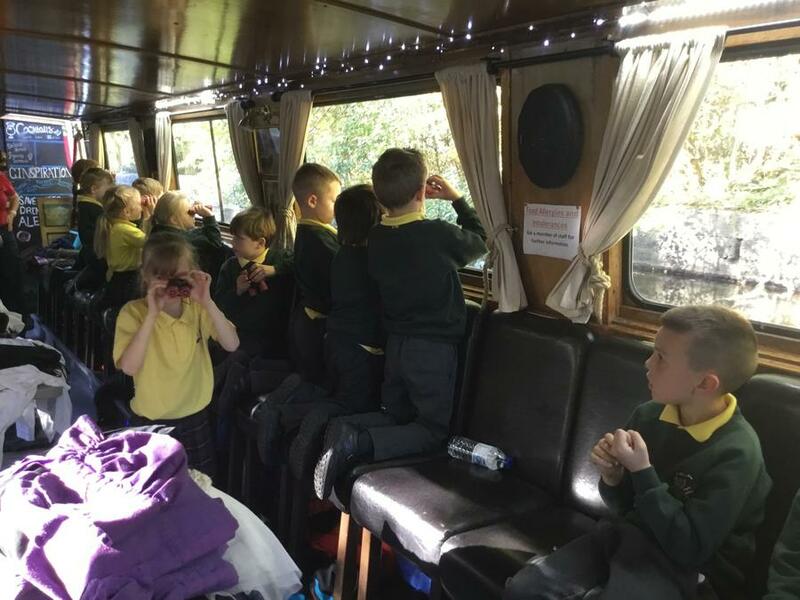 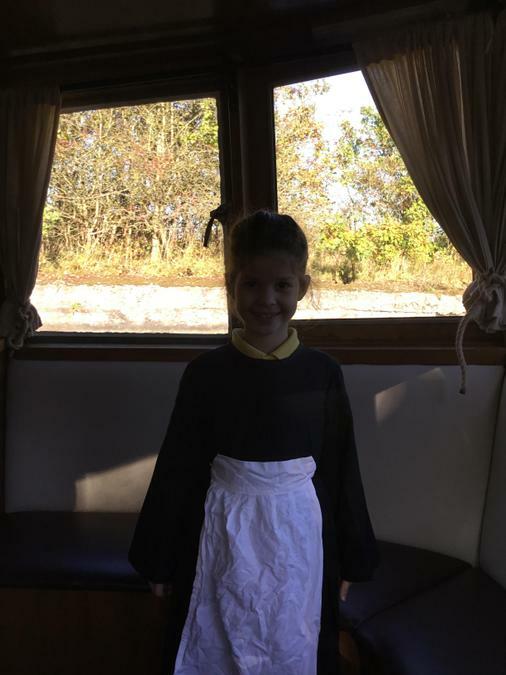 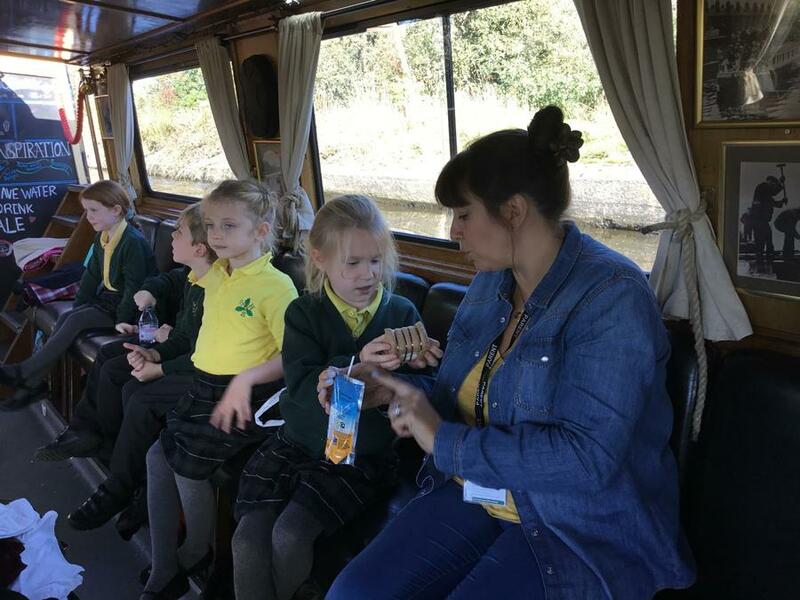 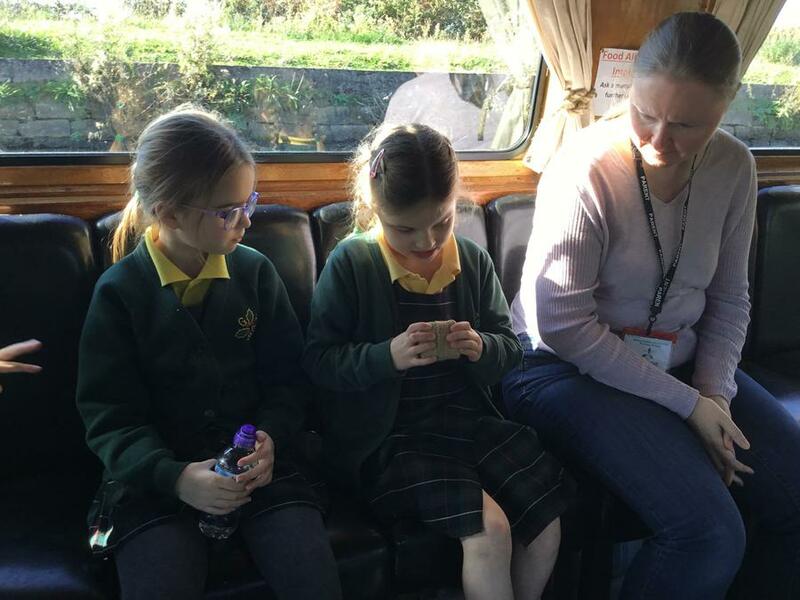 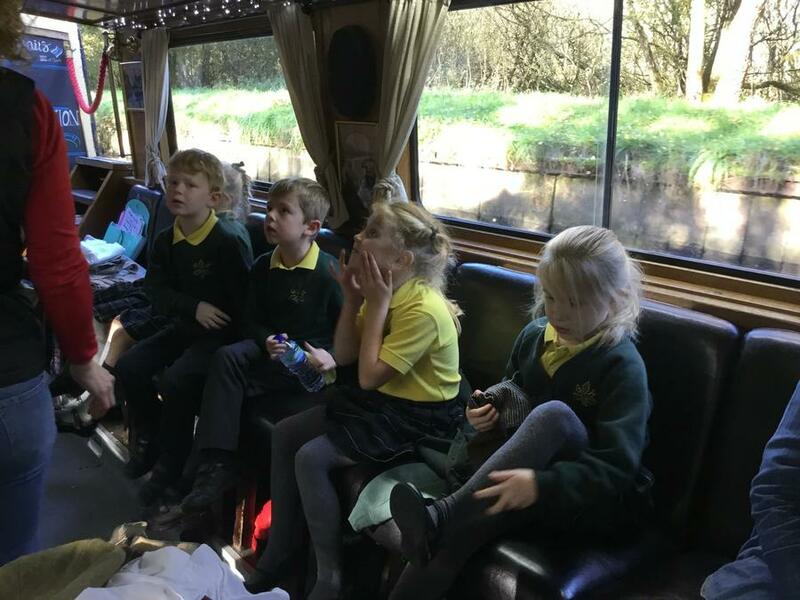 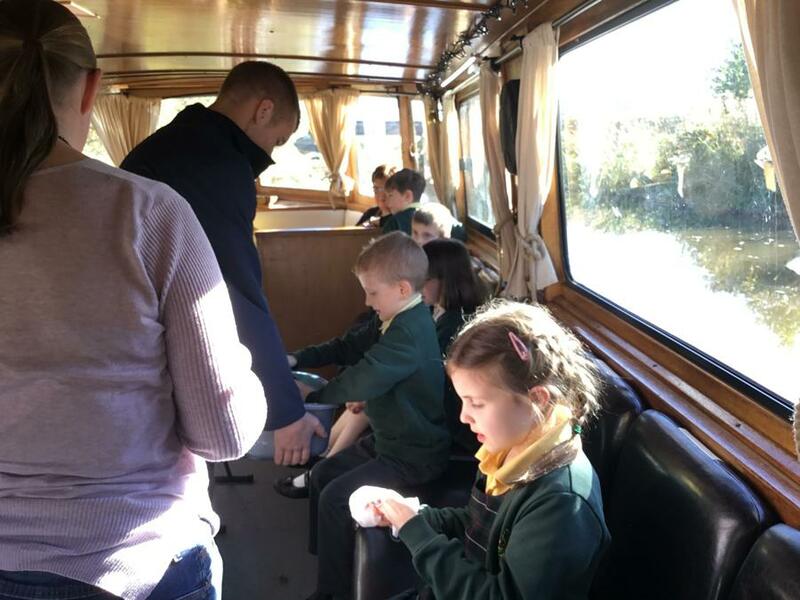 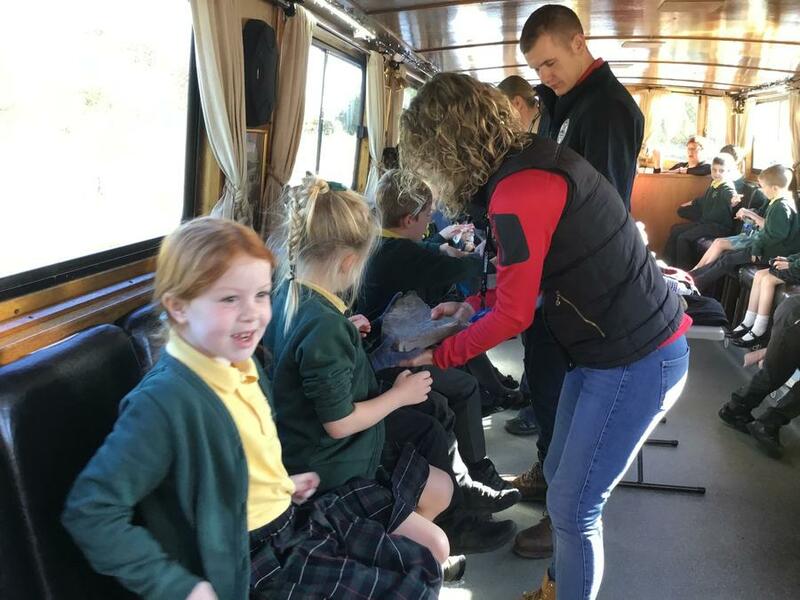 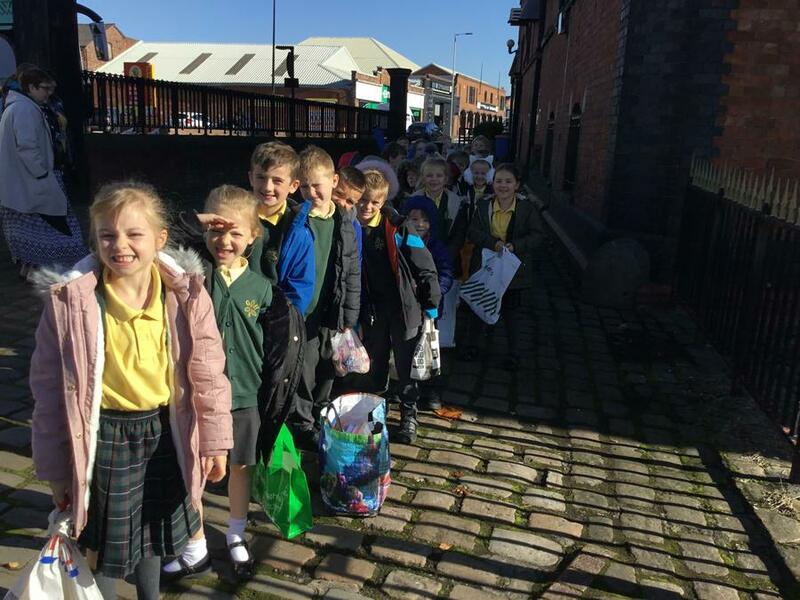 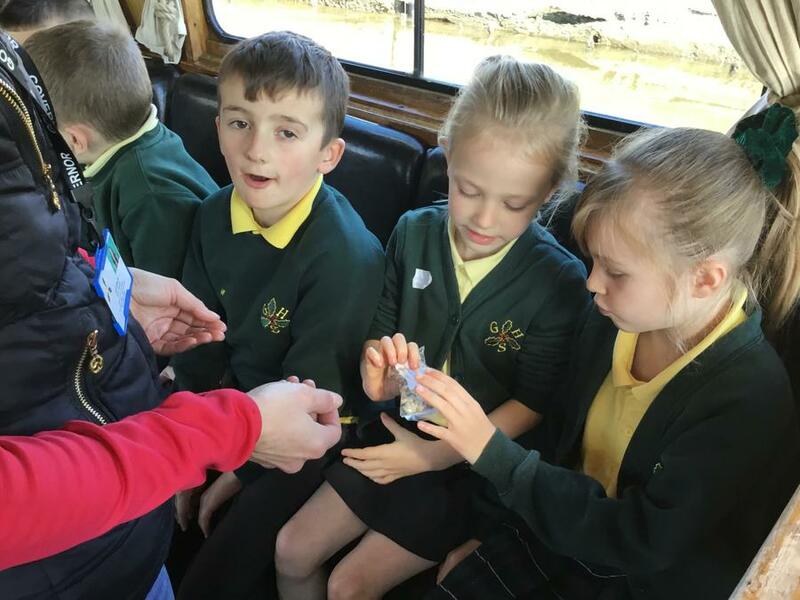 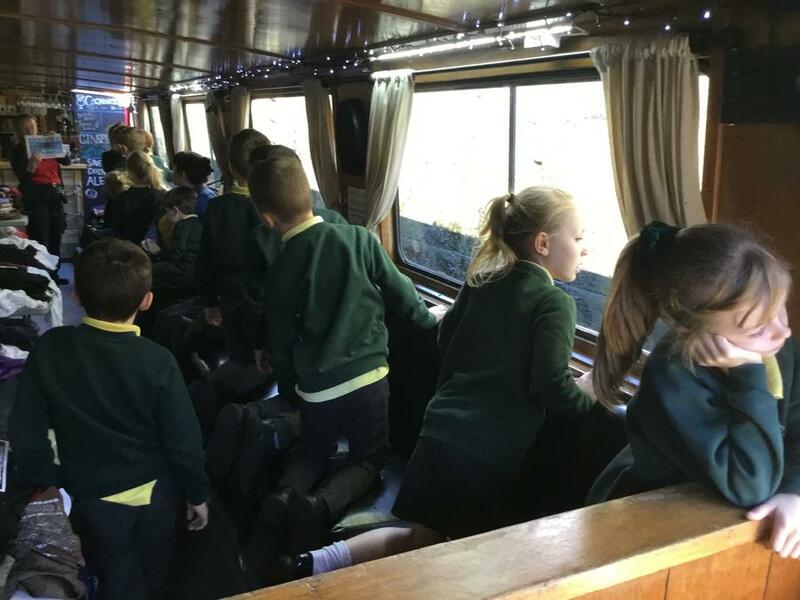 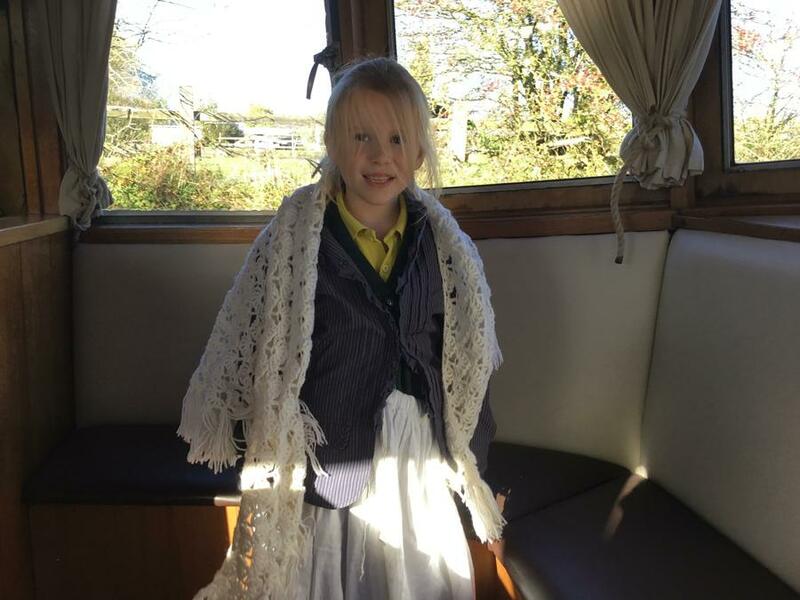 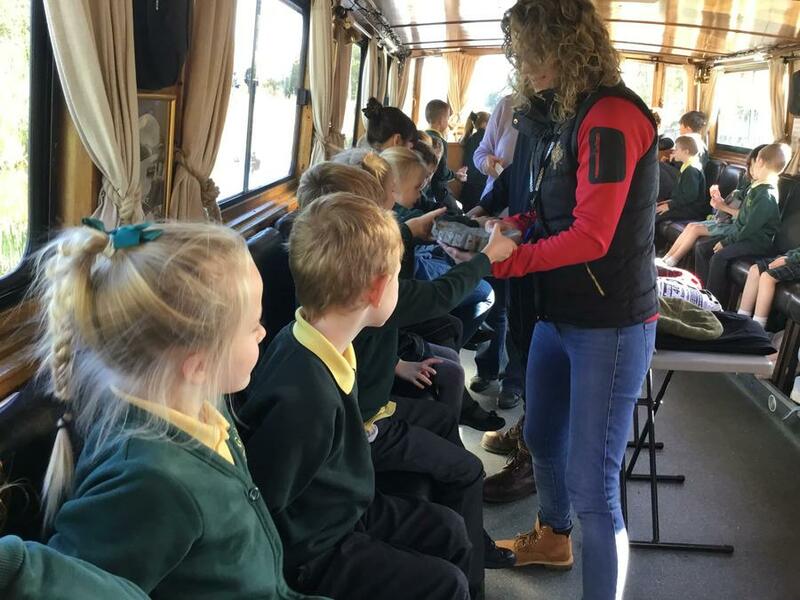 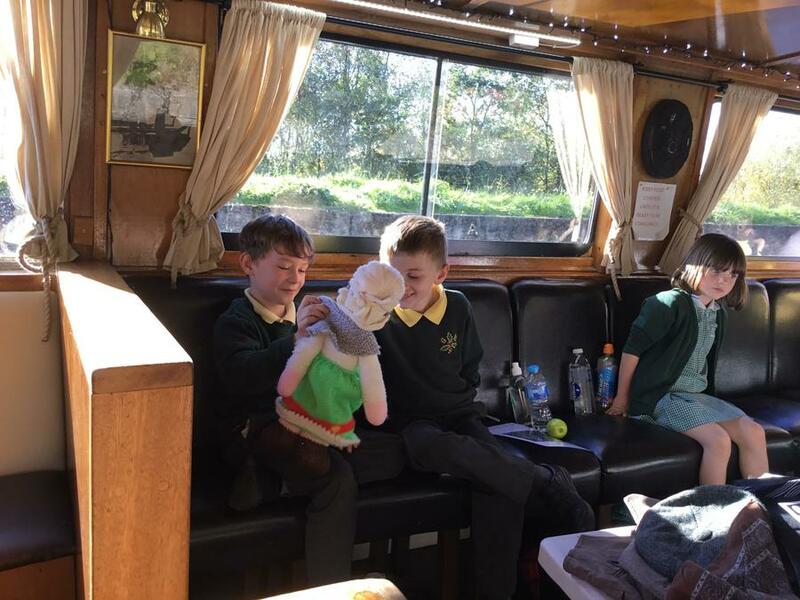 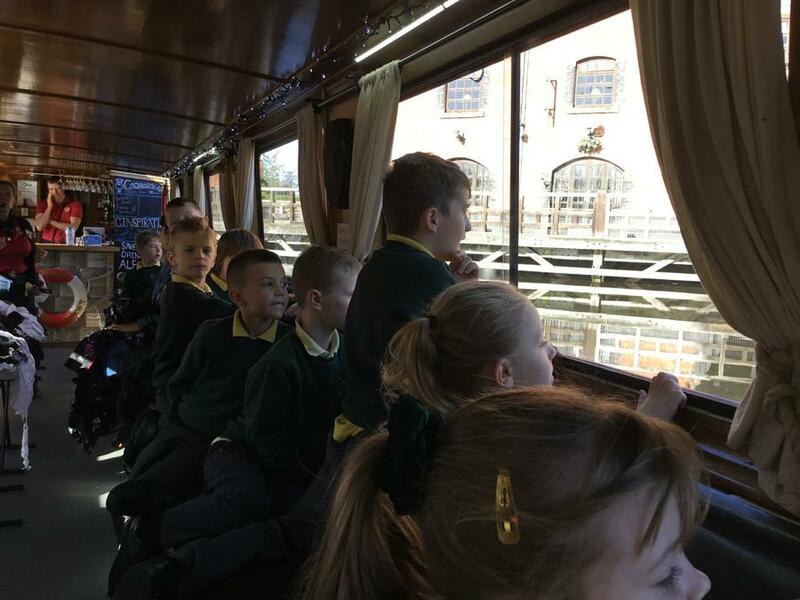 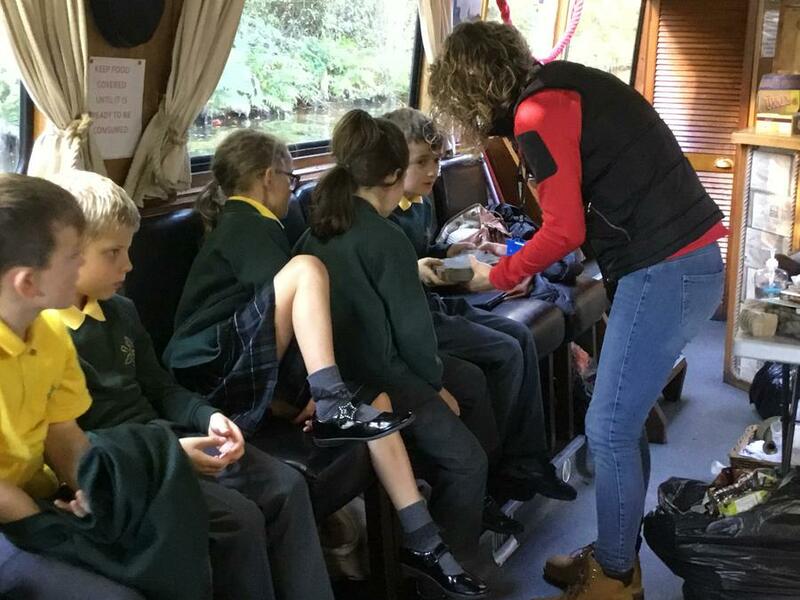 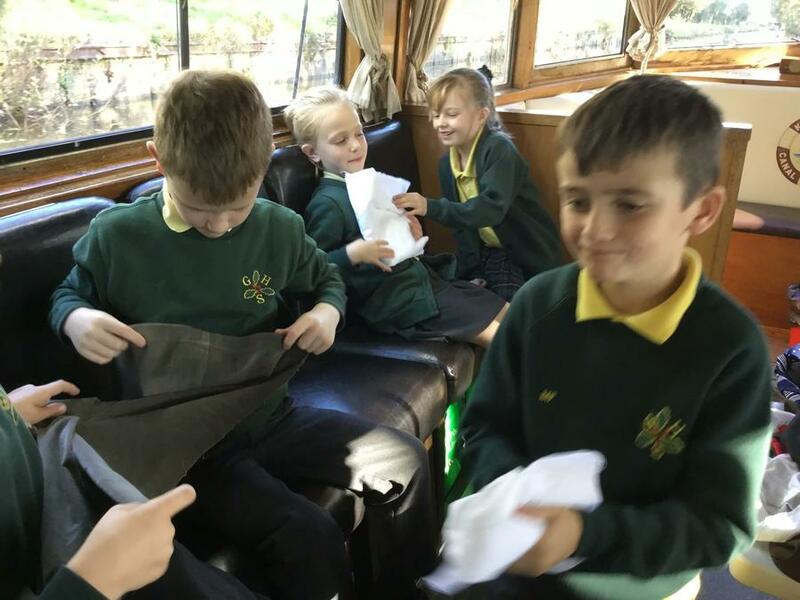 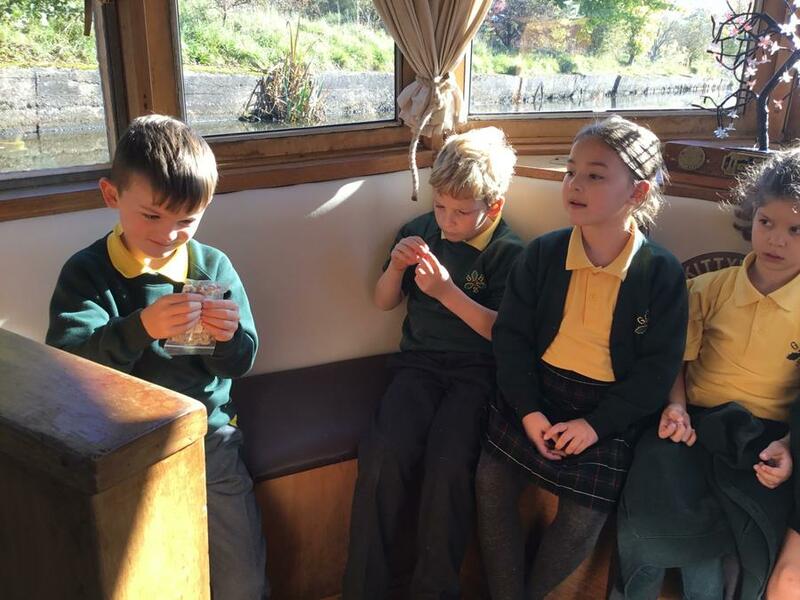 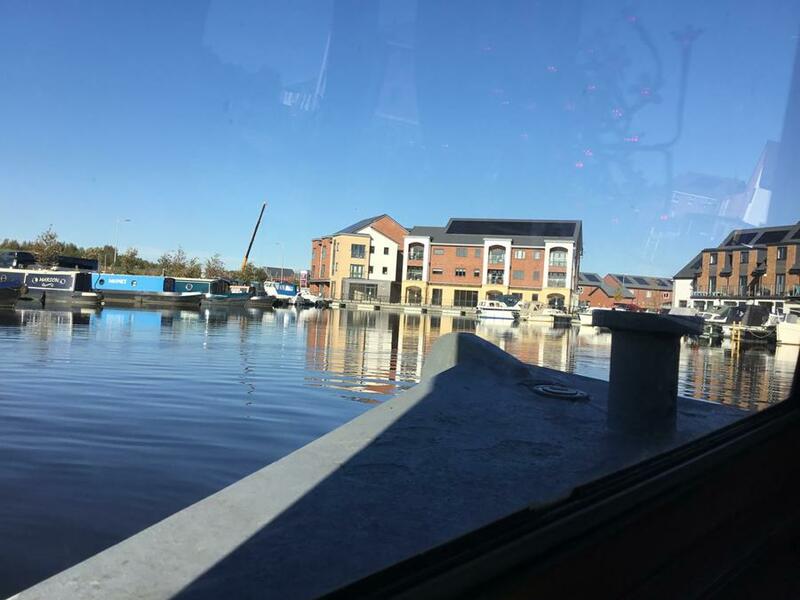 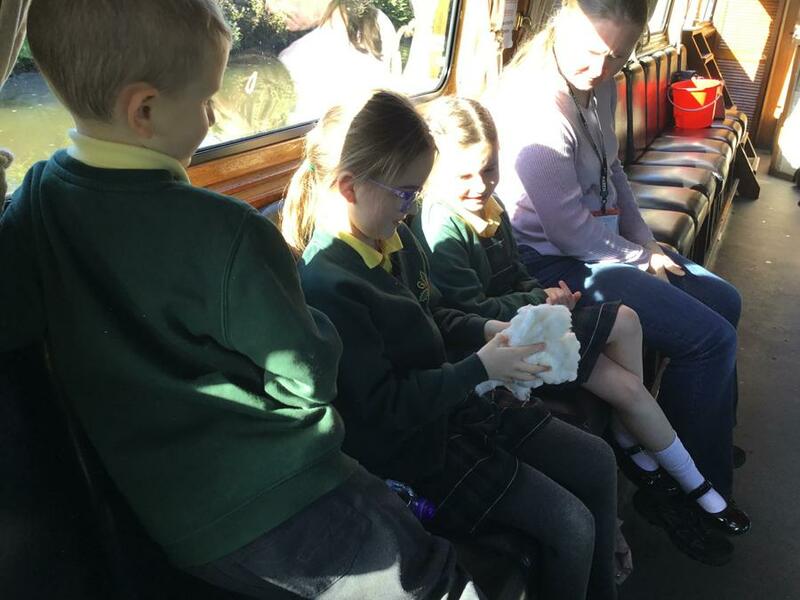 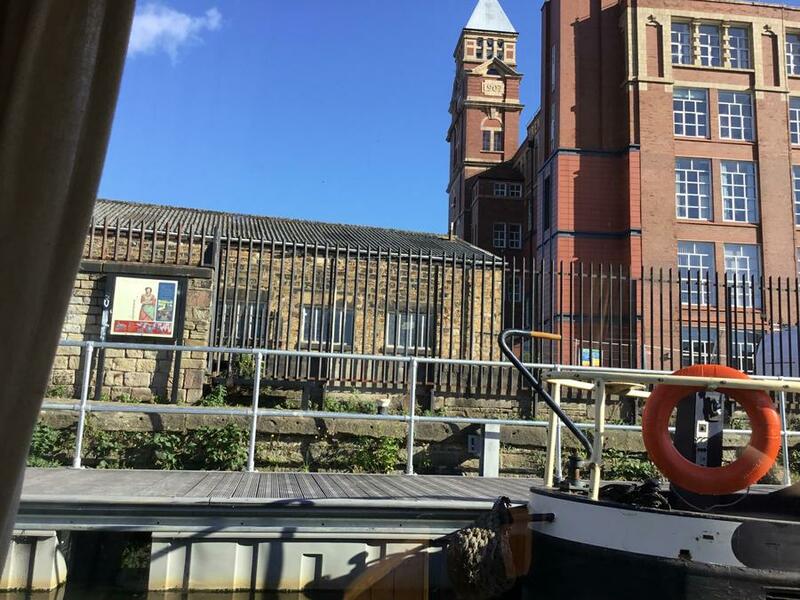 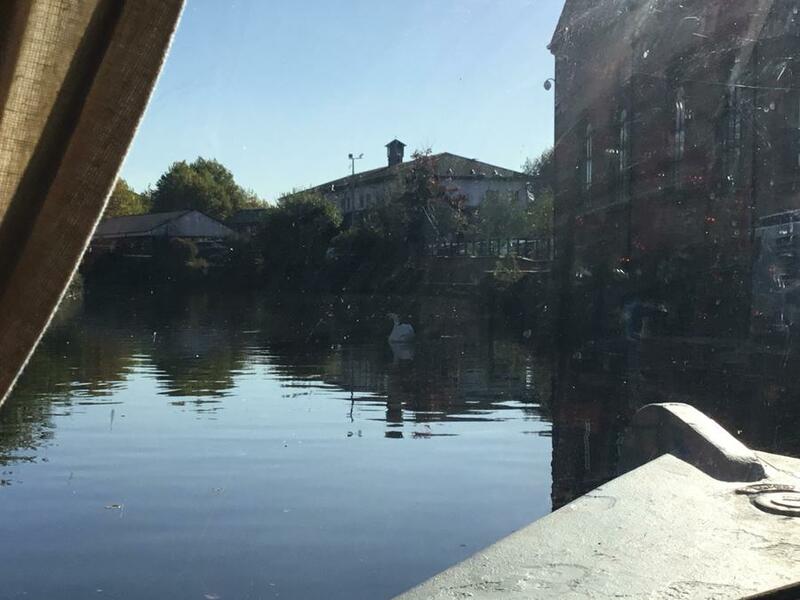 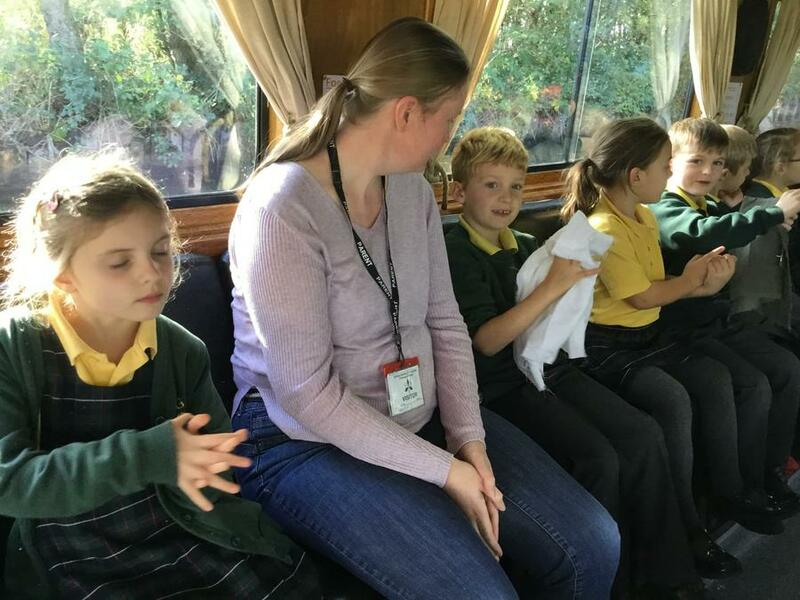 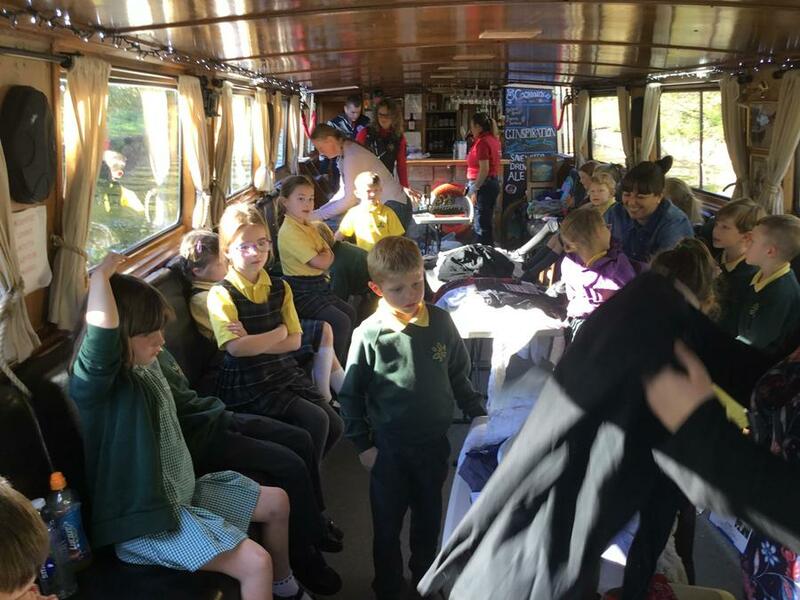 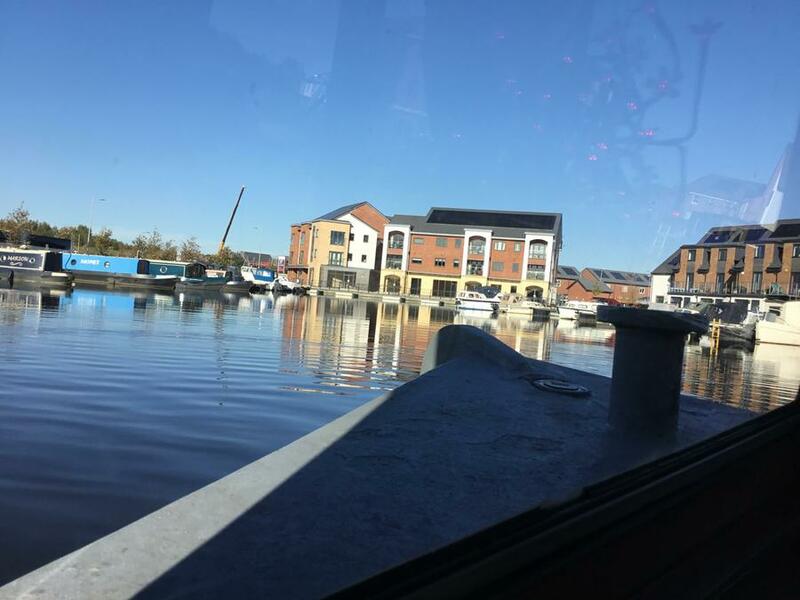 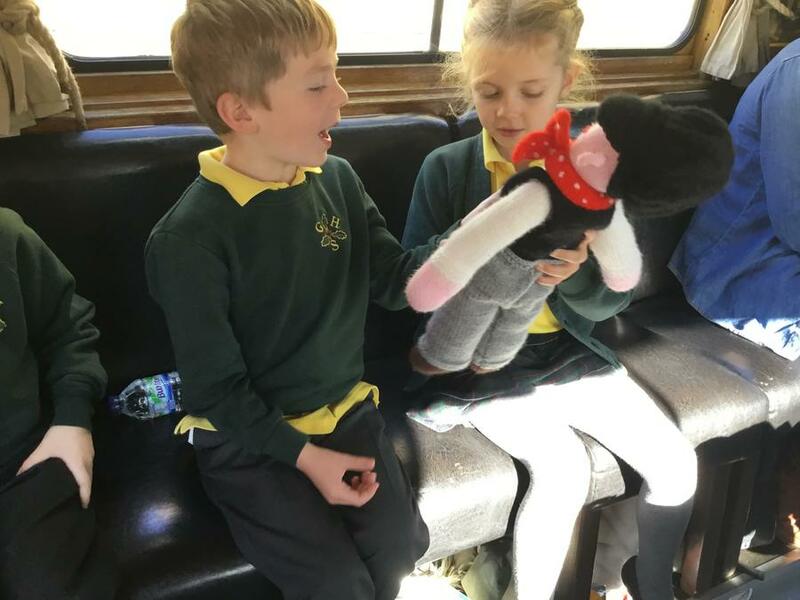 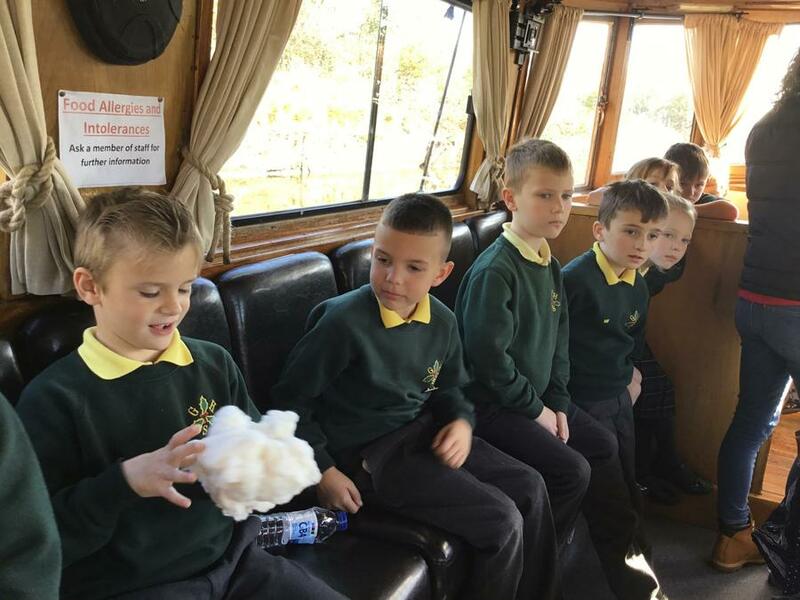 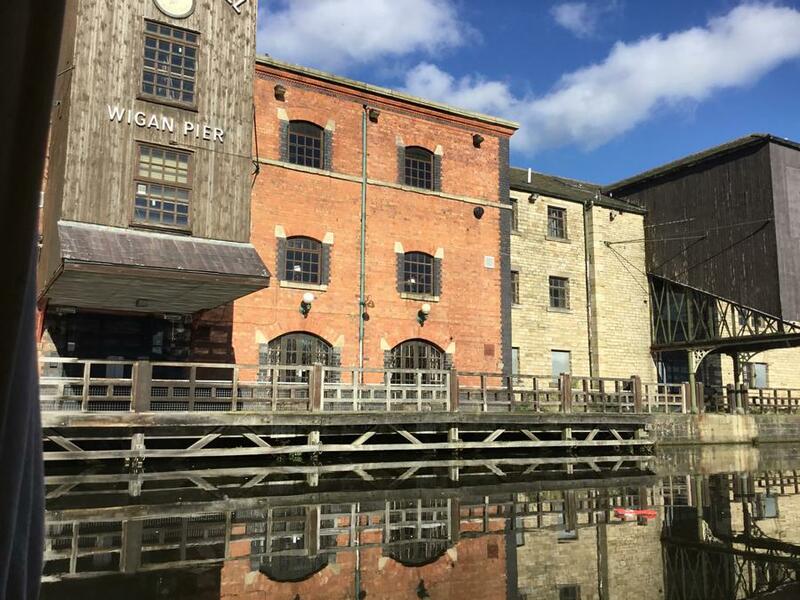 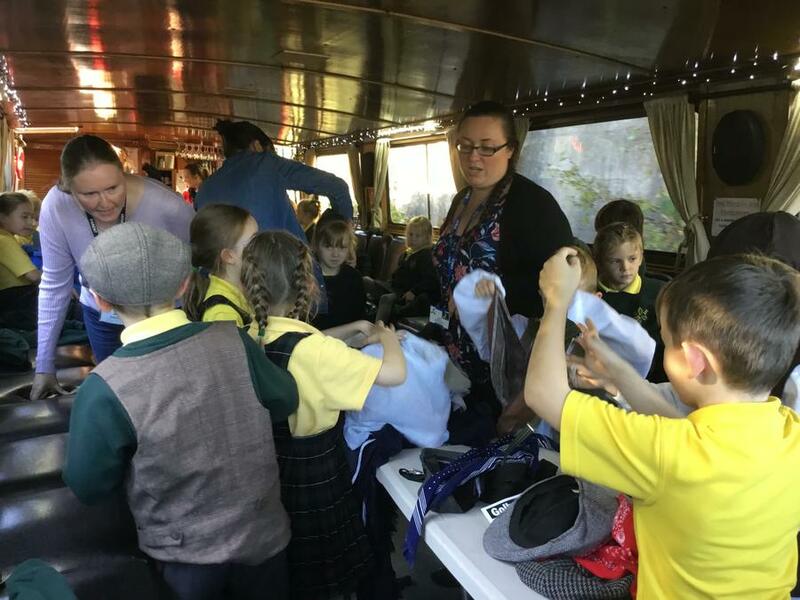 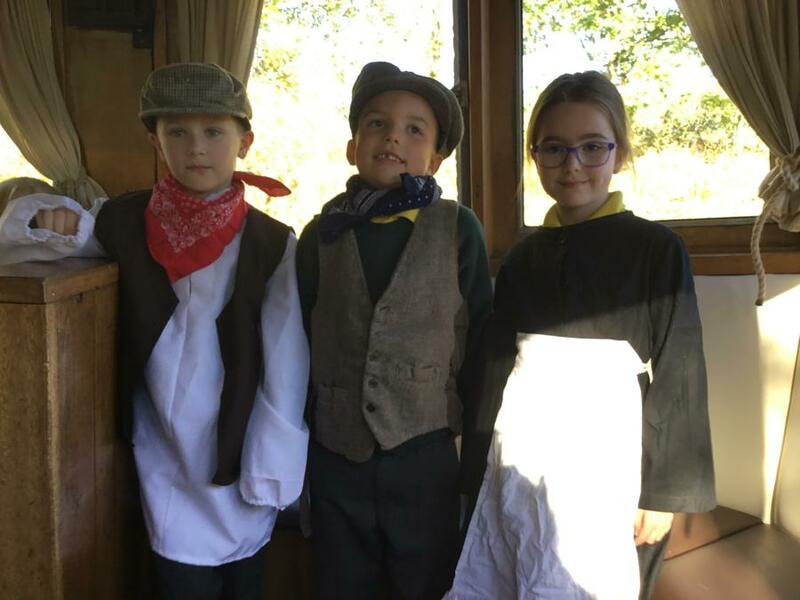 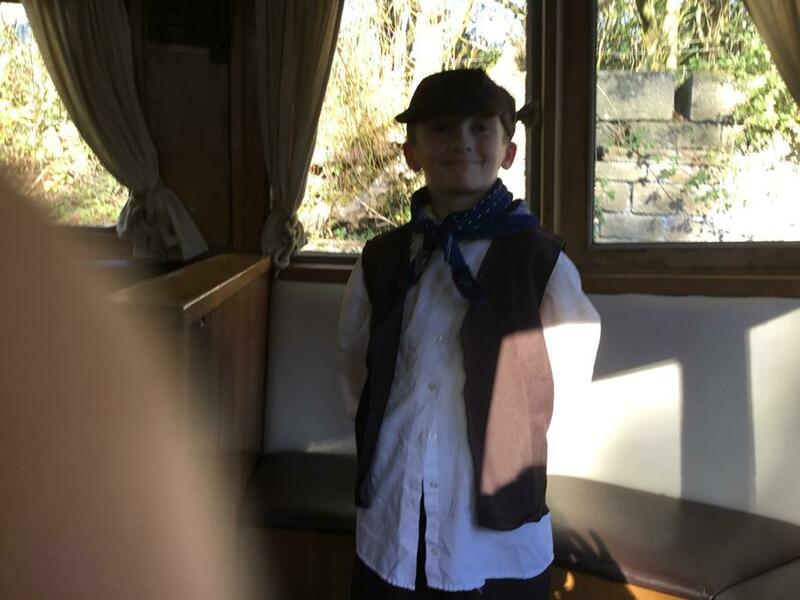 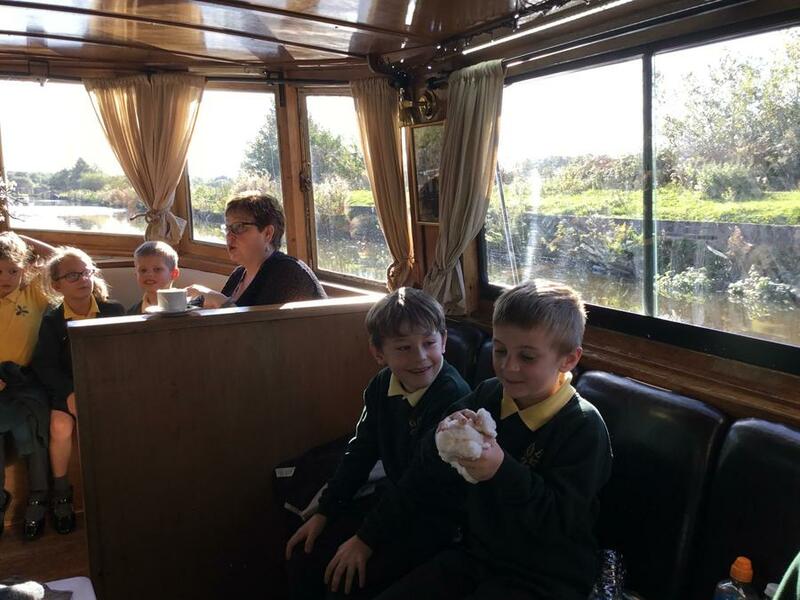 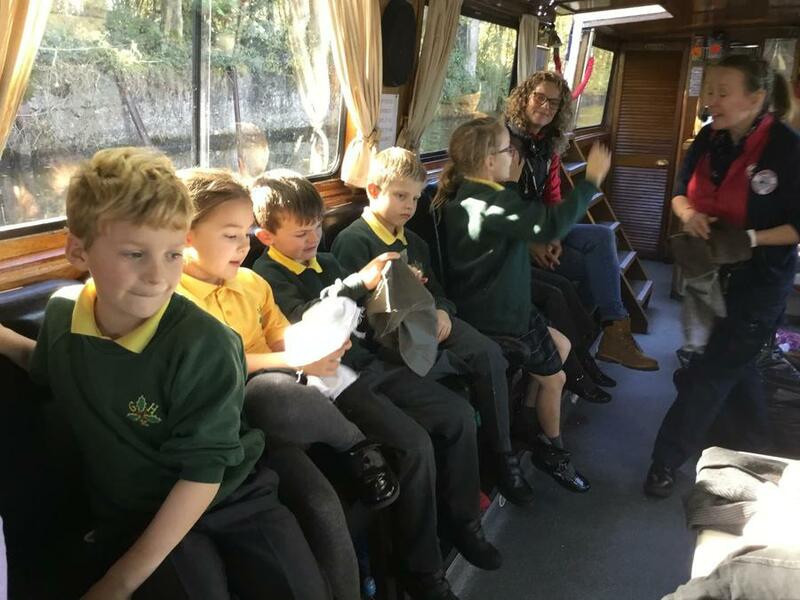 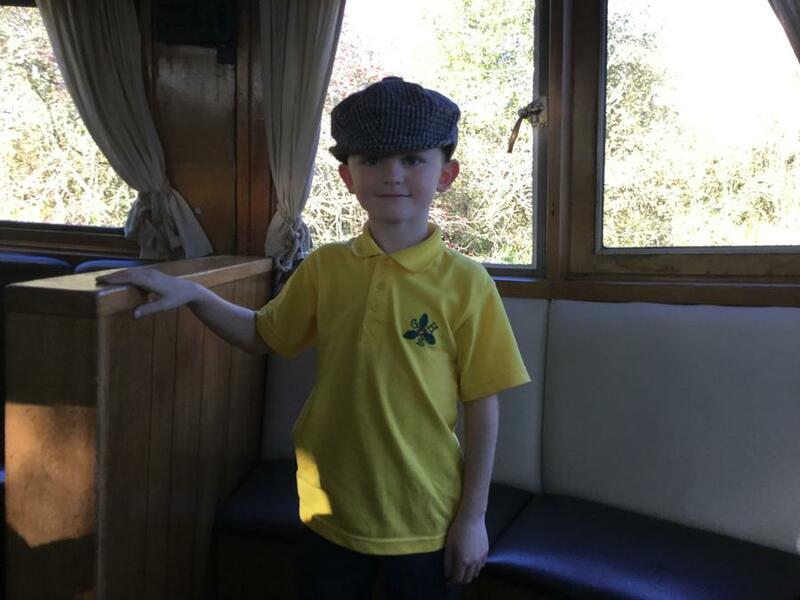 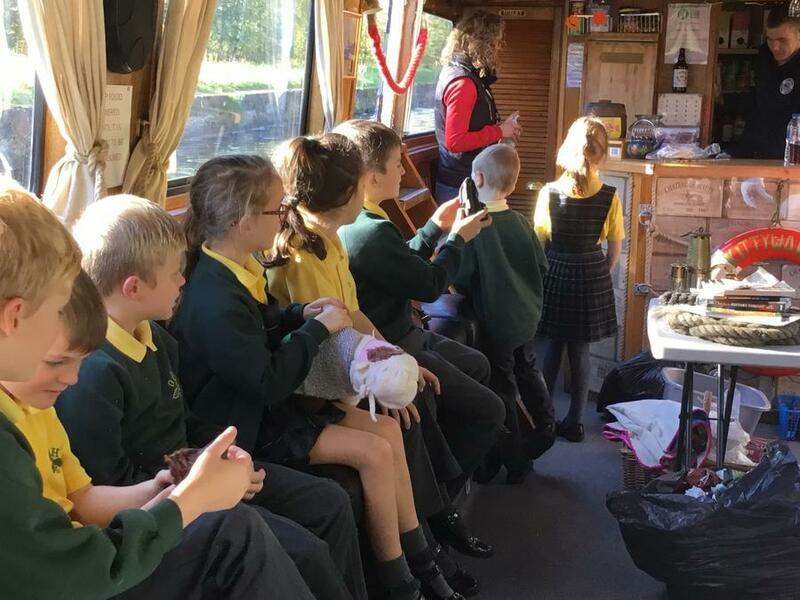 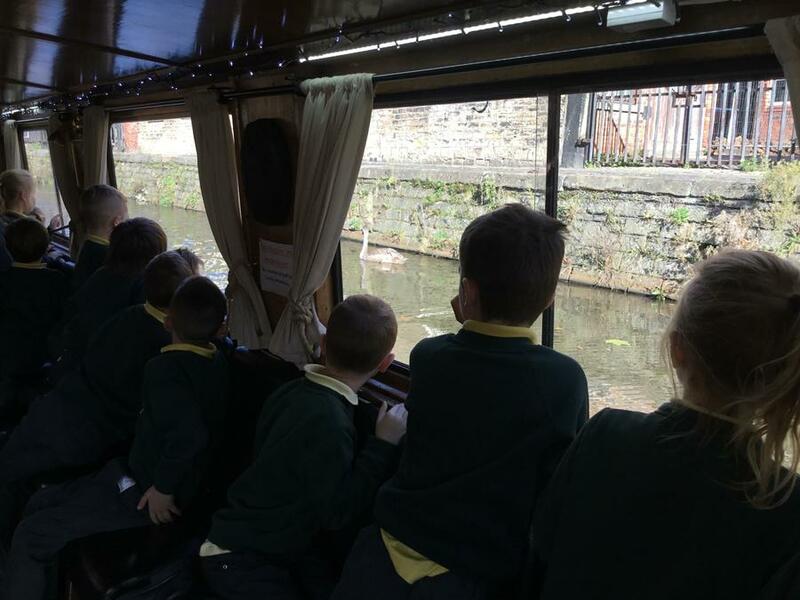 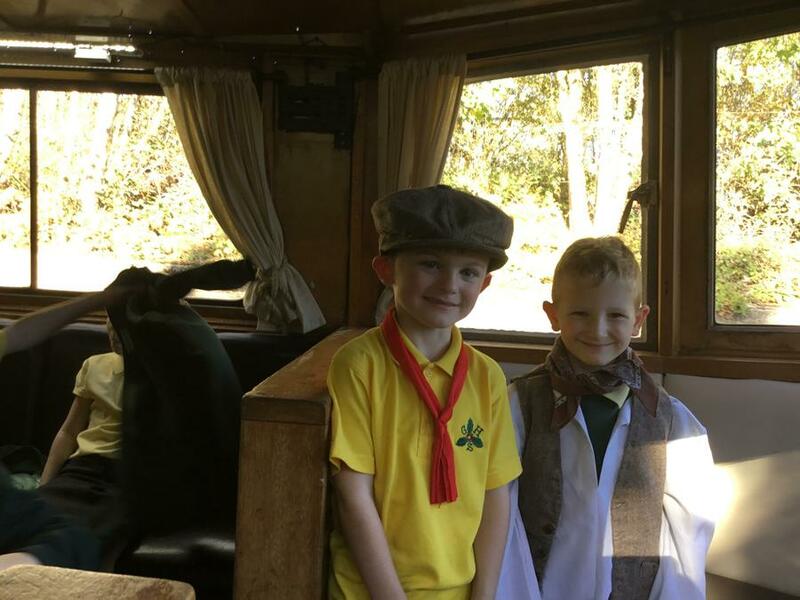 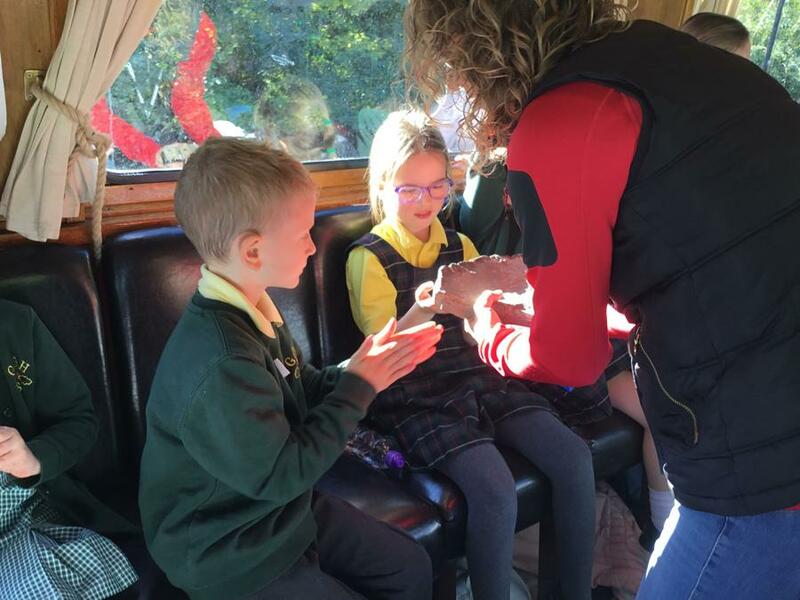 18th Oct 2018 - Kittywake Trip - Learning about things in our local area and what it was like 100 years ago. 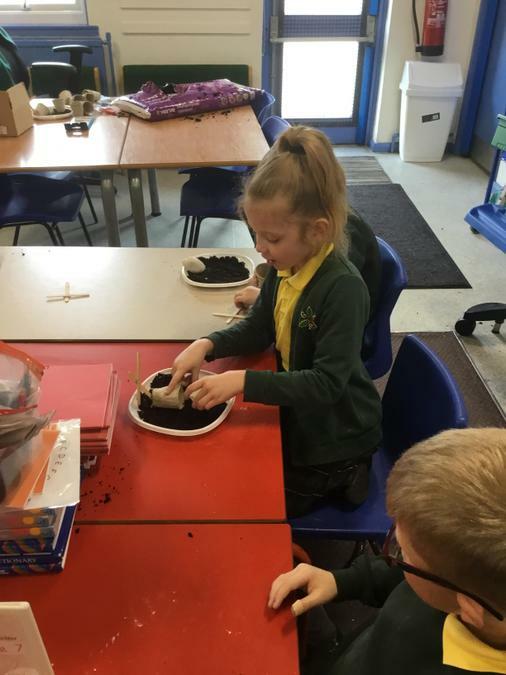 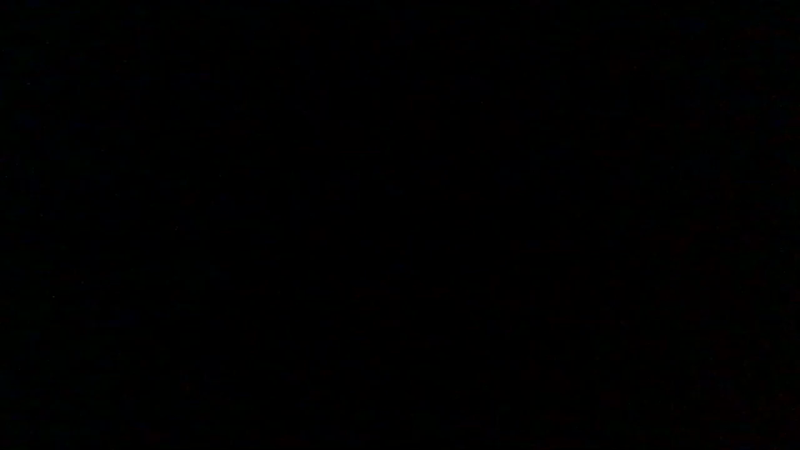 2nd Oct 2018 - What do plants need to grow? 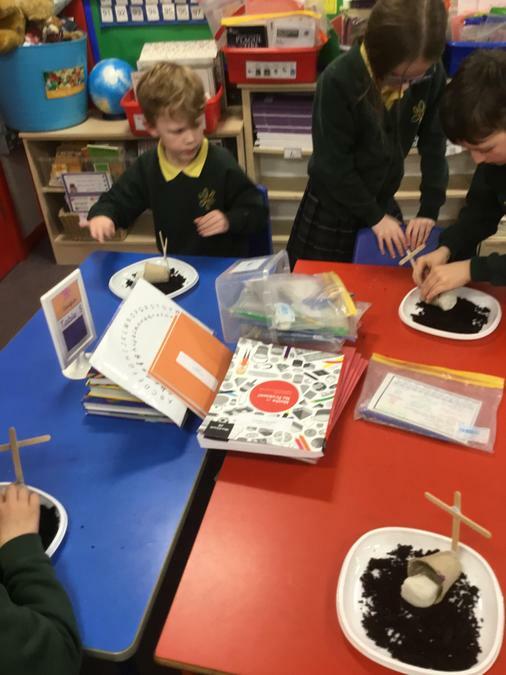 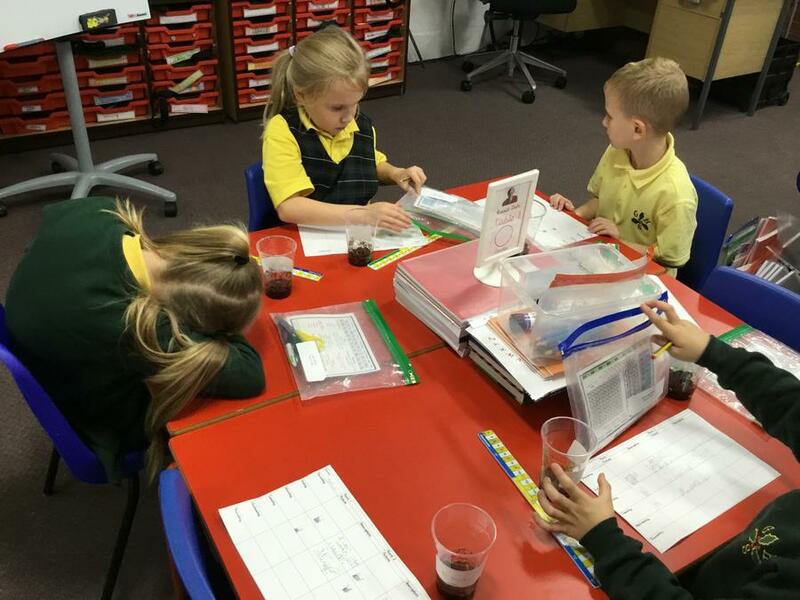 The children have been growing cress seeds, finding out if they can grow without light, soil or water. 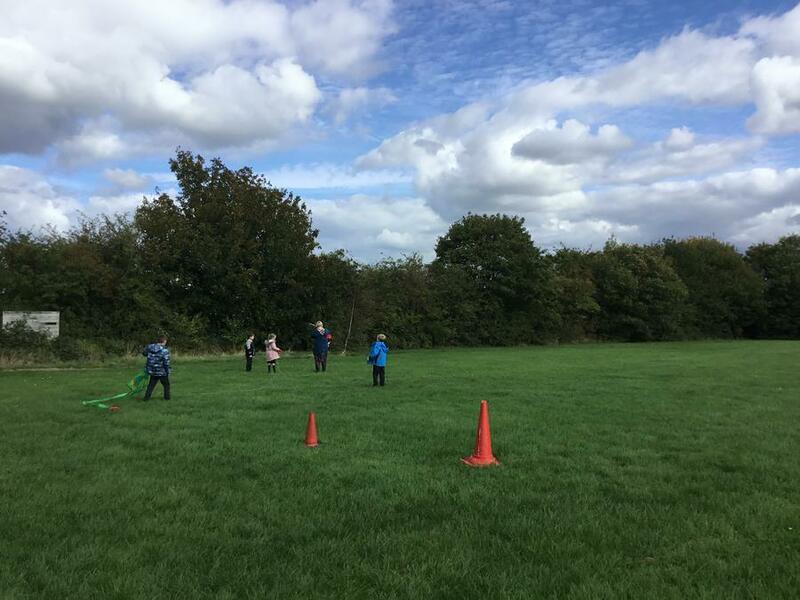 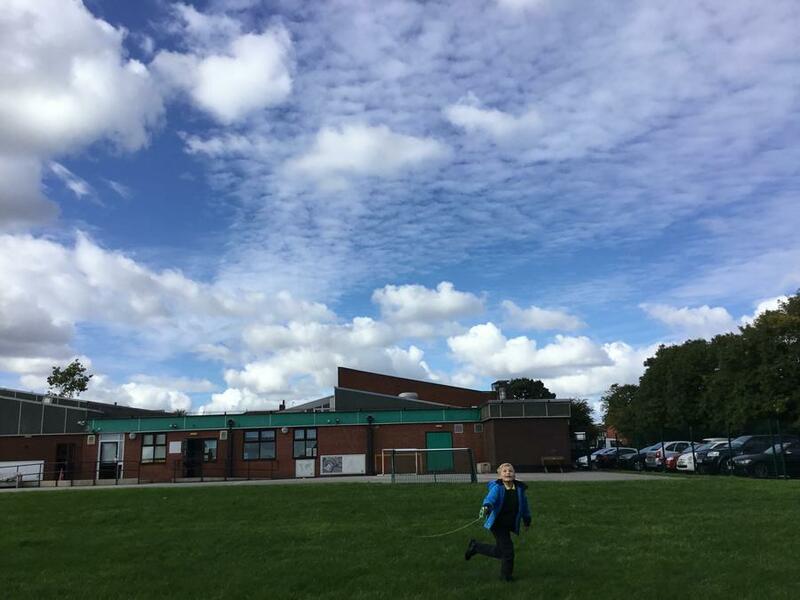 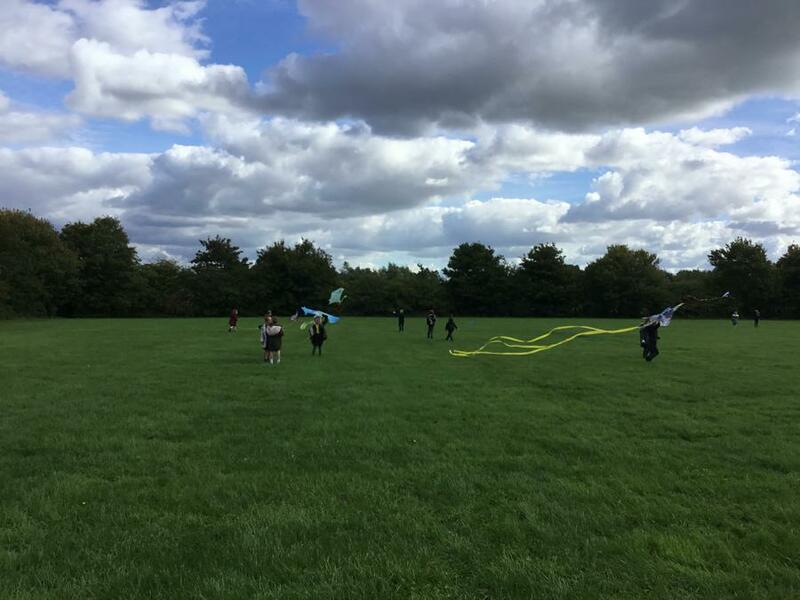 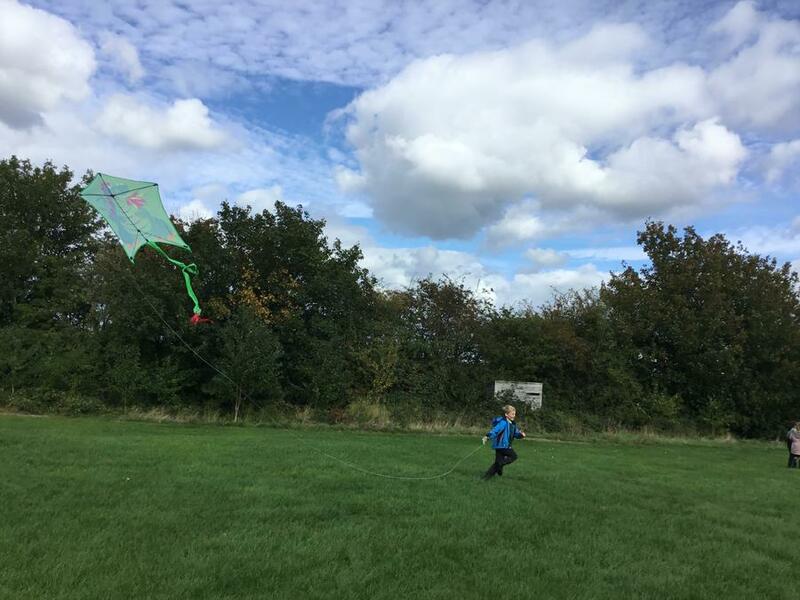 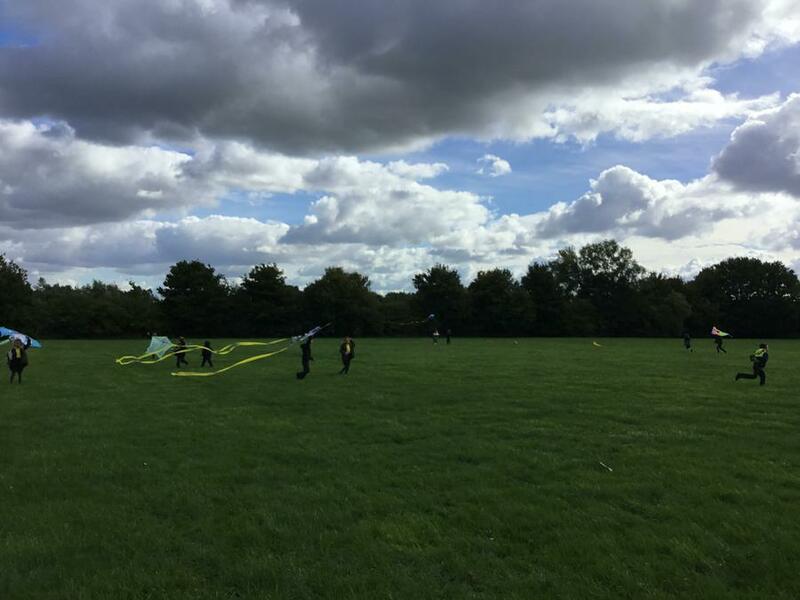 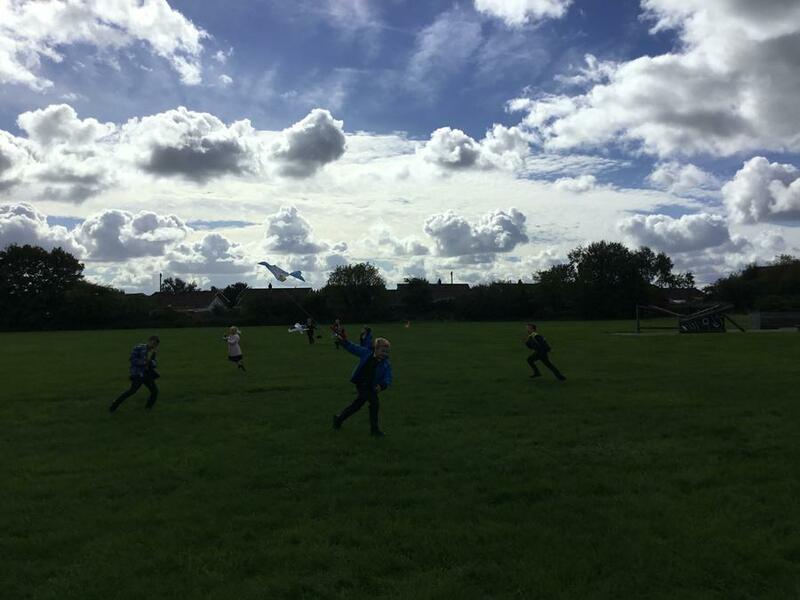 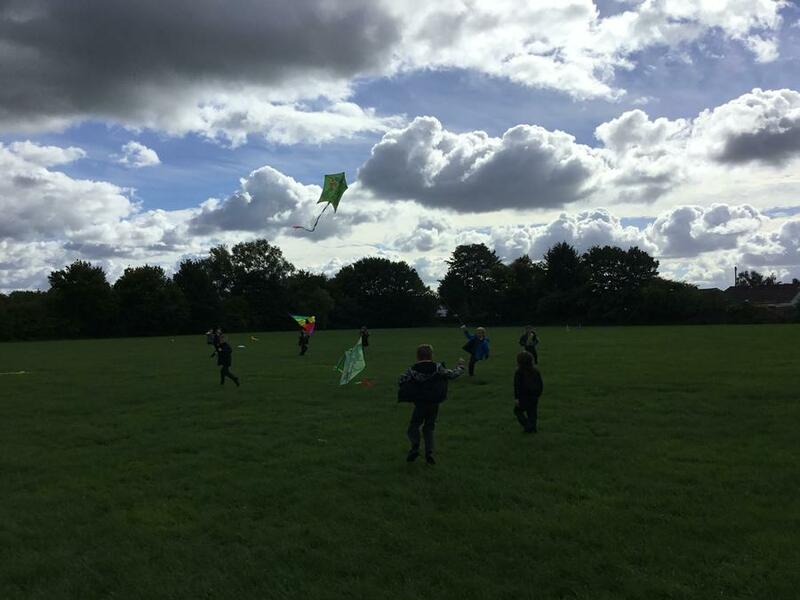 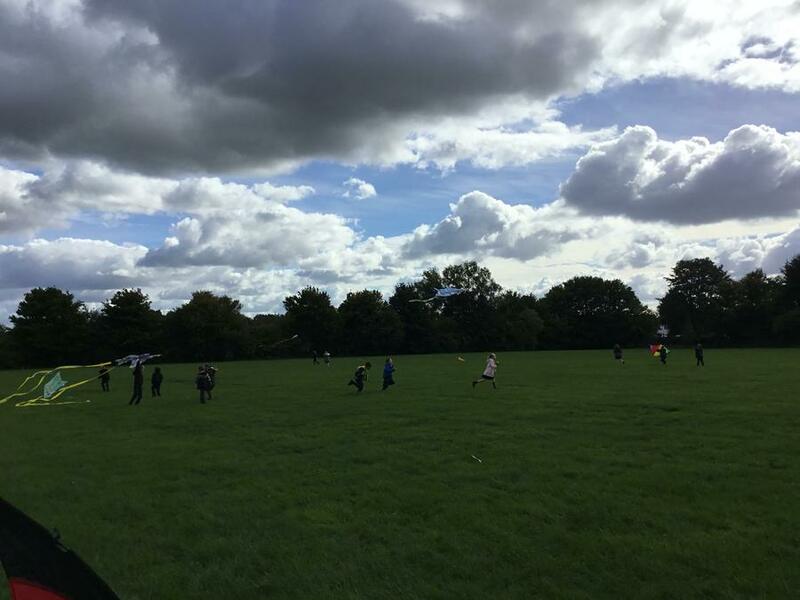 24th Sep 2018 - Let's Go Fly A Kite! 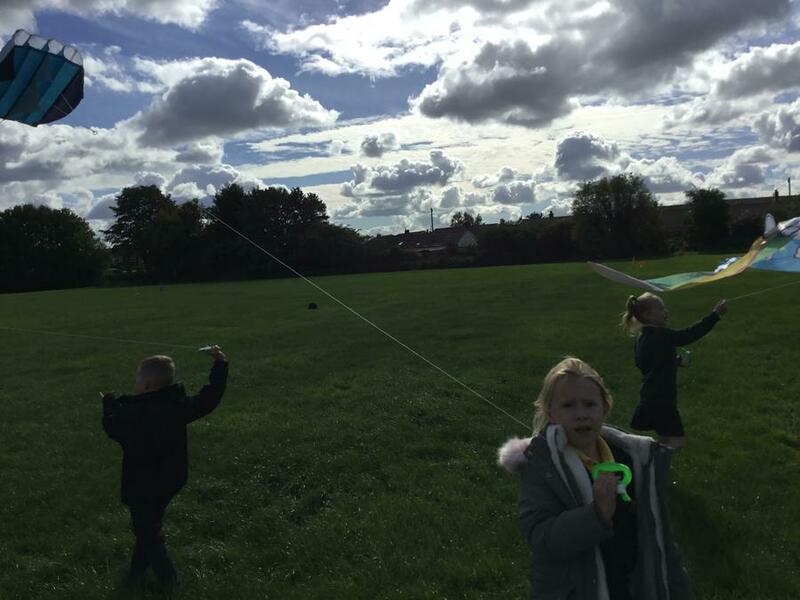 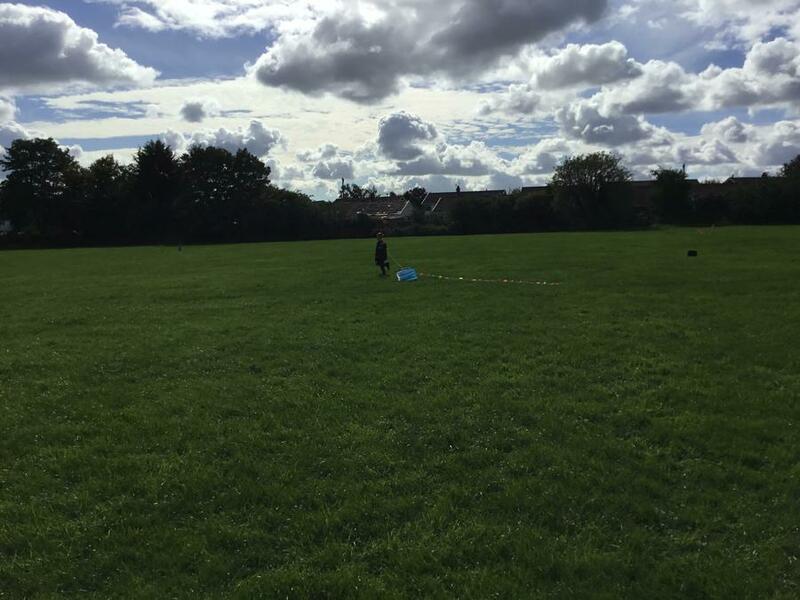 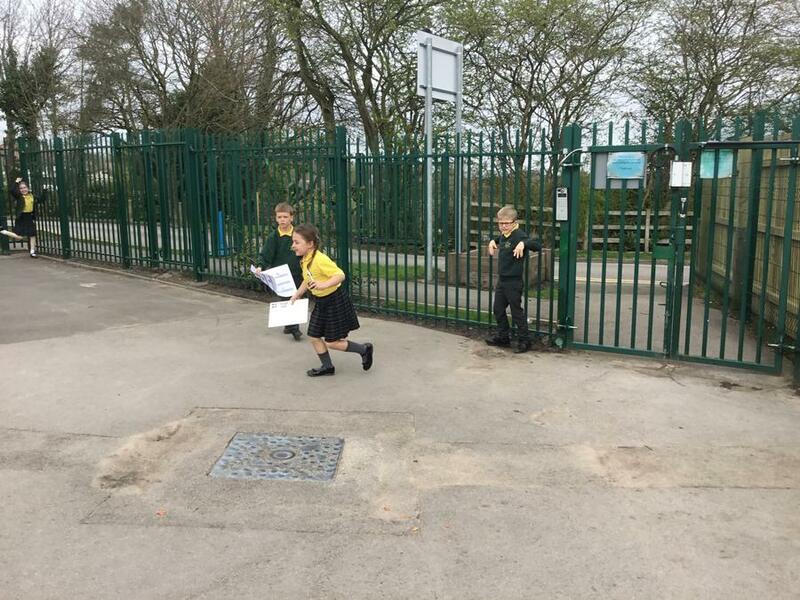 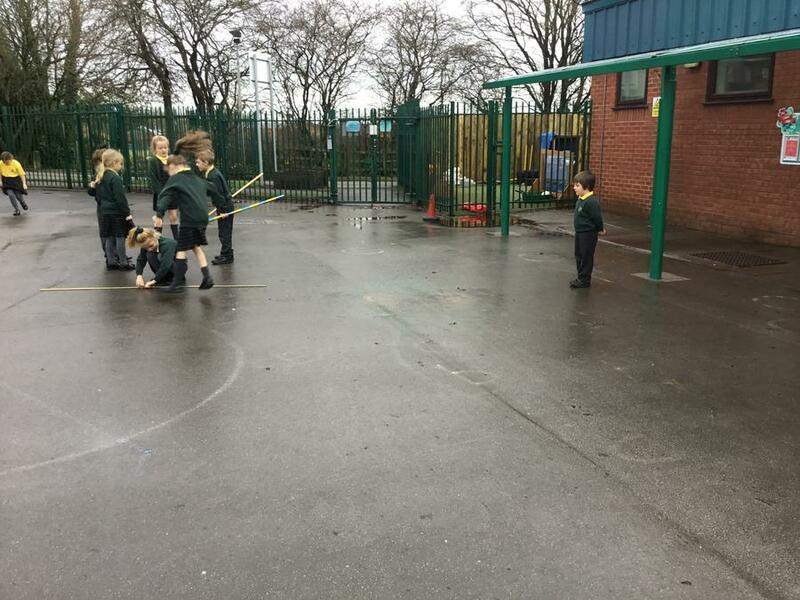 The children practised flying their kites to get hands on experience to help them with their instructional writing.